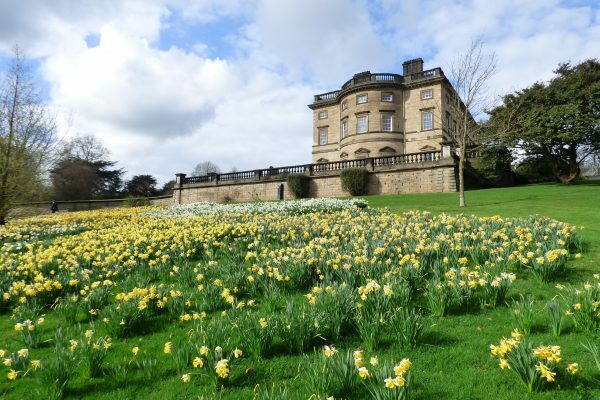 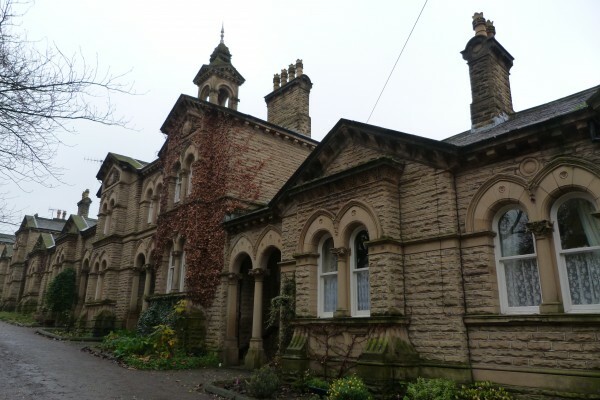 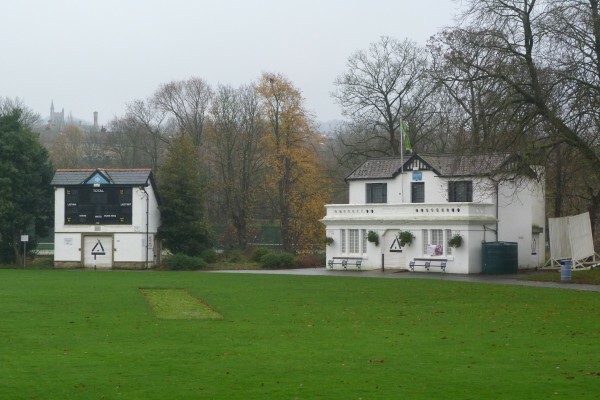 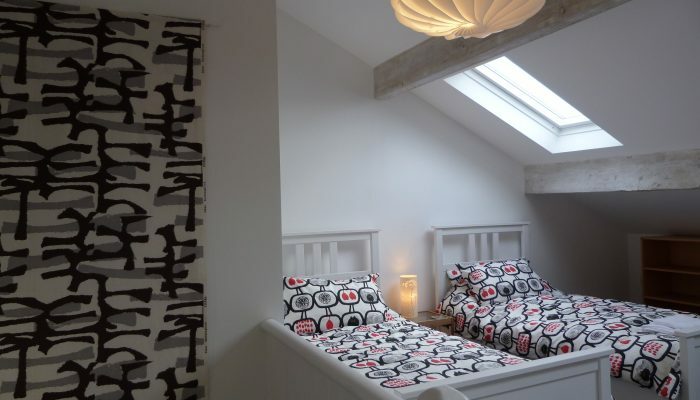 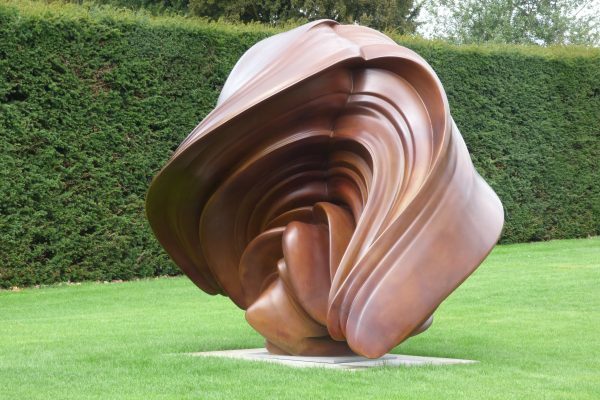 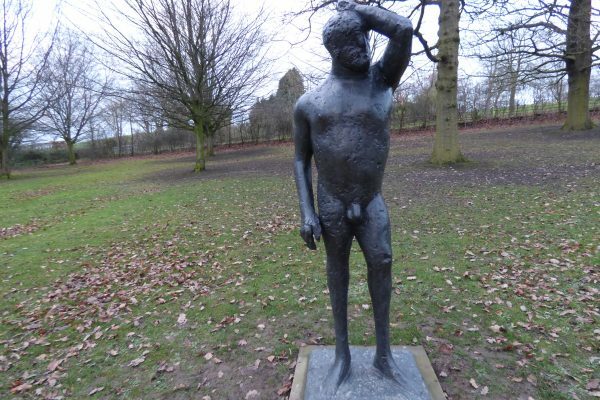 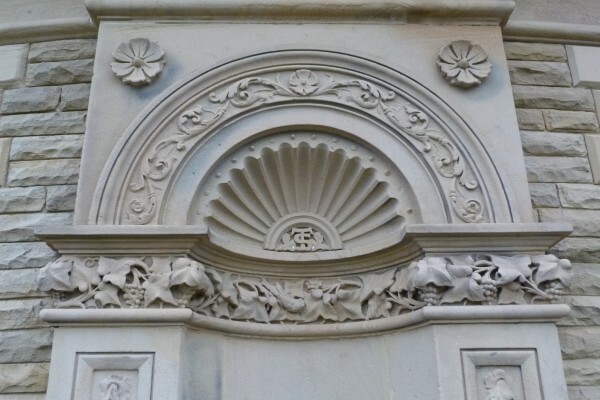 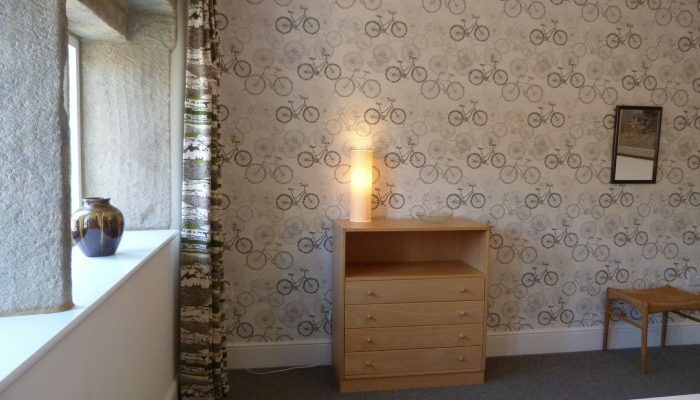 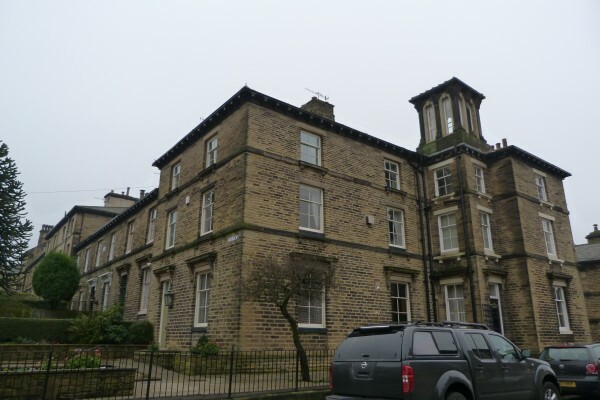 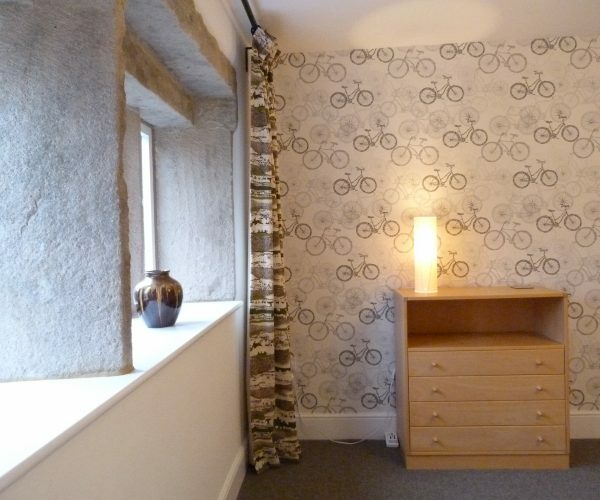 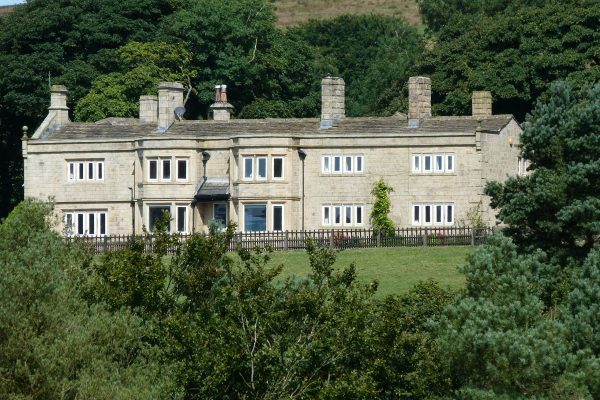 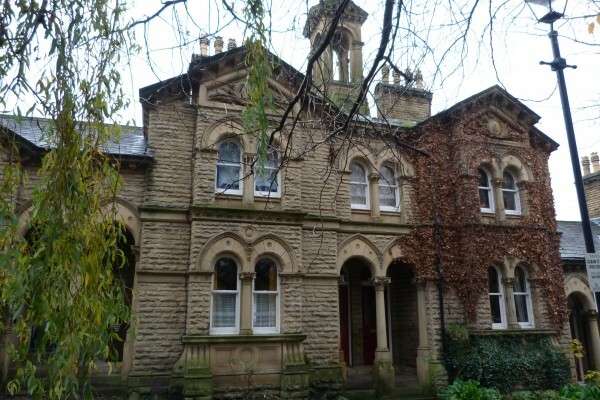 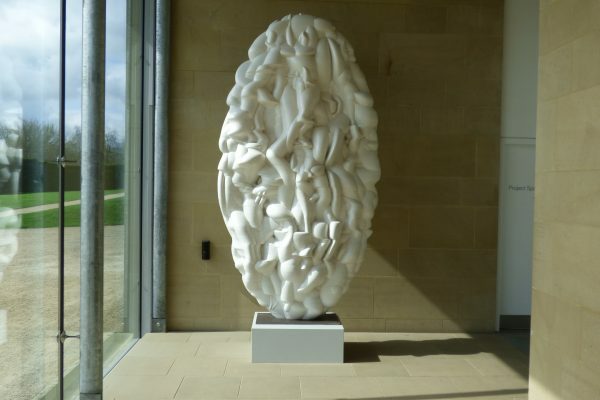 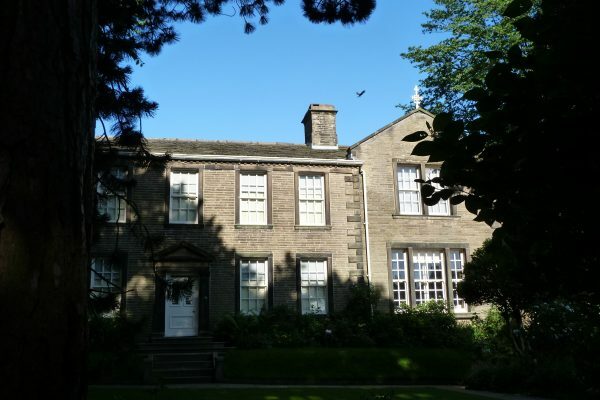 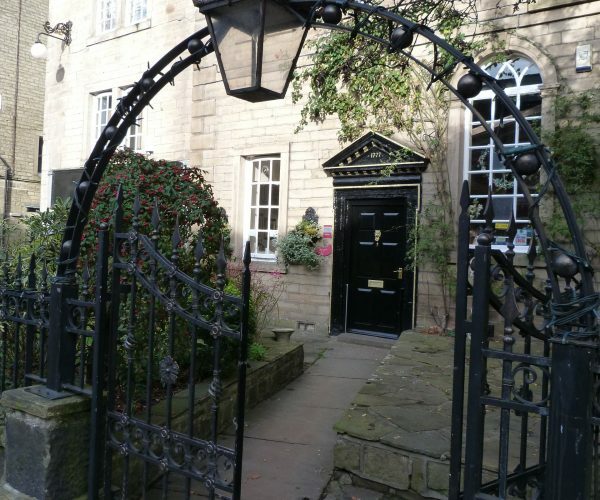 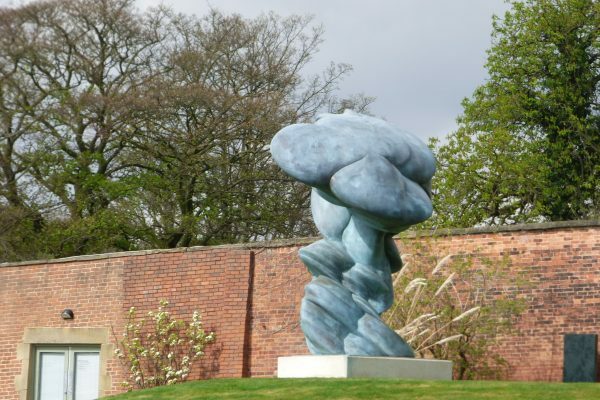 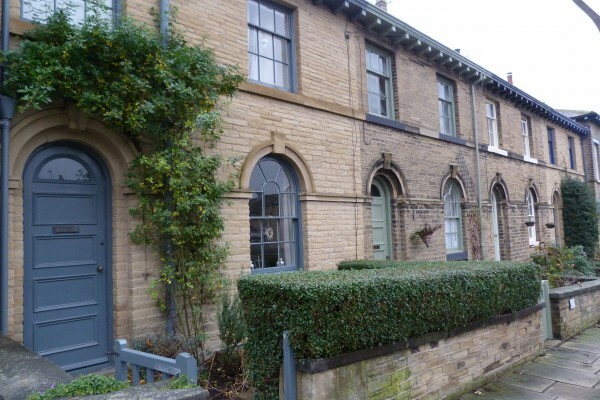 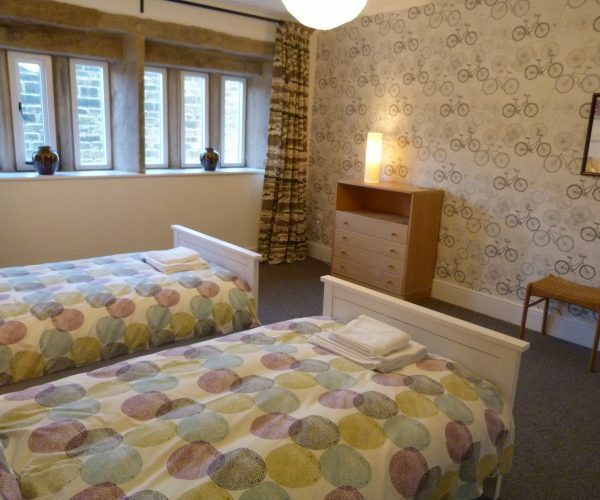 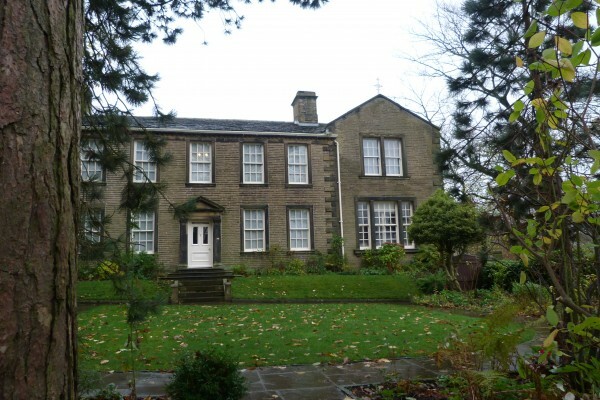 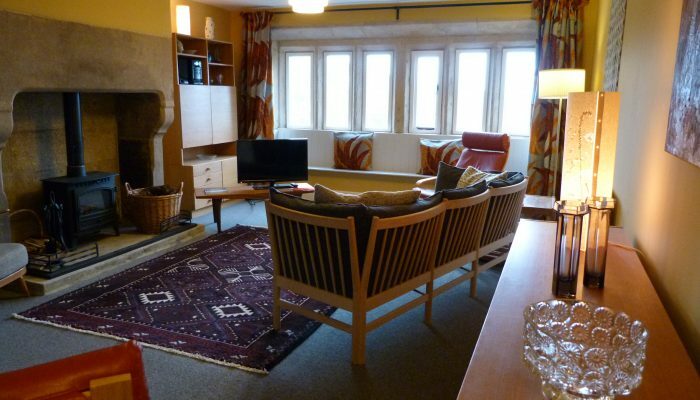 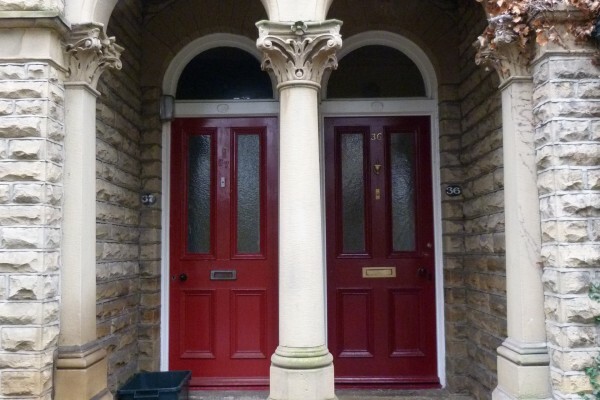 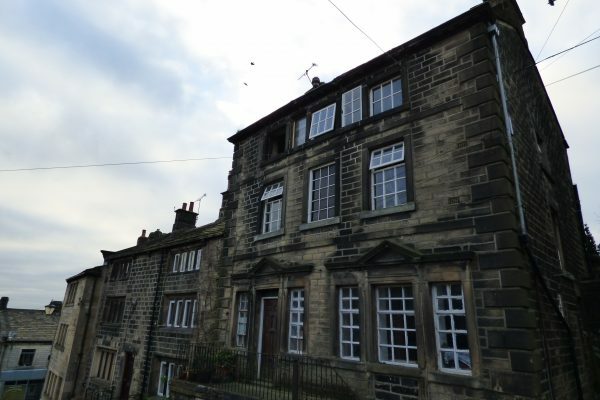 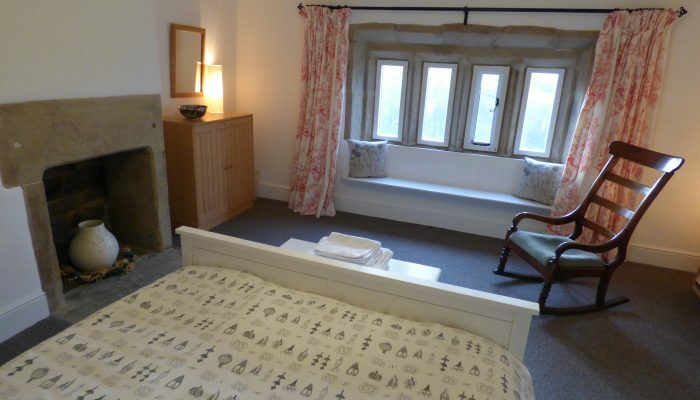 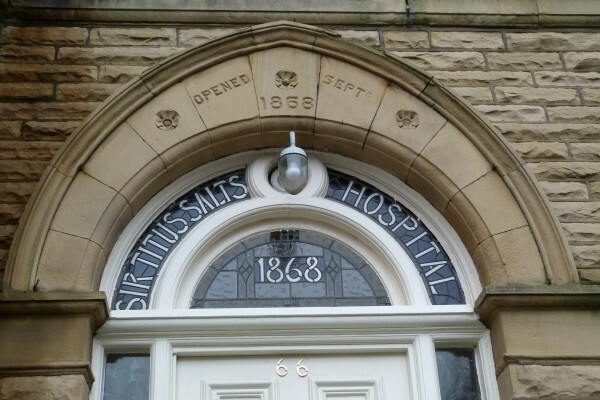 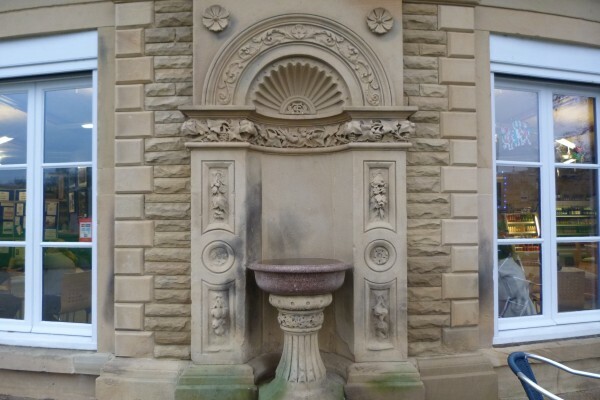 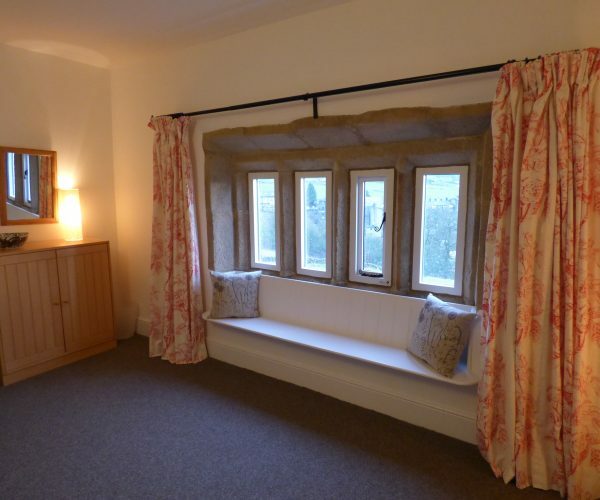 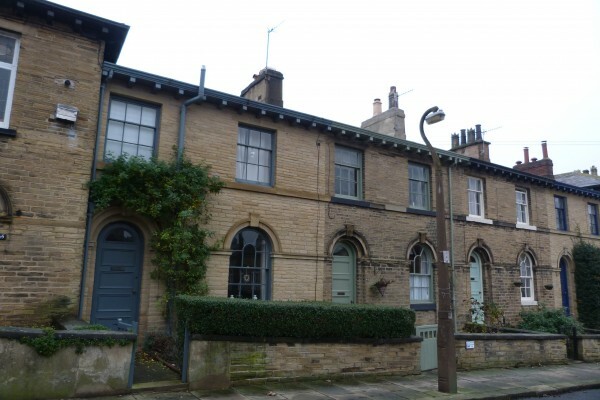 Looking for a special place to stay in Yorkshire? 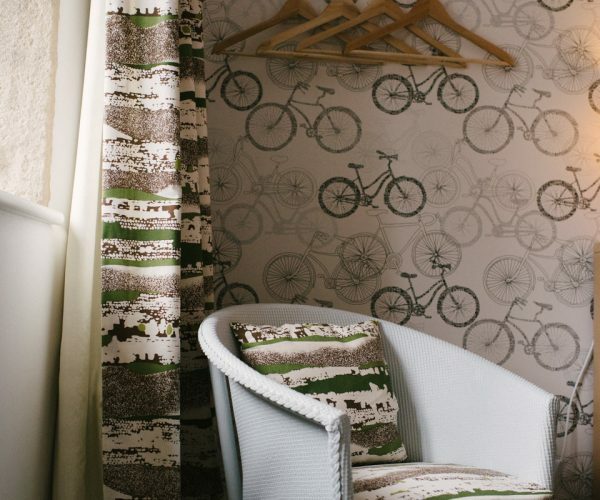 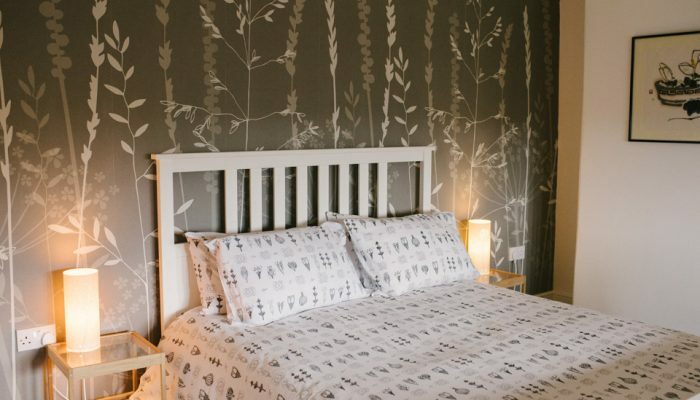 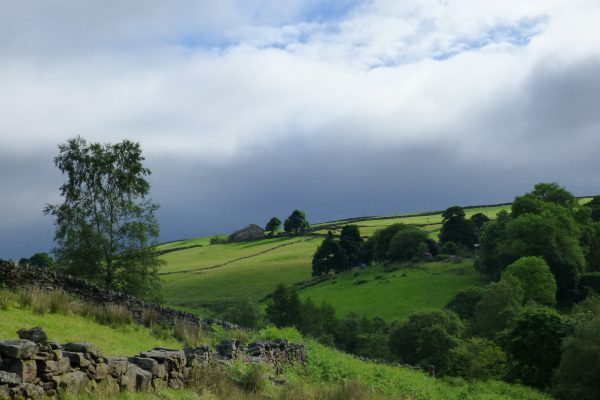 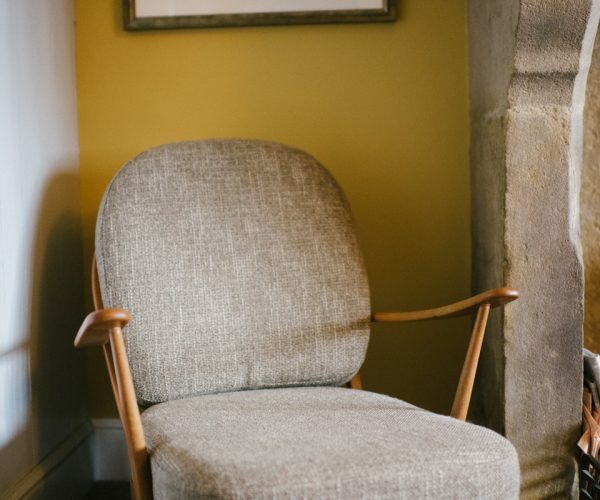 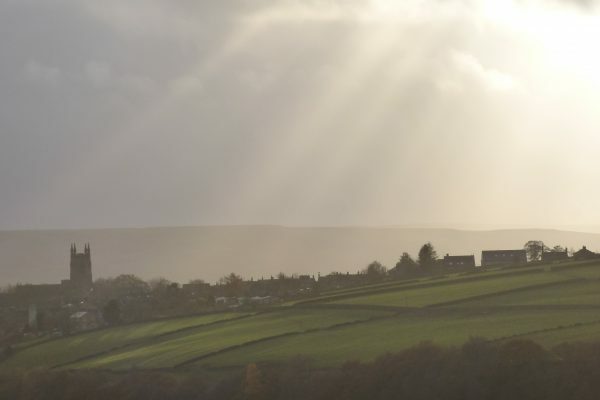 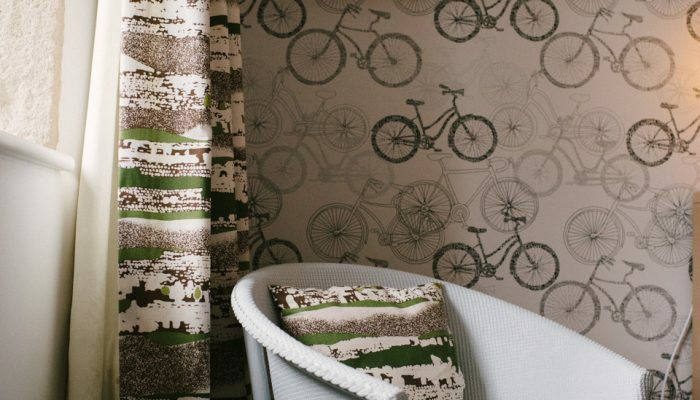 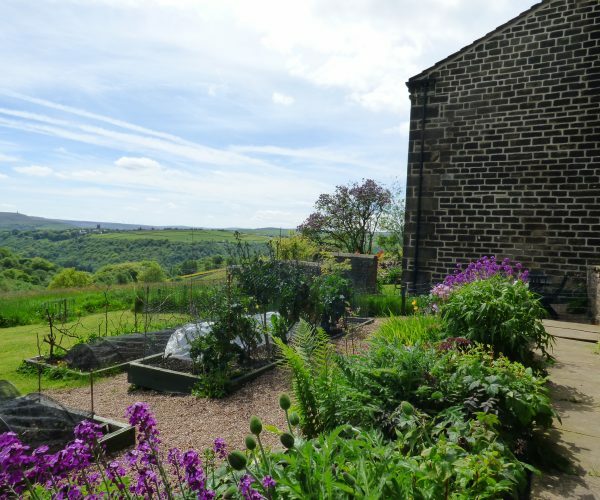 Perched on a hill above the picturesque town of Hebden Bridge, not far from Haworth, Elmet Farmhouse is the perfect base for exploring the Yorkshire Dales. 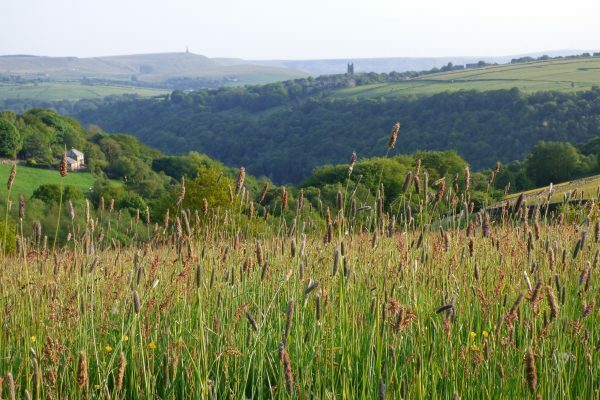 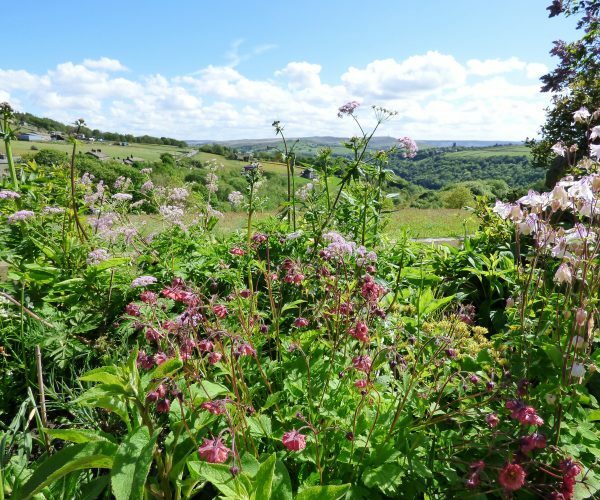 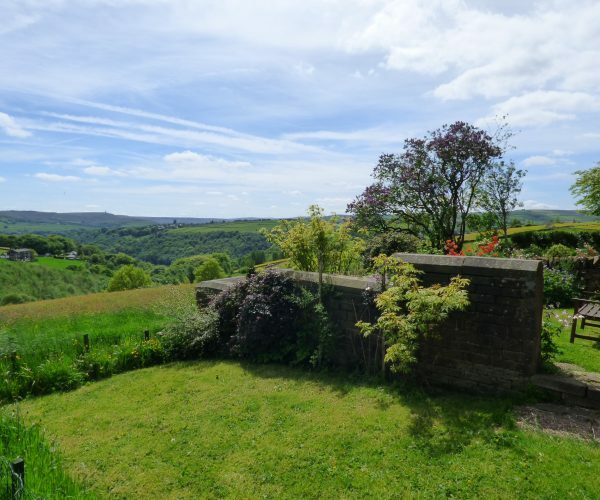 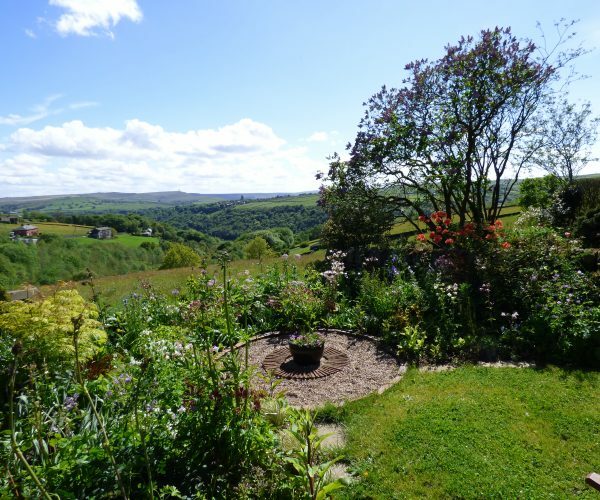 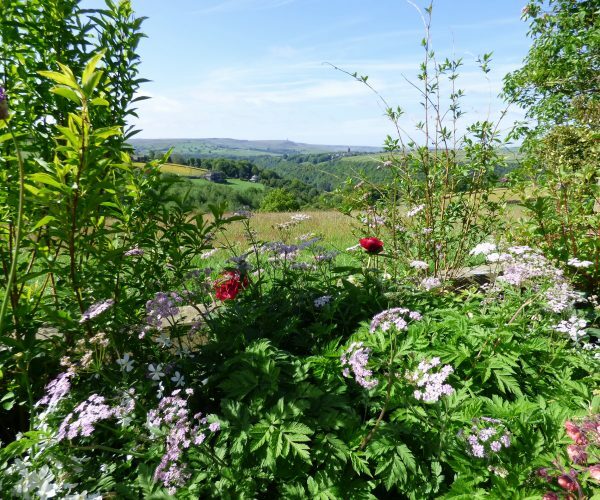 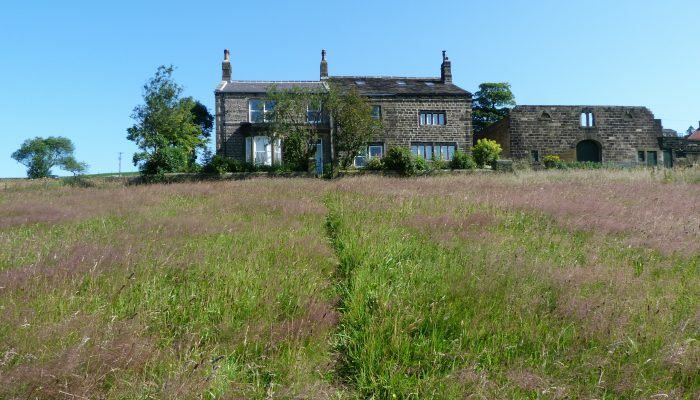 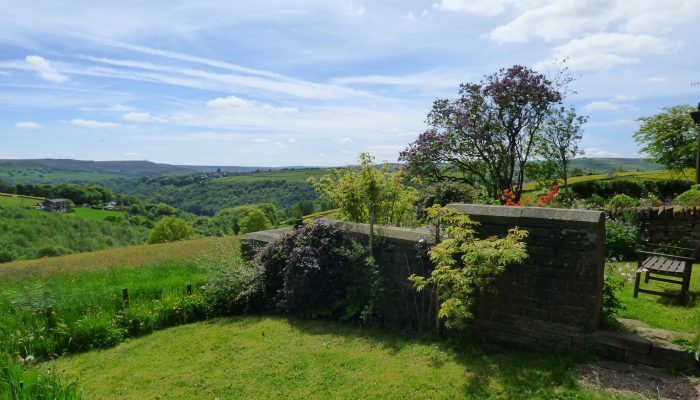 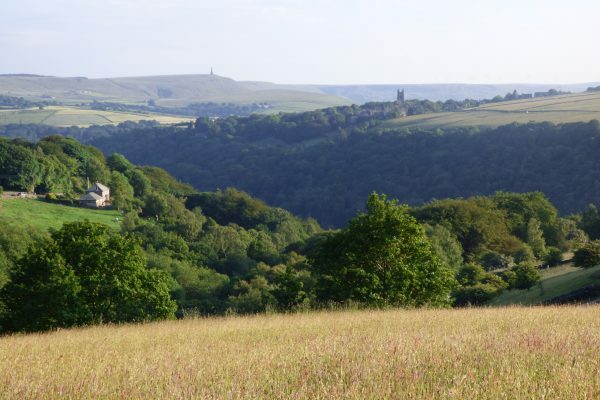 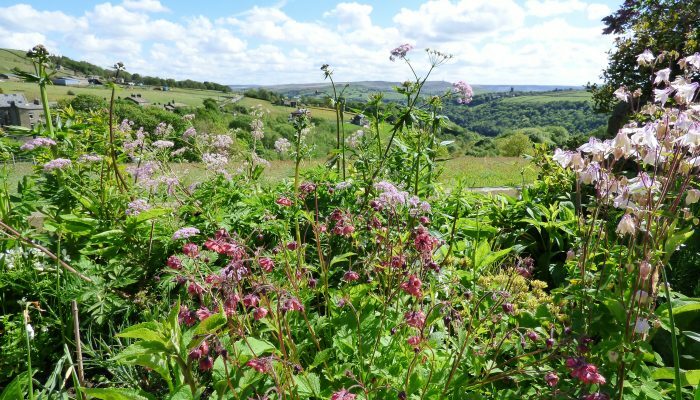 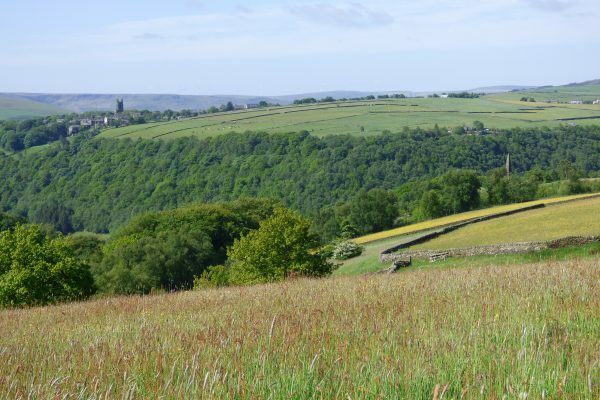 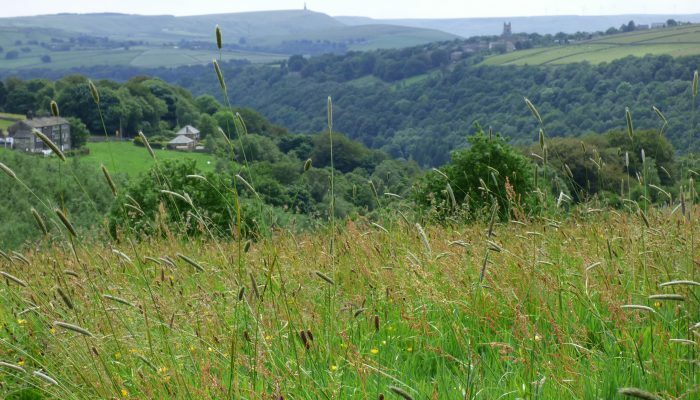 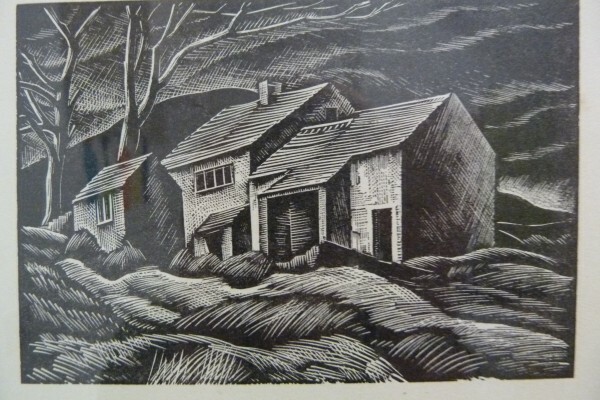 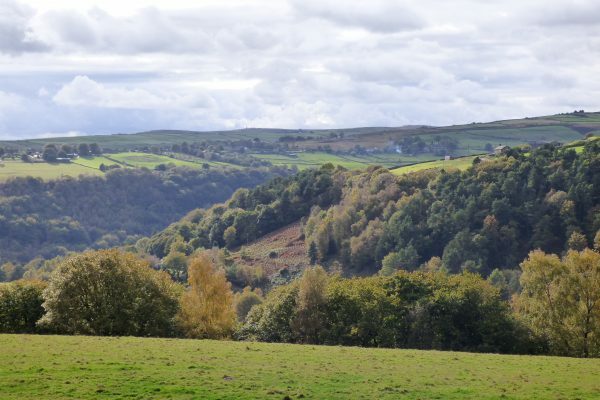 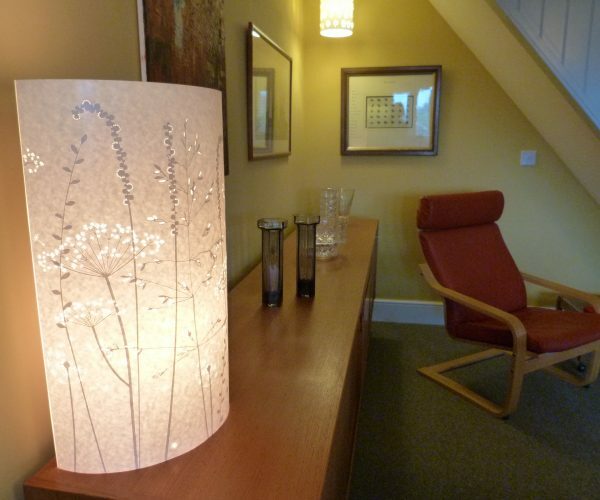 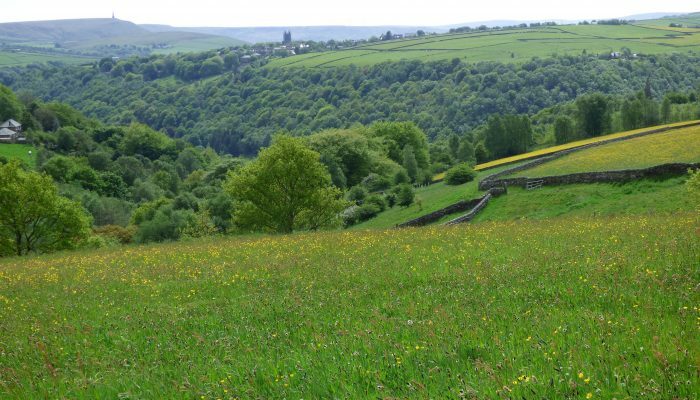 Surrounded by hay meadows in the hilltop village of Pecket Well,the cottage has breathtaking views across the steep wooded valley of Hardcastle Crags towards the ancient village of Heptonstall. 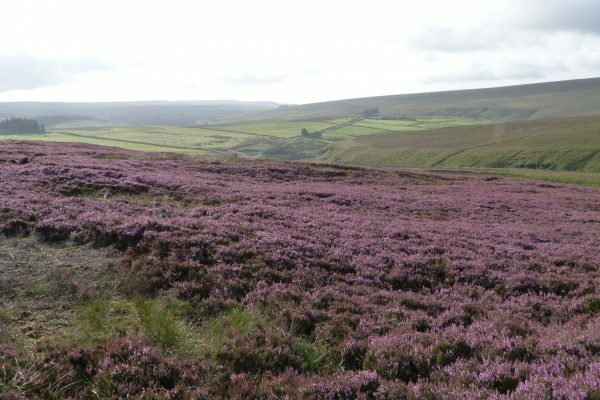 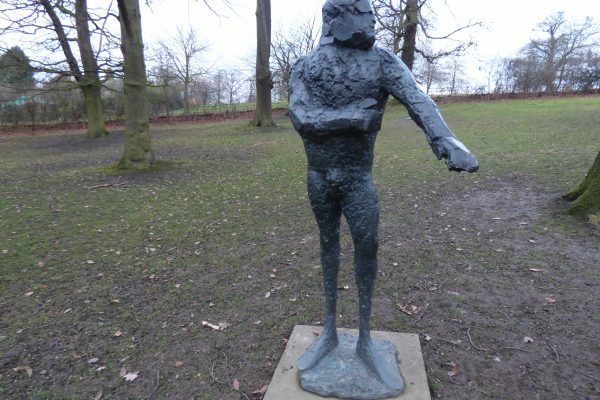 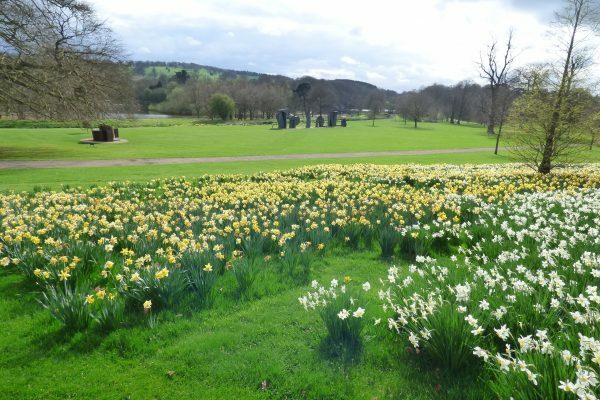 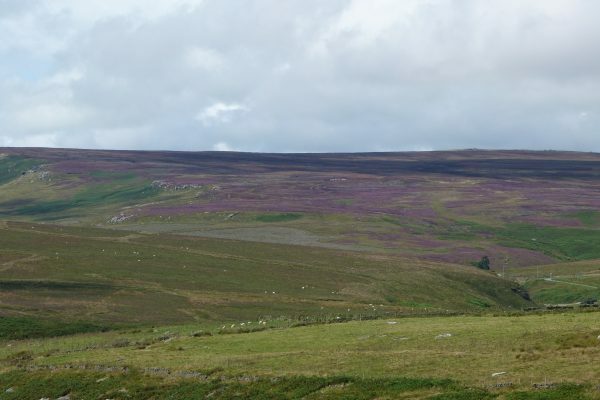 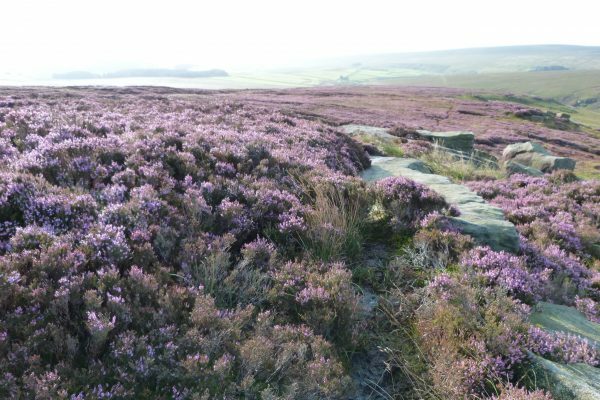 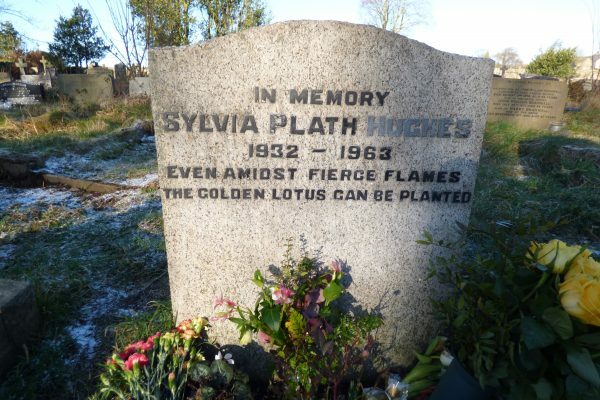 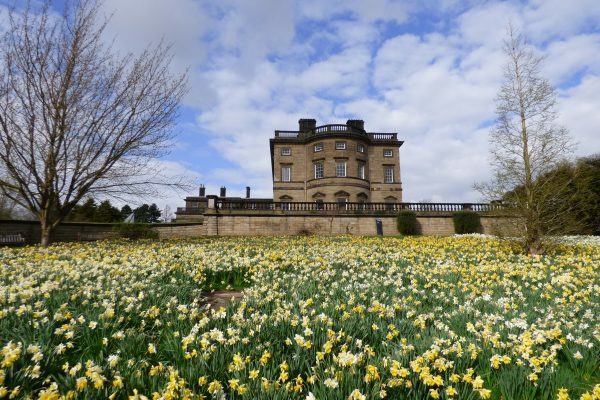 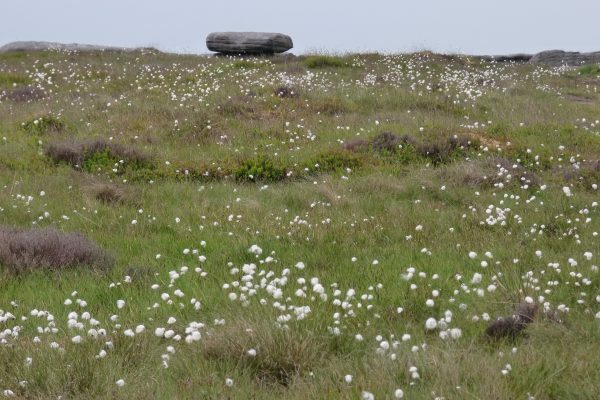 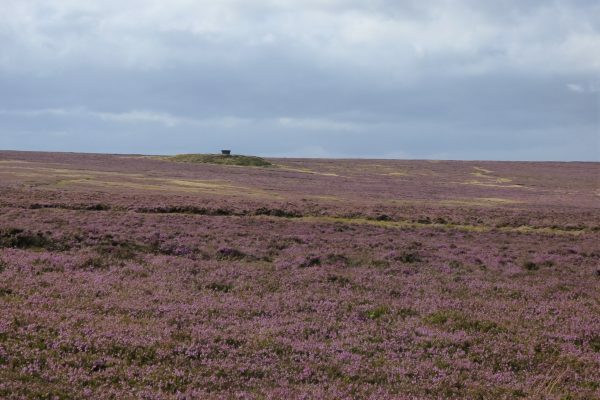 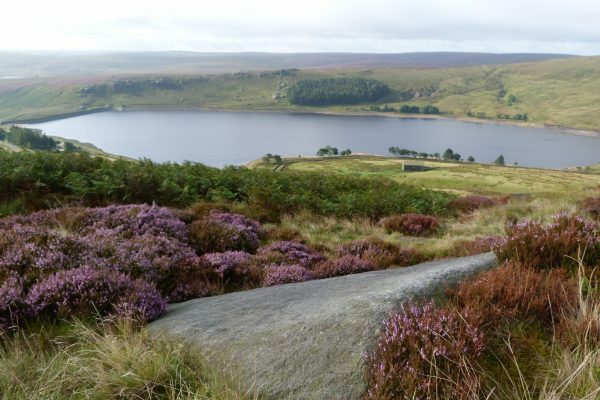 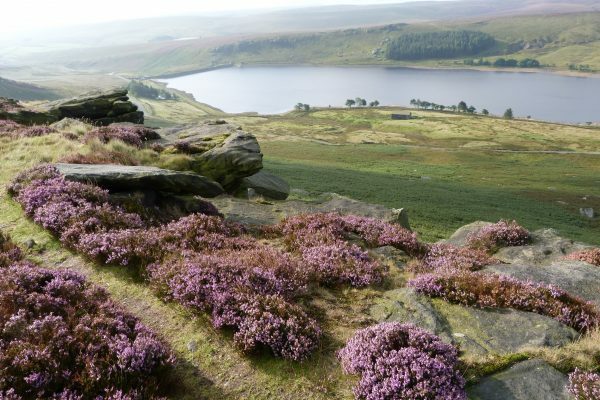 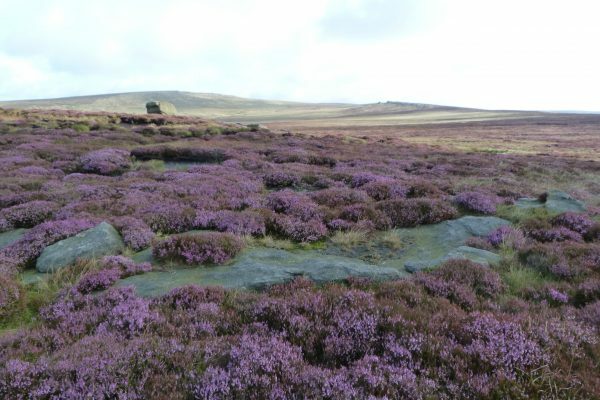 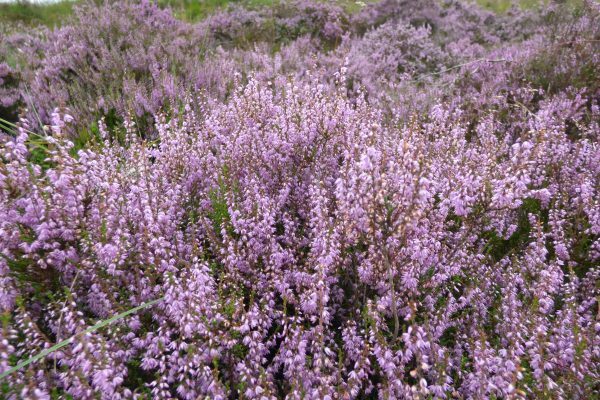 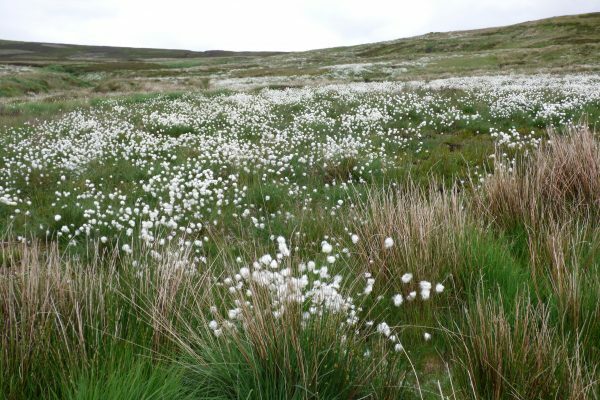 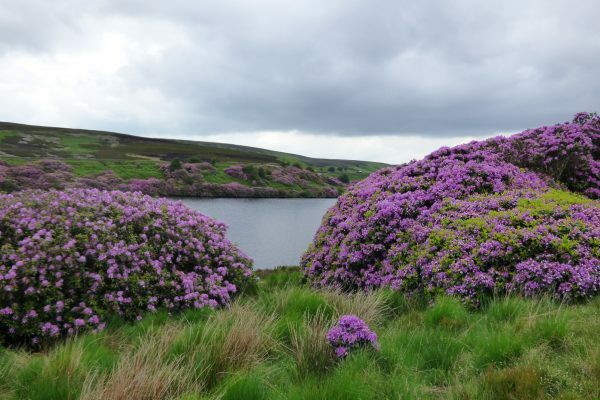 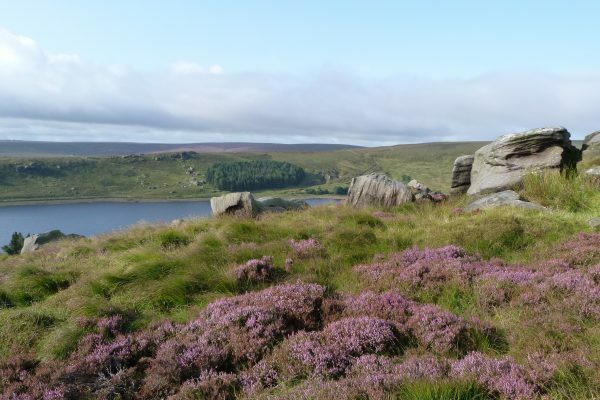 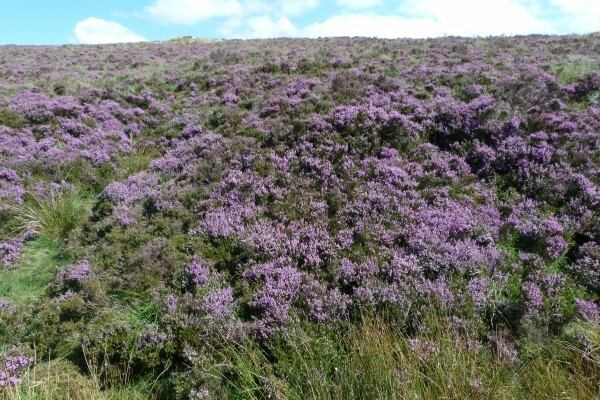 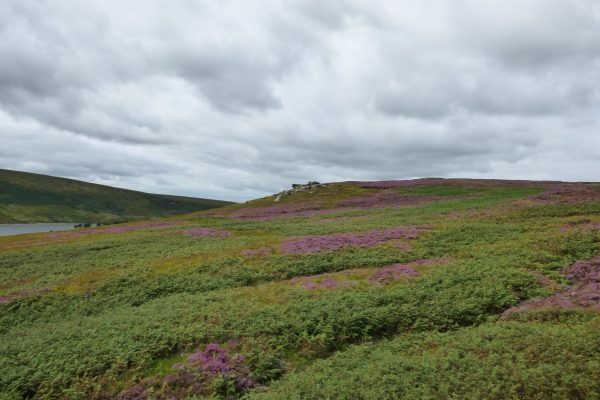 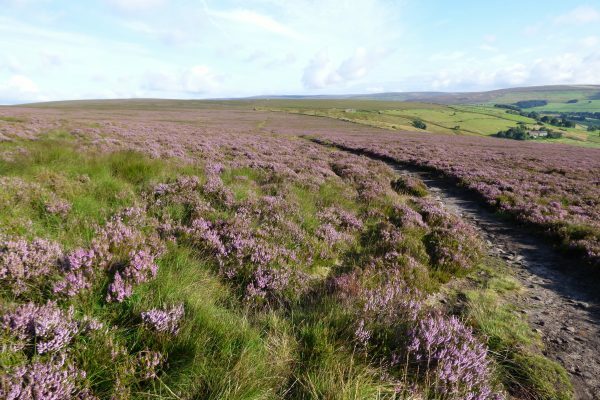 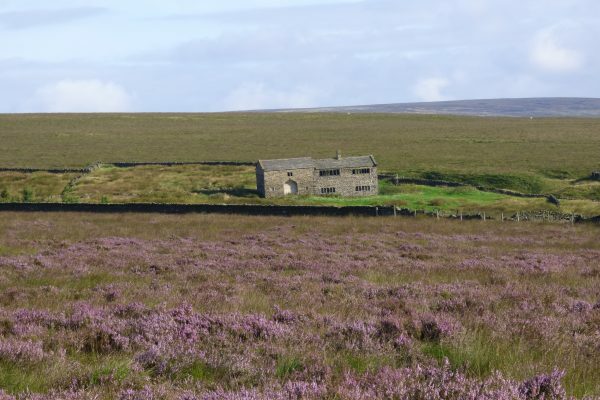 With its bluebell woods, buttercup meadows and rolling heather moors, this is a unique corner of Yorkshire – the landscape that inspired the Brontë sisters and poet Ted Hughes. 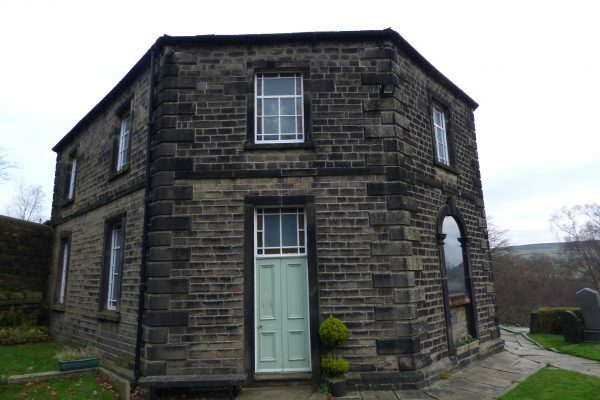 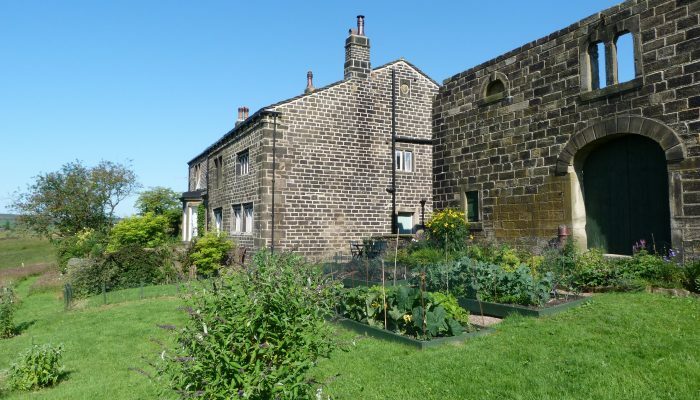 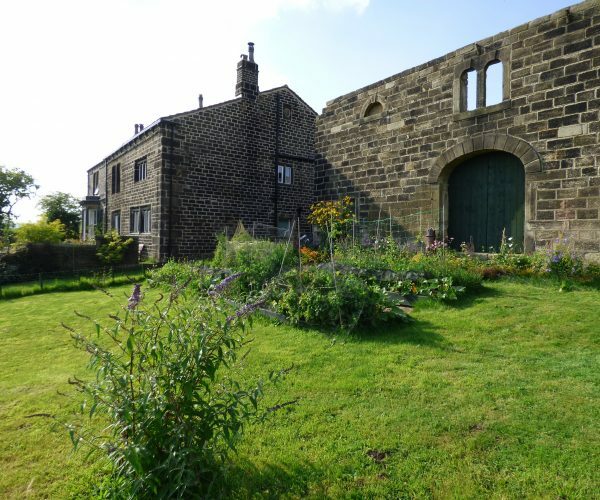 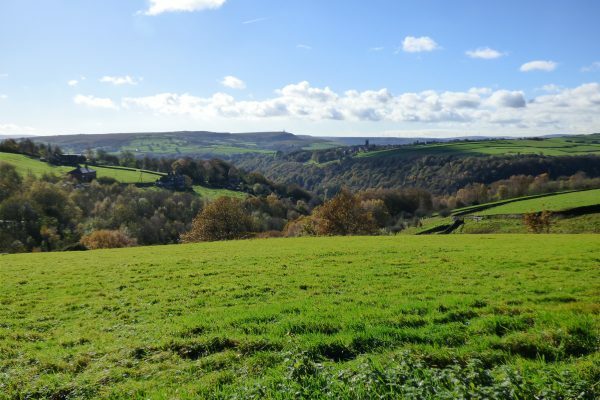 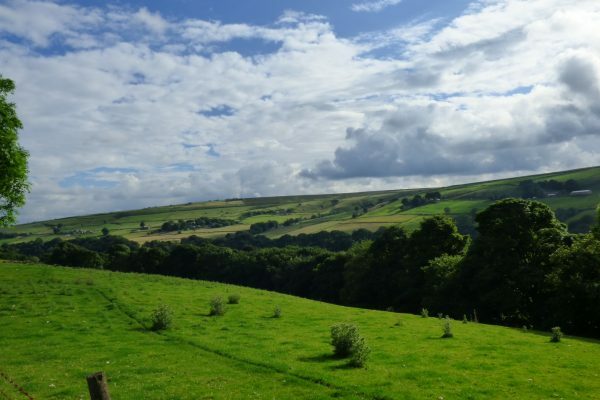 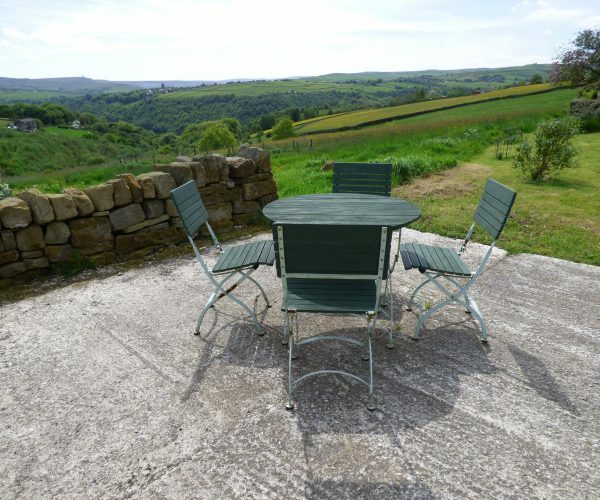 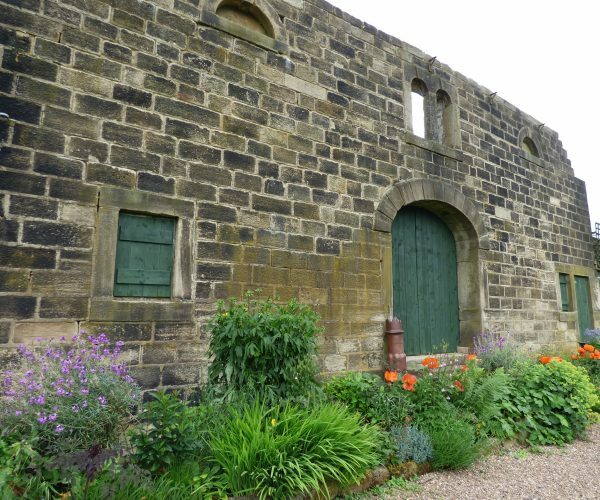 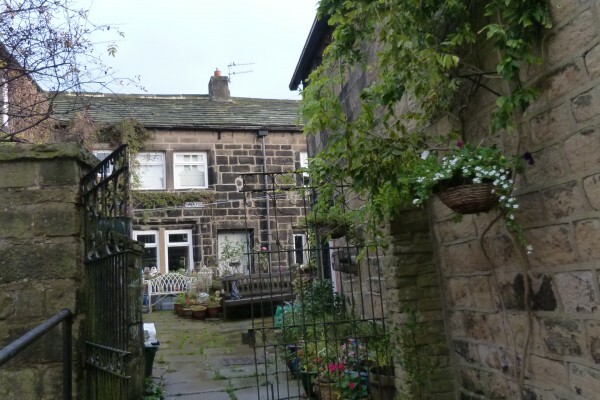 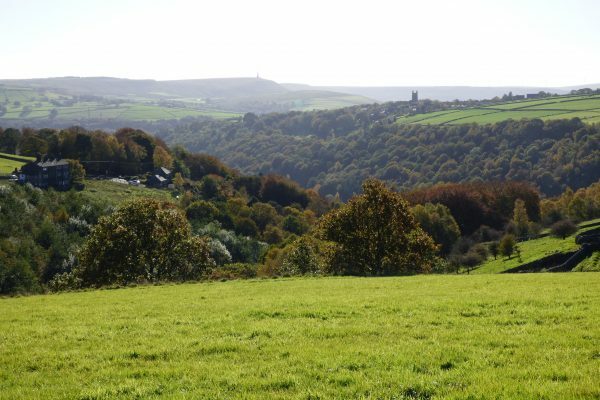 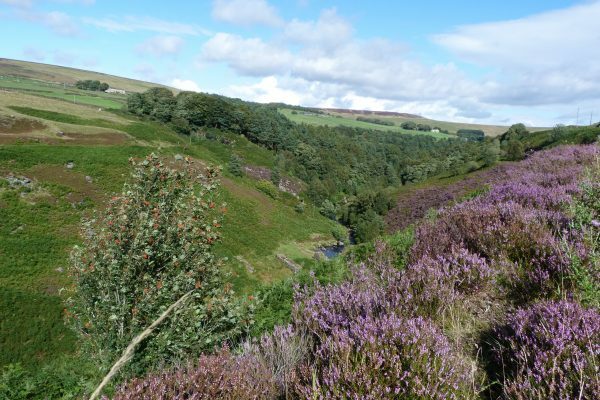 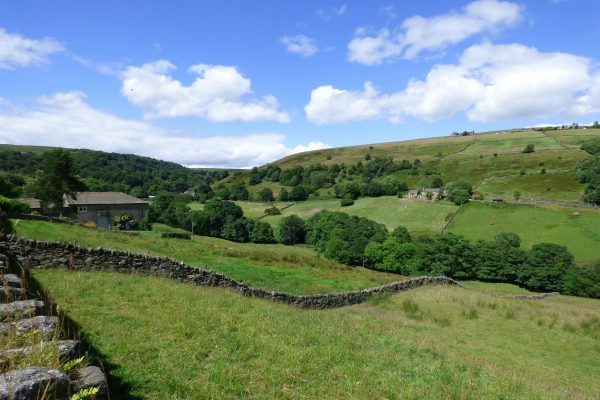 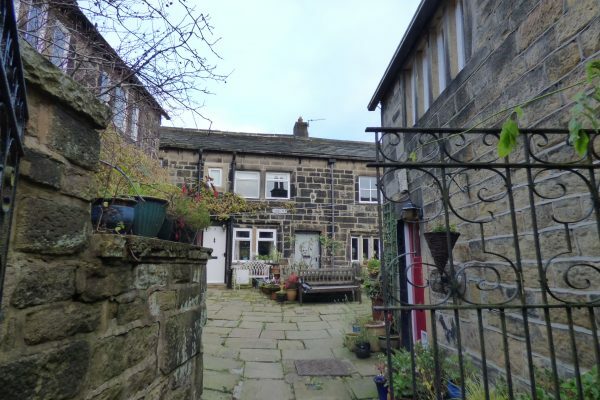 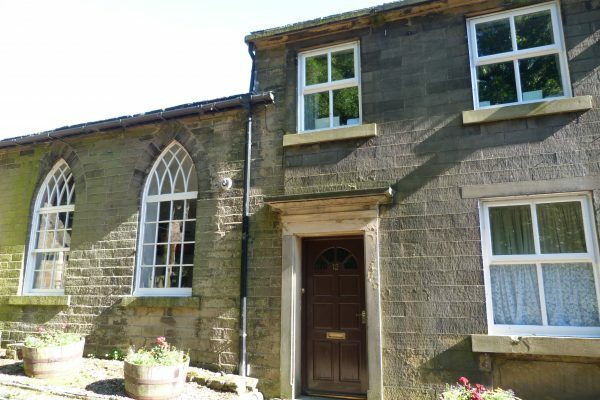 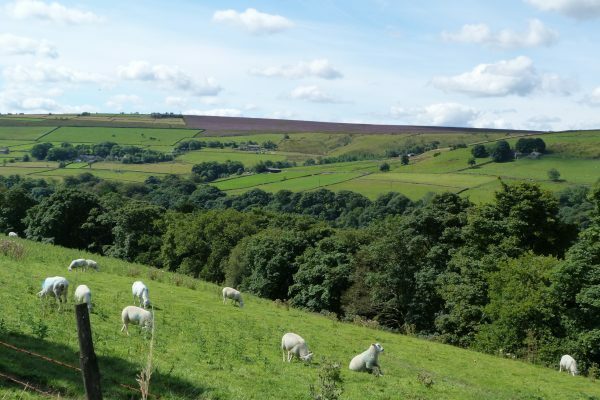 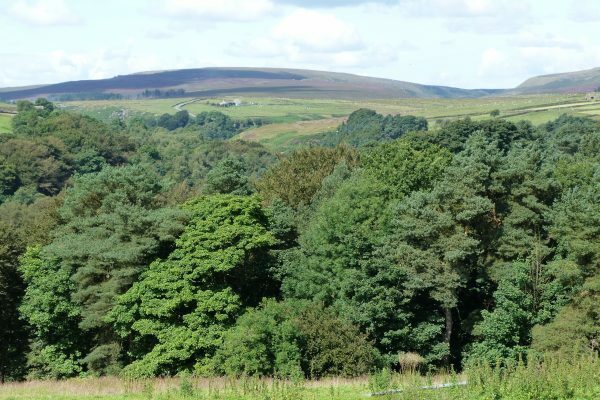 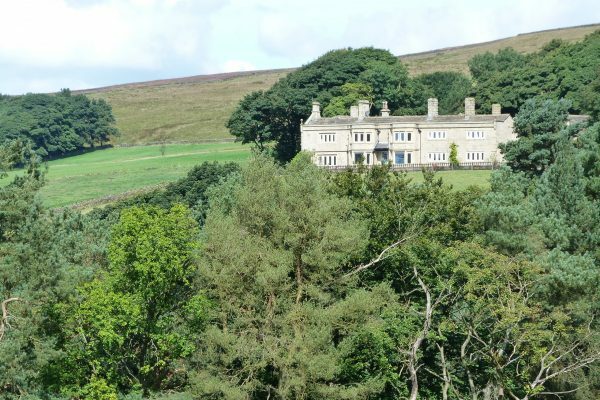 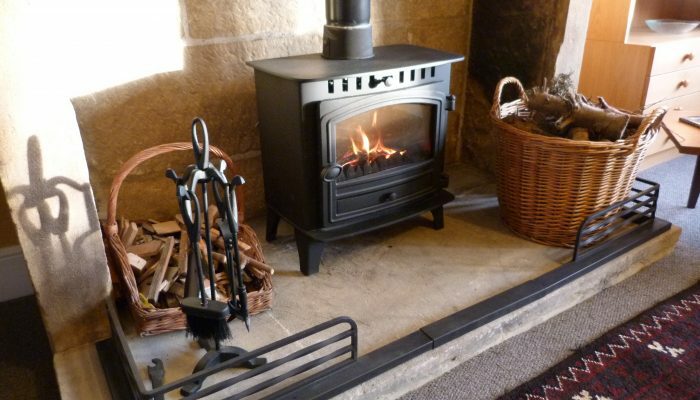 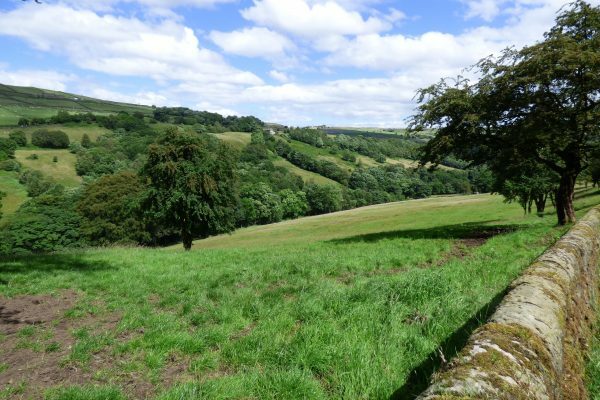 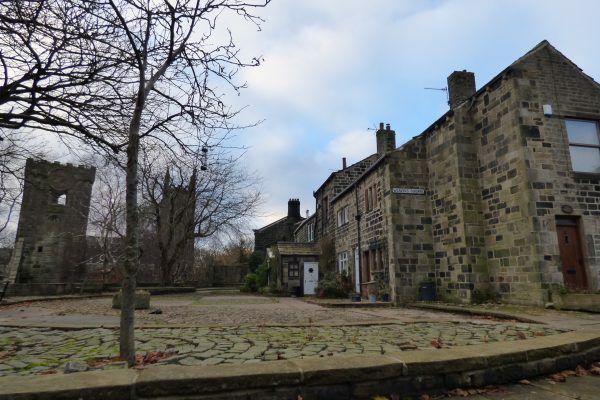 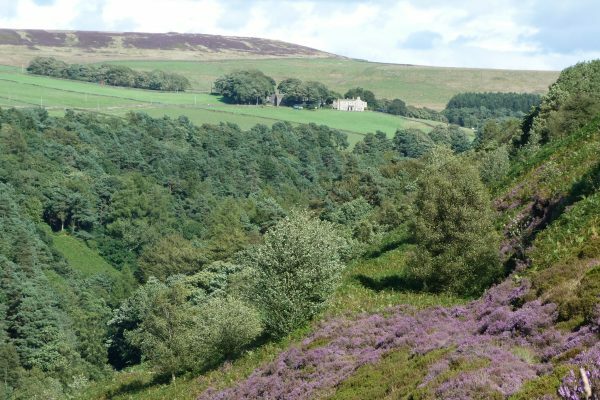 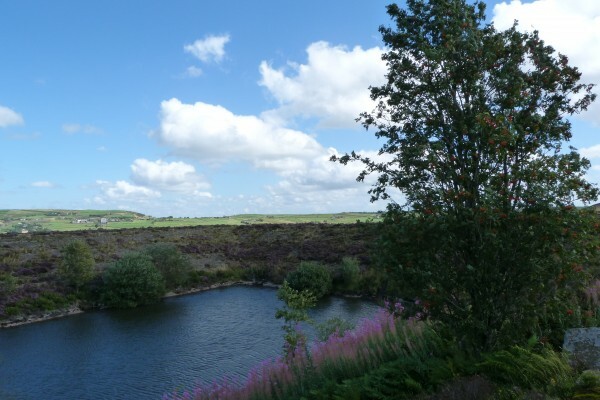 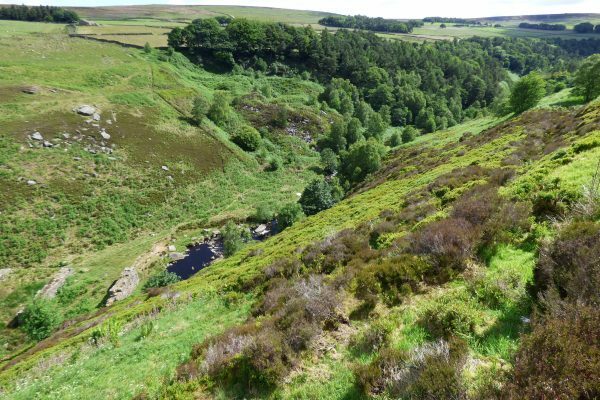 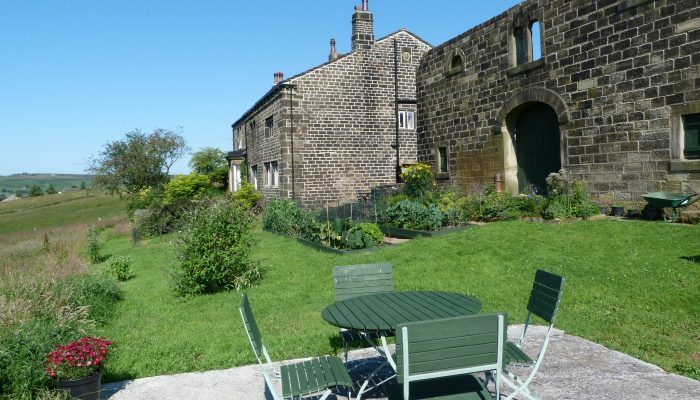 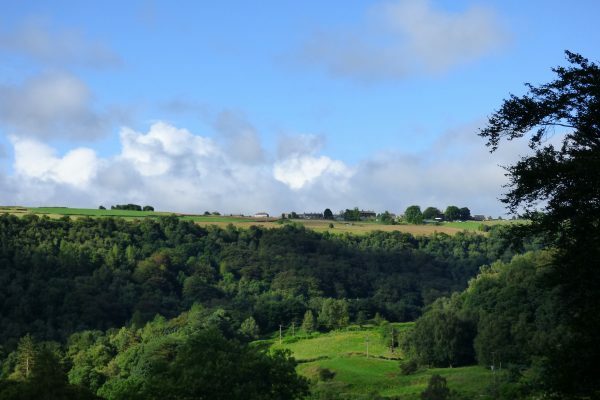 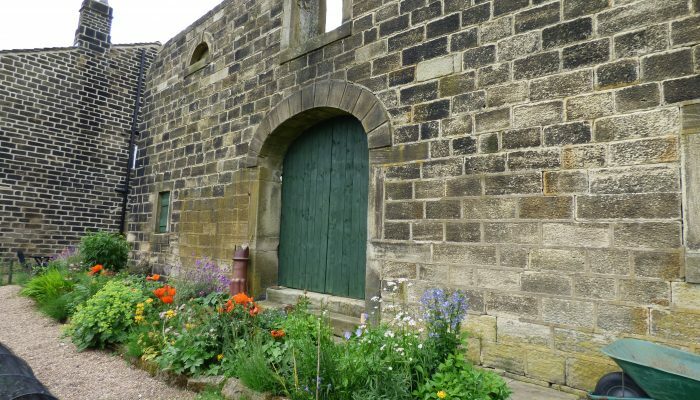 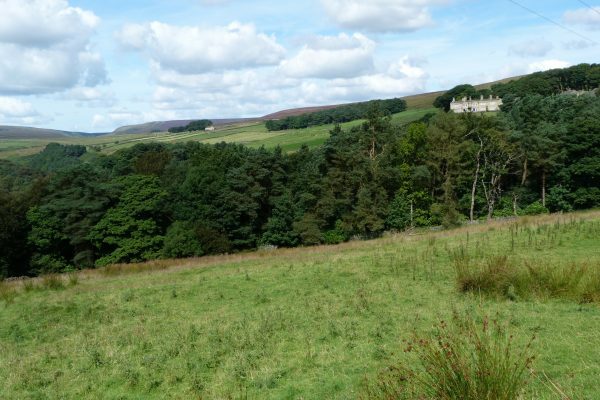 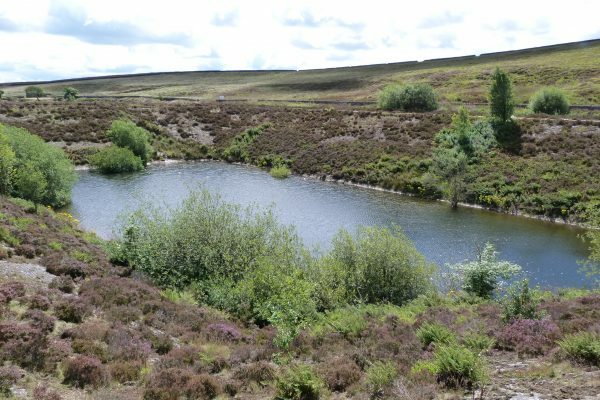 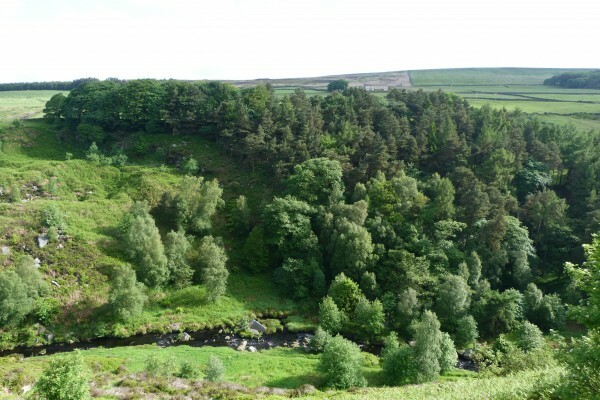 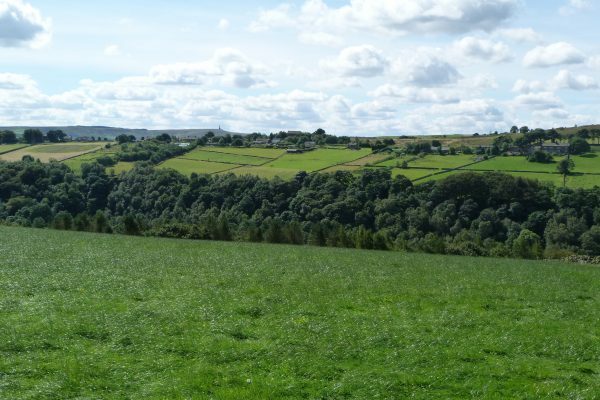 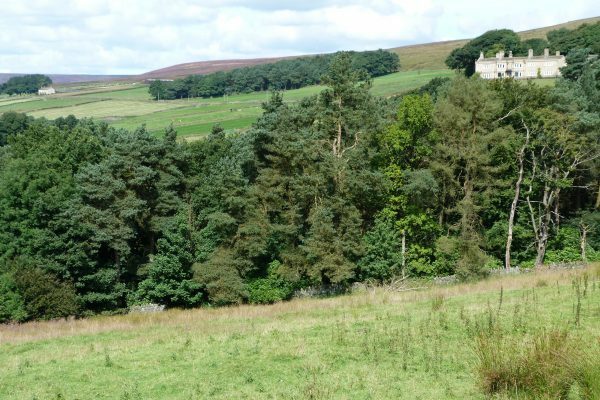 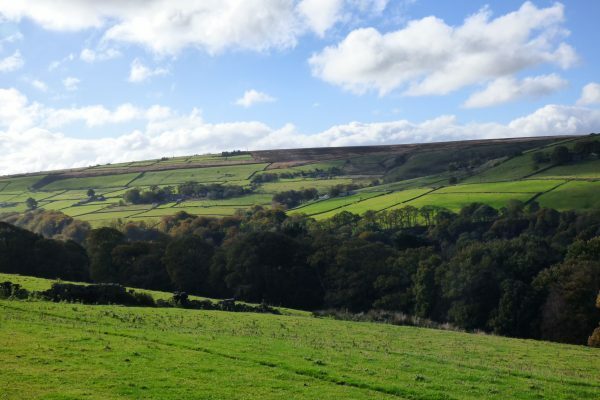 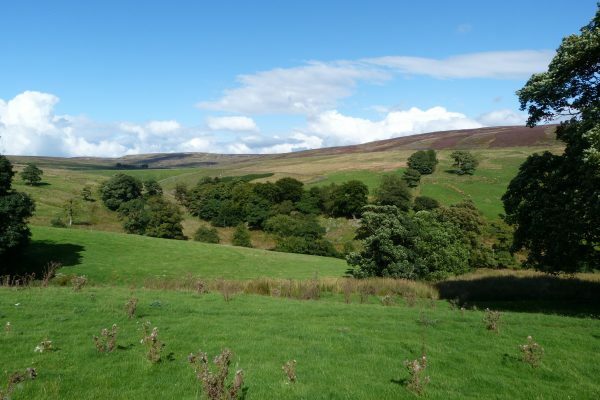 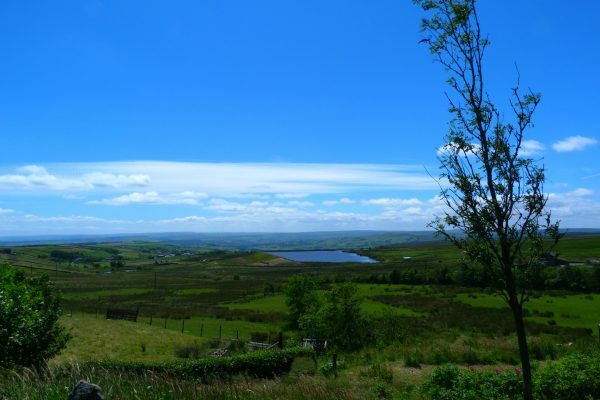 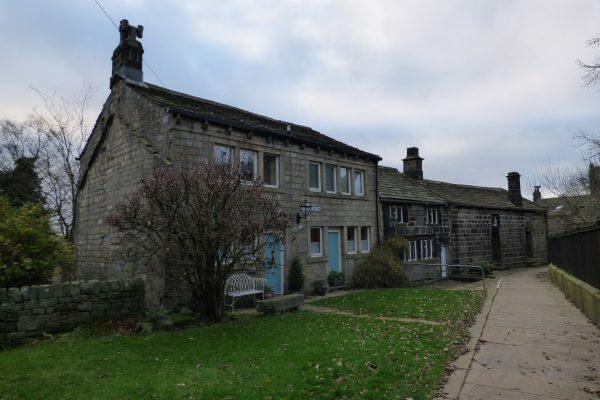 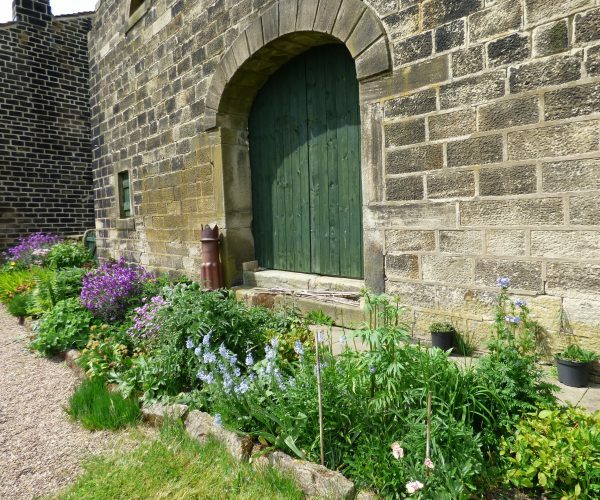 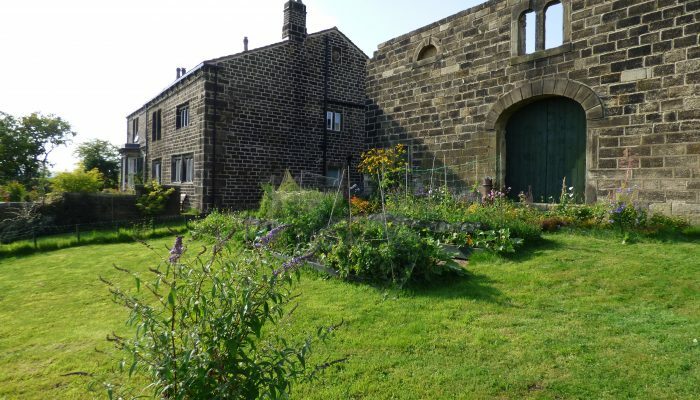 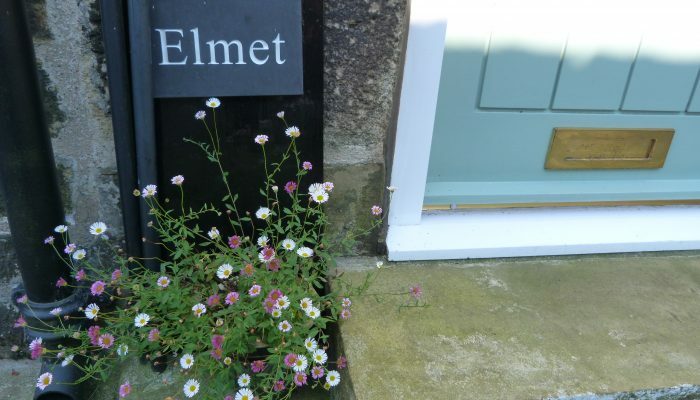 If you love the countryside and the great outdoors, you’ll be in your element at Elmet Farmhouse. 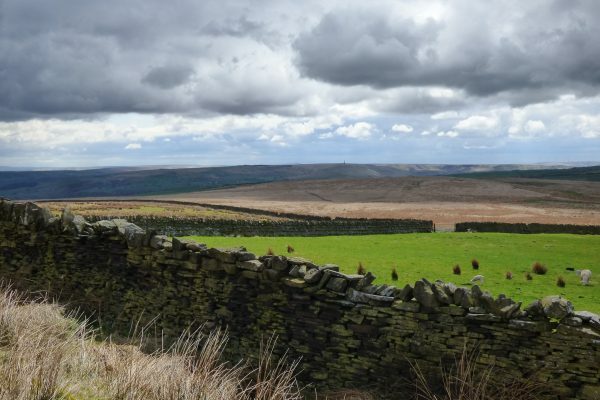 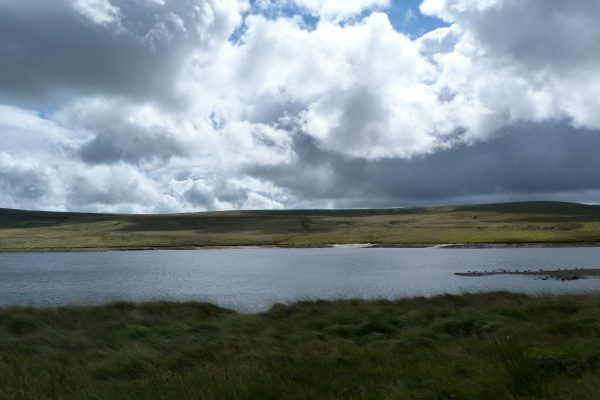 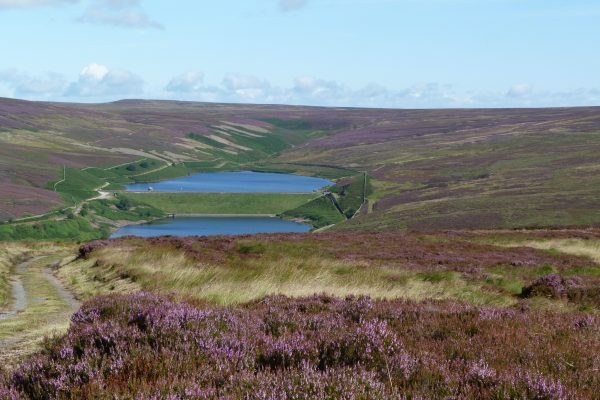 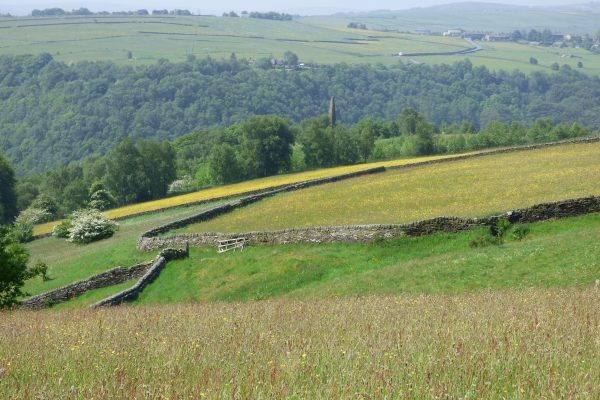 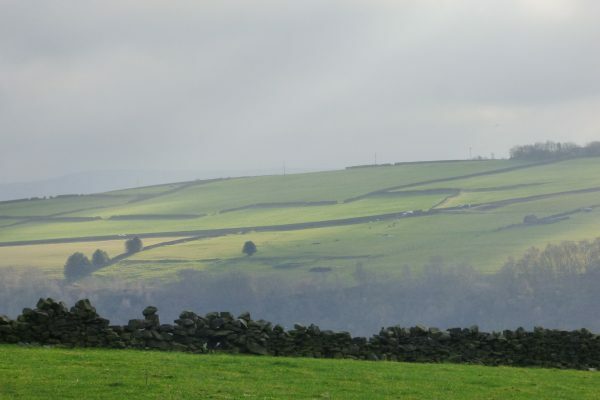 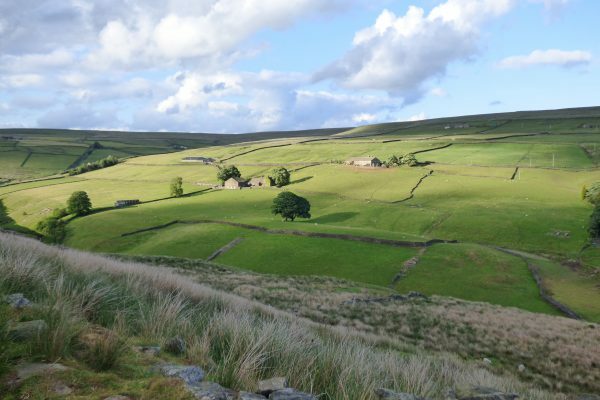 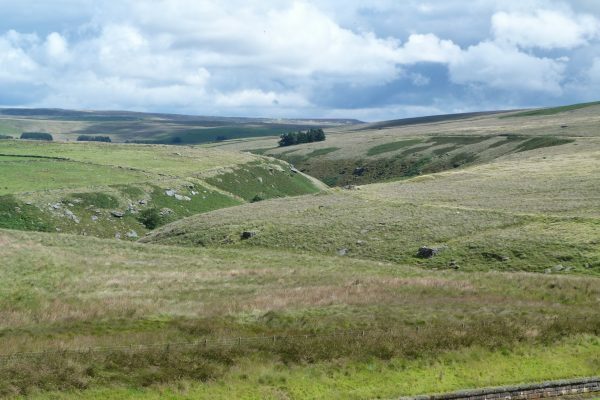 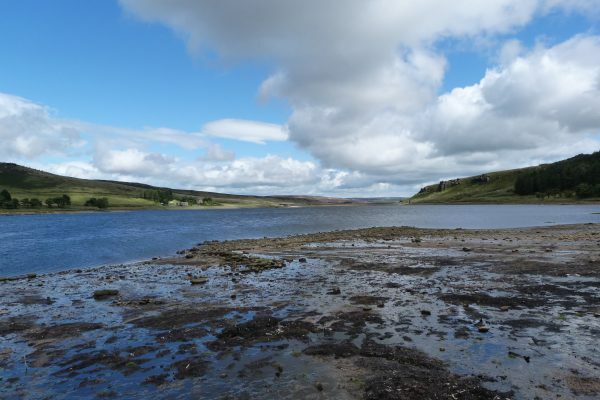 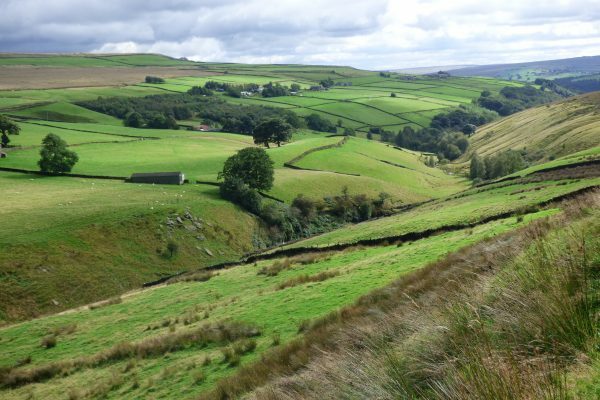 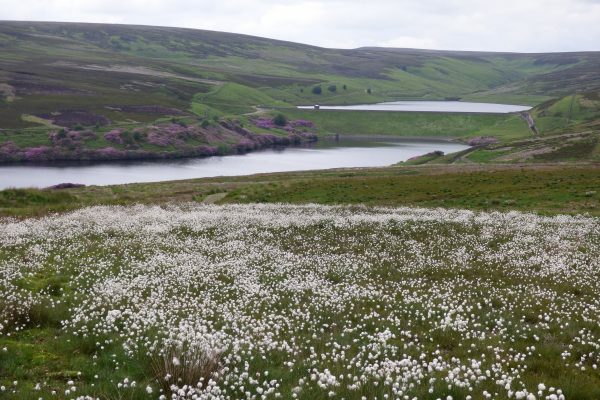 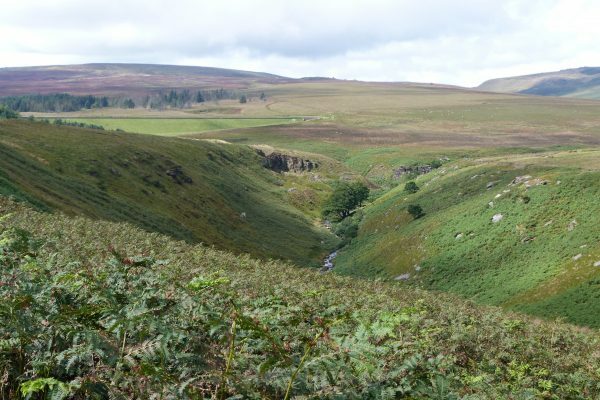 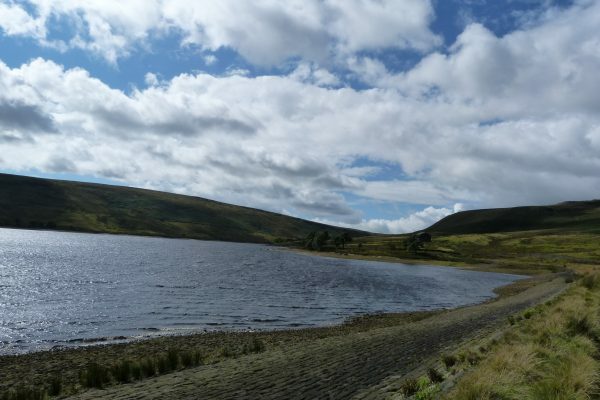 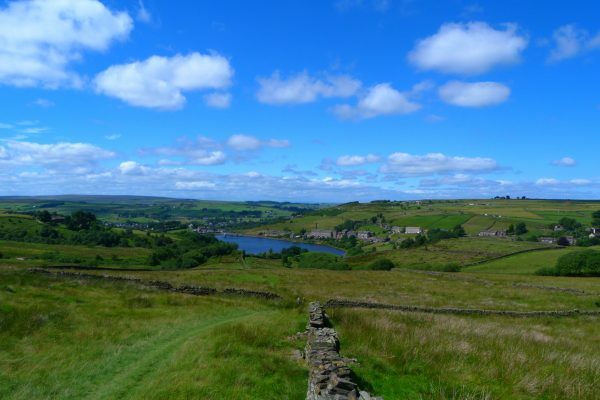 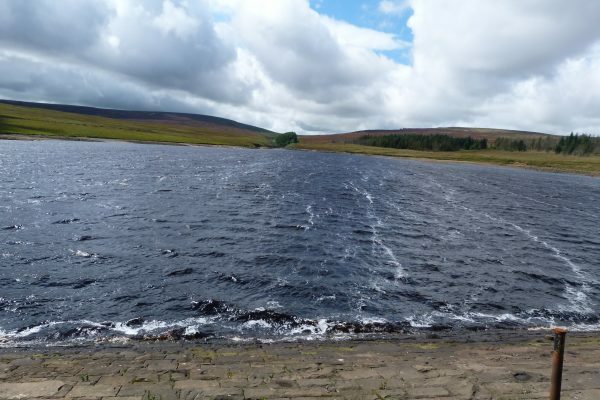 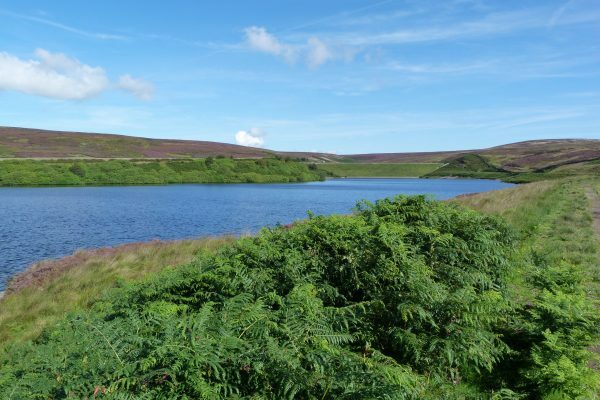 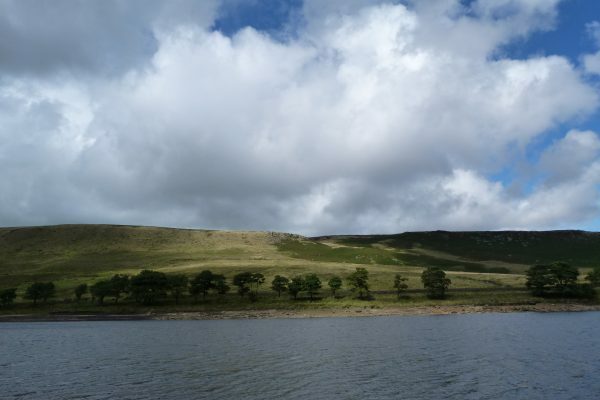 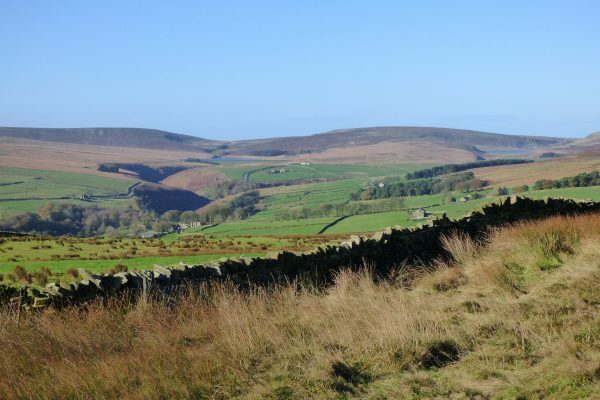 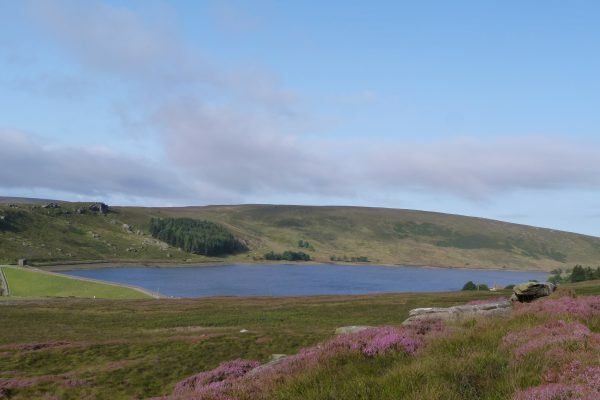 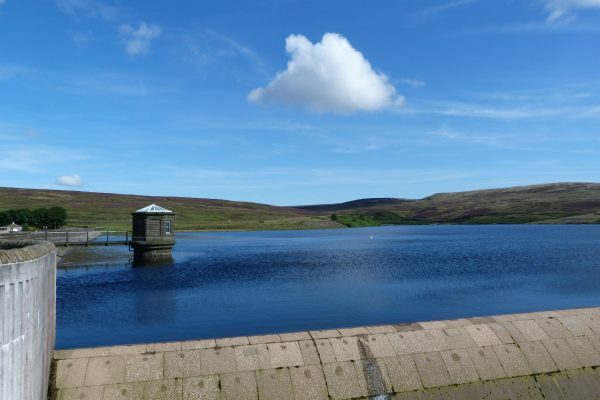 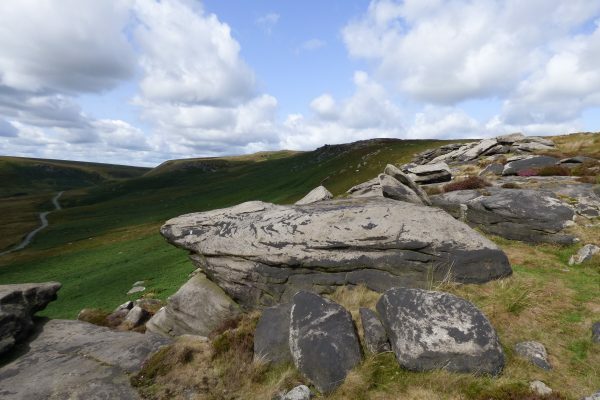 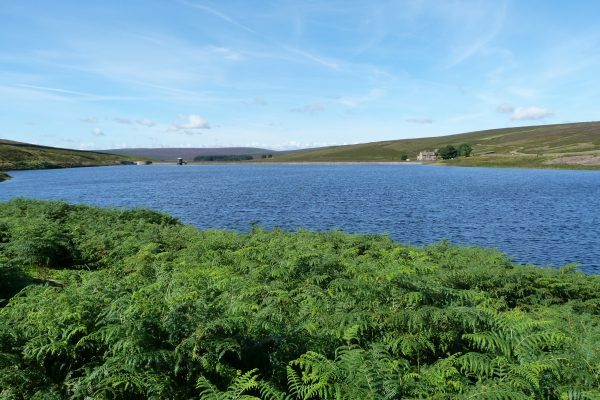 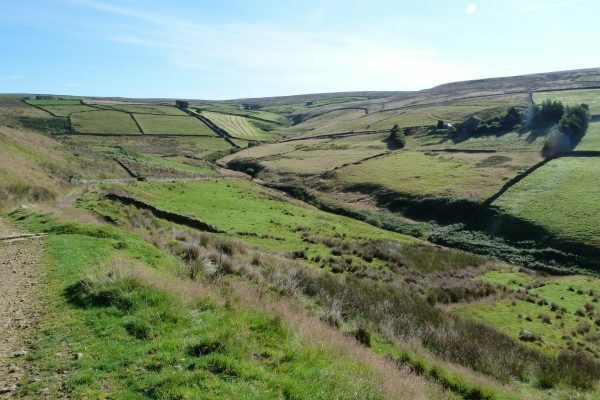 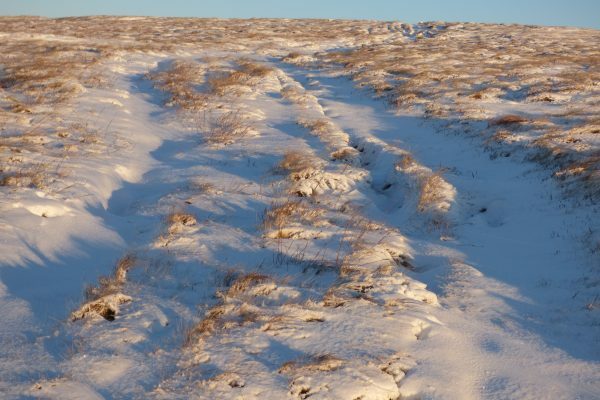 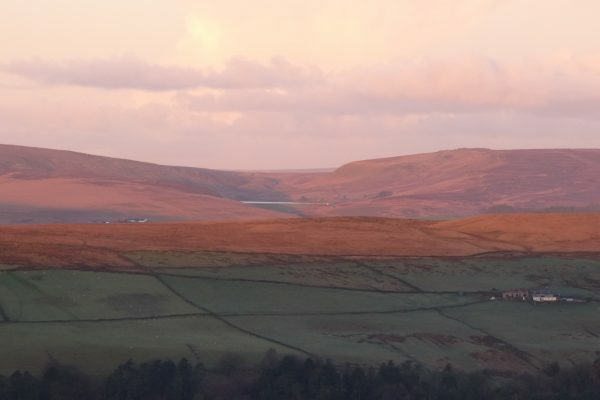 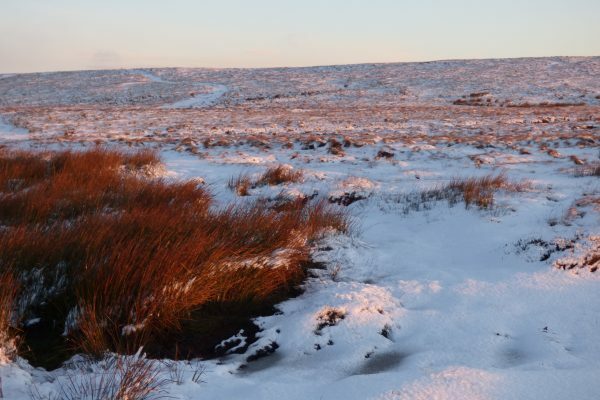 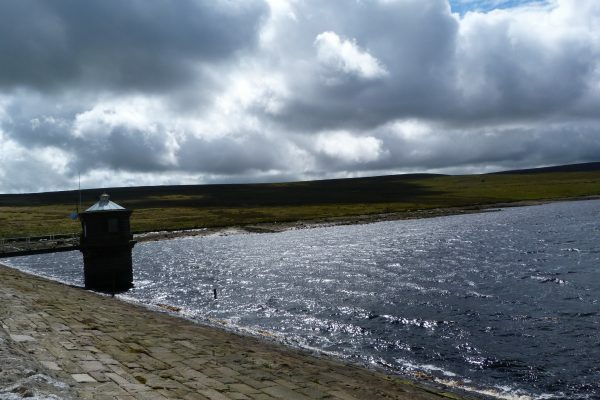 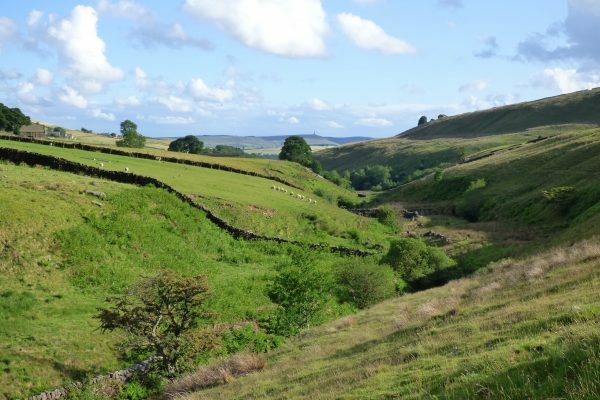 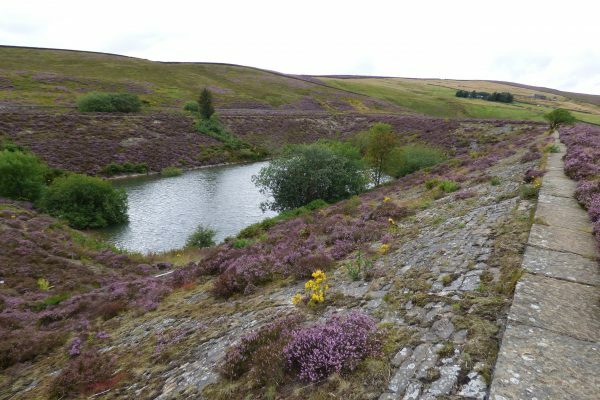 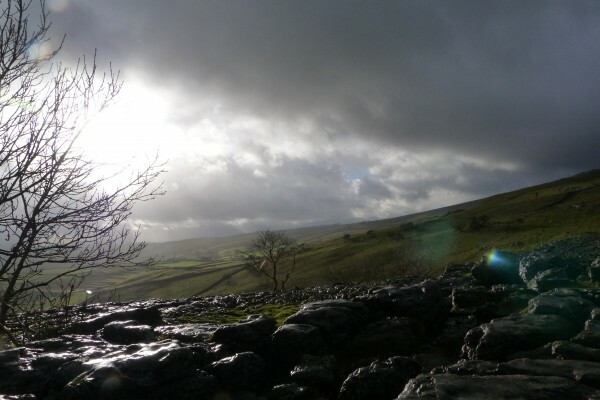 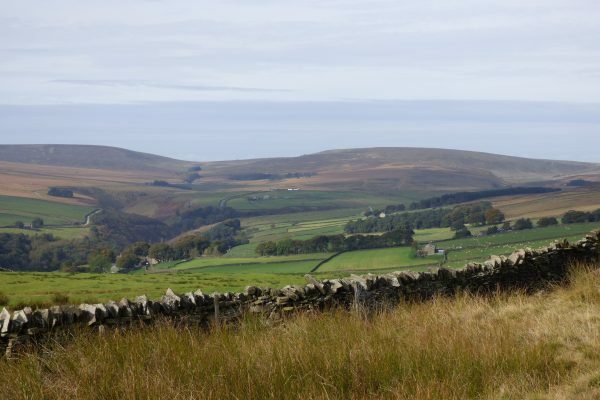 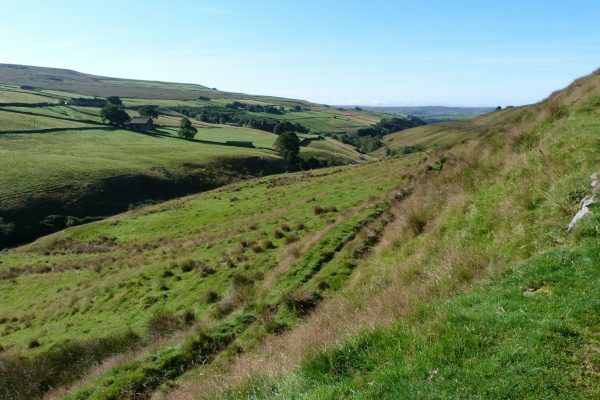 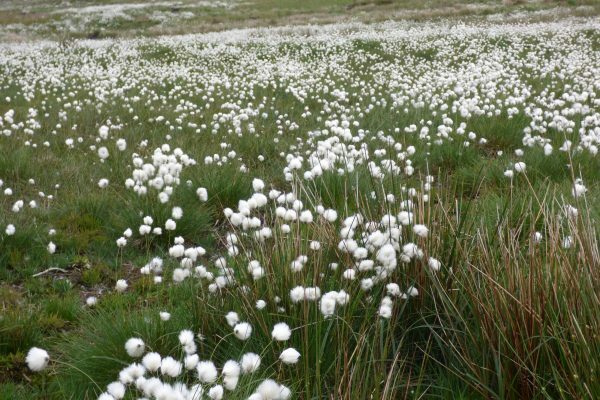 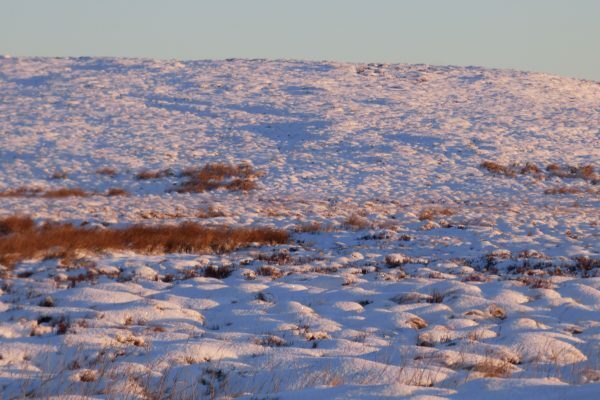 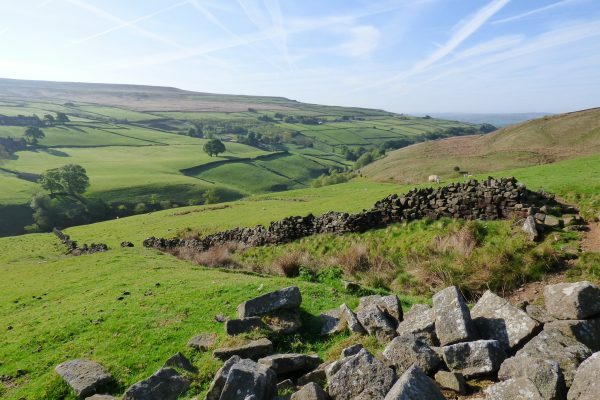 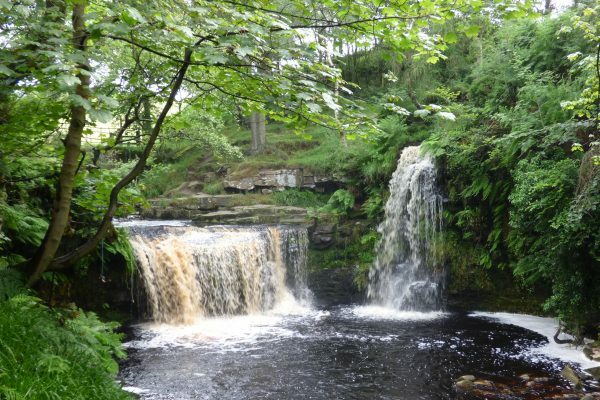 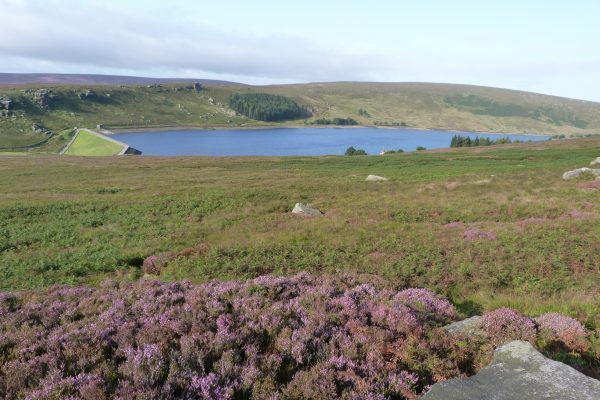 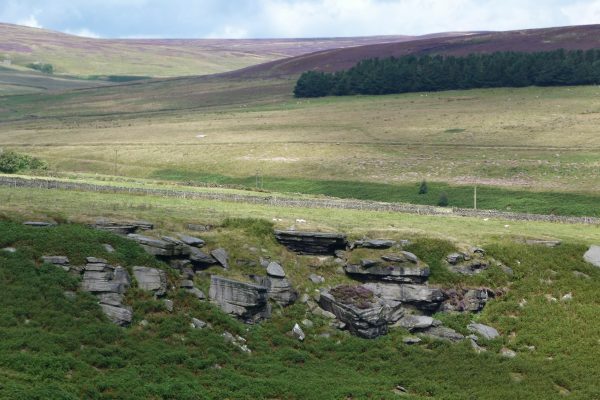 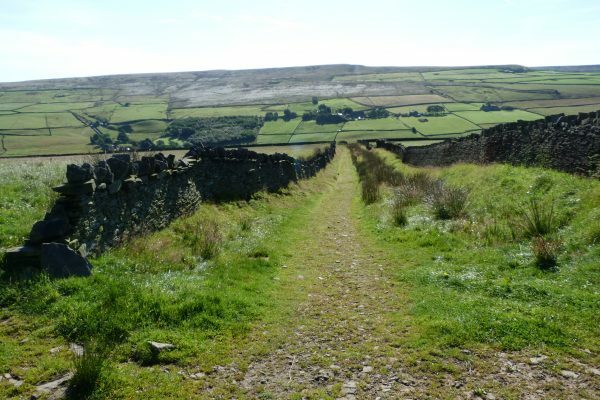 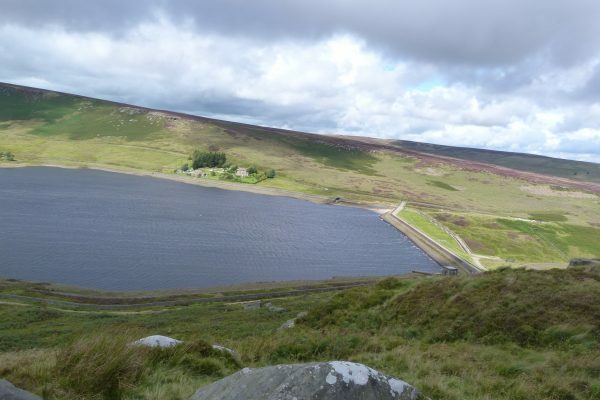 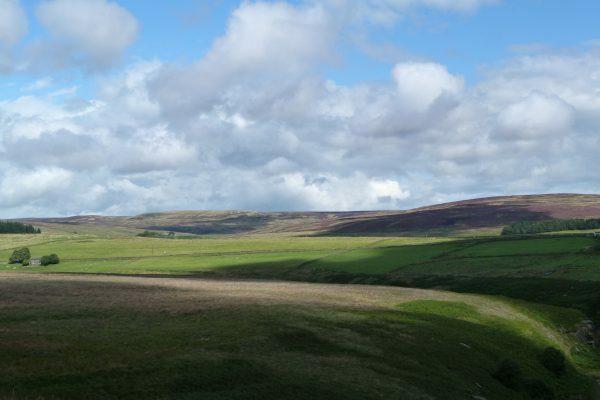 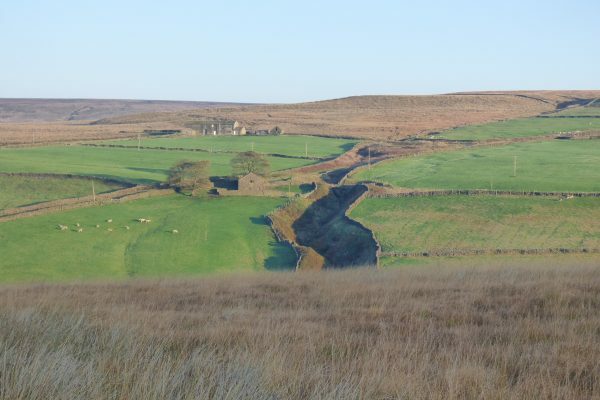 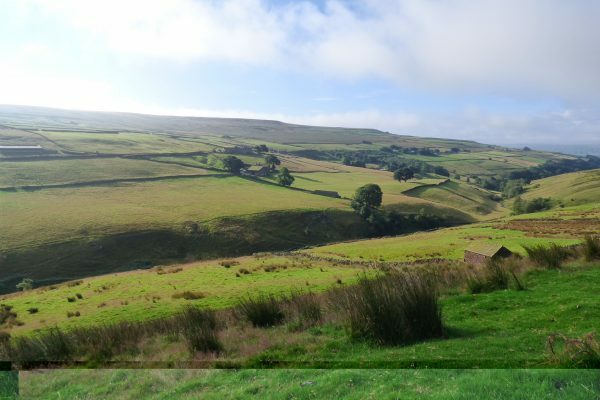 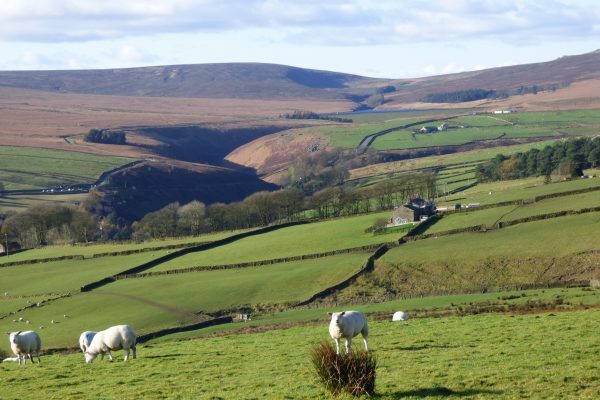 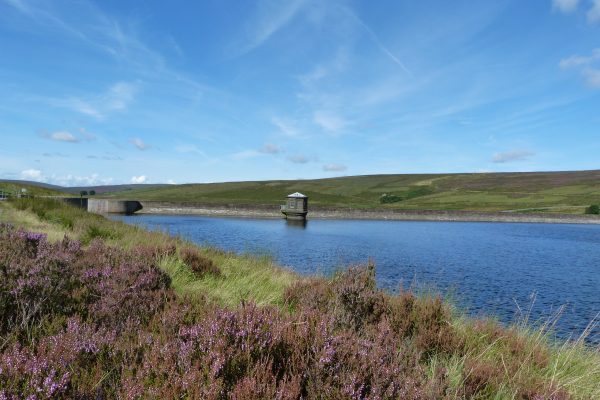 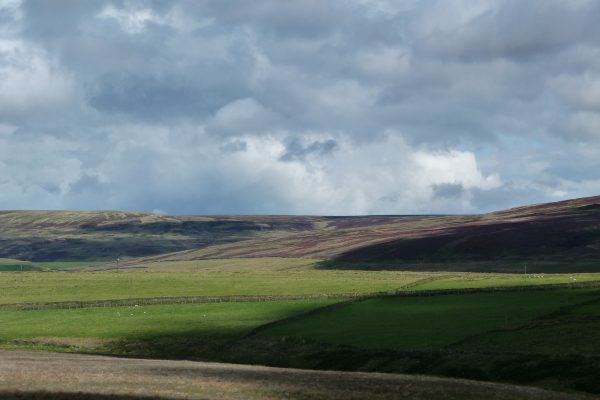 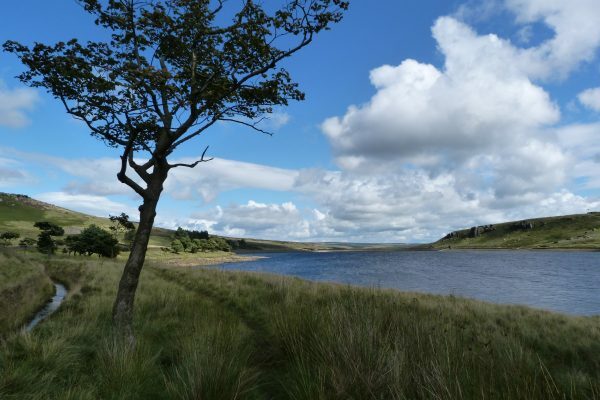 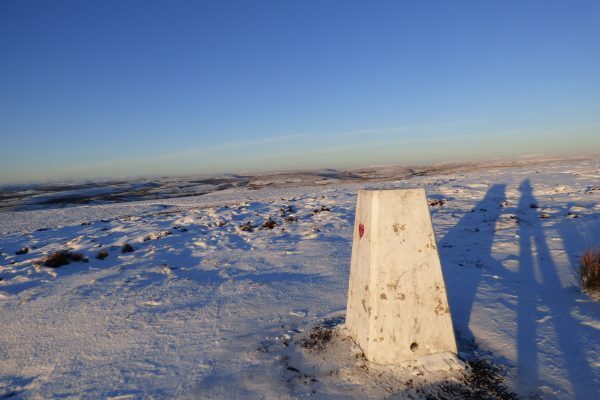 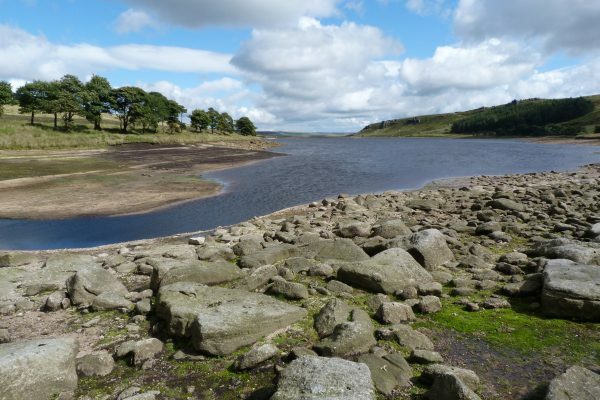 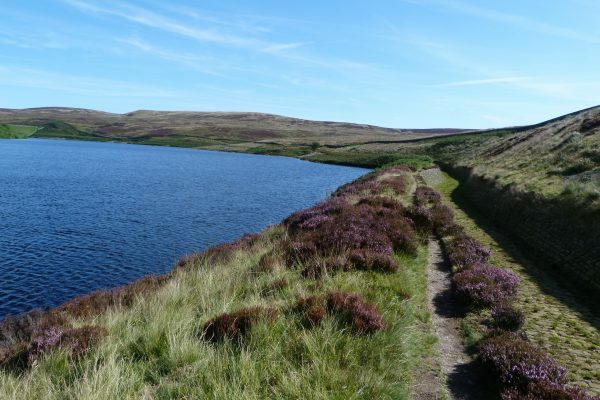 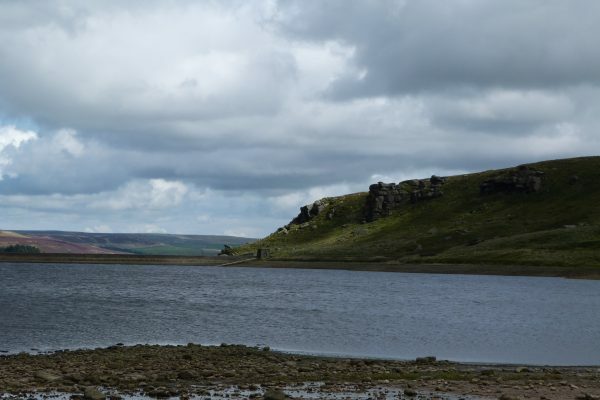 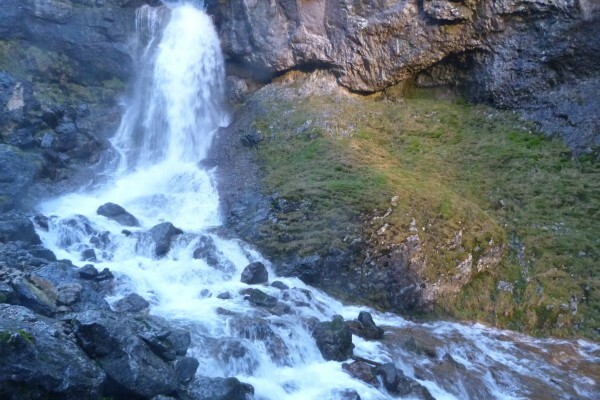 Set in a walkers’ paradise, the Pennine Way and the Yorkshire Dales are literally on your doorstep. 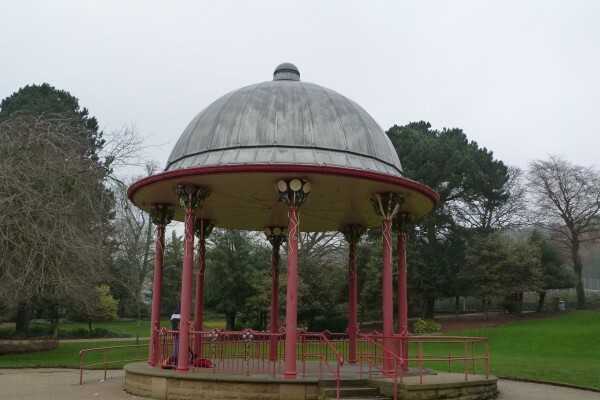 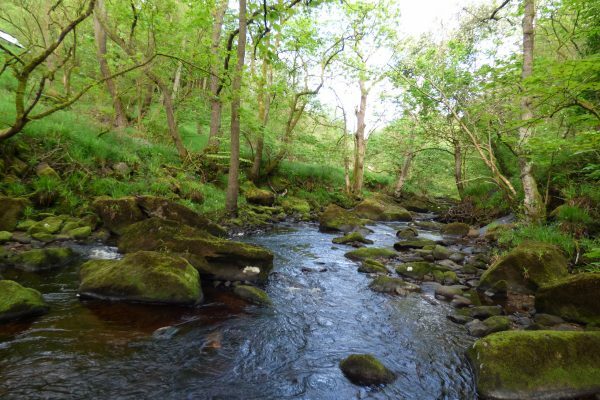 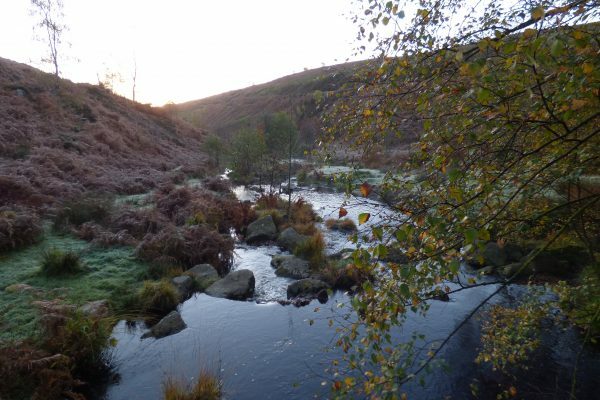 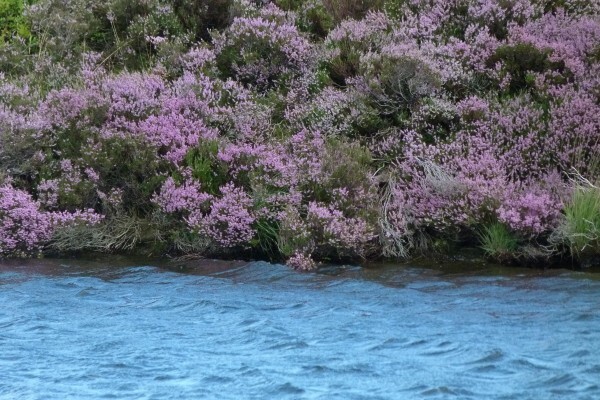 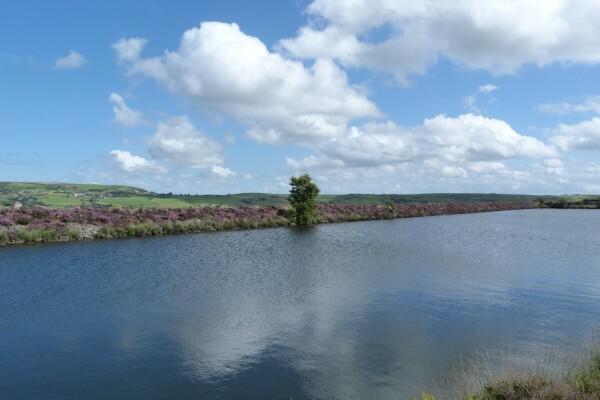 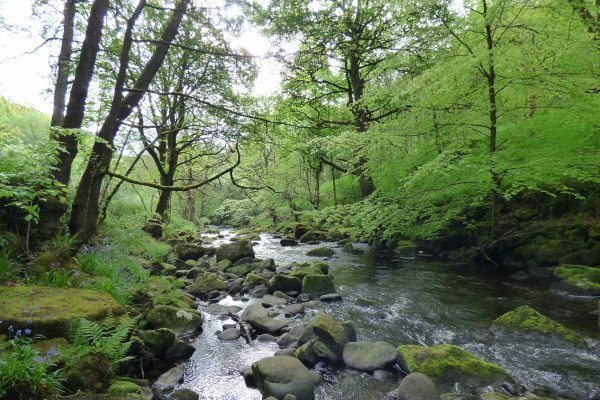 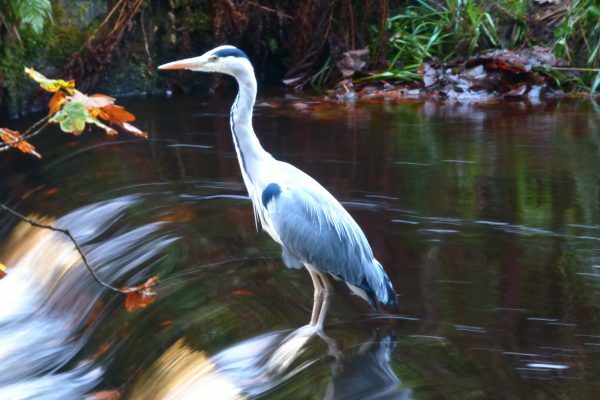 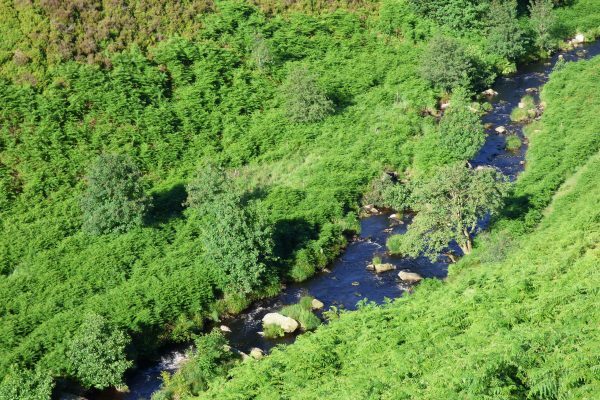 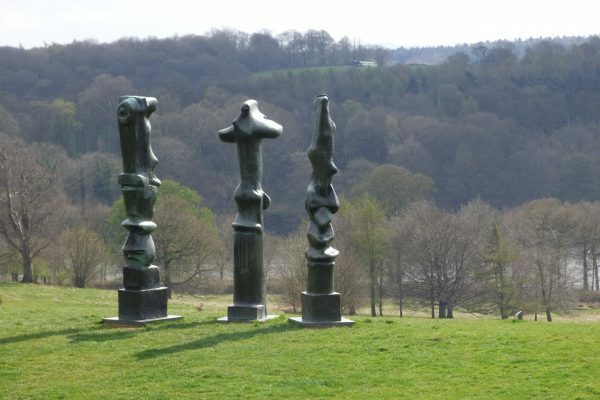 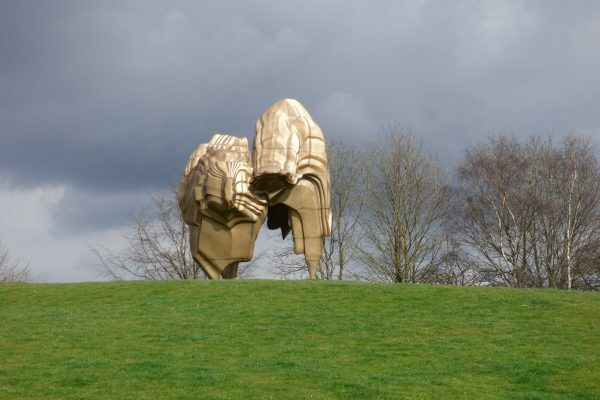 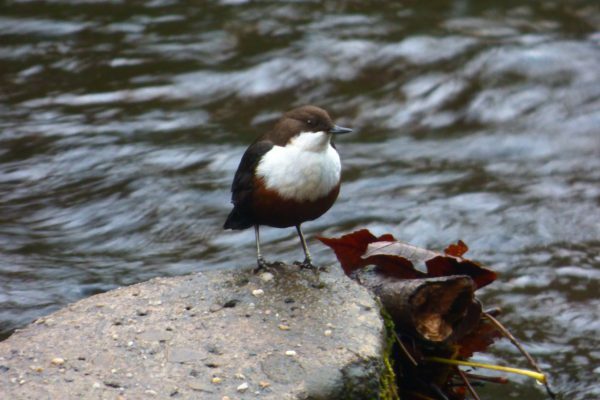 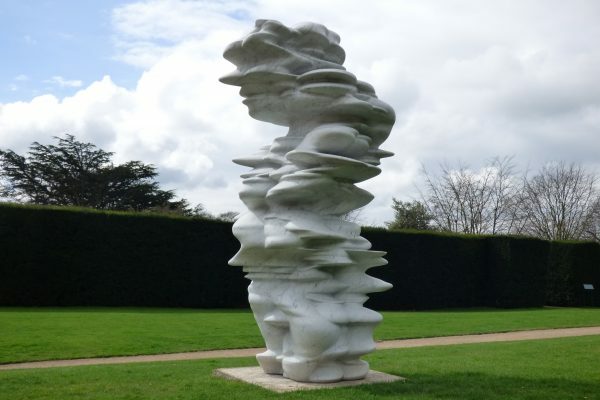 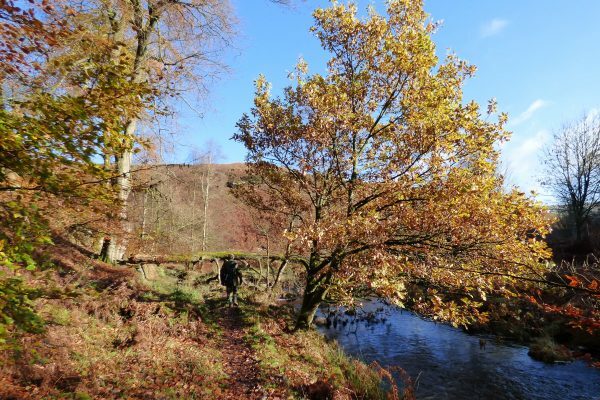 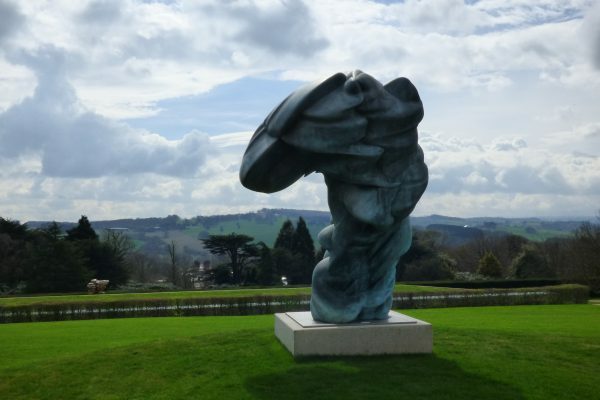 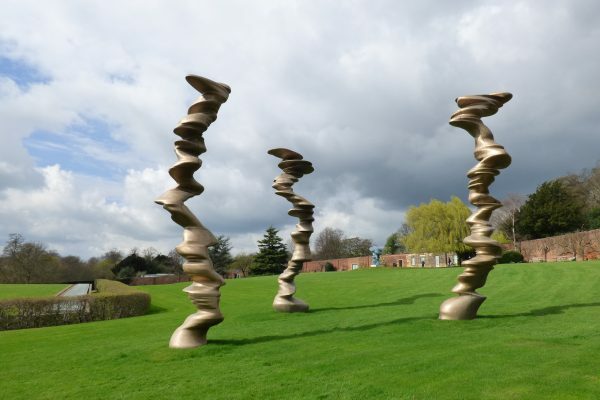 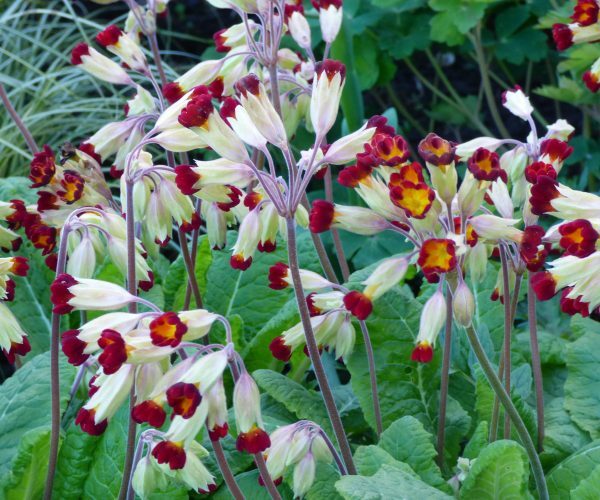 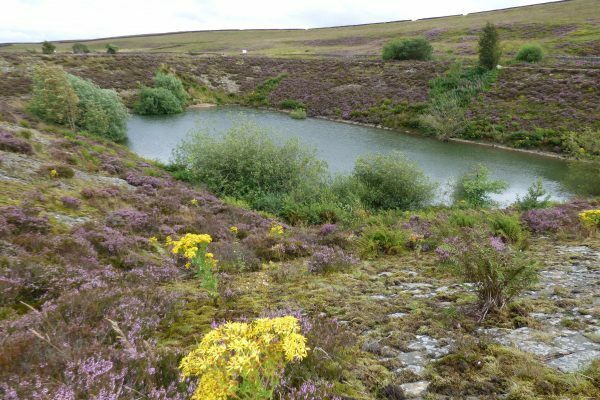 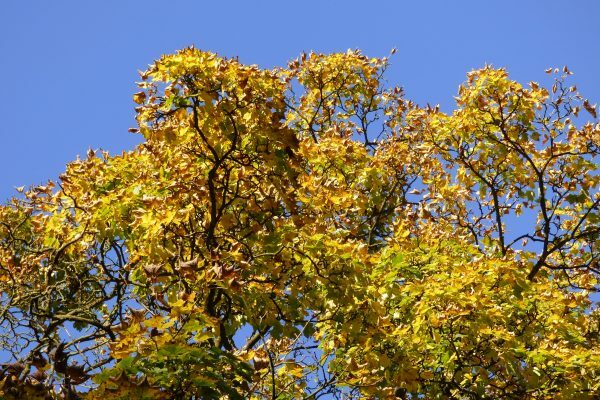 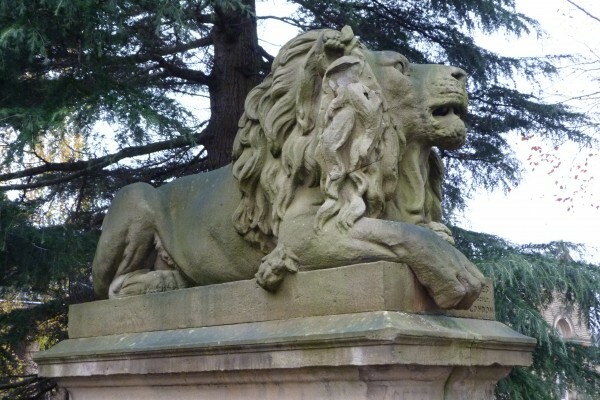 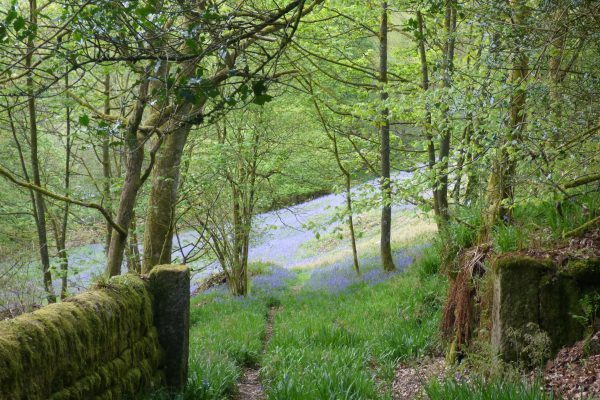 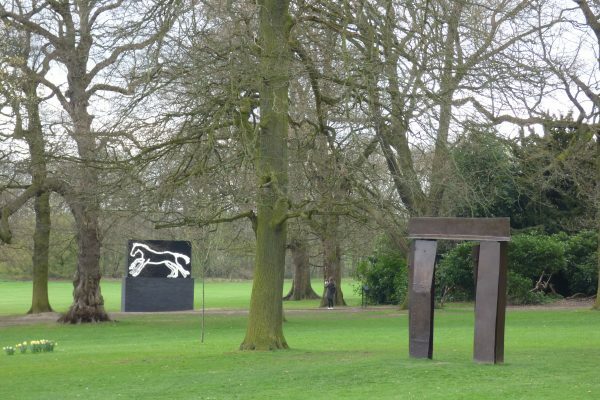 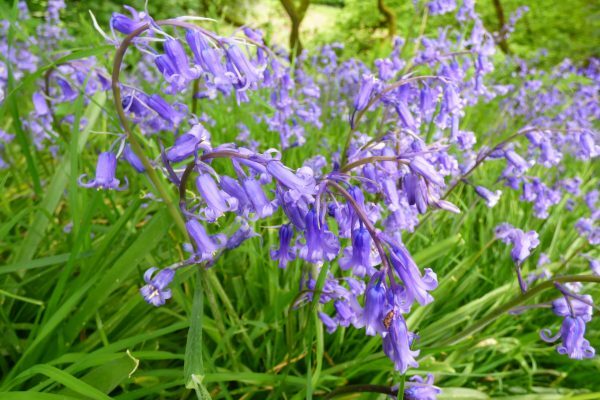 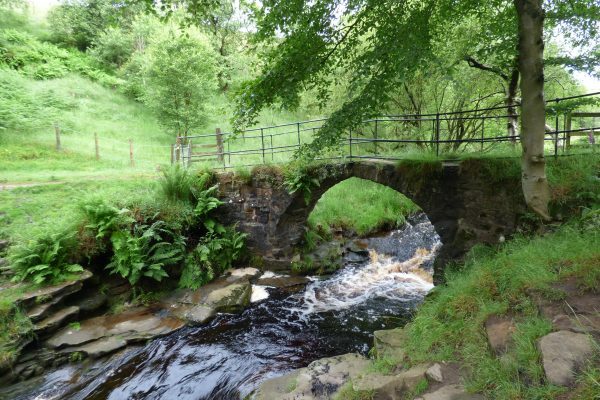 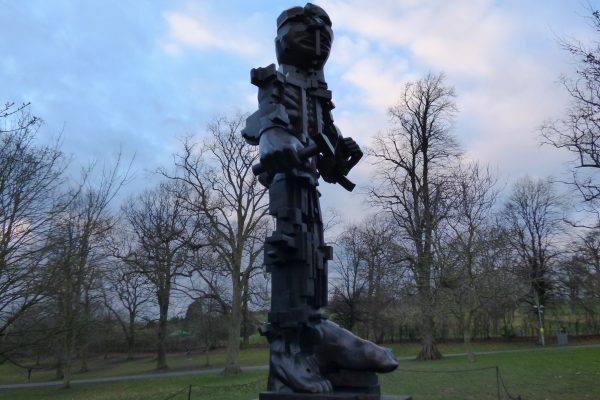 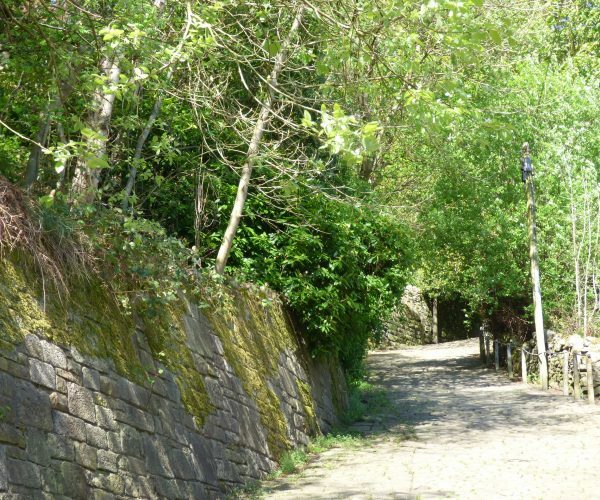 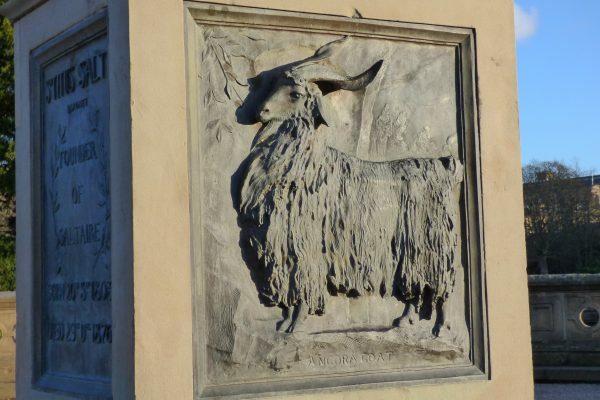 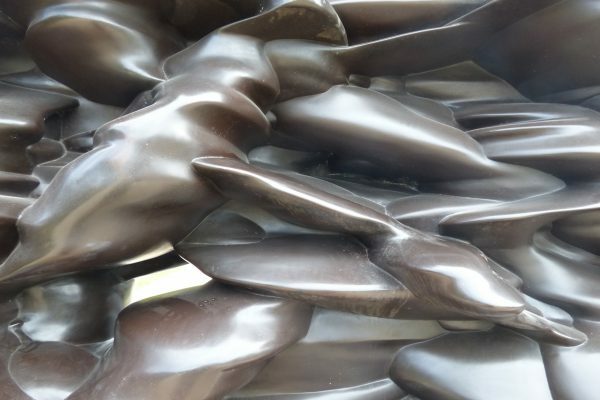 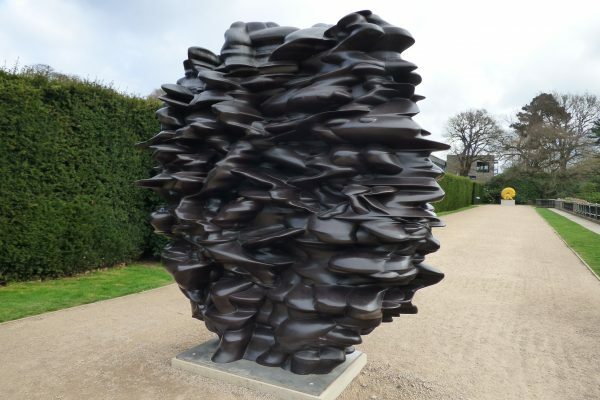 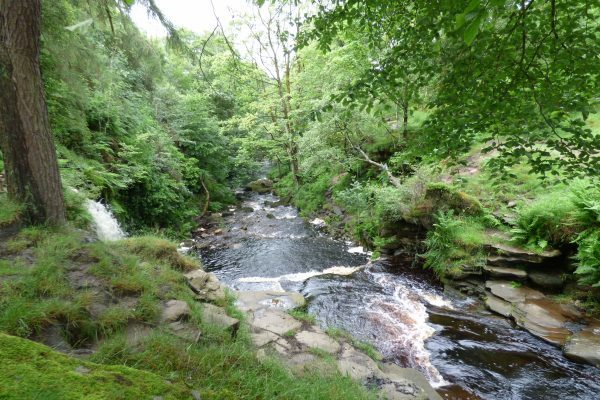 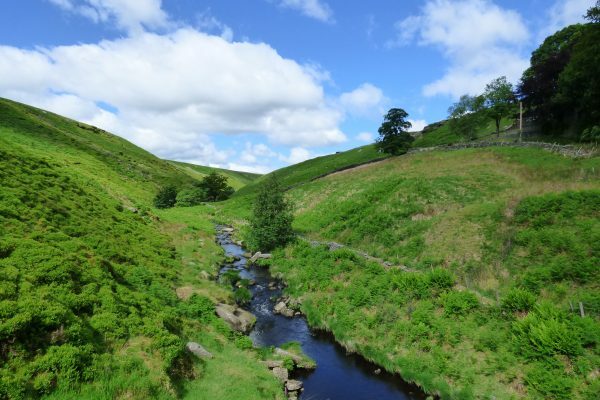 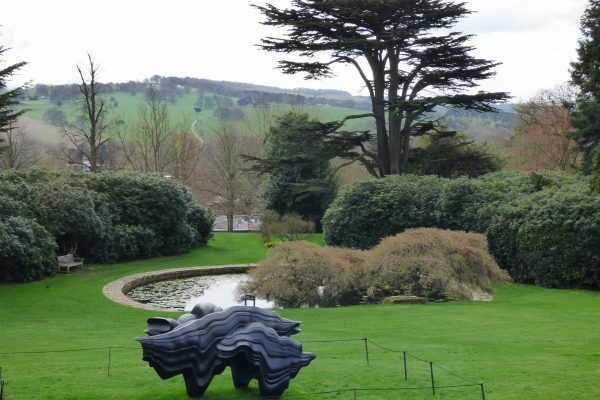 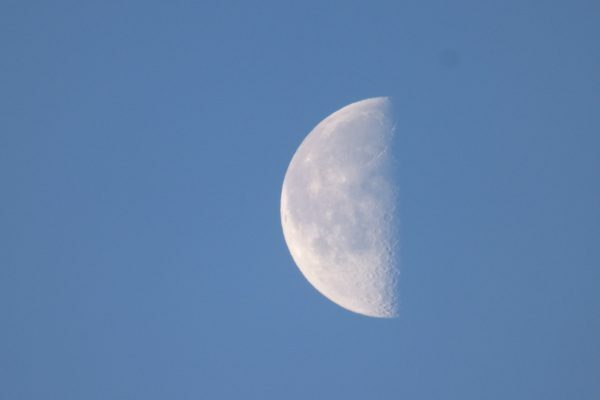 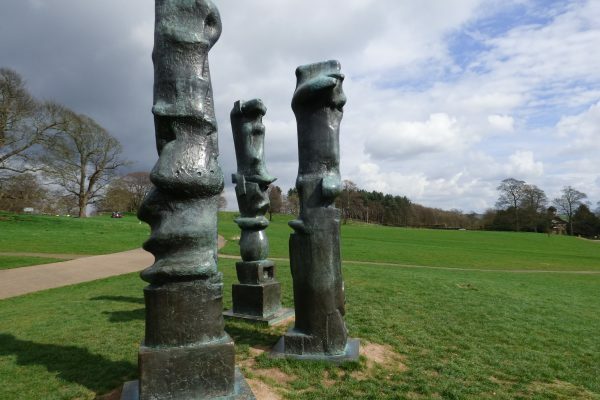 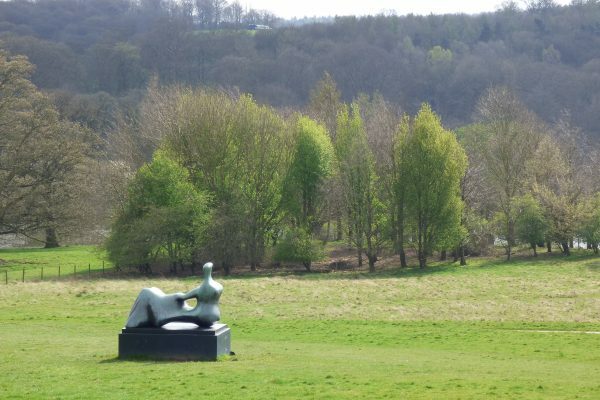 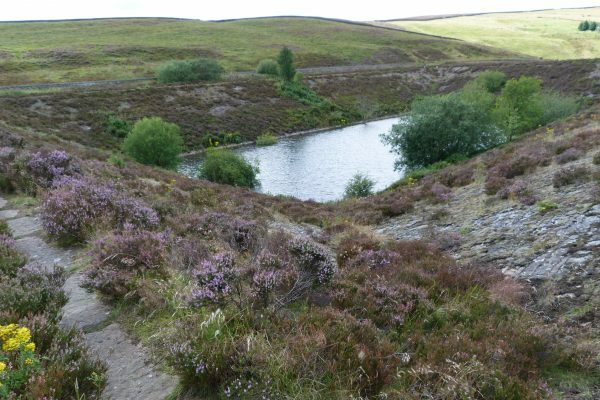 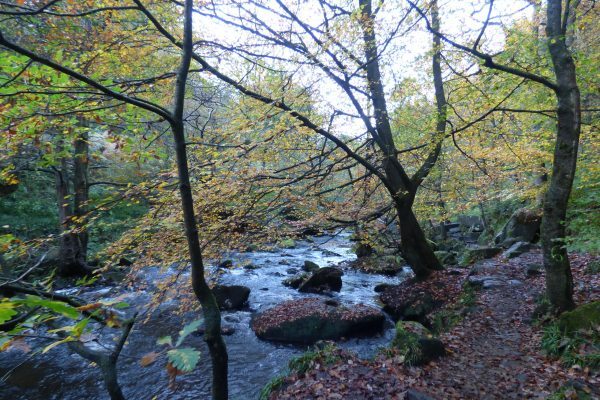 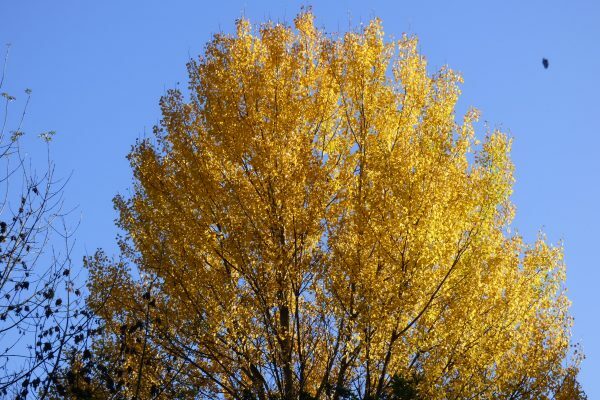 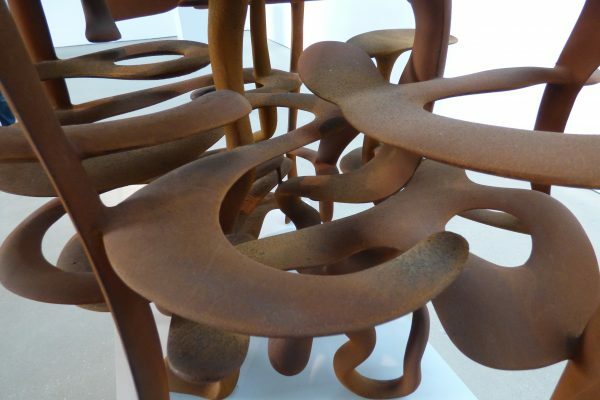 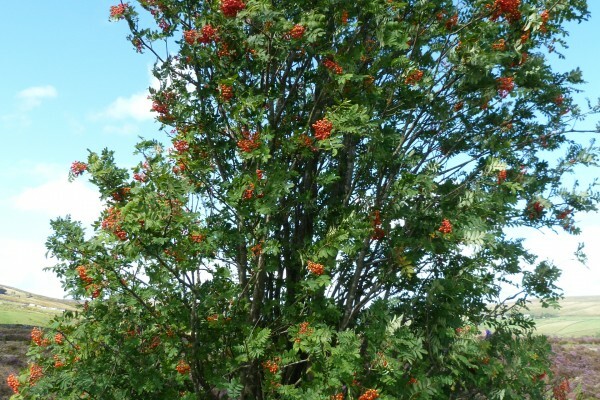 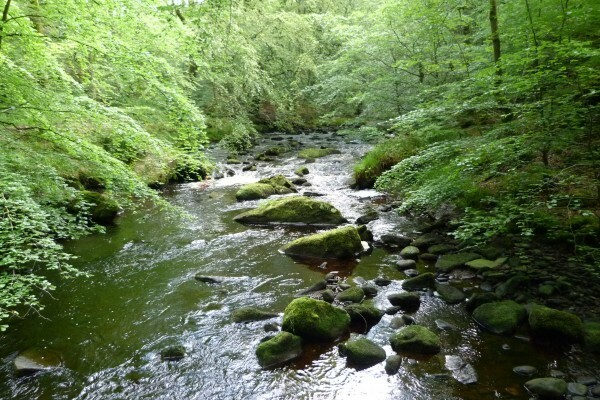 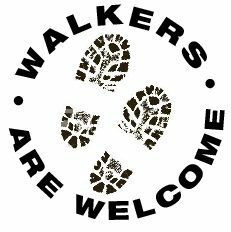 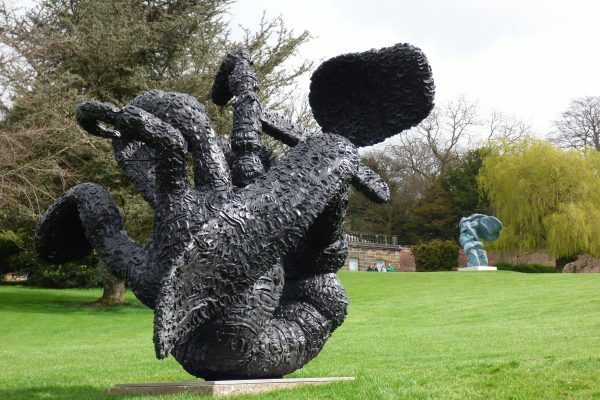 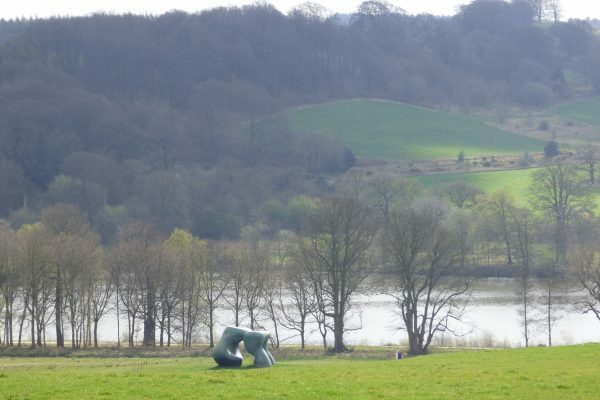 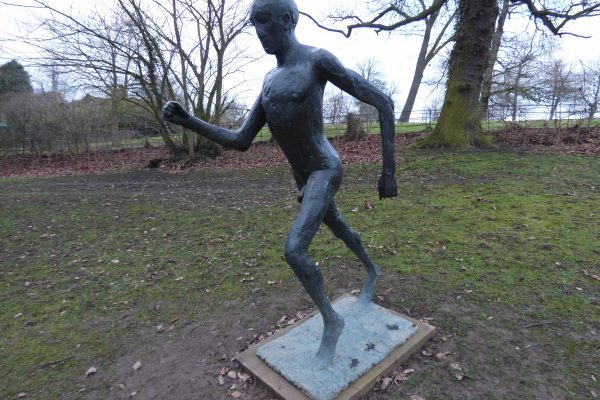 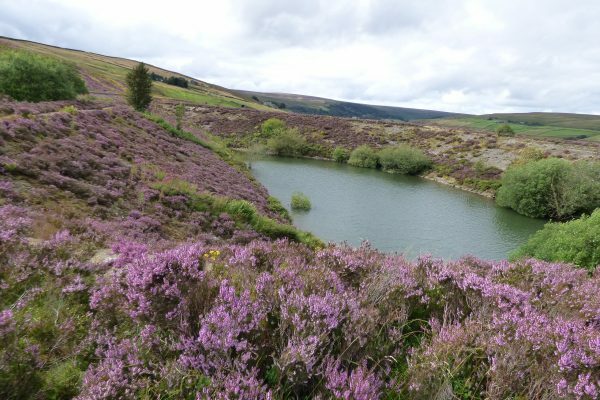 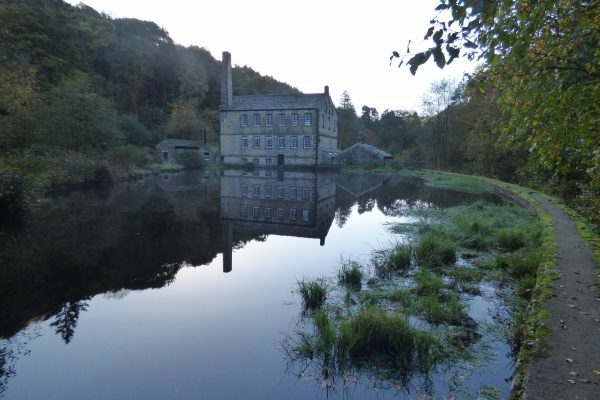 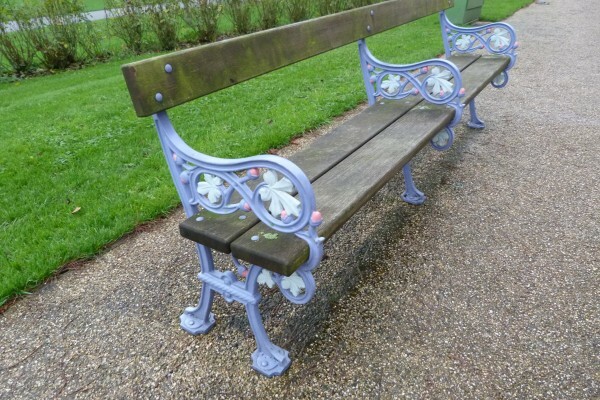 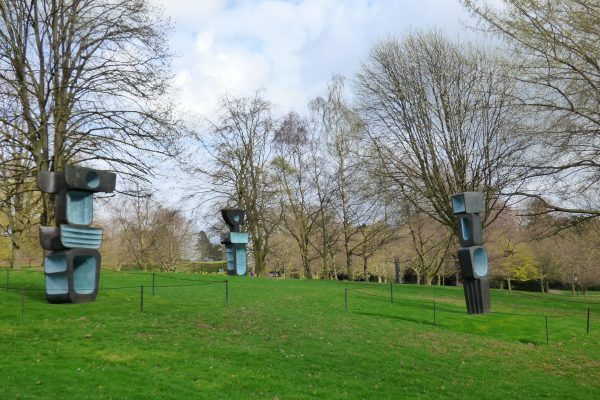 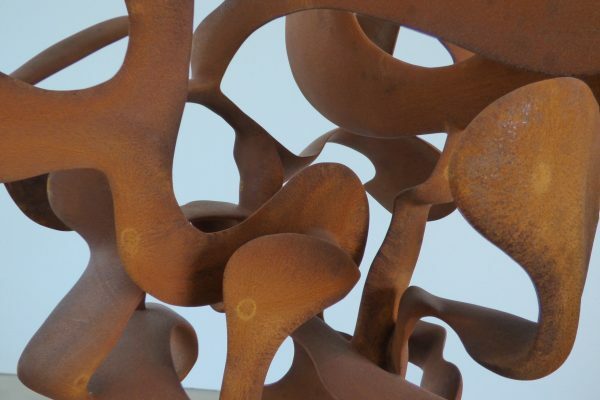 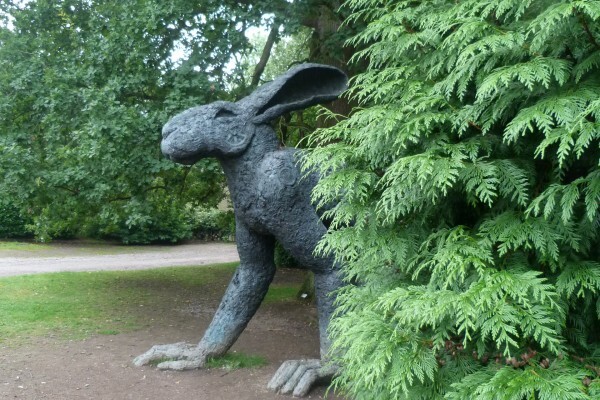 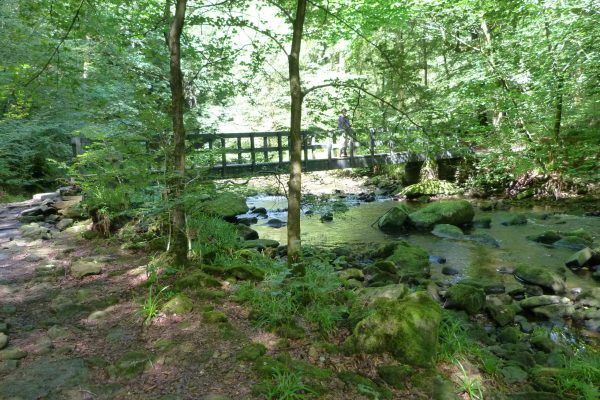 There are fantastic walks in every direction along riverside paths, moorland tracks and stone-paved packhorse trails. 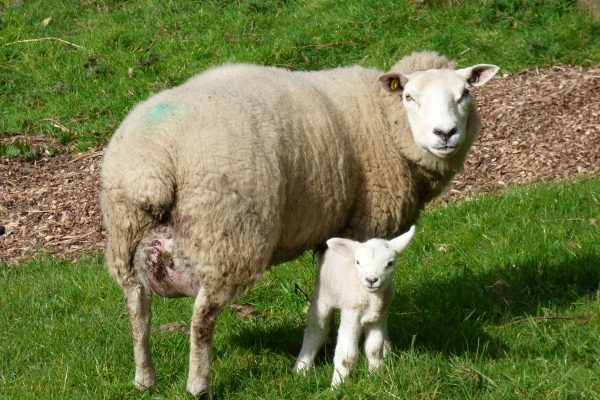 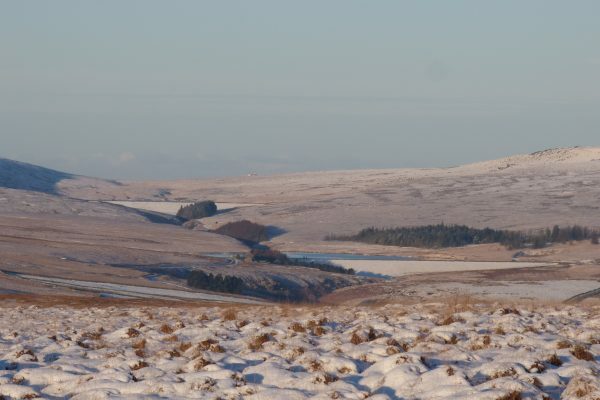 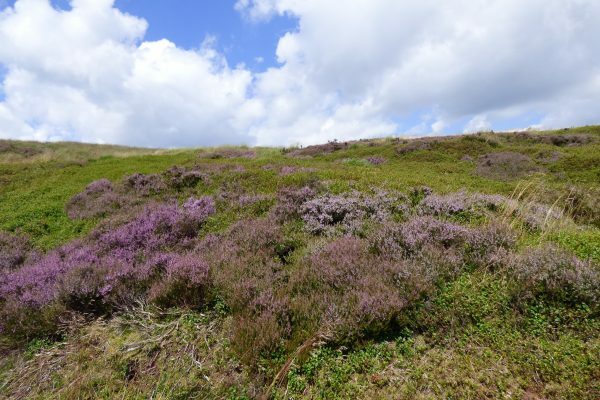 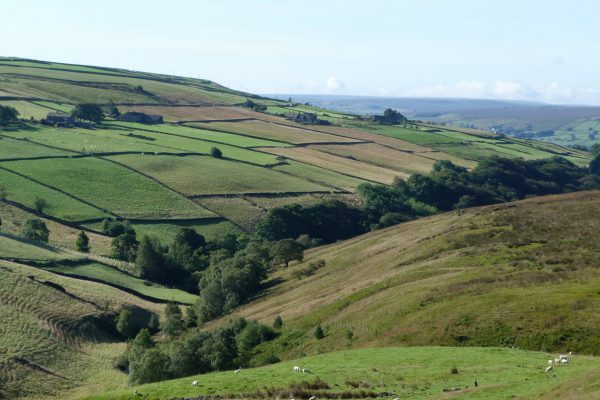 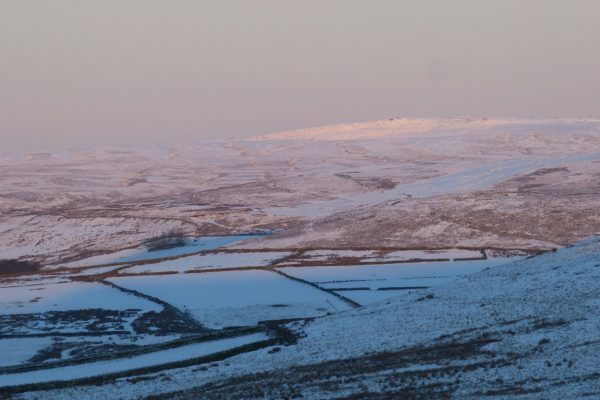 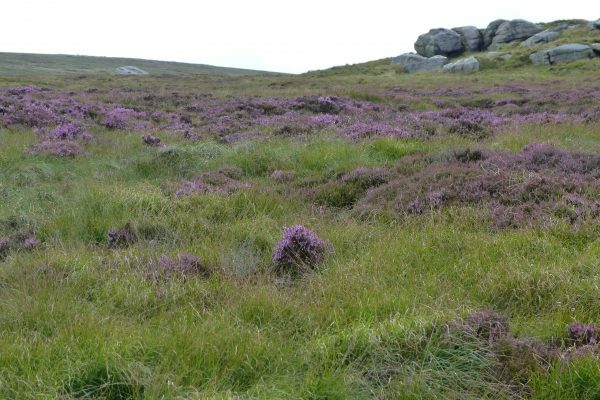 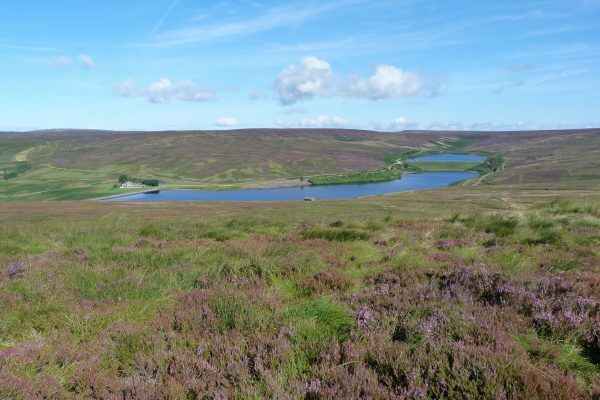 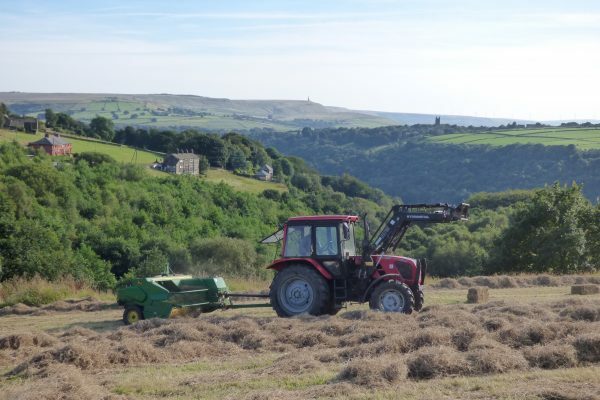 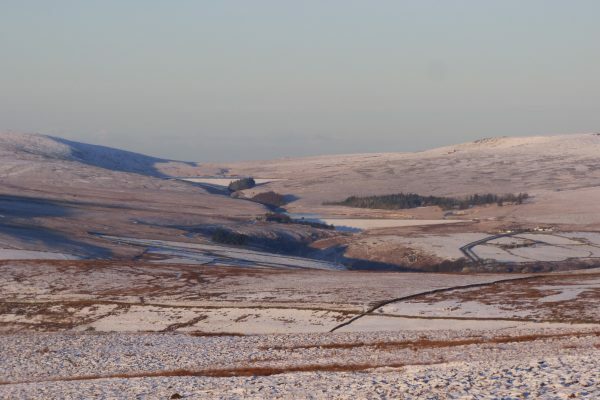 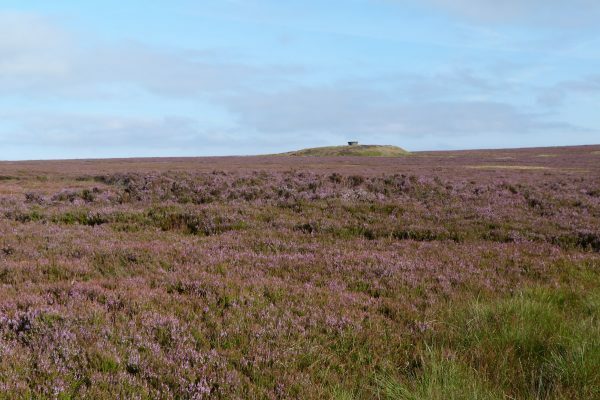 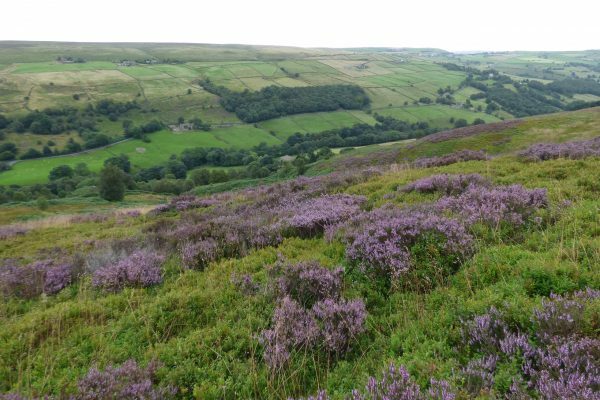 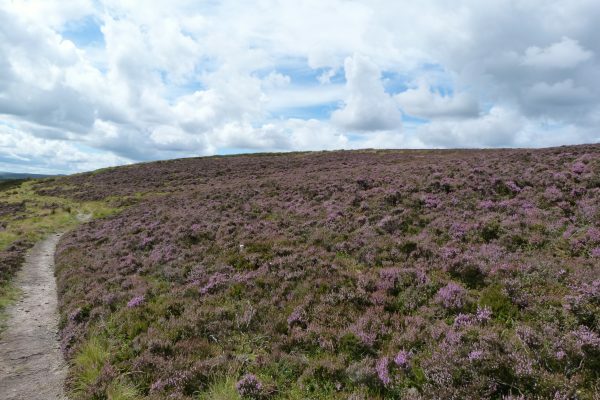 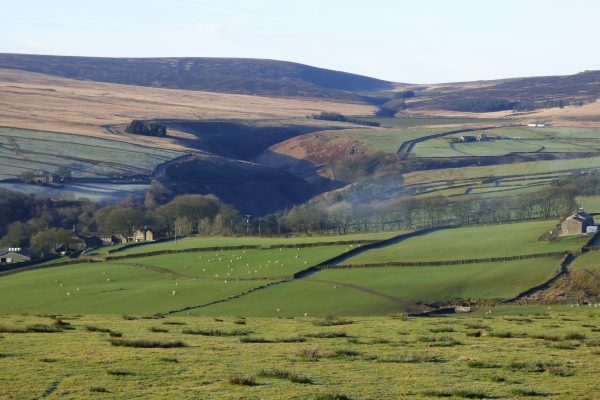 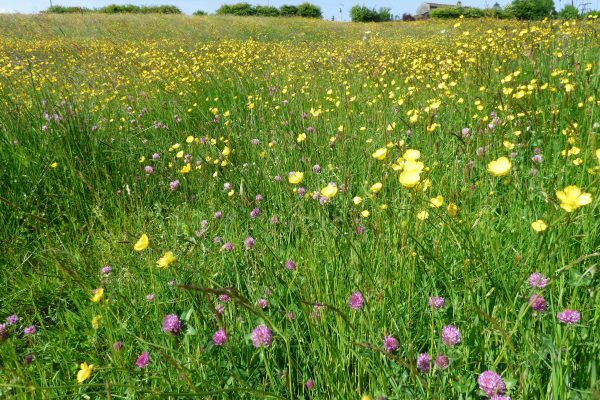 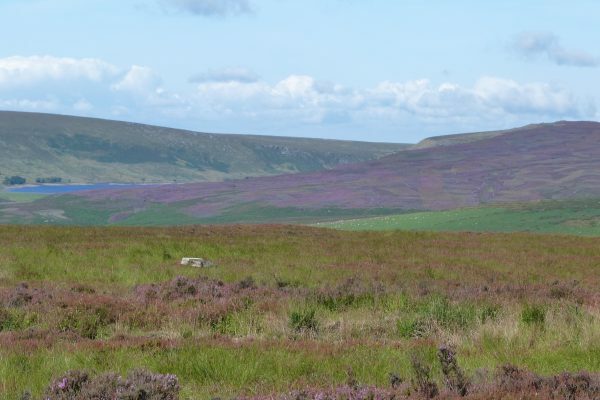 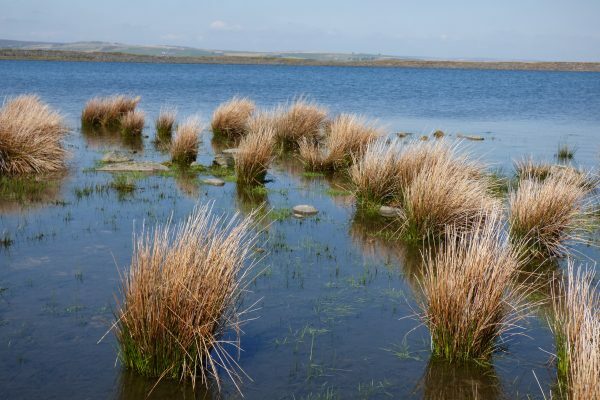 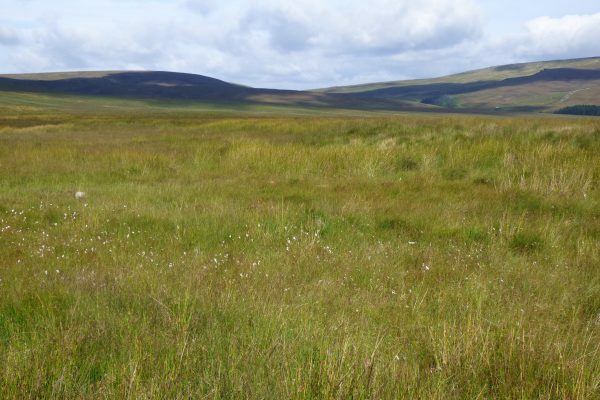 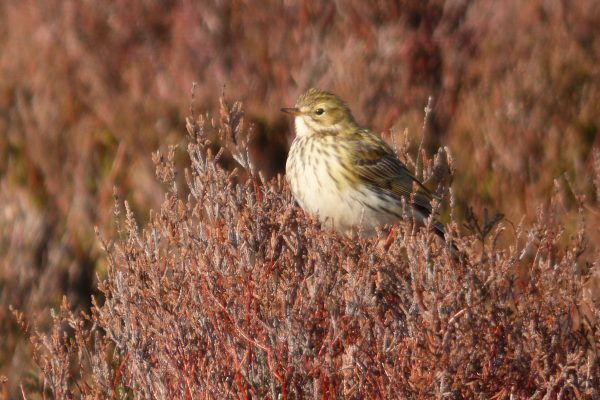 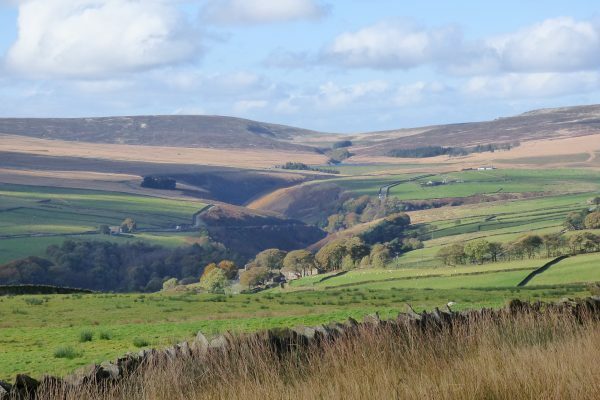 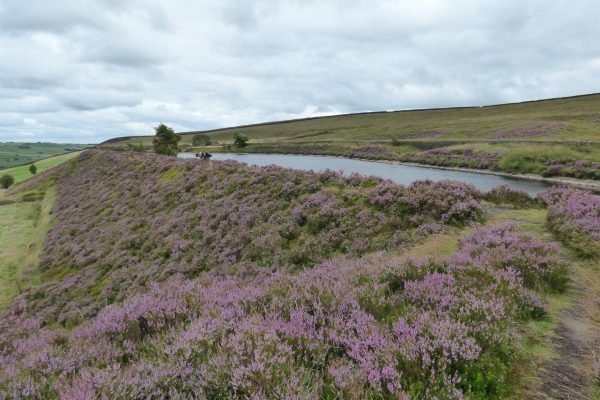 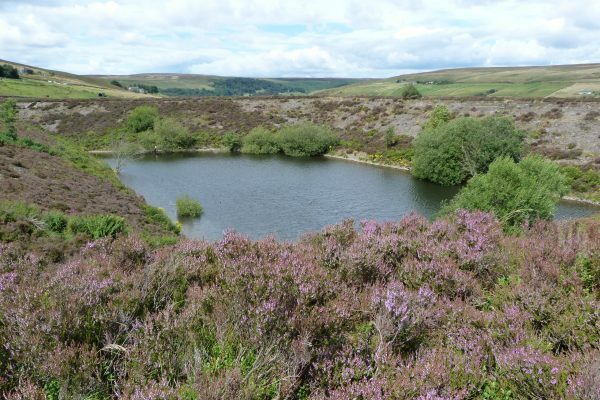 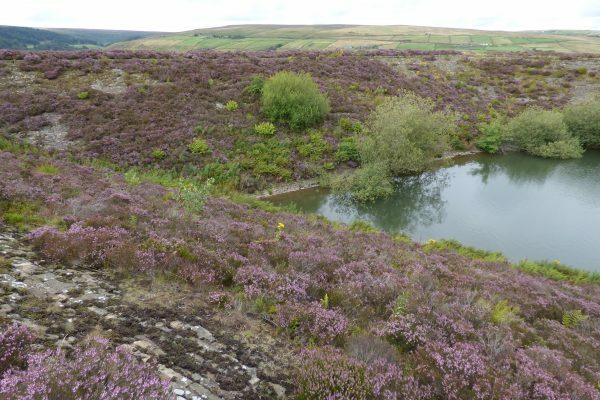 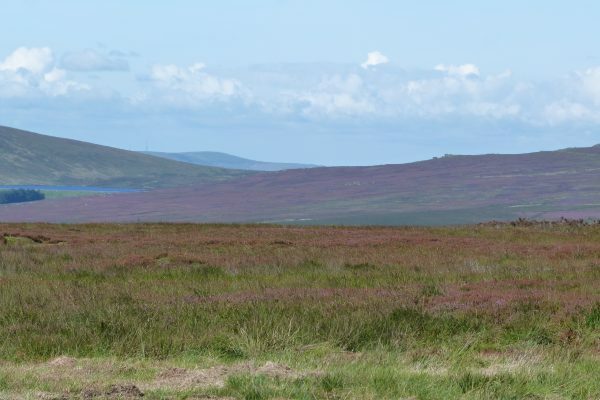 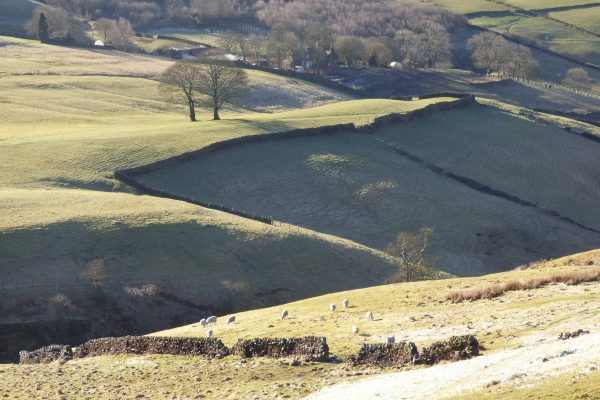 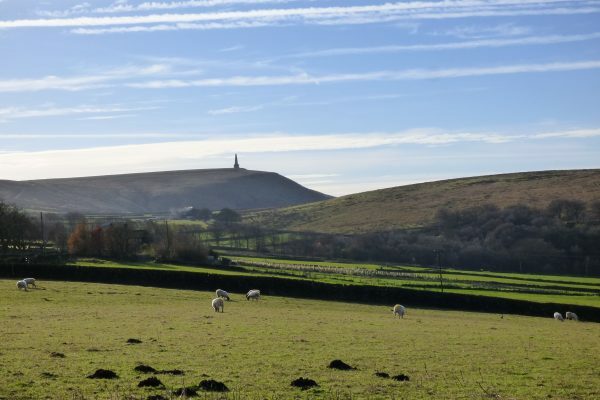 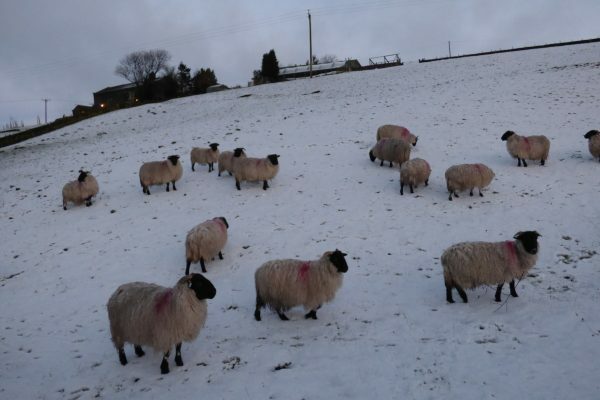 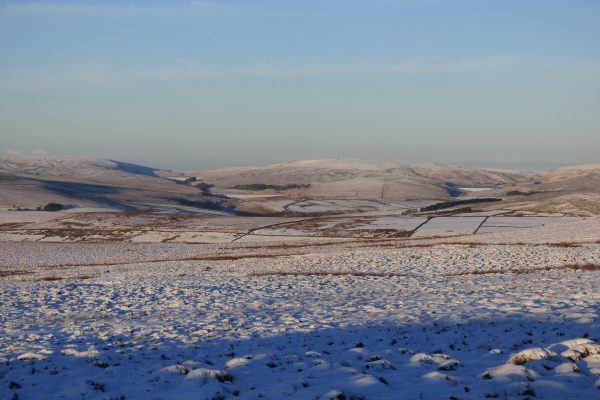 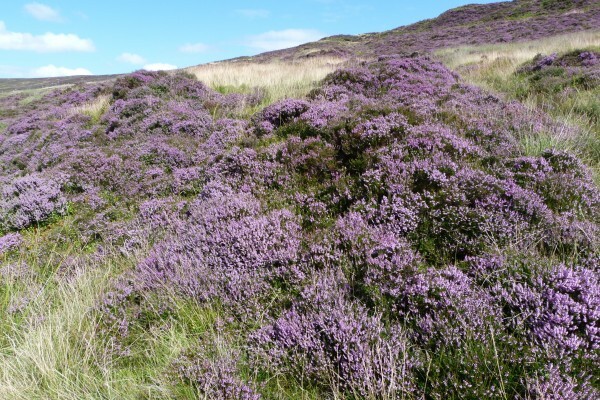 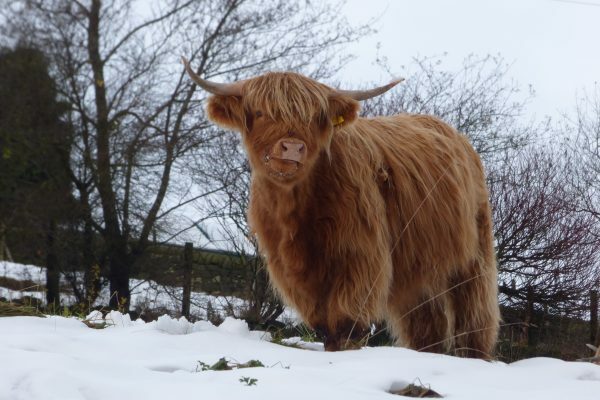 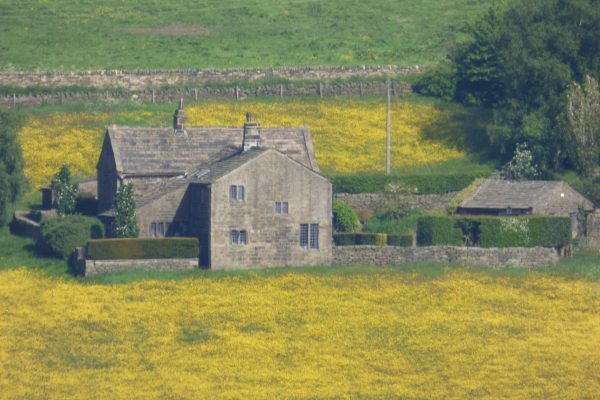 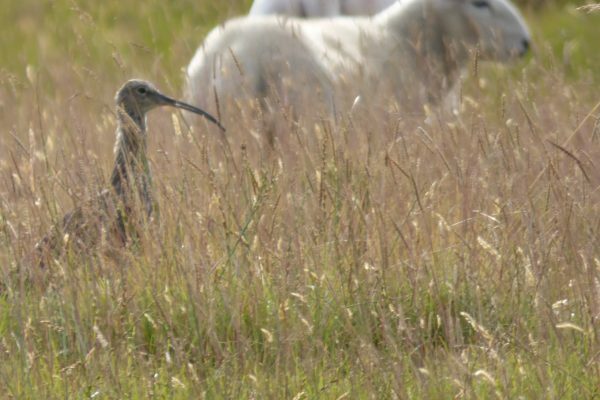 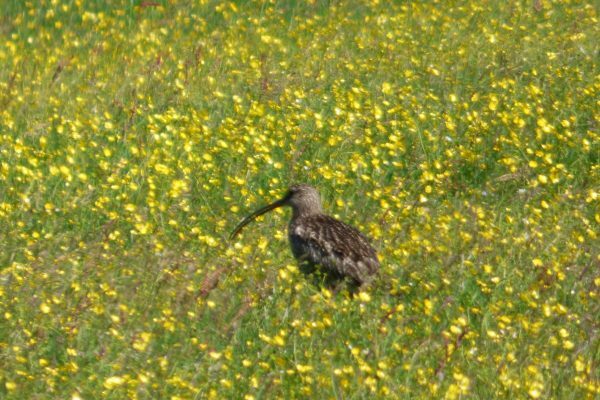 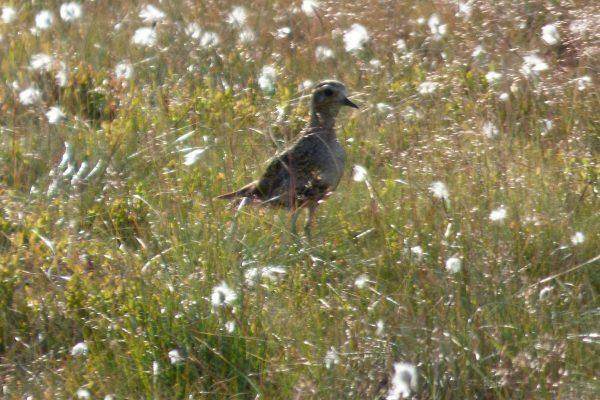 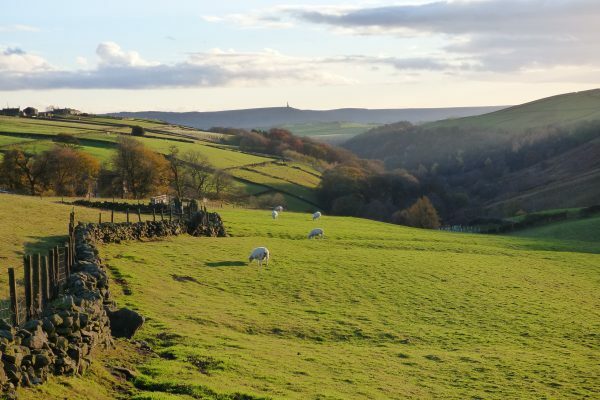 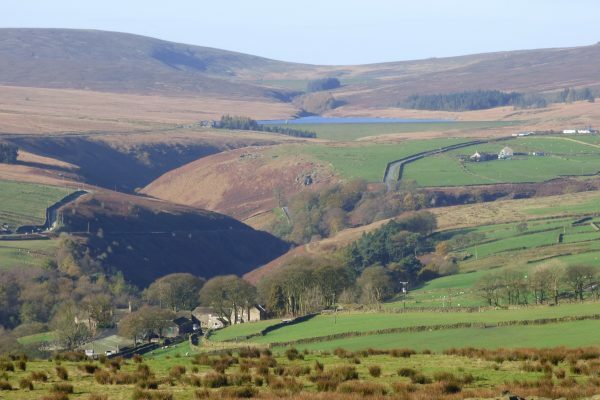 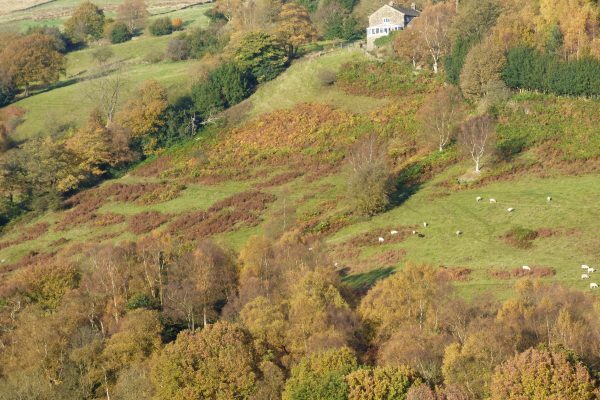 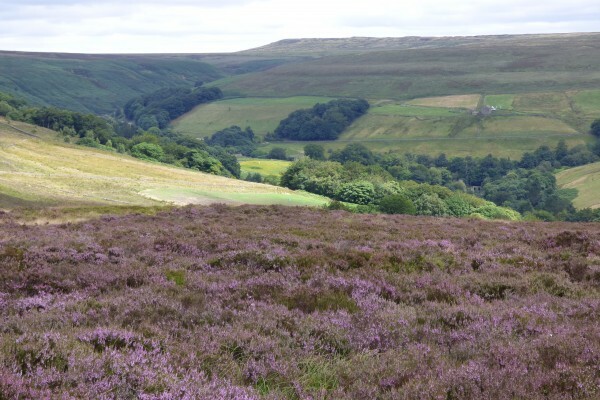 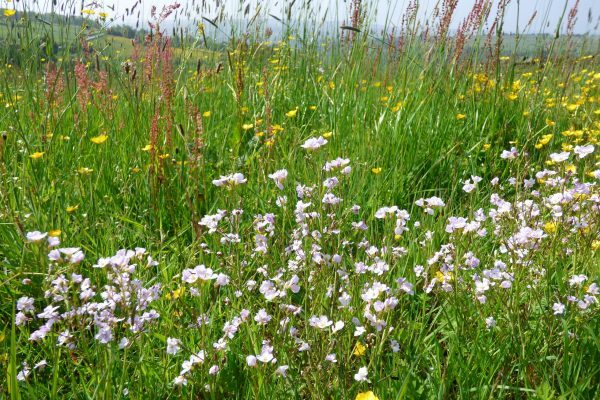 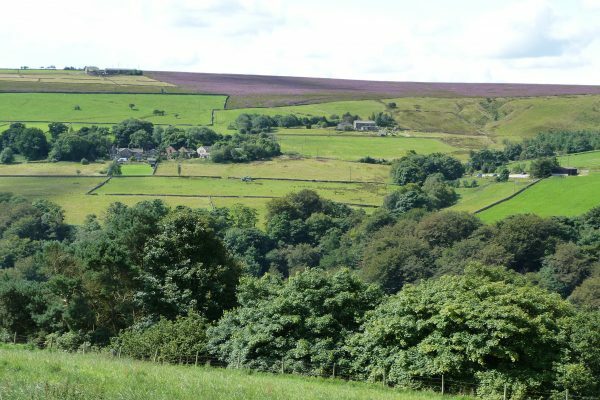 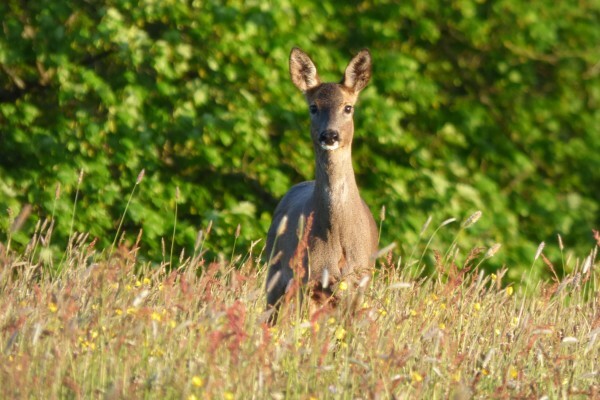 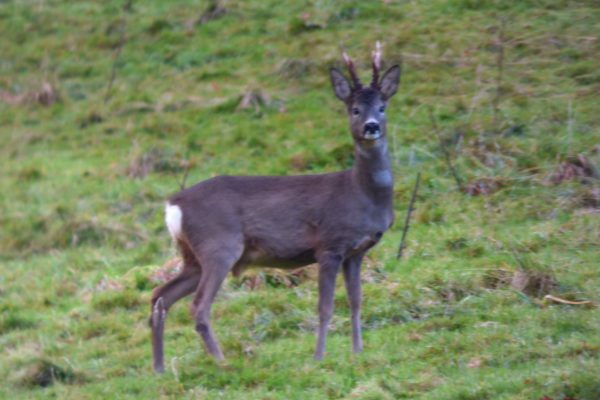 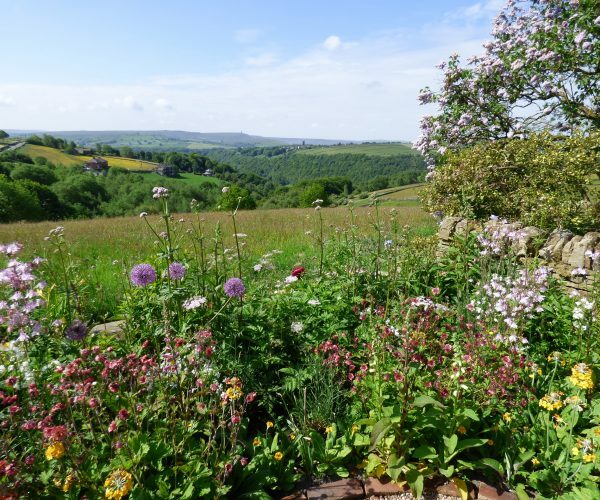 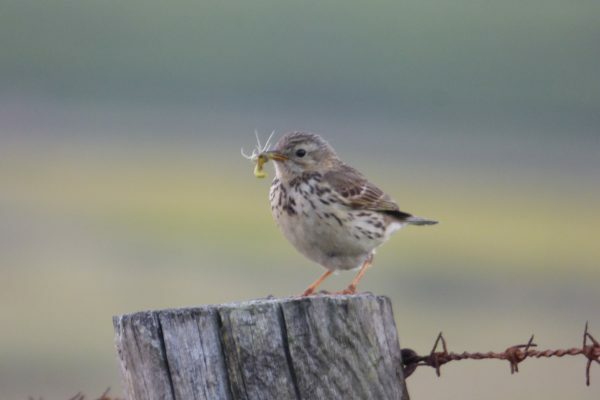 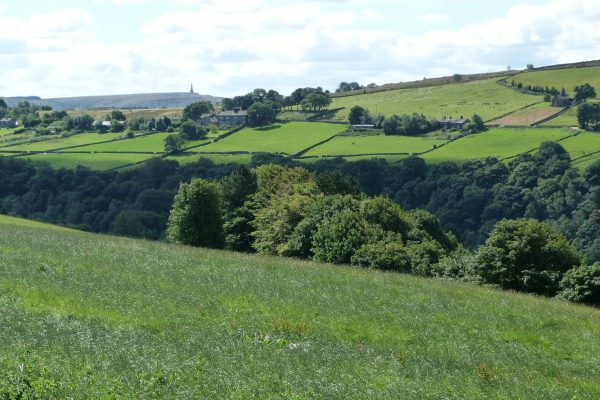 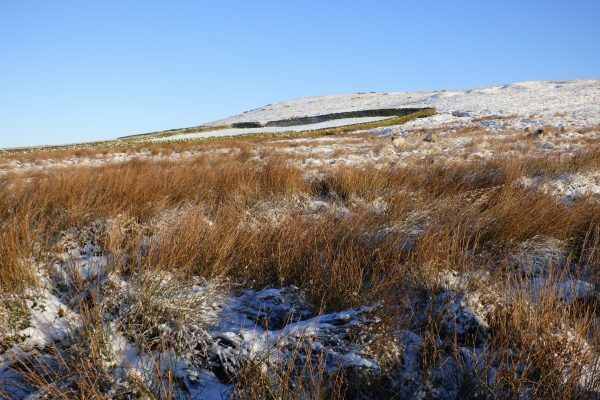 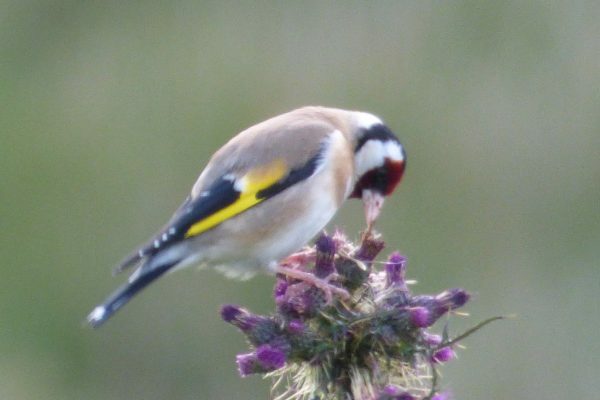 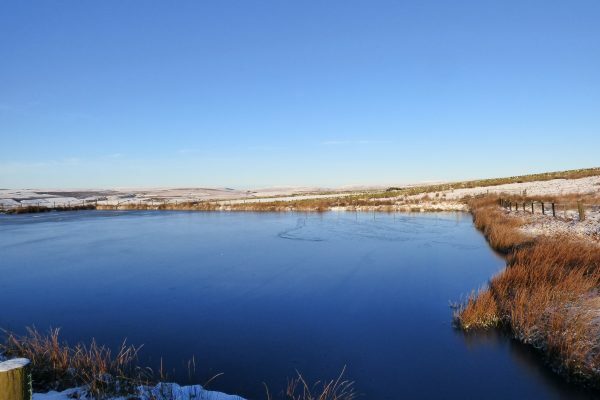 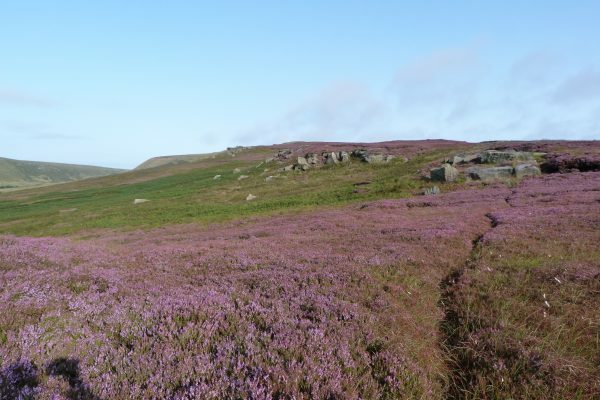 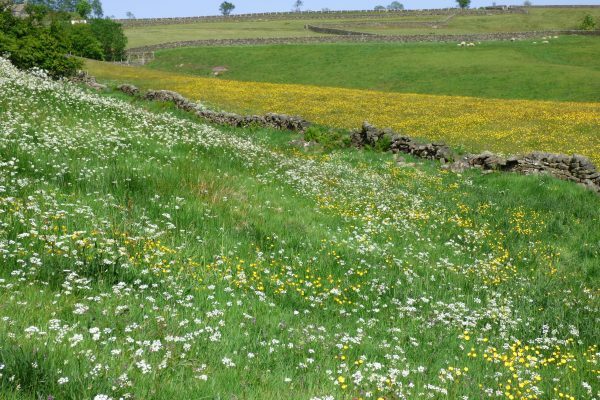 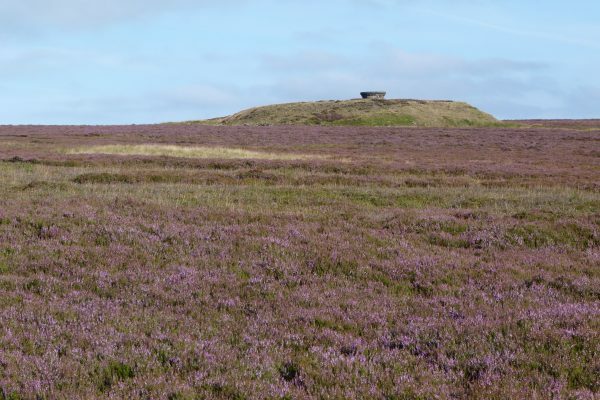 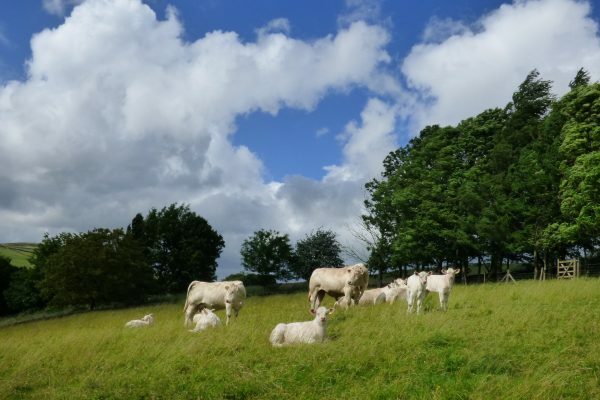 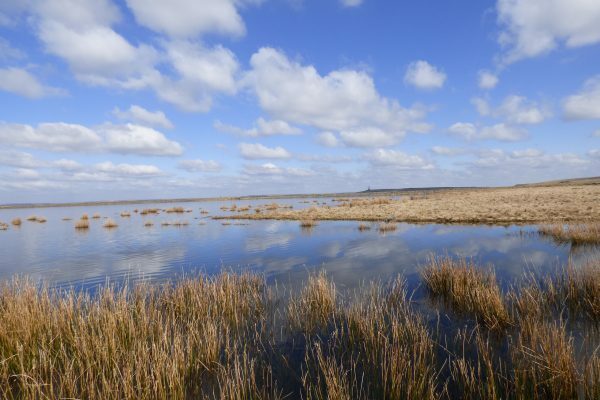 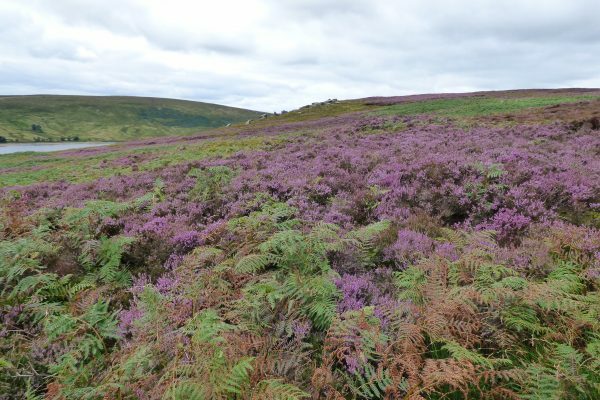 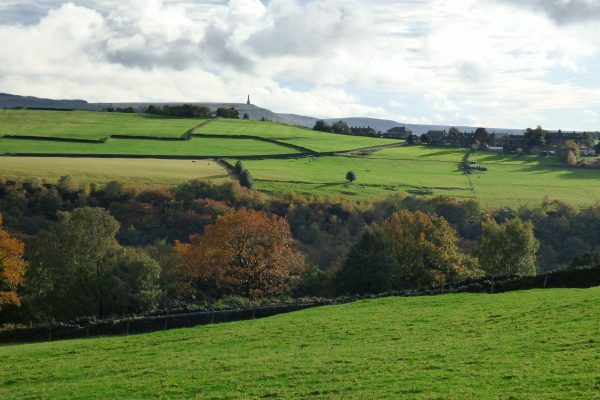 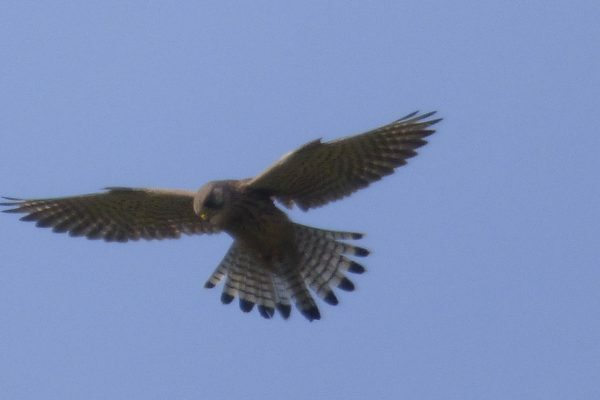 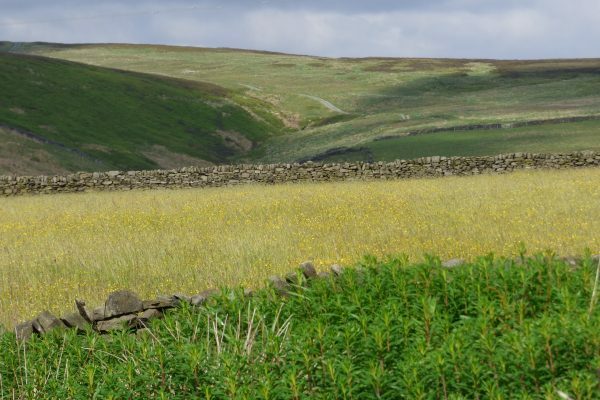 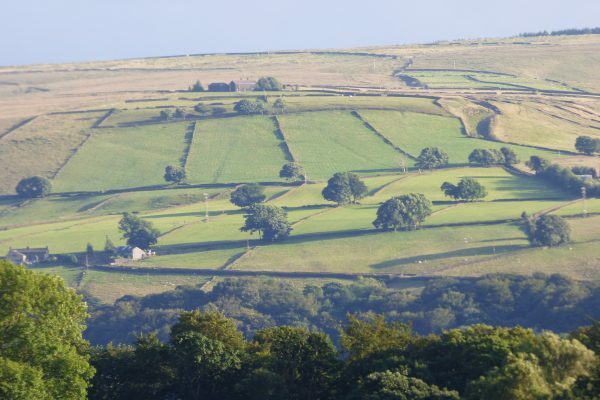 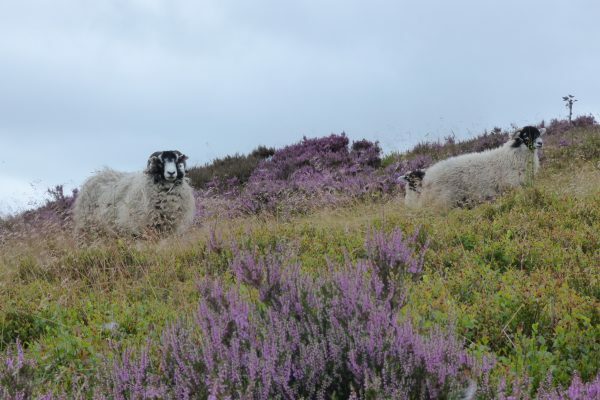 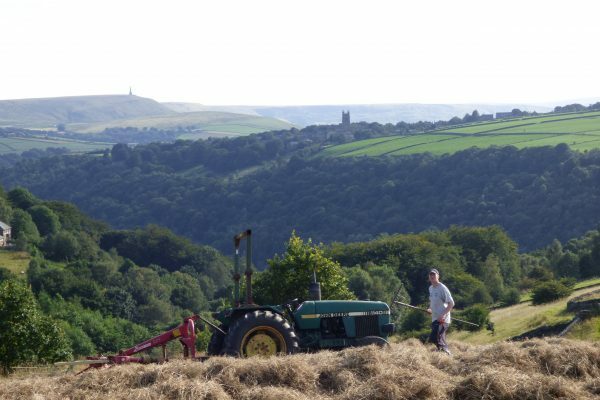 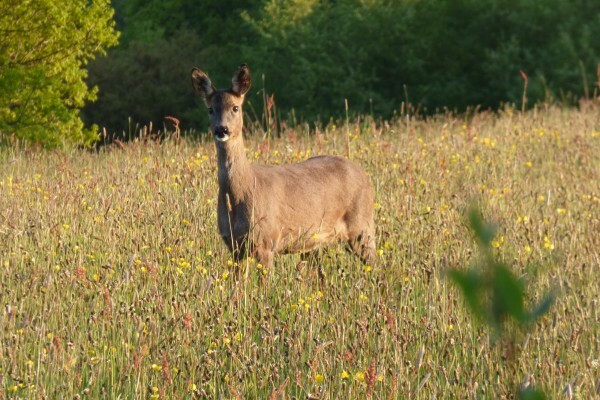 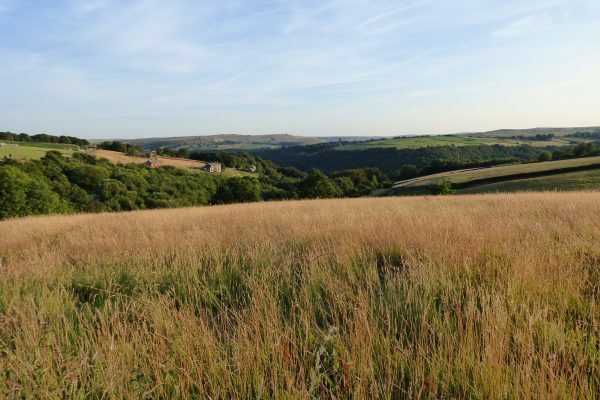 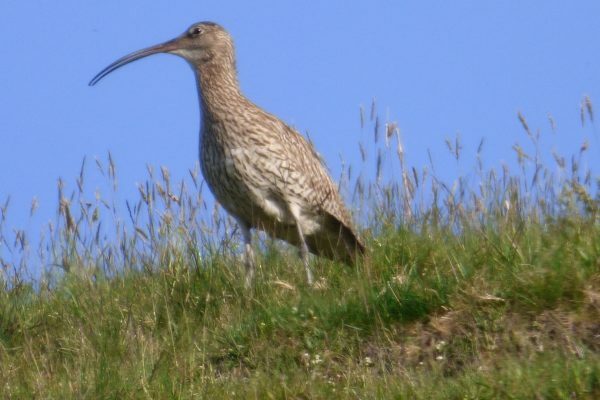 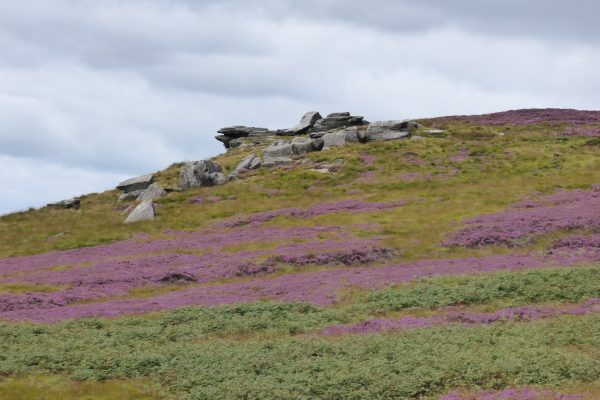 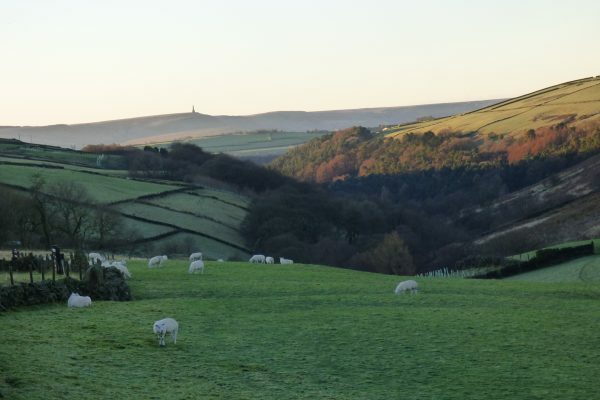 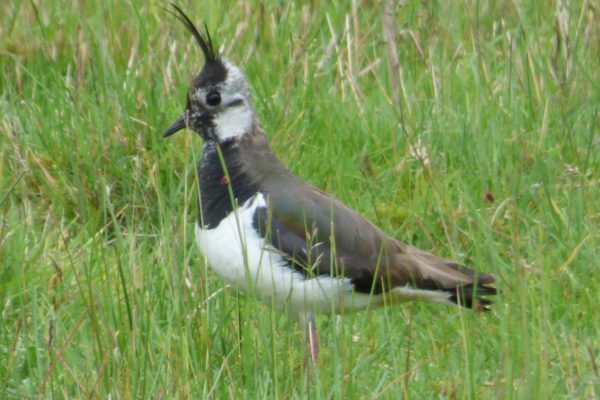 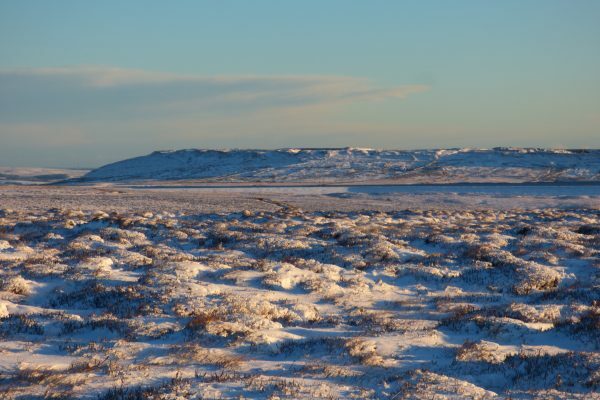 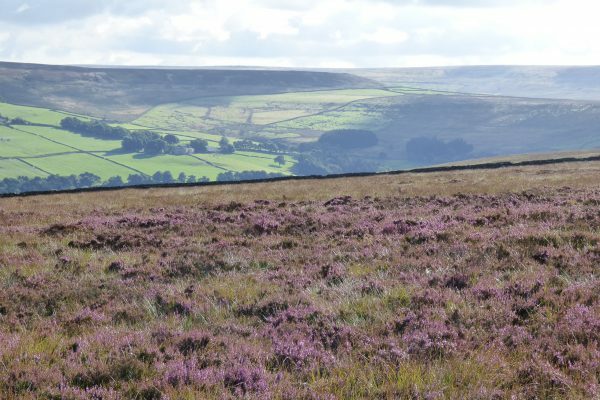 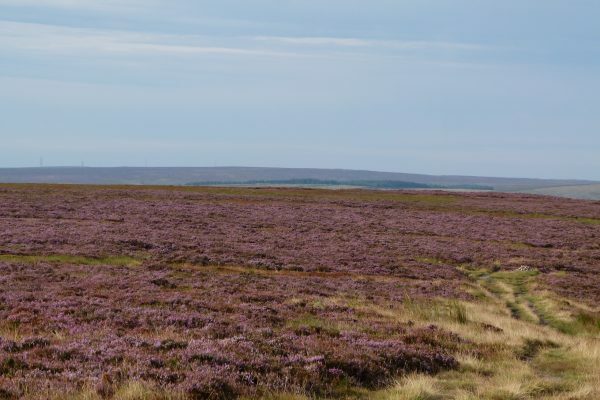 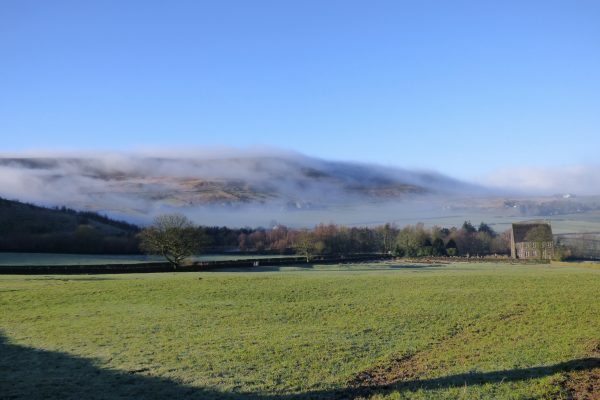 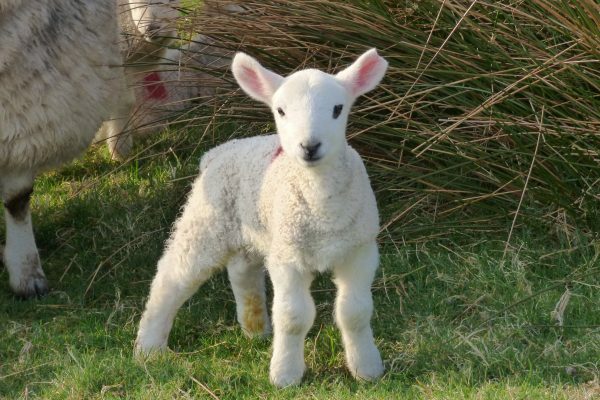 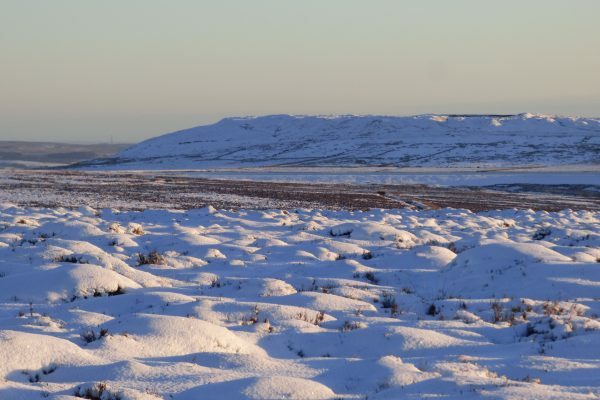 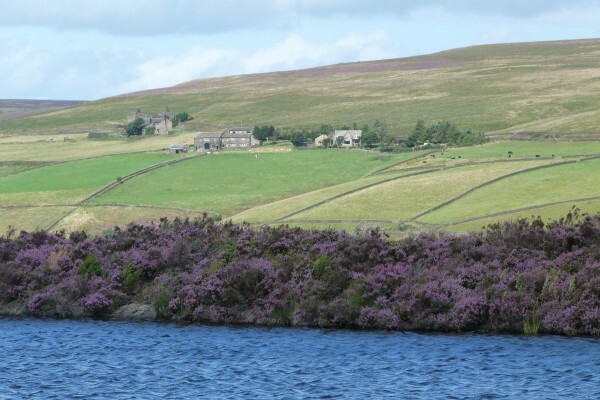 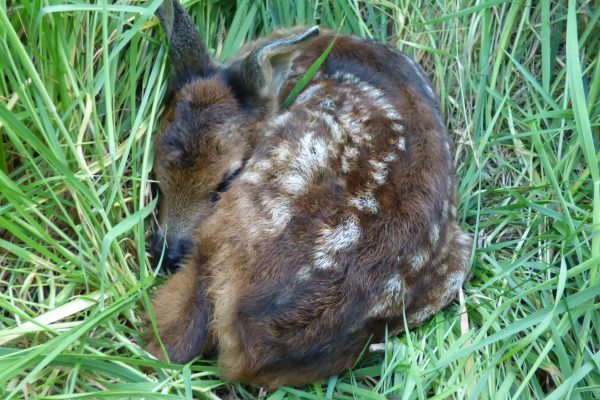 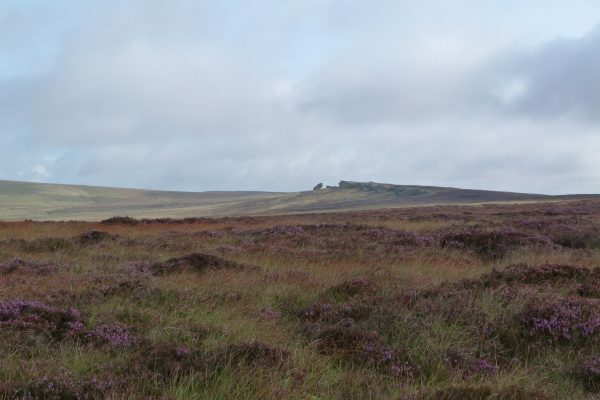 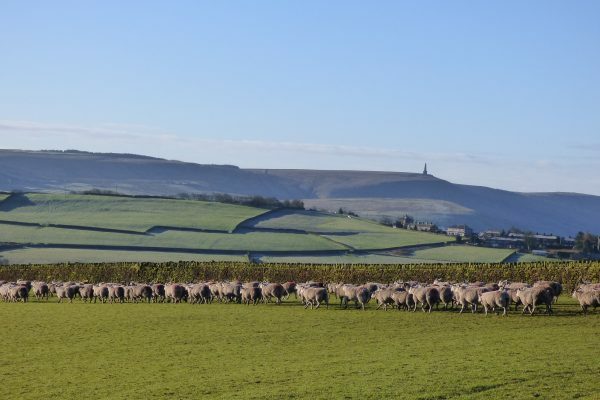 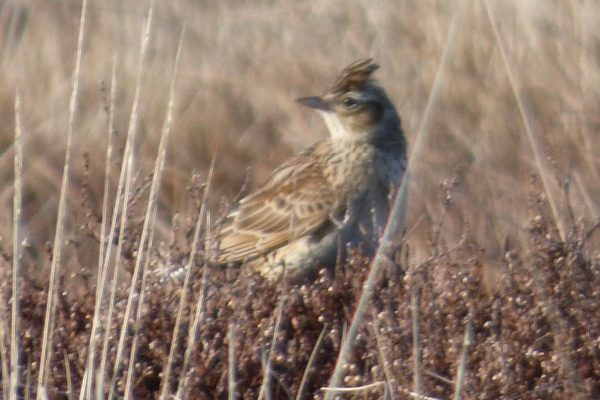 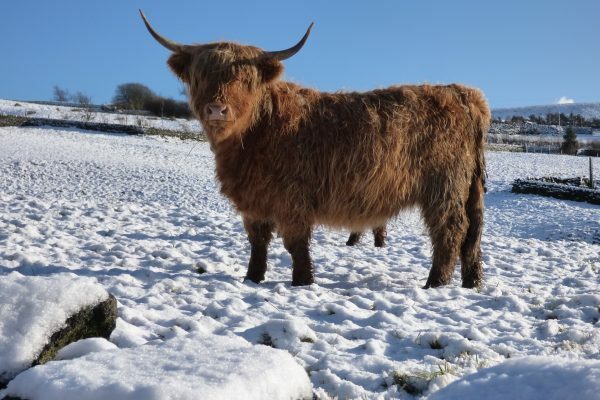 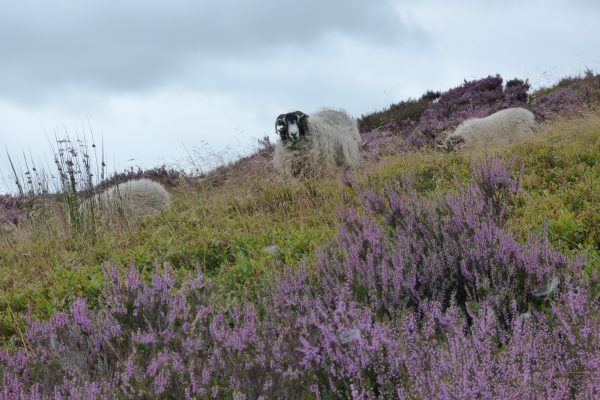 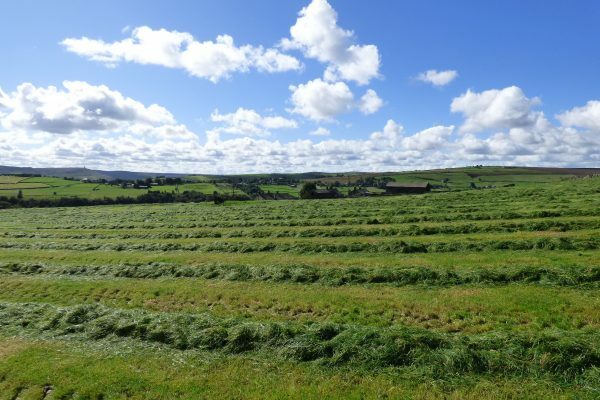 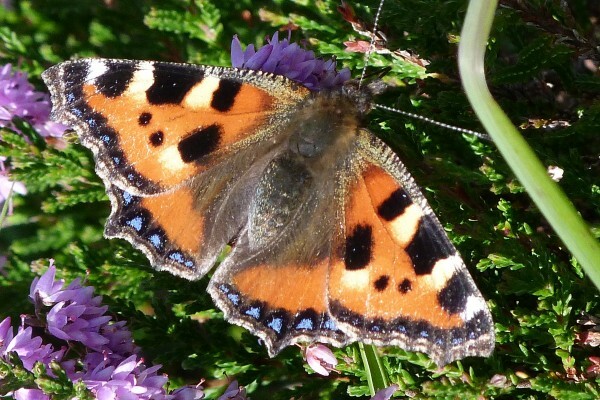 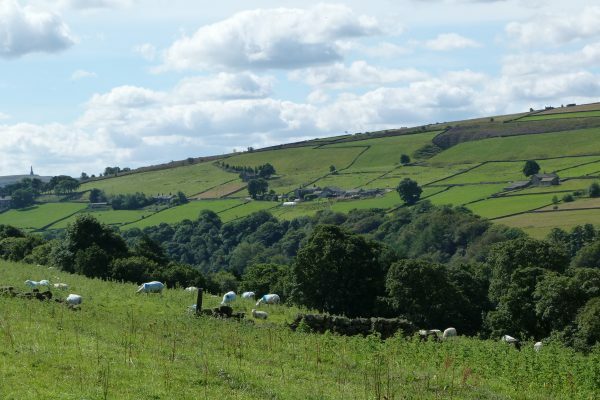 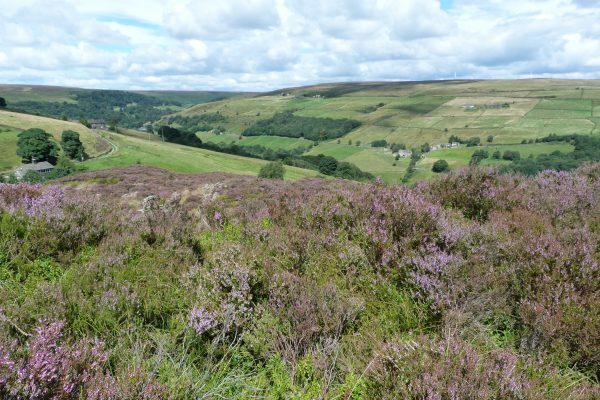 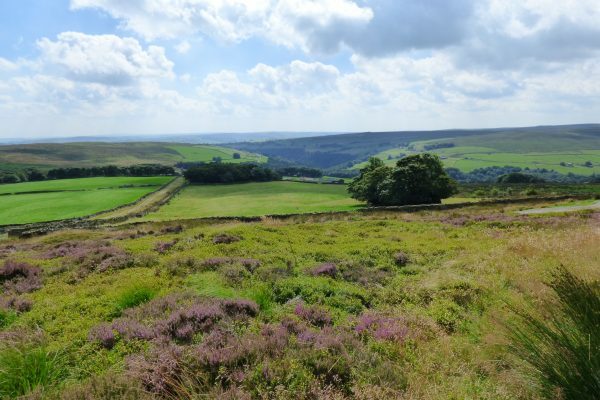 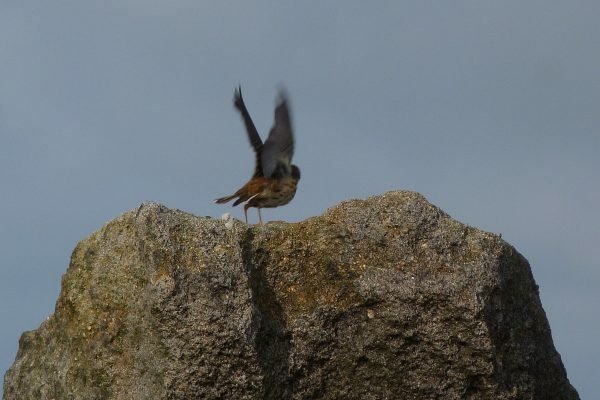 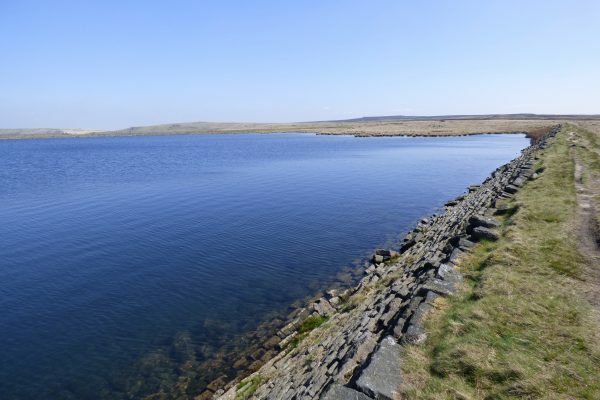 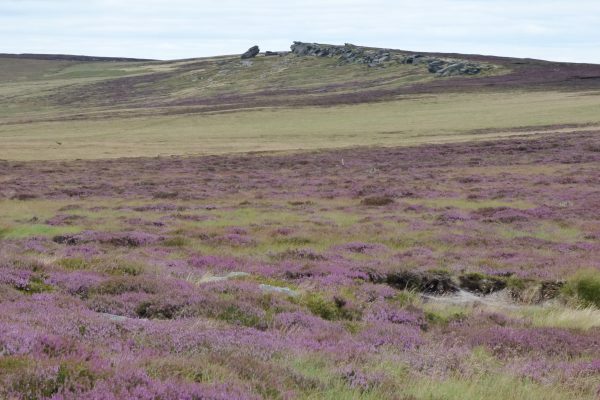 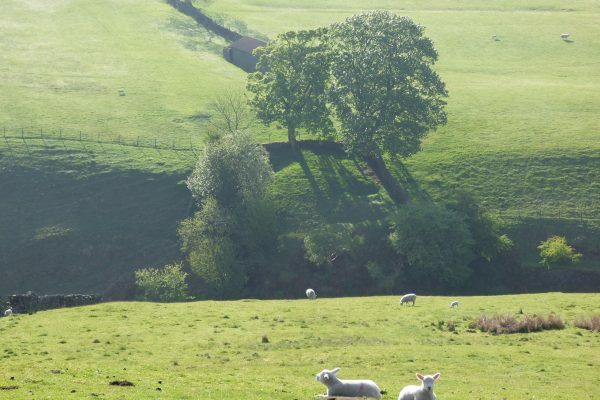 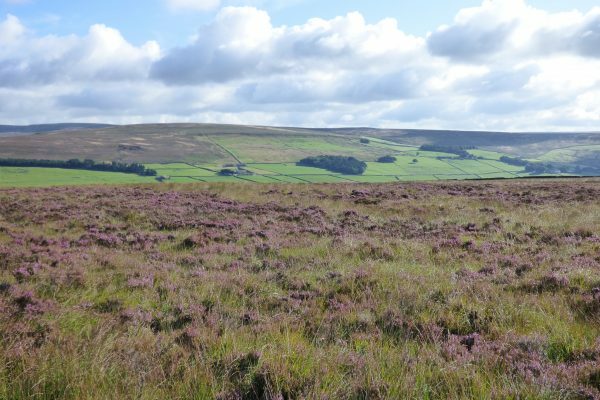 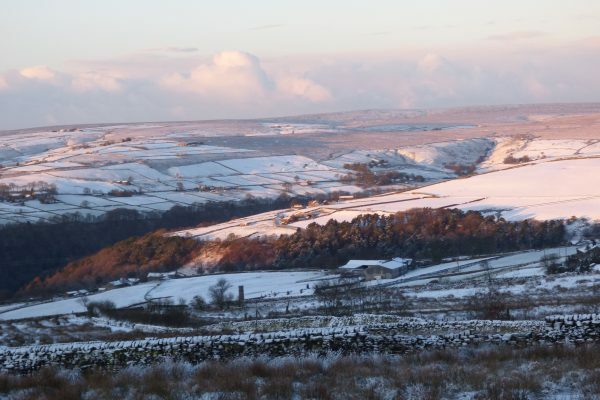 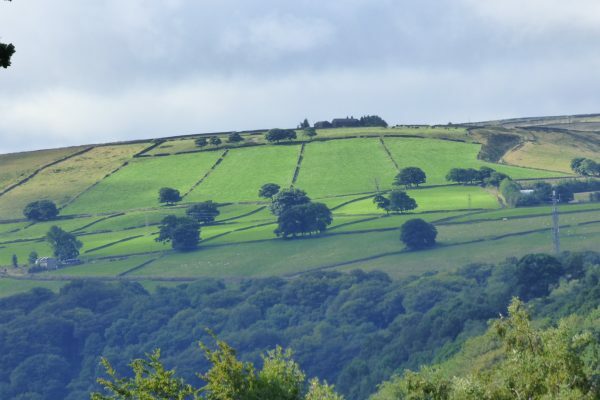 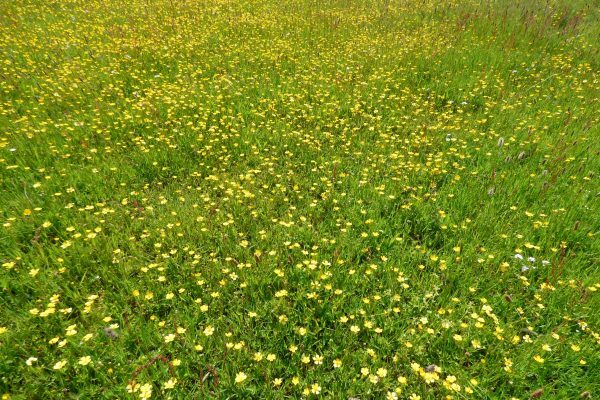 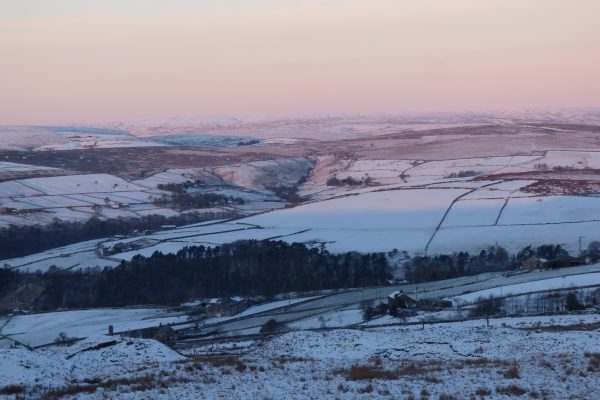 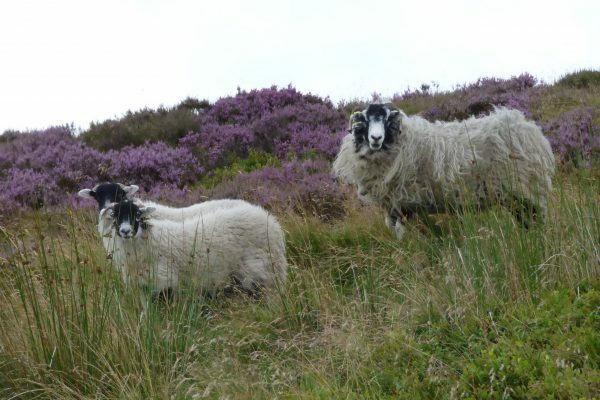 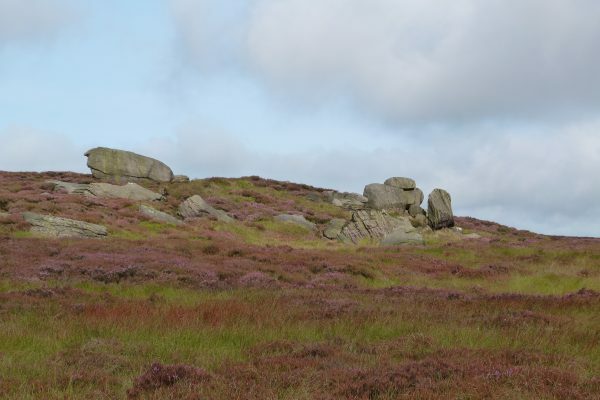 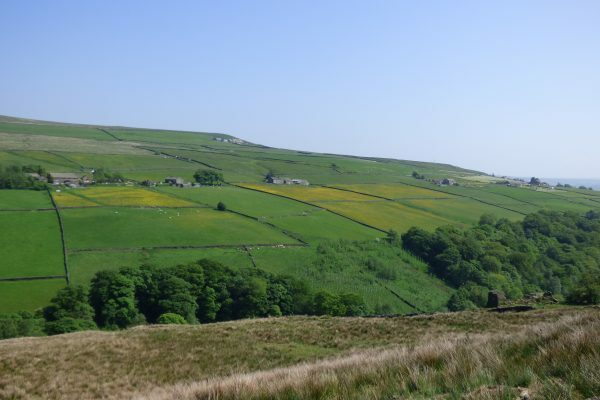 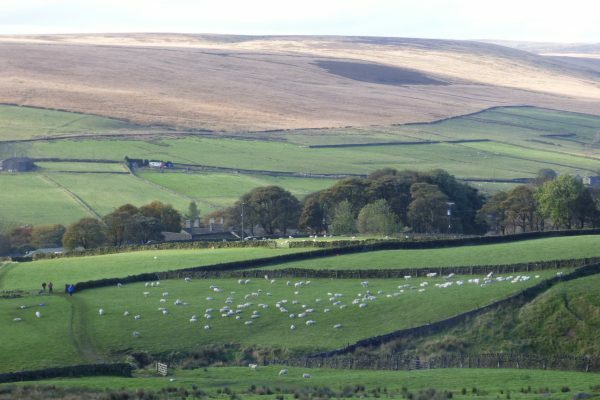 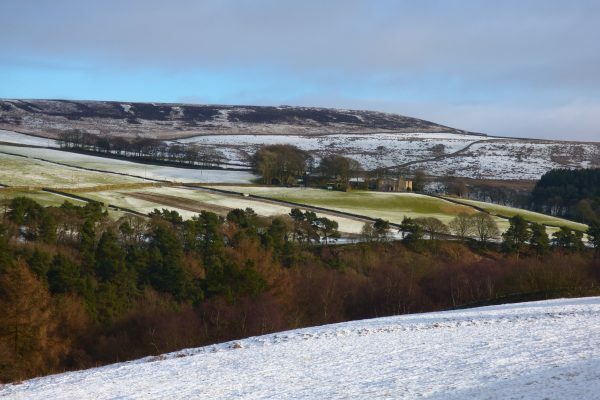 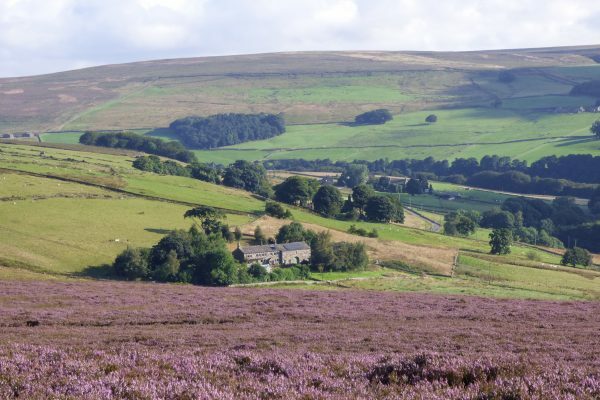 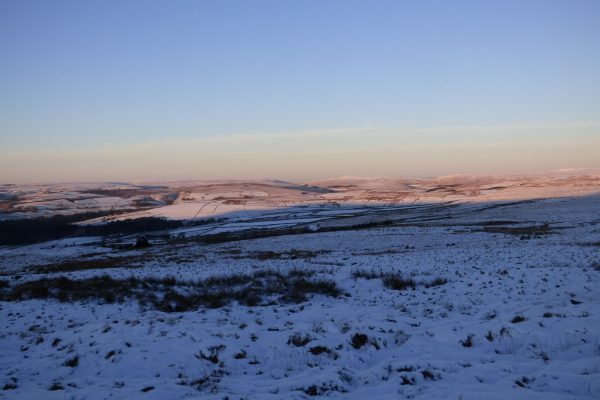 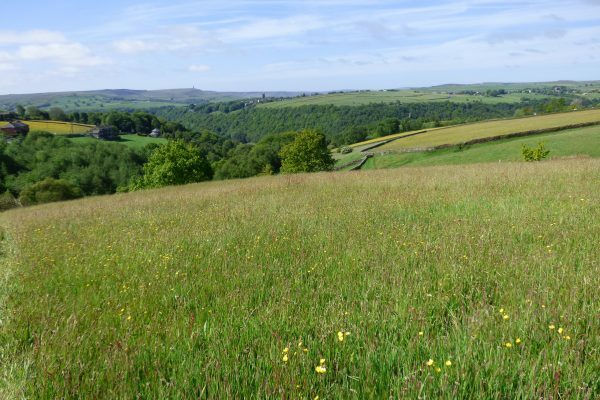 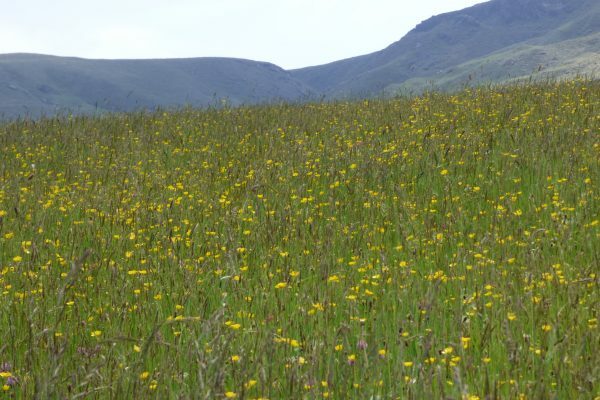 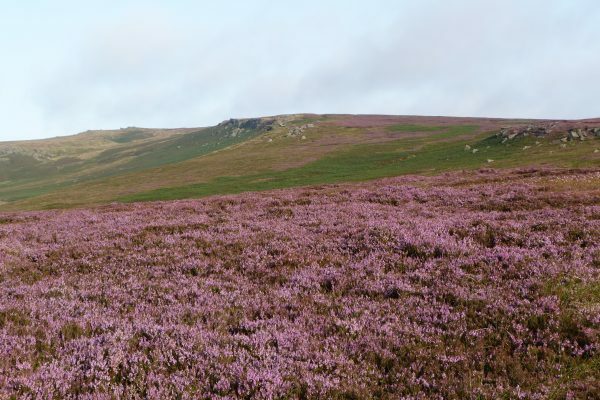 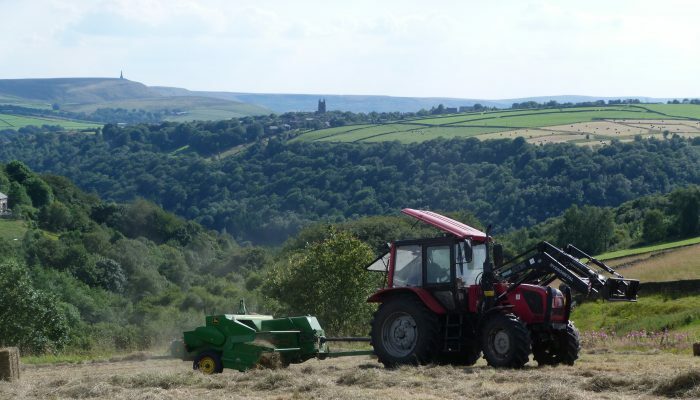 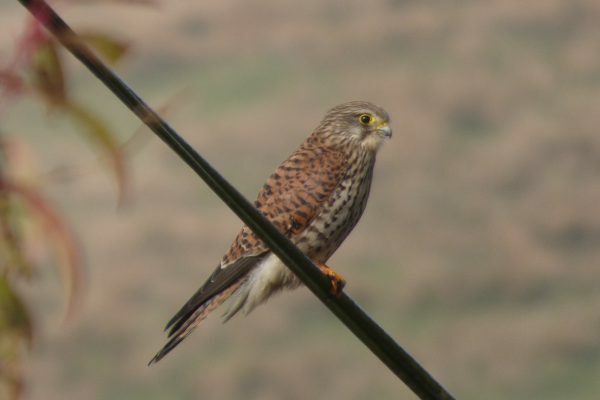 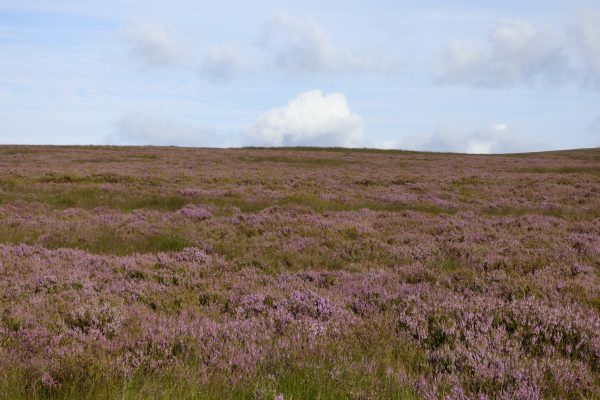 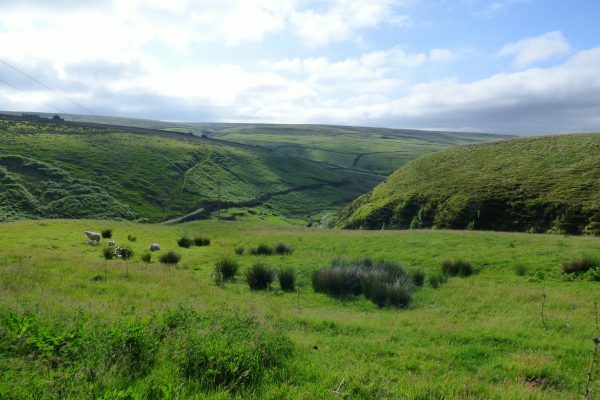 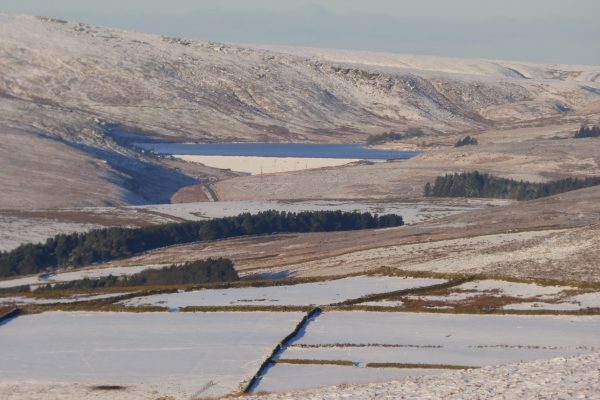 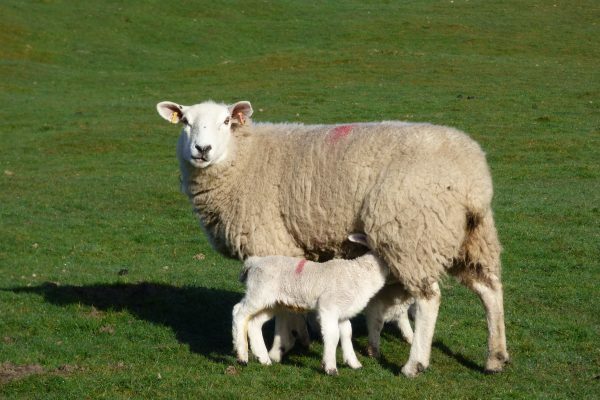 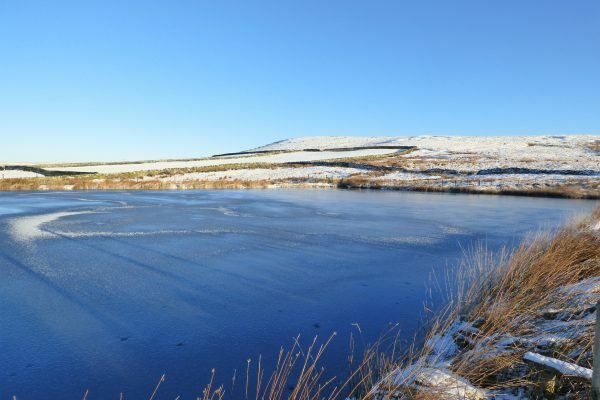 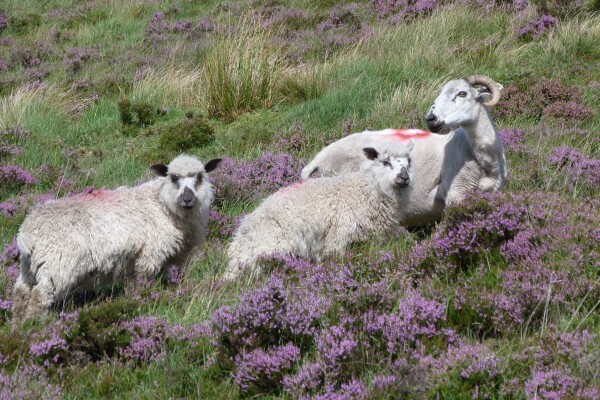 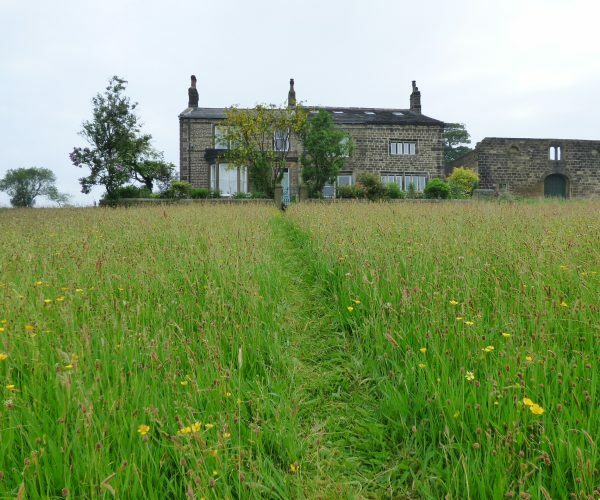 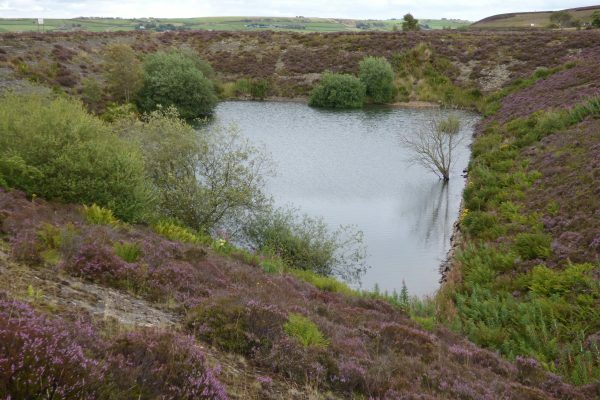 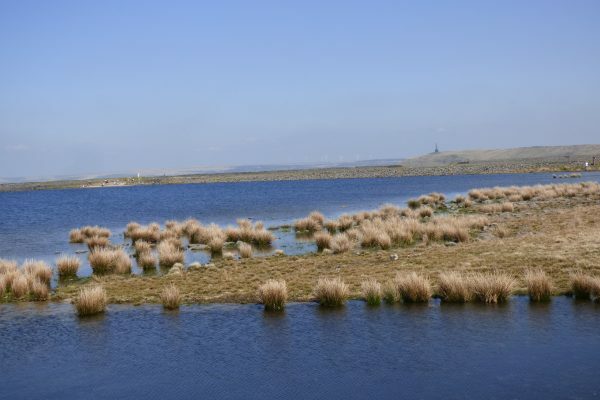 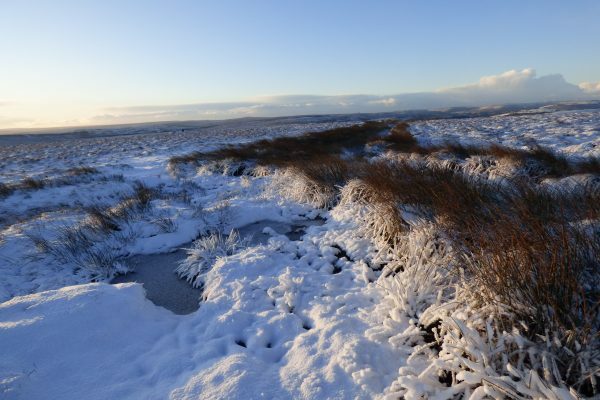 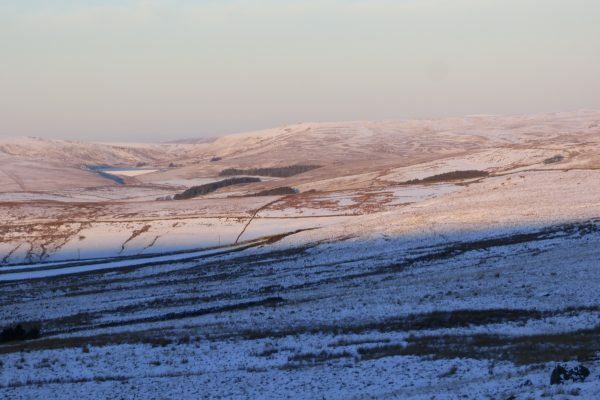 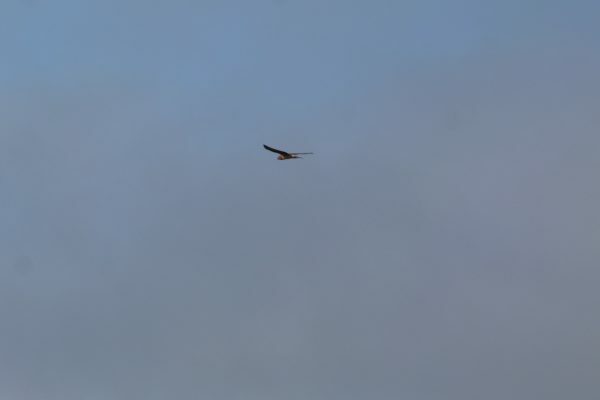 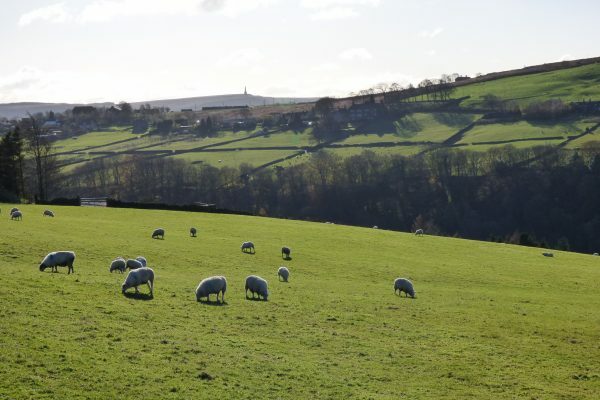 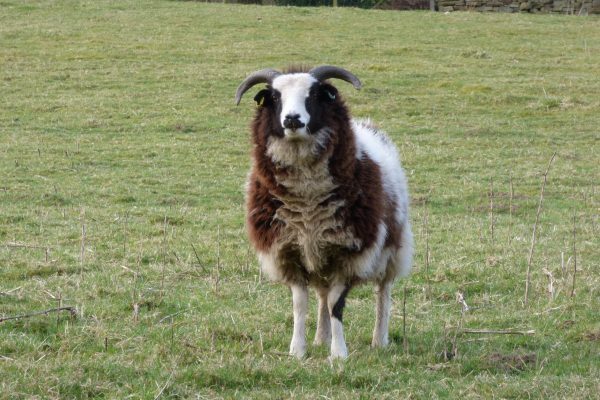 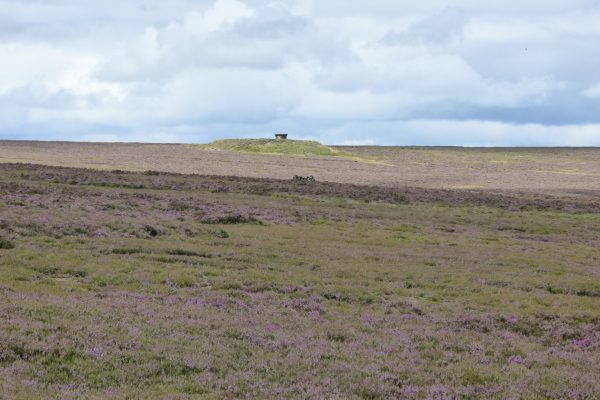 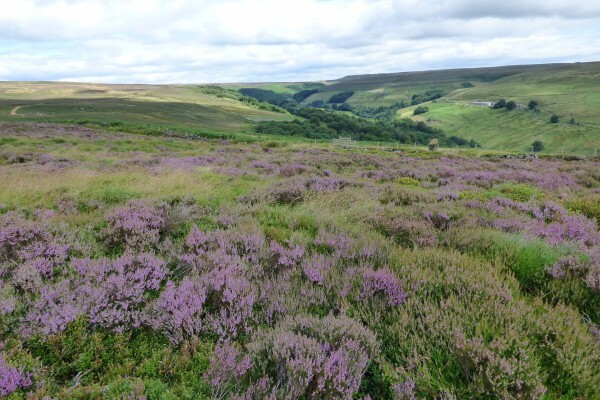 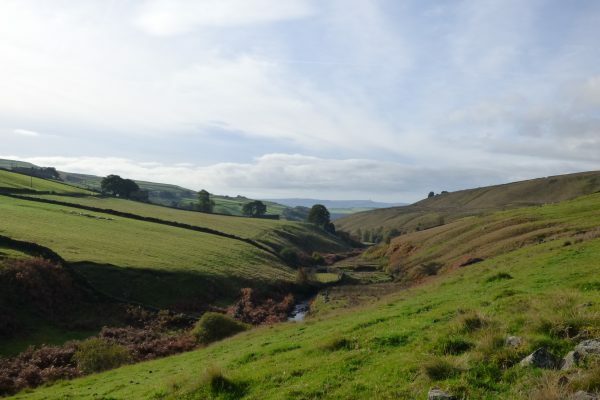 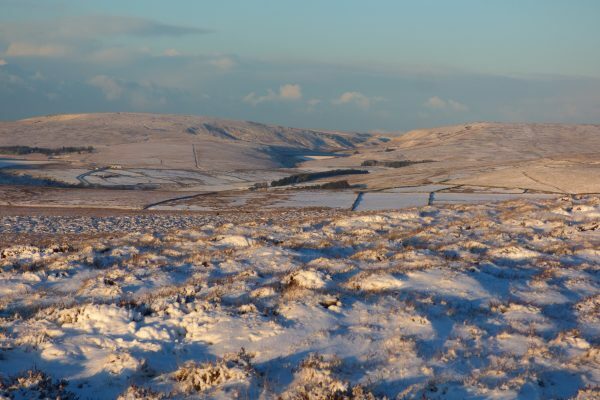 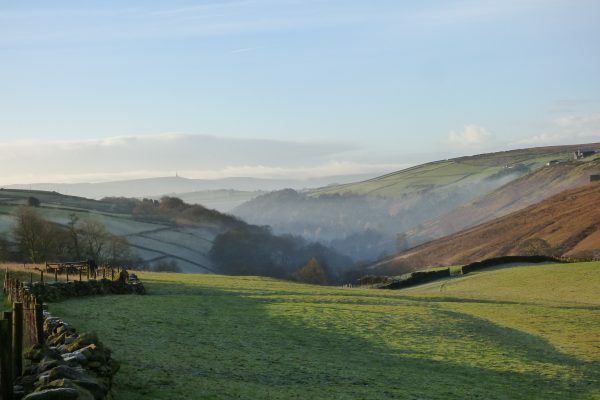 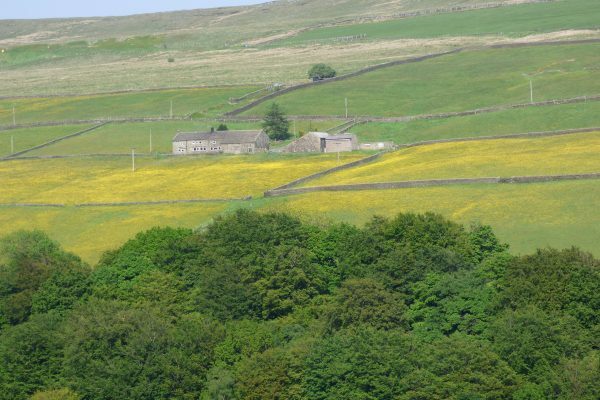 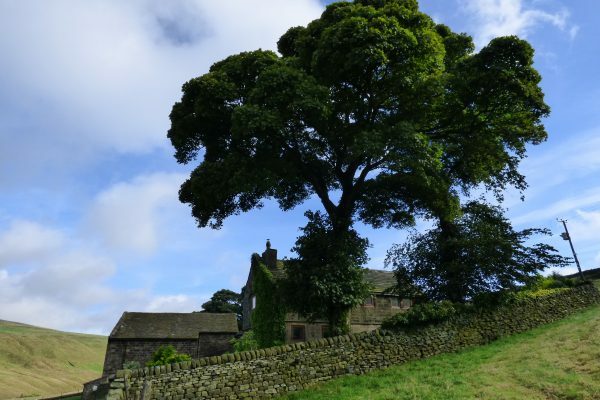 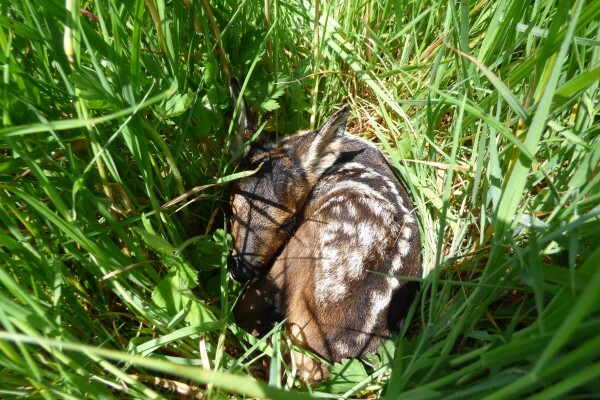 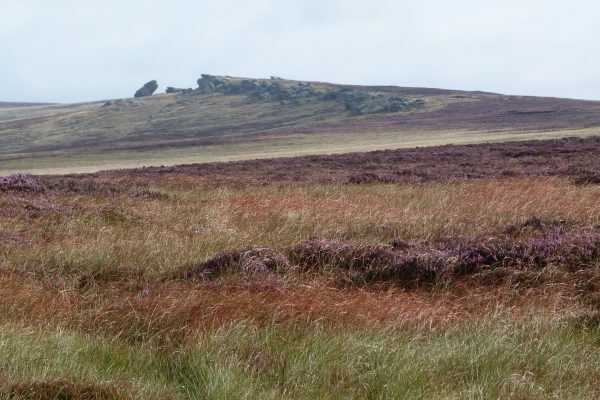 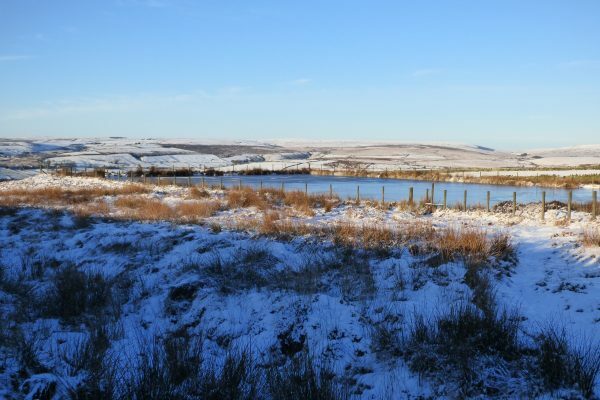 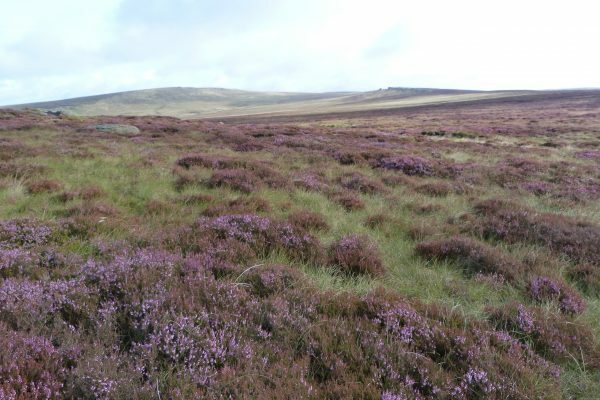 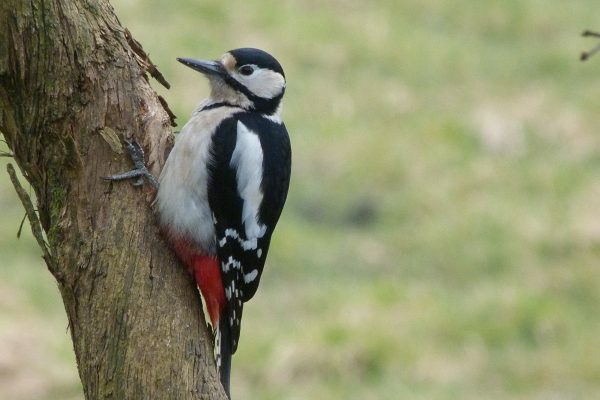 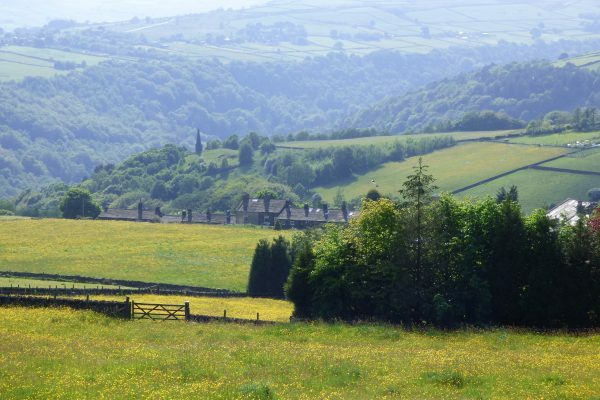 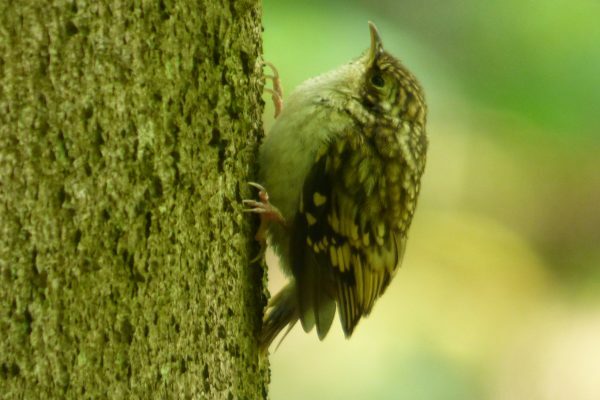 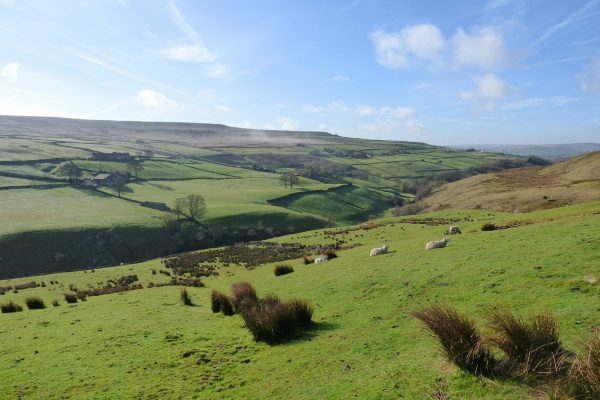 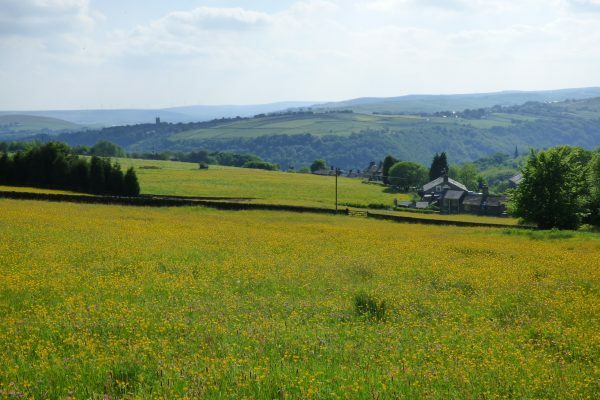 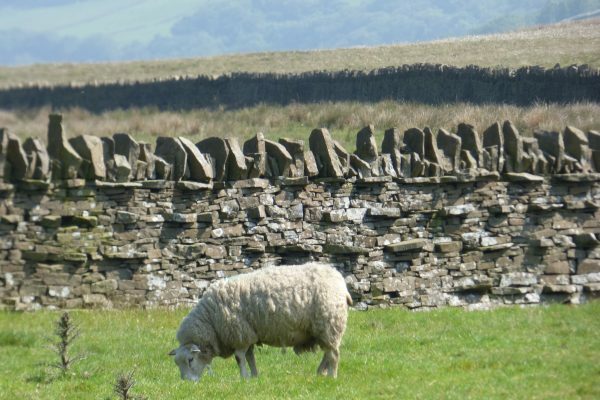 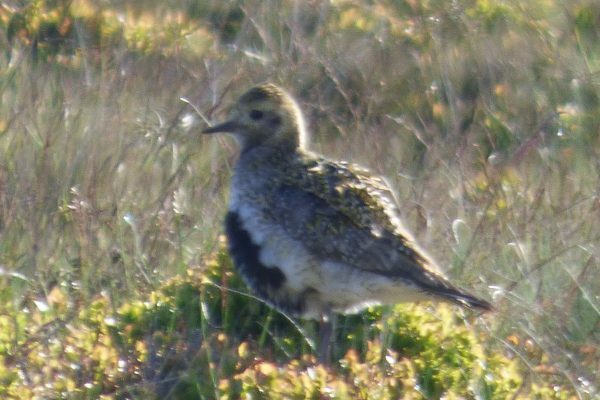 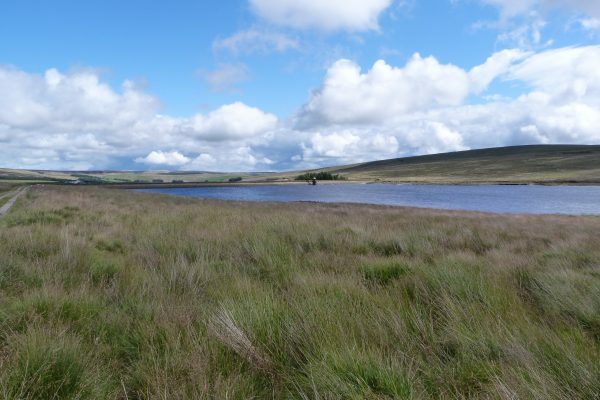 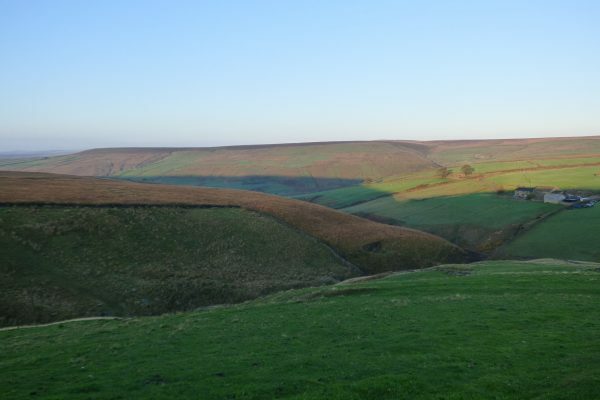 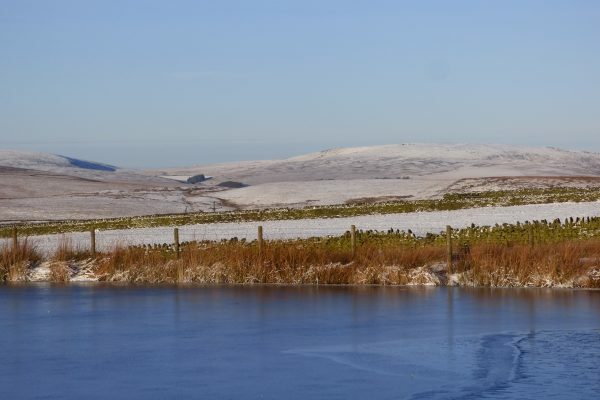 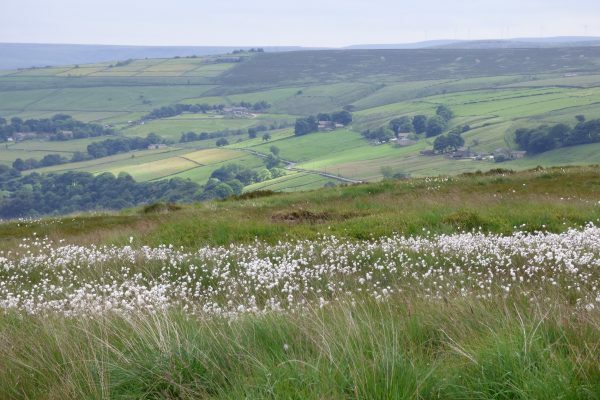 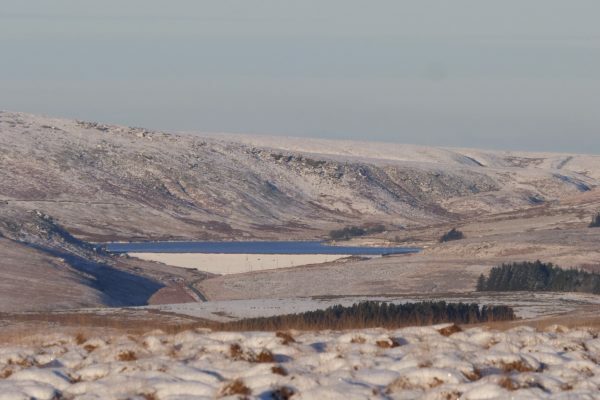 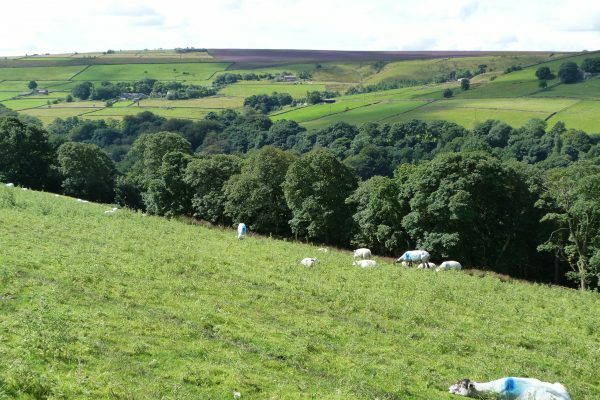 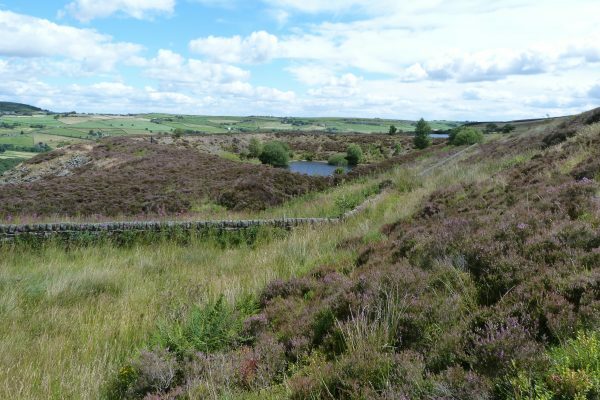 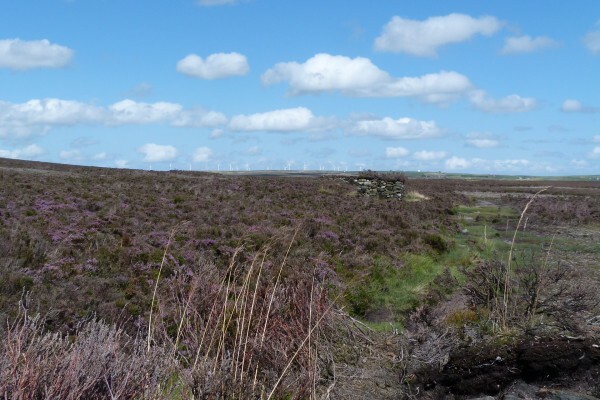 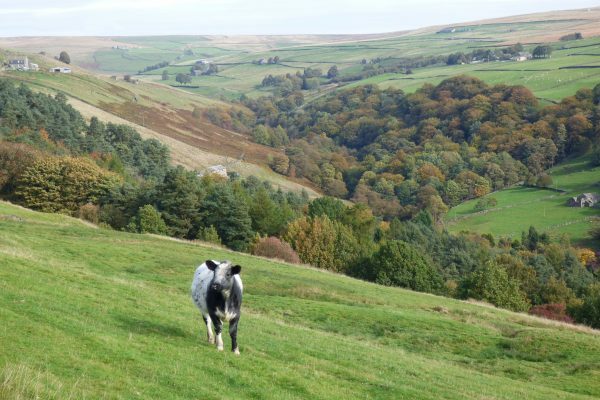 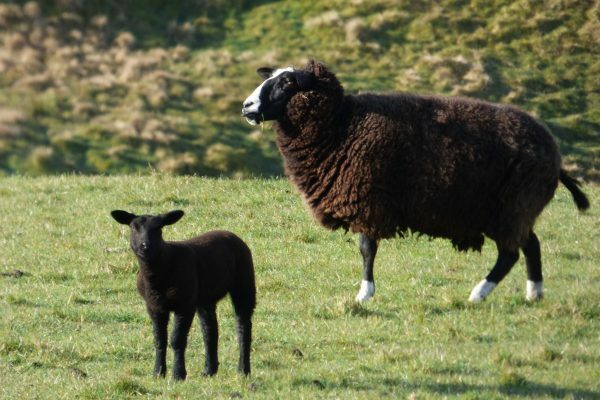 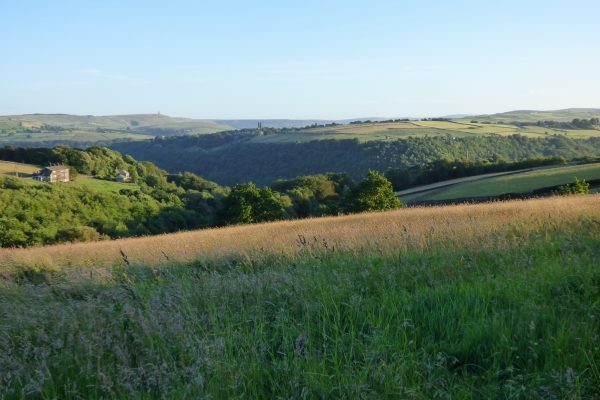 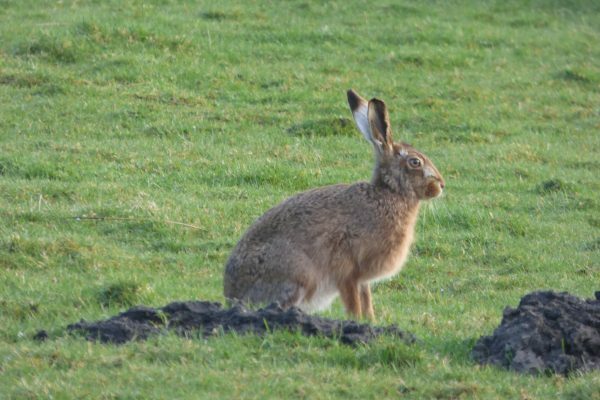 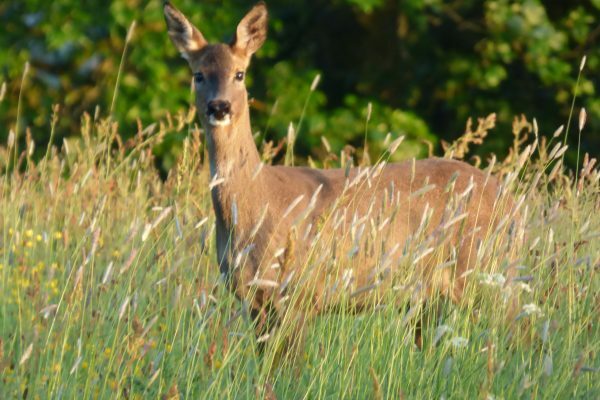 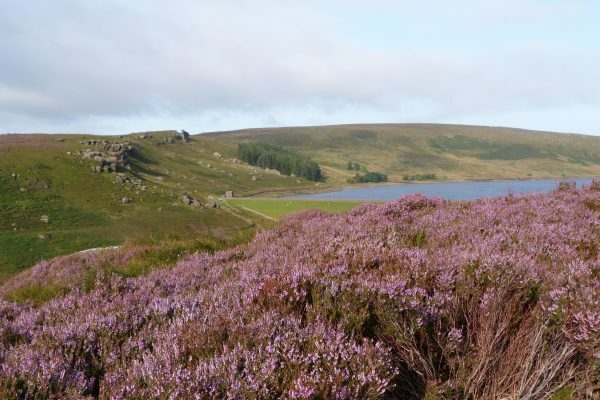 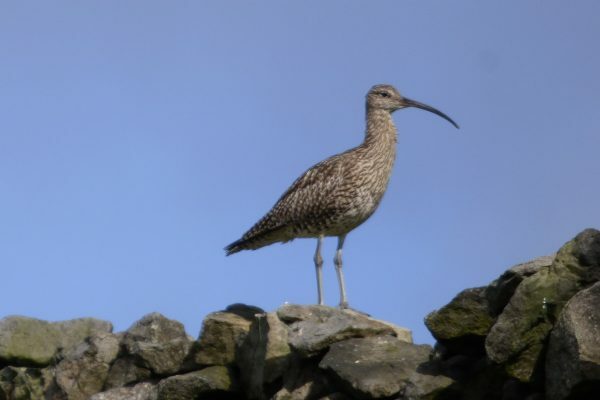 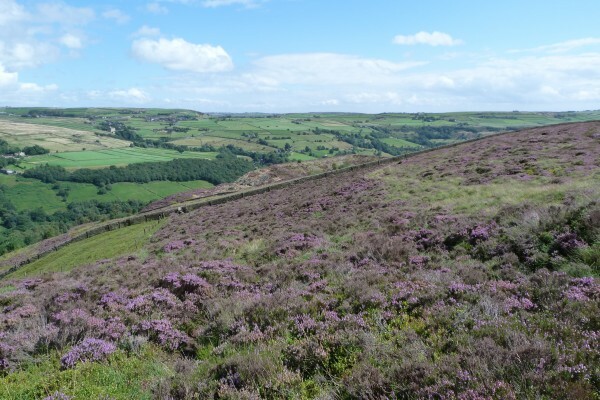 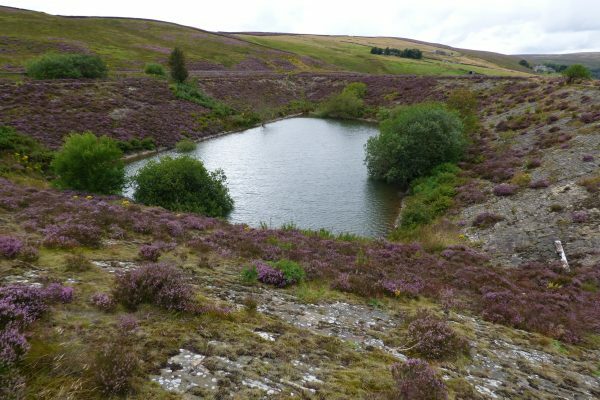 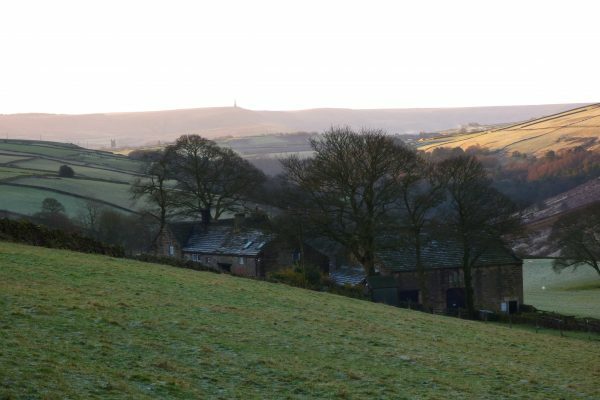 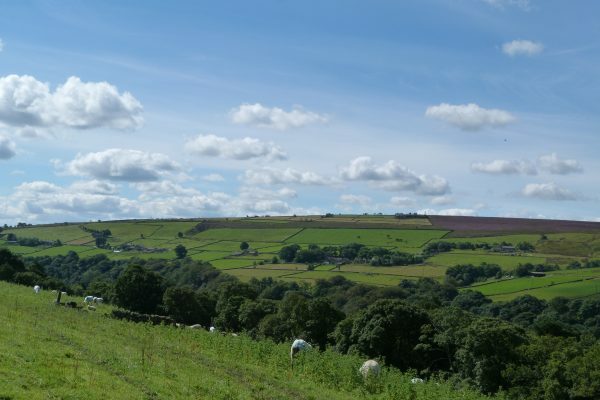 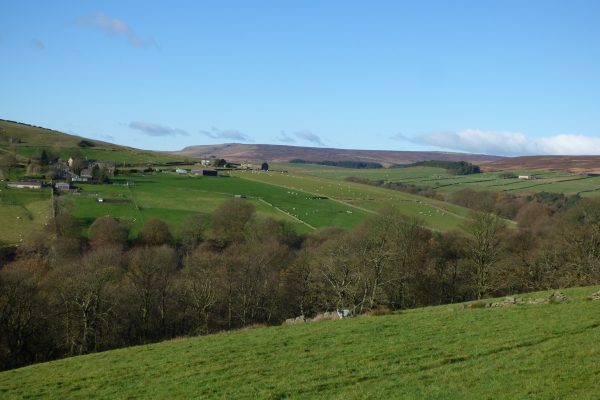 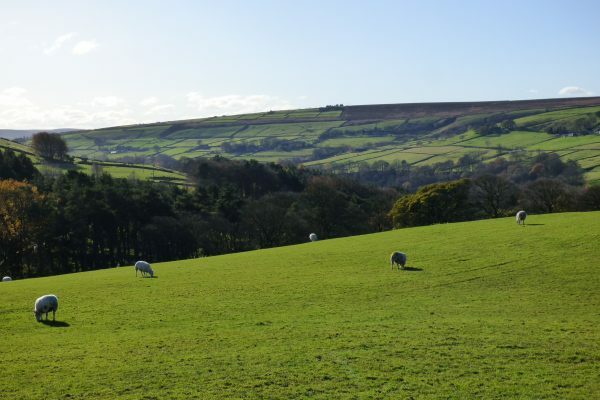 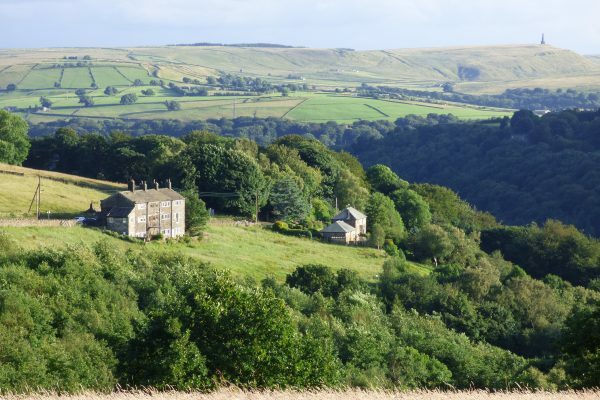 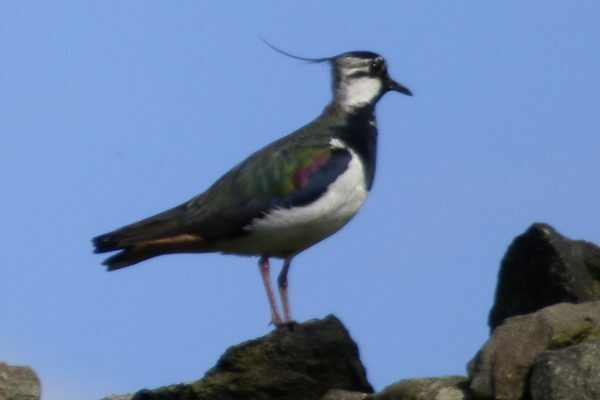 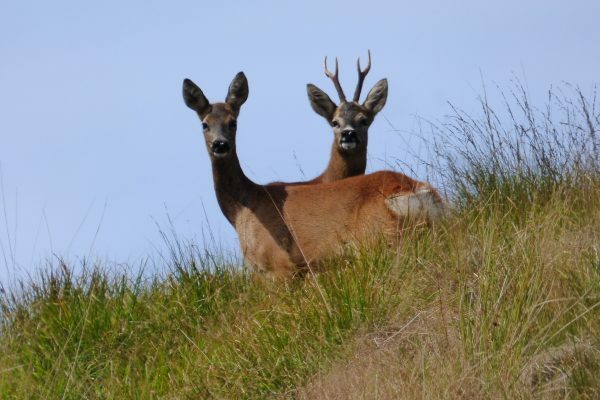 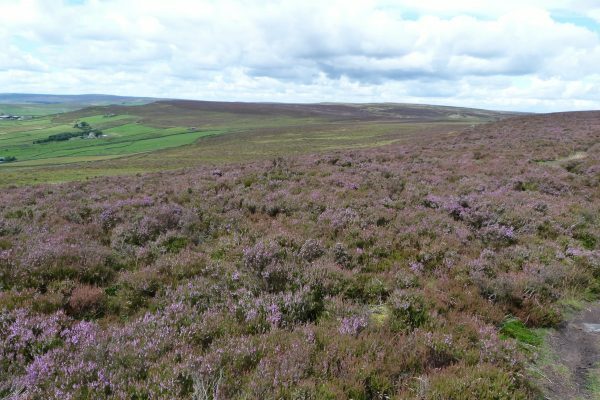 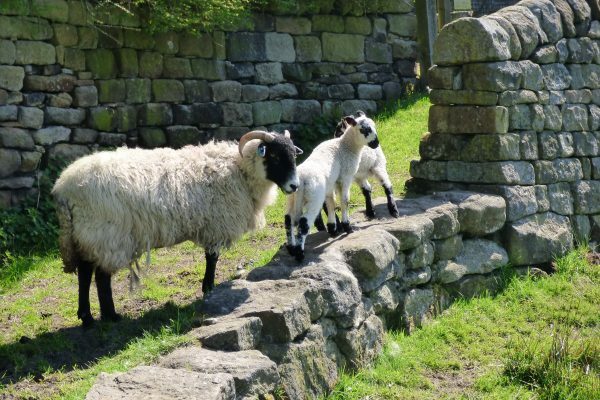 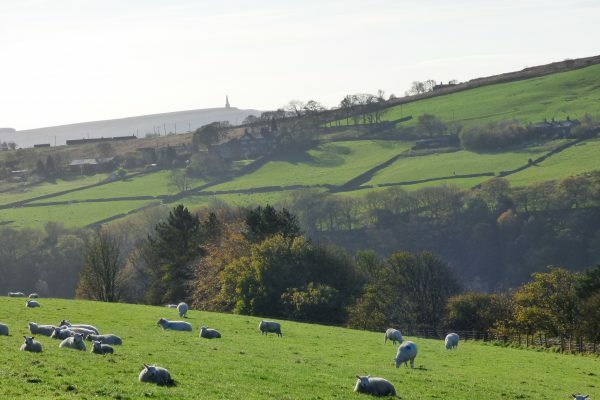 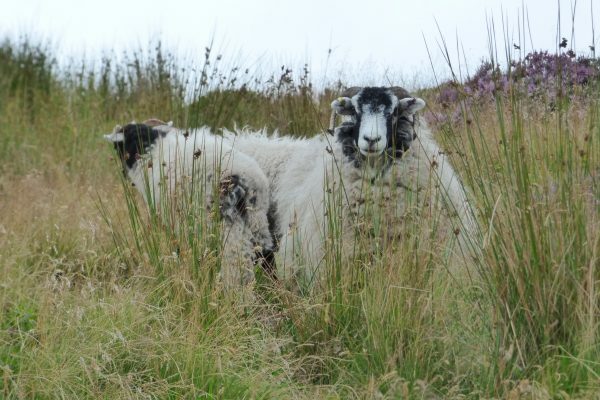 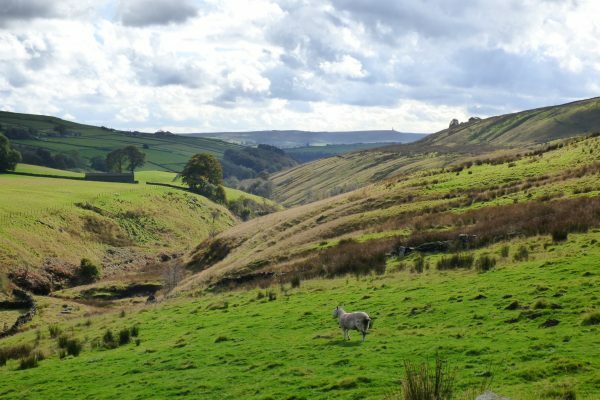 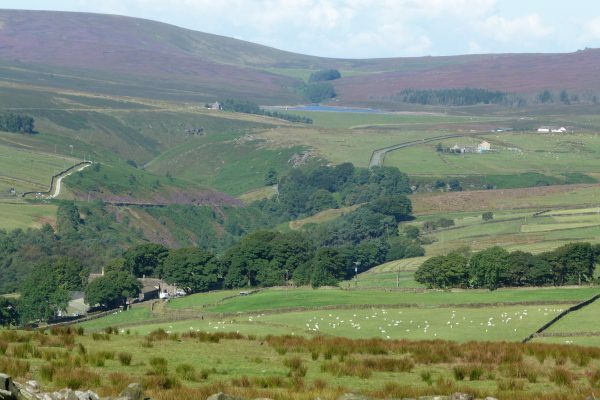 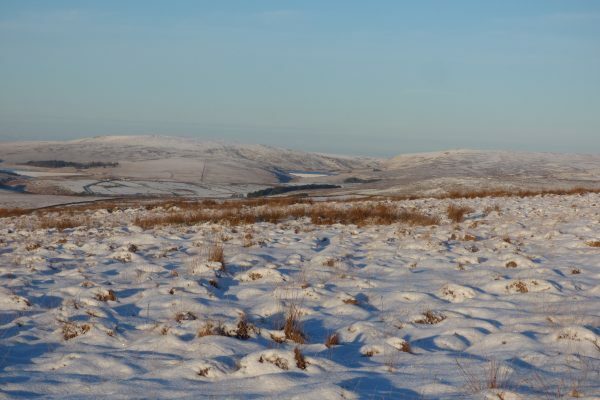 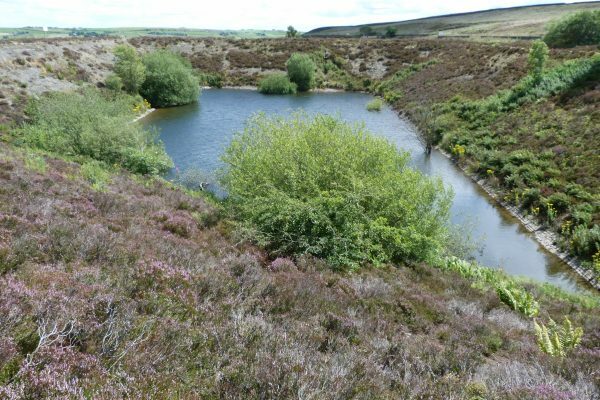 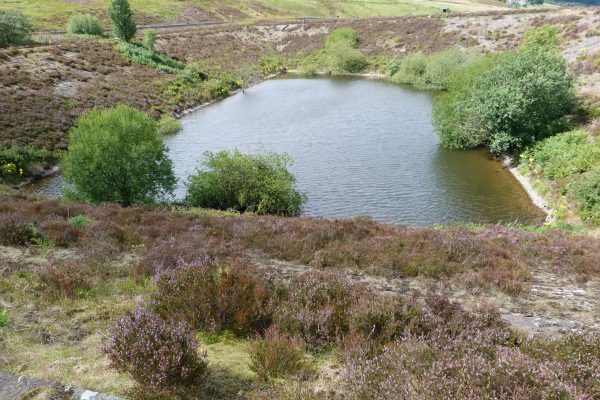 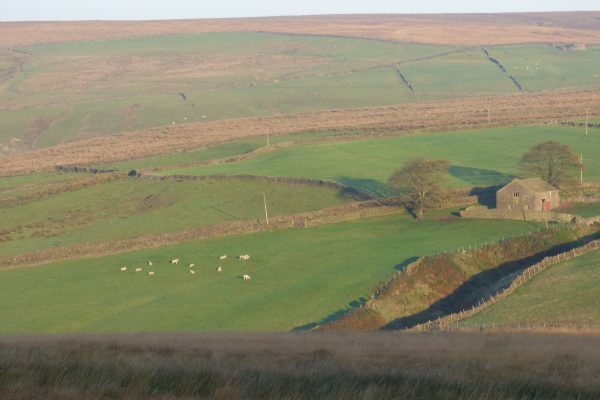 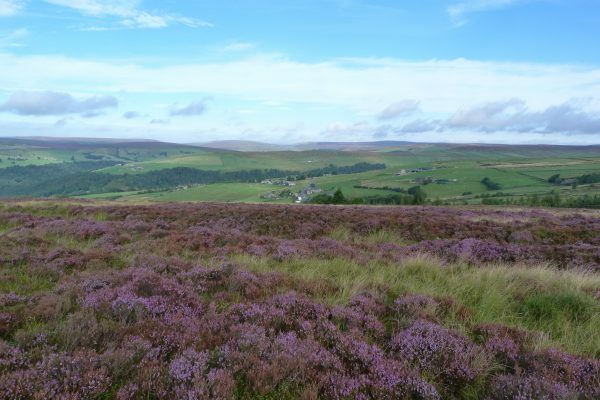 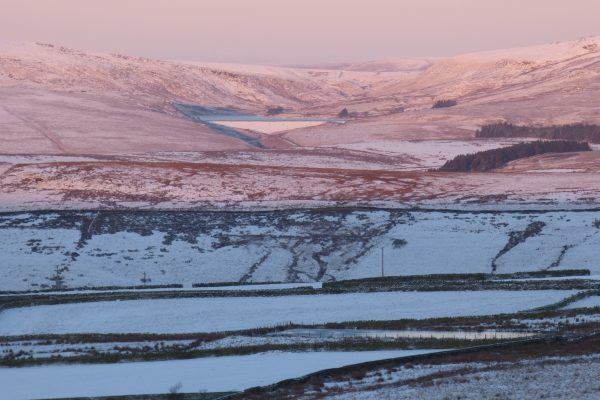 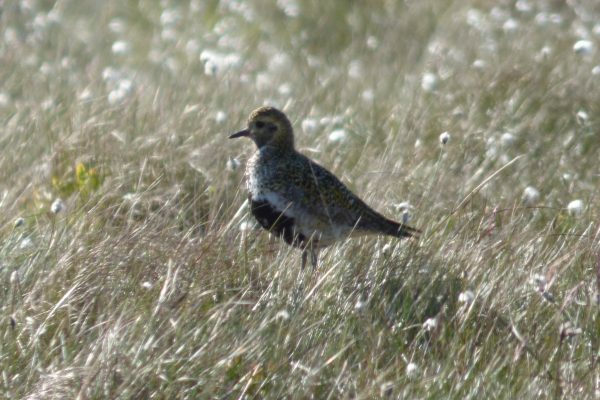 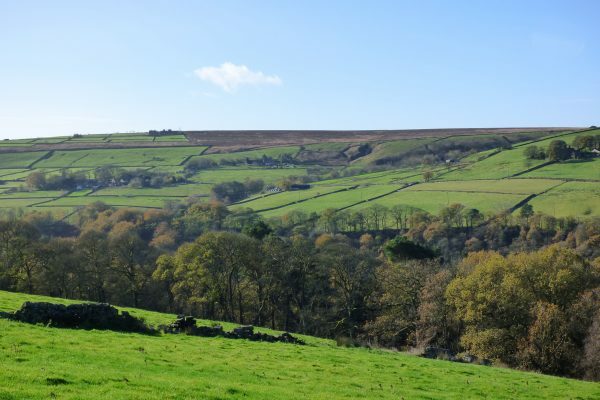 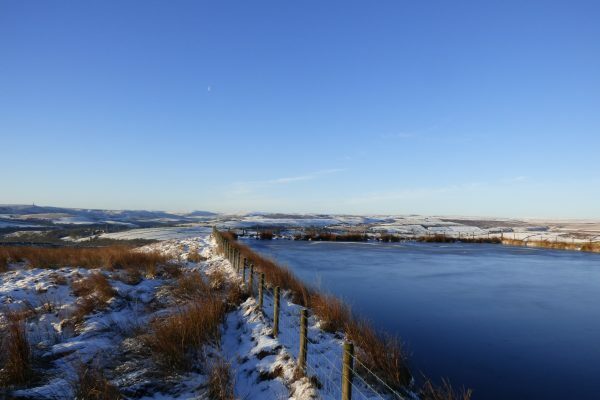 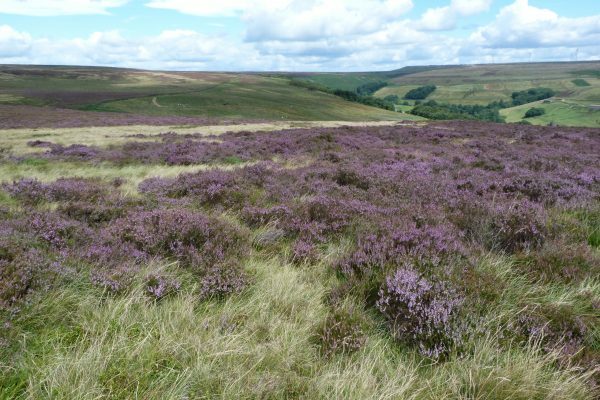 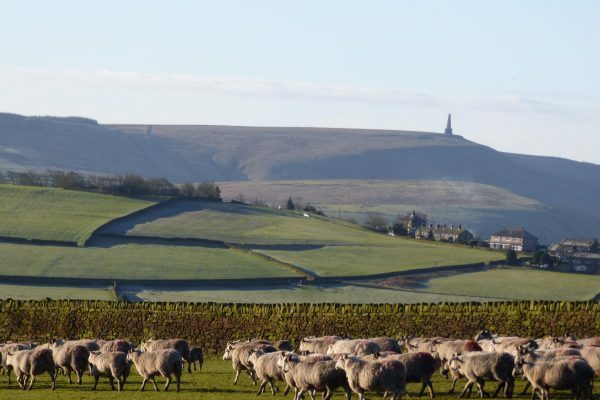 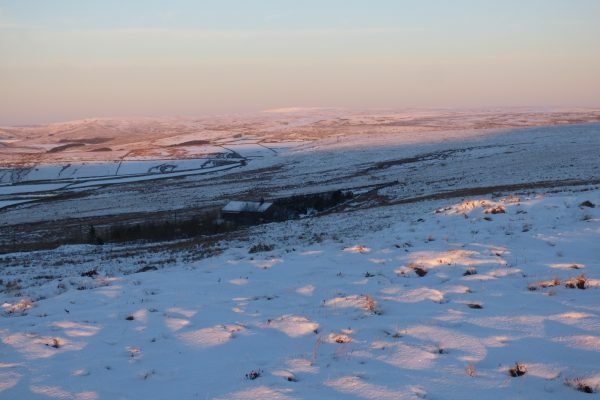 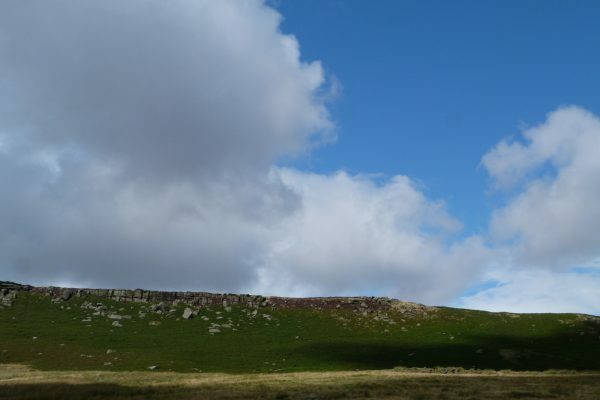 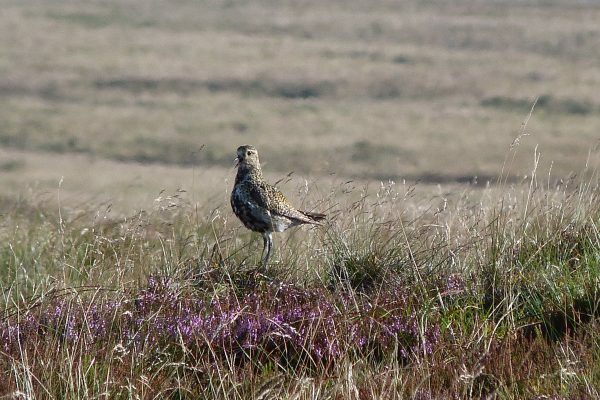 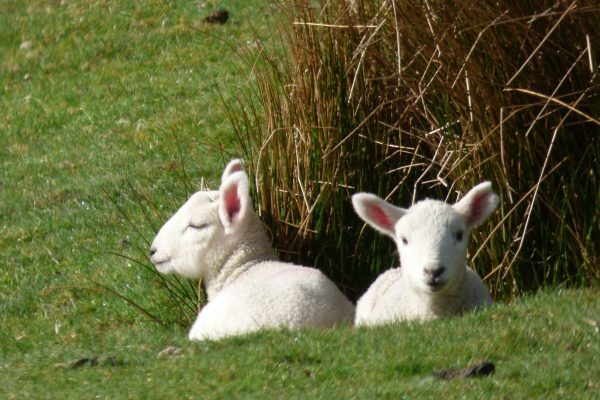 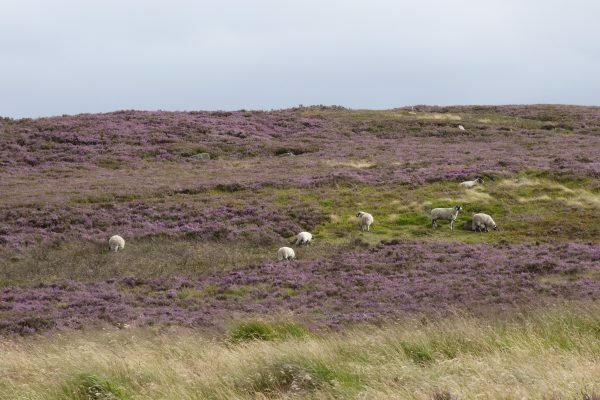 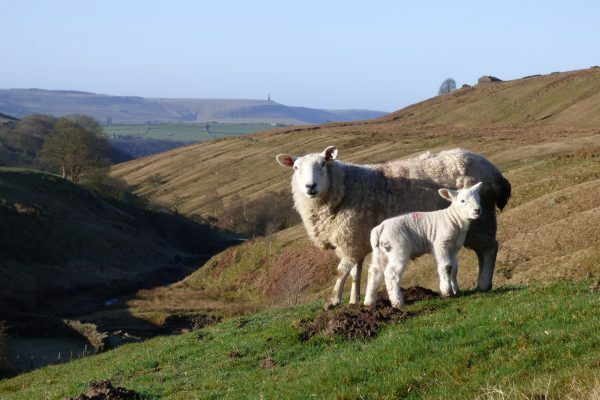 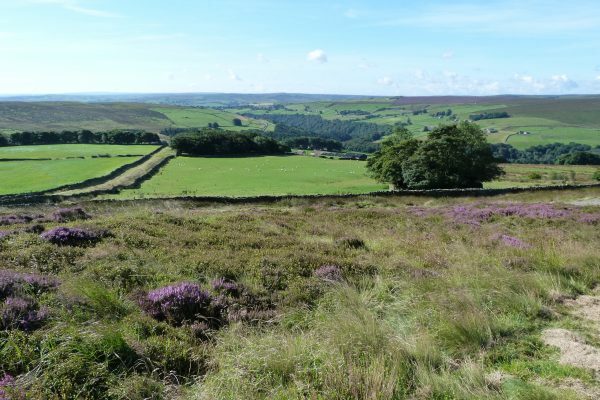 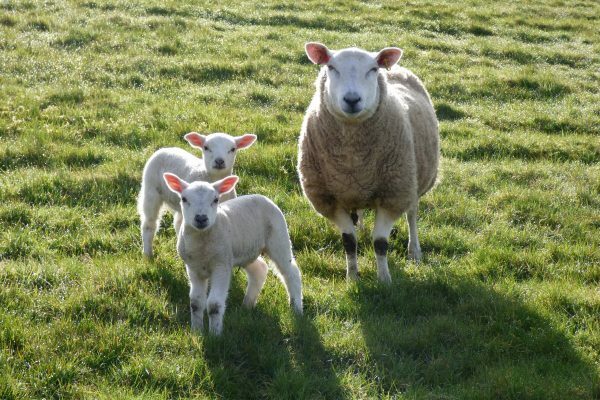 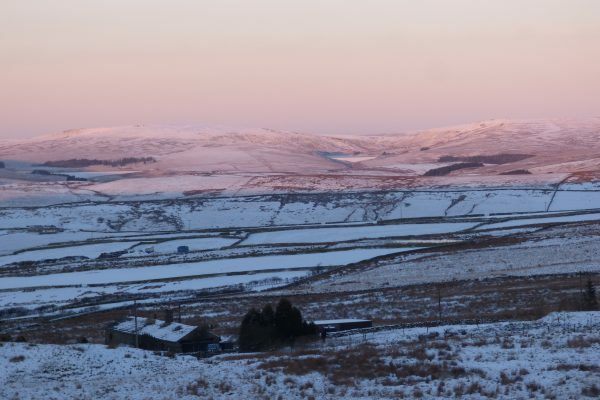 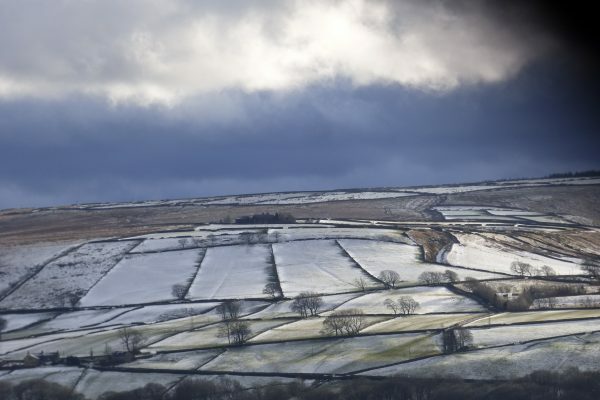 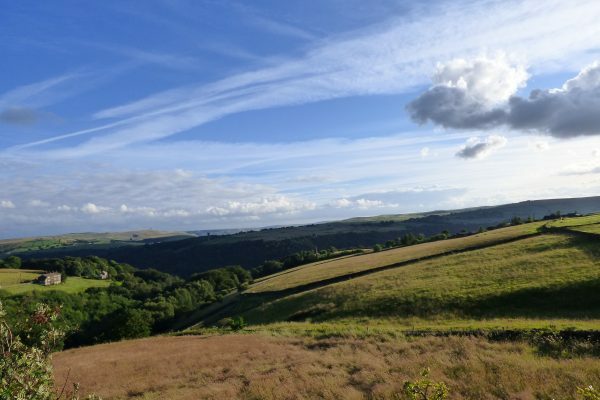 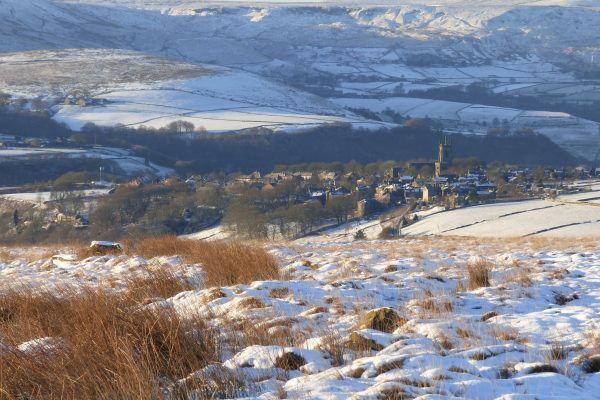 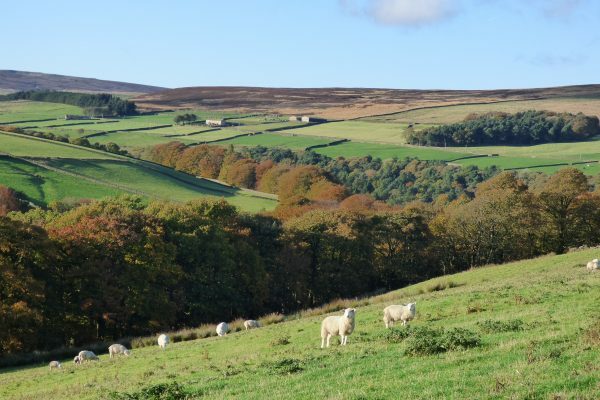 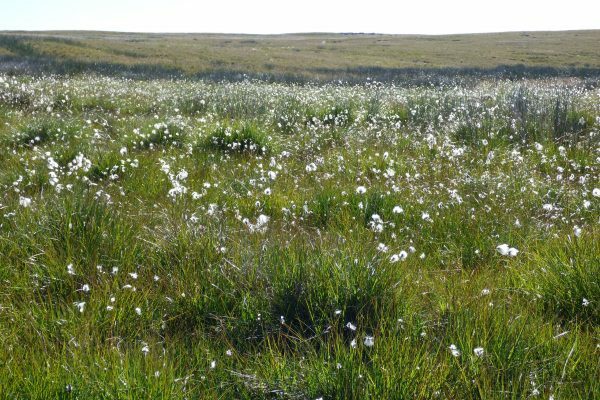 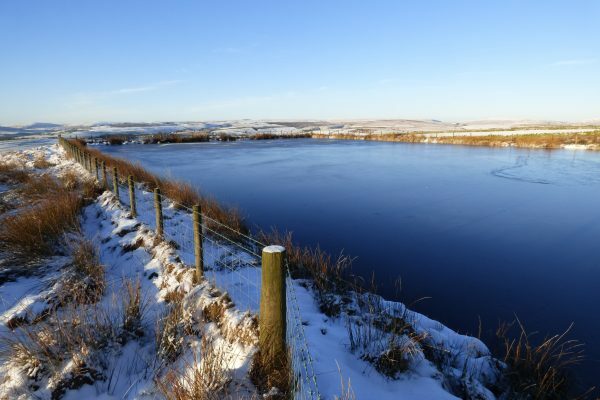 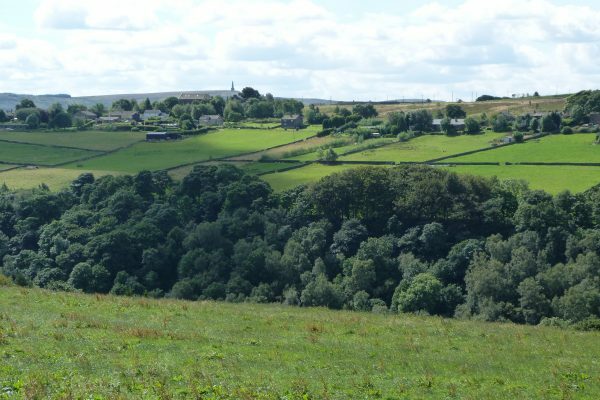 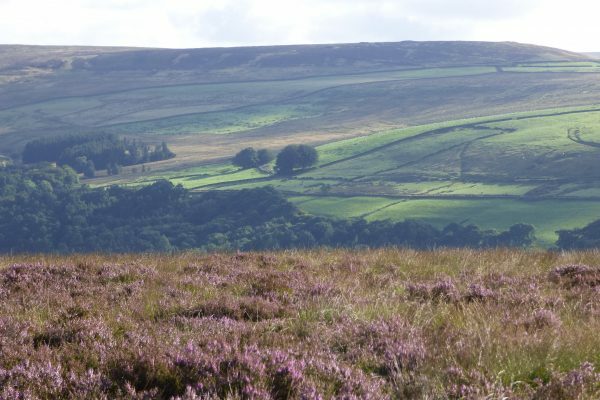 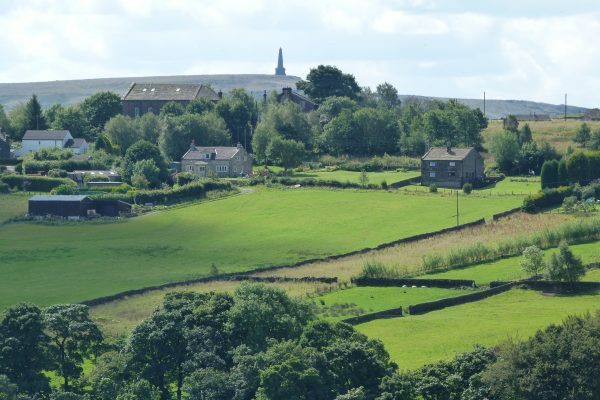 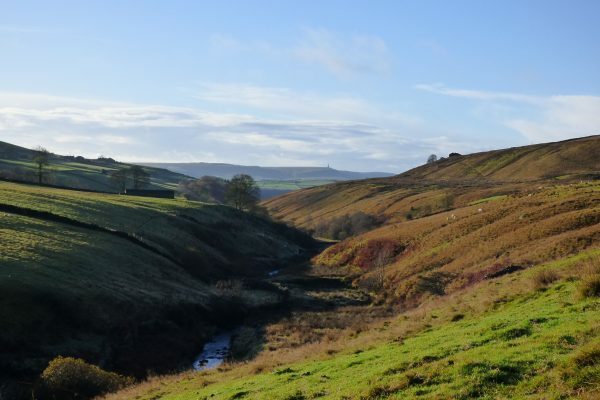 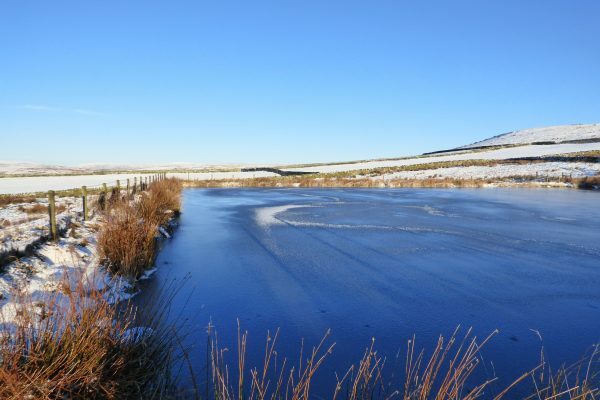 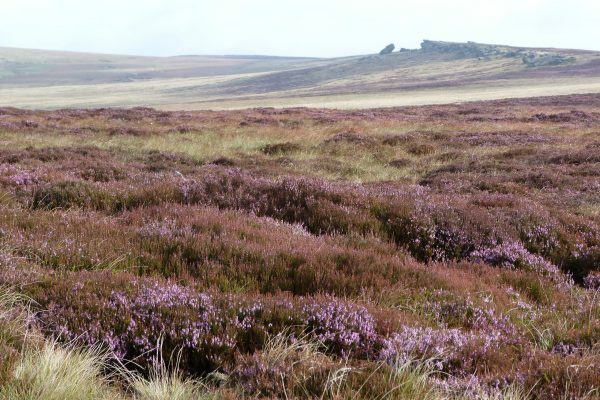 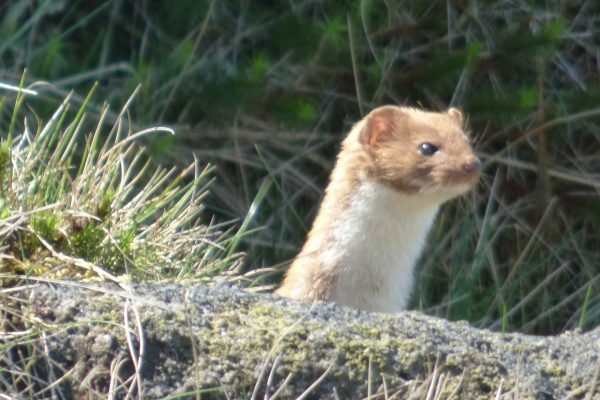 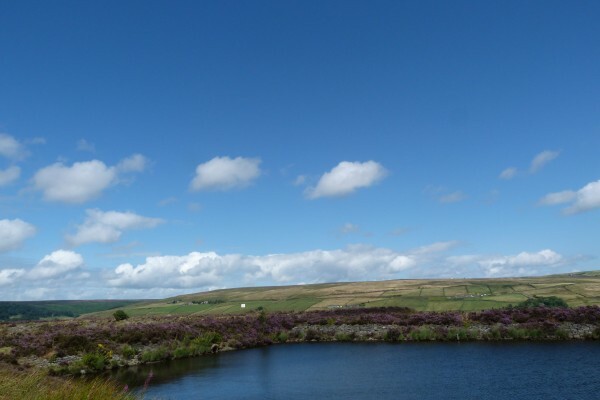 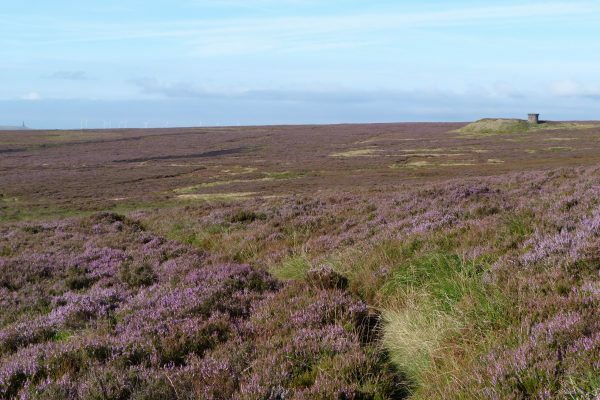 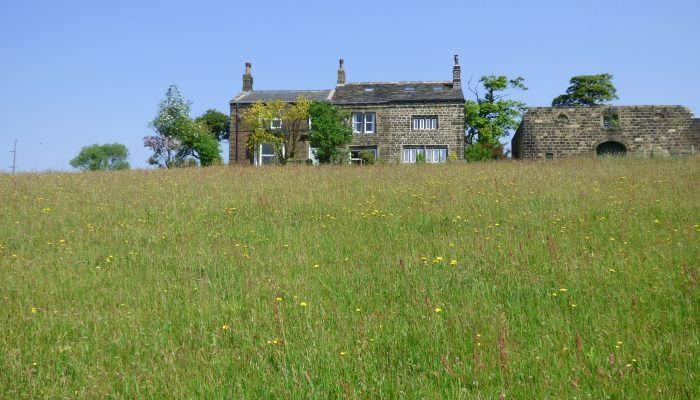 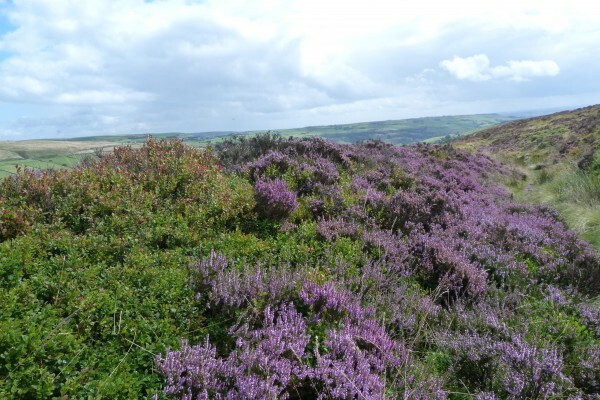 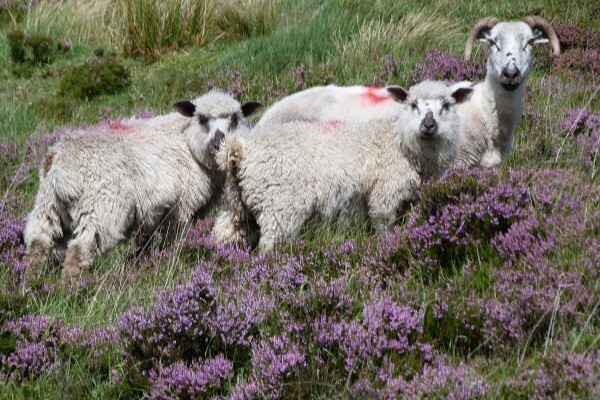 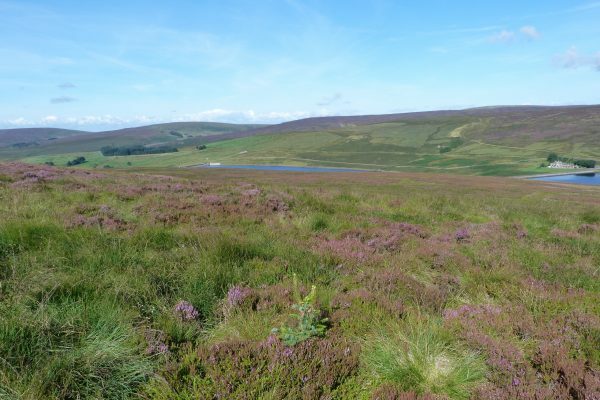 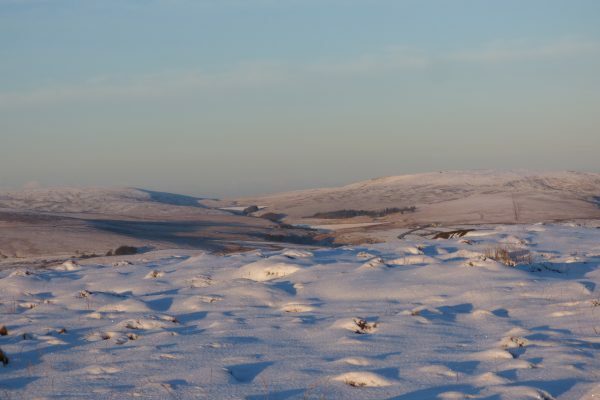 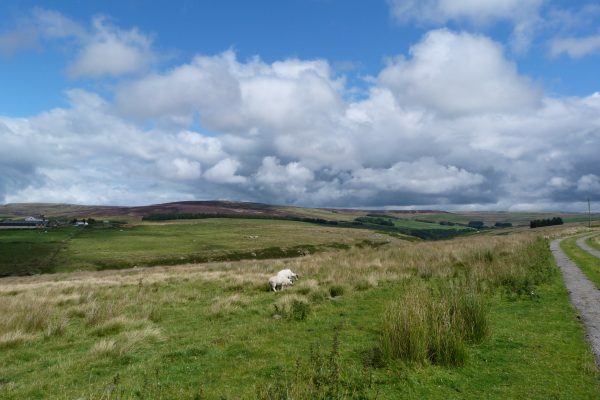 With pheasants, deer and owls in our meadows, sheep, cattle and ponies grazing in the neighbouring fields, and curlews and lapwings nesting up on ‘the tops’, Elmet Farmhouse offers a rural idyll in a dramatic landscape which is a haven for wildlife. 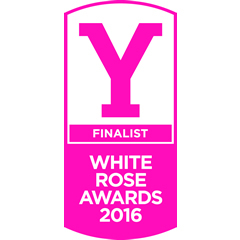 Finalist in Welcome to Yorkshire’s 2016 White Rose Awards, Elmet Farmhouse itself is a pure delight. 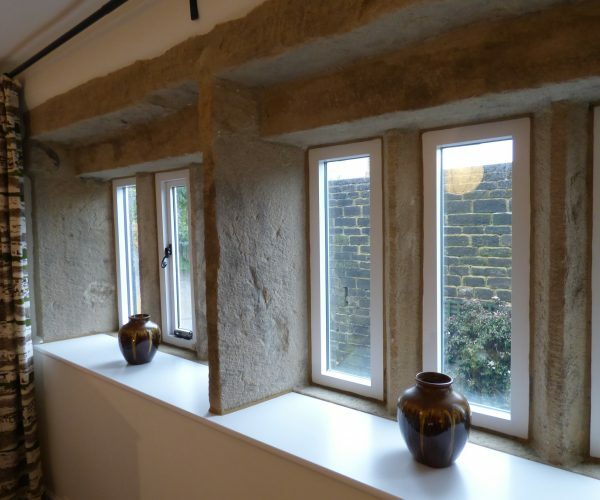 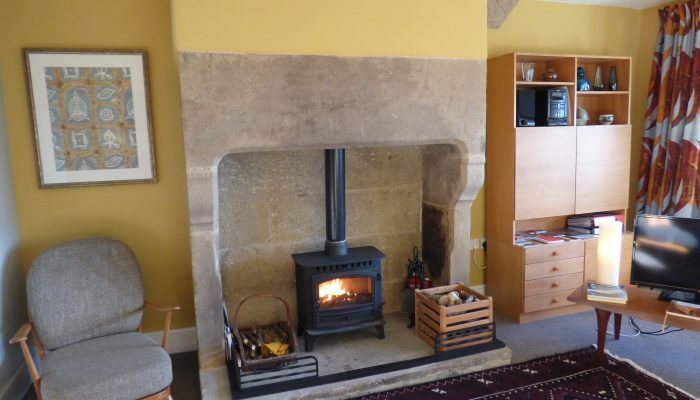 A handsome 18th-century yeoman clothier’s house, it has stone mullion windows, a huge carved stone fireplace and a cosy wood-burning stove. 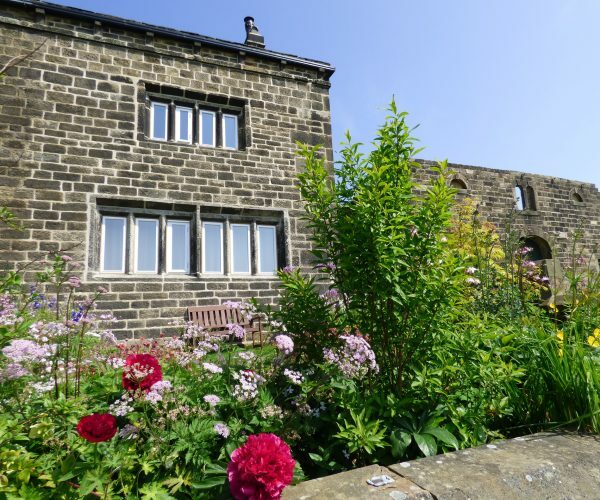 Beautifully furnished and exquisitely decorated, the farmhouse has a wonderful atmosphere and the interiors are as stunning as the views. 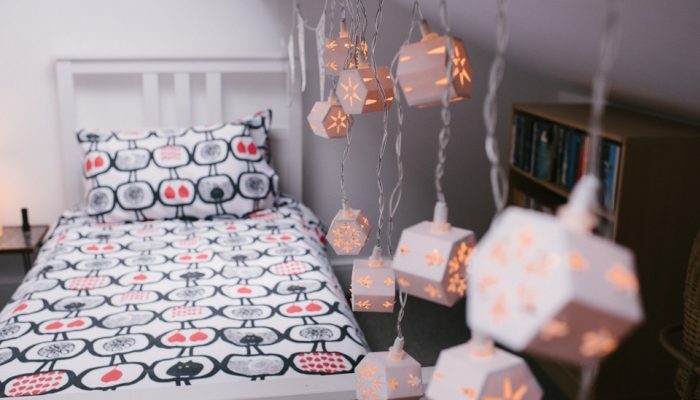 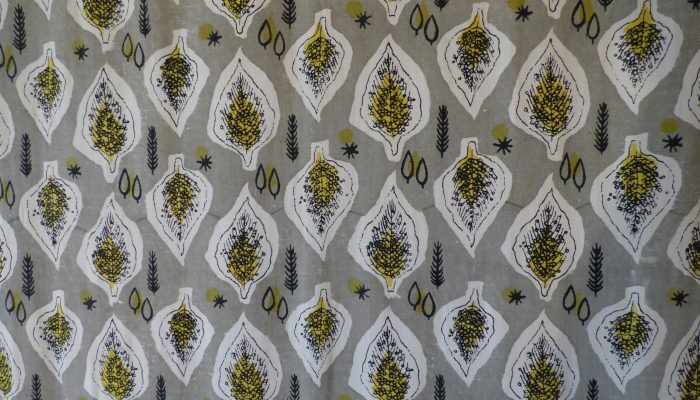 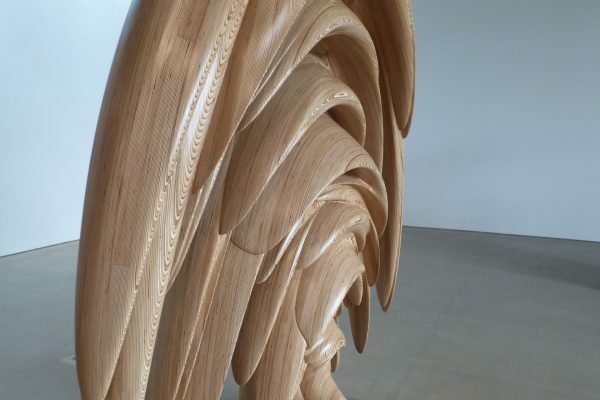 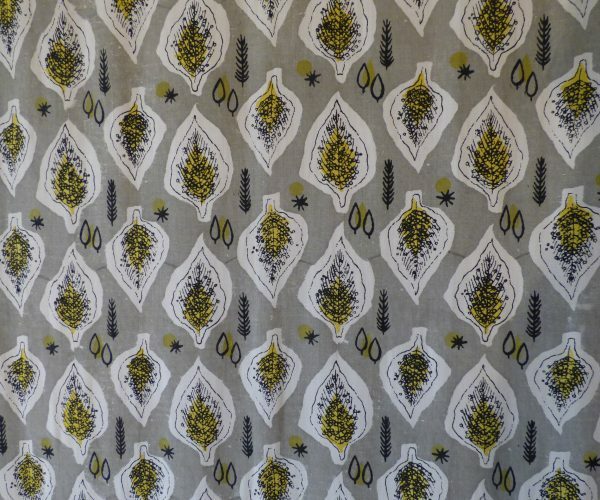 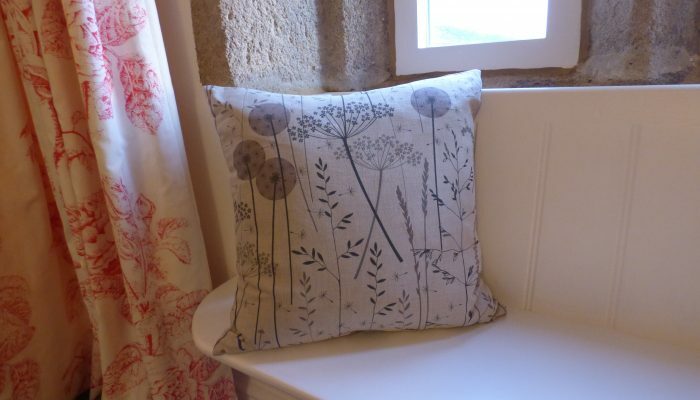 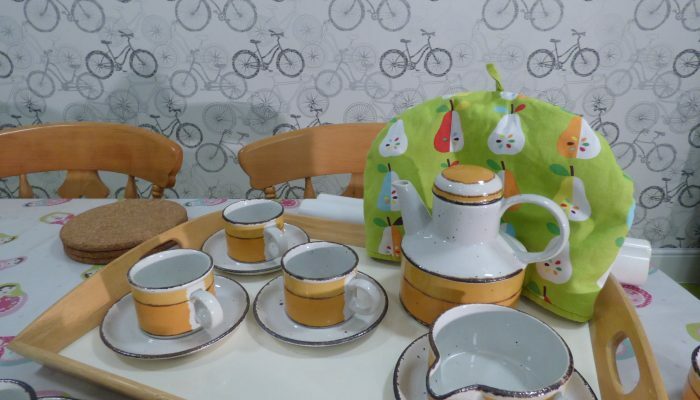 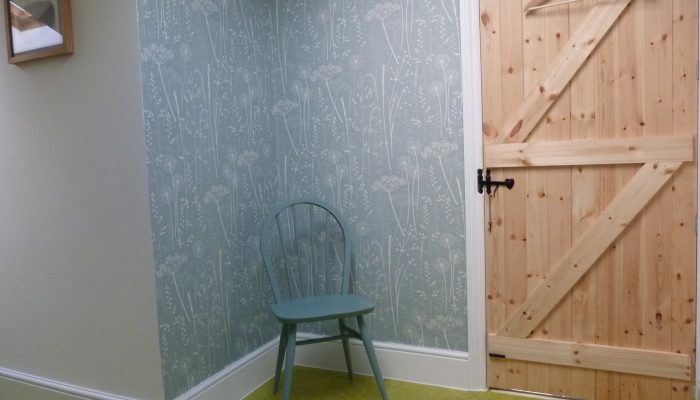 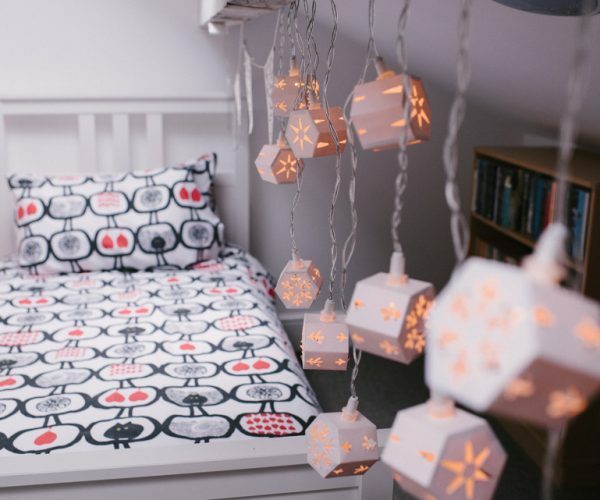 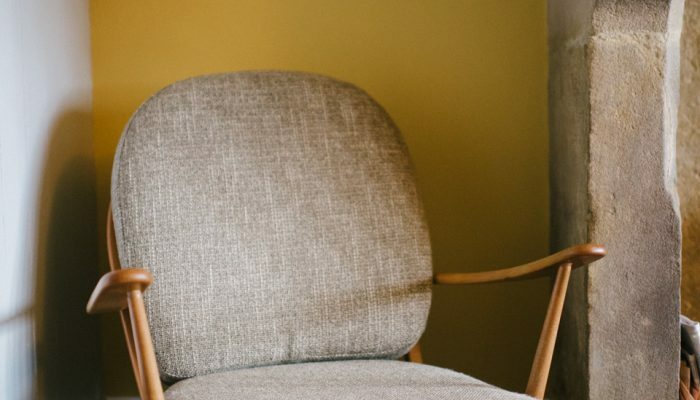 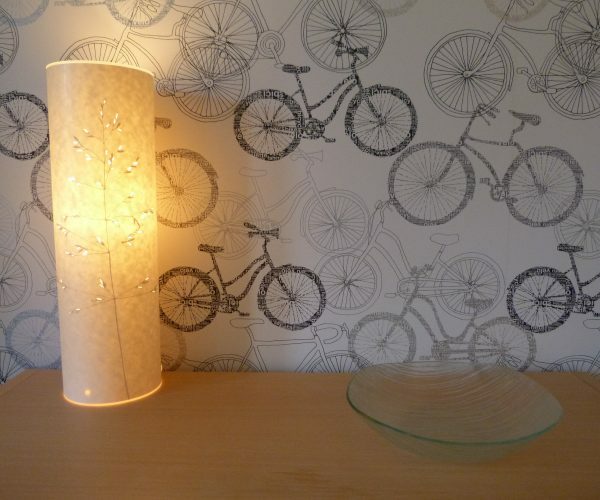 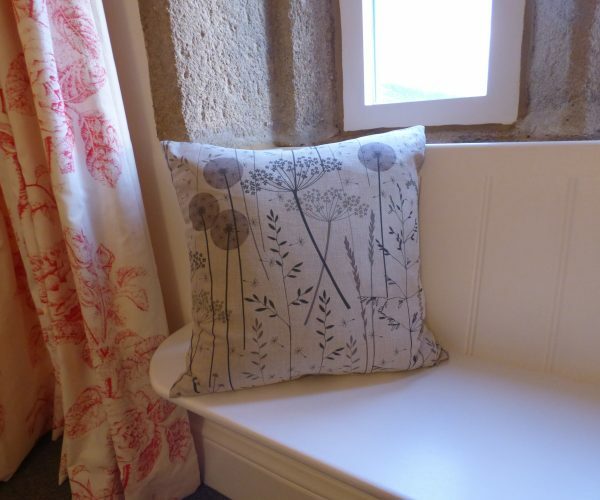 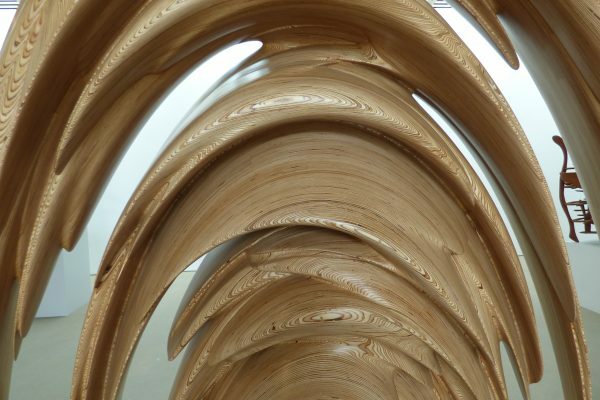 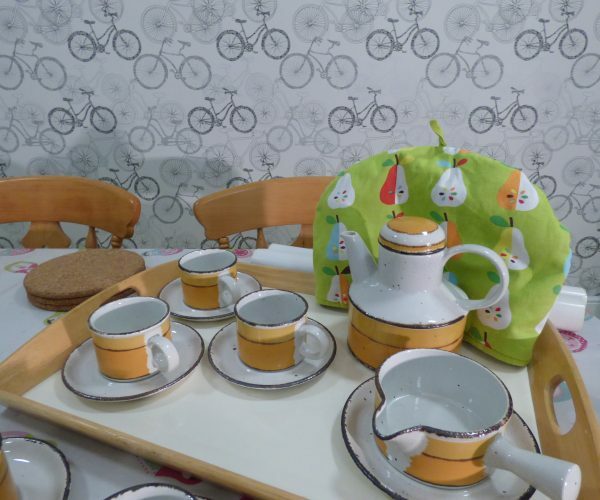 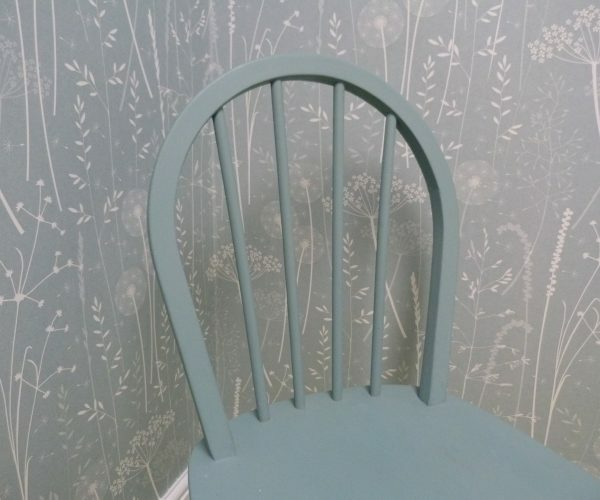 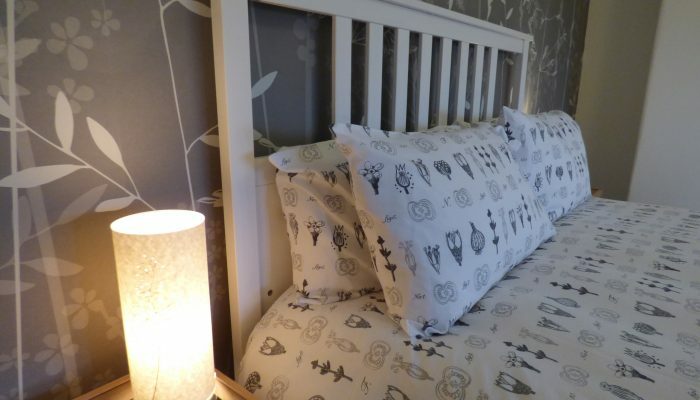 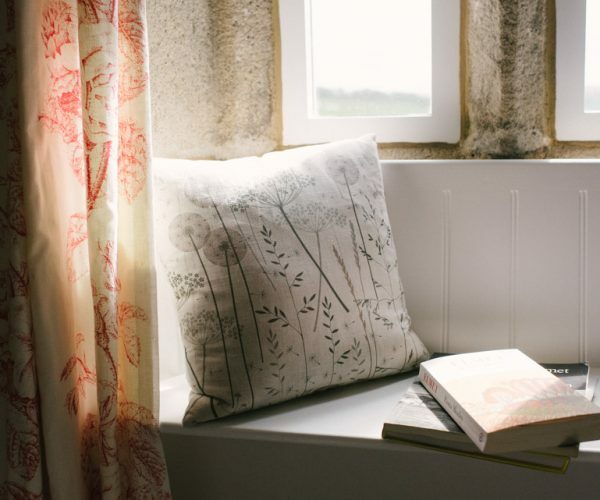 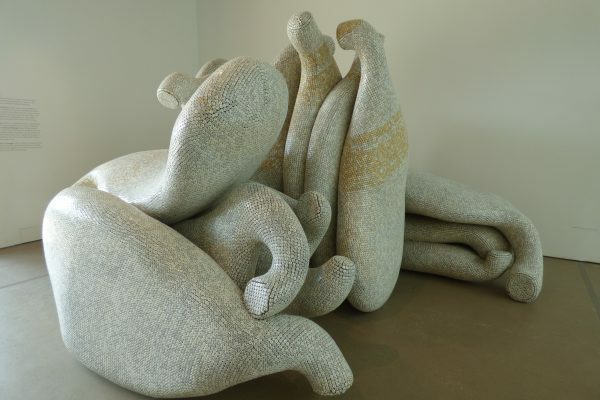 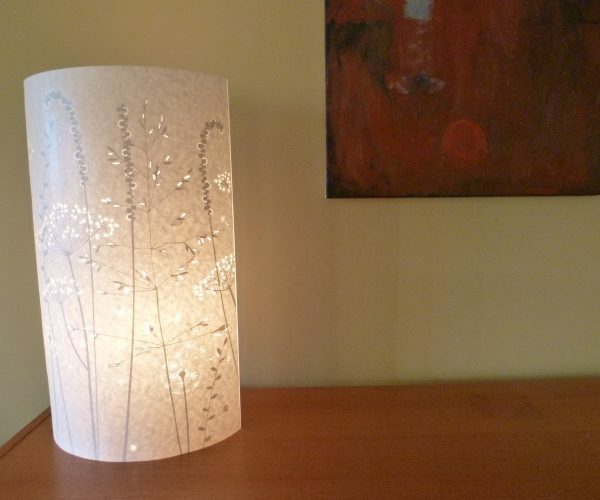 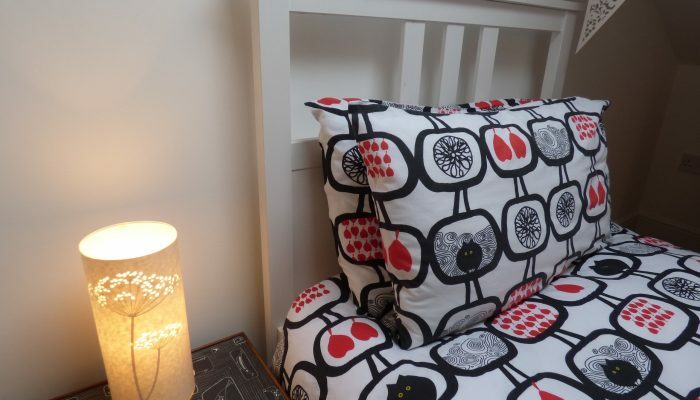 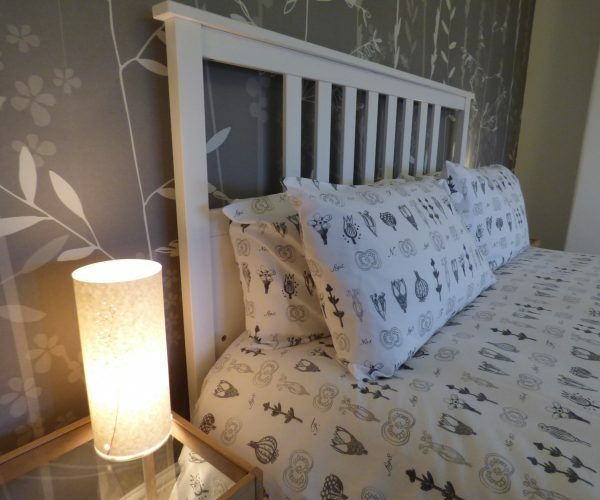 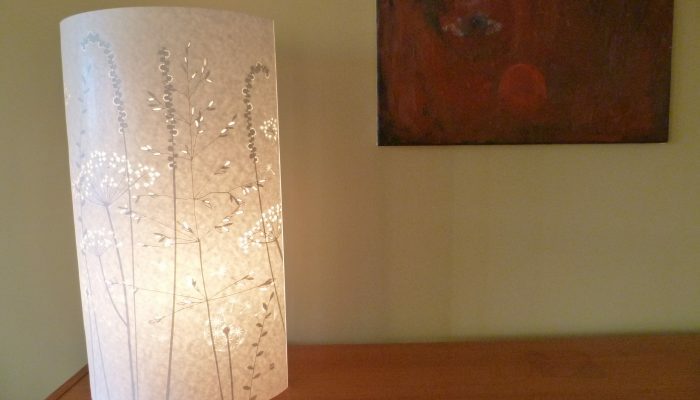 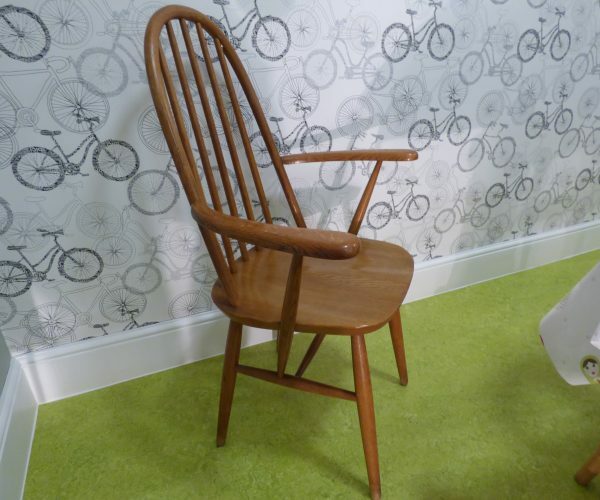 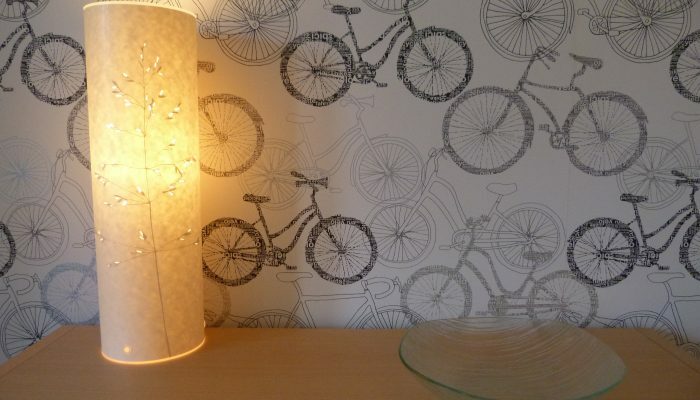 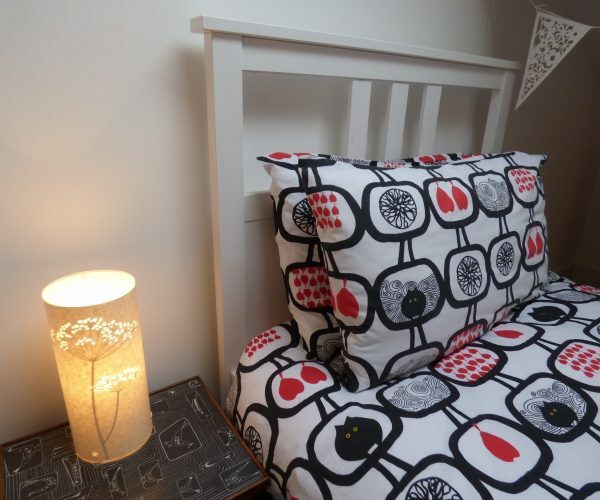 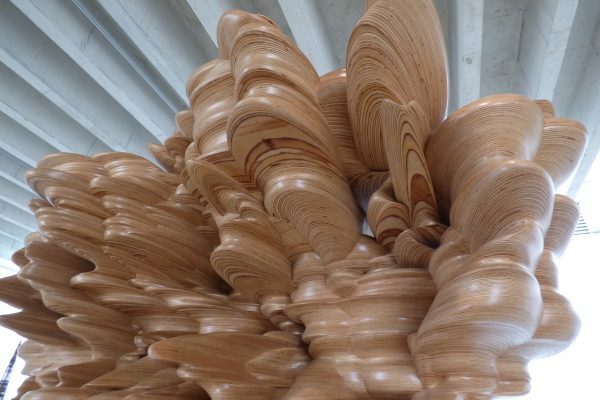 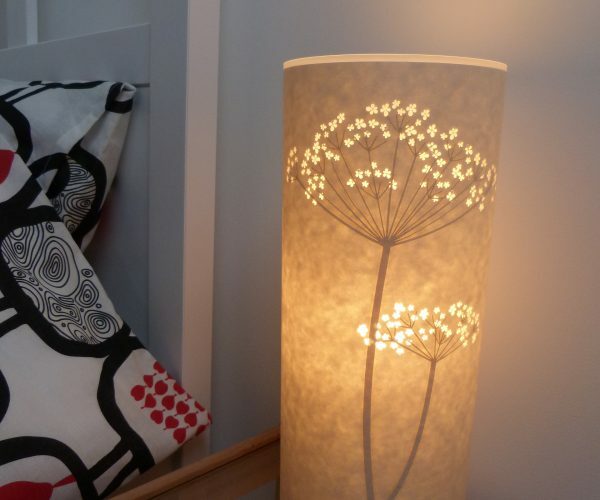 Natural wood furniture, textile hangings and lovely lamps and wallpapers by local designer Hannah Nunn are just a few of the treats in store. 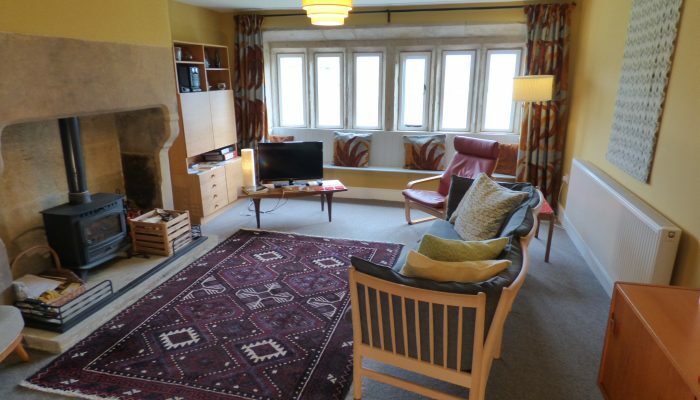 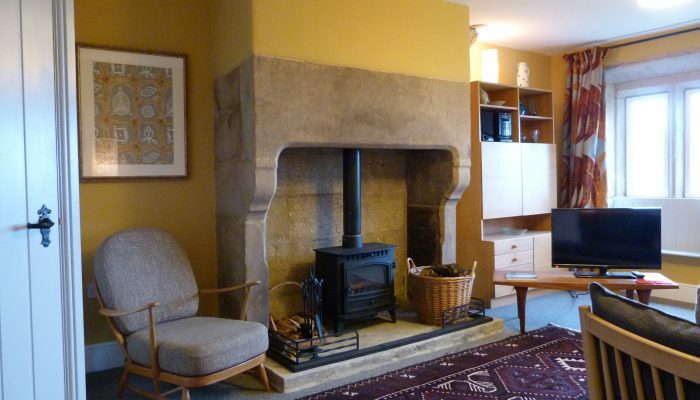 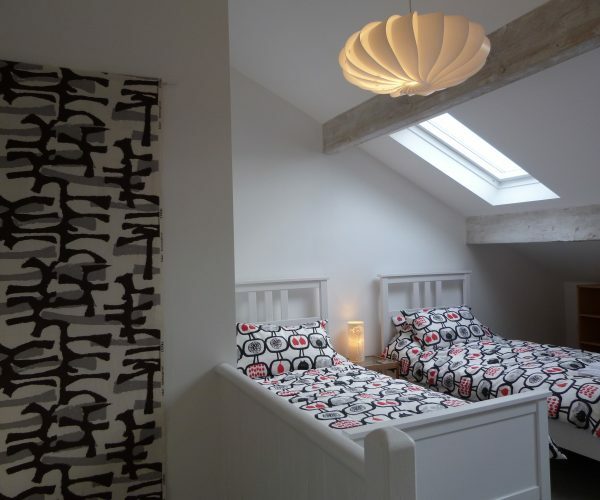 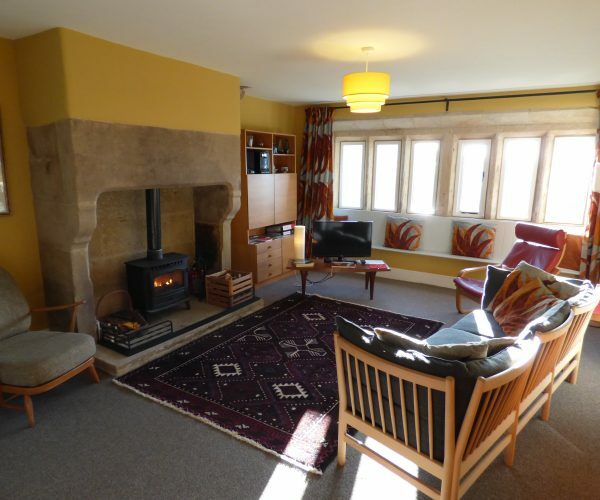 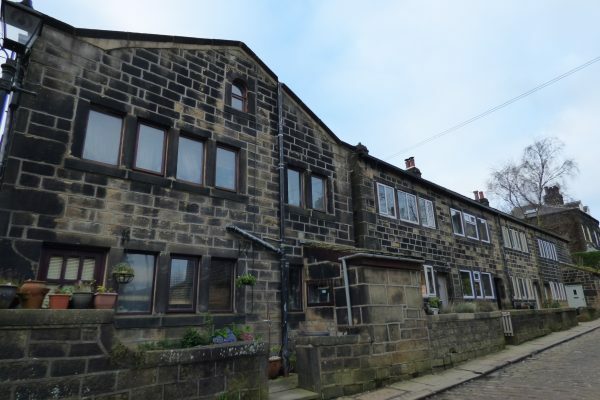 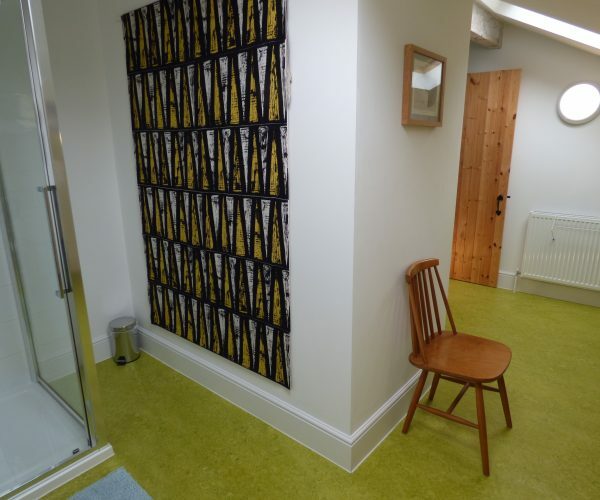 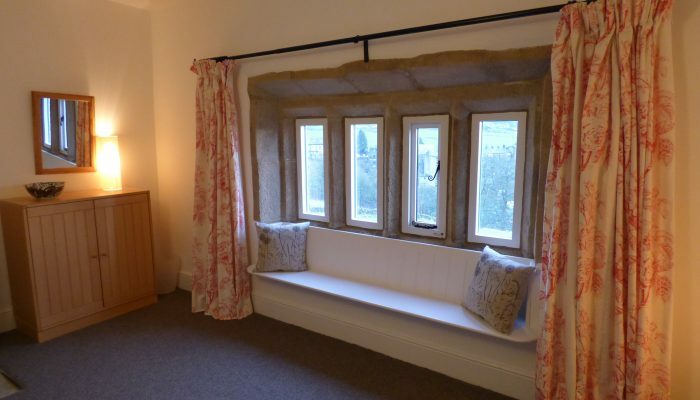 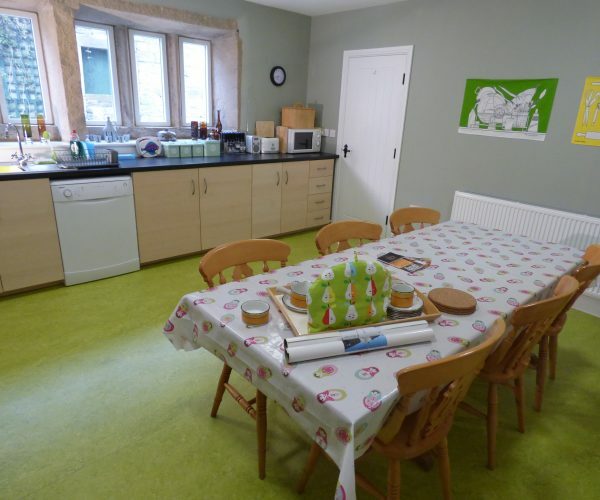 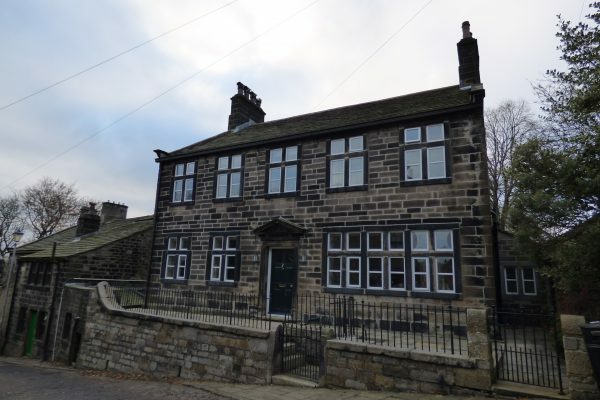 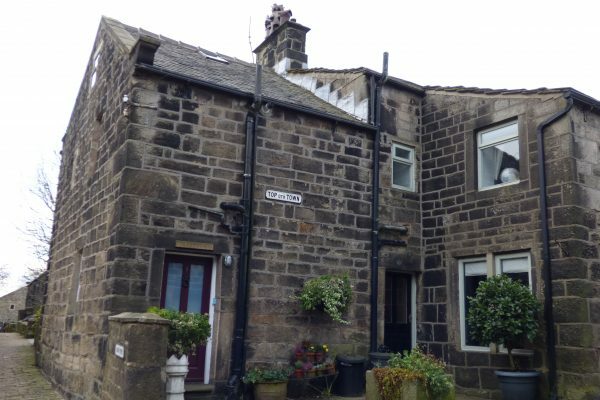 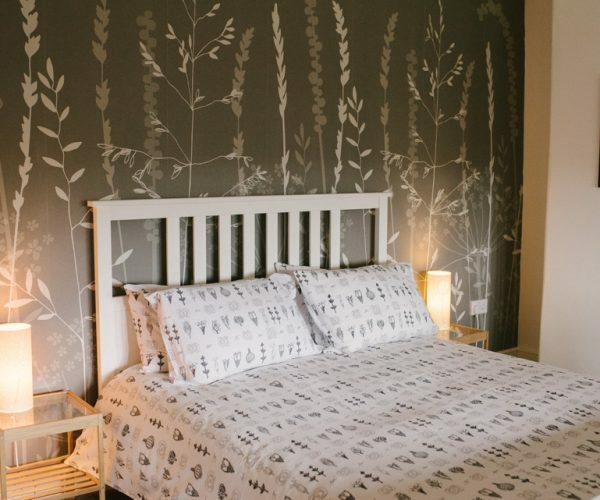 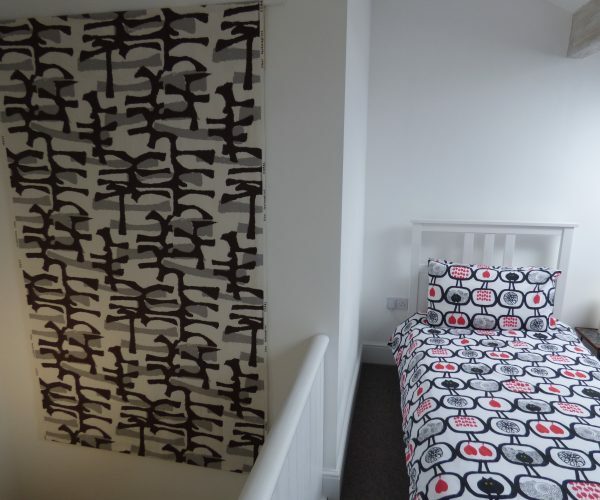 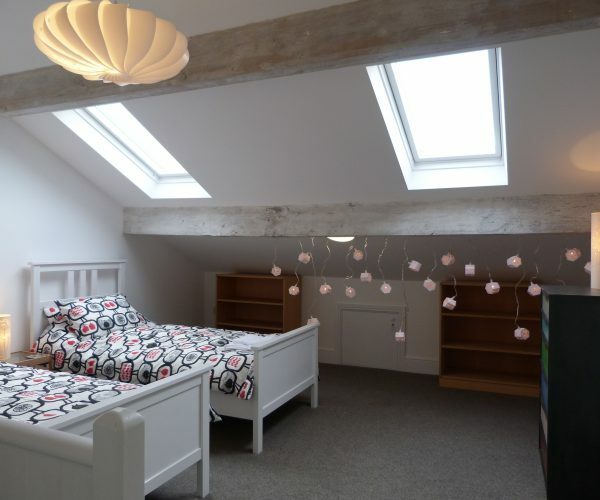 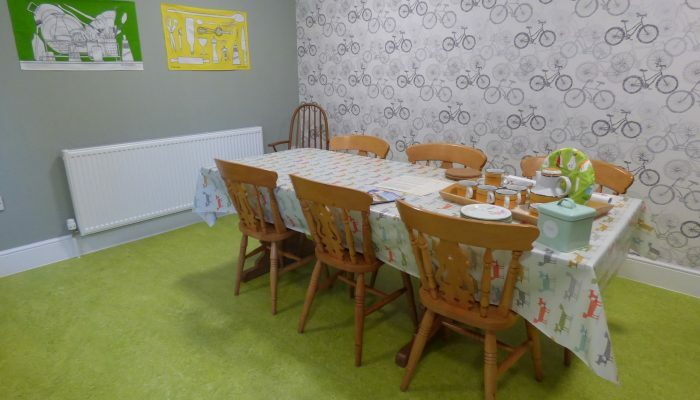 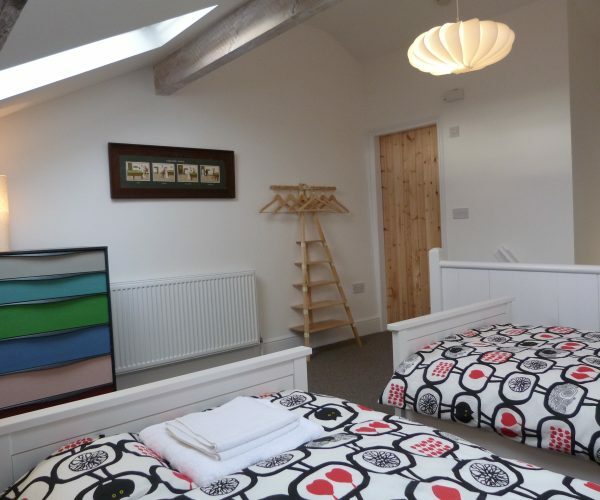 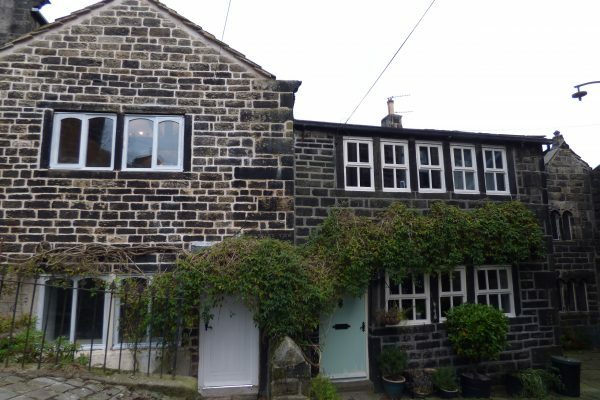 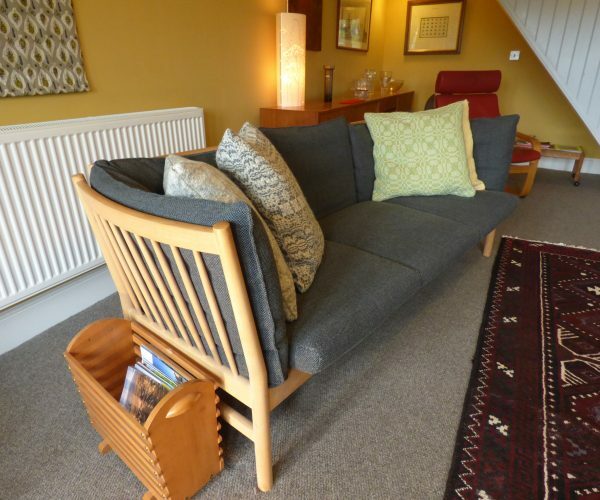 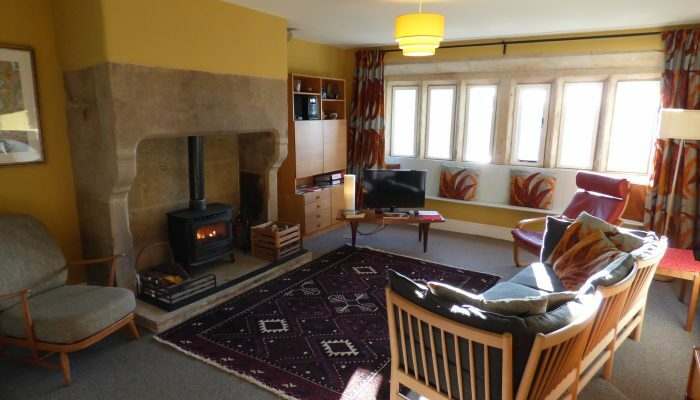 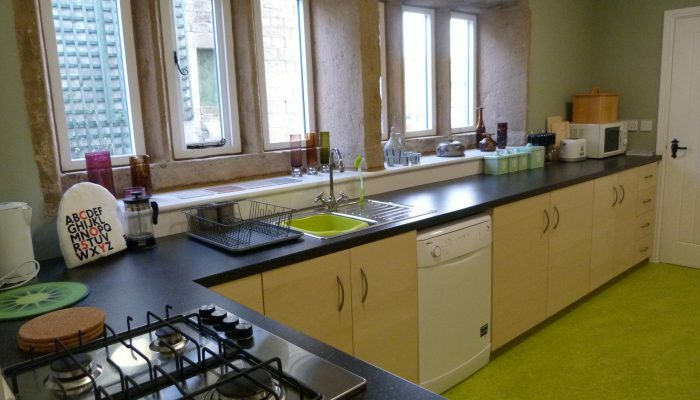 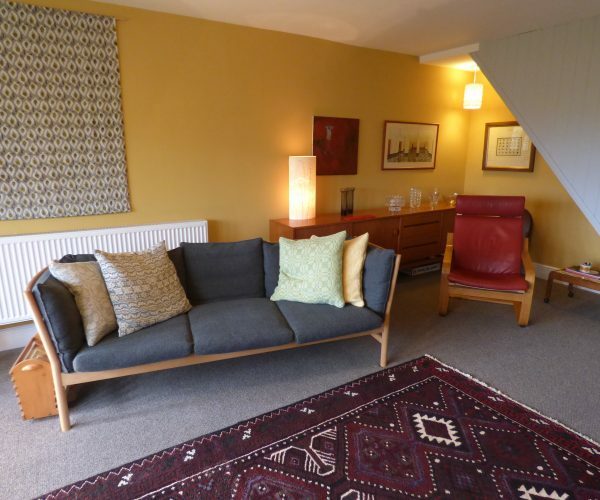 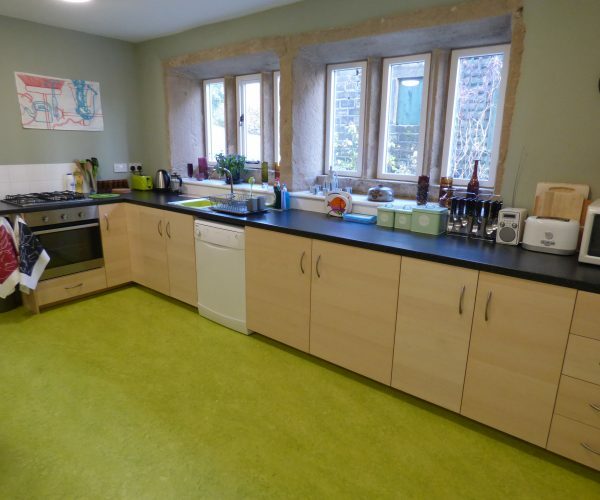 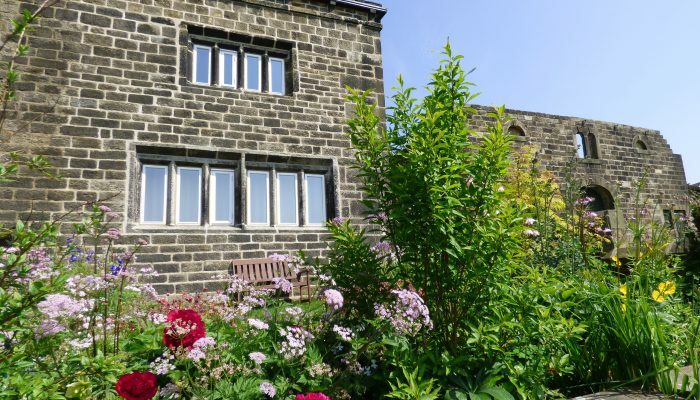 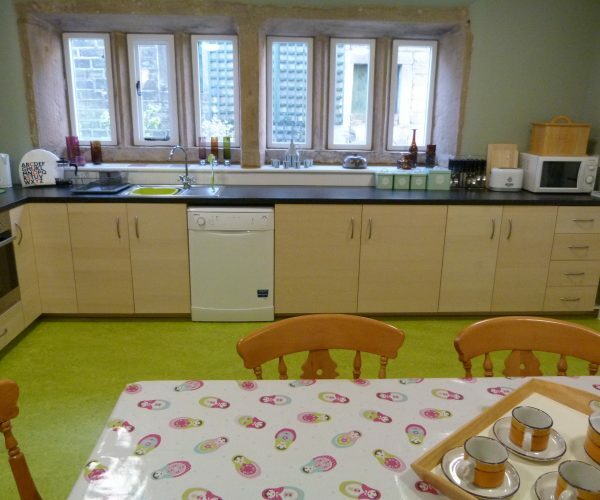 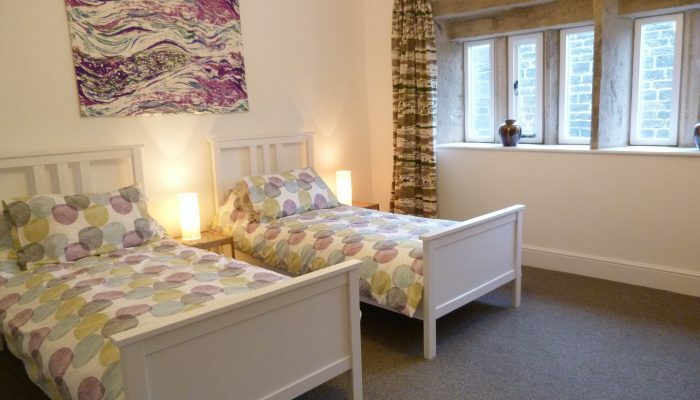 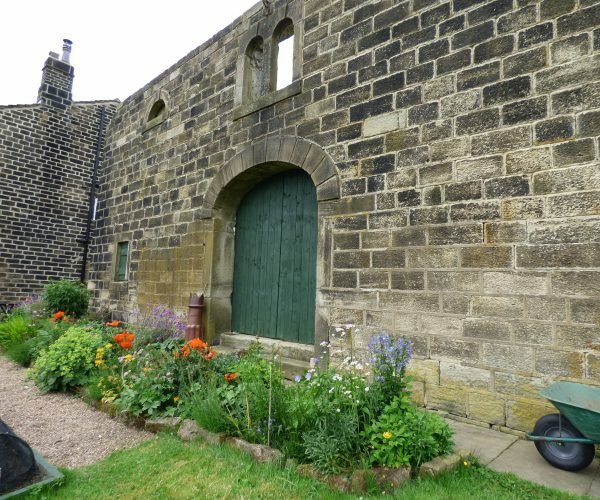 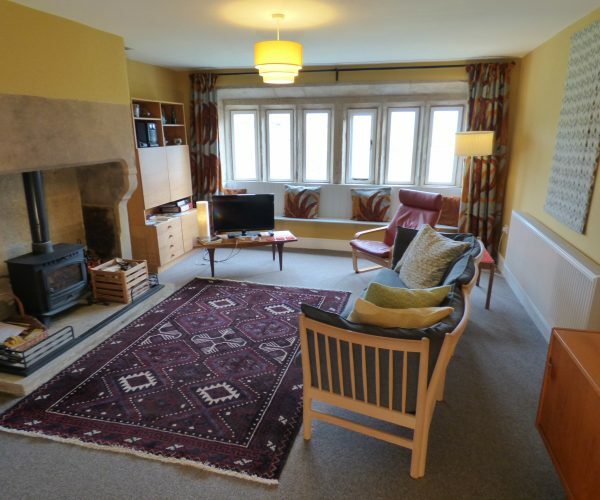 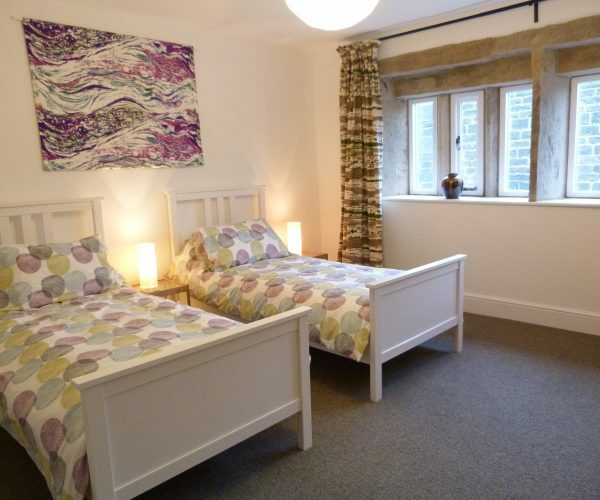 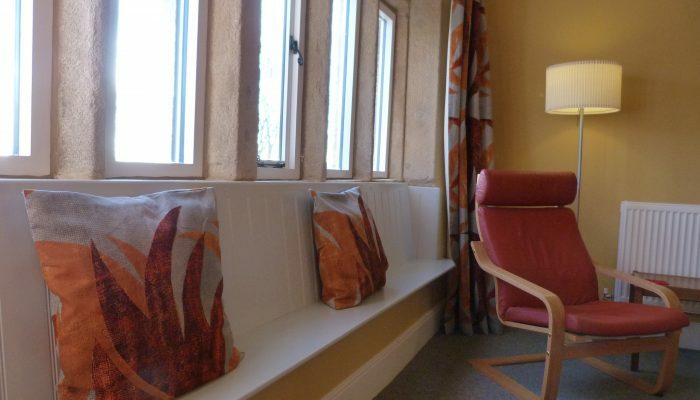 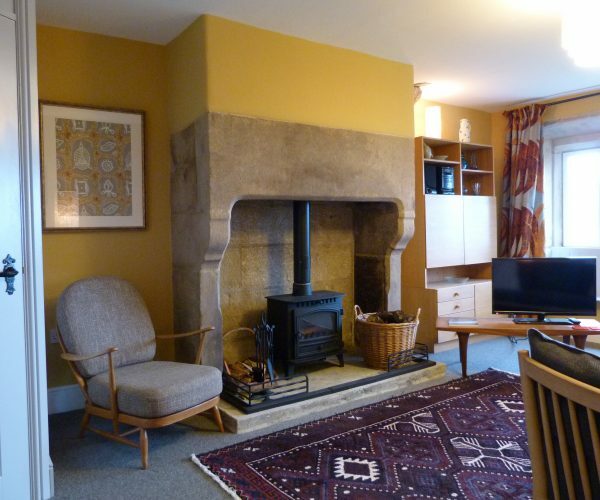 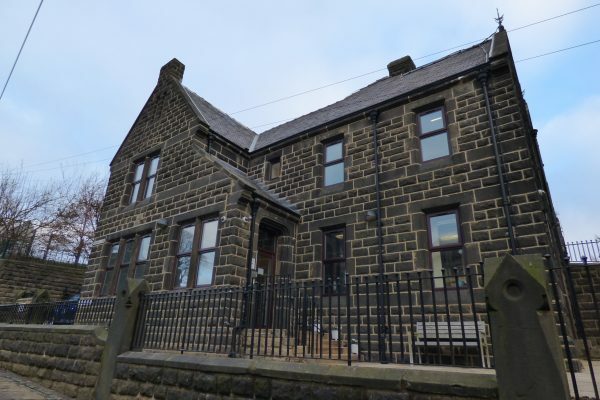 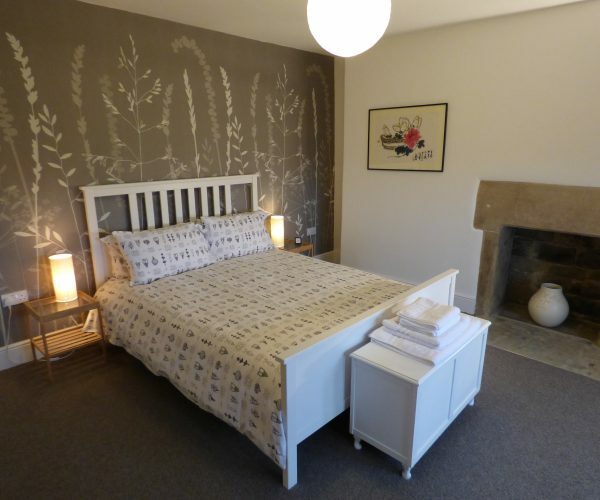 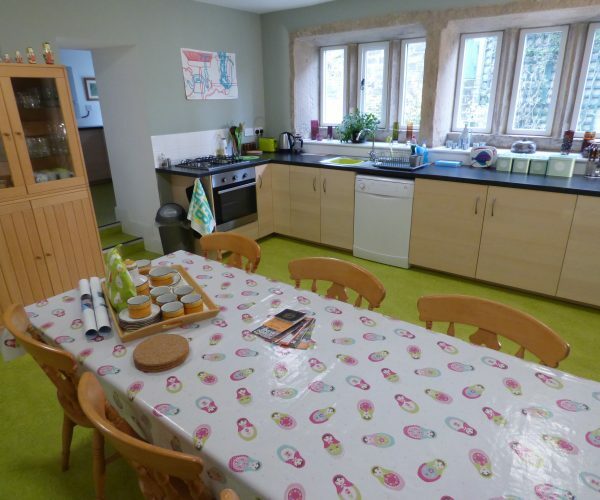 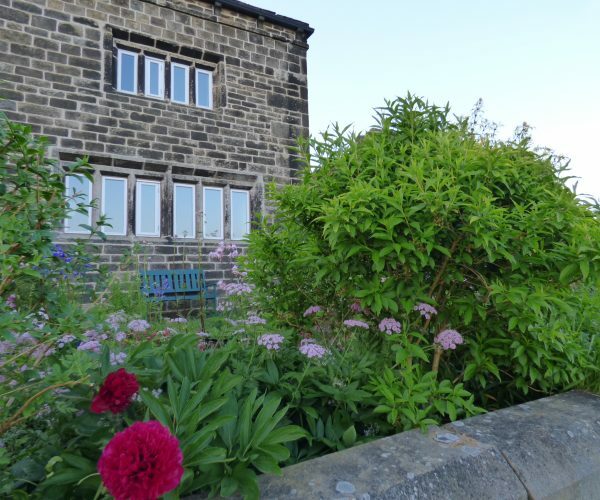 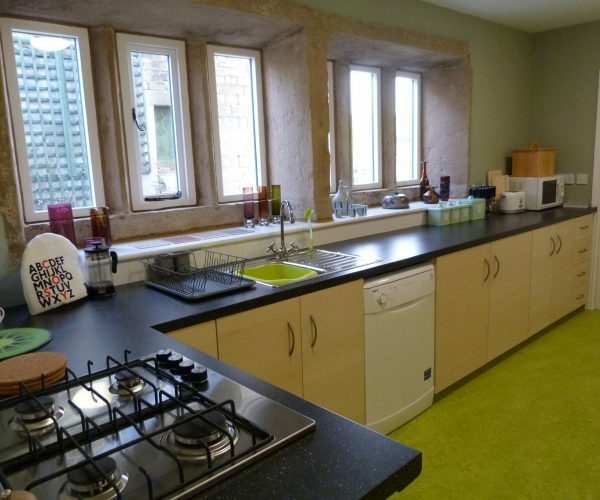 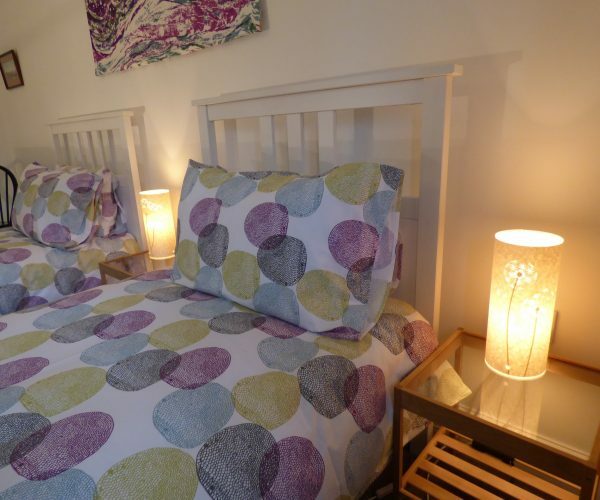 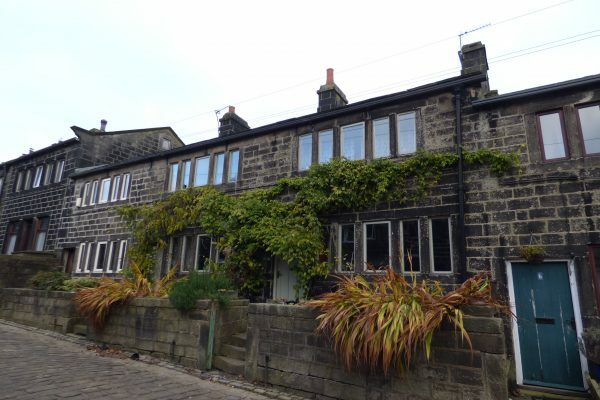 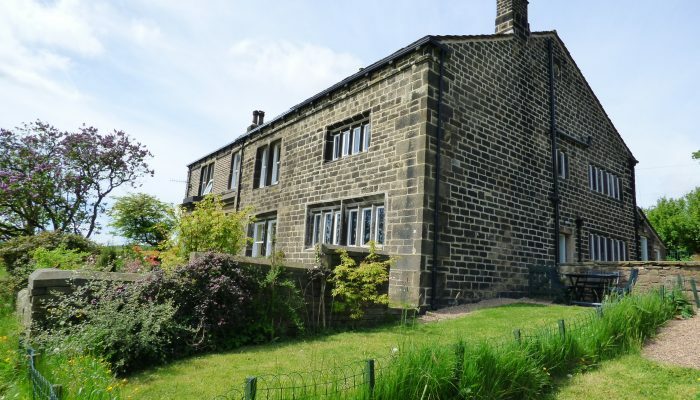 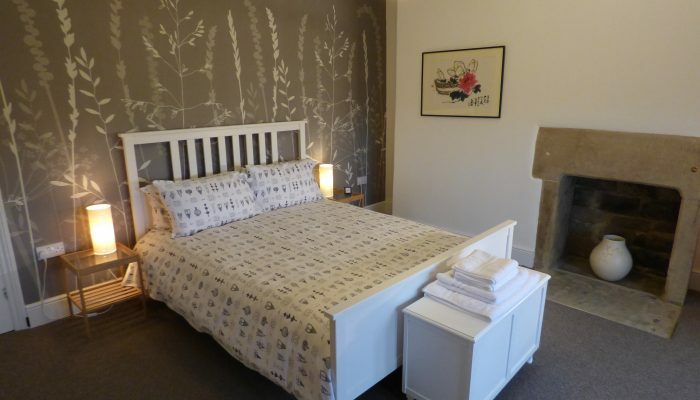 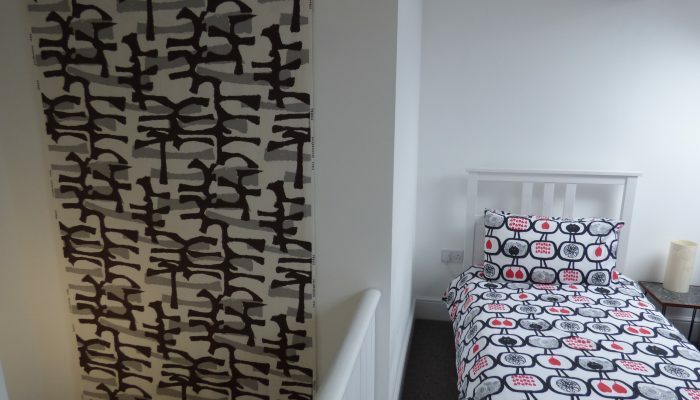 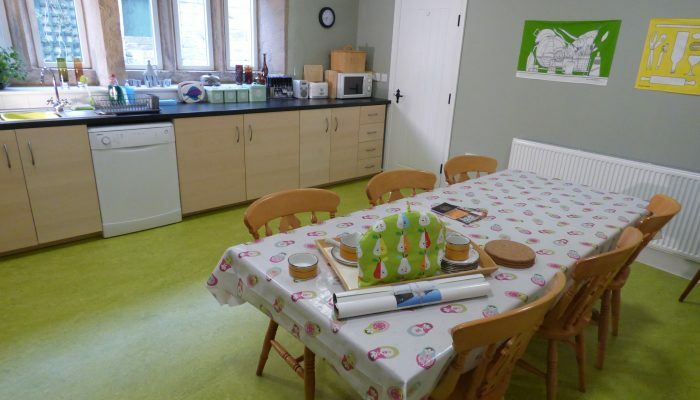 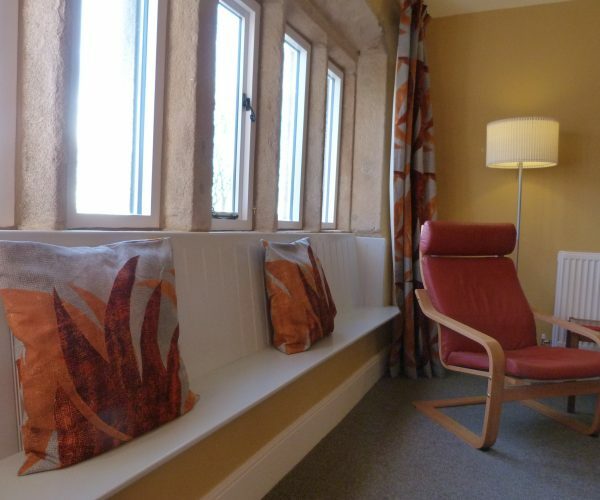 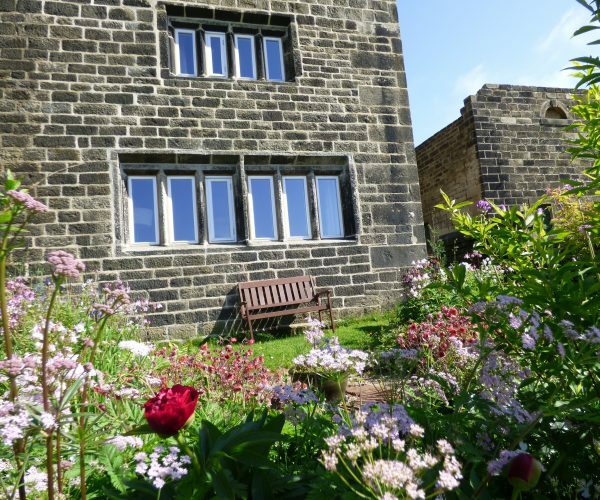 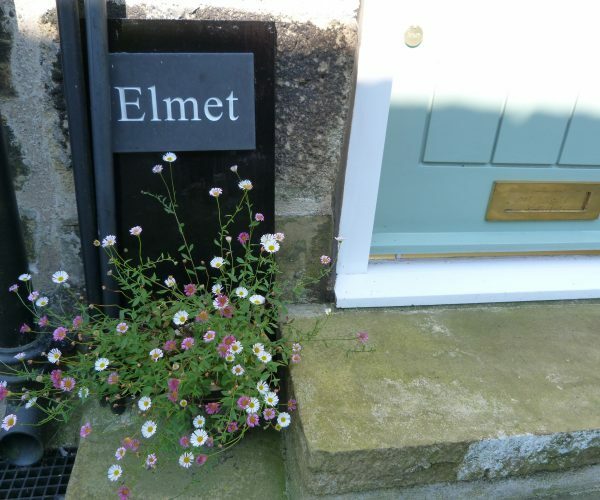 With 3 bedrooms and 2 bathrooms, Elmet Farmhouse accommodates 6 people very comfortably so it’s ideal for families and groups of friends. 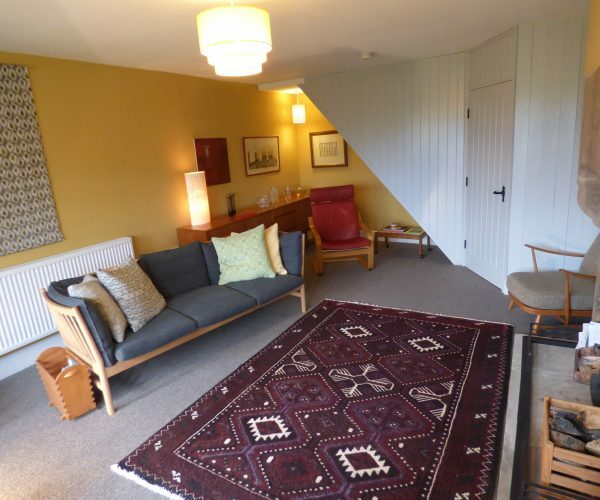 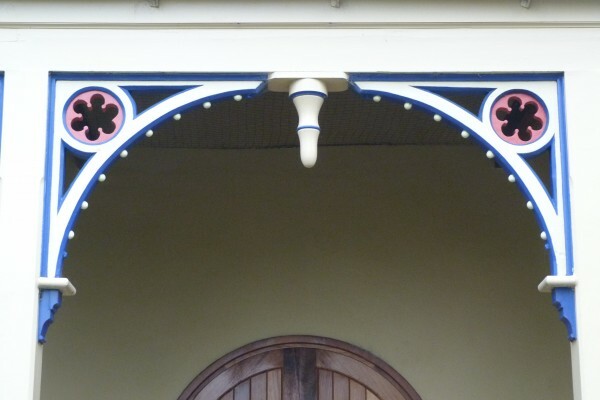 The spacious lounge and roomy farmhouse kitchen have ample seating and the whole house is very well equipped. 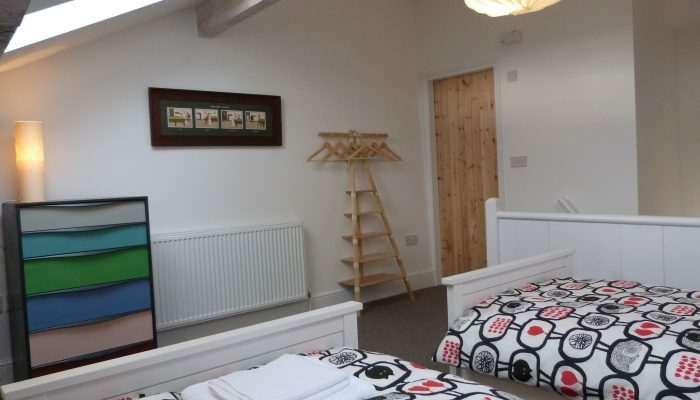 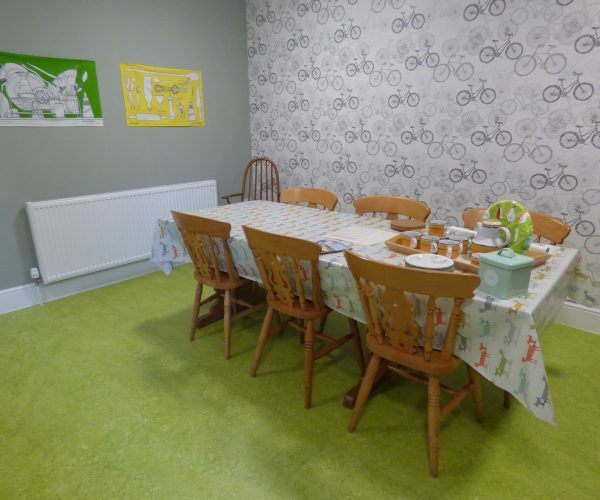 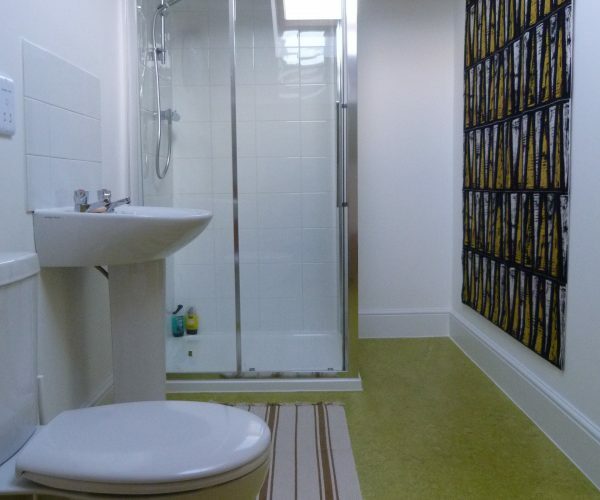 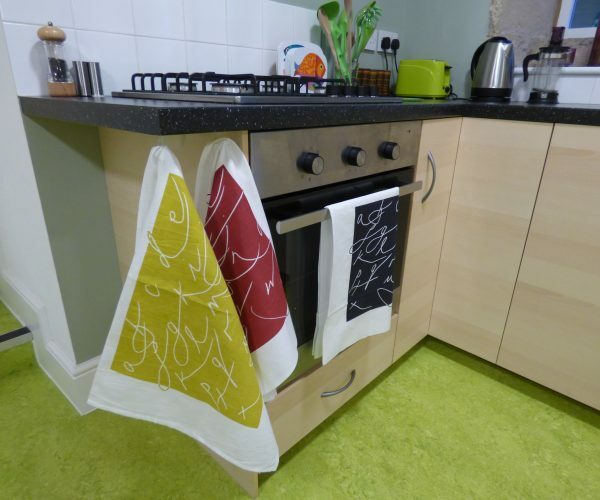 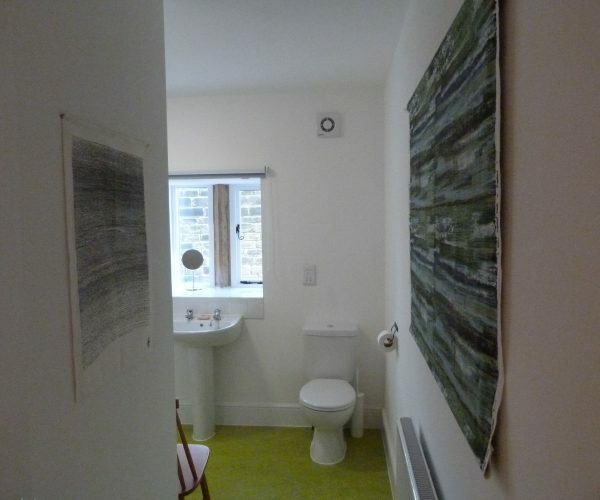 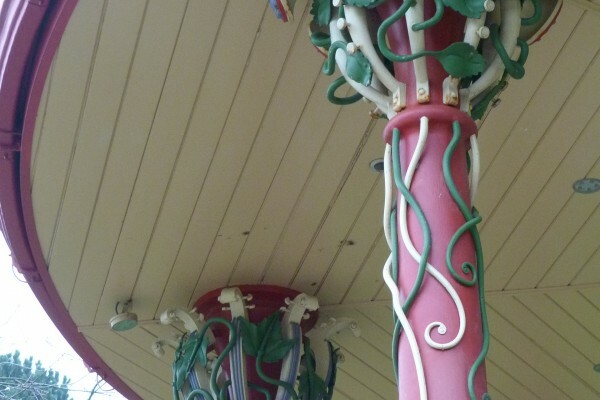 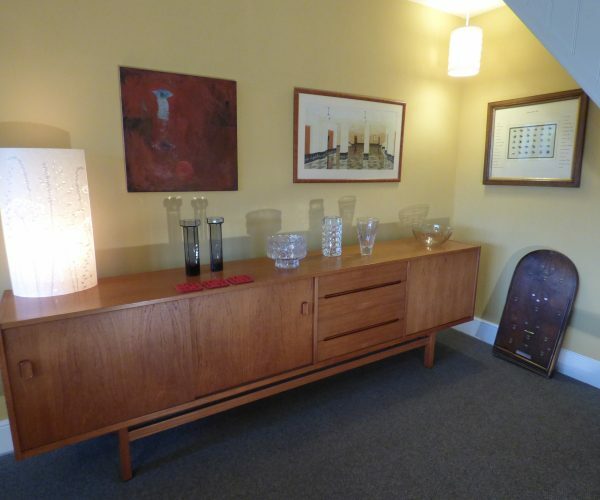 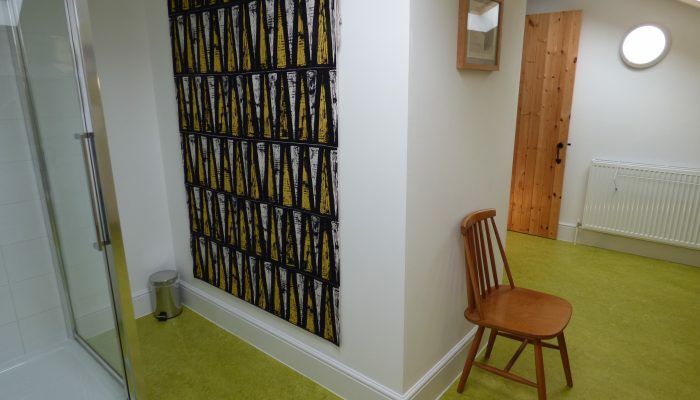 As well as WiFi, TV, DVD, washing machine and dishwasher, there are maps, walks leaflets and vintage games. 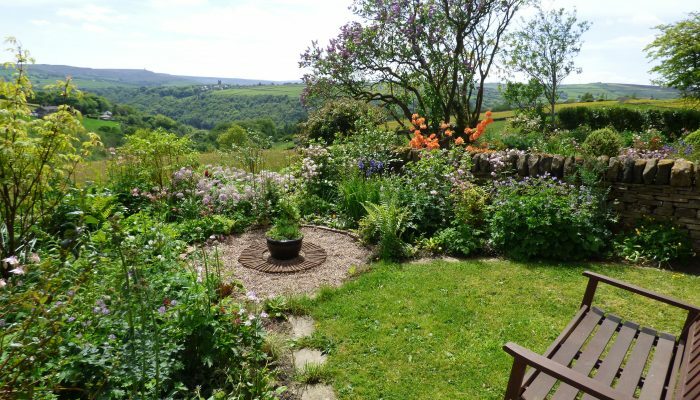 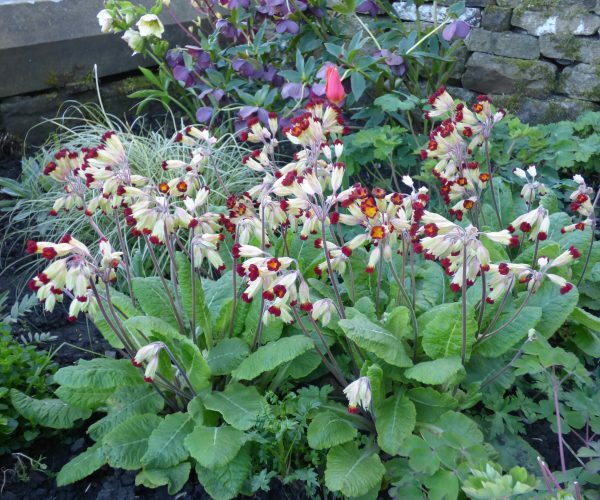 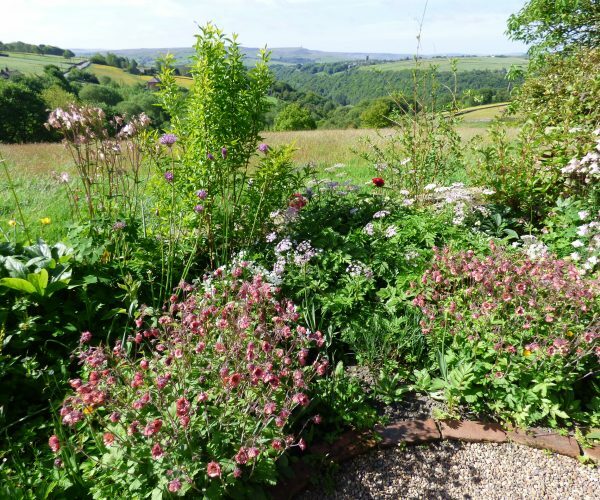 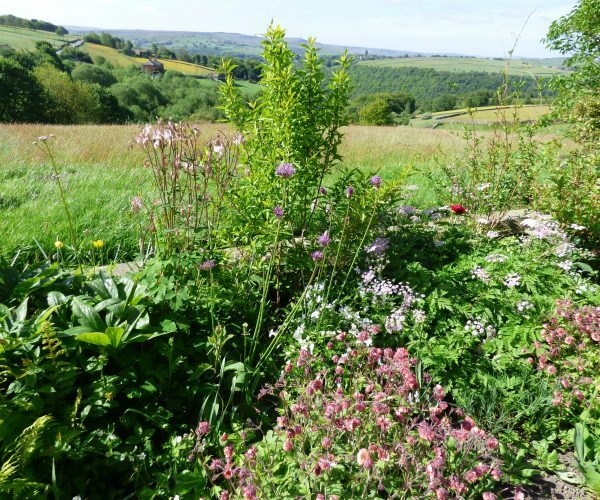 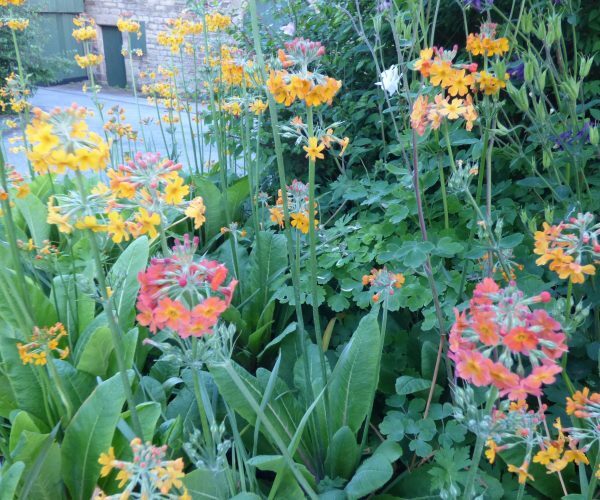 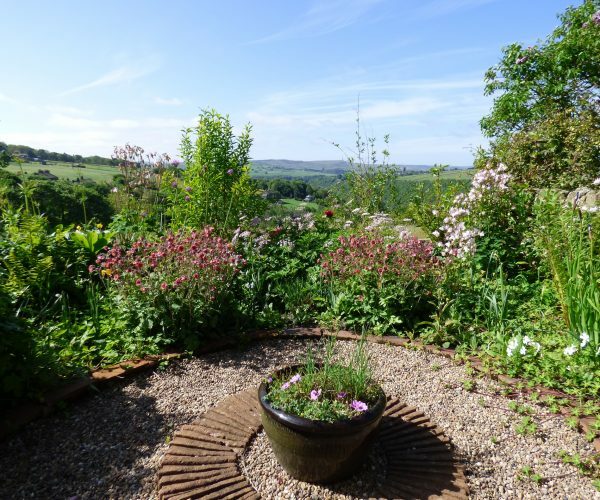 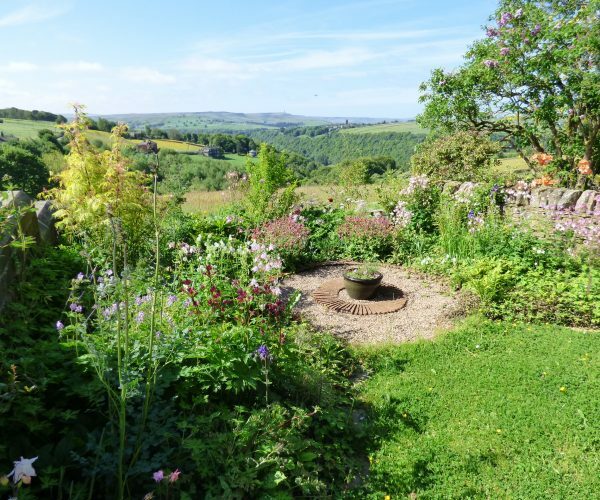 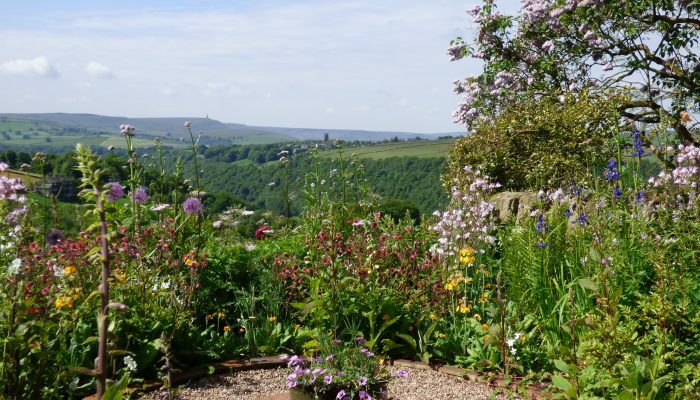 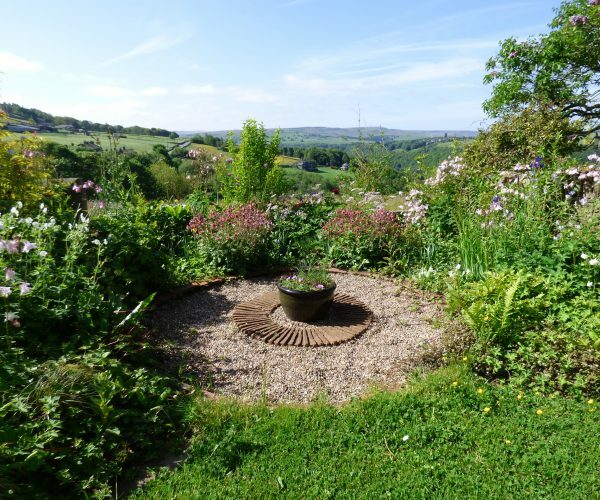 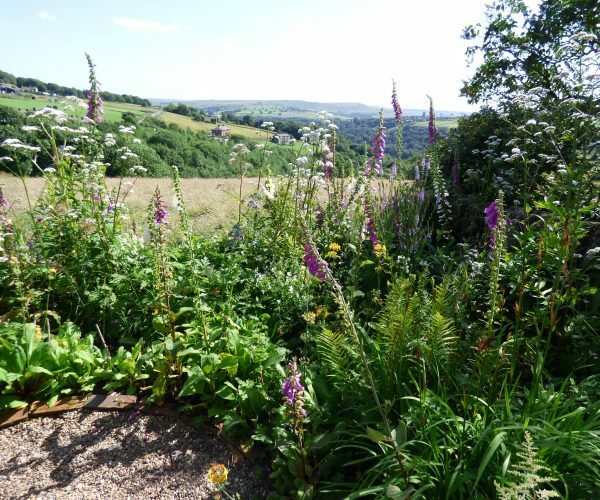 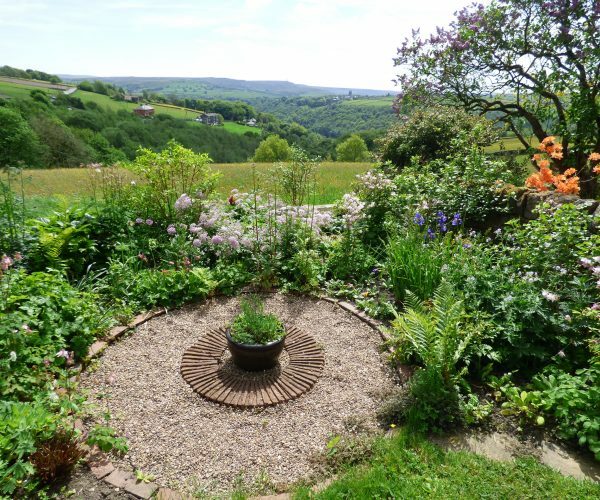 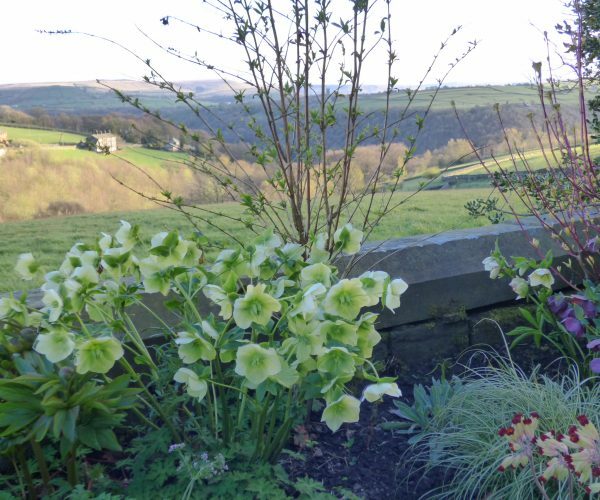 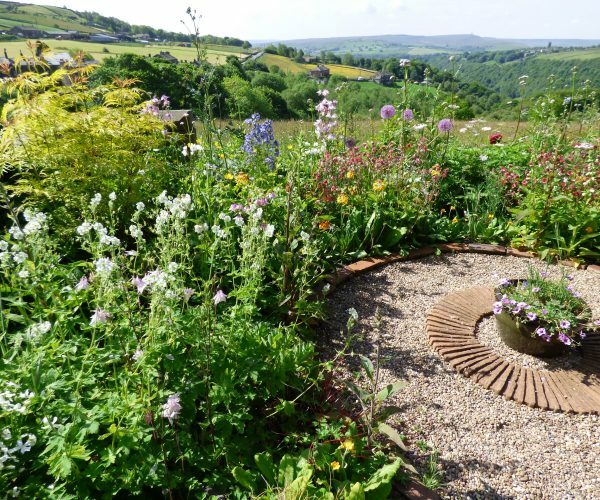 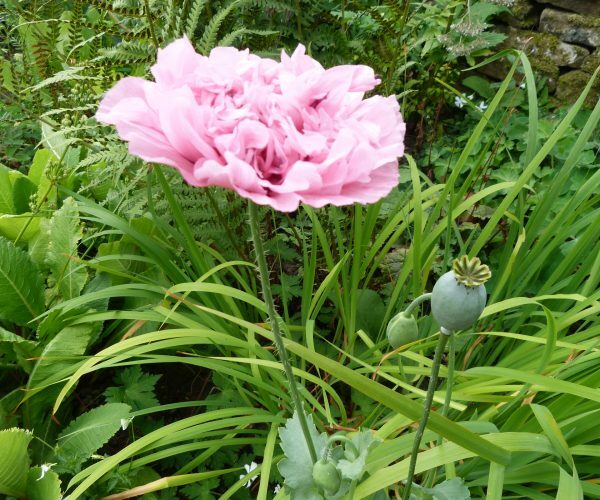 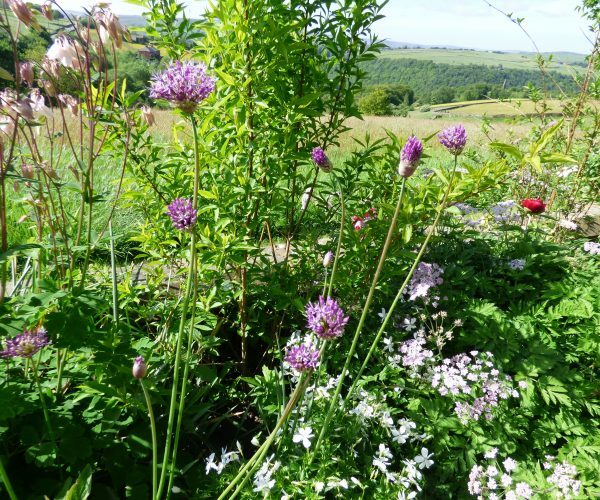 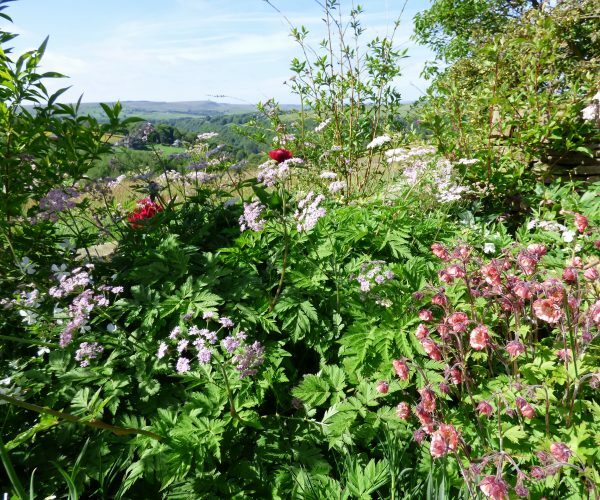 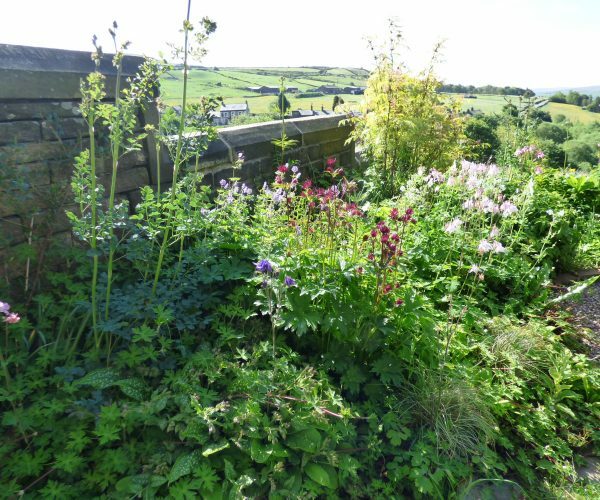 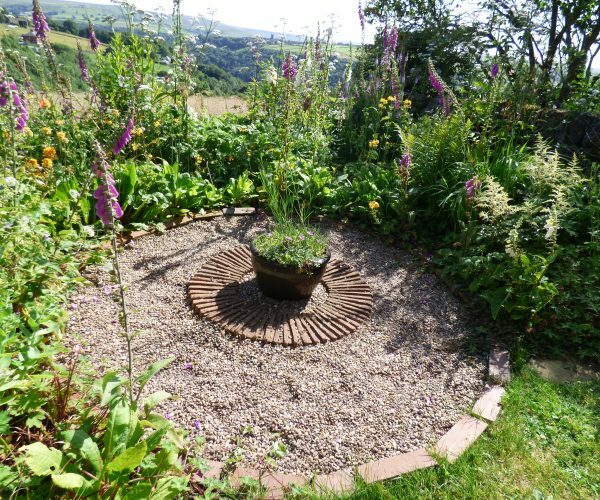 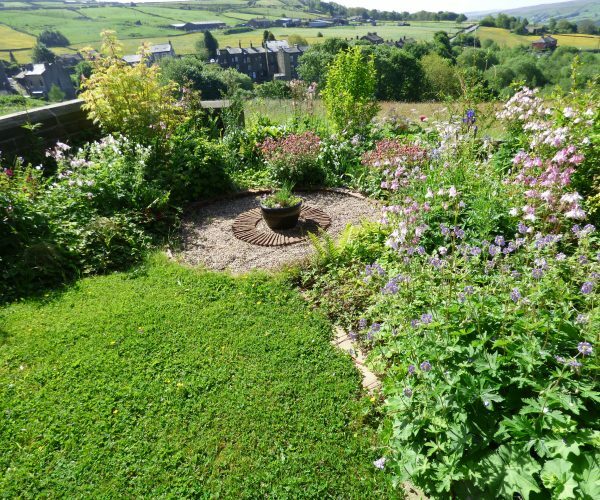 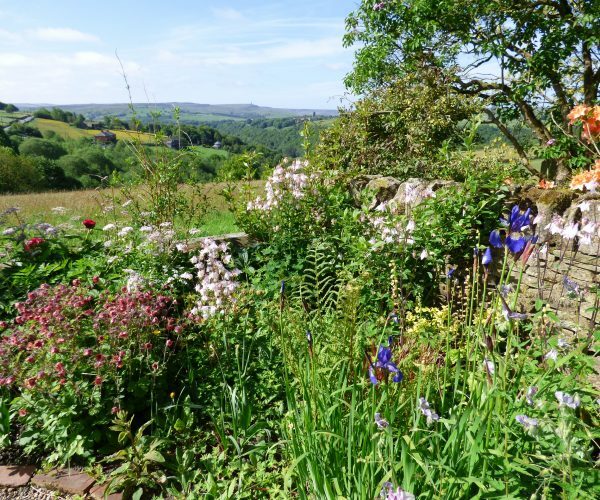 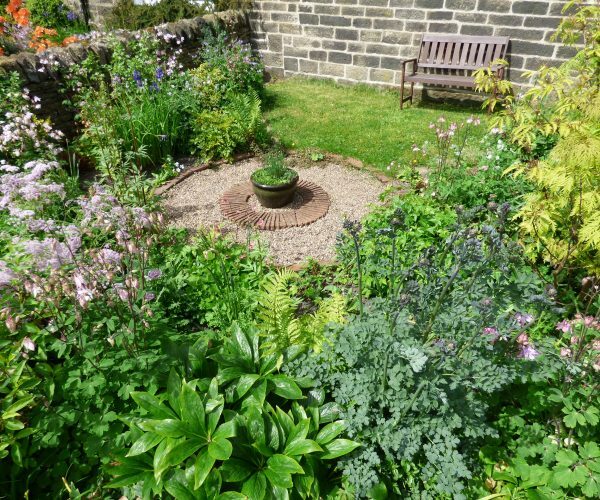 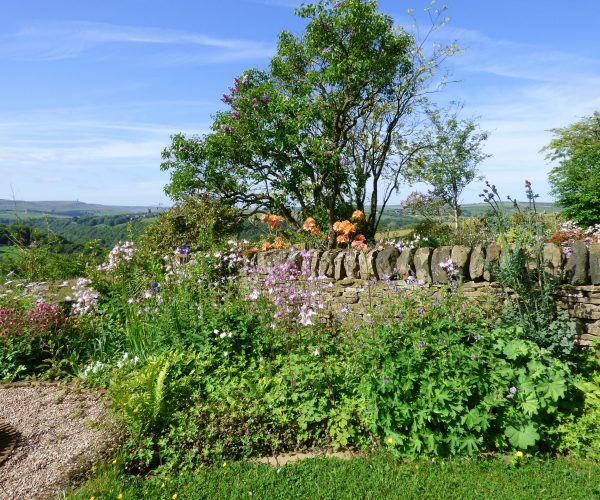 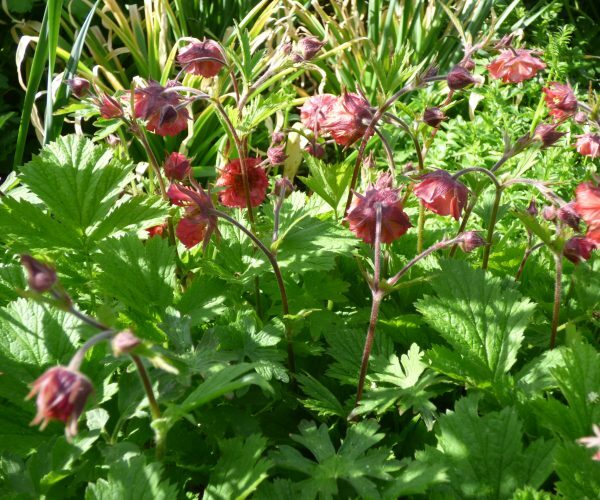 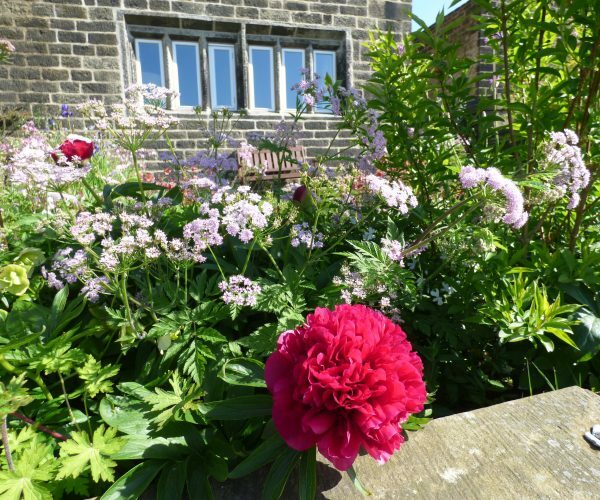 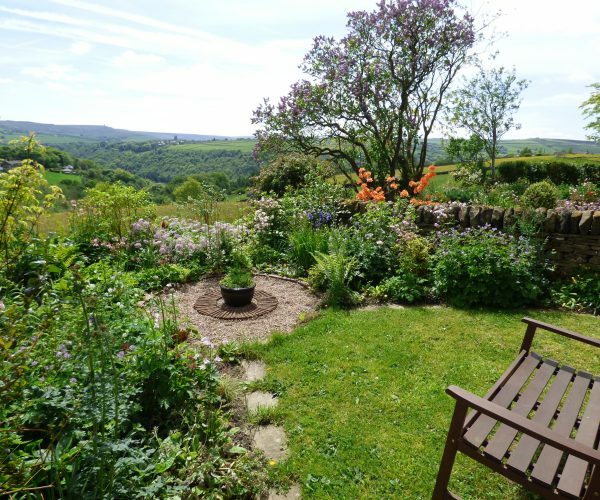 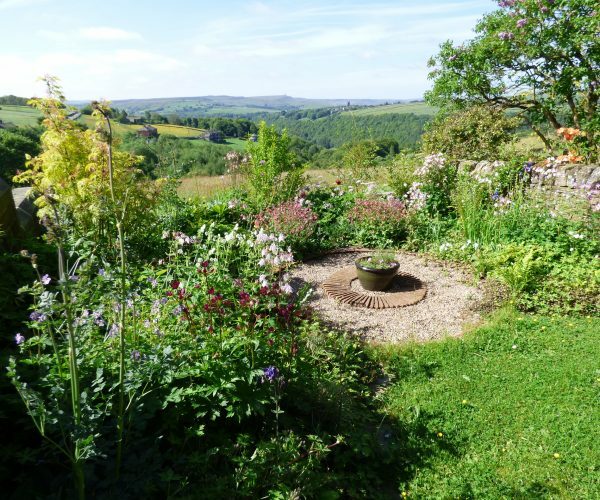 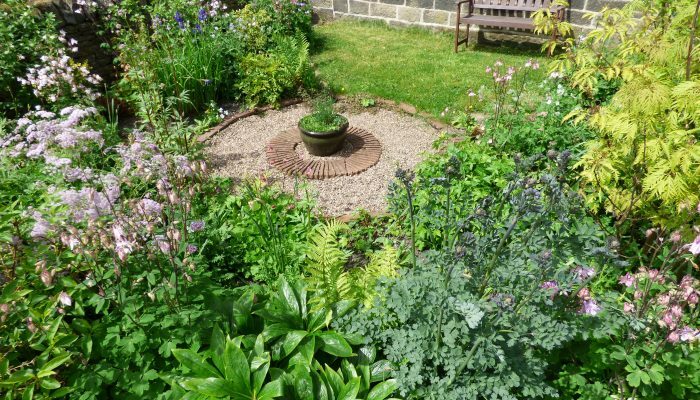 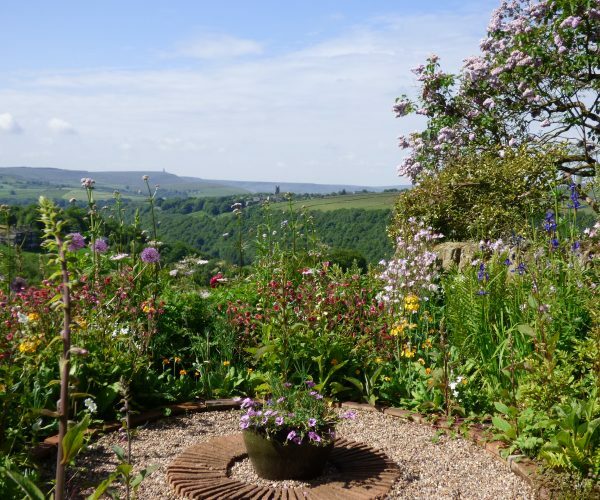 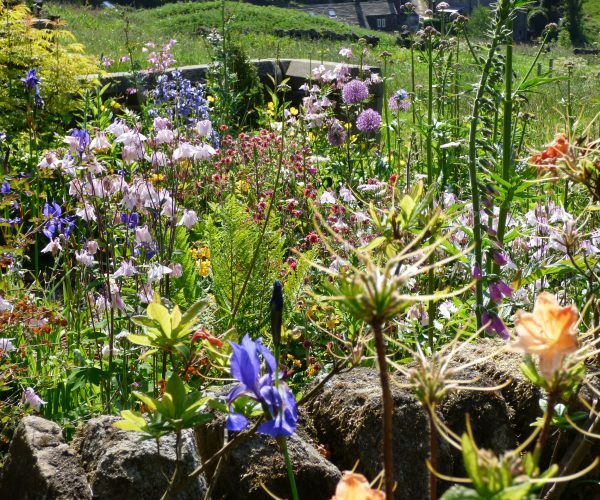 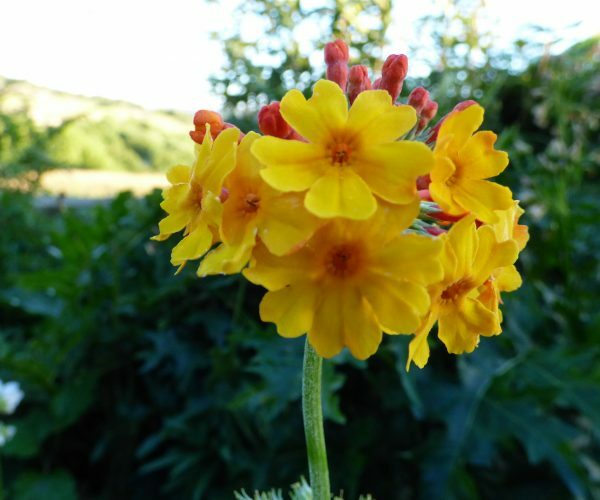 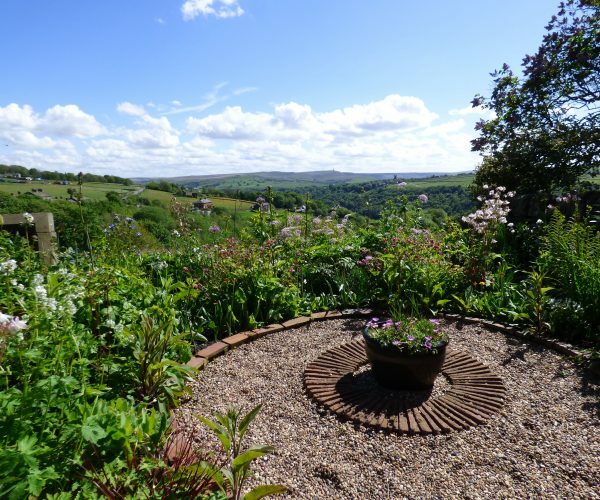 Elmet’s pretty cottage garden brimming with flowers is a wonderful place to sit out and enjoy the fabulous views. 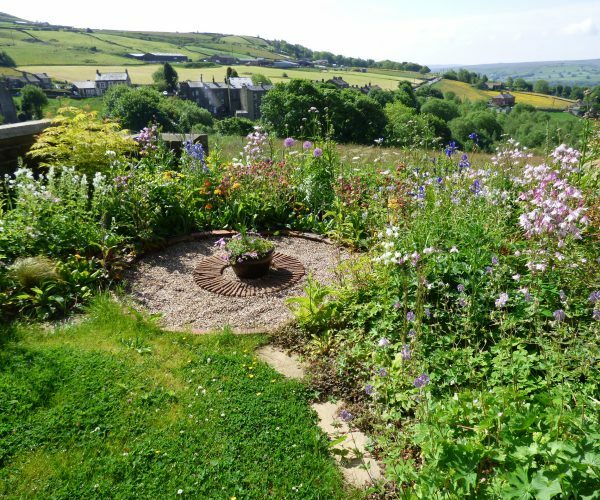 There are two outdoor dining areas overlooking our beautiful hay meadows next to the vegetable garden and historic barn. 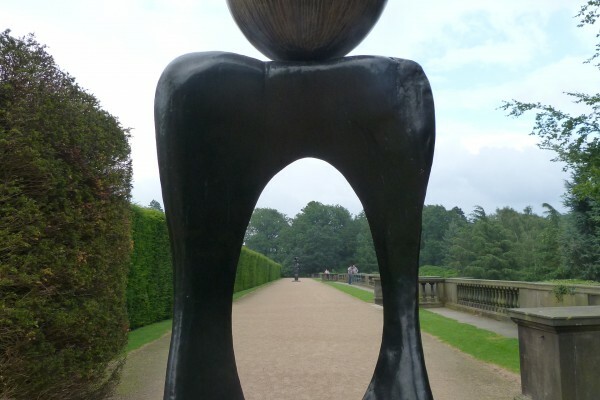 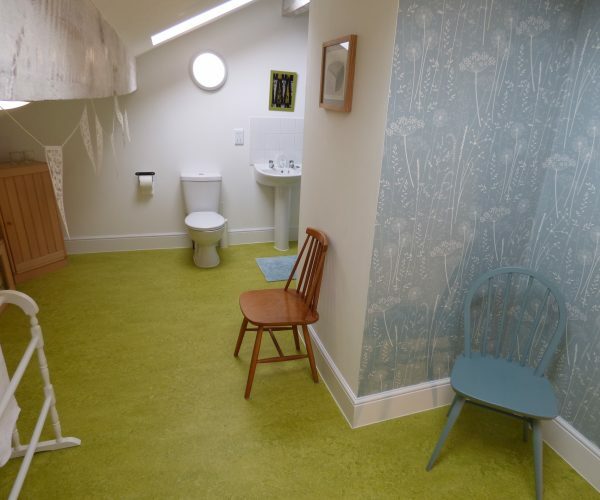 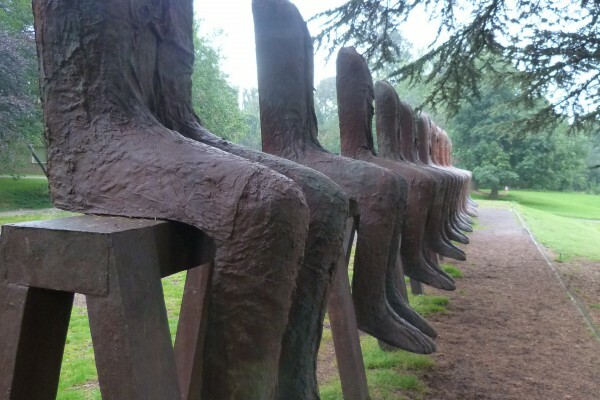 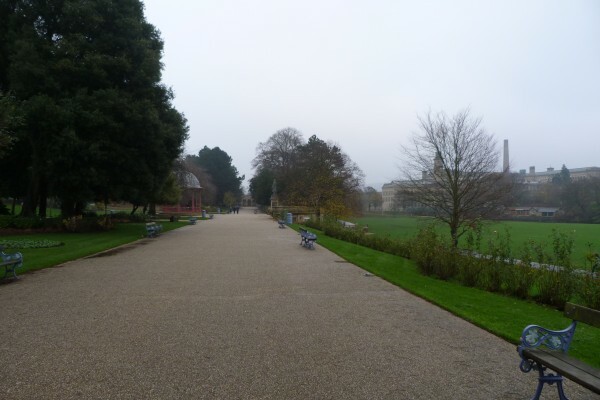 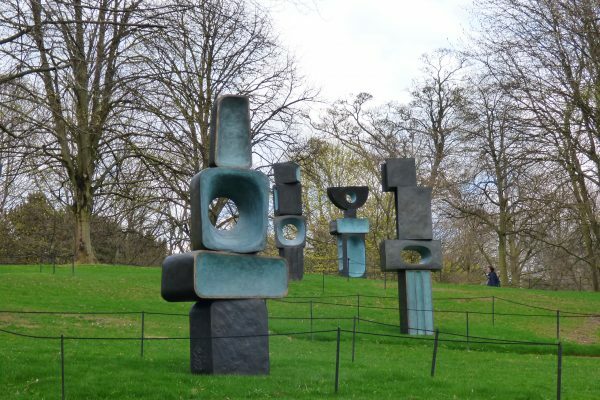 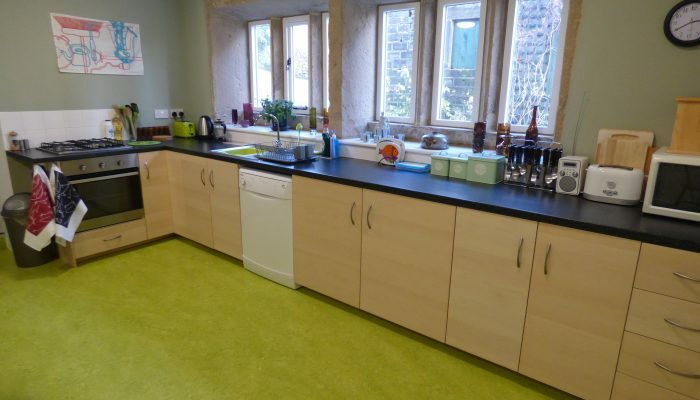 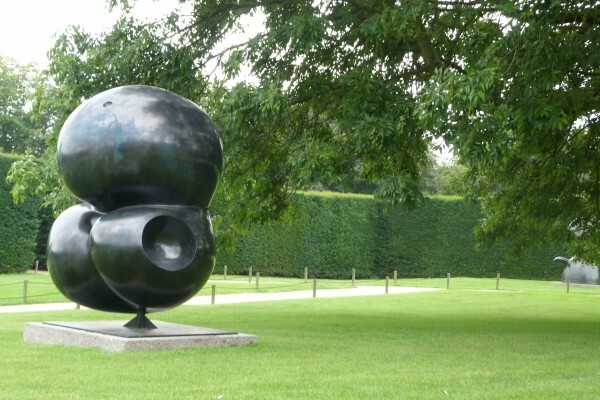 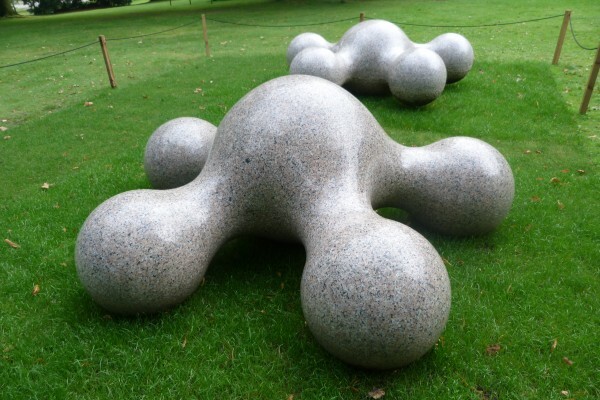 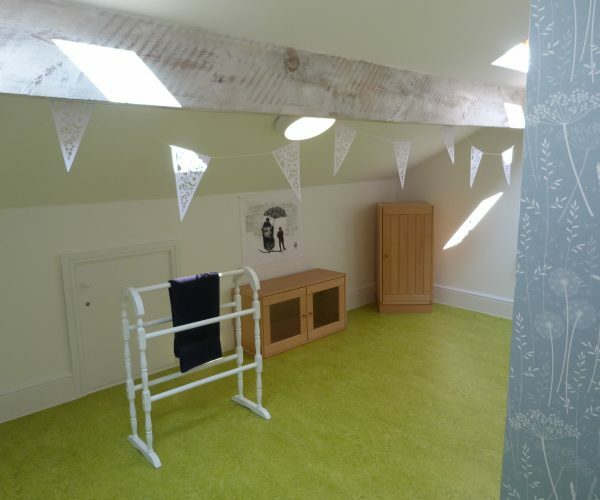 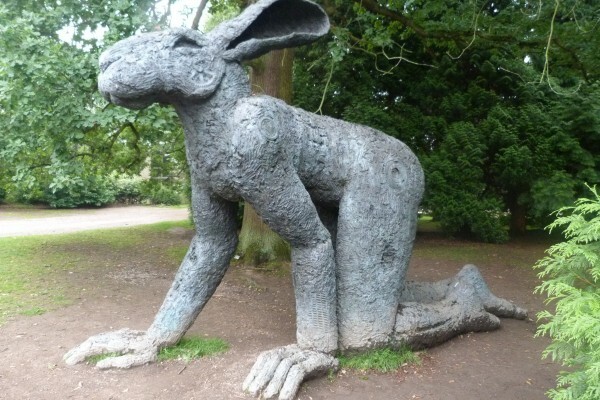 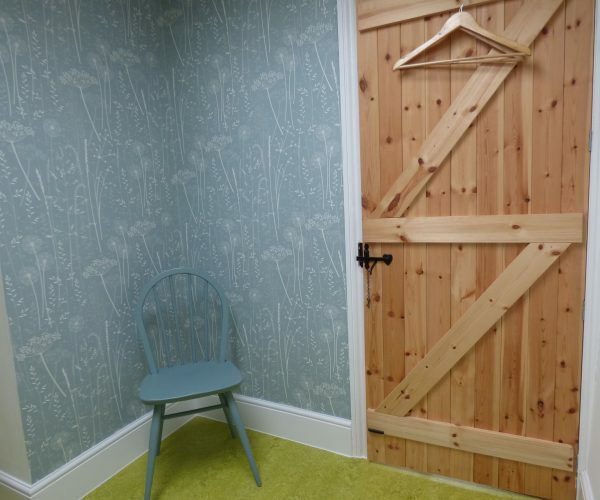 There’s plenty of space for children to run around in the garden and field. 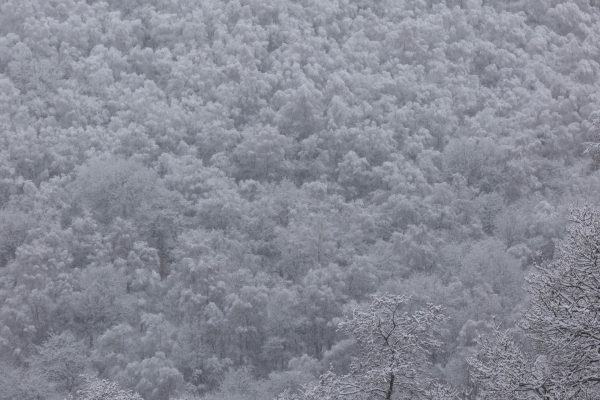 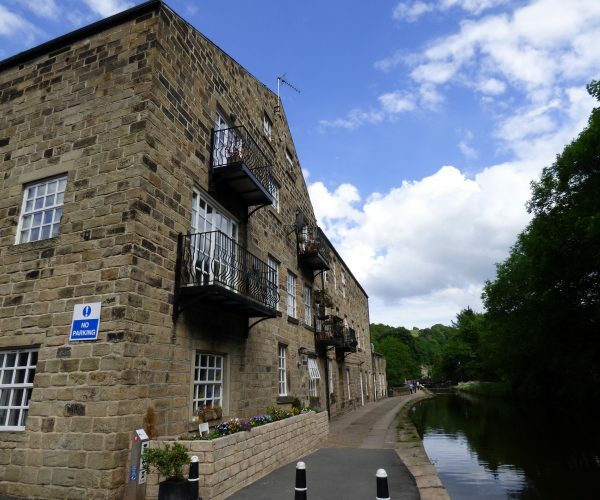 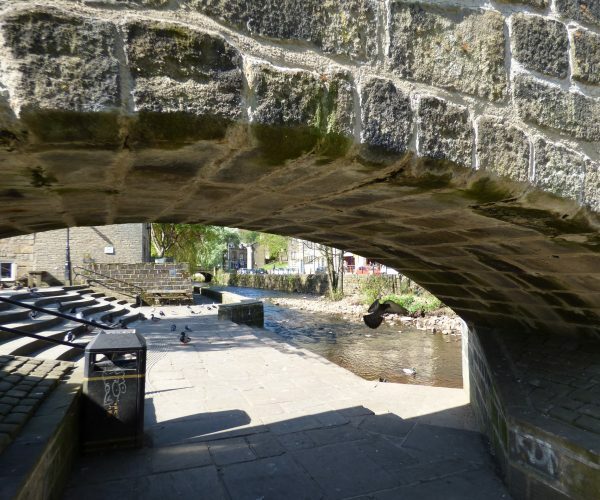 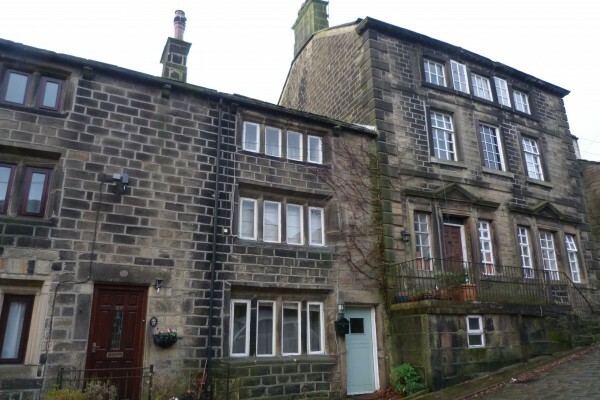 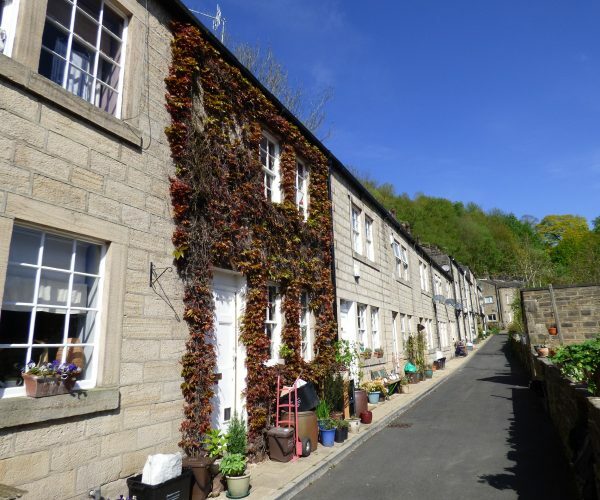 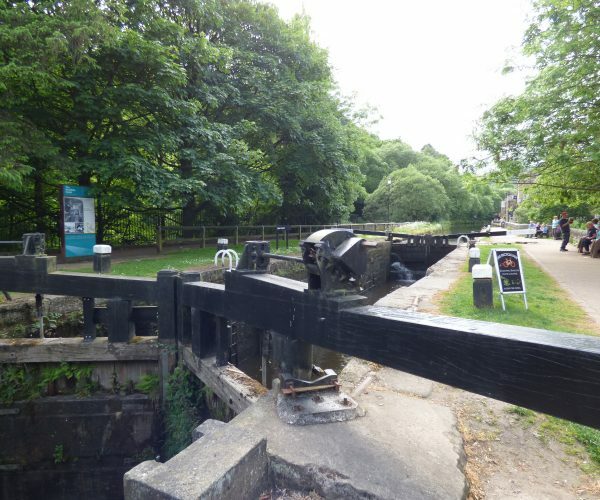 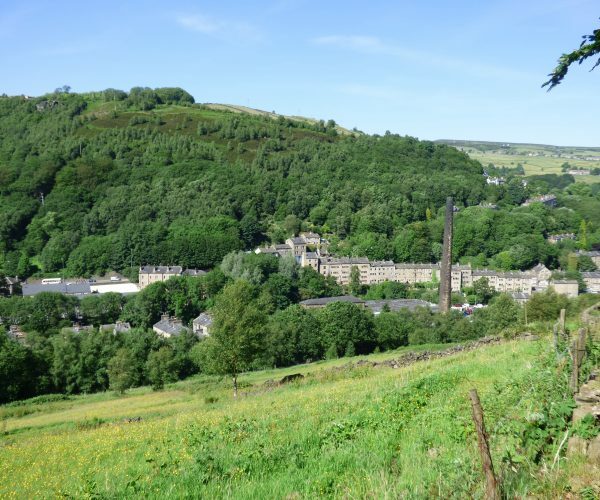 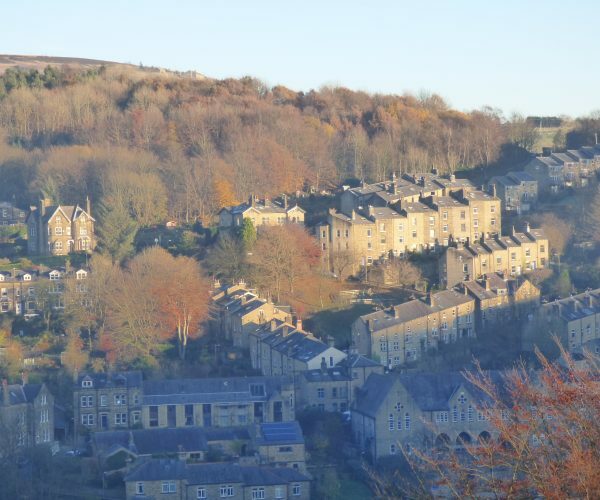 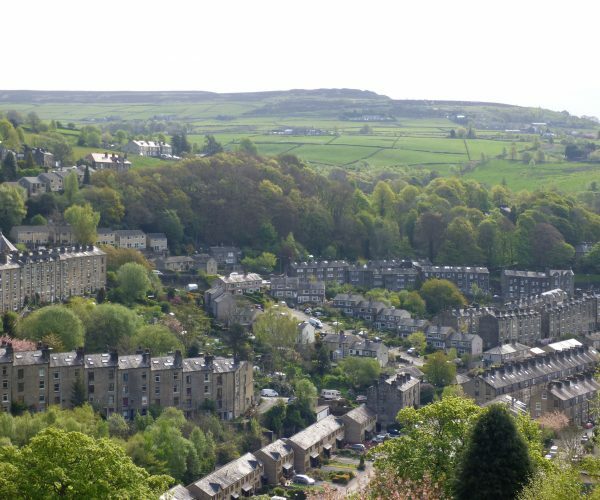 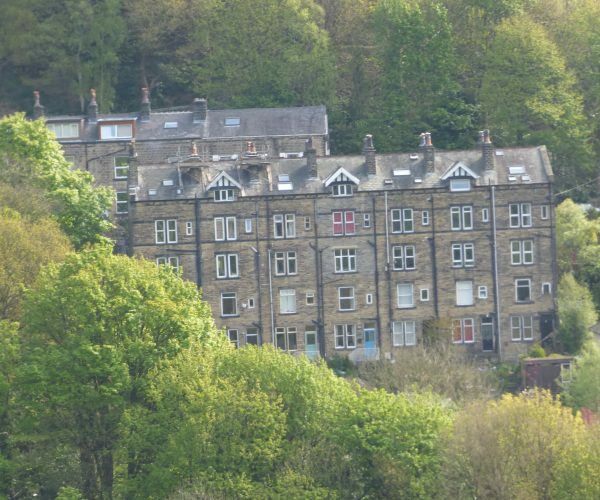 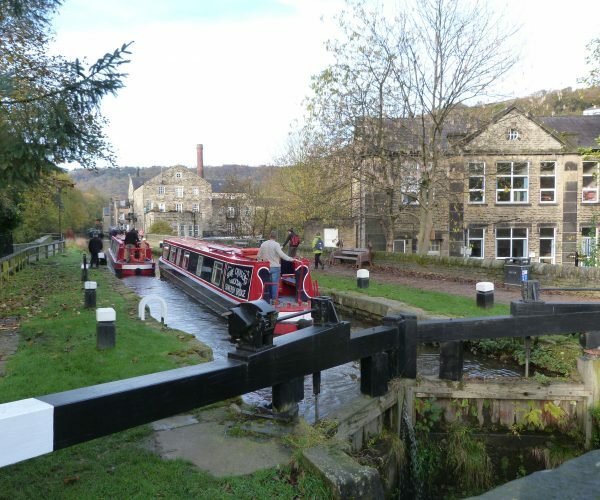 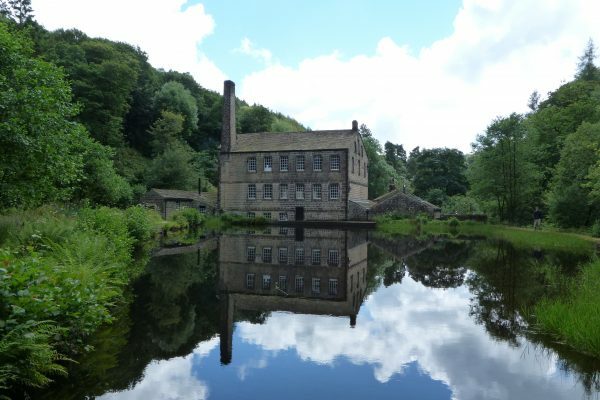 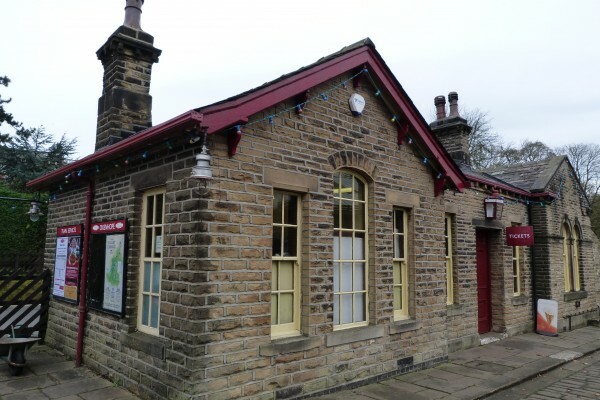 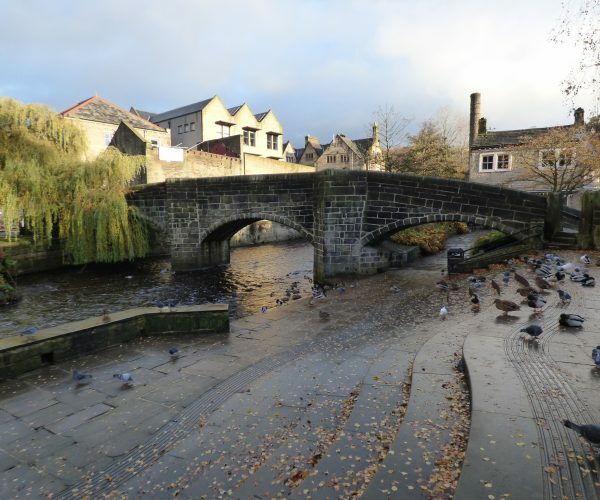 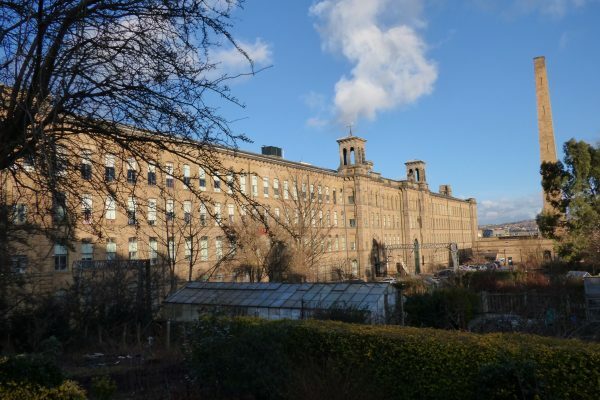 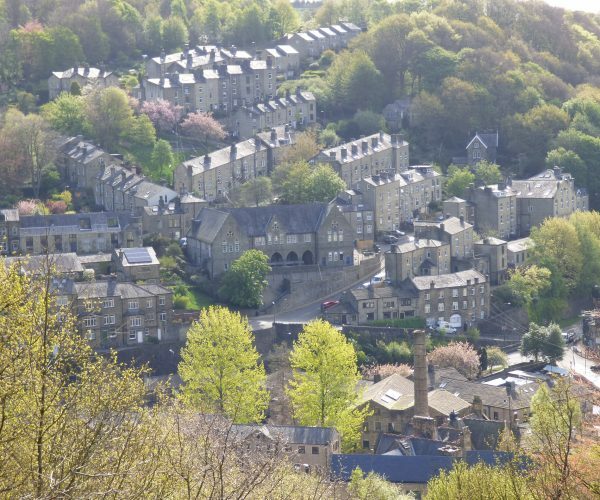 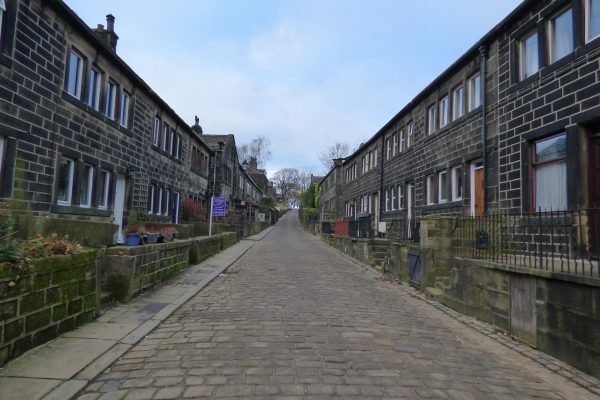 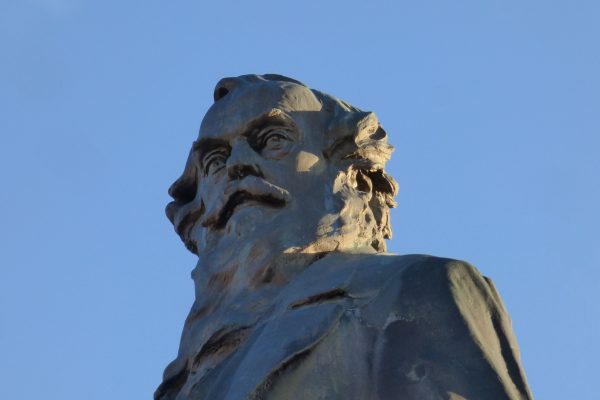 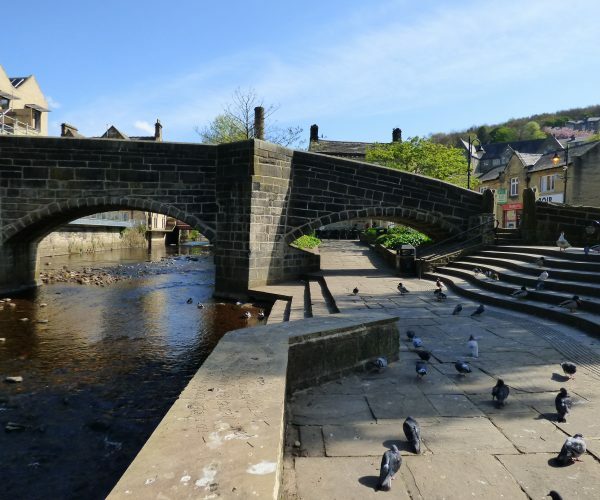 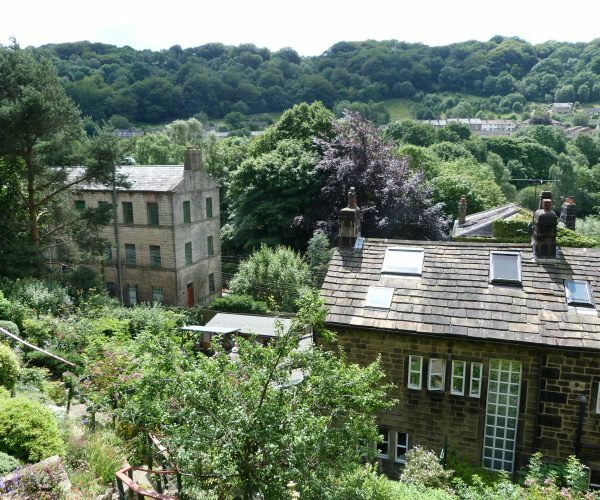 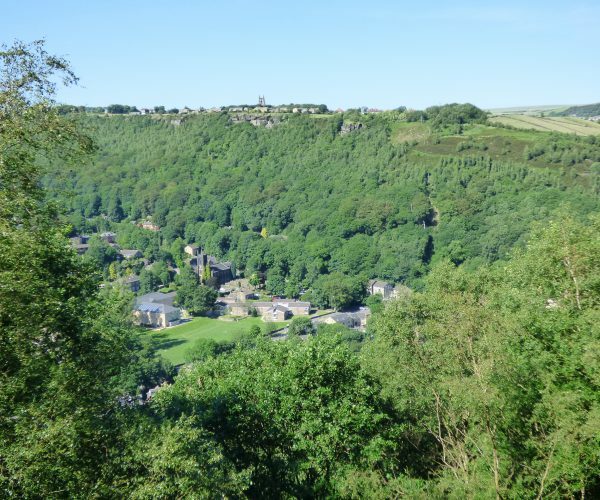 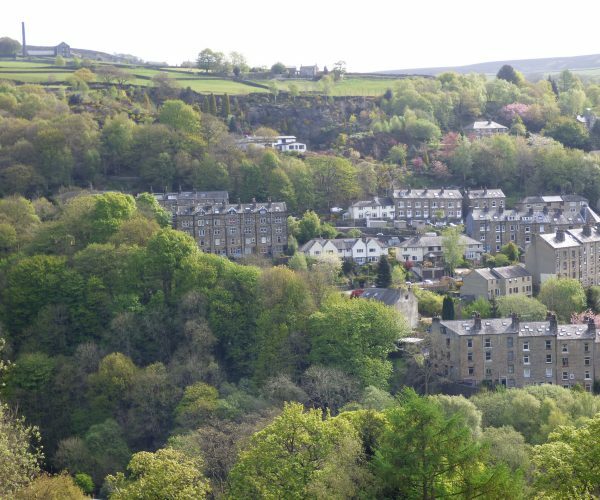 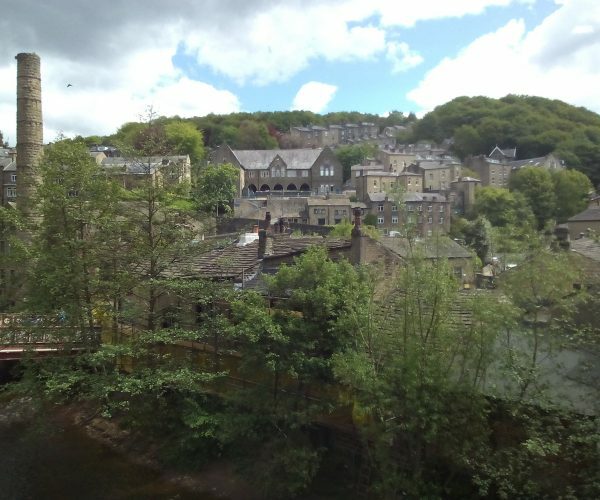 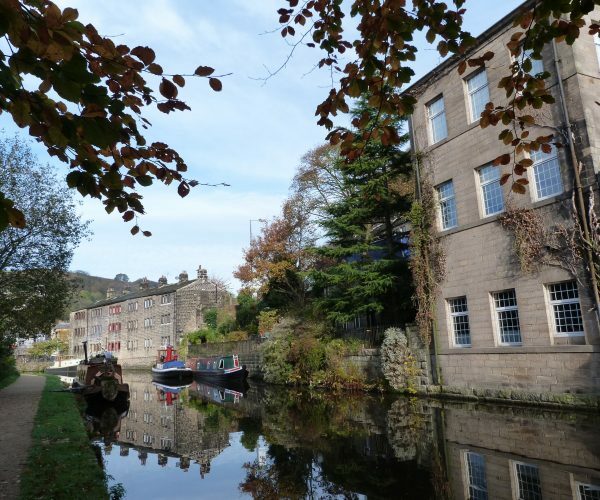 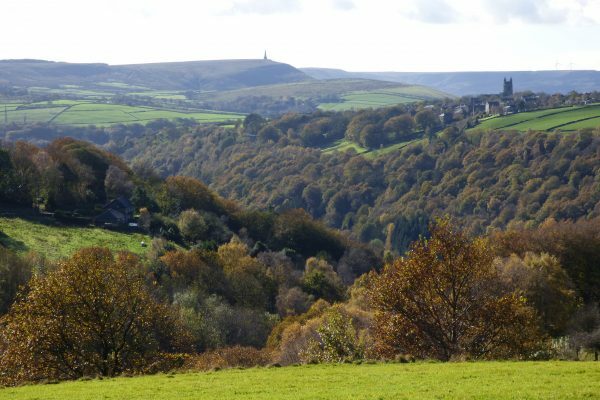 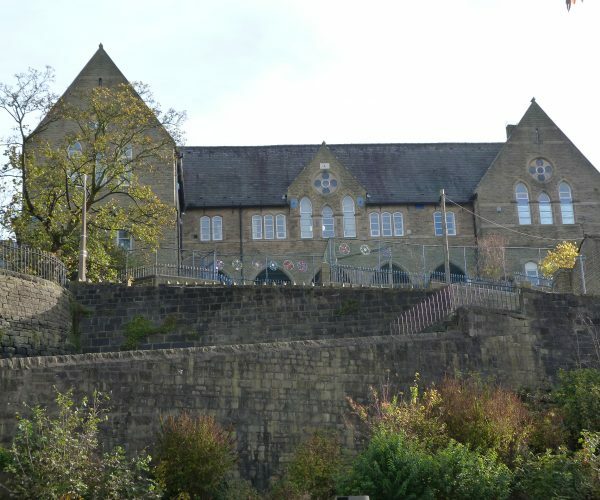 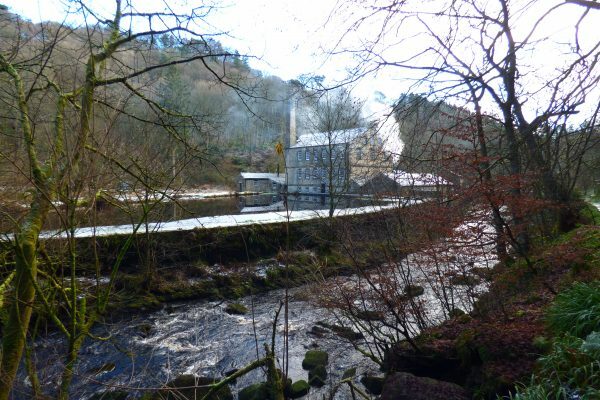 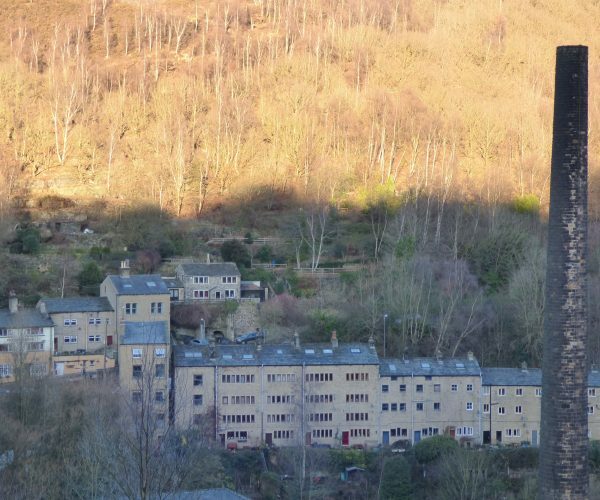 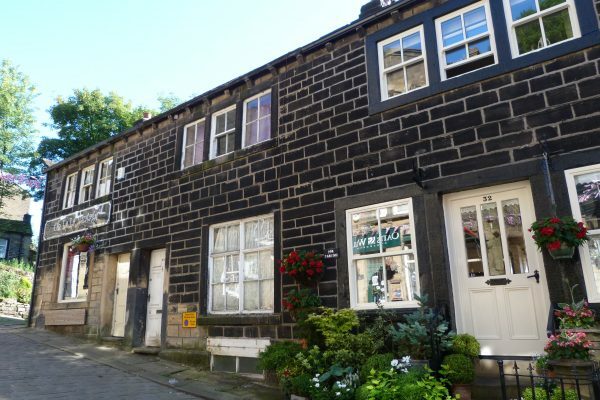 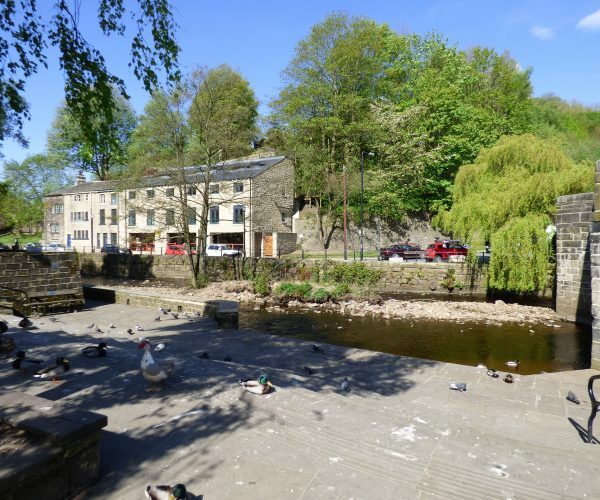 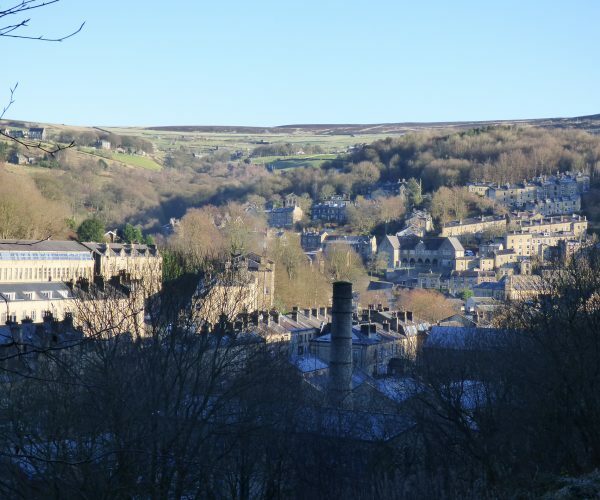 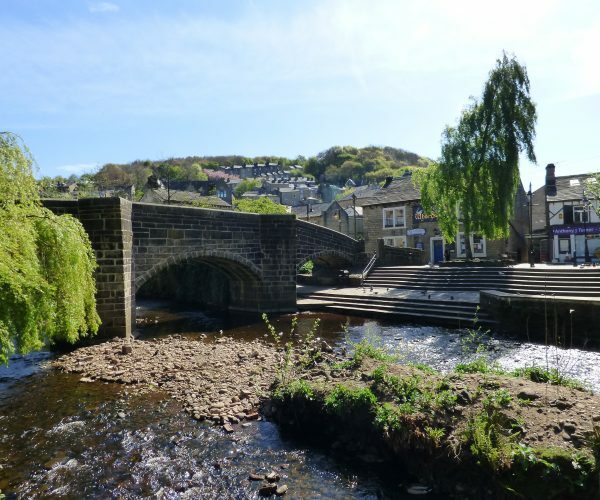 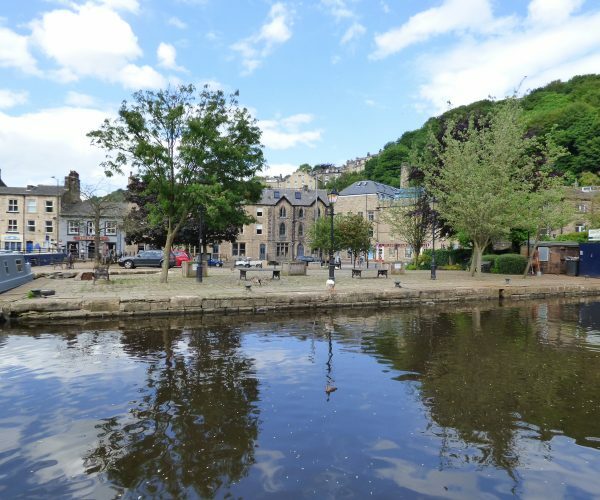 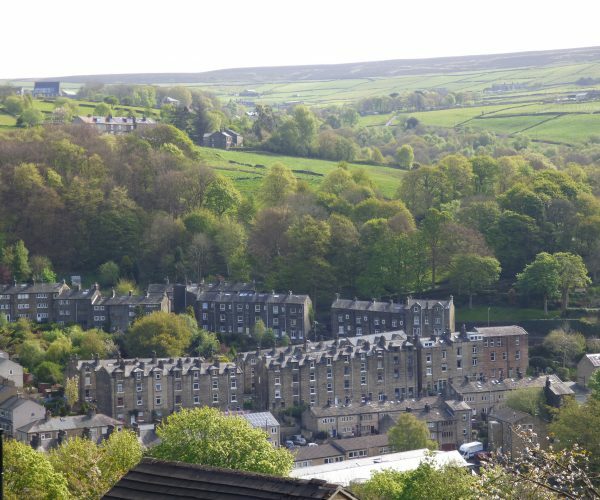 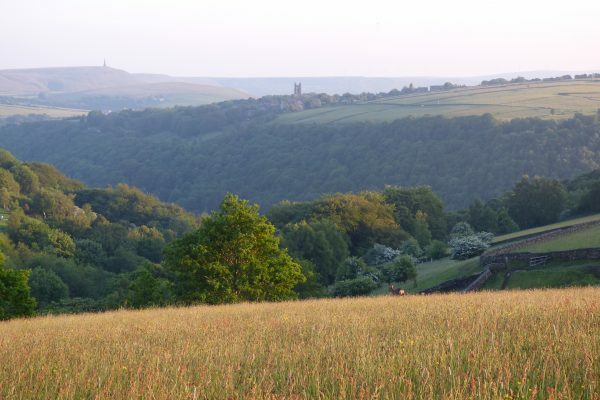 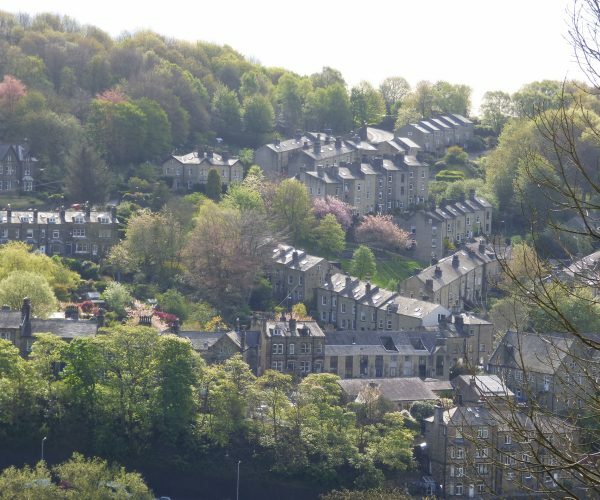 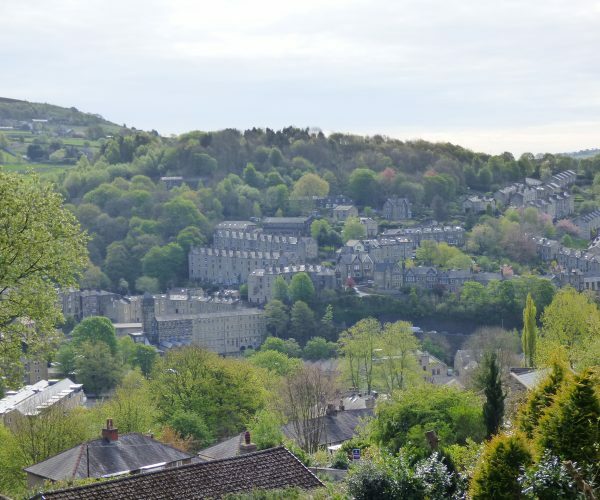 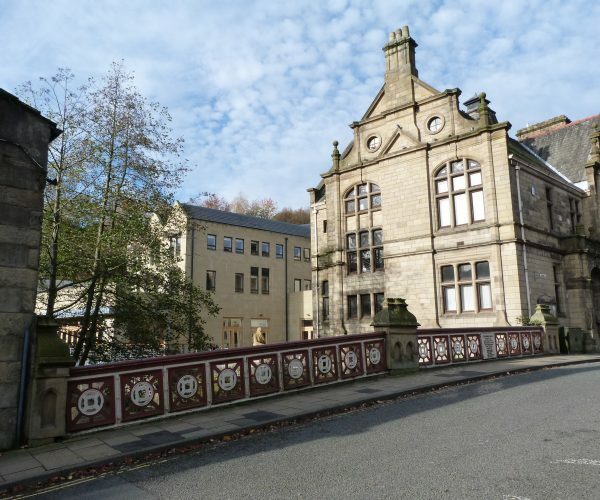 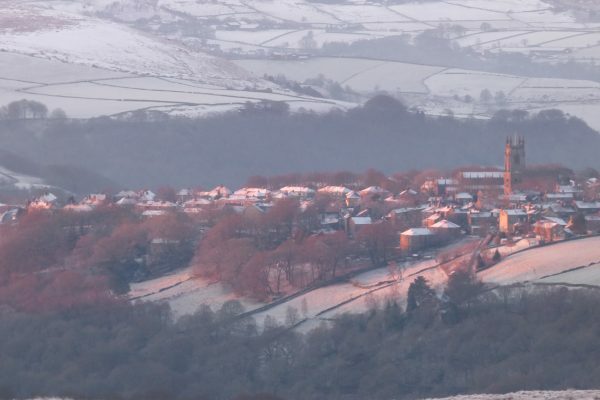 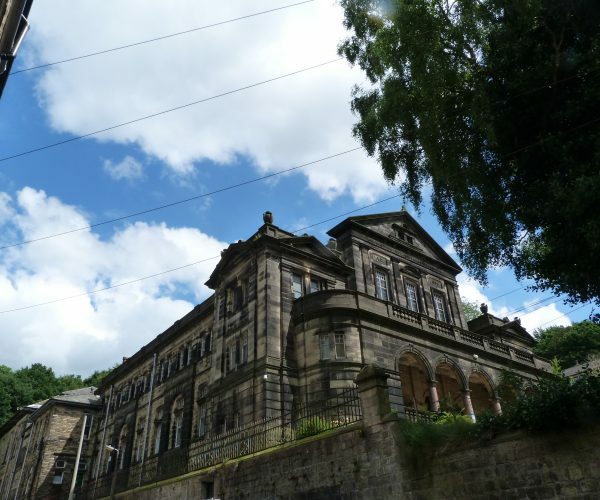 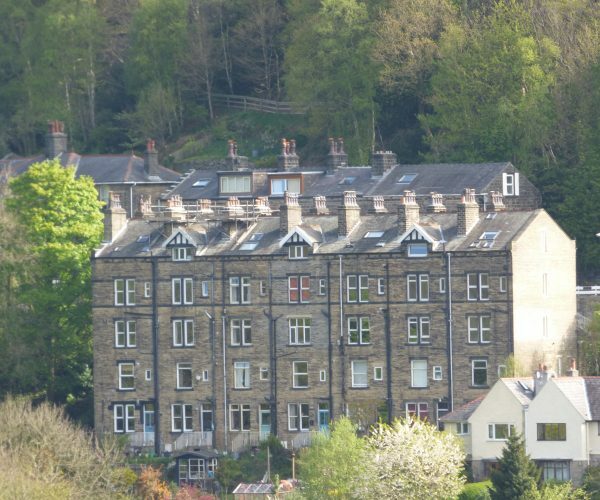 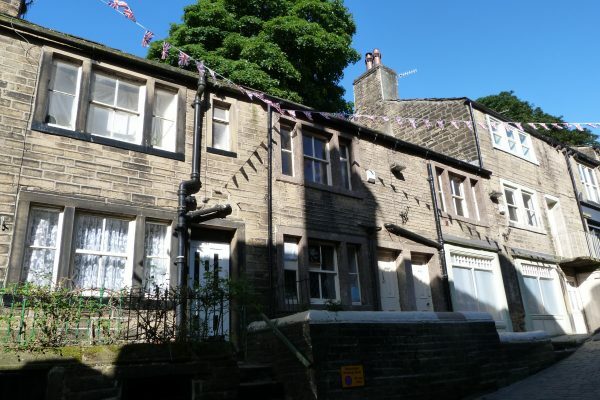 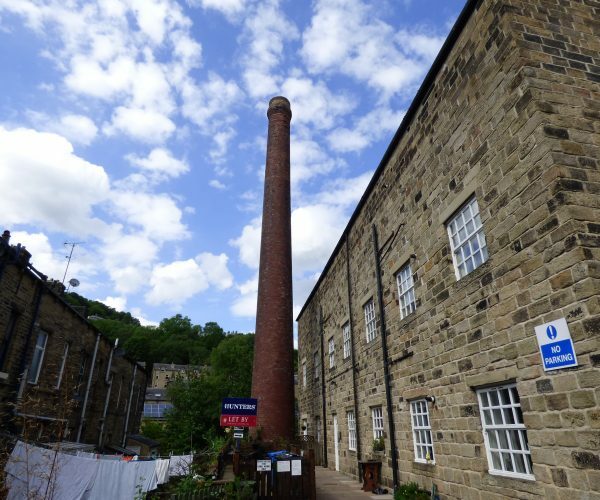 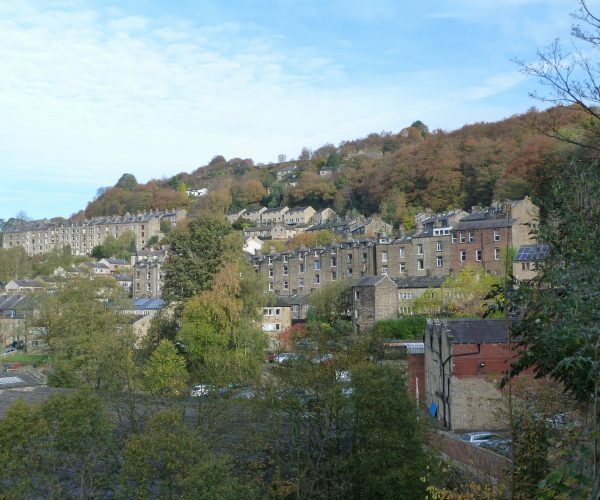 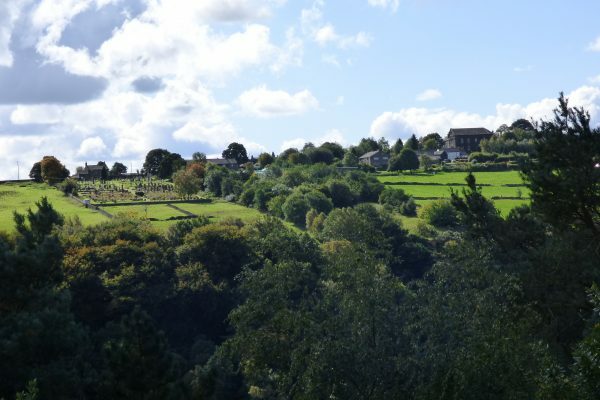 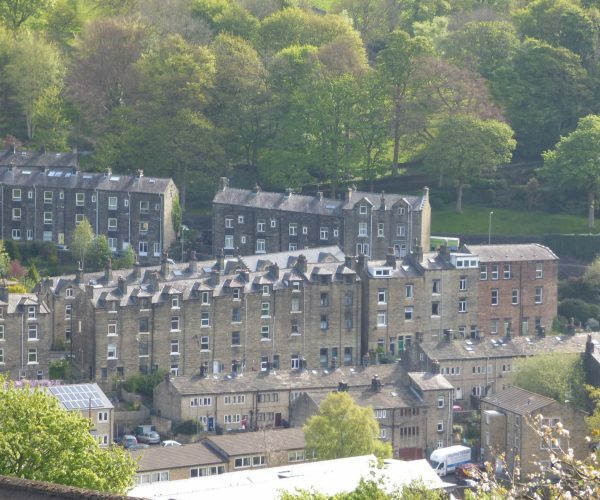 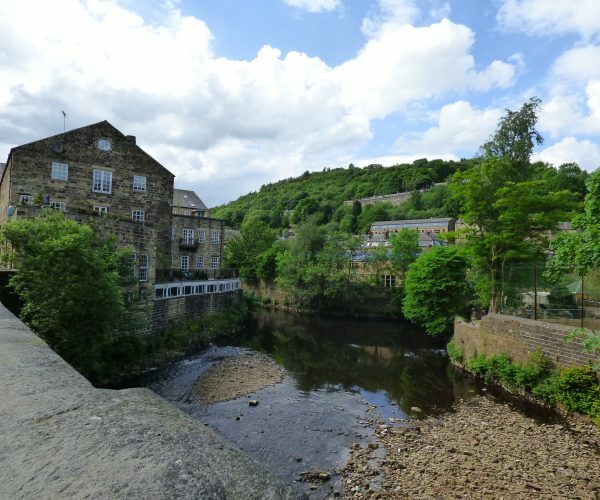 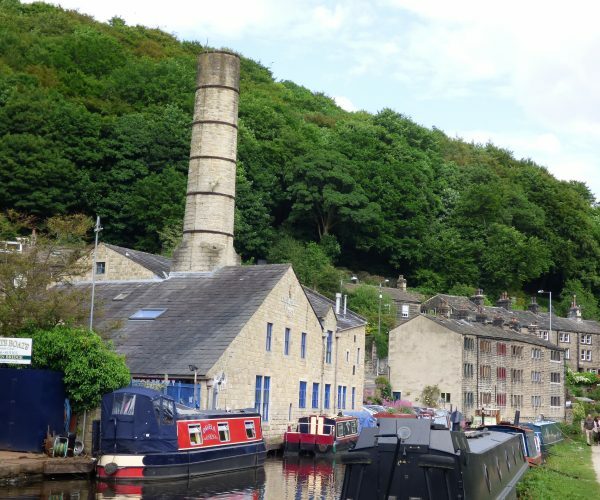 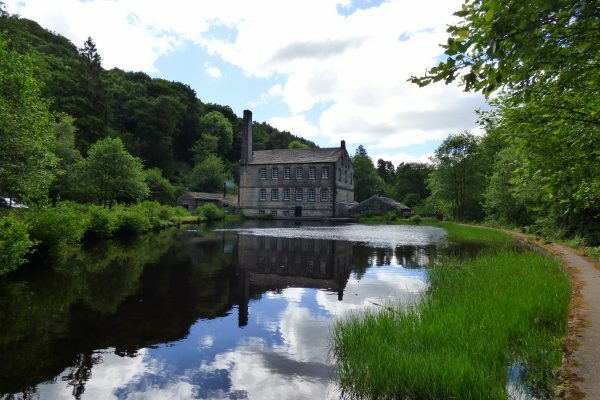 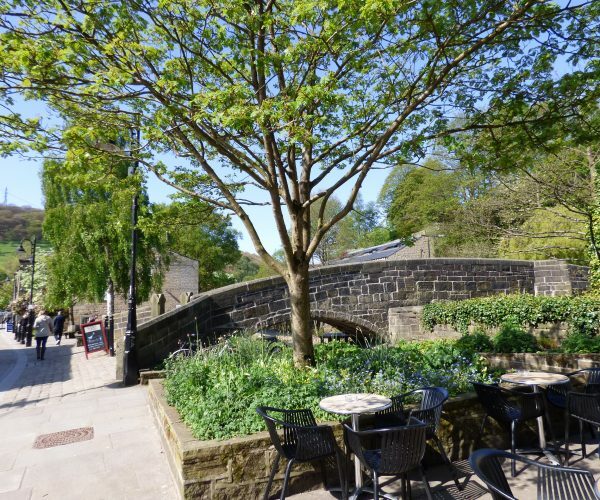 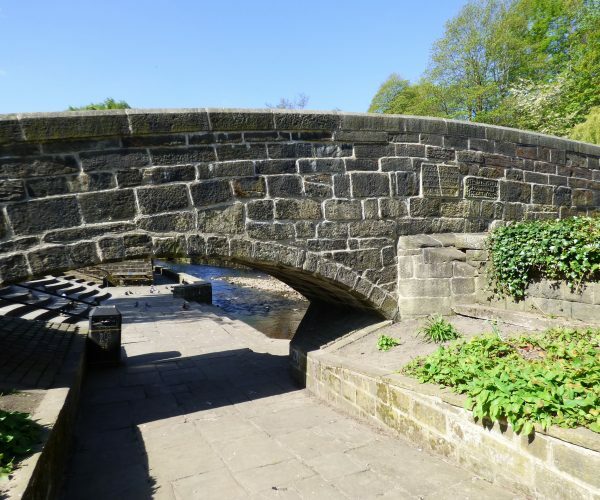 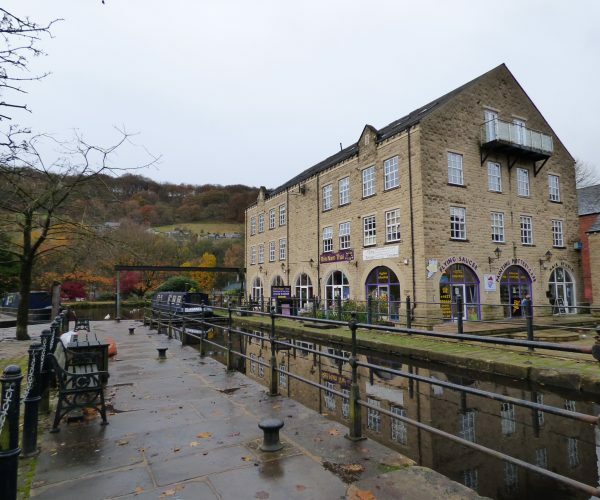 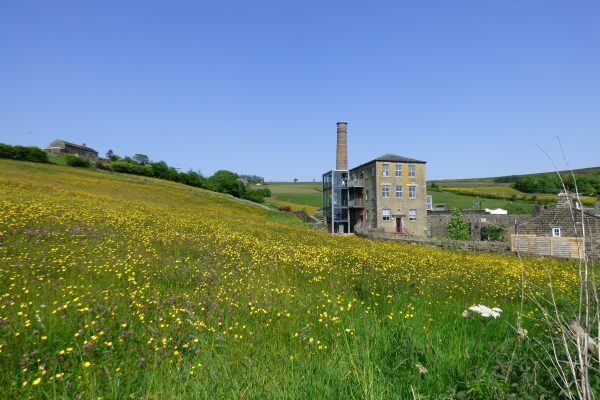 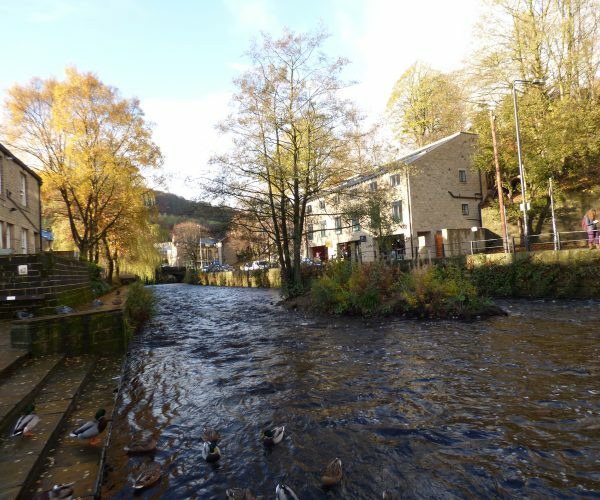 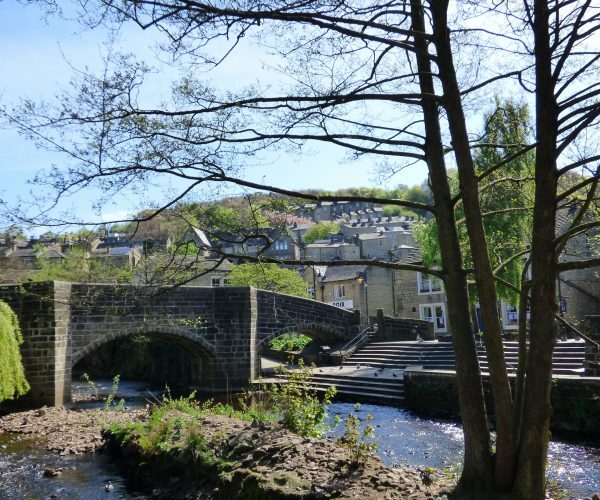 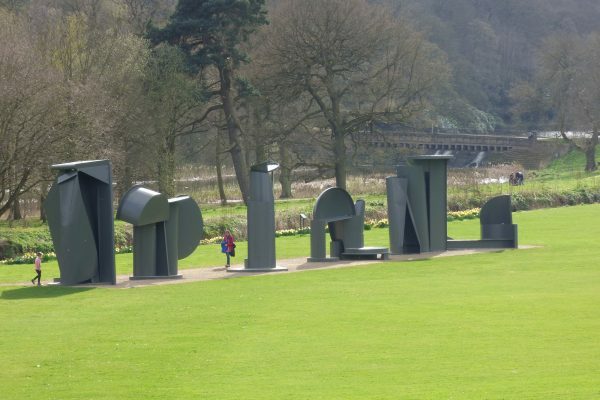 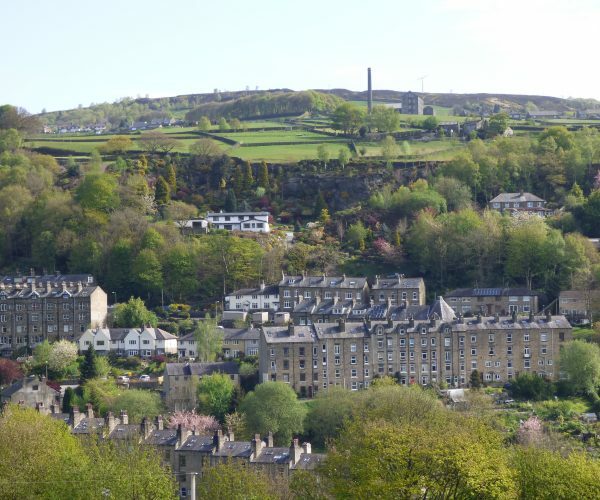 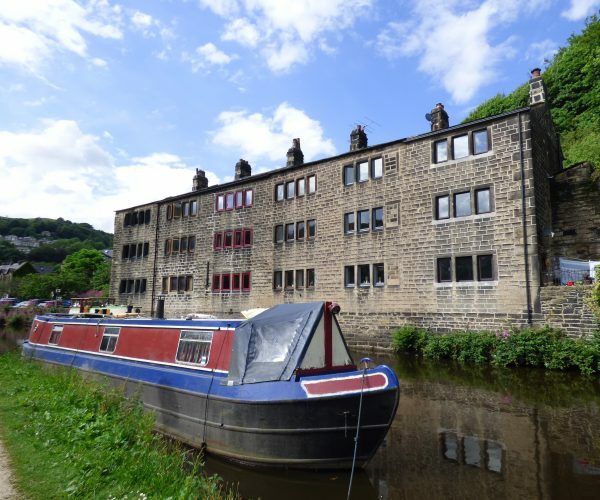 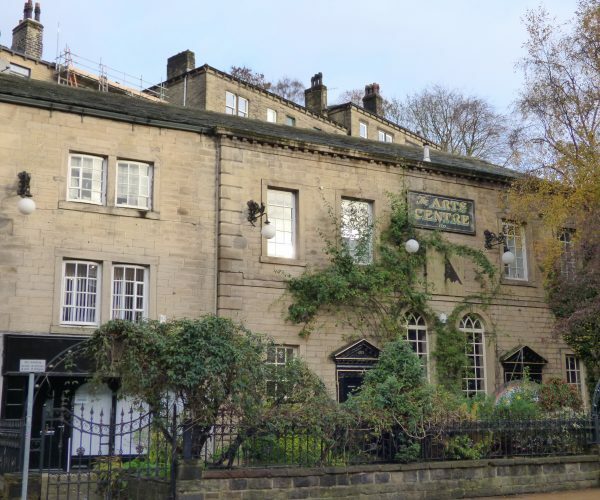 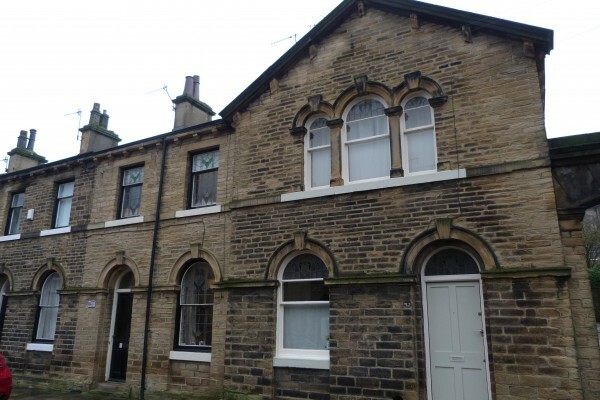 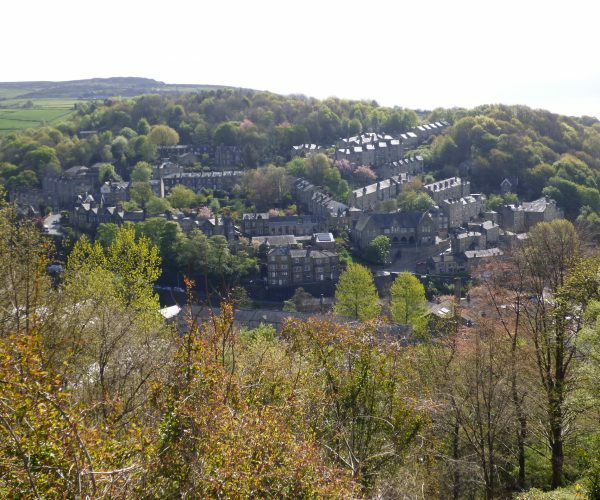 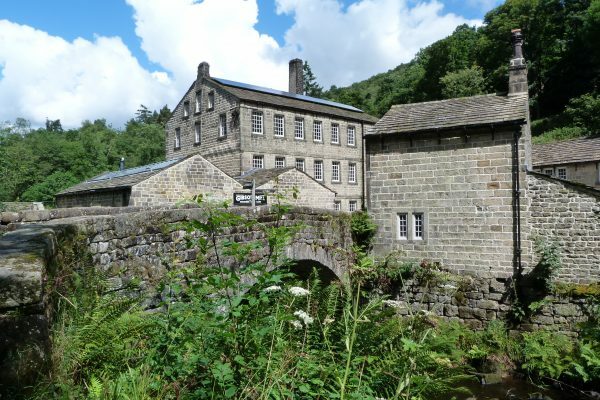 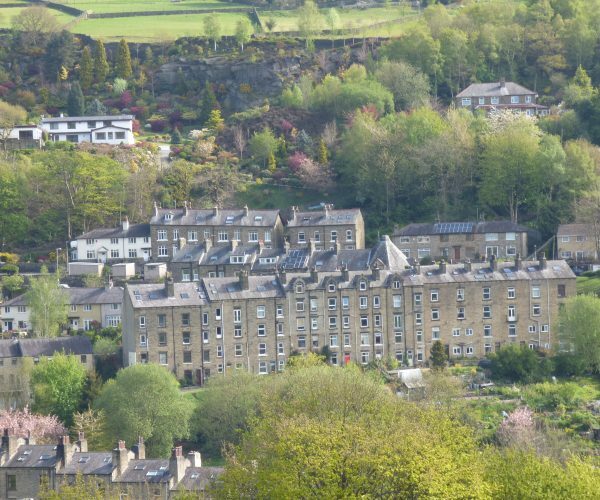 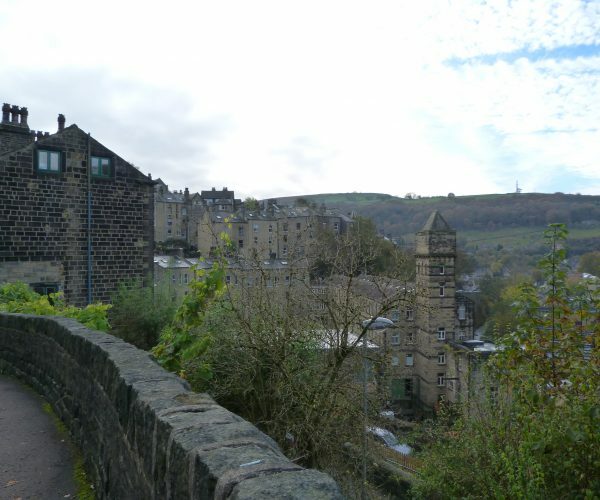 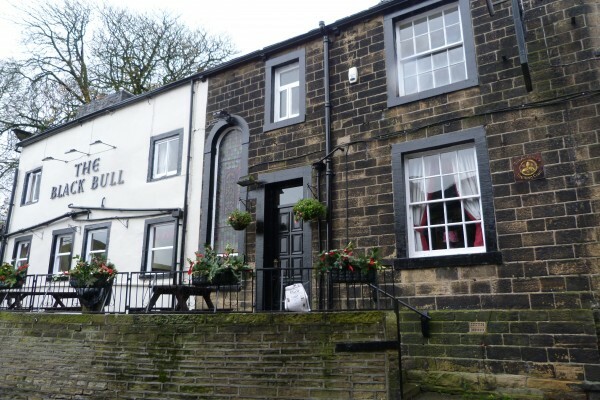 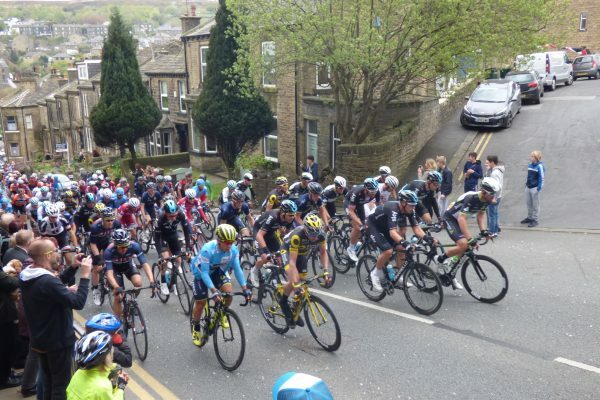 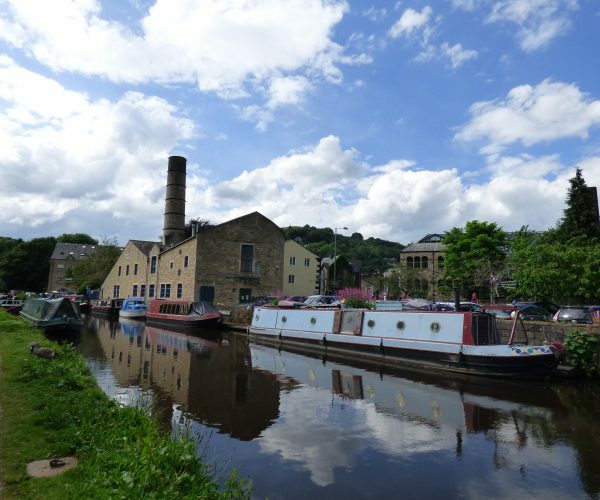 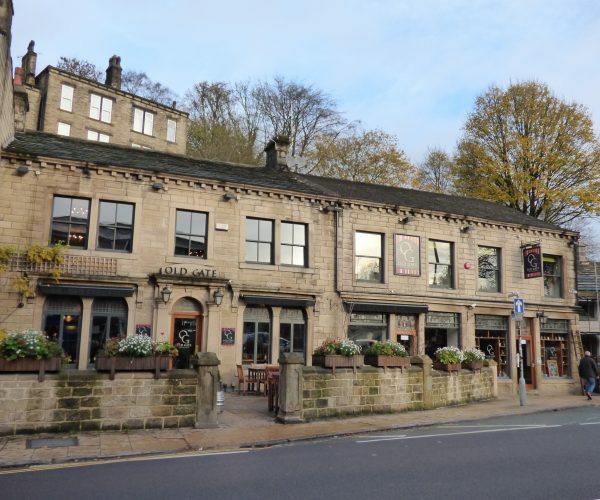 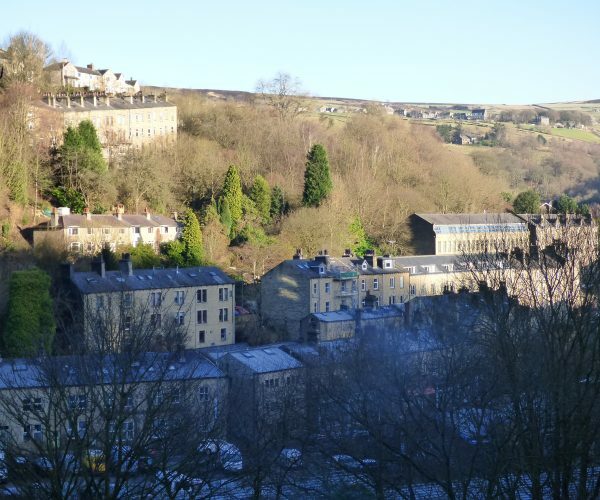 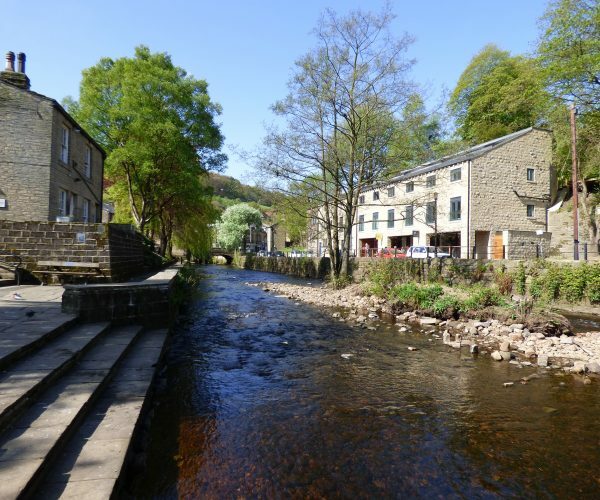 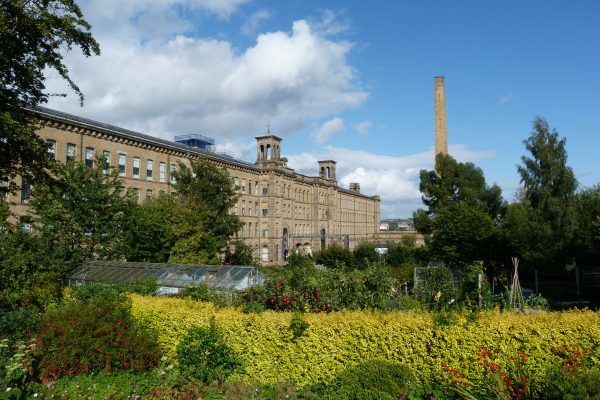 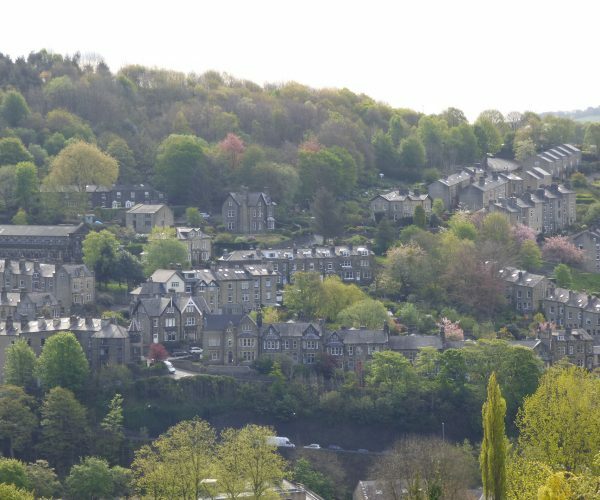 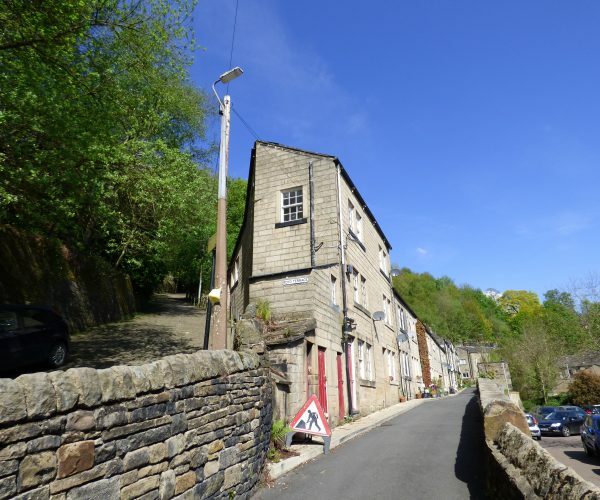 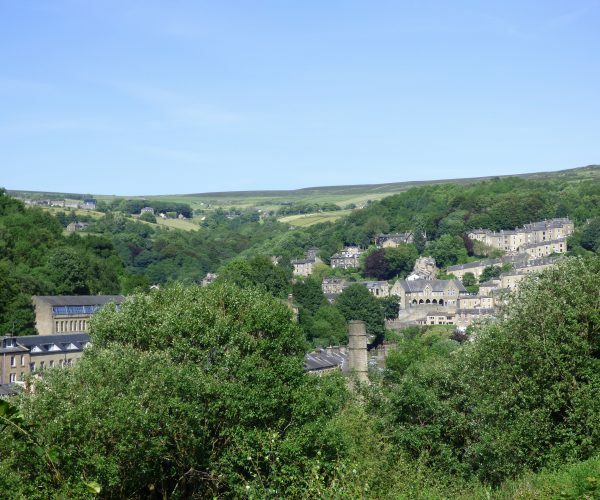 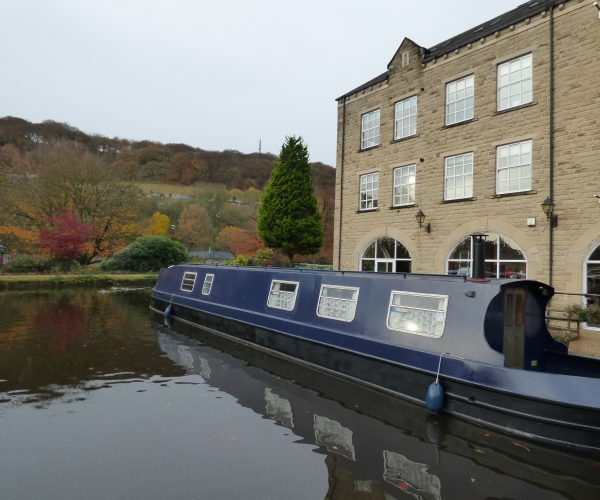 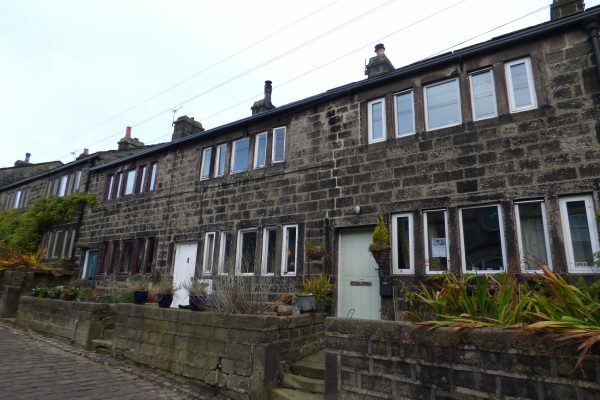 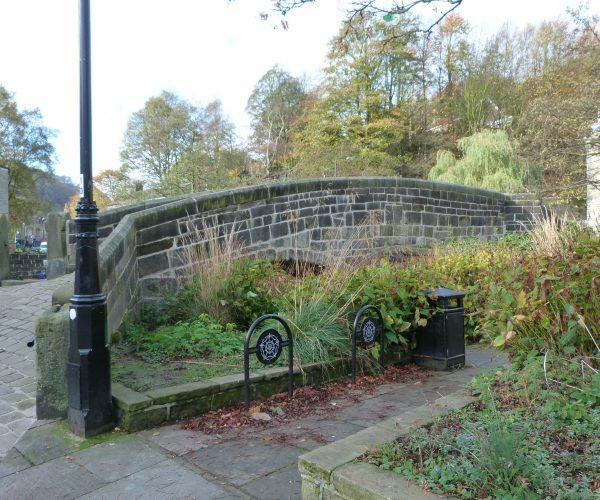 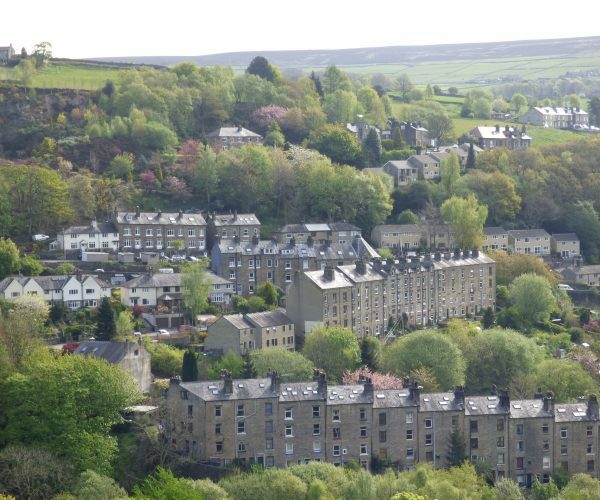 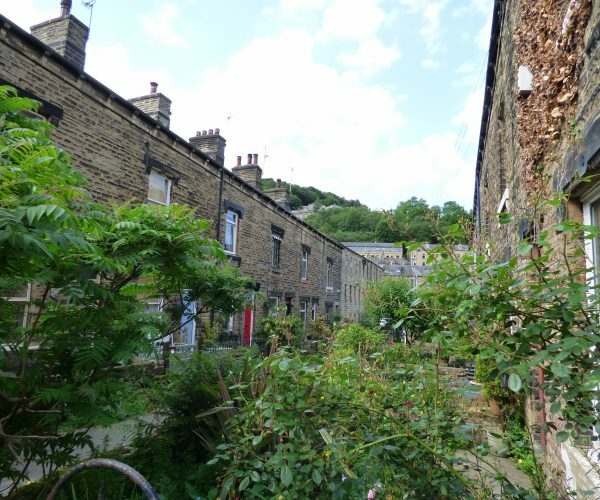 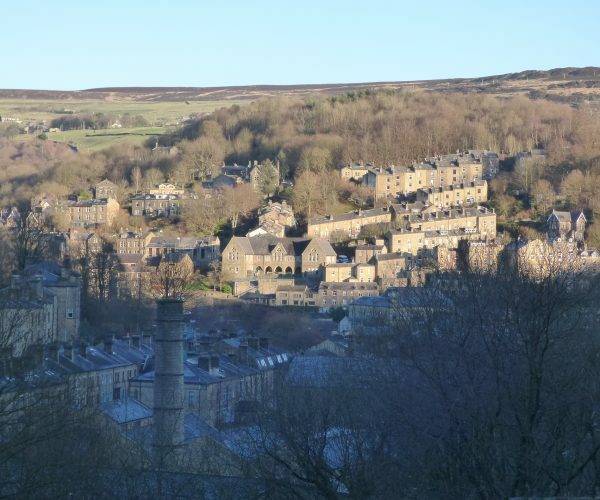 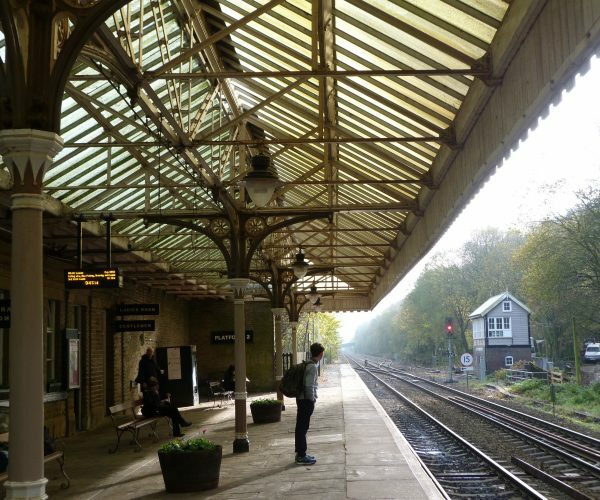 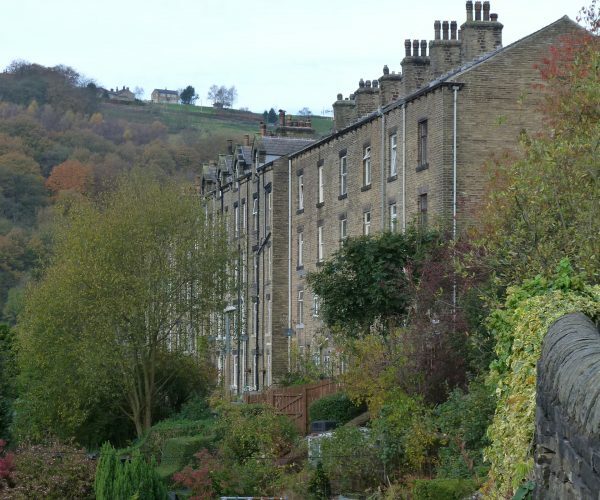 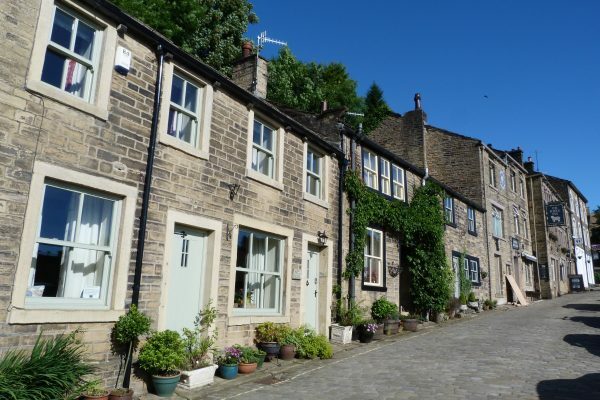 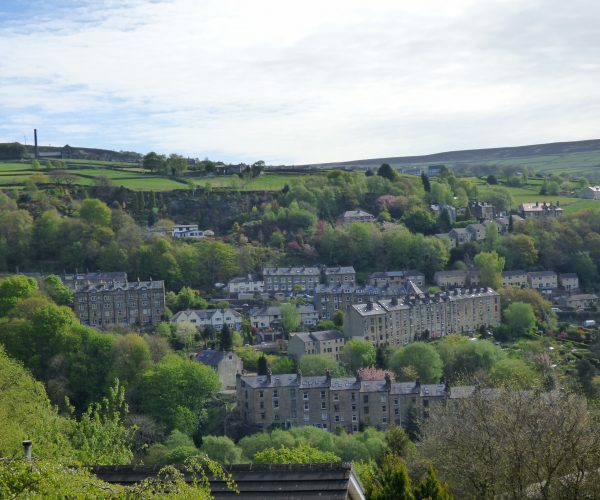 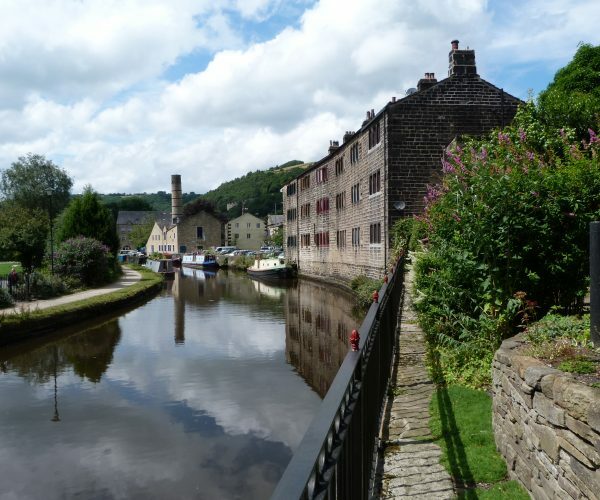 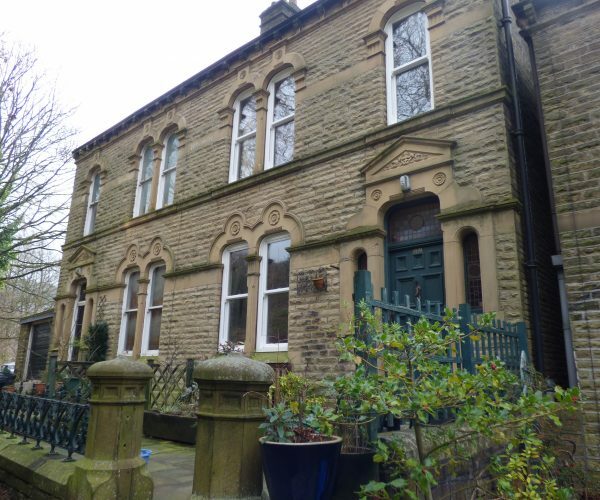 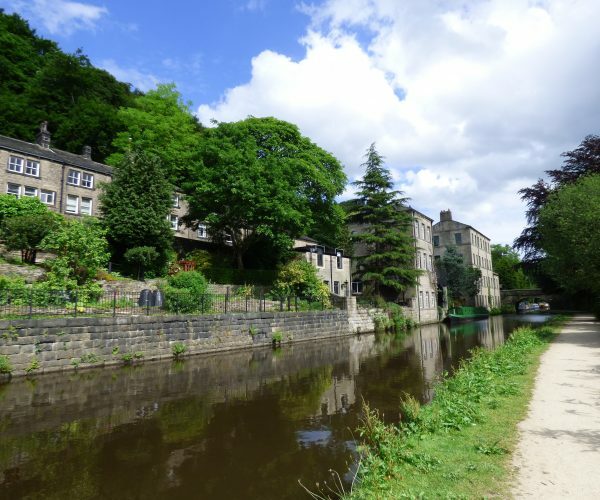 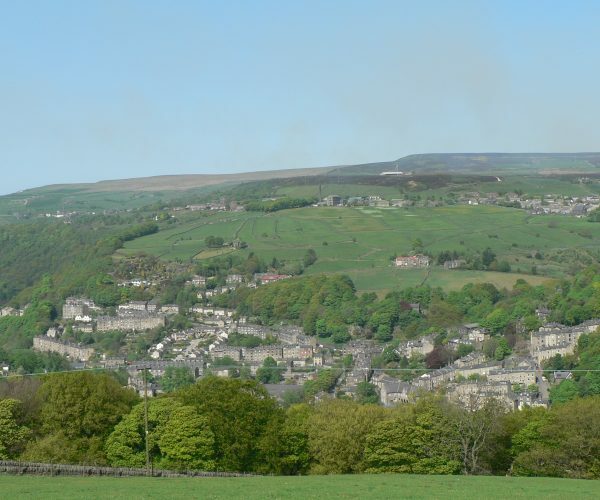 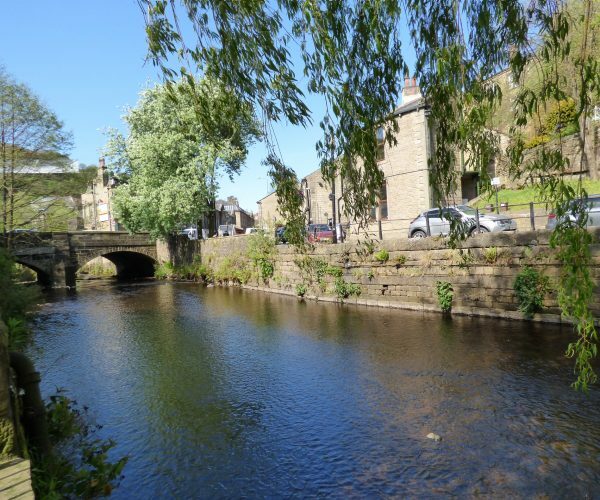 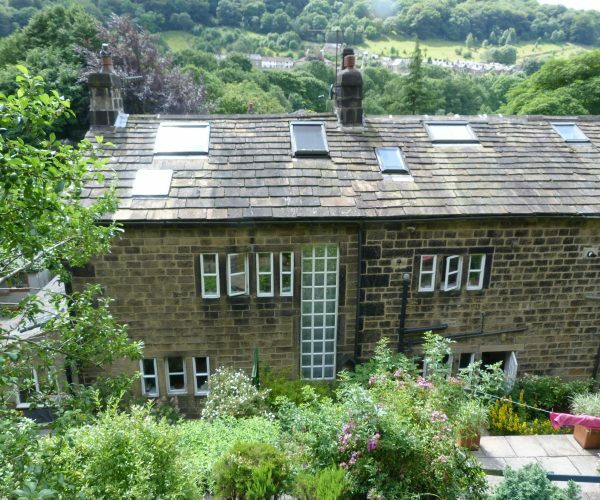 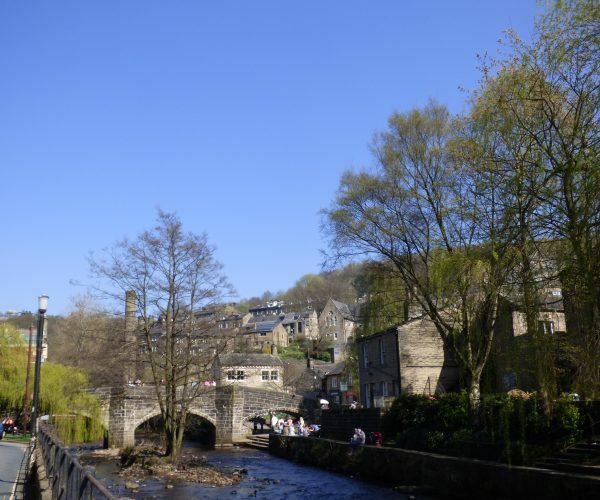 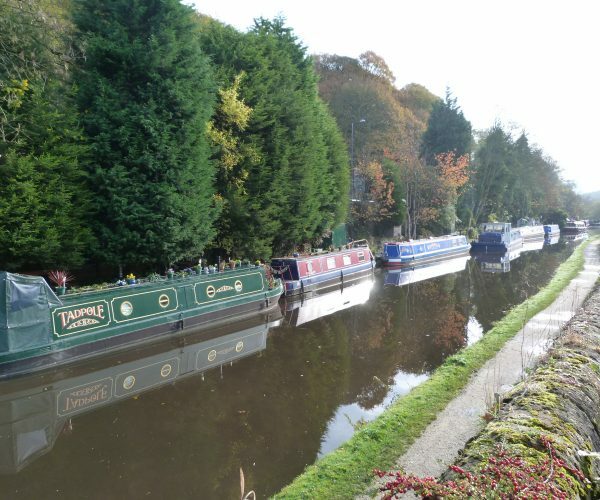 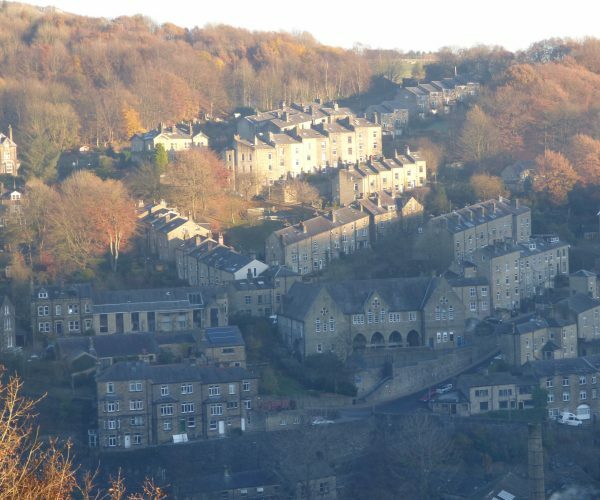 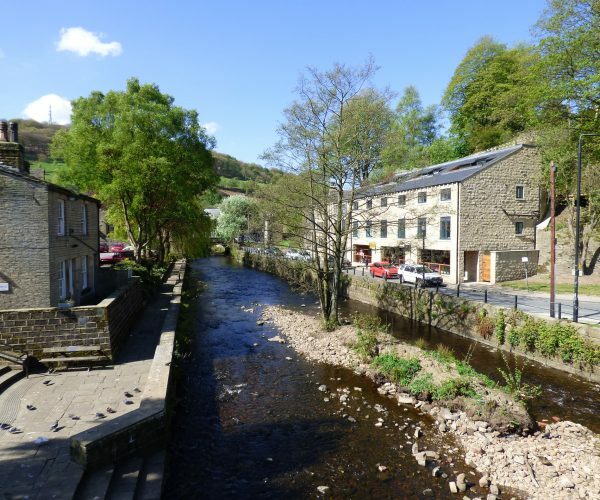 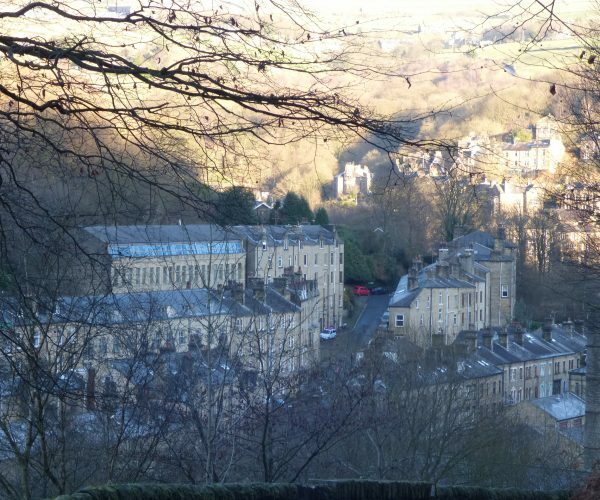 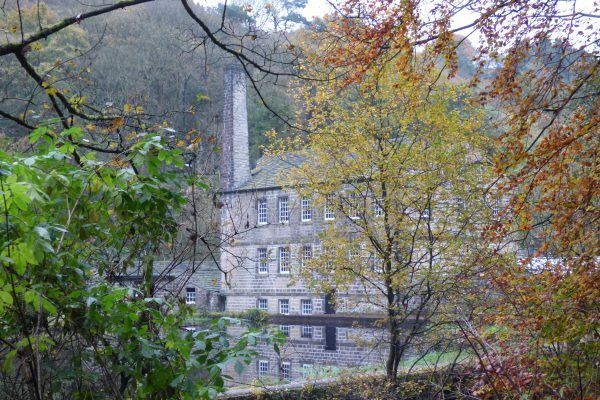 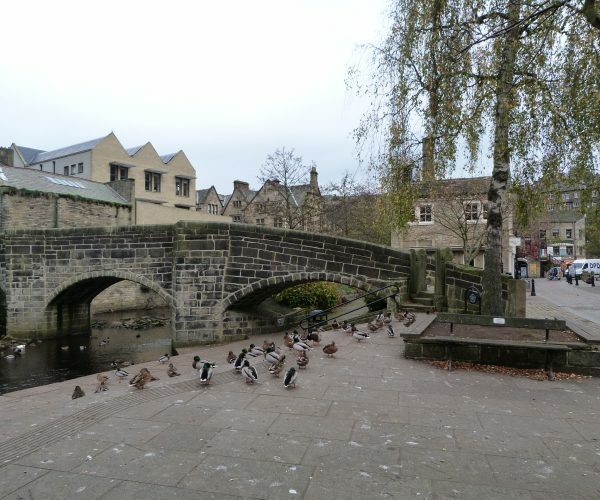 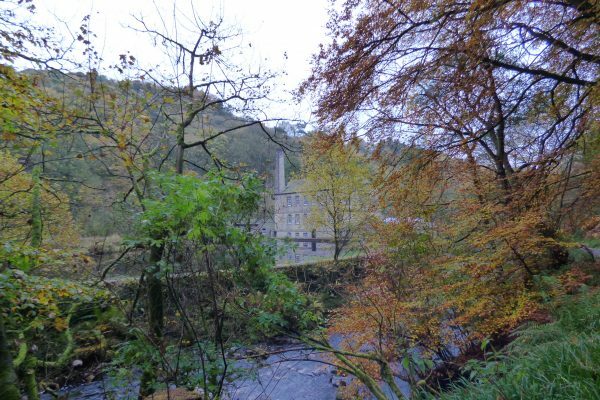 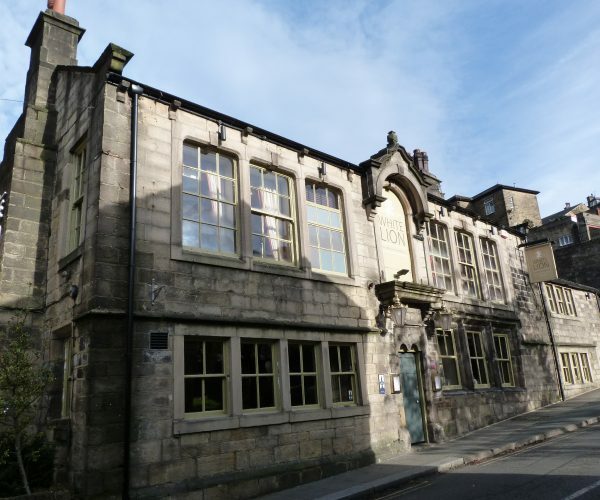 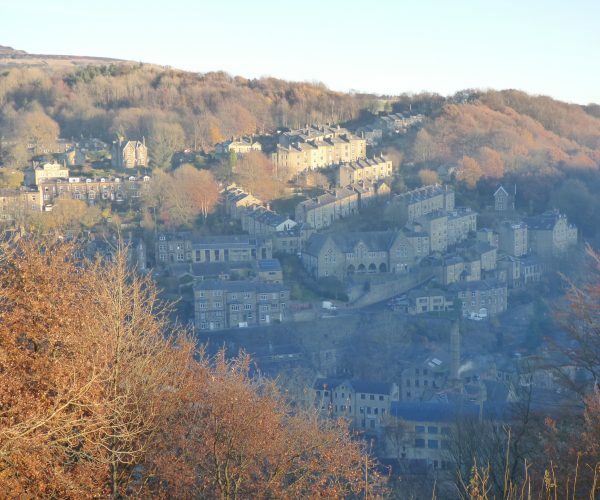 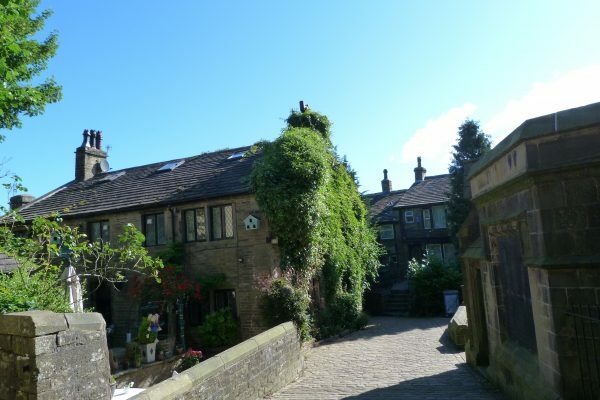 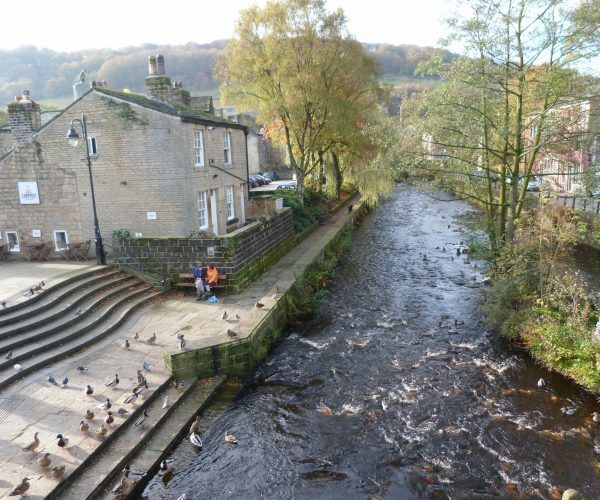 The vibrant town of Hebden Bridge is just two miles away down in the valley. 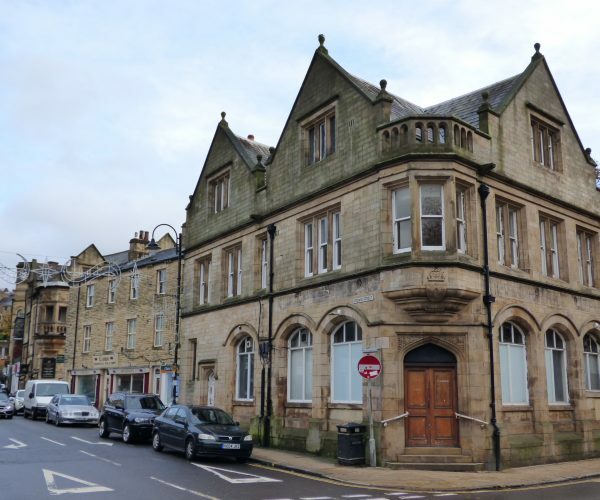 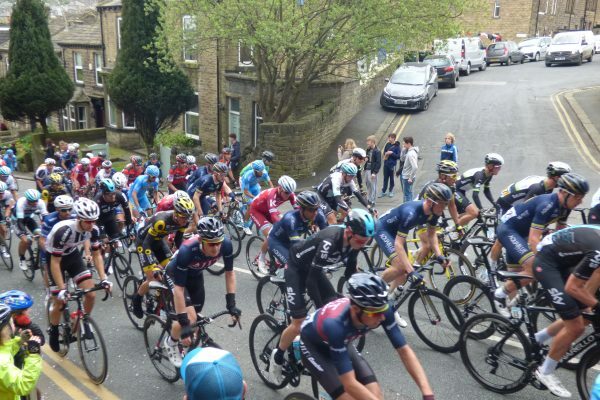 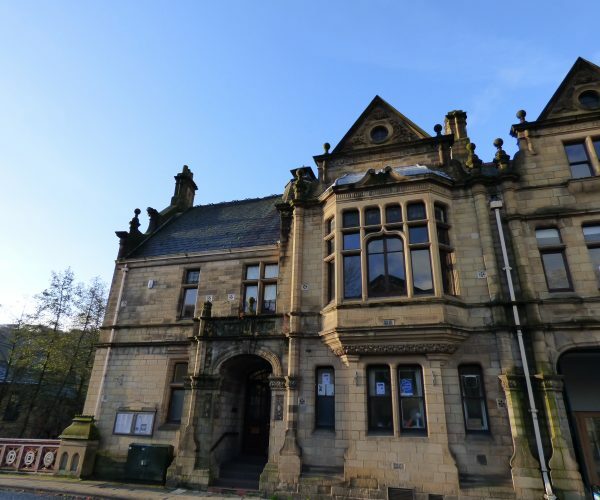 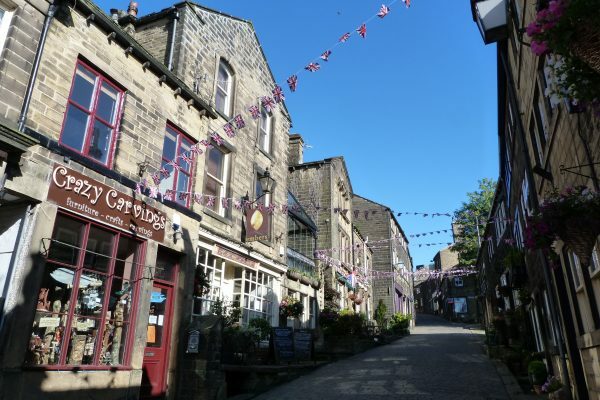 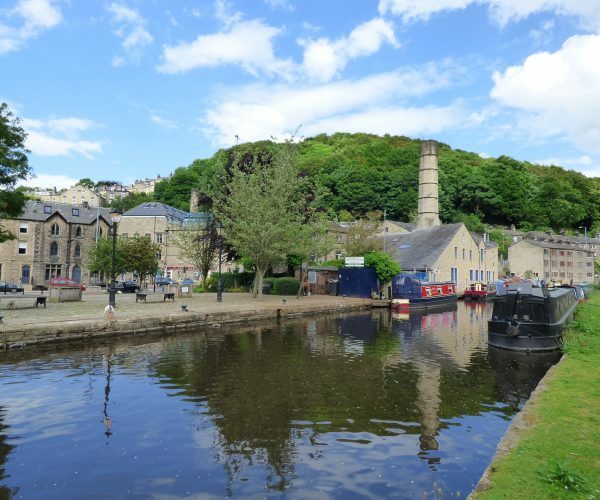 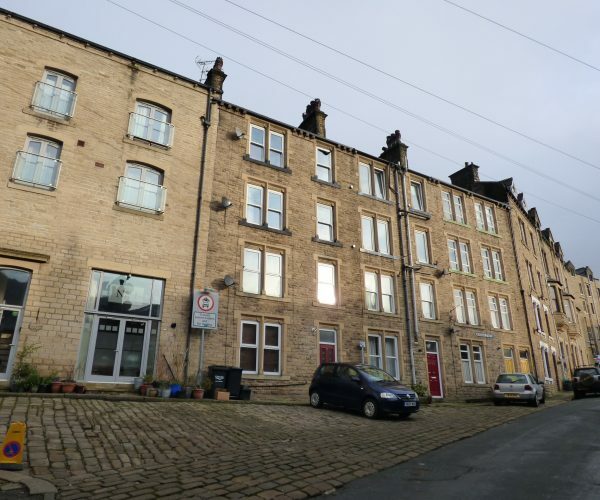 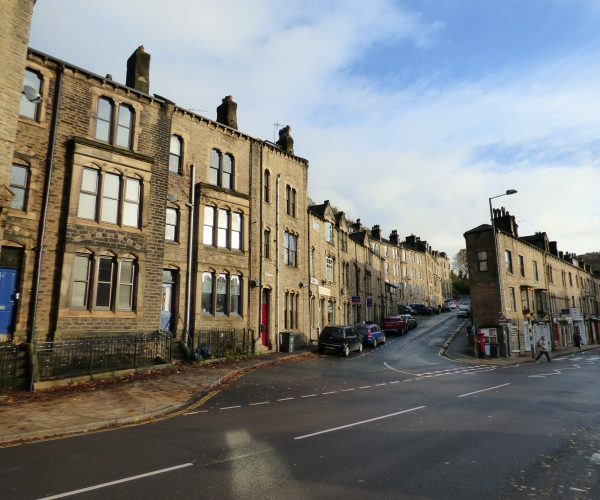 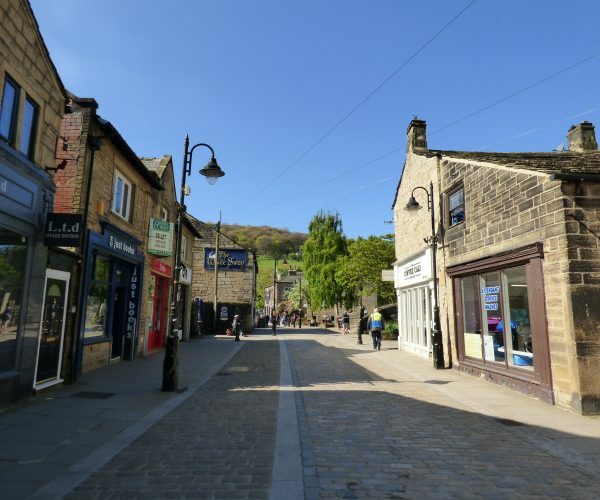 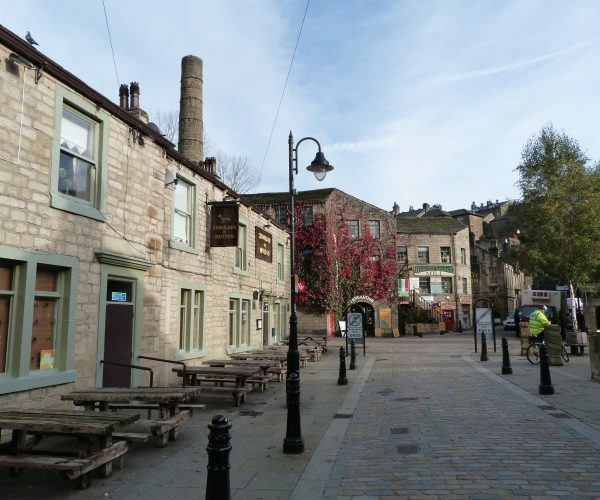 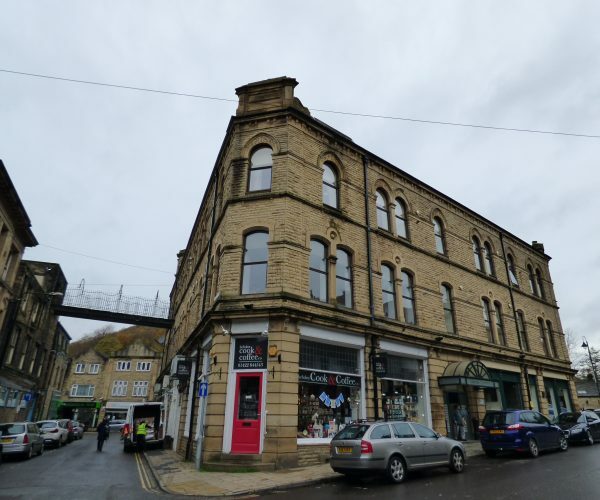 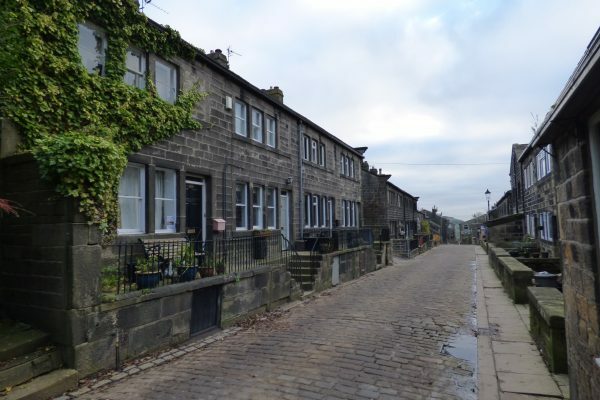 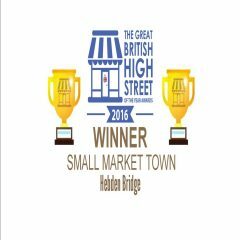 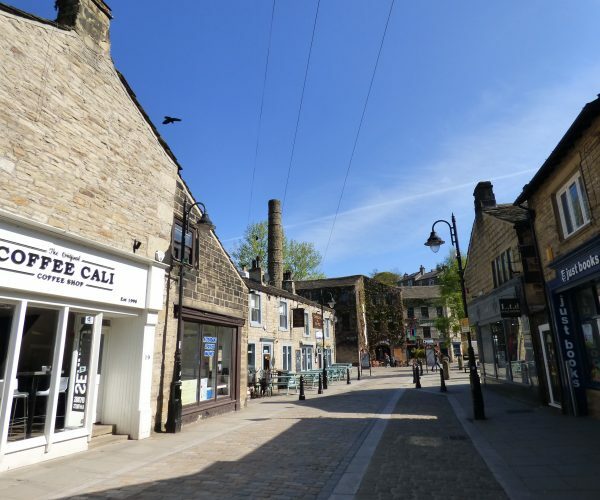 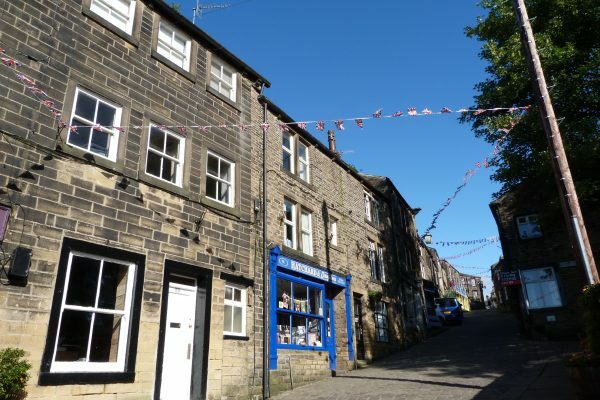 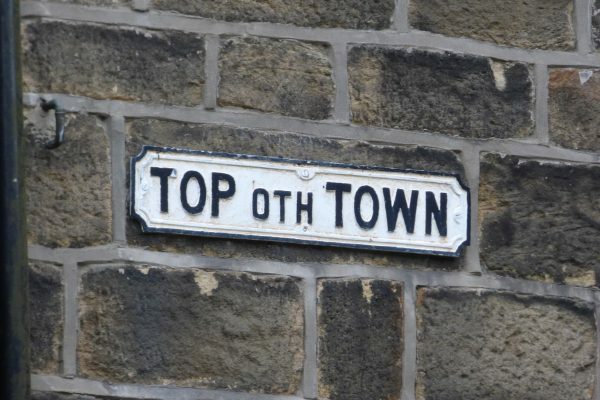 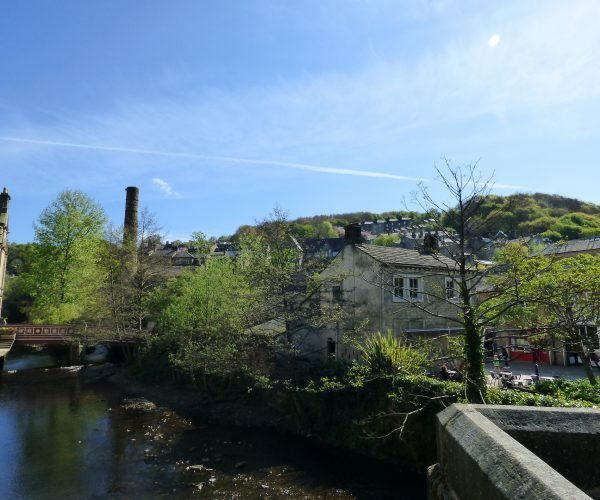 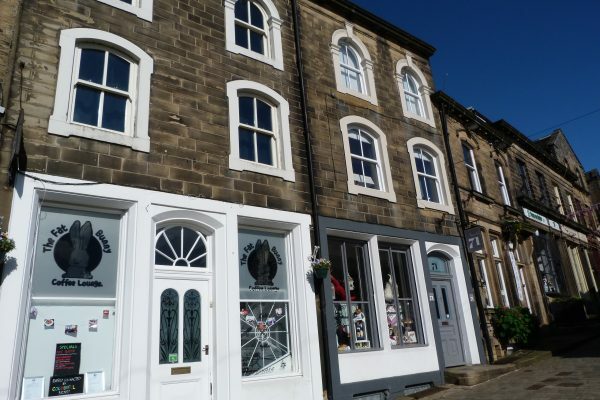 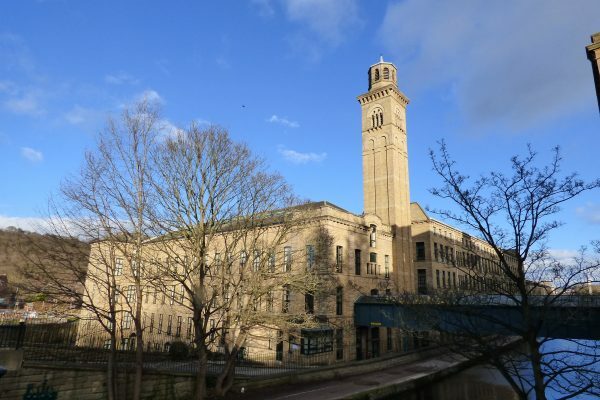 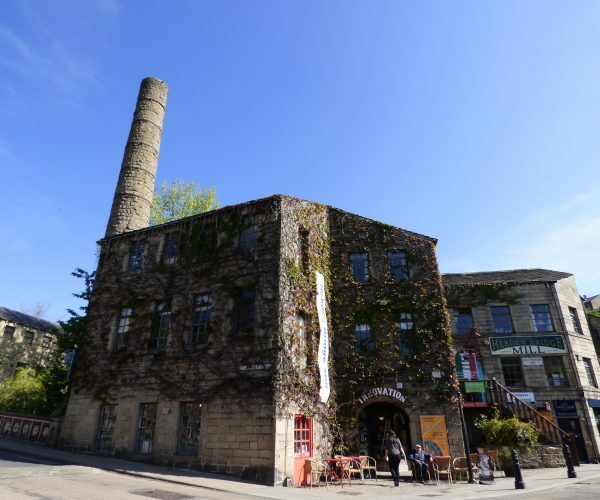 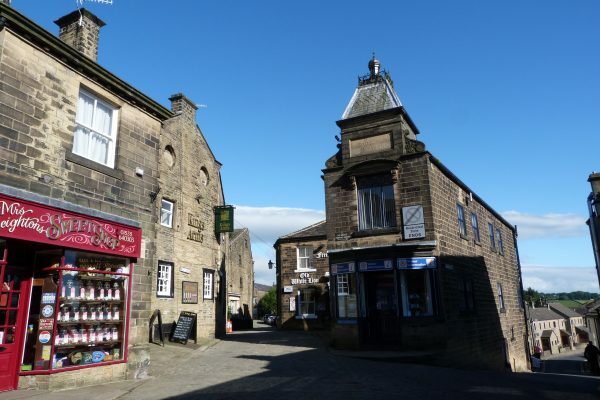 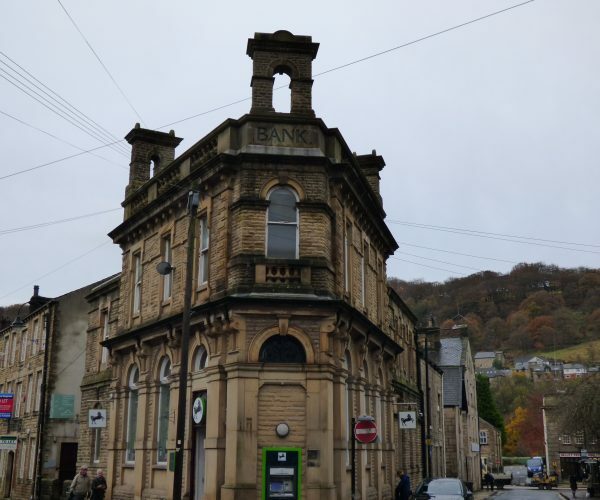 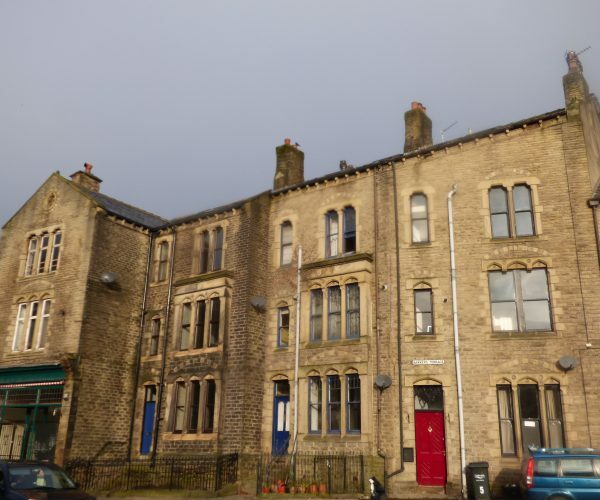 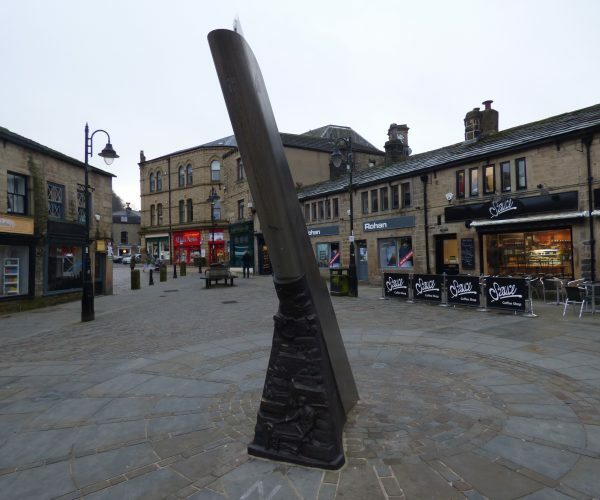 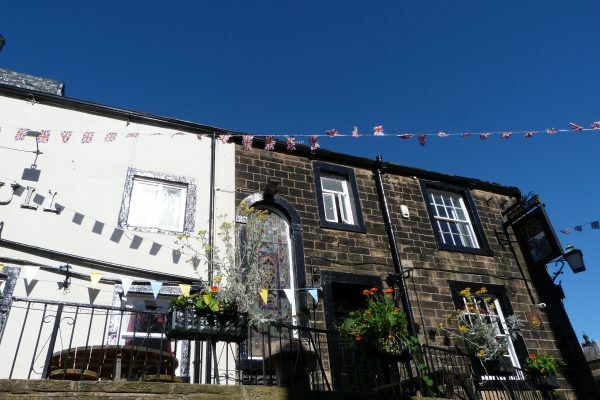 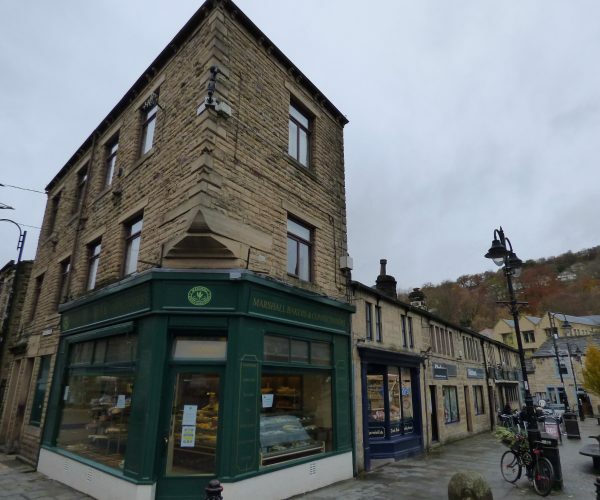 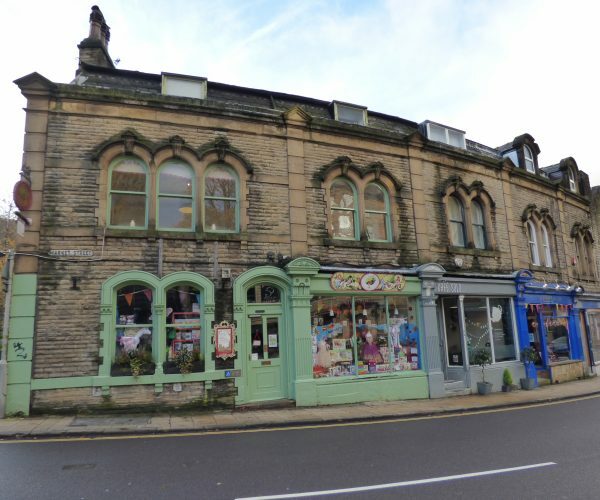 Voted Best Small Market Town in the Great British High Street Awards, Hebden Bridge is renowned for its quirky independent shops and its distinctive double-decker terraced houses clinging to the hills. 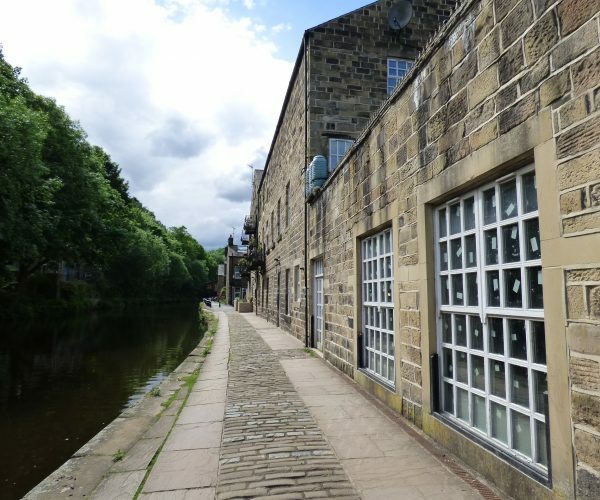 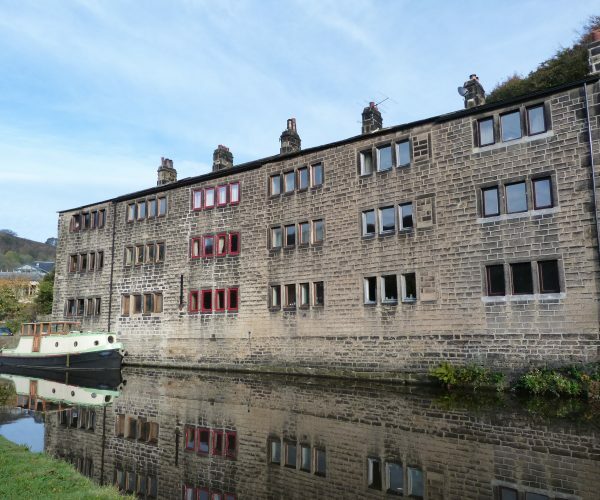 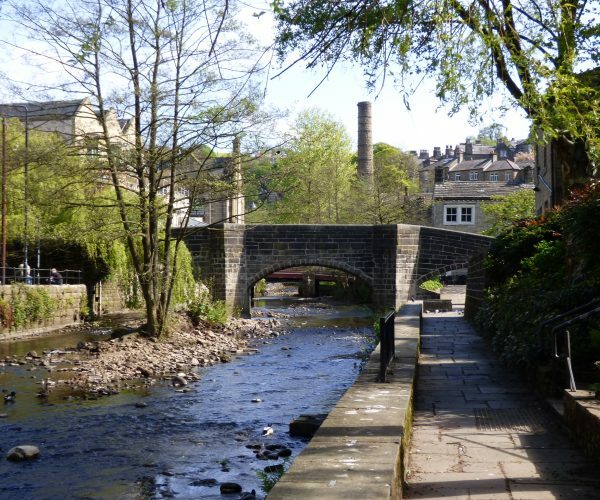 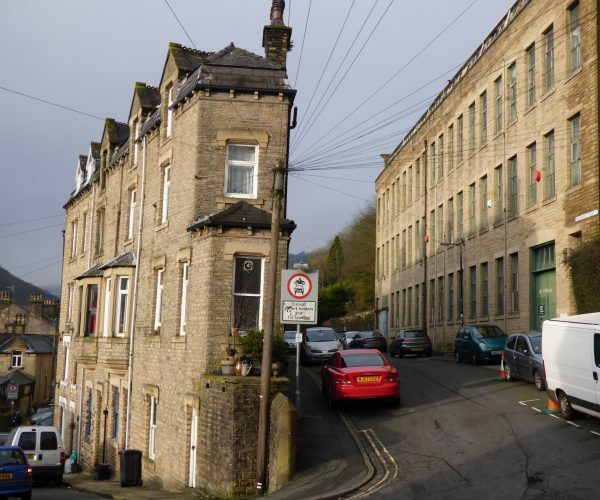 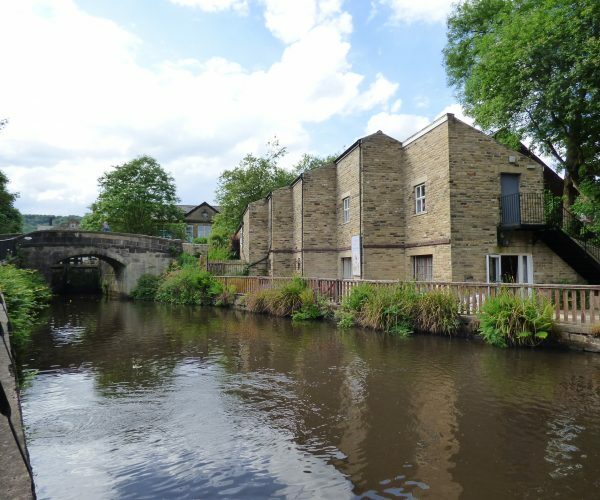 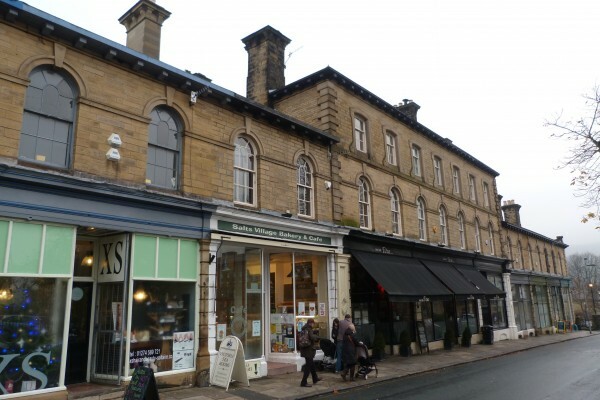 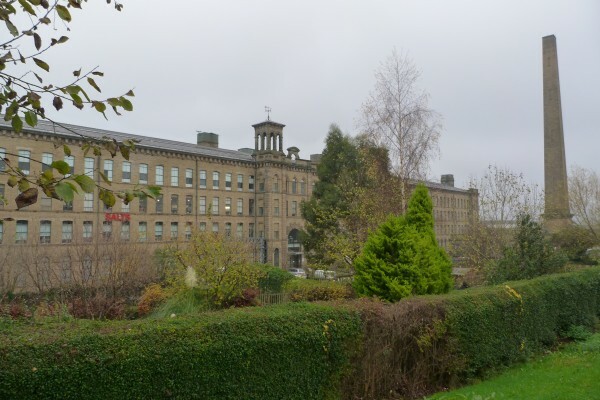 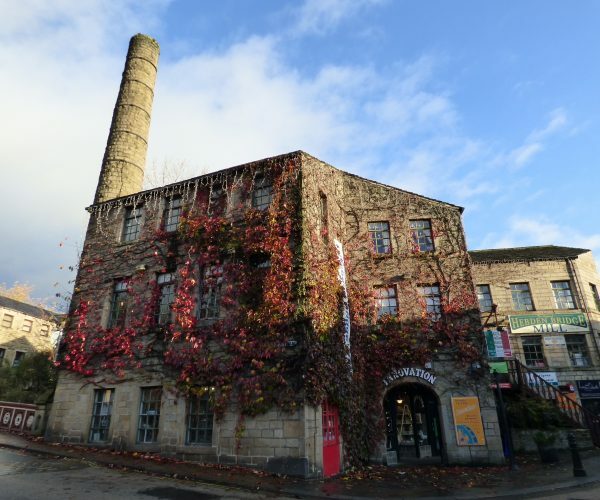 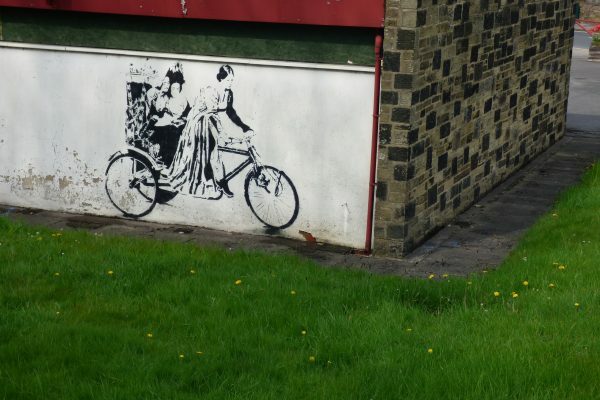 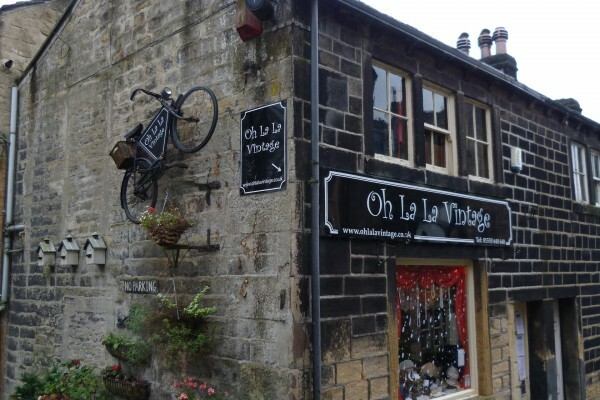 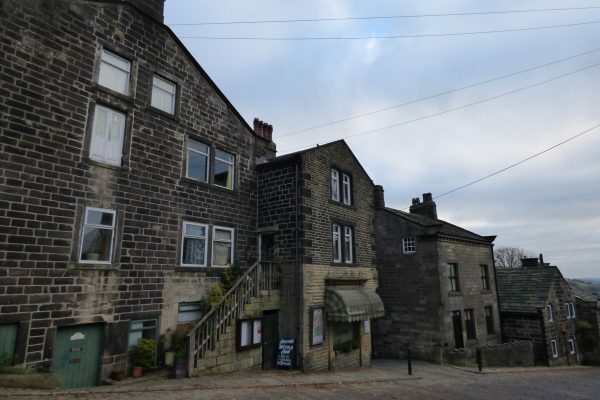 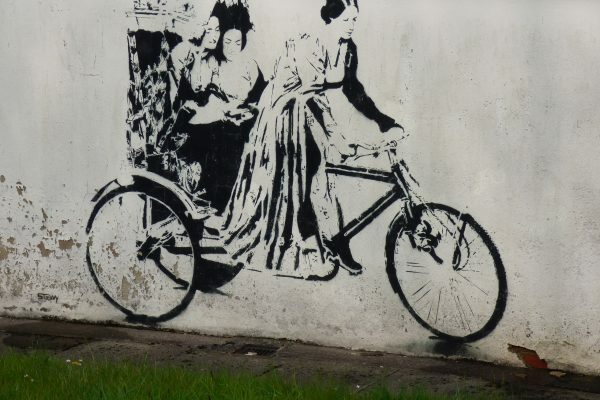 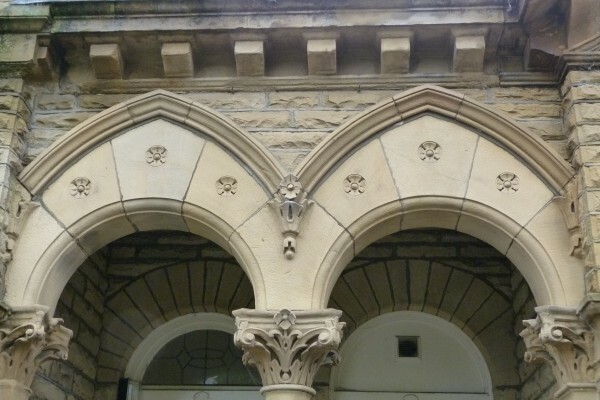 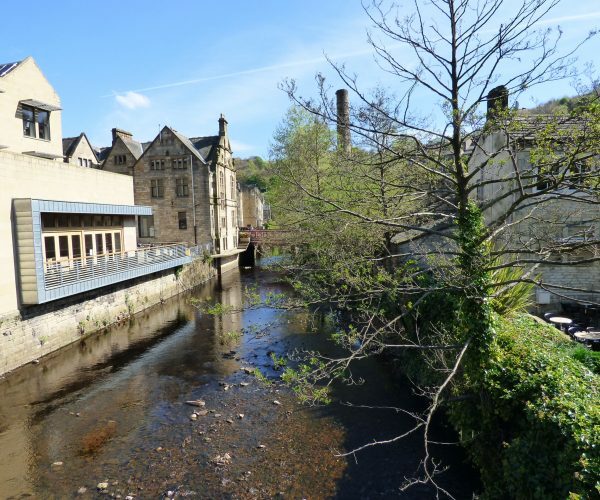 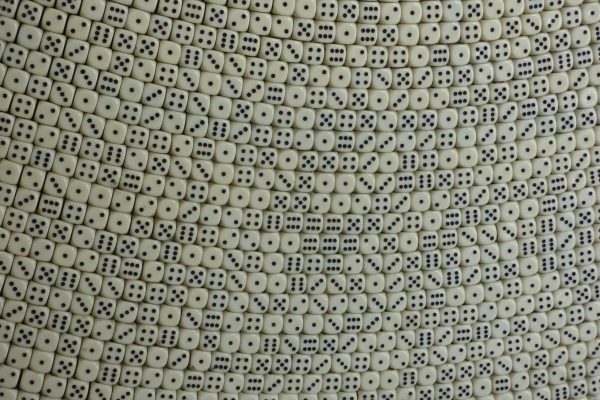 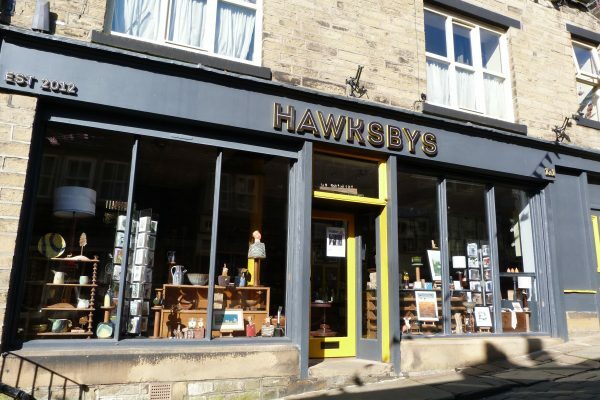 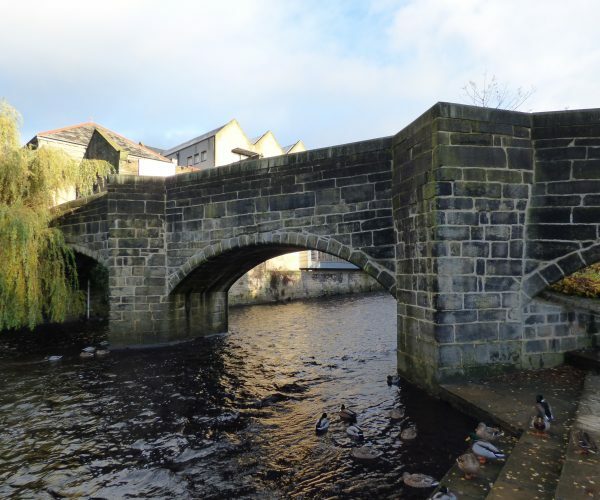 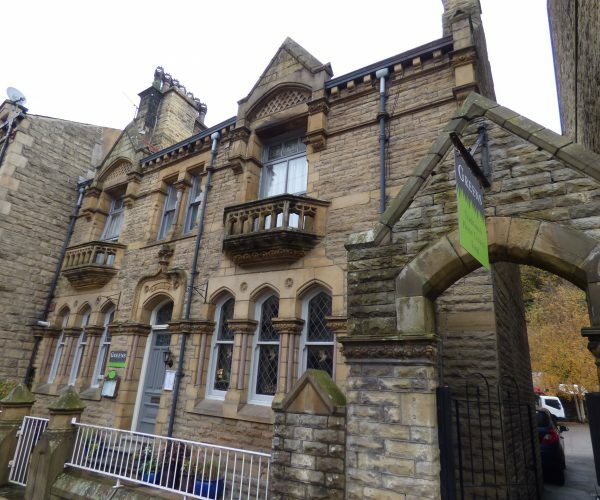 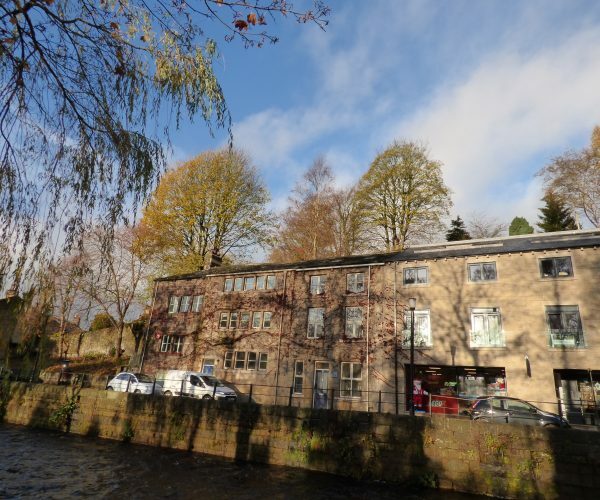 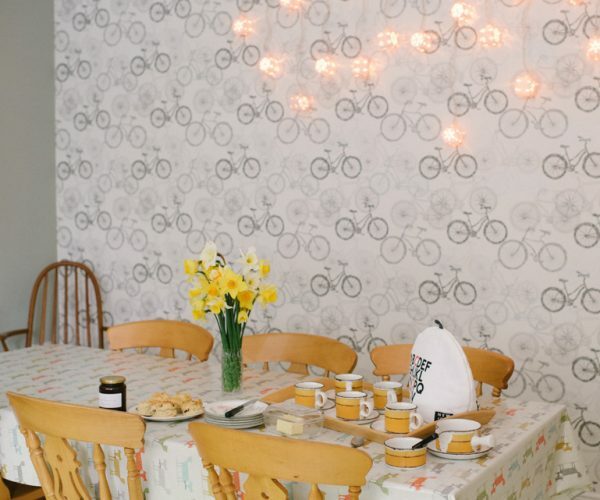 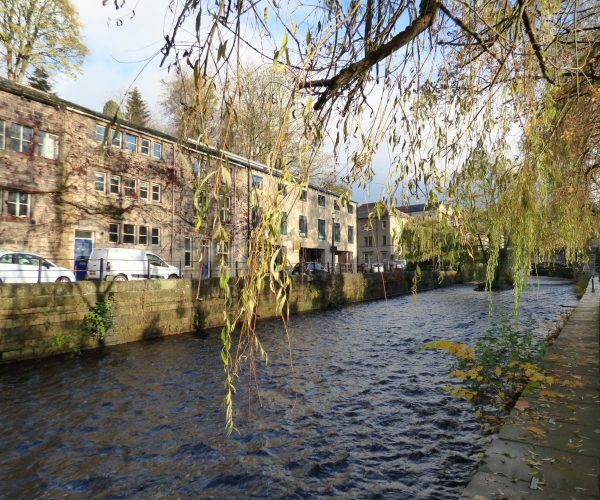 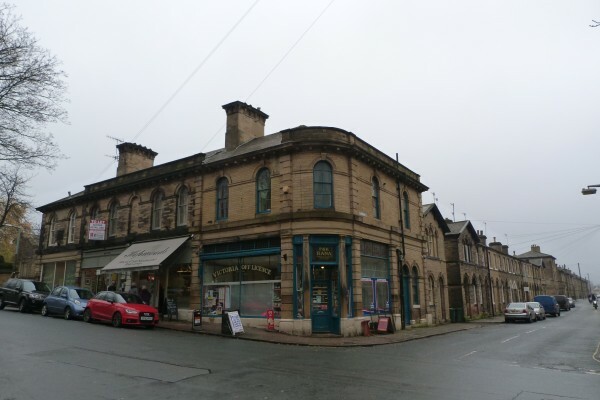 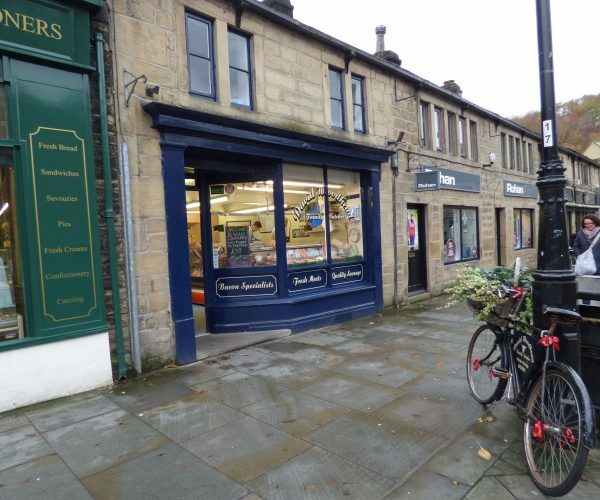 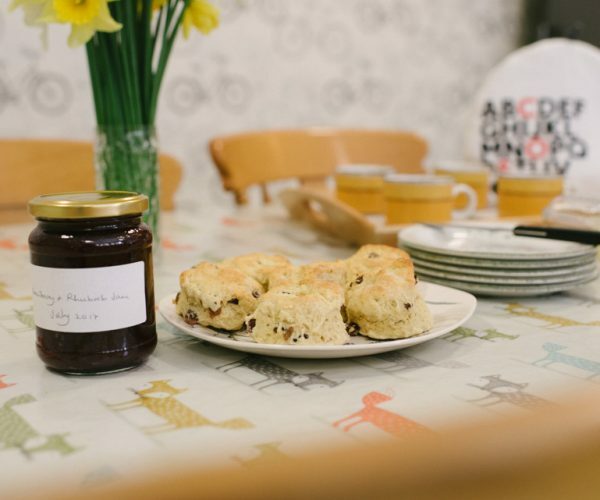 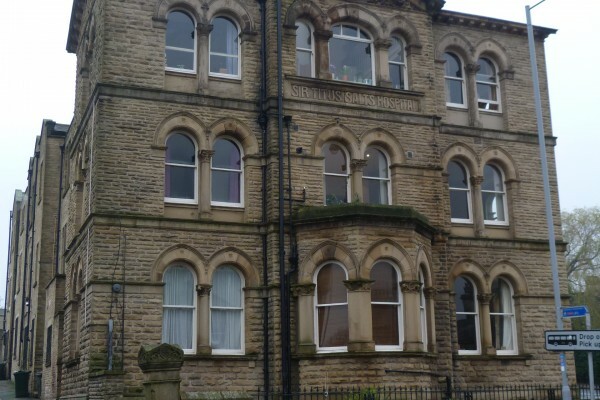 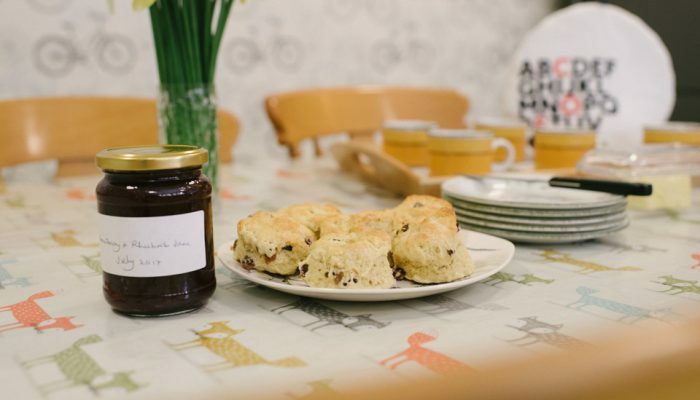 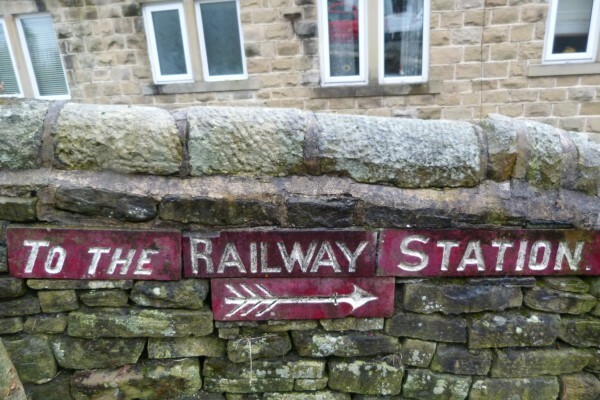 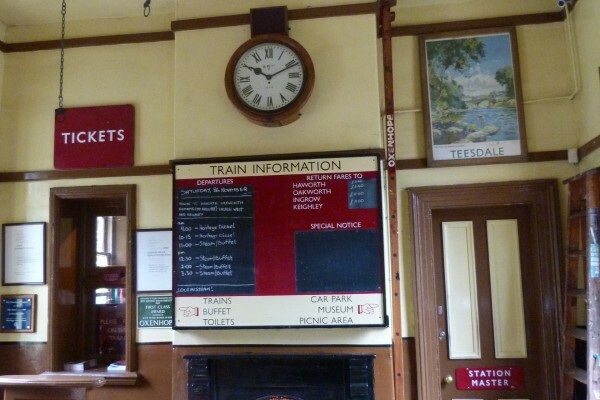 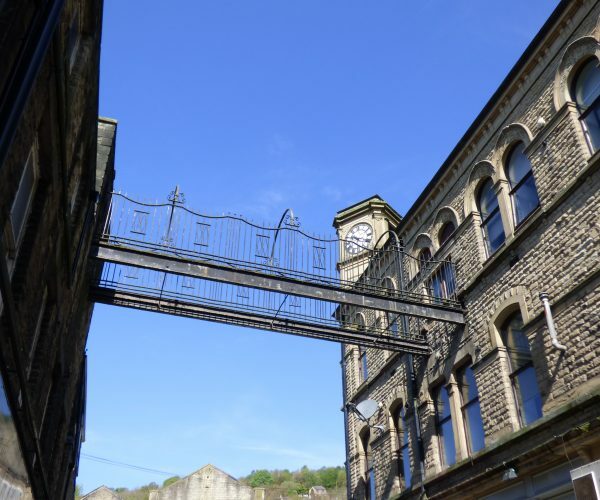 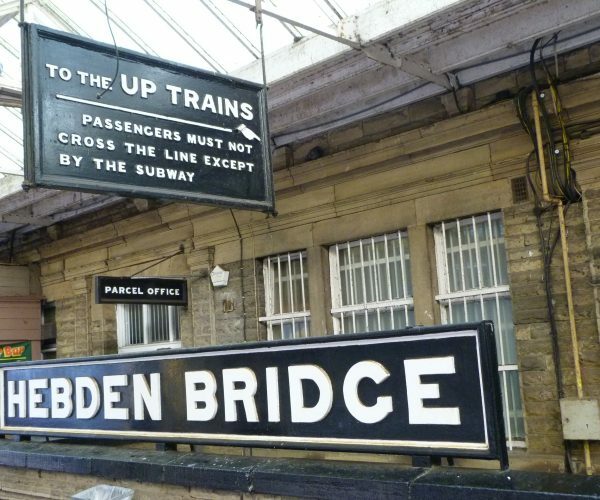 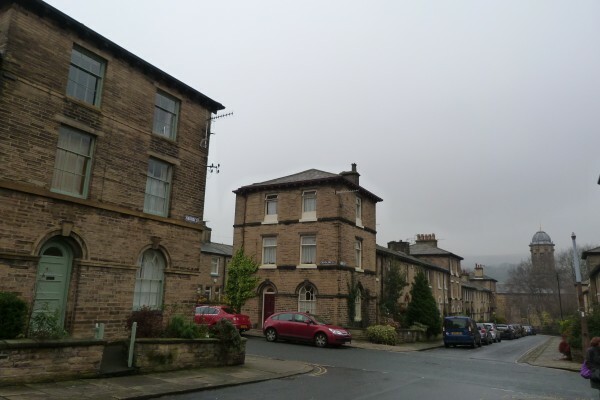 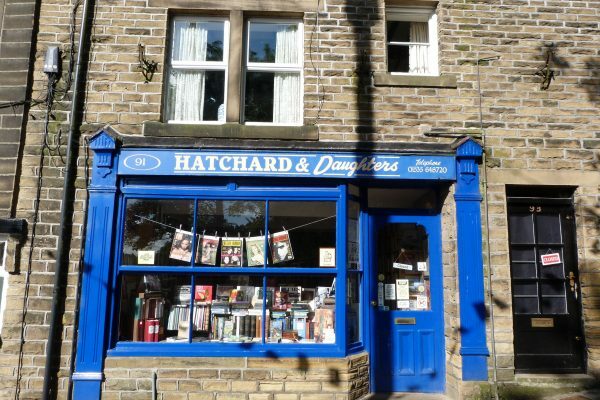 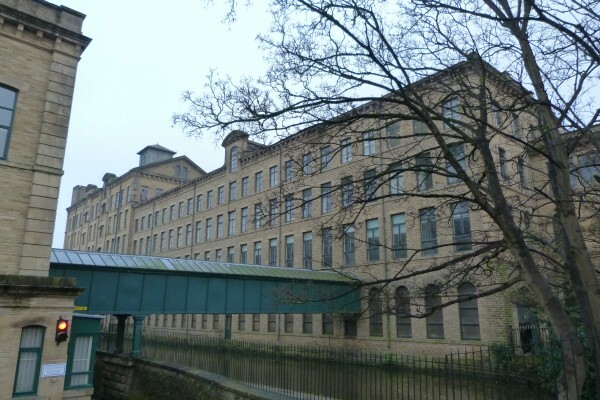 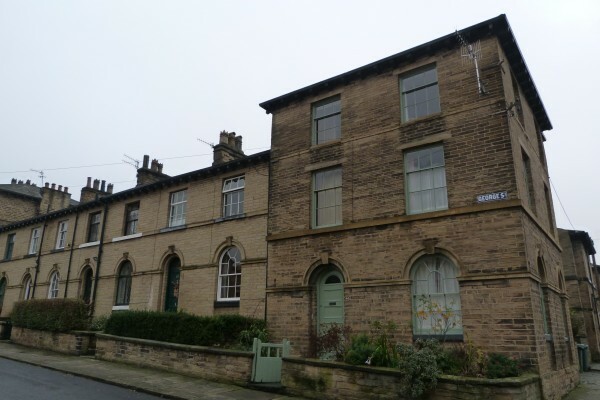 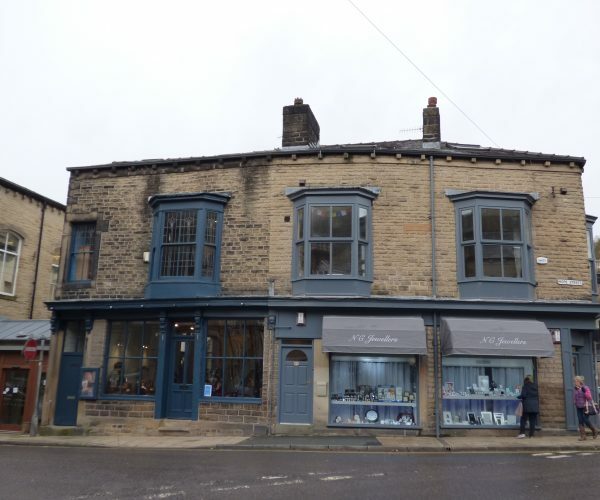 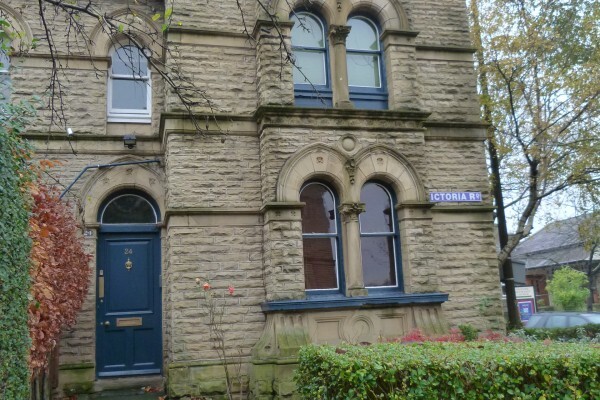 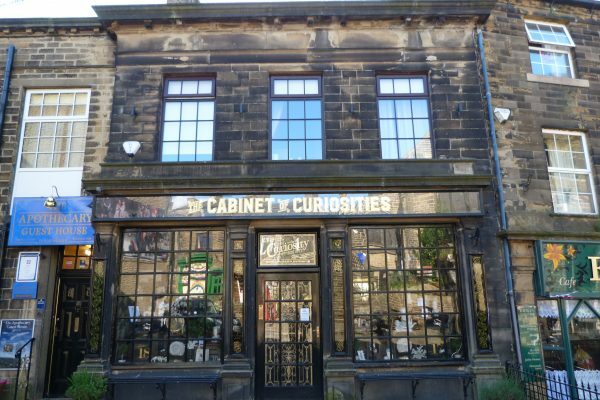 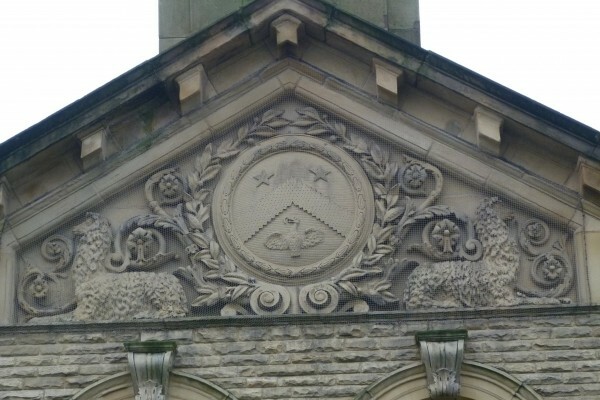 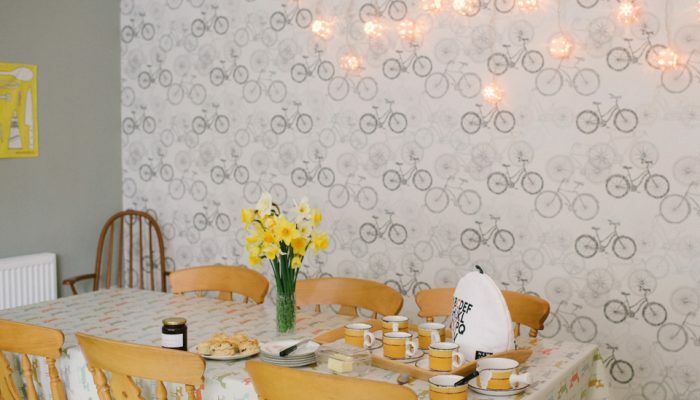 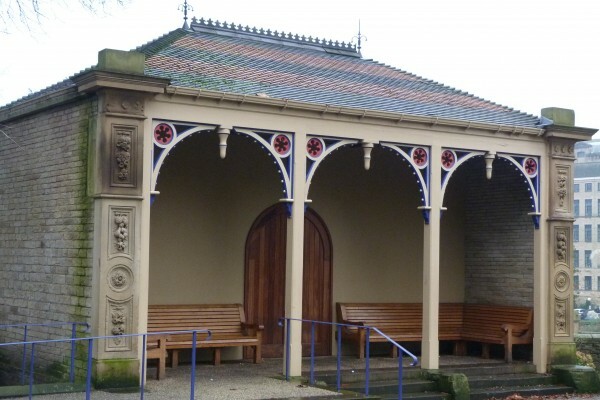 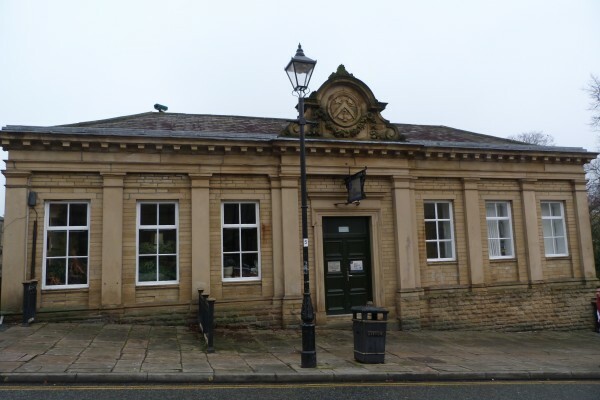 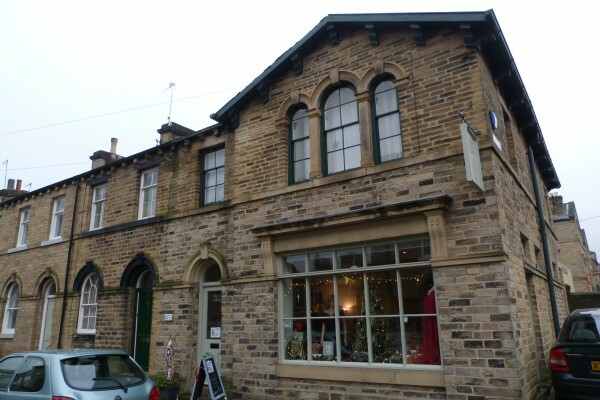 Hebden Bridge has butchers, bakers and designer-makers, as well as a 1920s cinema and numerous cafes and pubs. 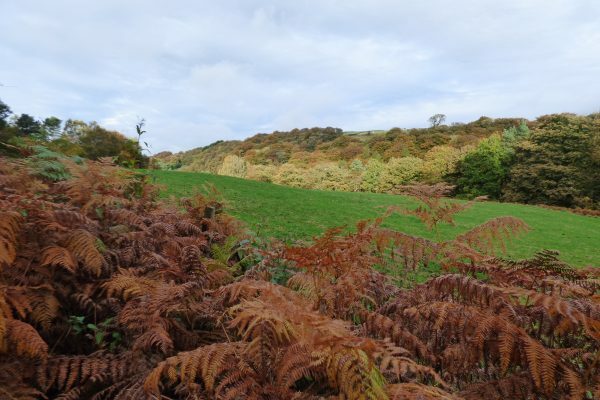 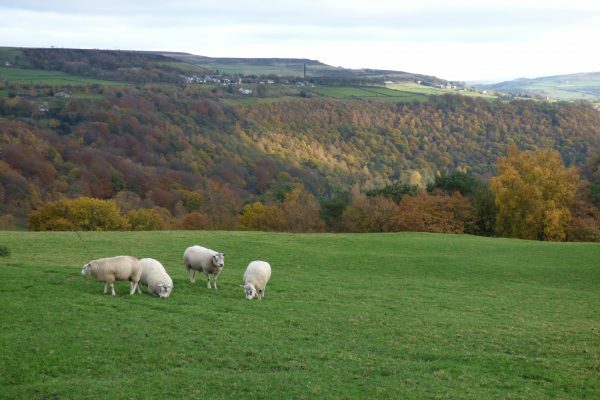 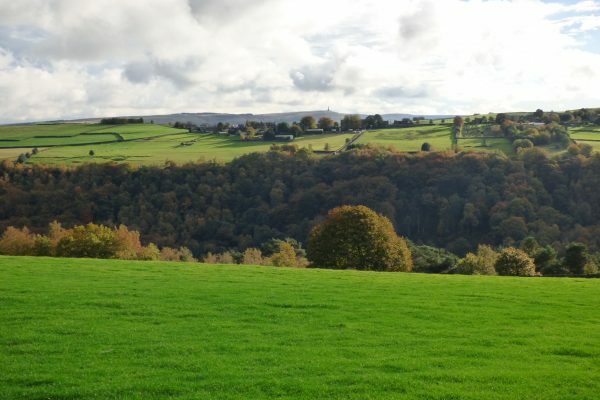 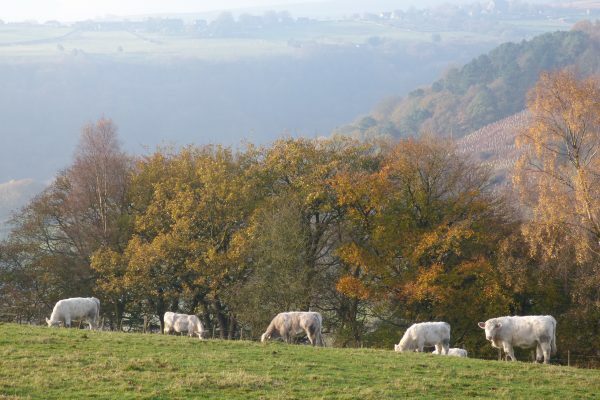 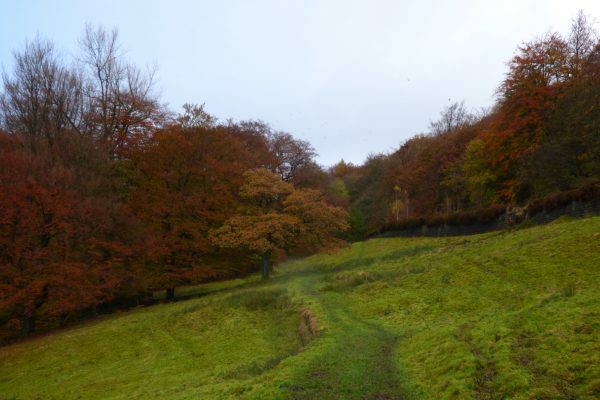 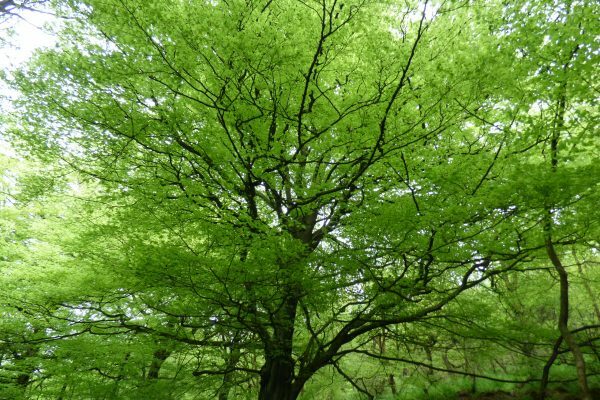 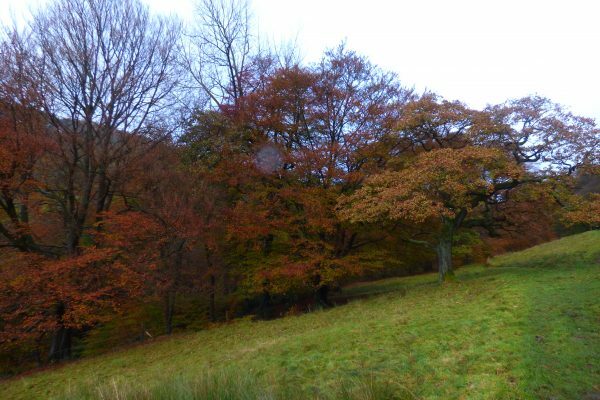 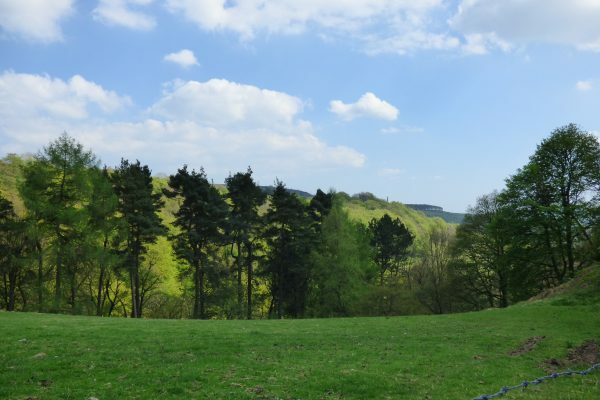 The hilltop meadows above Hardcastle Crags stay green all year round! 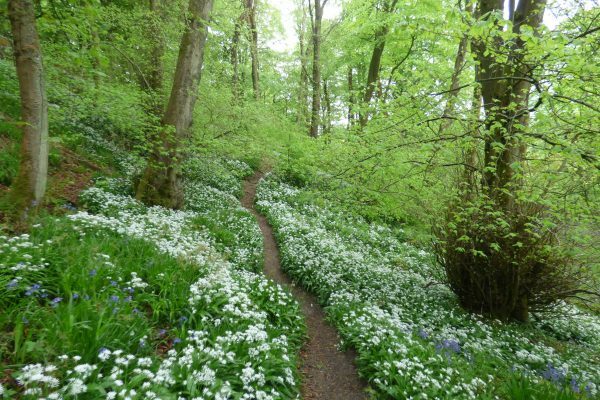 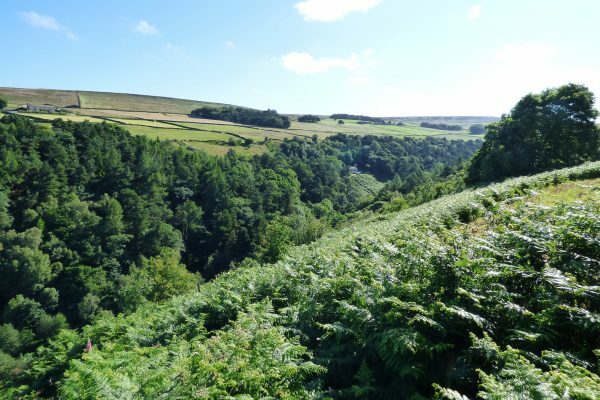 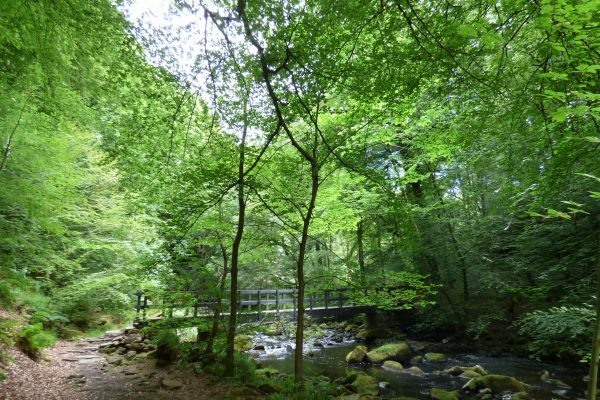 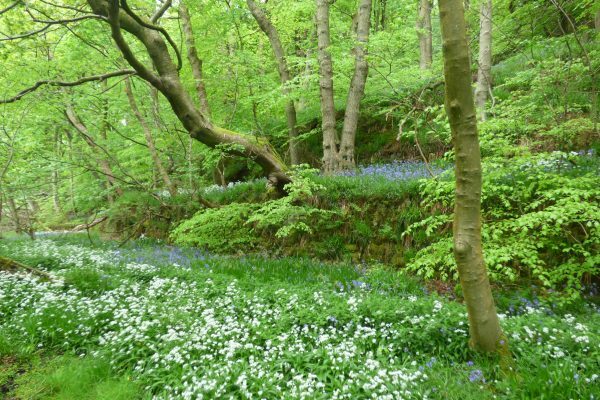 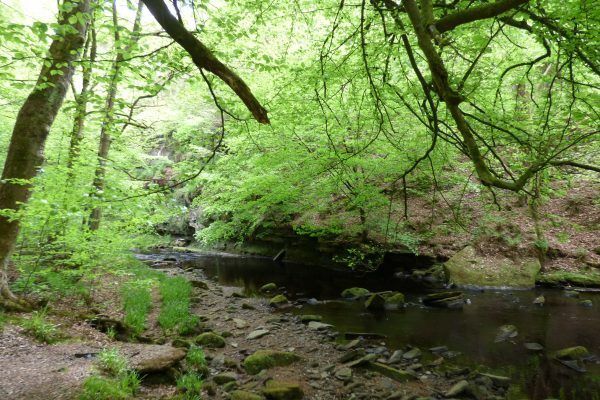 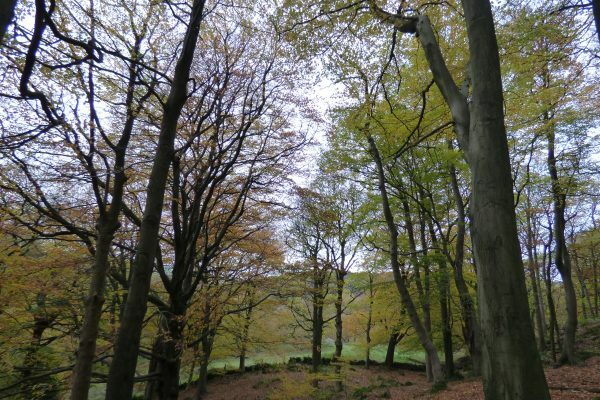 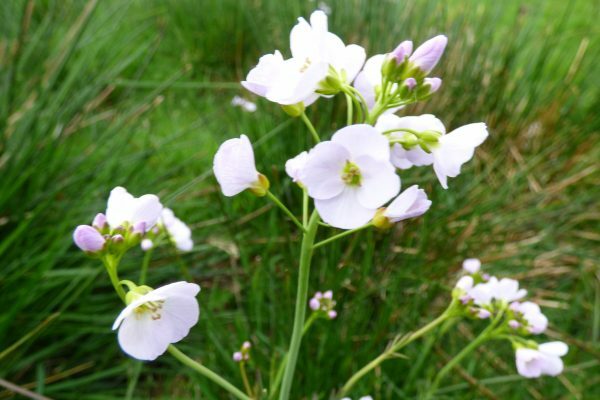 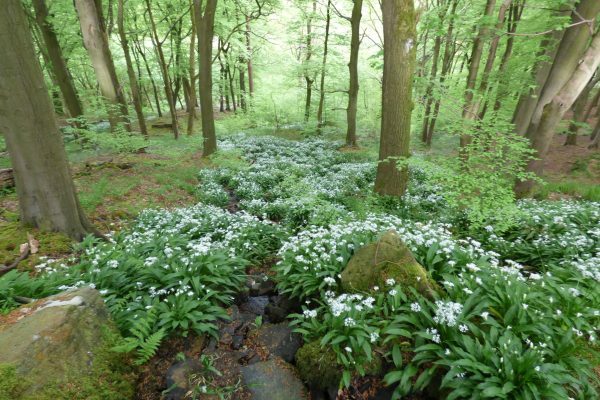 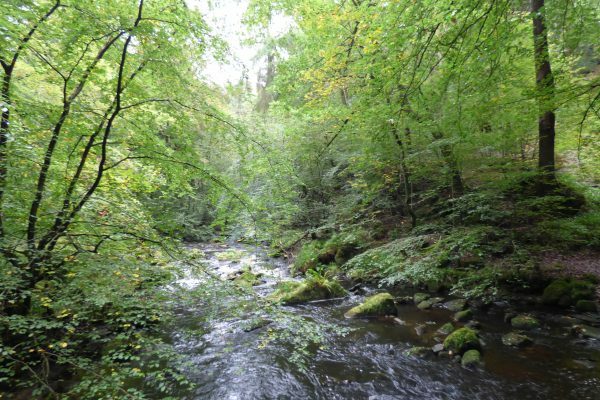 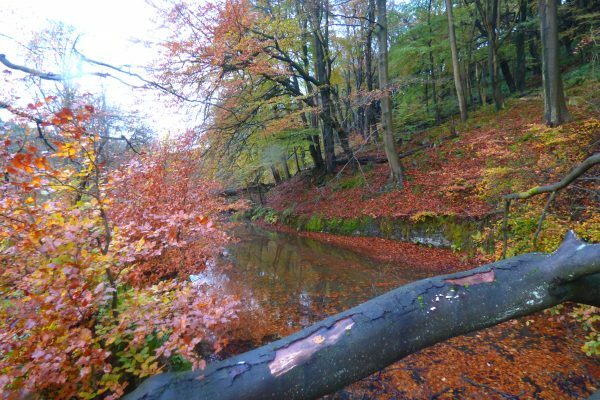 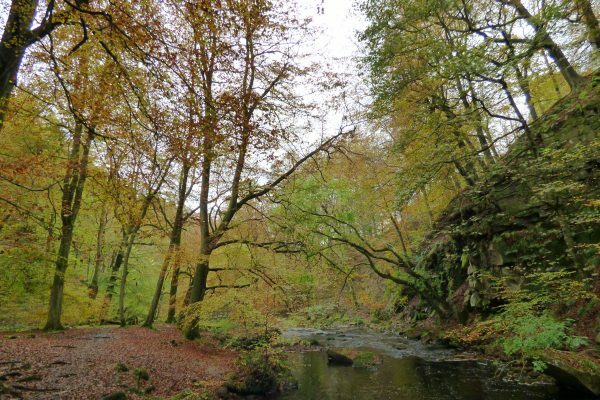 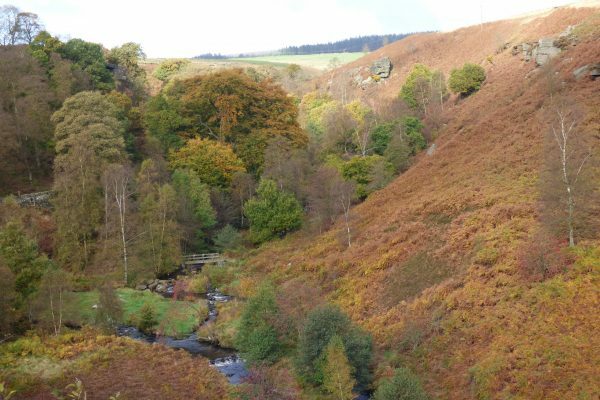 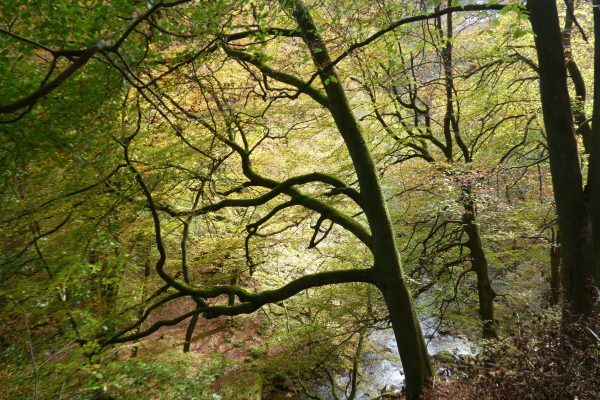 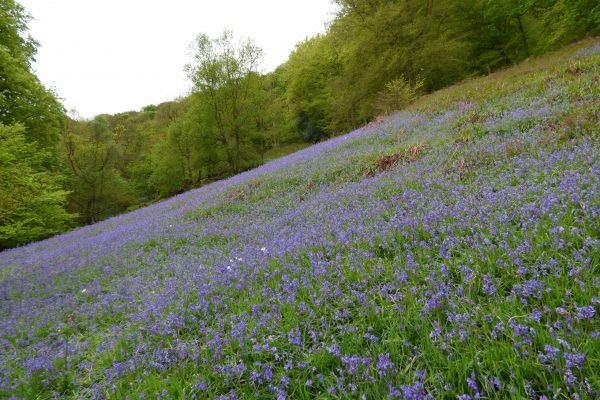 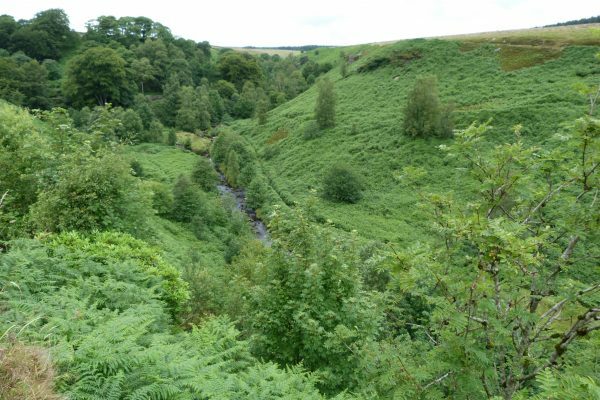 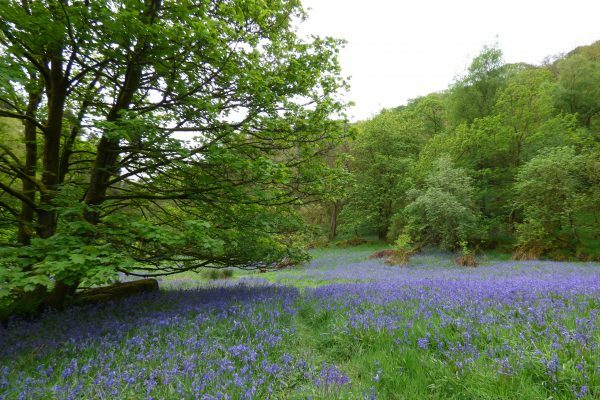 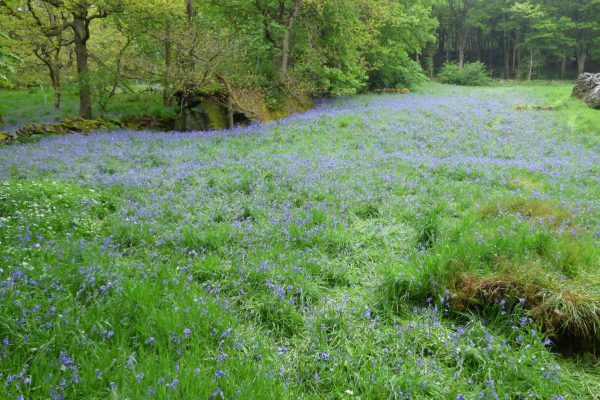 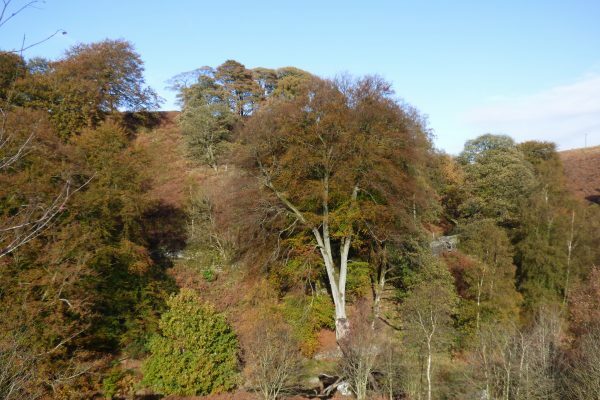 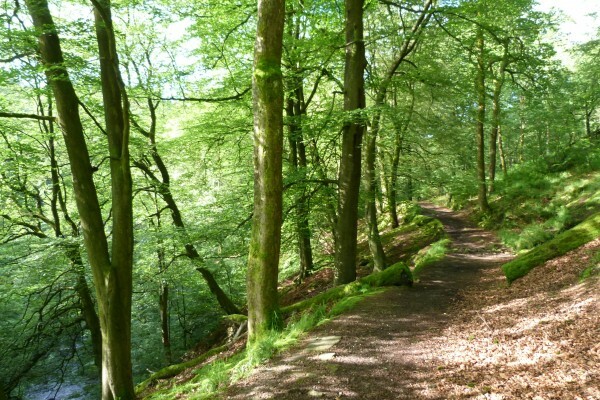 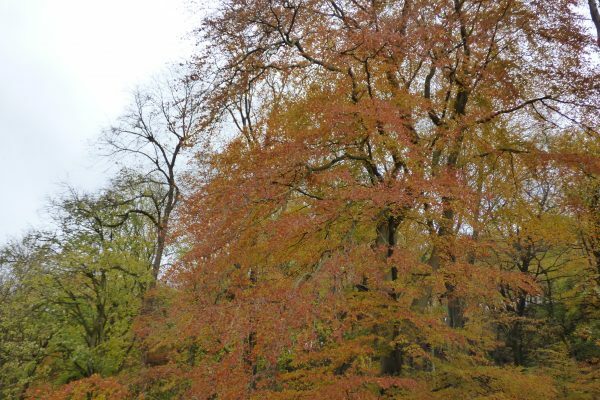 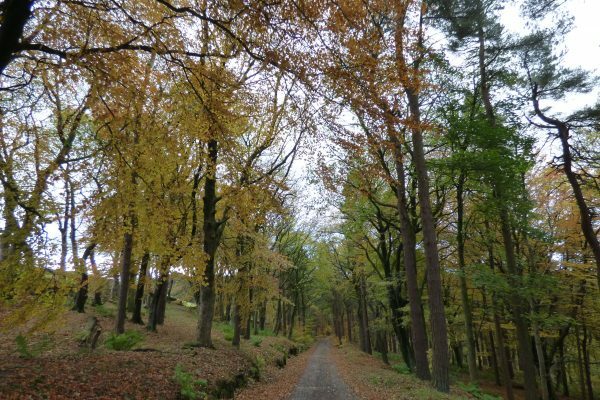 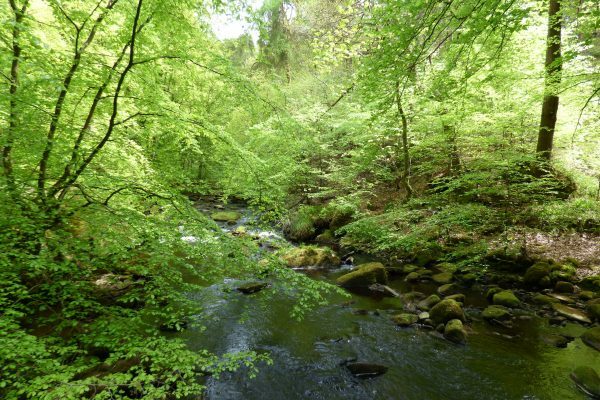 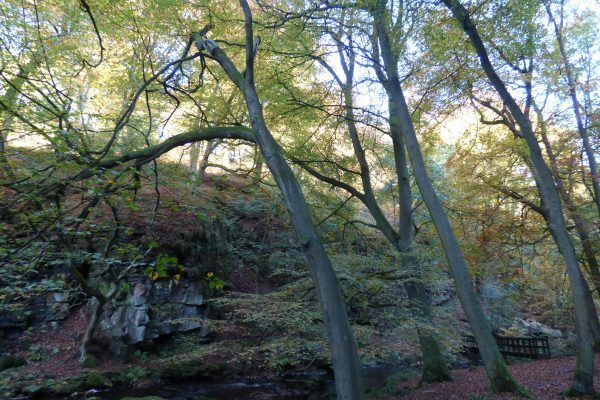 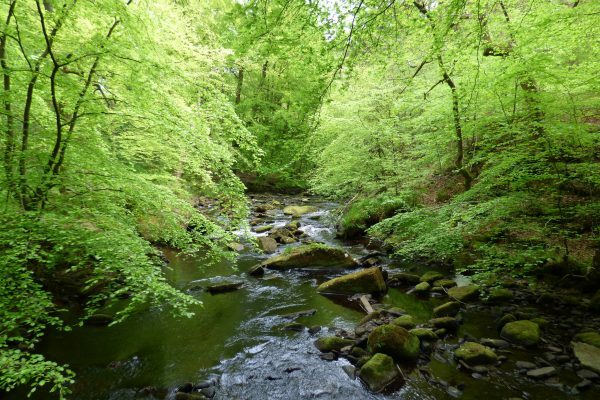 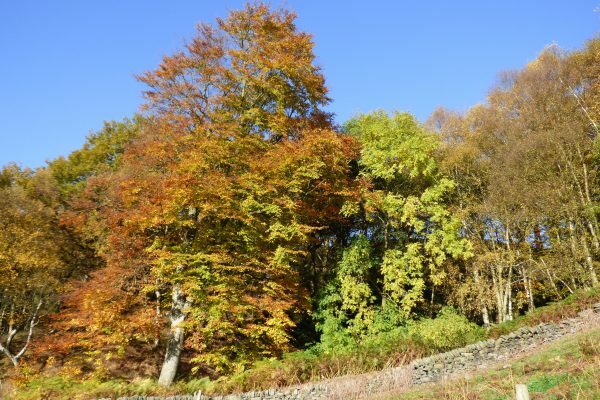 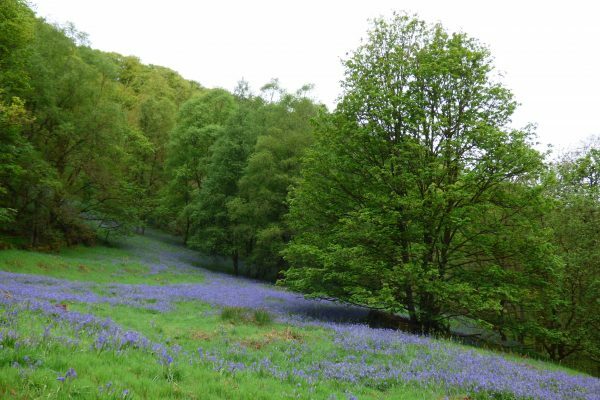 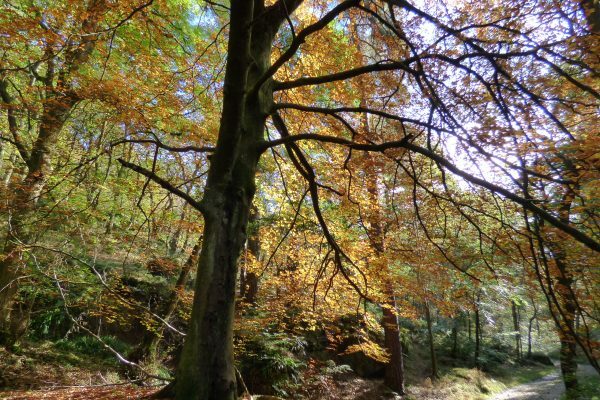 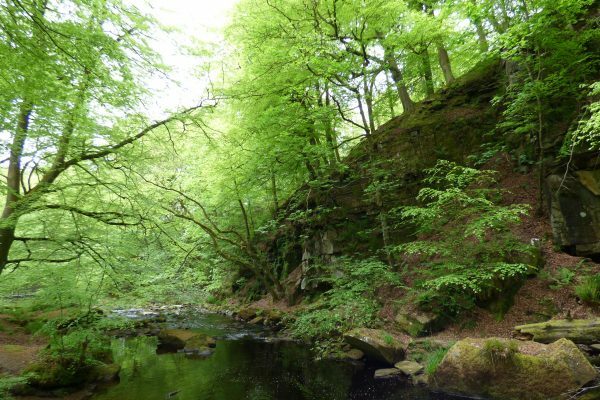 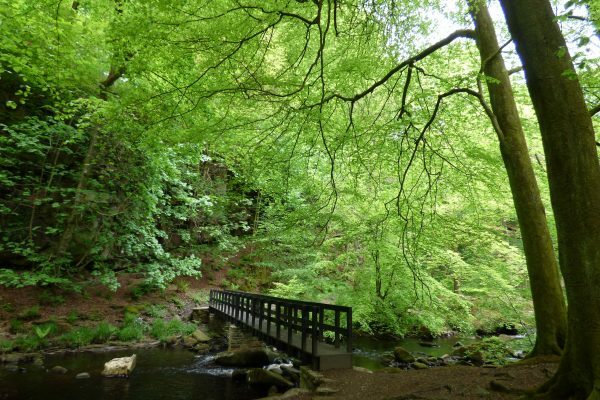 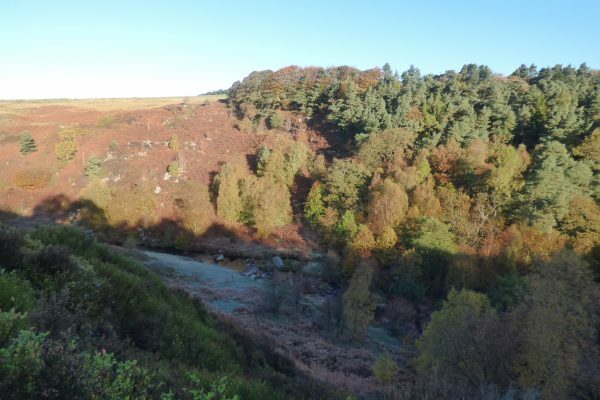 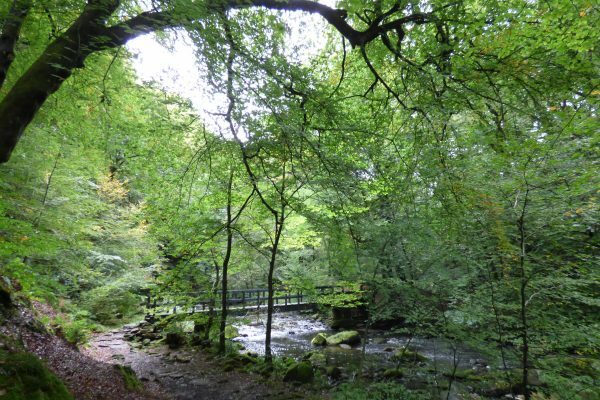 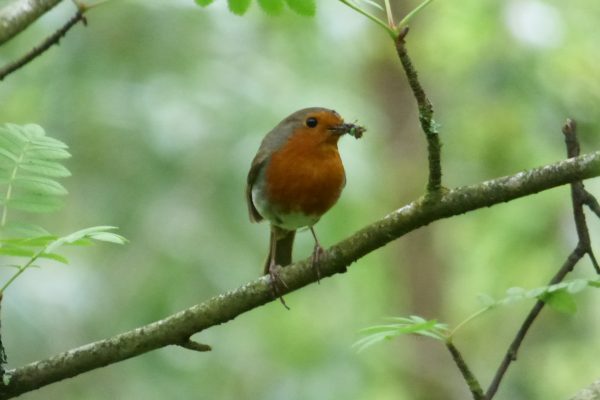 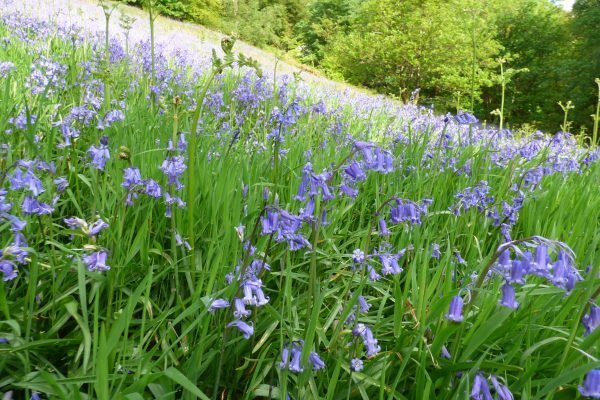 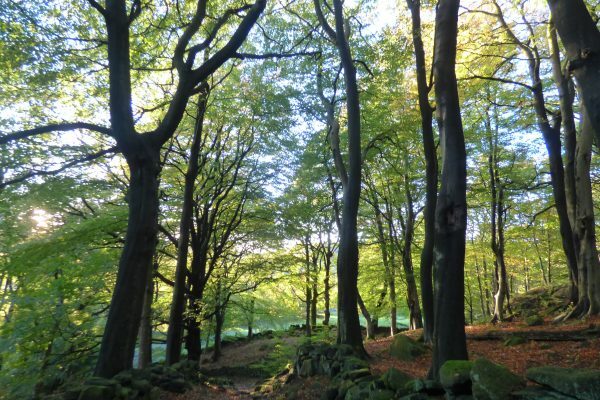 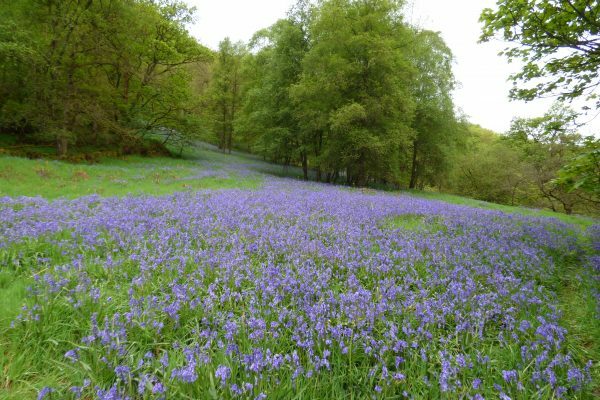 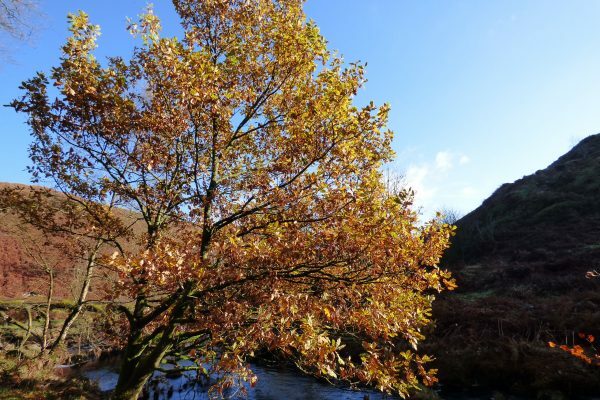 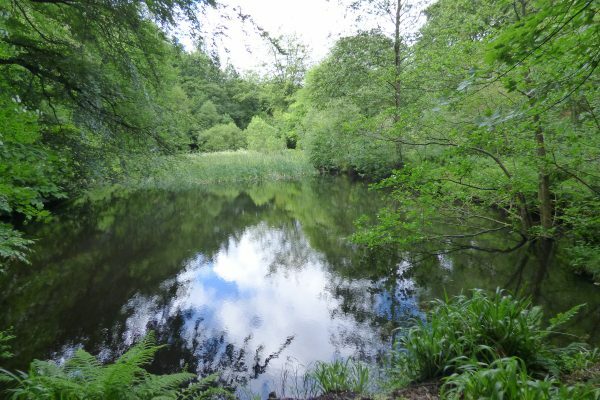 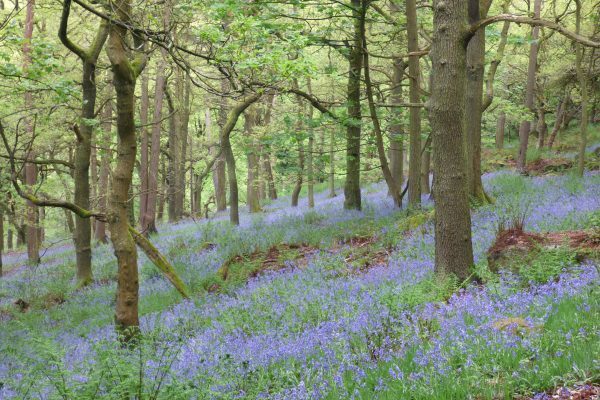 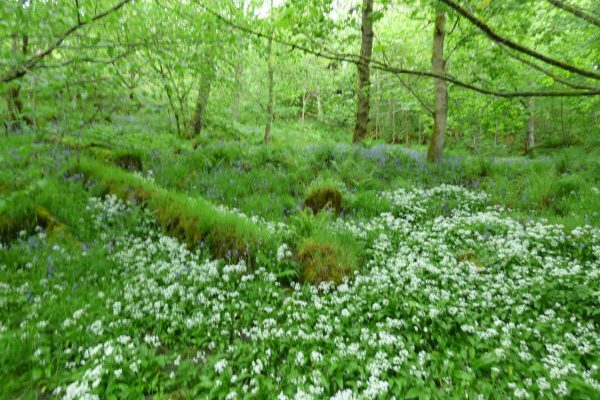 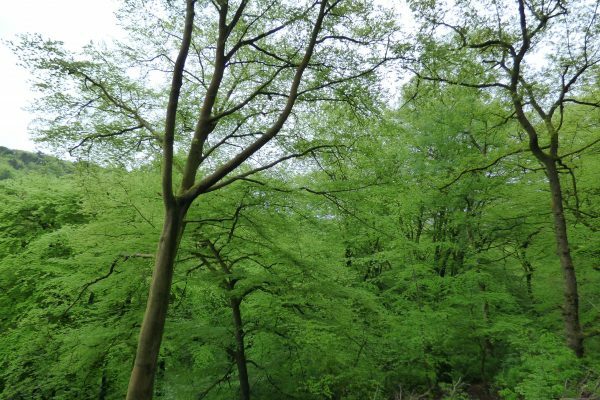 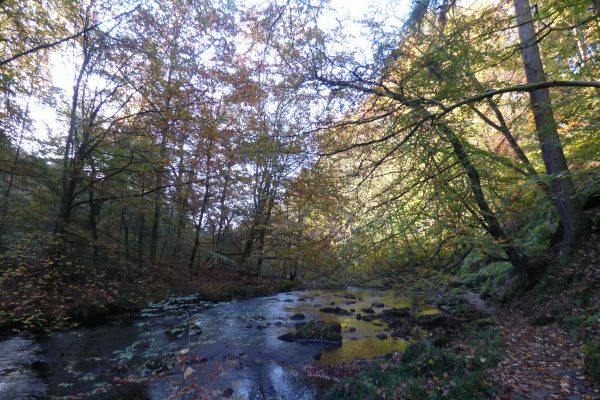 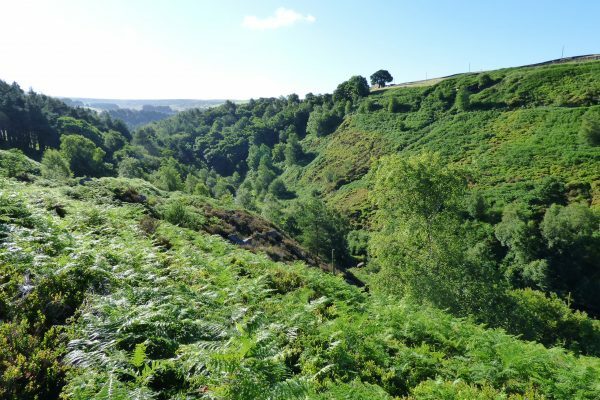 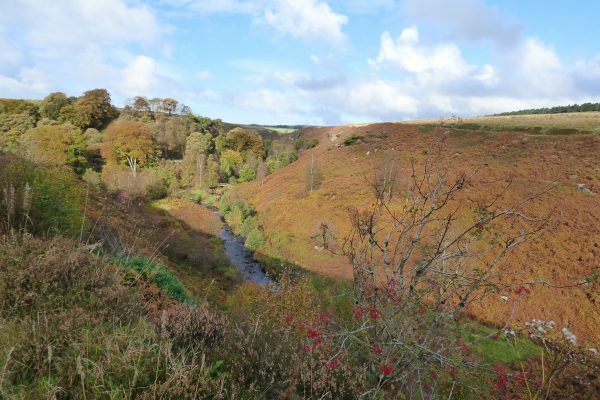 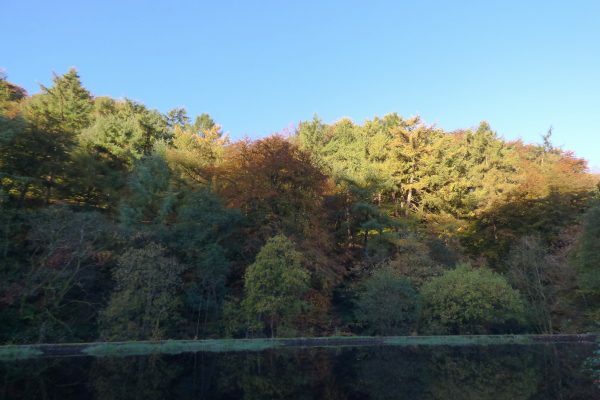 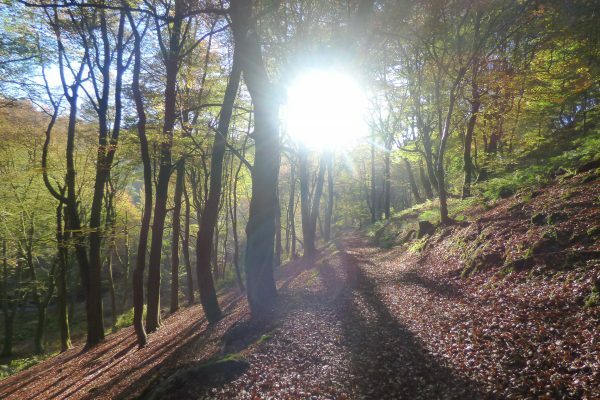 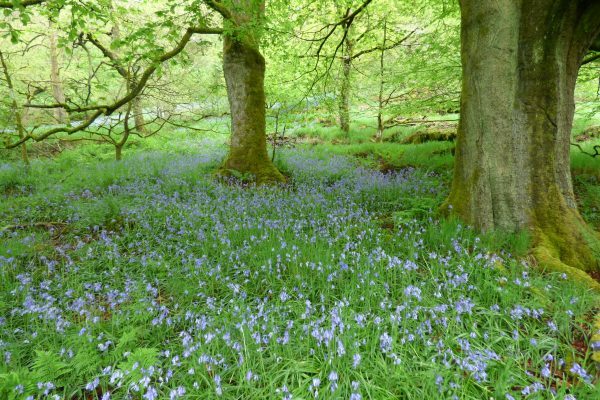 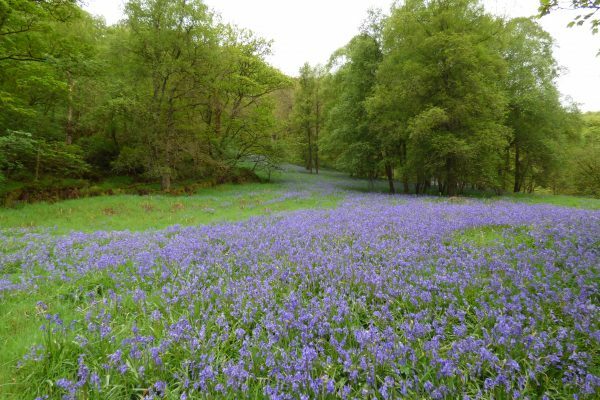 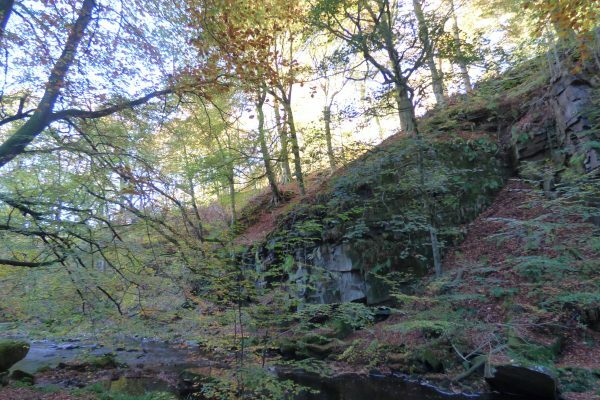 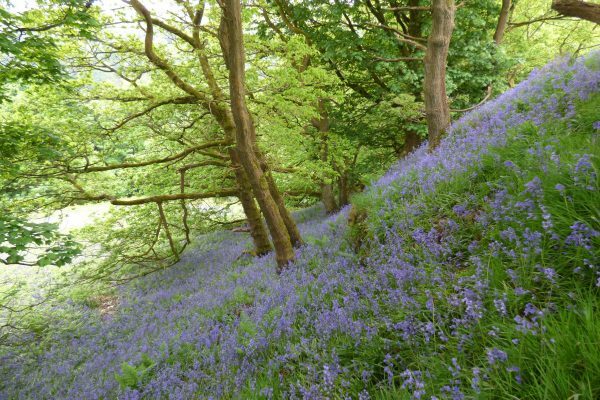 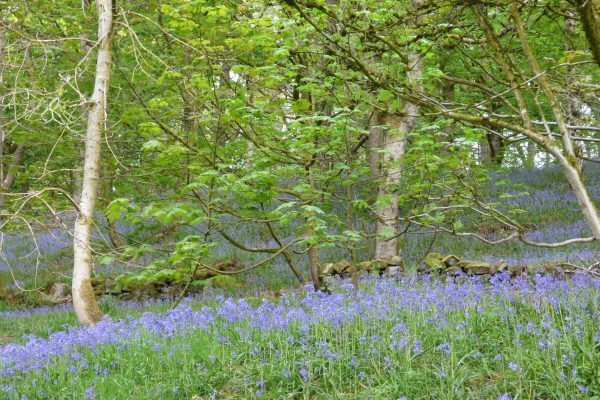 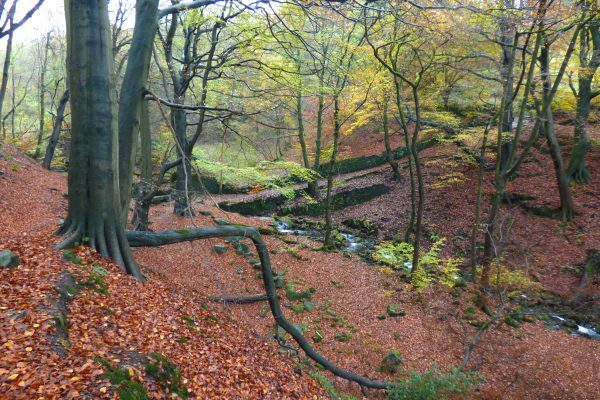 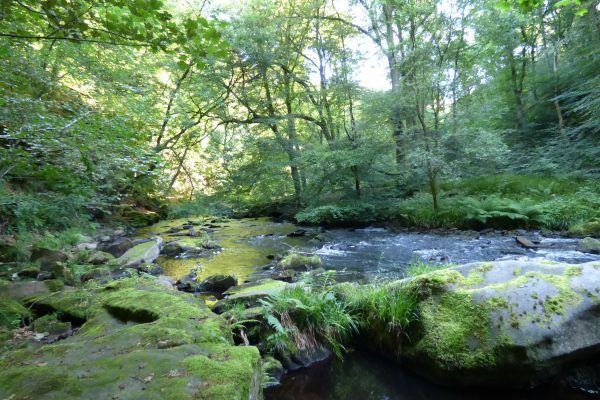 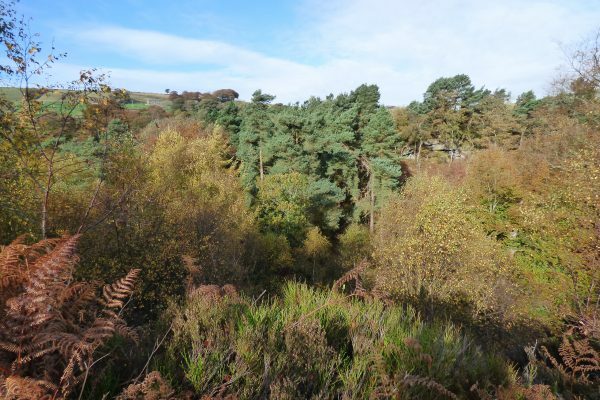 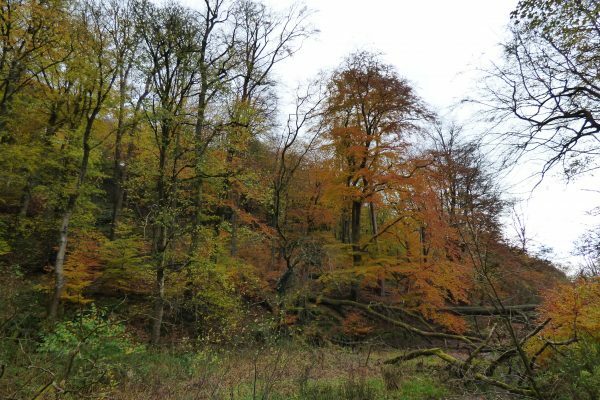 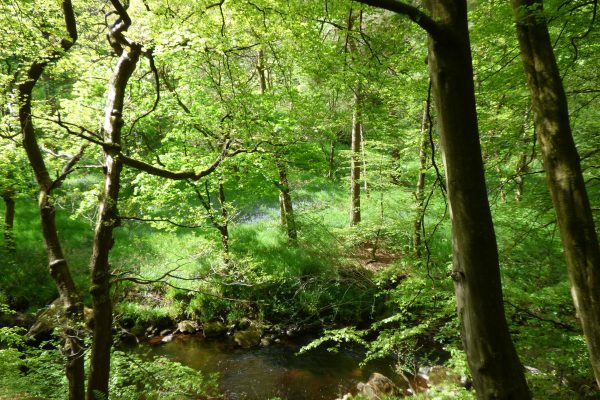 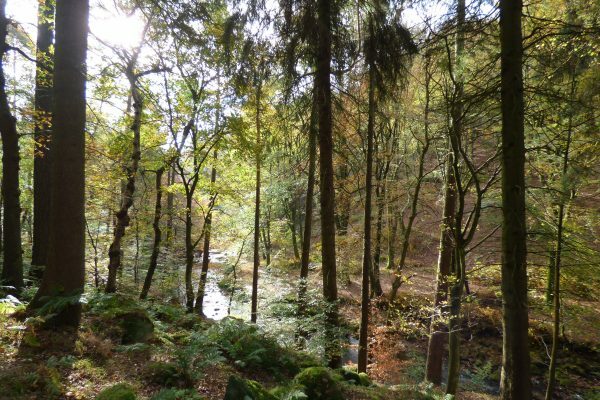 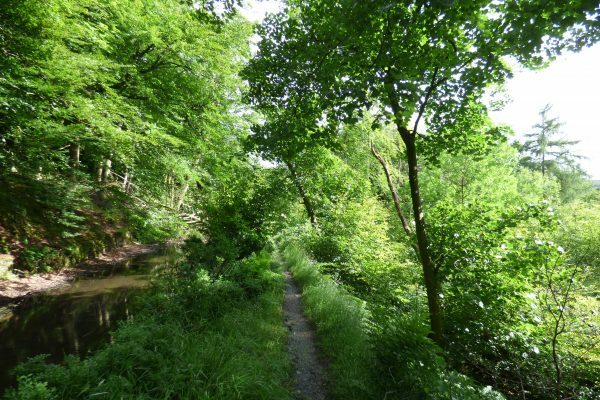 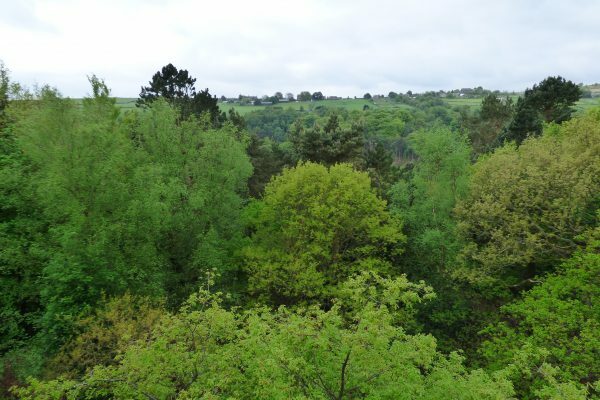 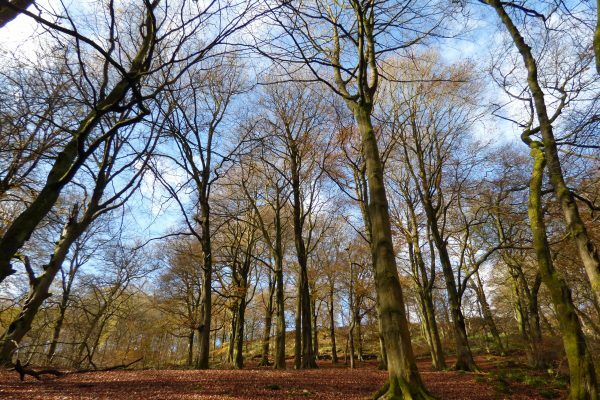 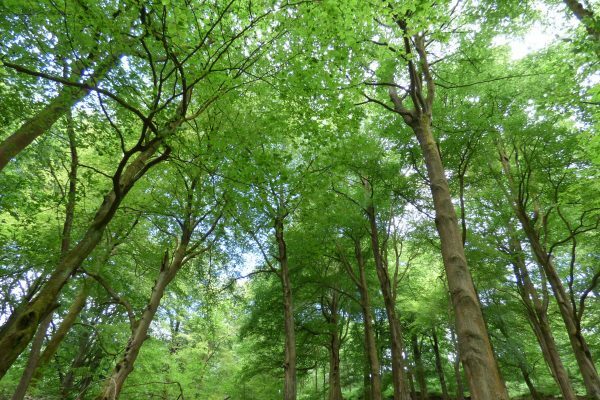 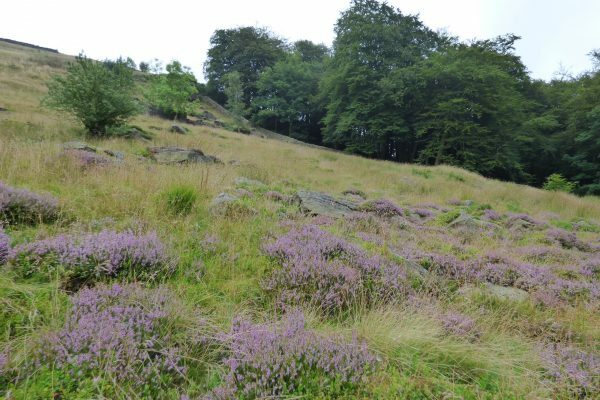 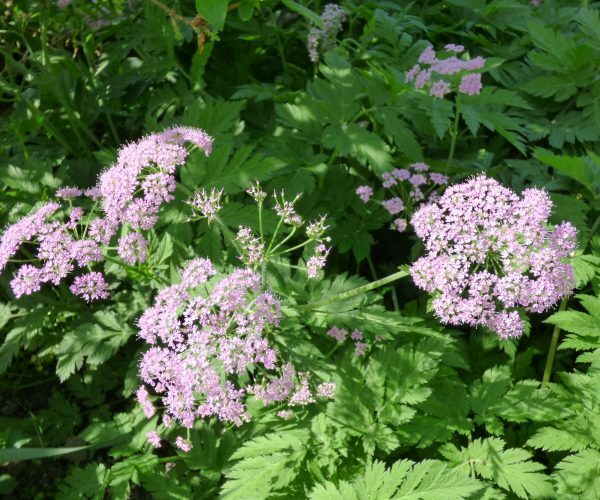 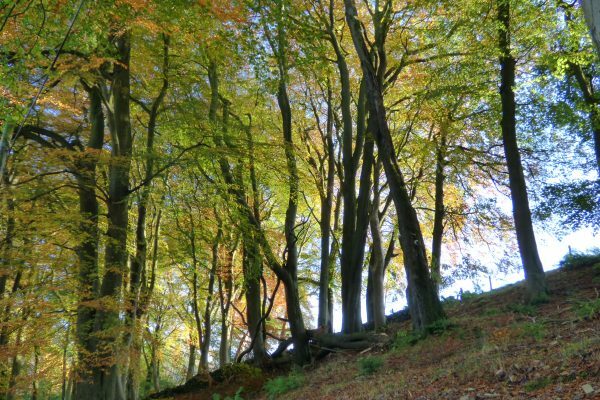 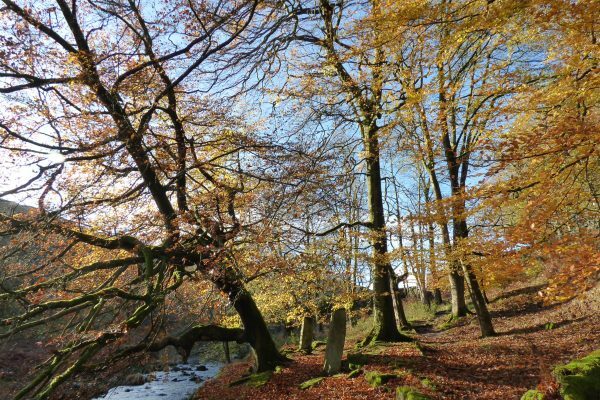 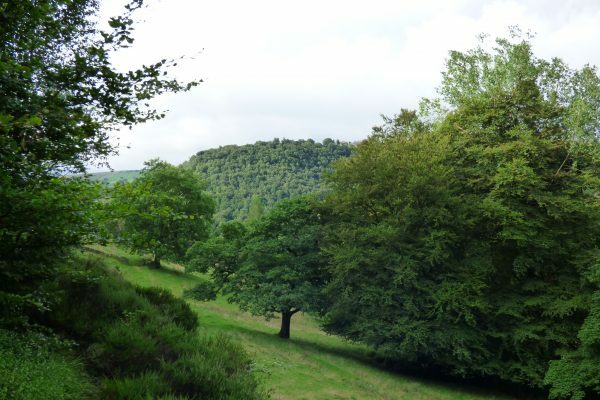 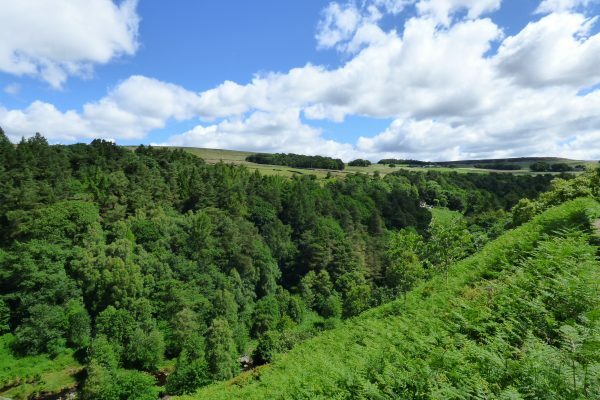 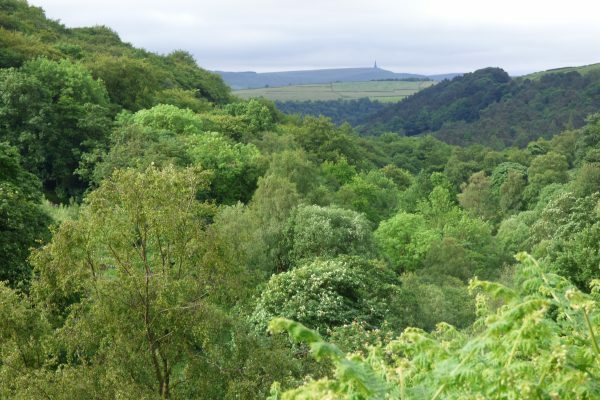 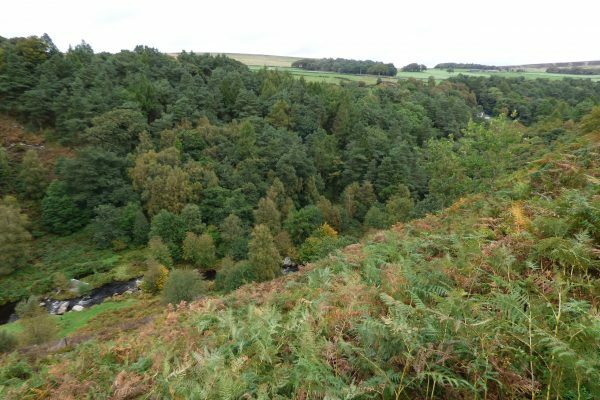 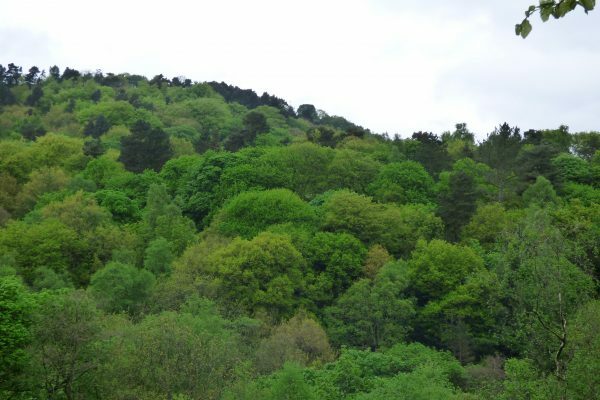 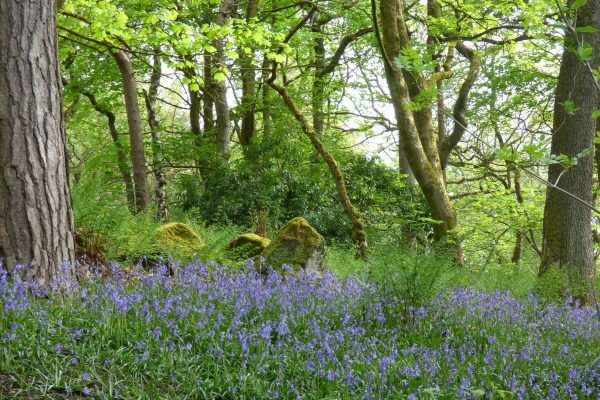 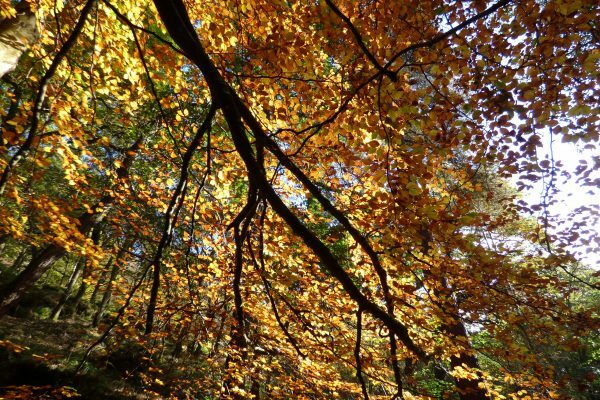 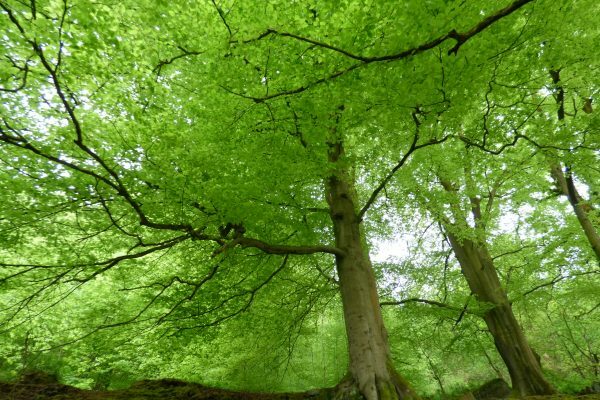 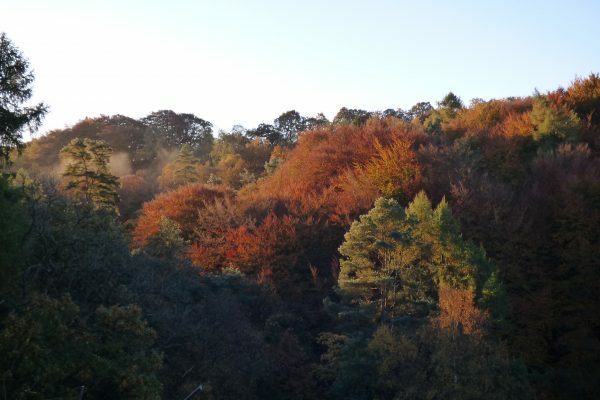 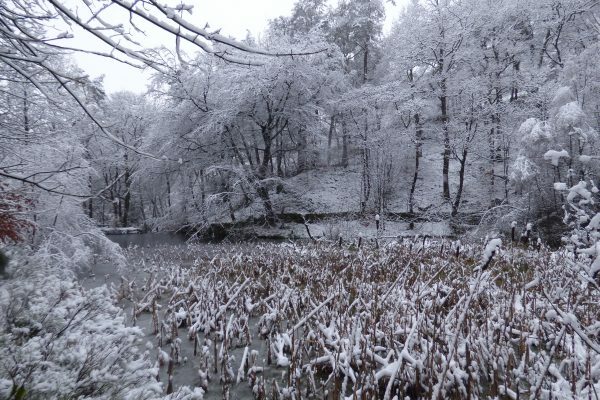 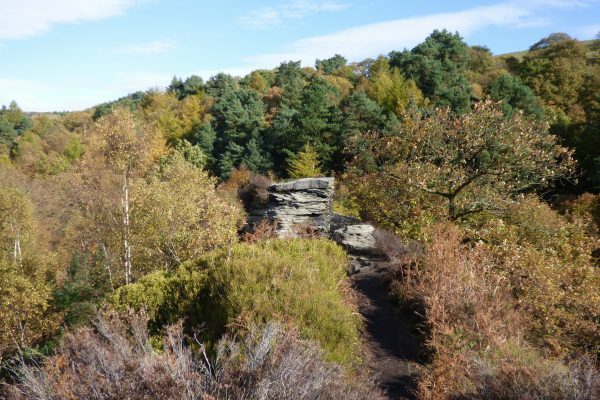 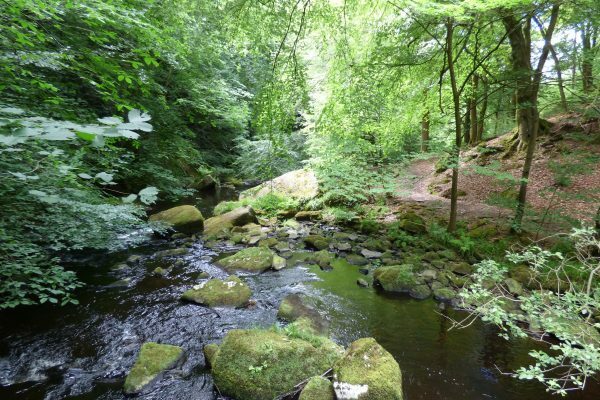 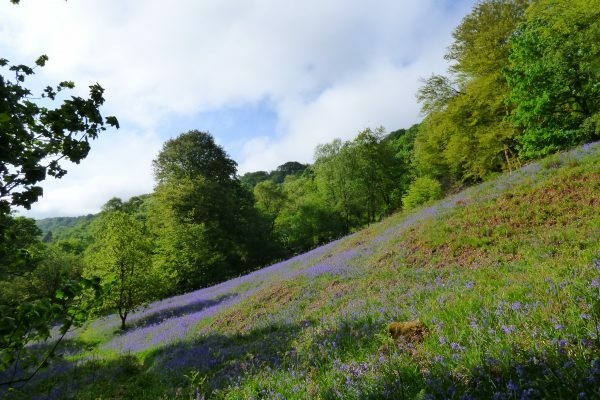 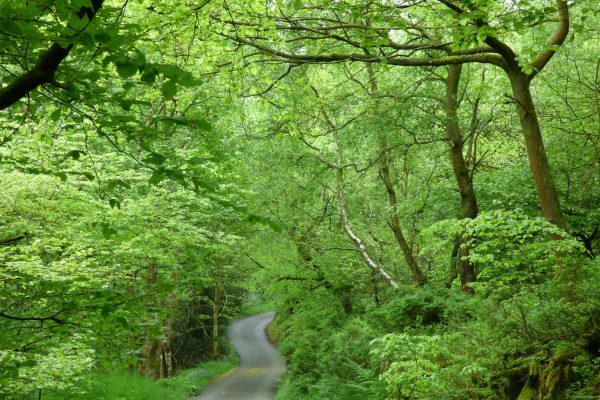 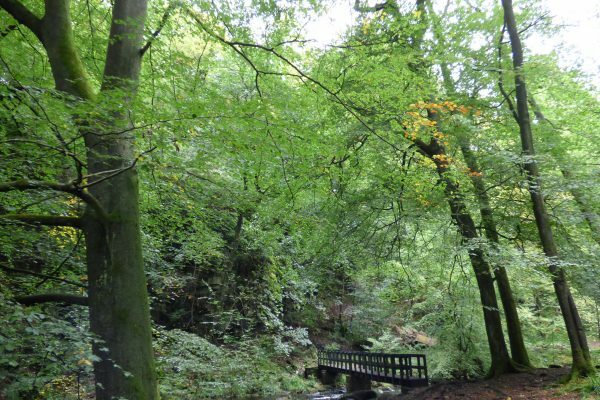 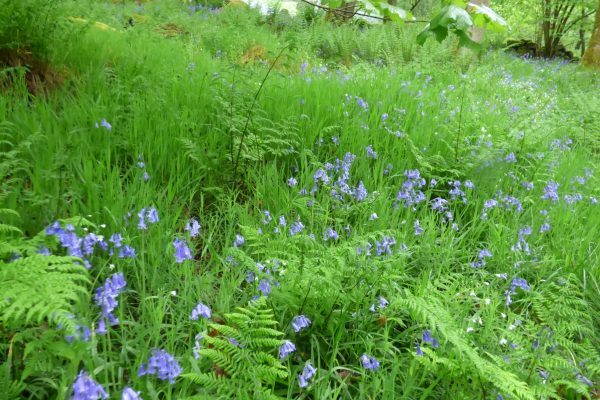 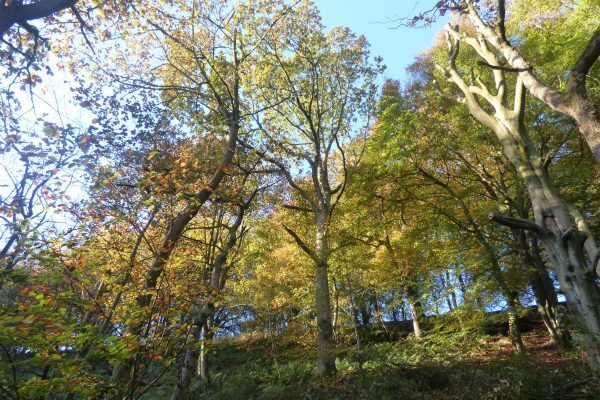 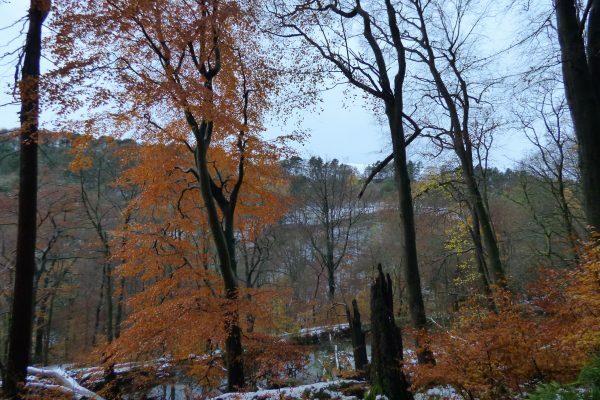 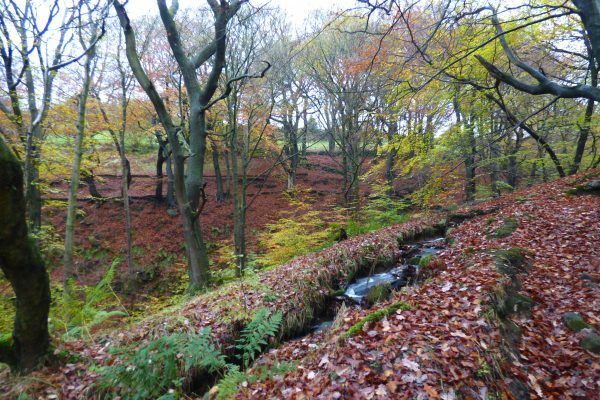 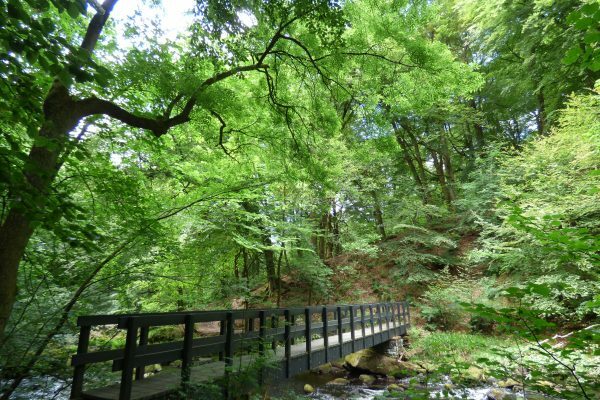 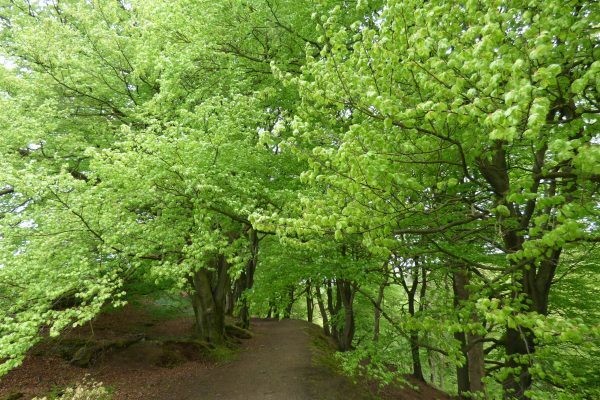 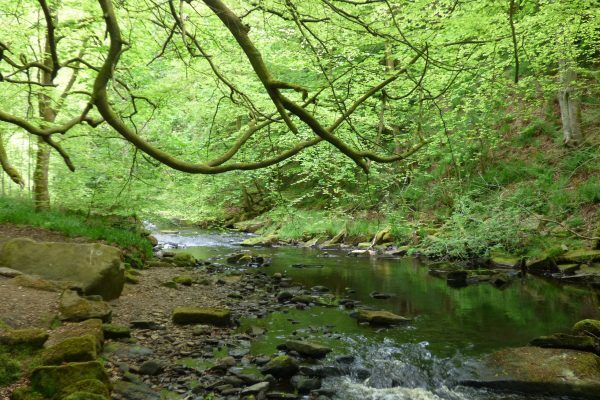 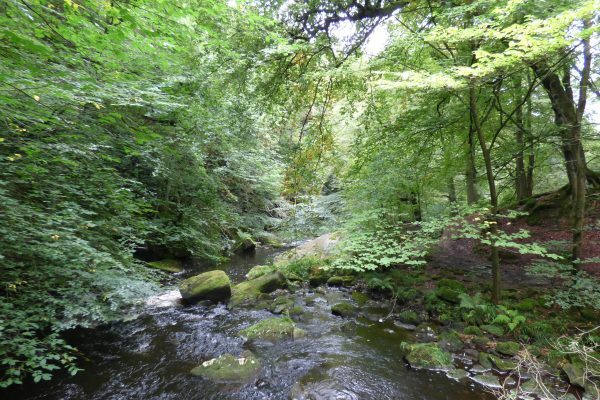 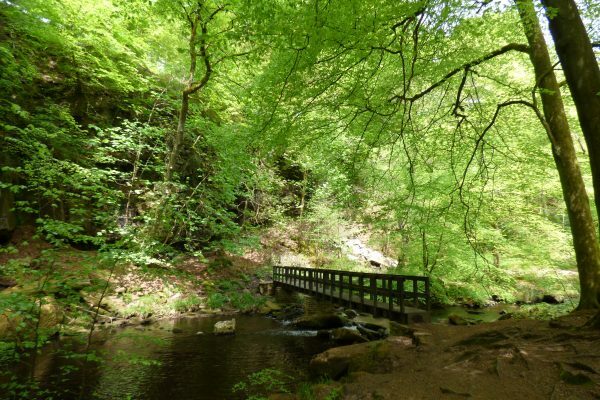 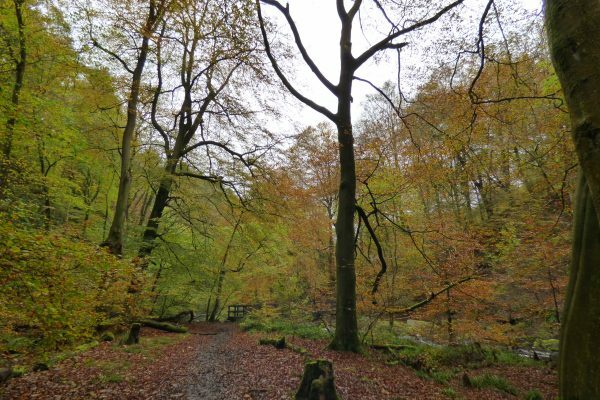 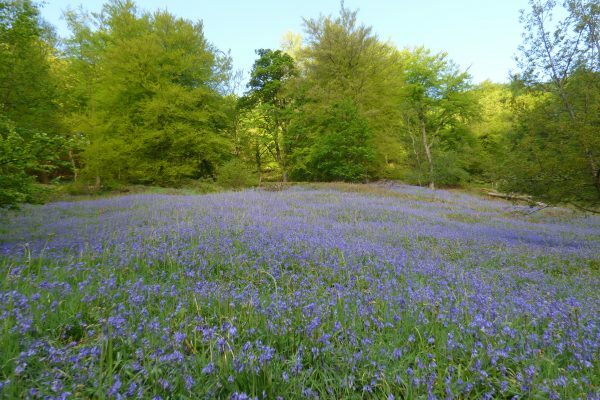 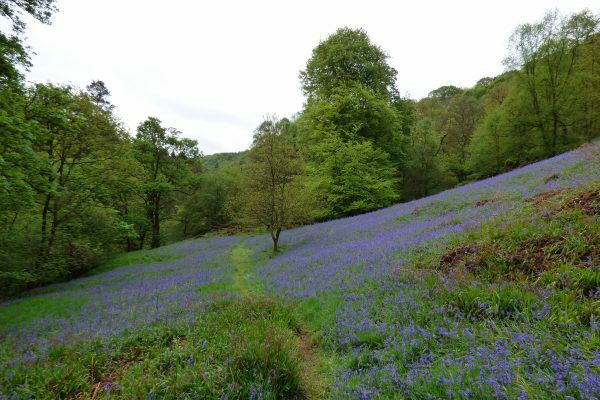 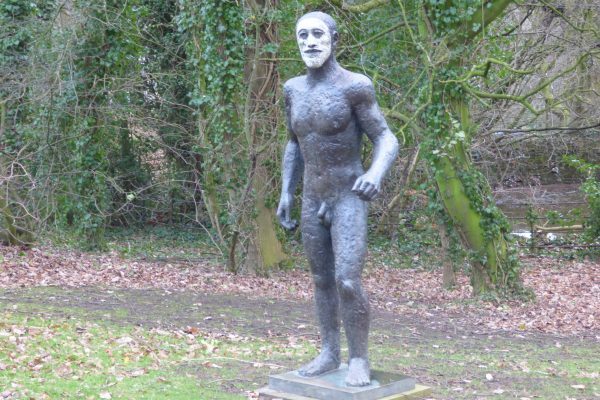 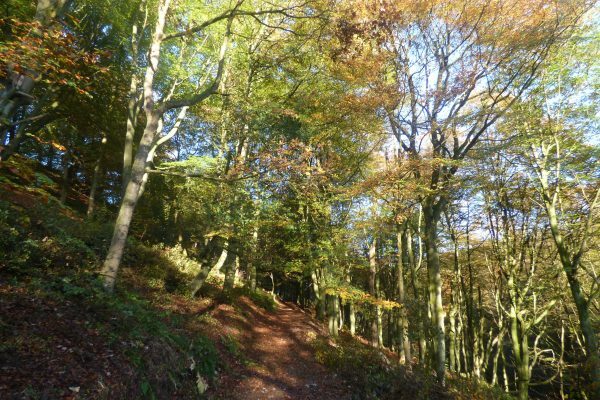 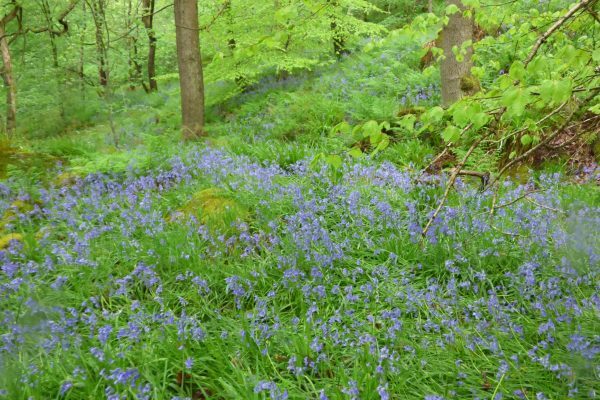 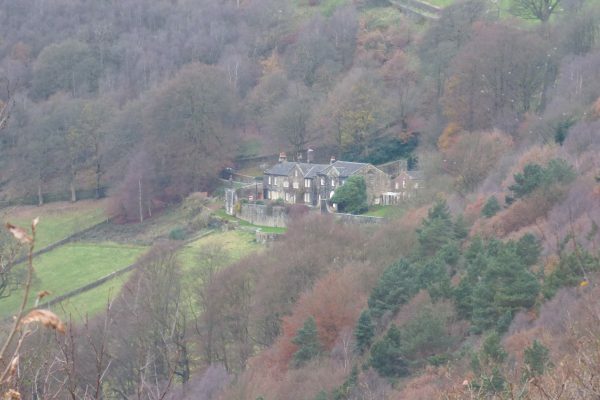 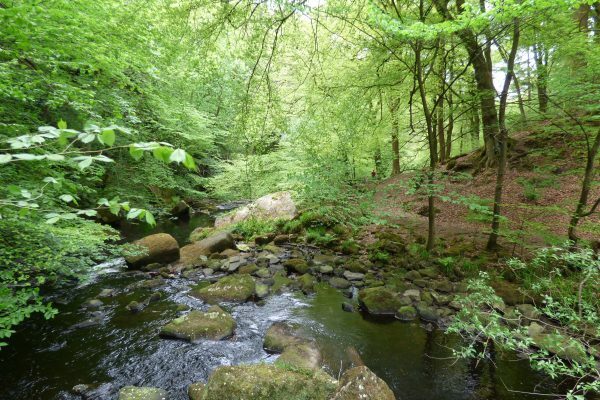 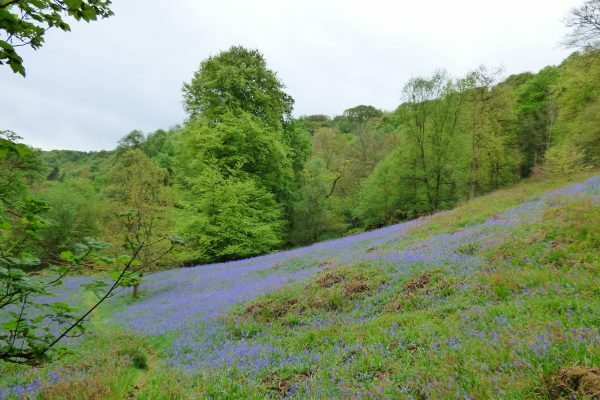 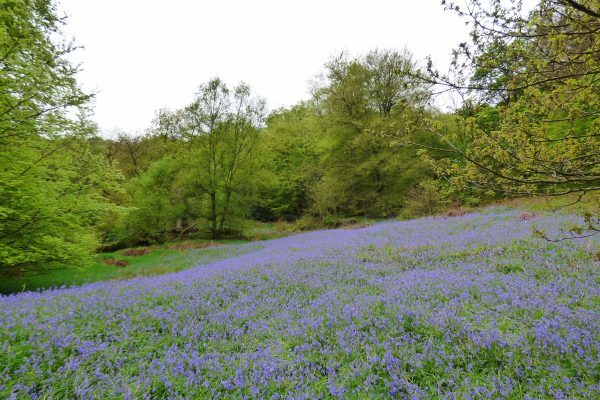 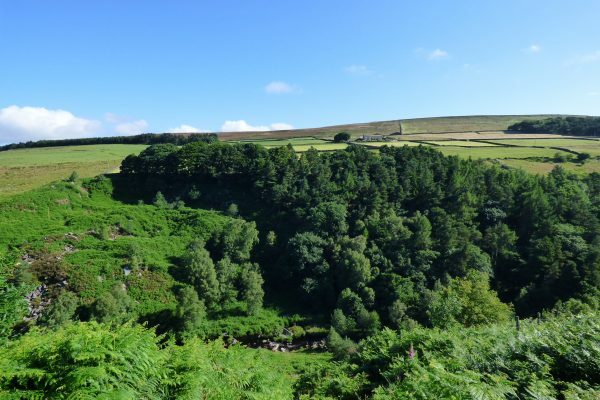 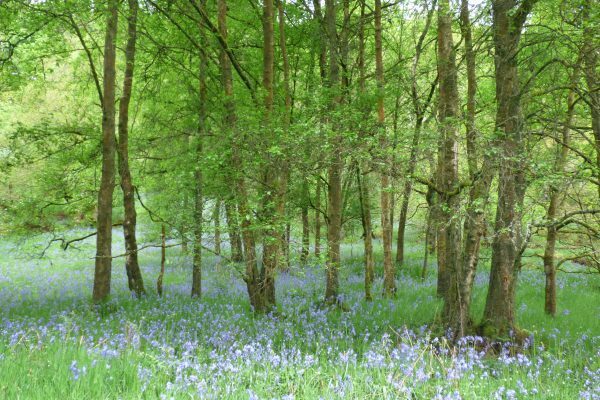 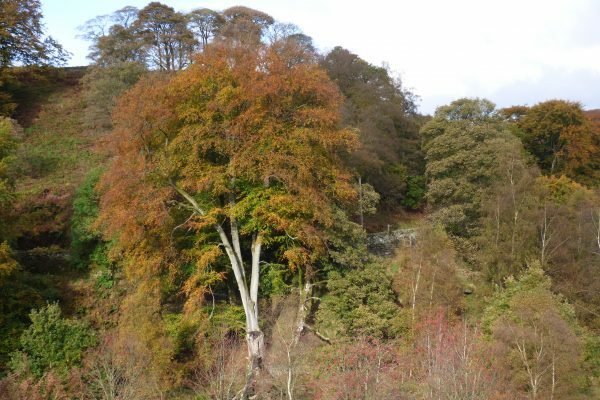 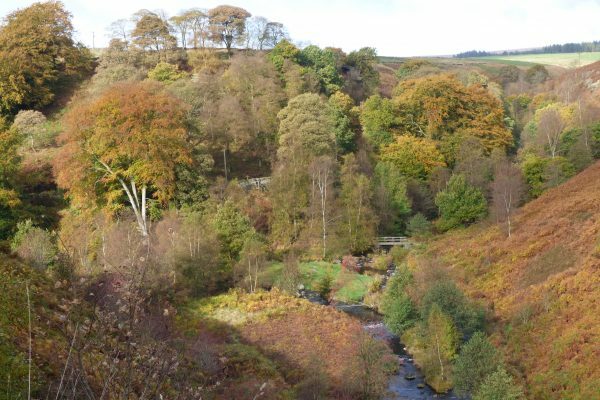 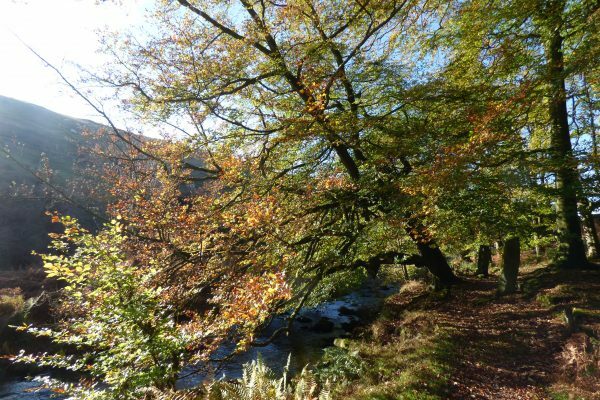 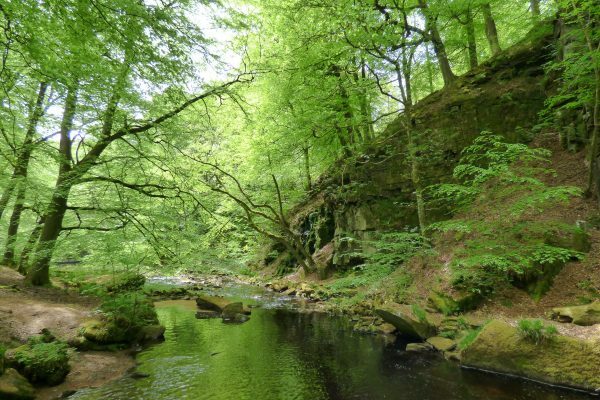 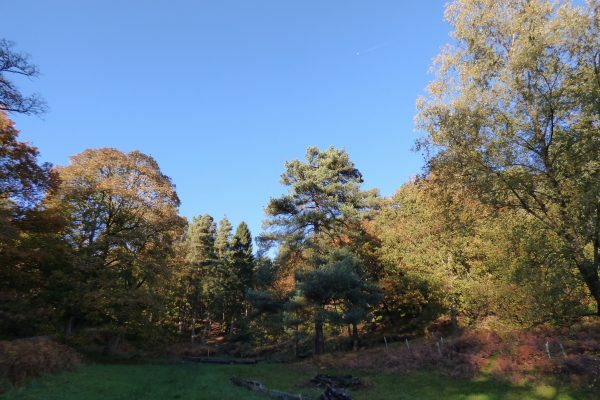 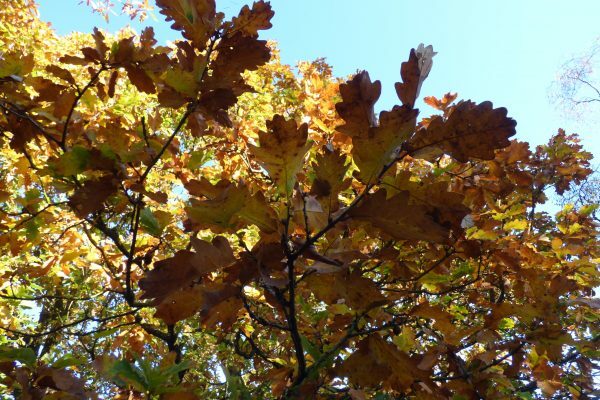 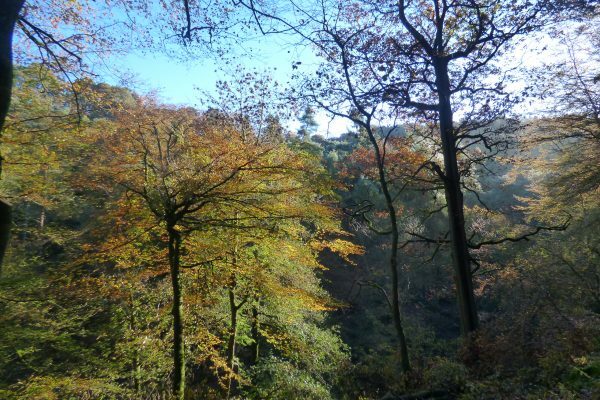 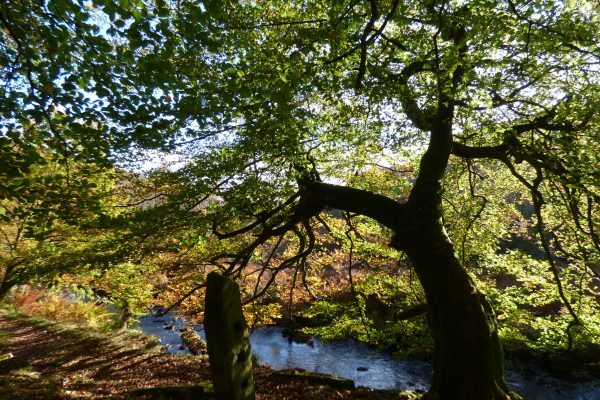 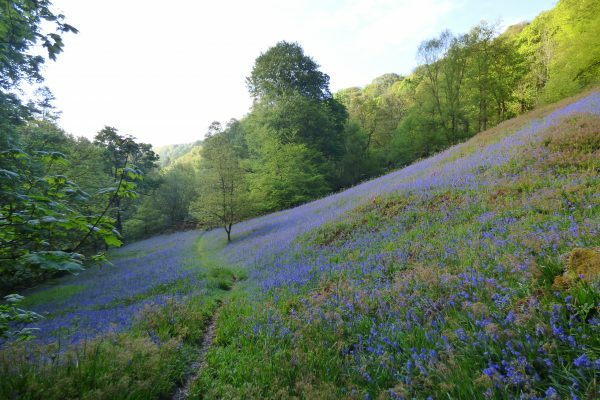 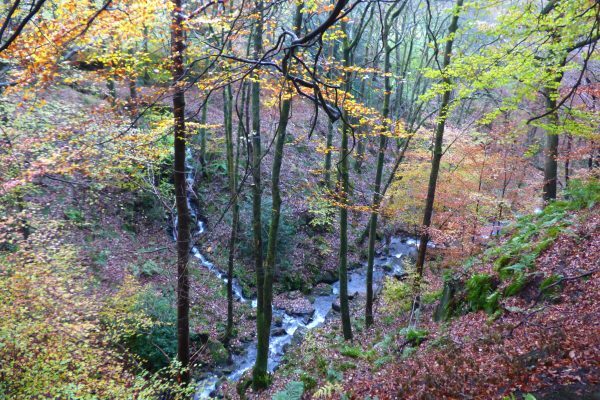 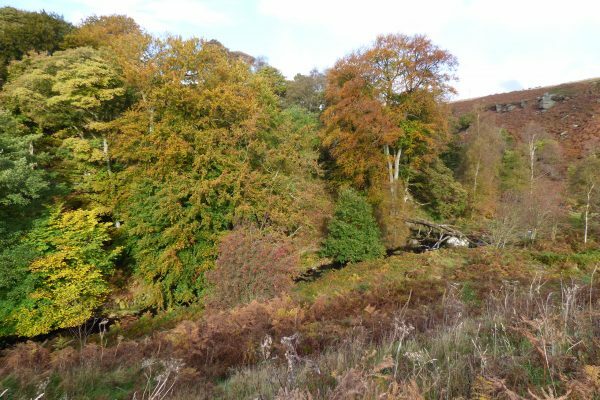 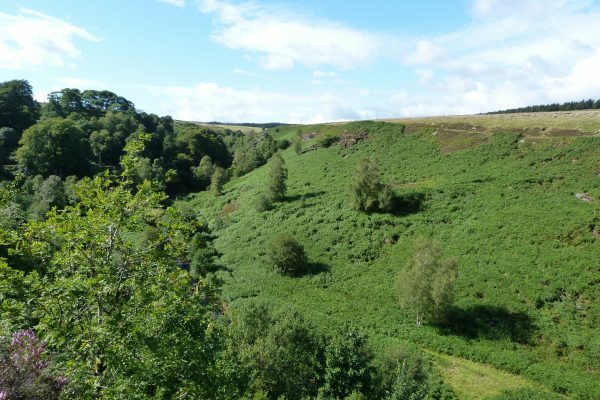 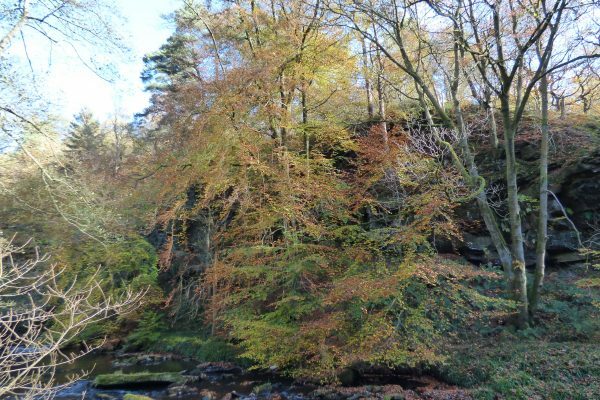 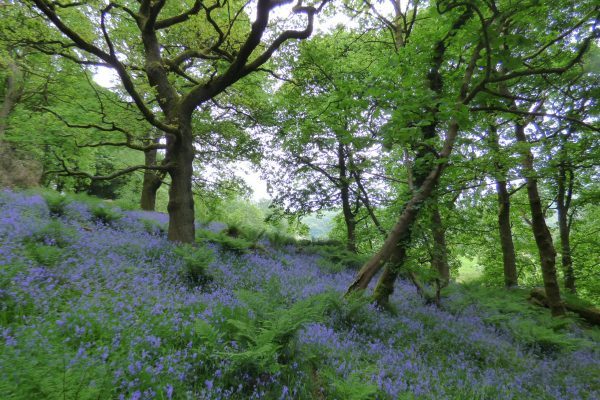 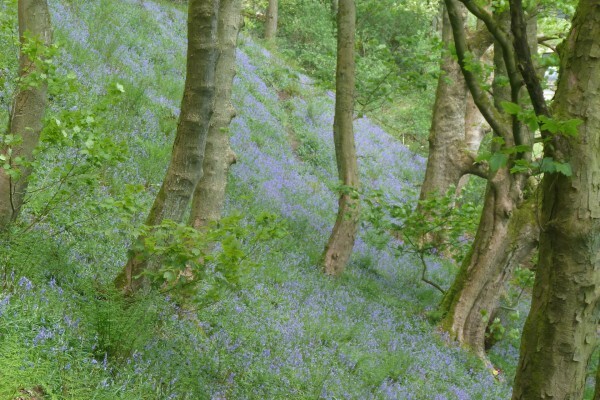 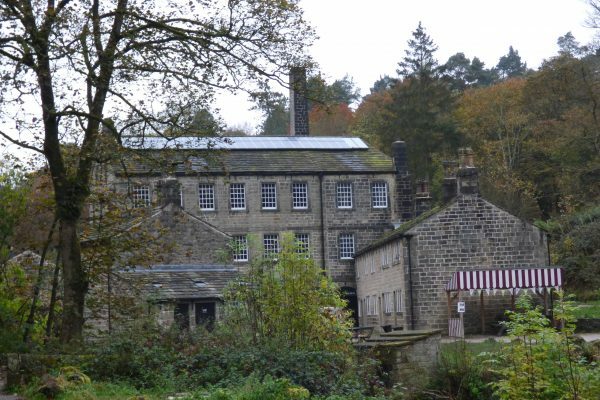 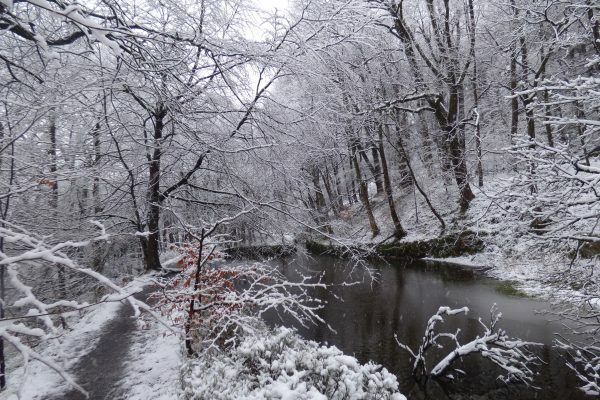 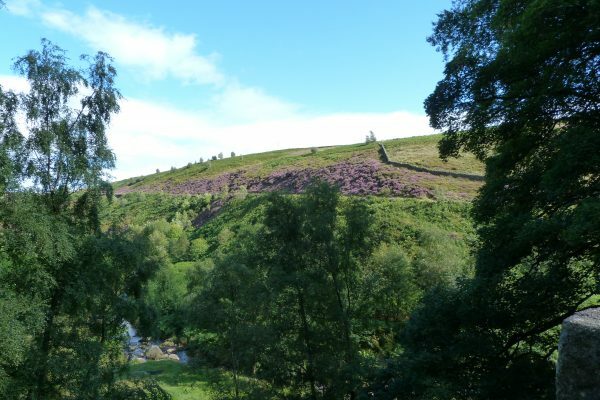 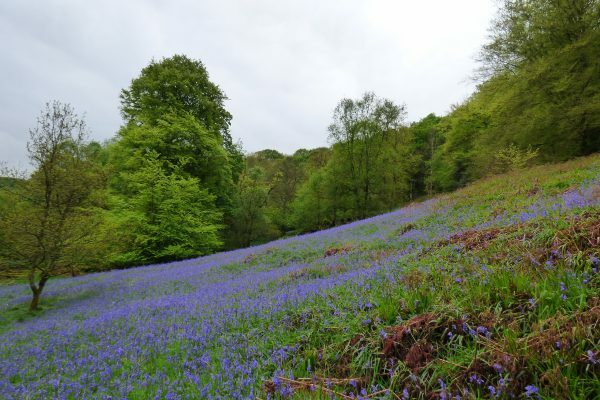 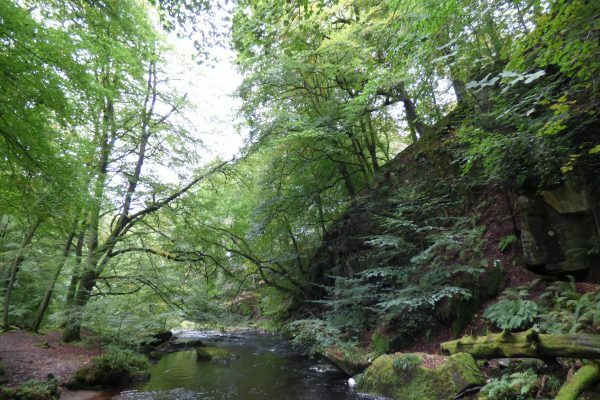 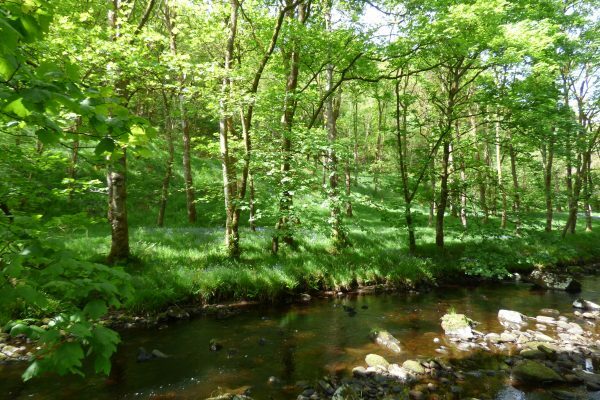 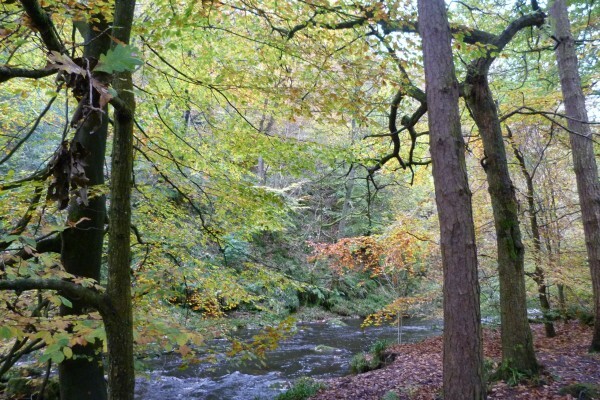 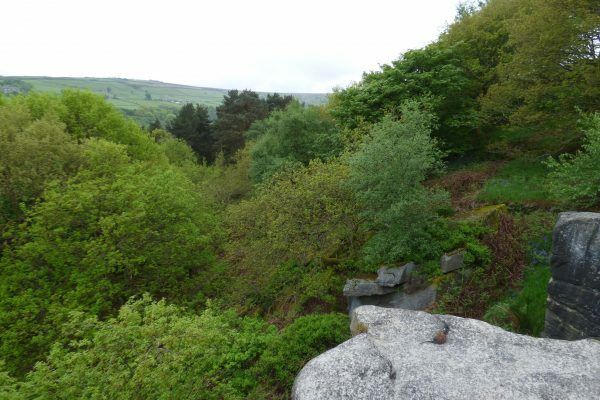 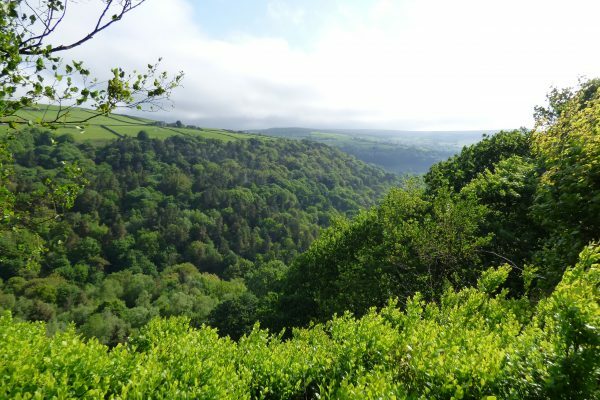 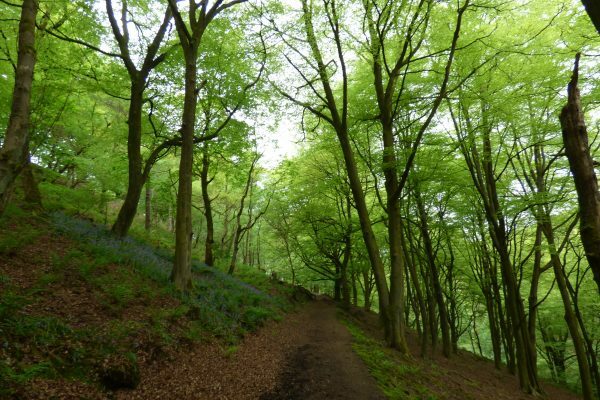 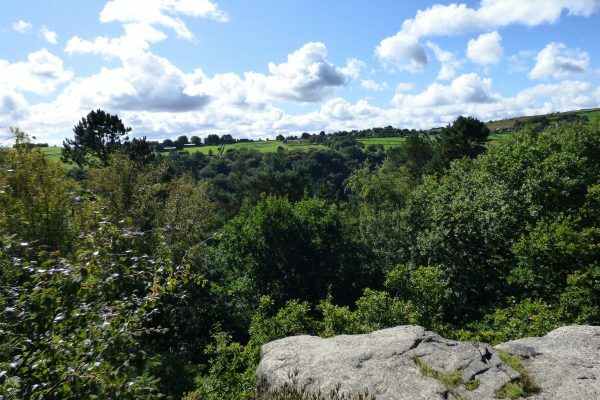 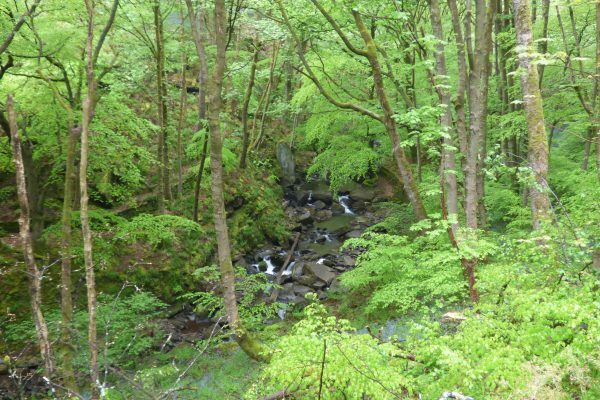 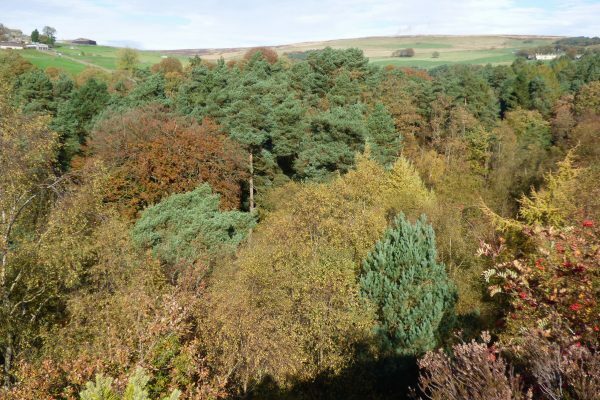 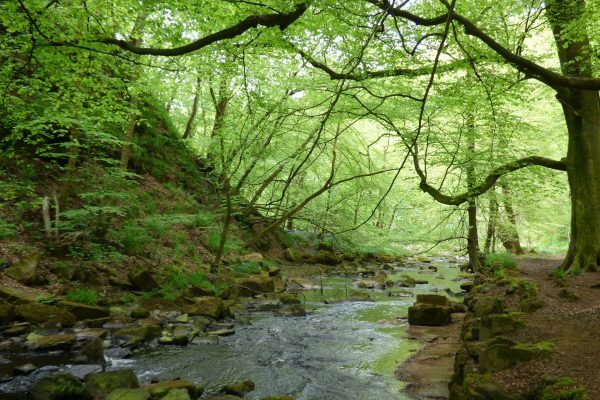 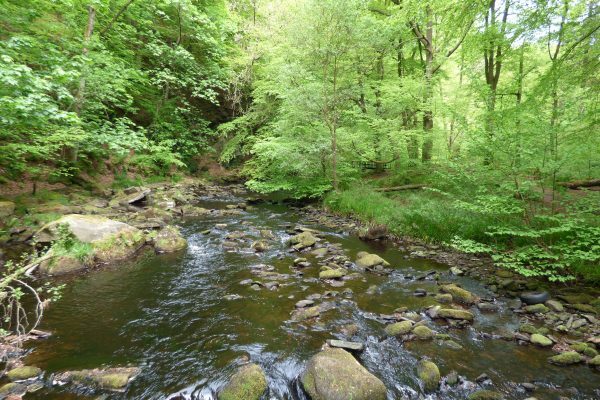 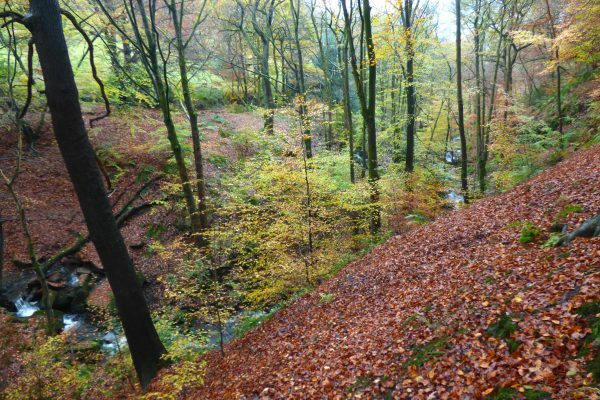 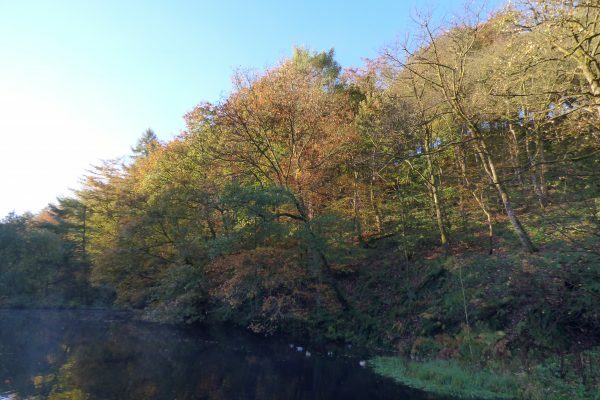 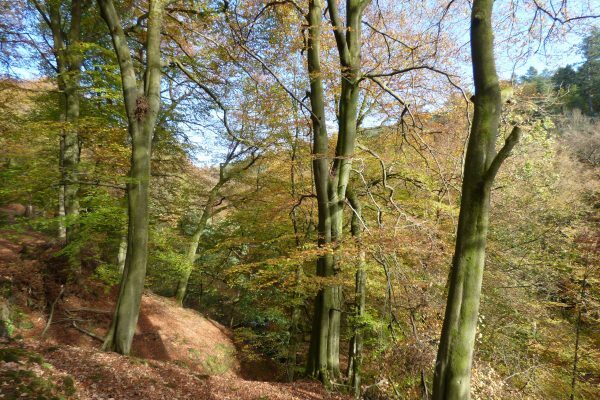 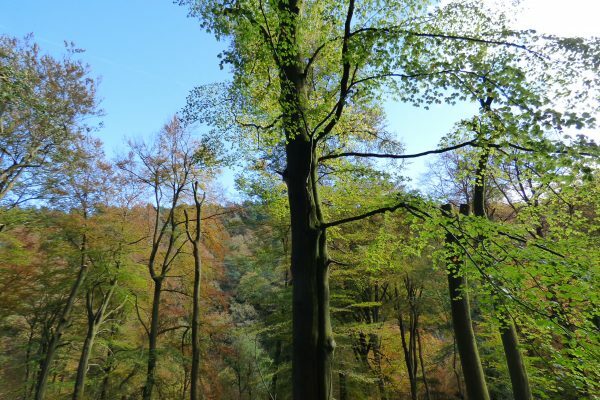 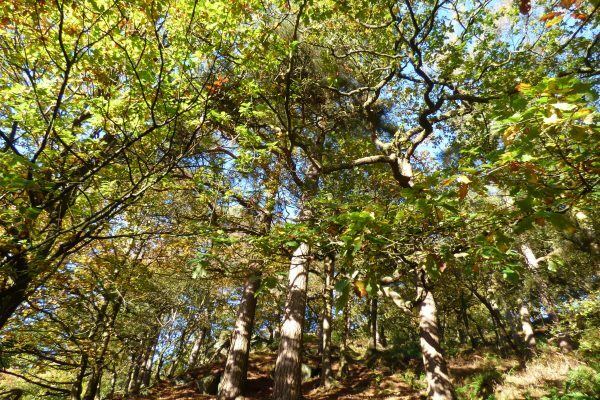 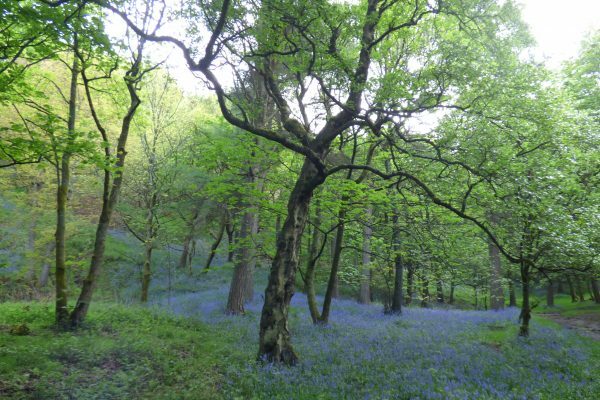 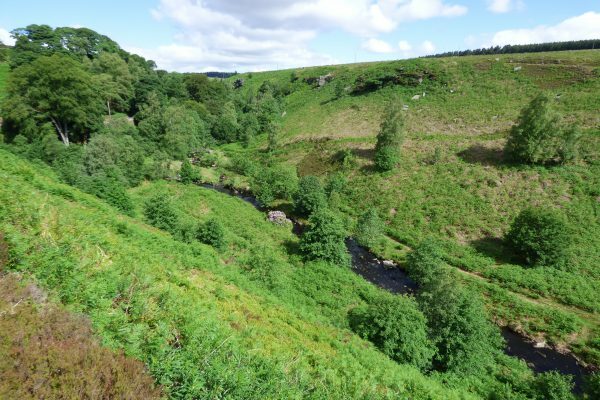 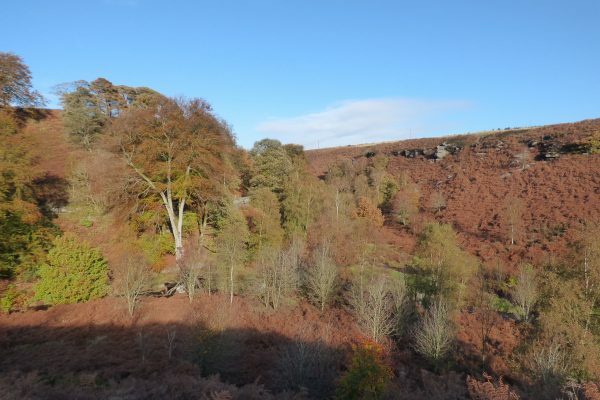 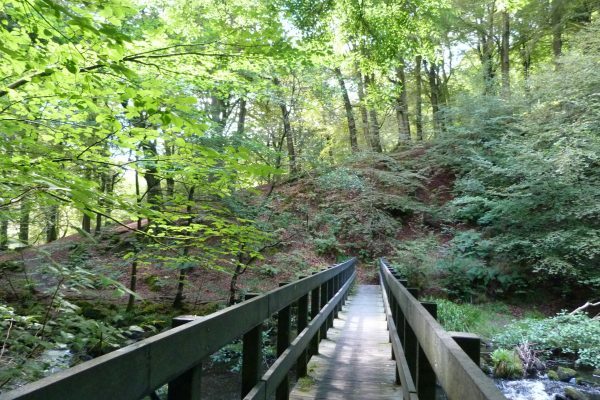 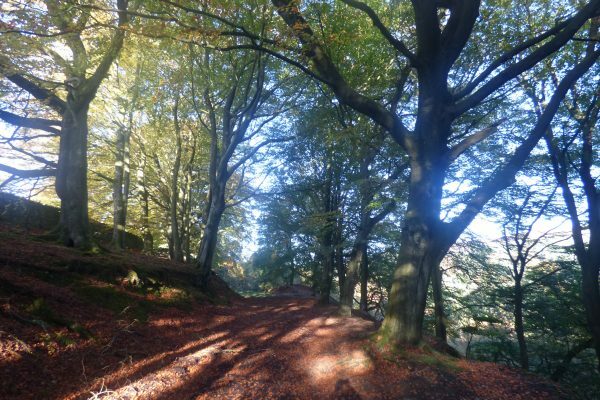 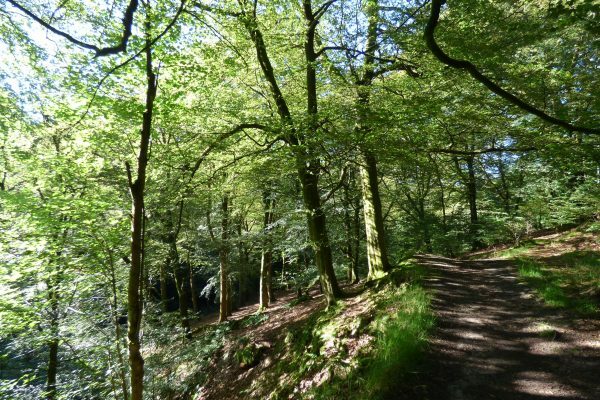 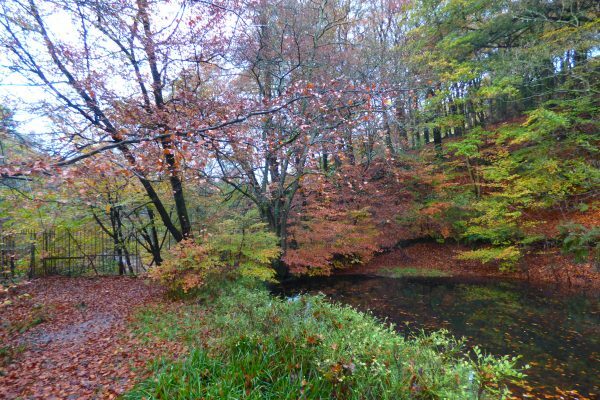 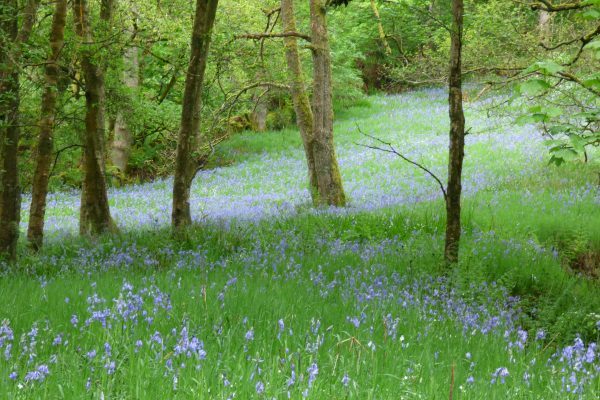 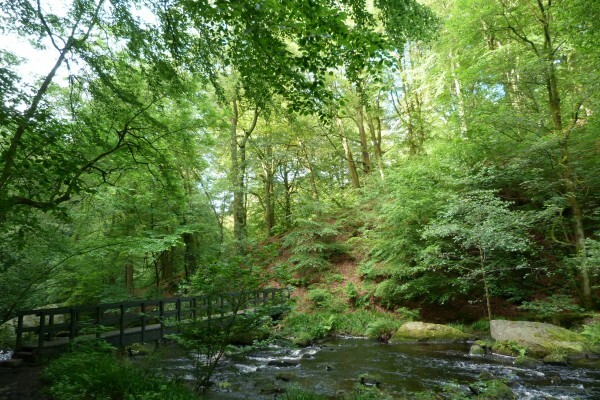 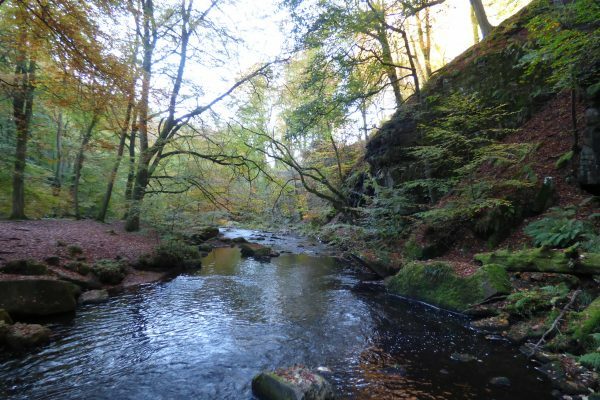 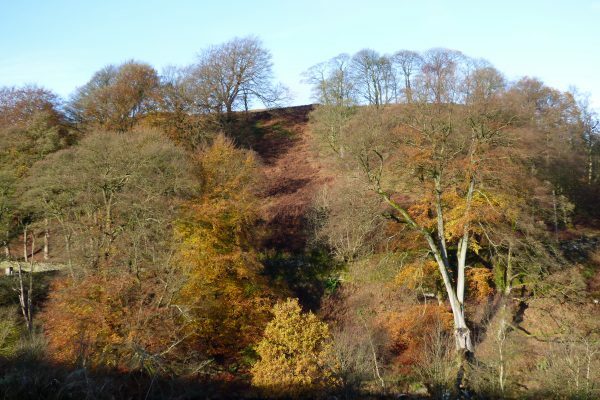 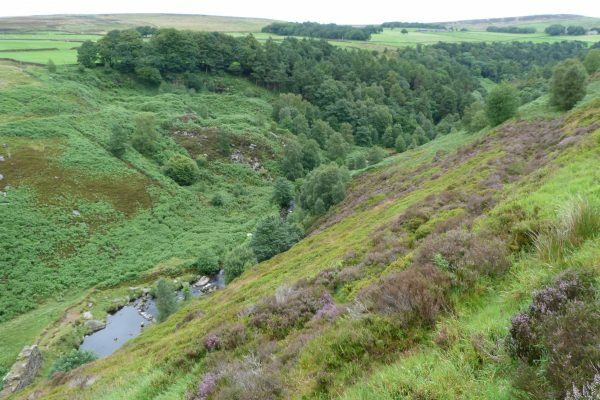 The woodland paradise of Hardcastle Crags – one of the jewels in the National Trust’s crown – is within easy walking distance. 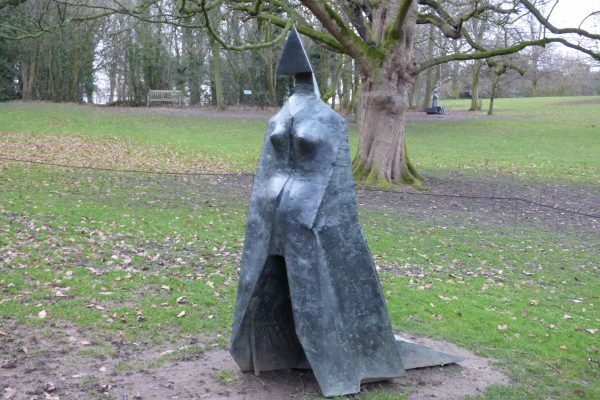 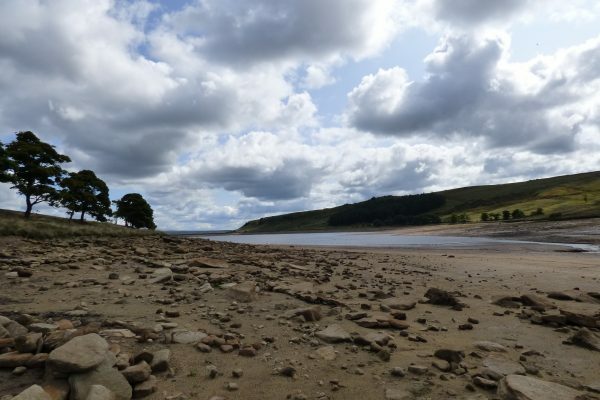 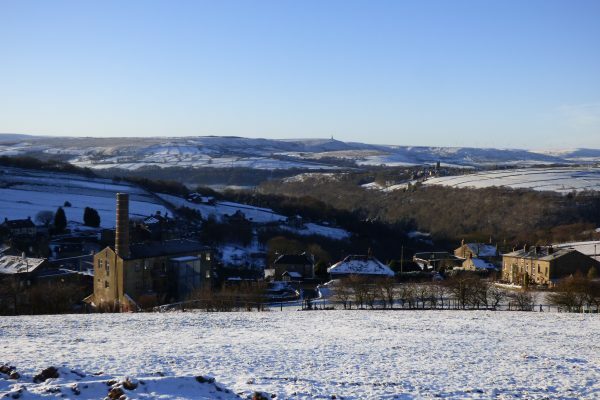 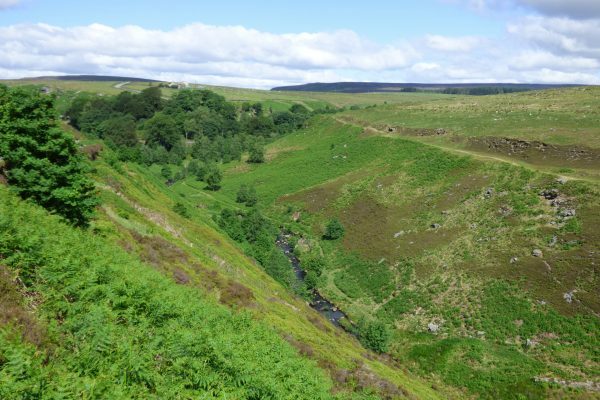 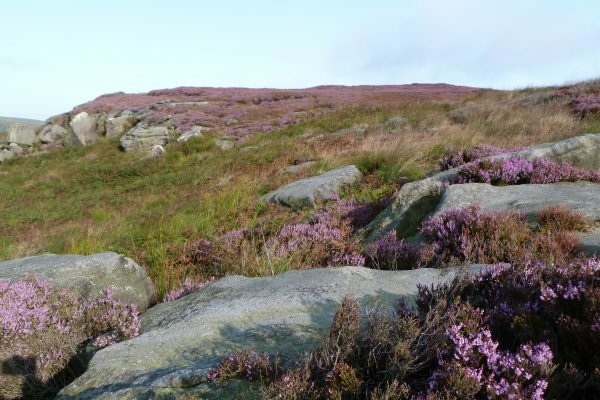 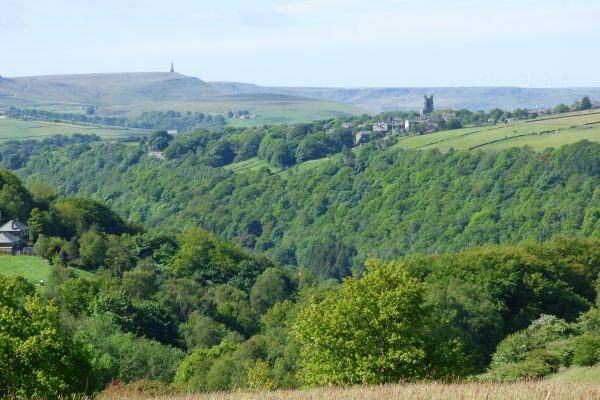 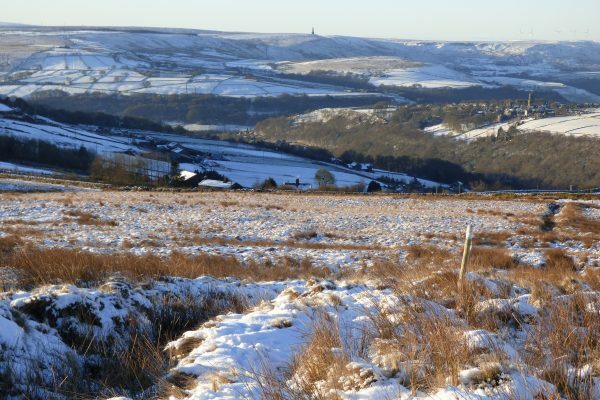 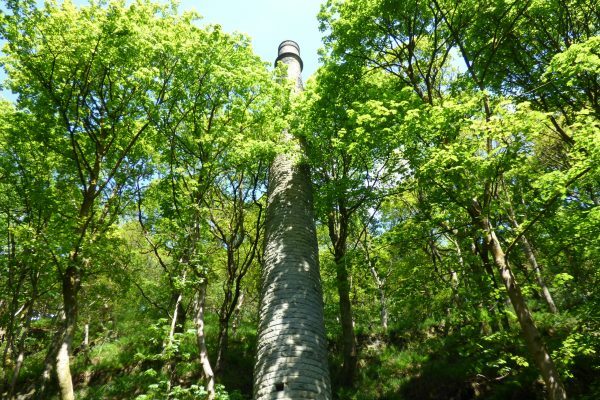 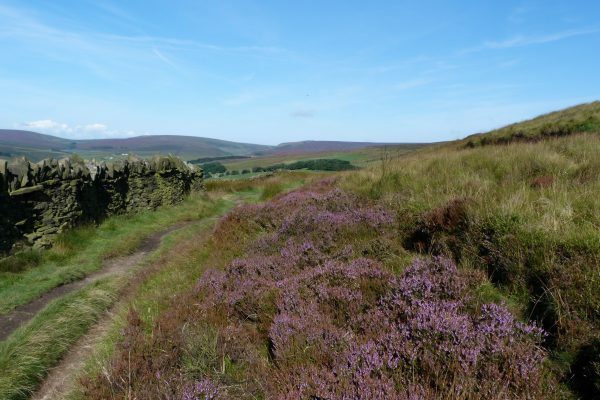 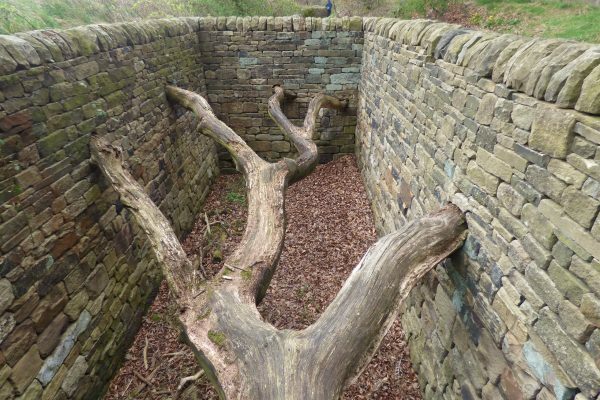 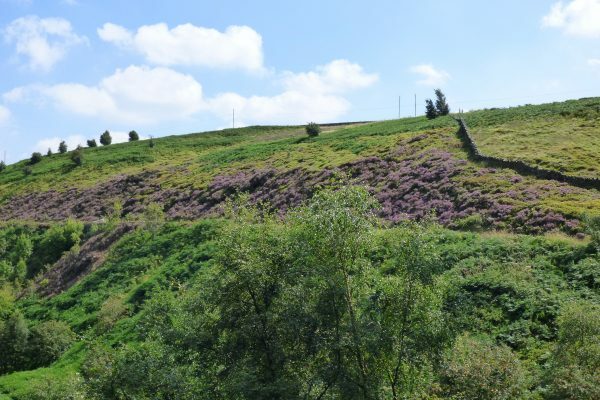 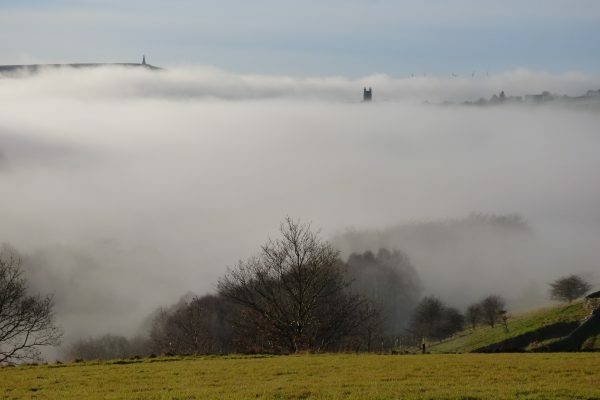 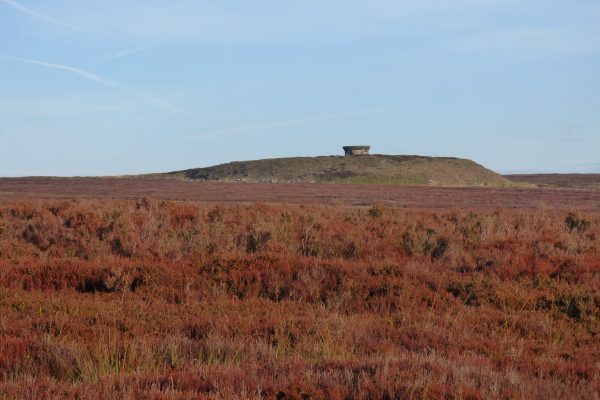 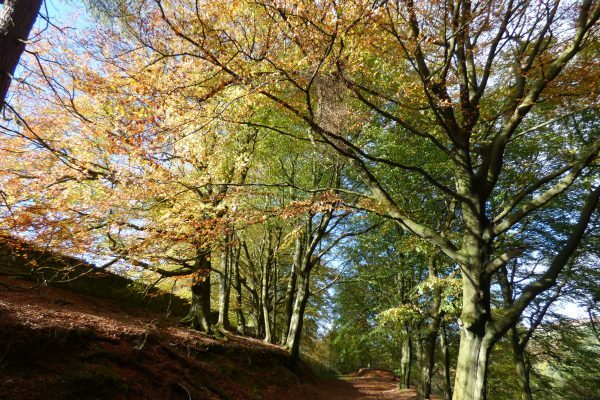 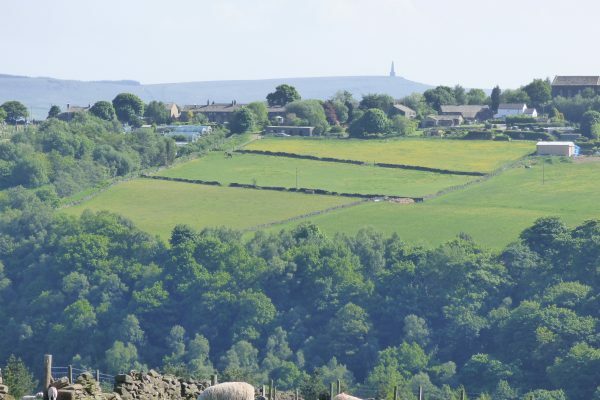 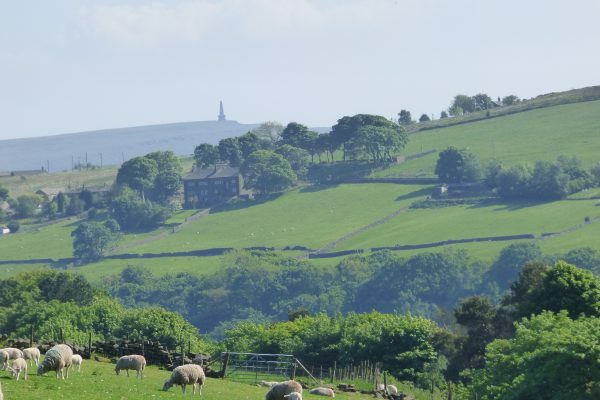 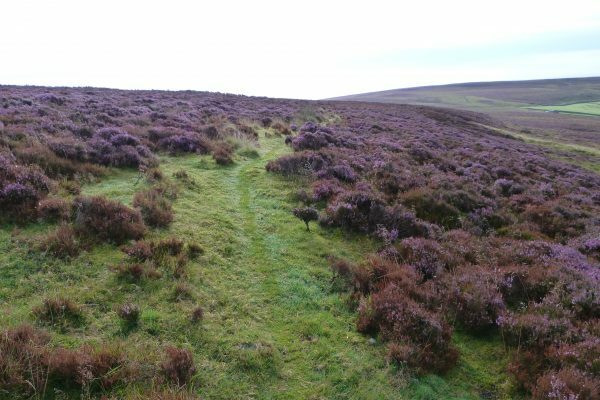 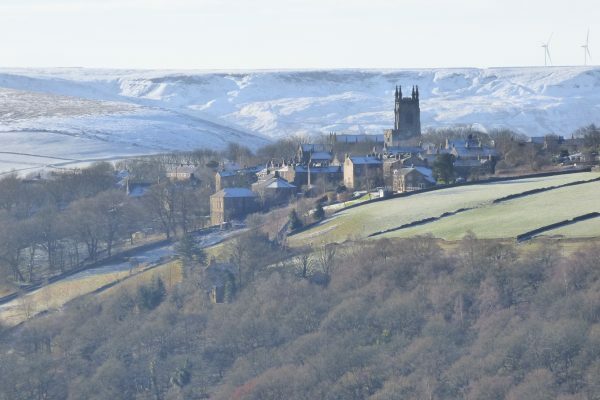 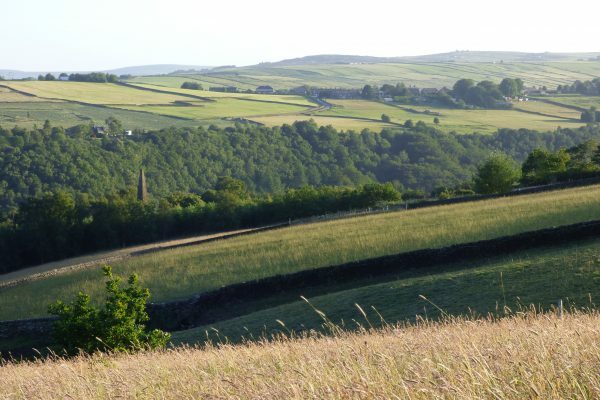 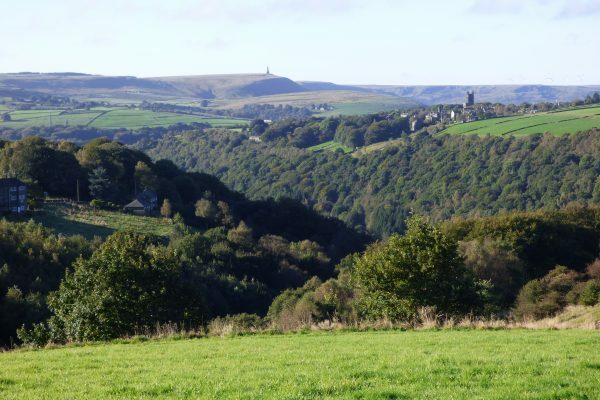 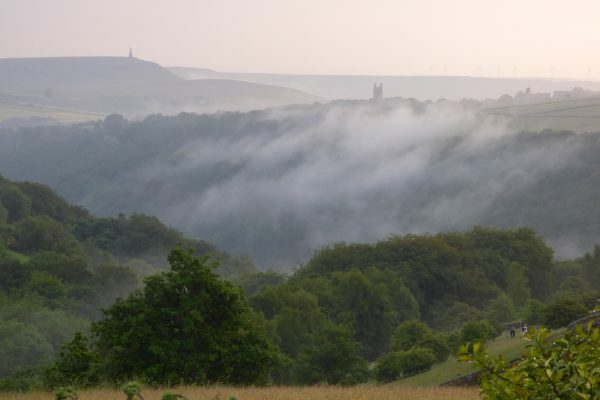 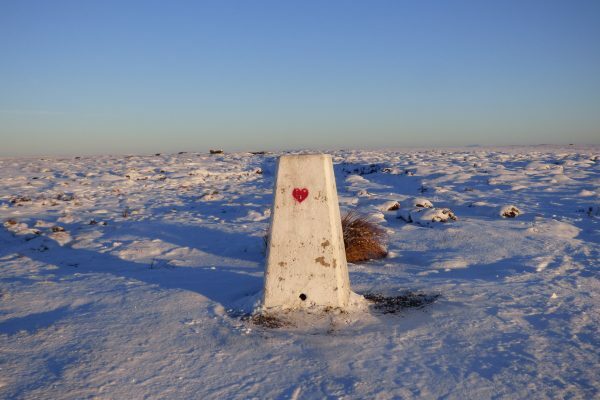 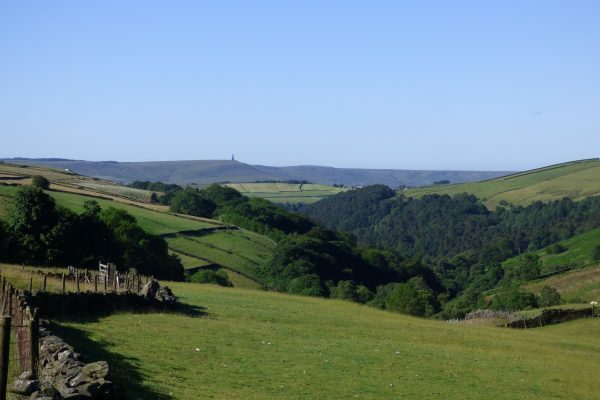 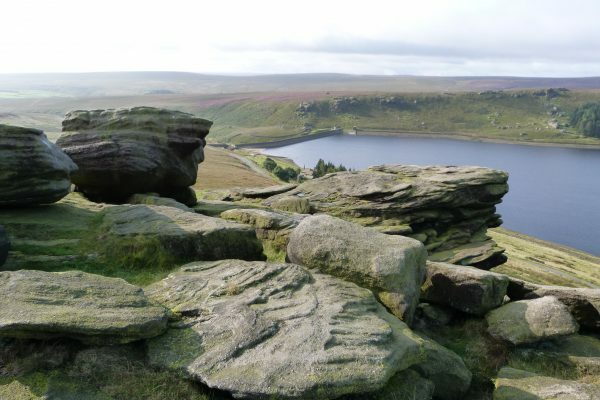 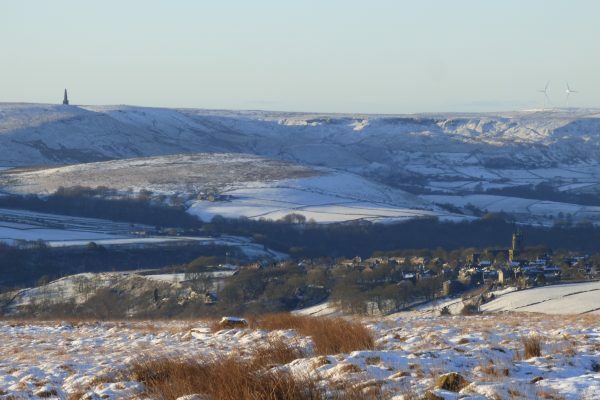 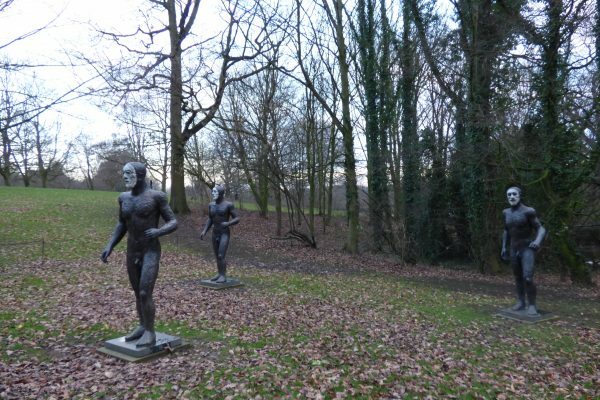 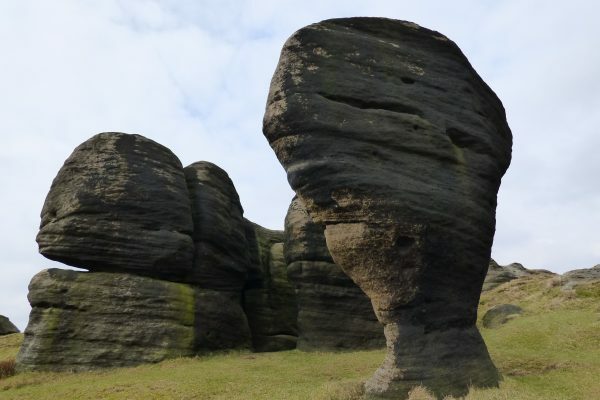 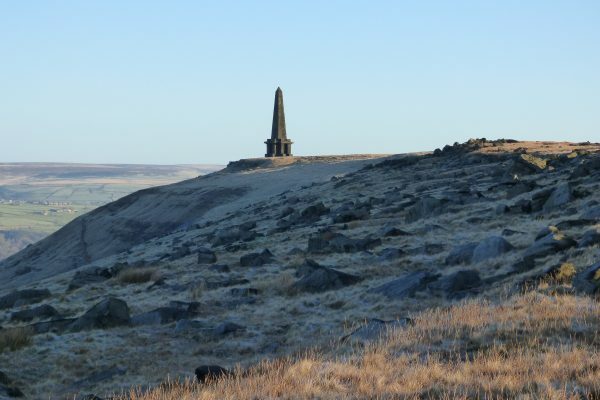 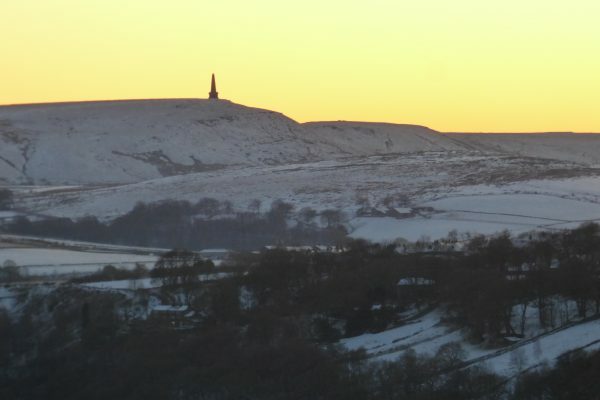 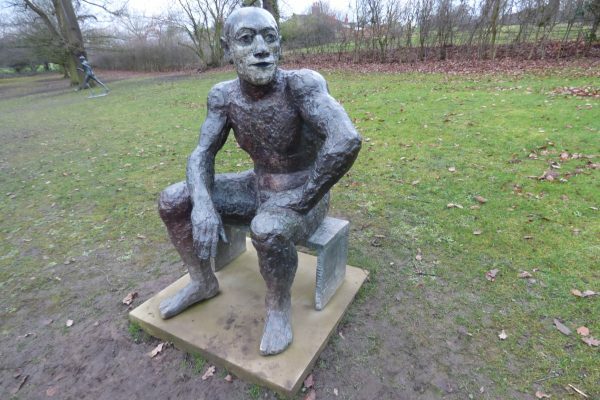 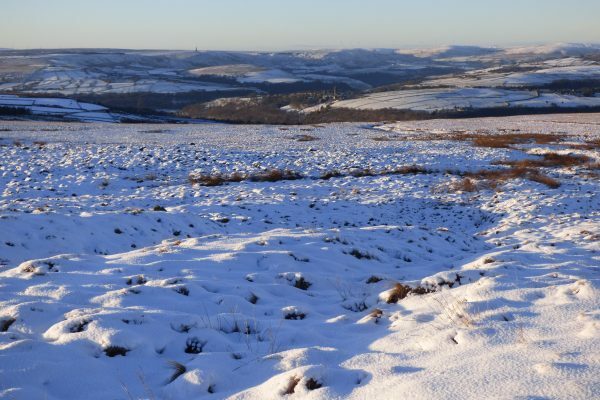 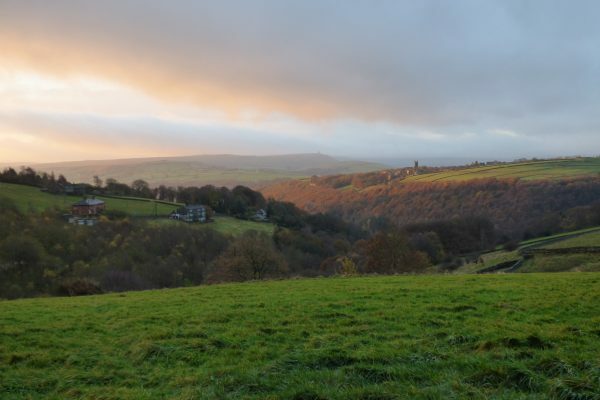 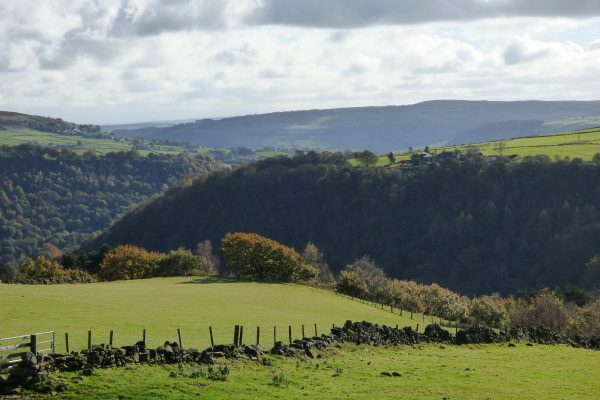 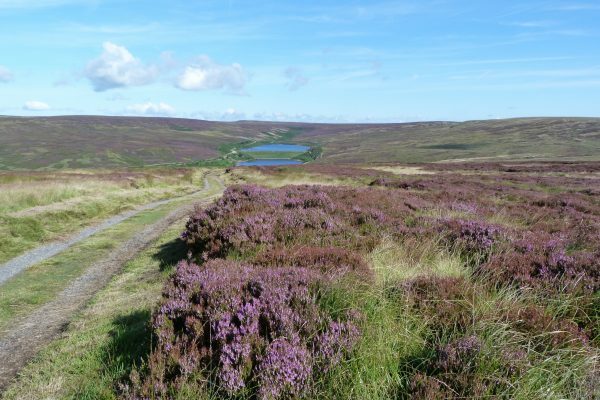 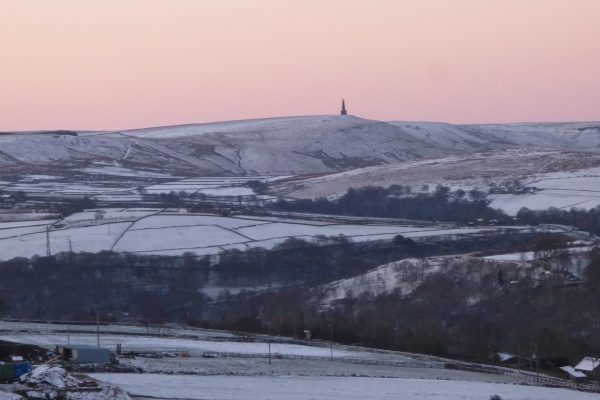 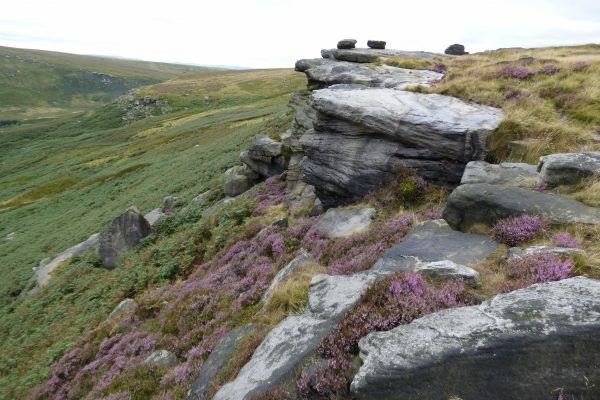 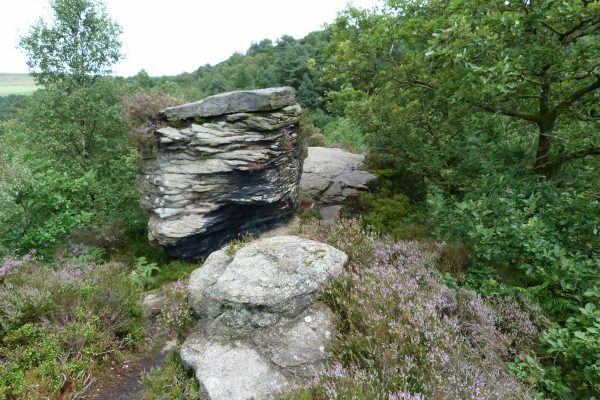 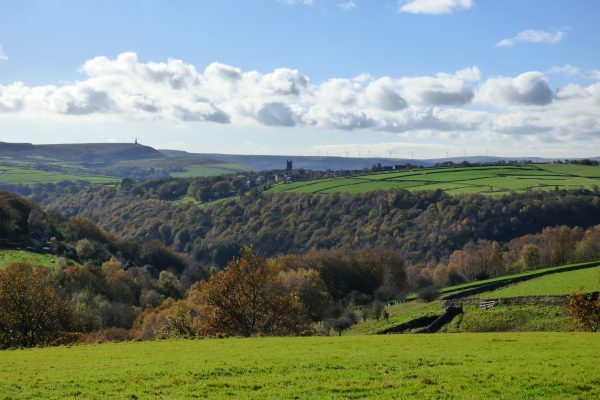 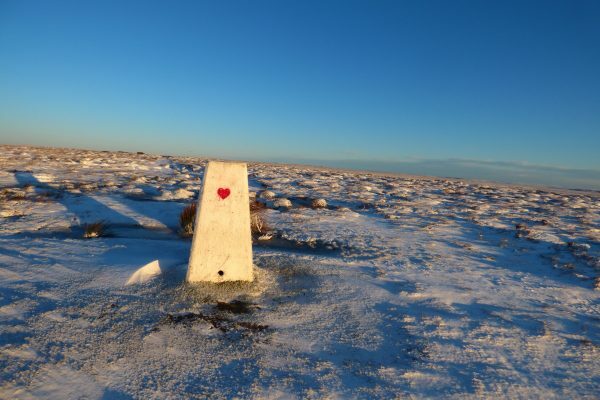 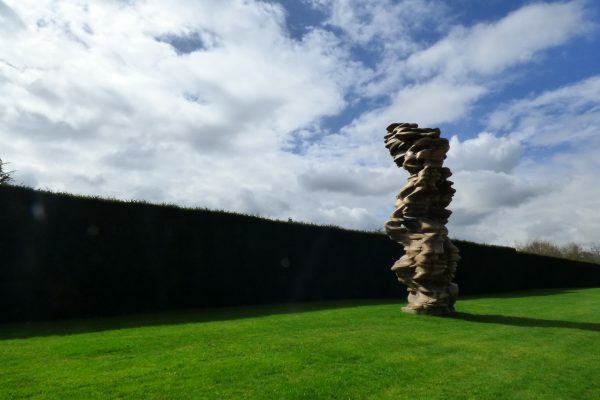 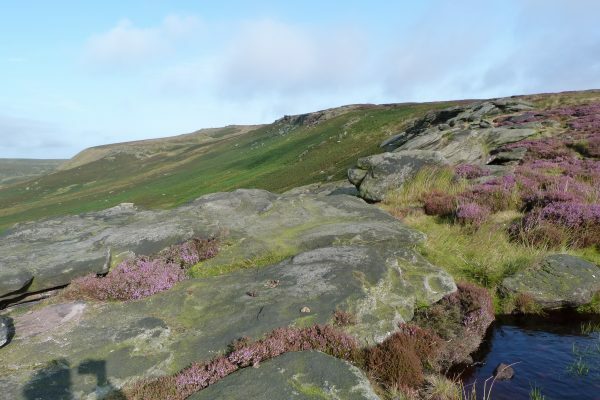 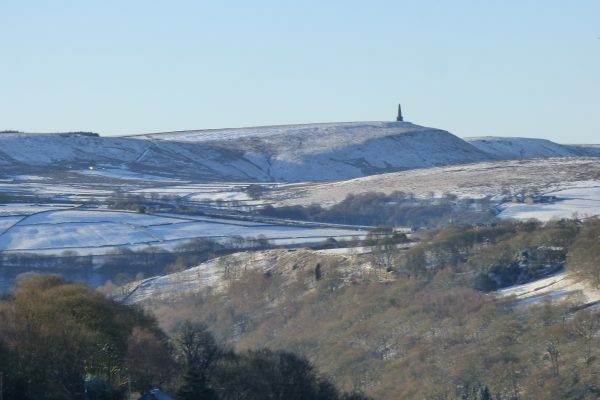 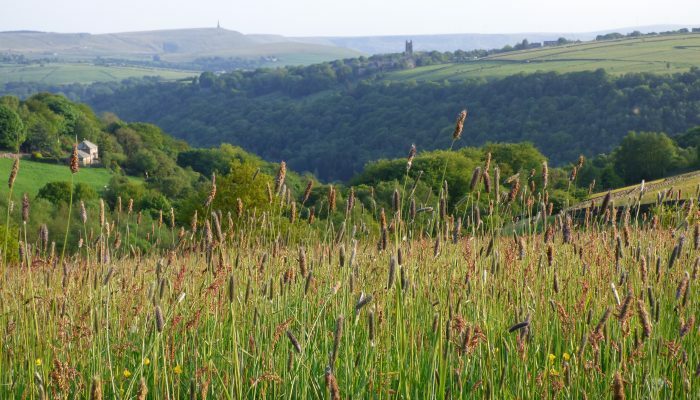 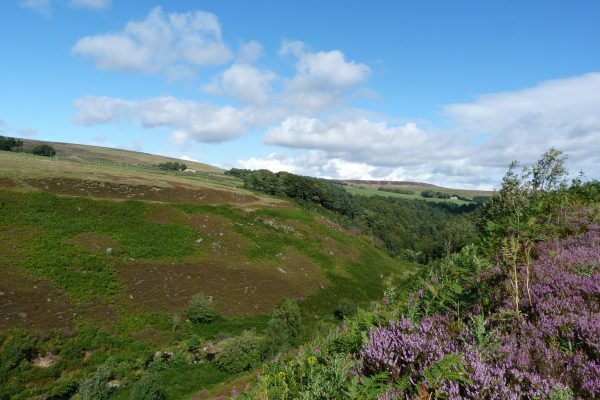 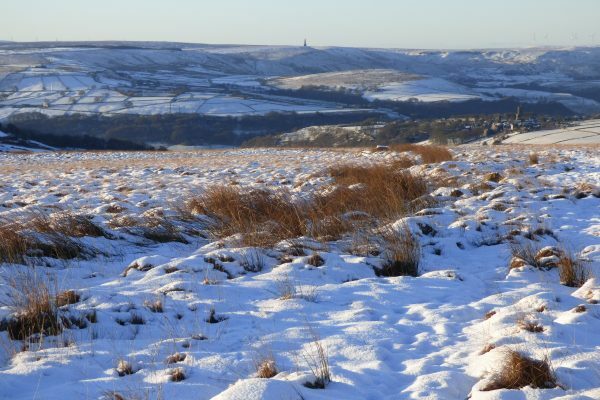 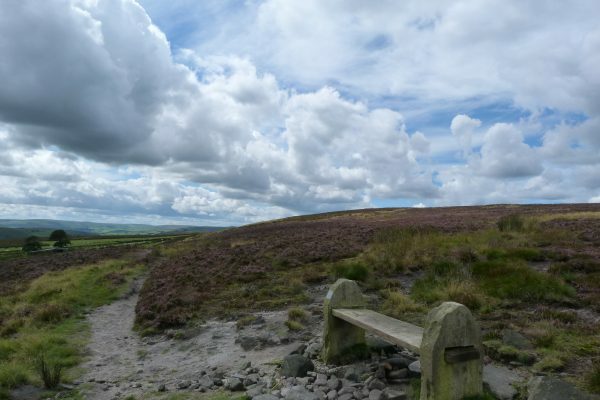 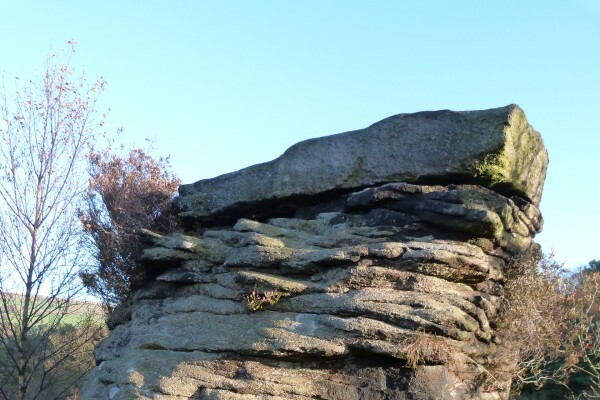 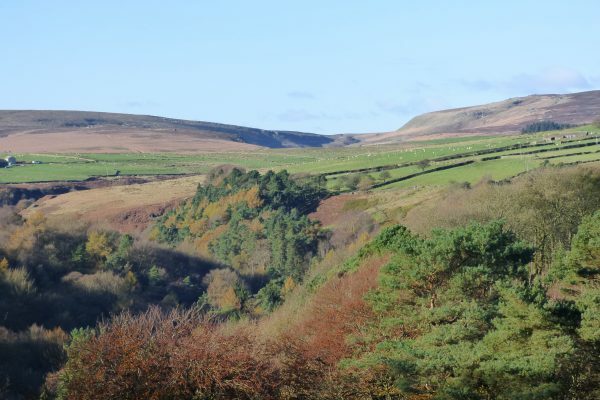 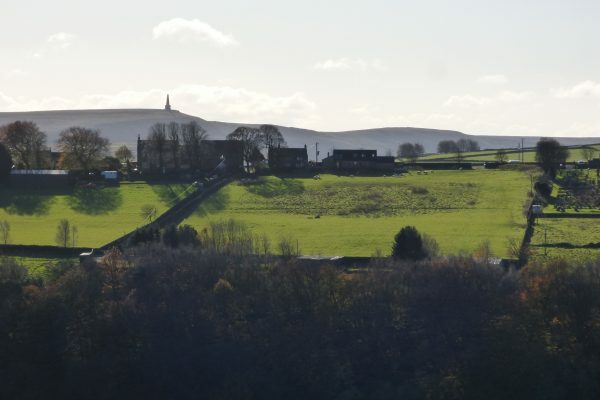 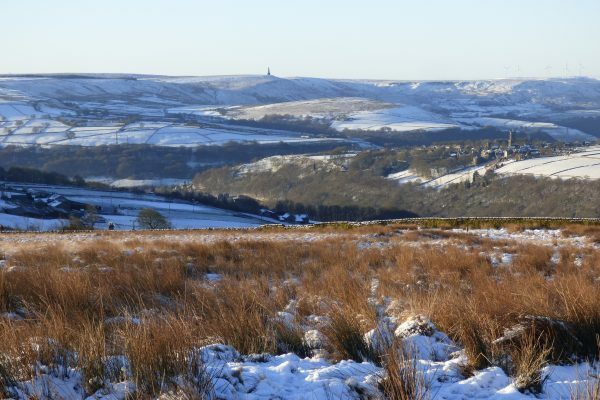 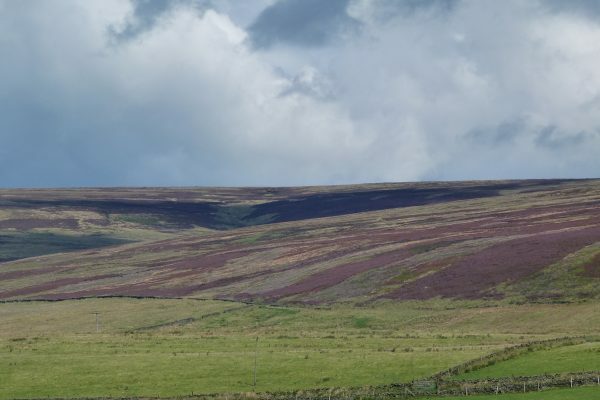 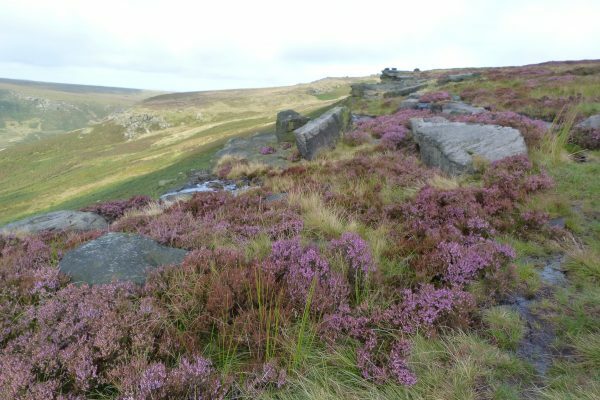 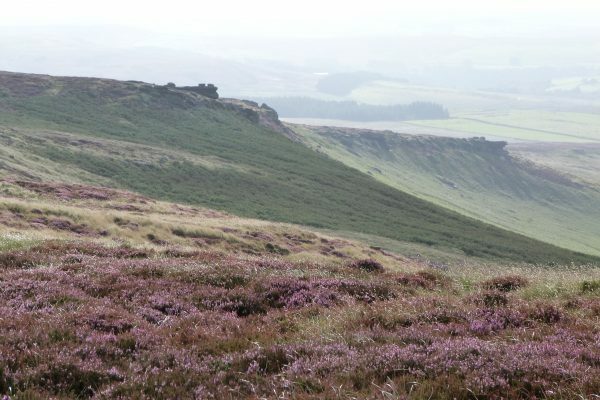 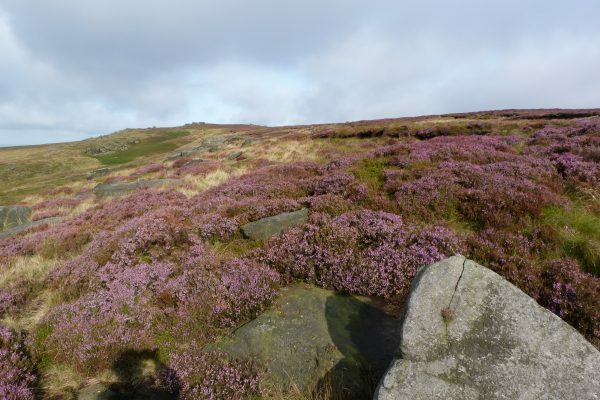 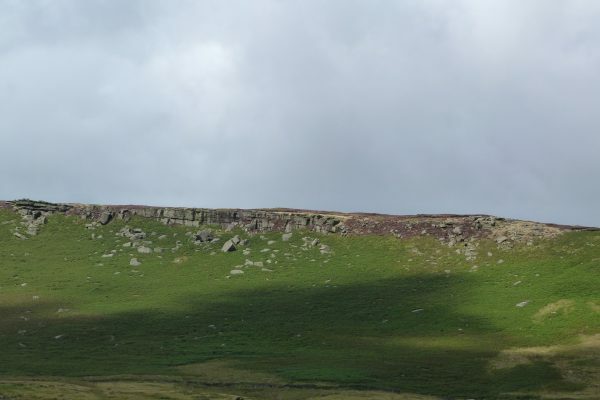 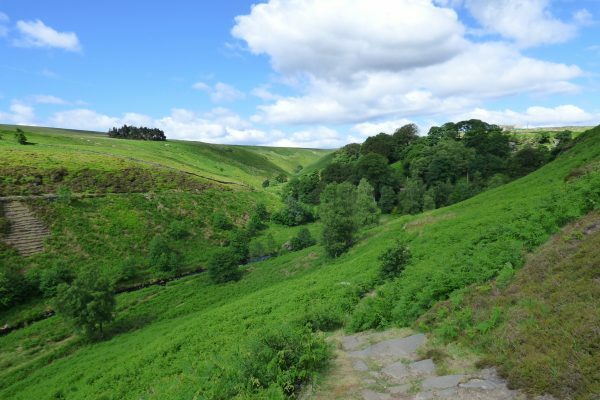 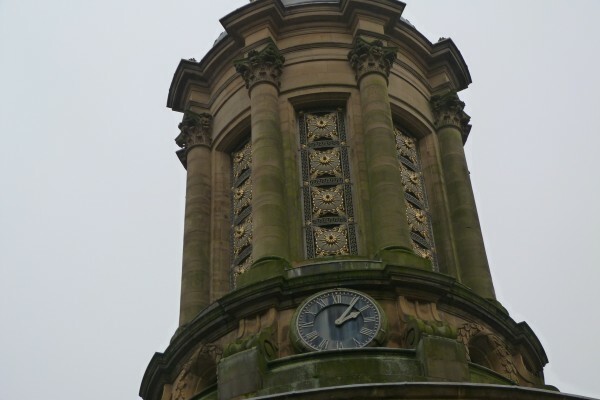 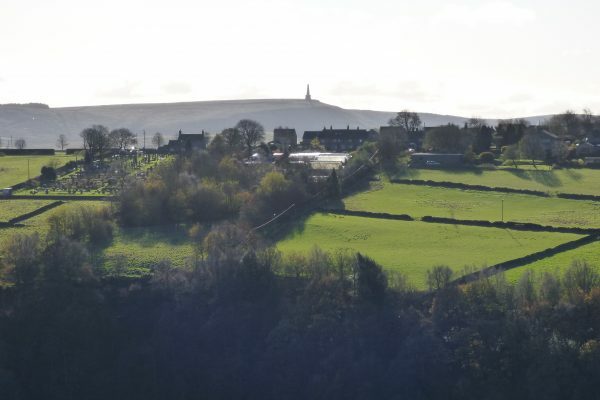 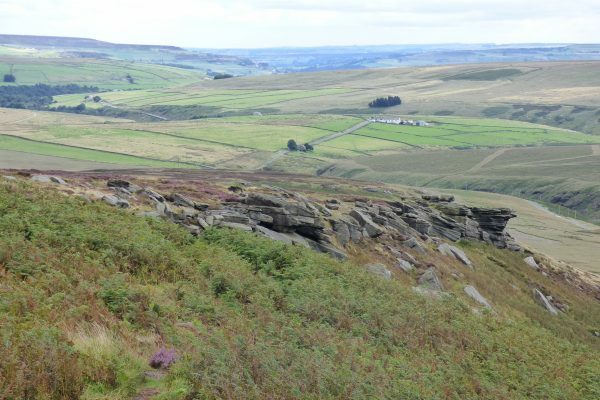 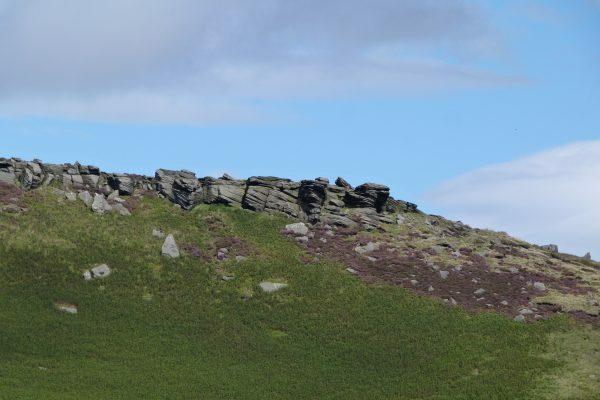 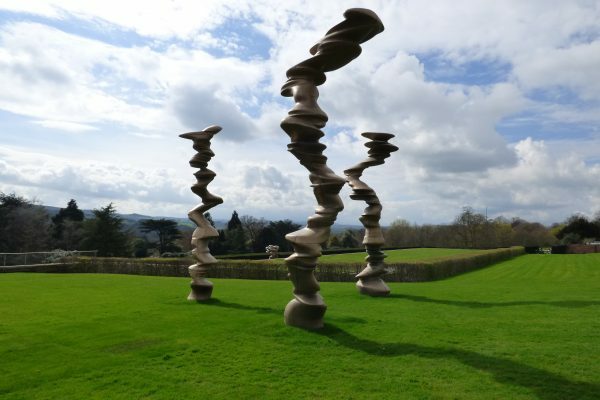 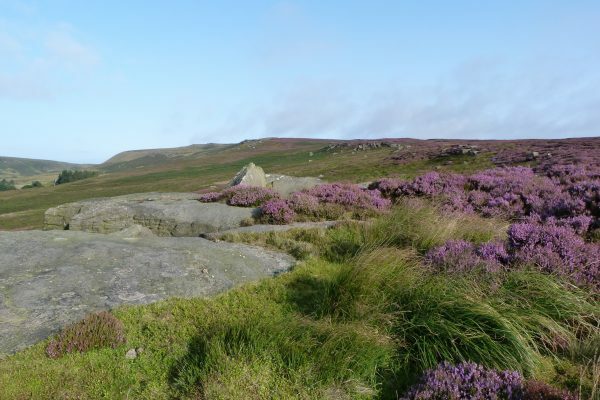 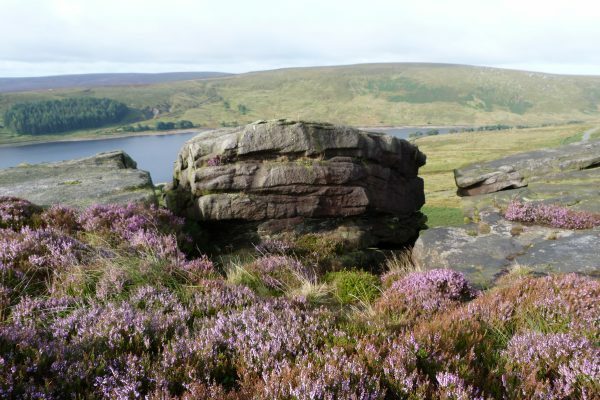 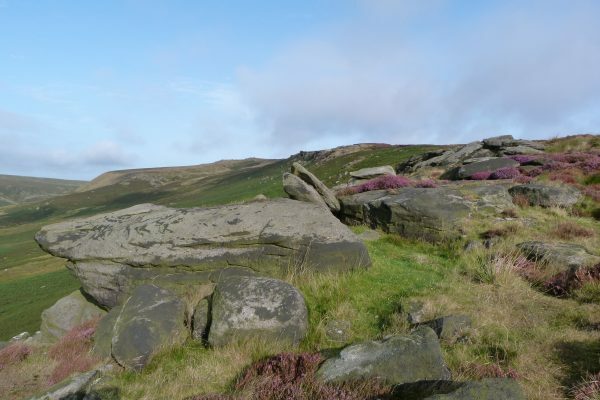 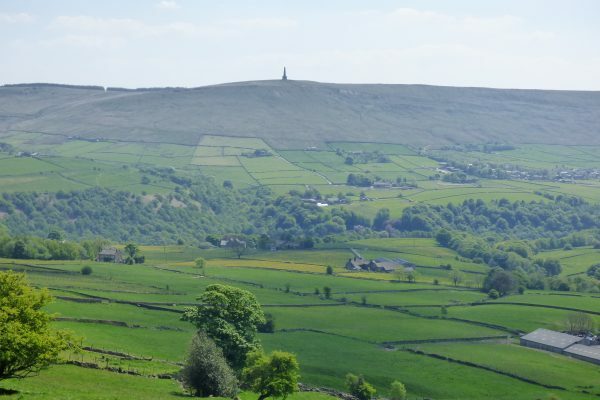 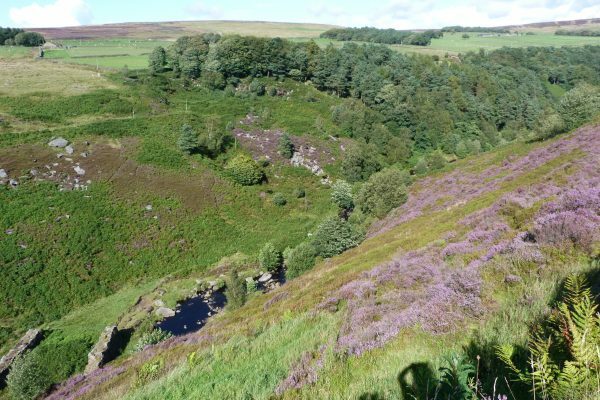 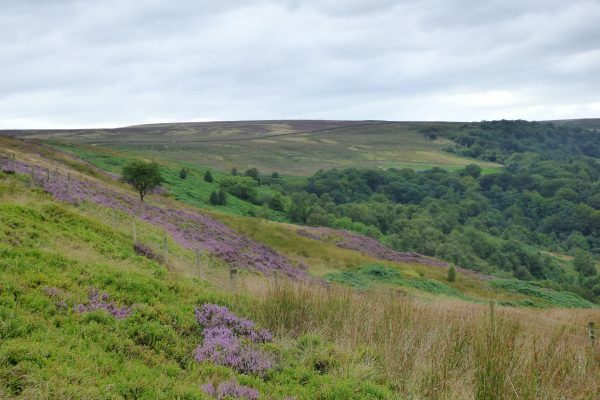 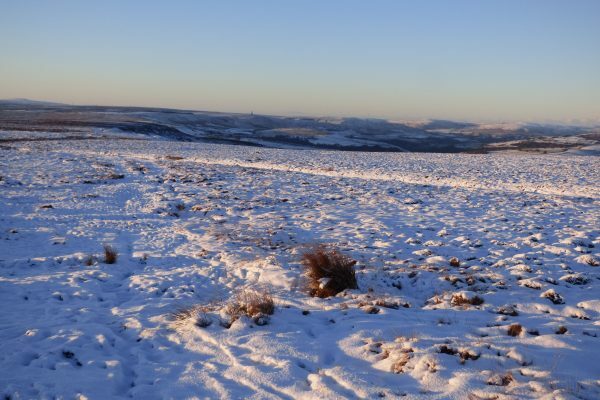 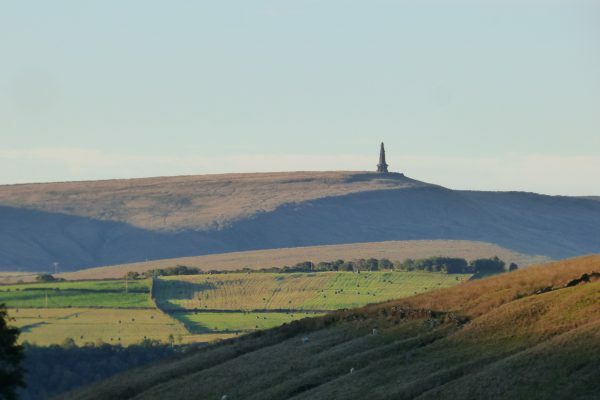 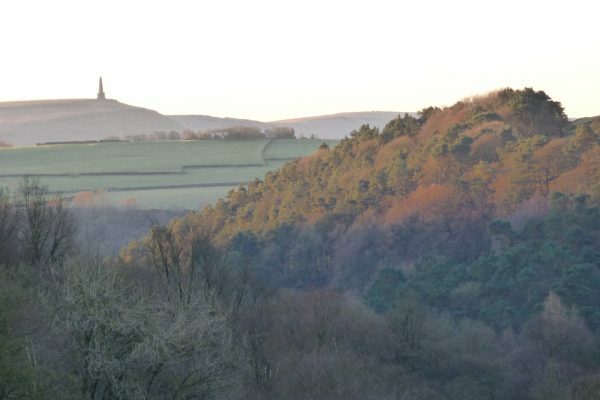 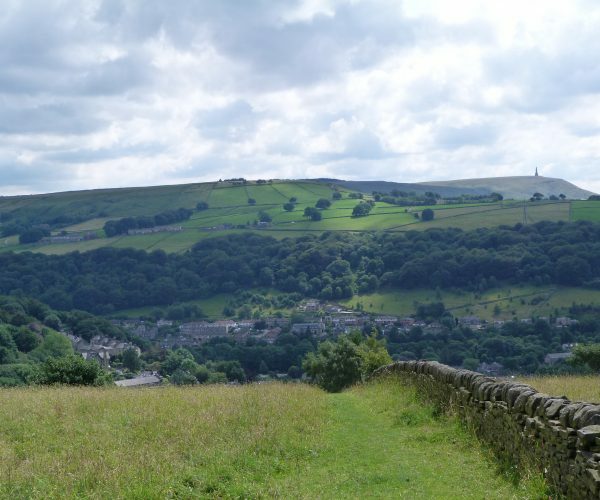 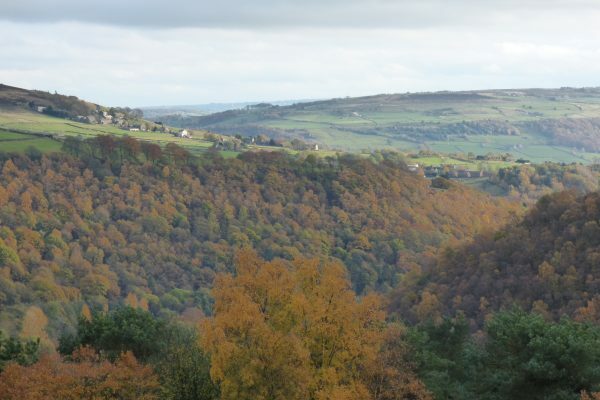 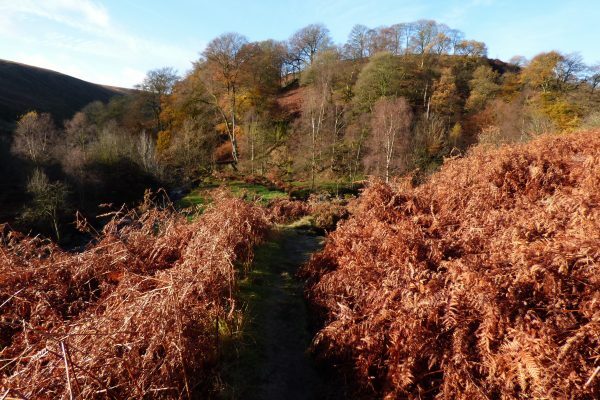 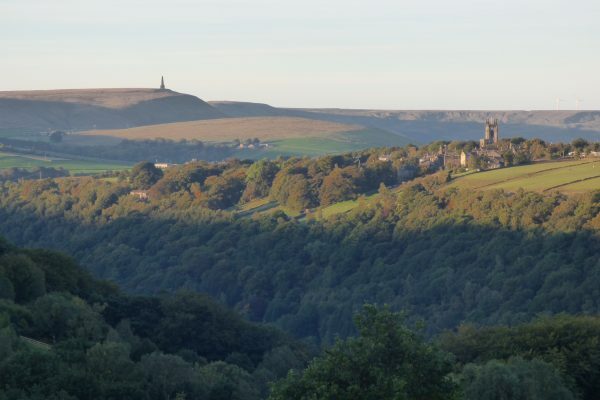 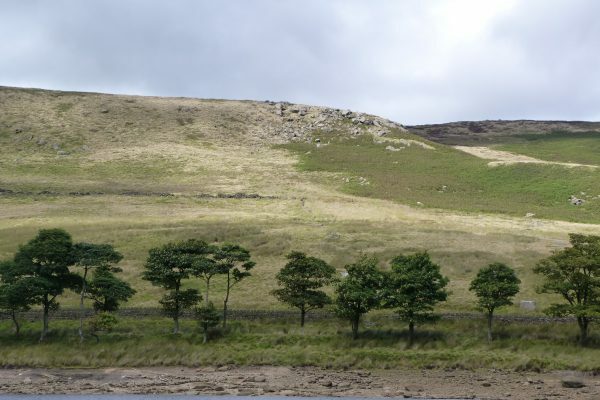 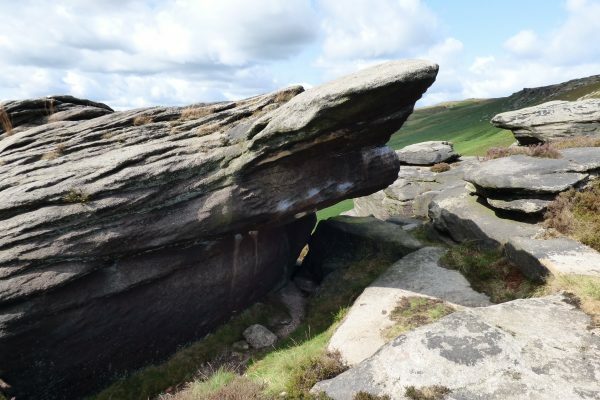 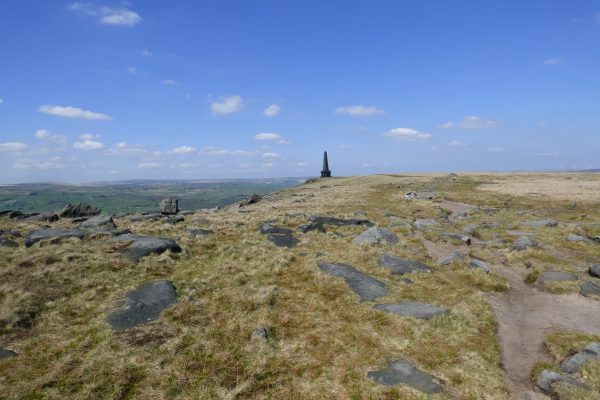 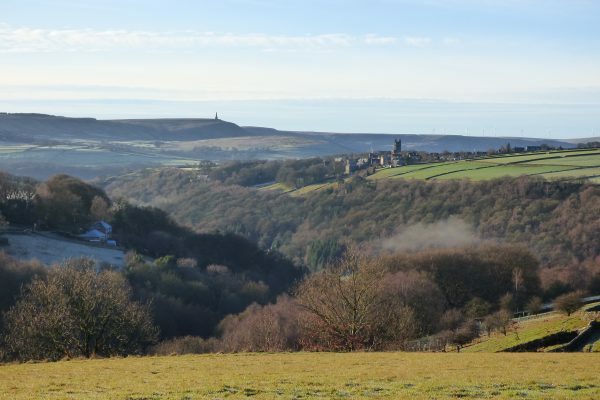 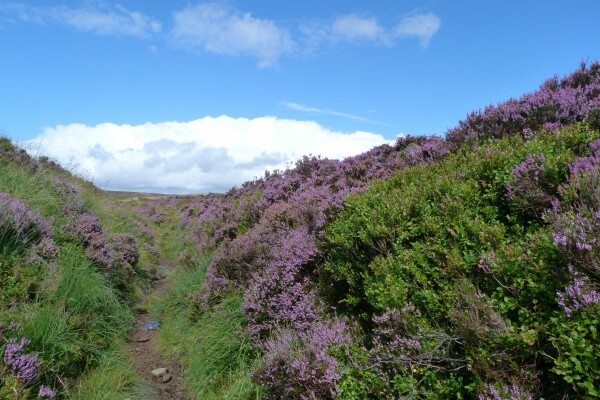 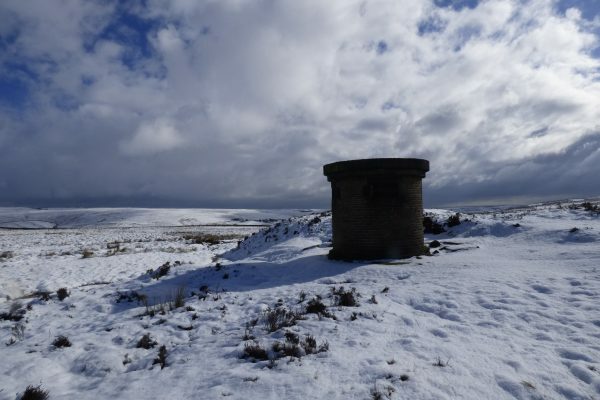 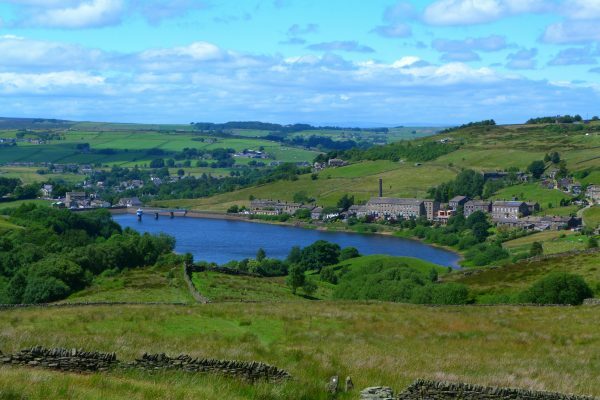 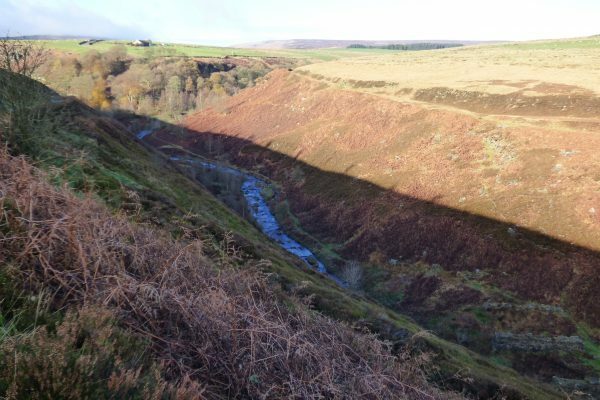 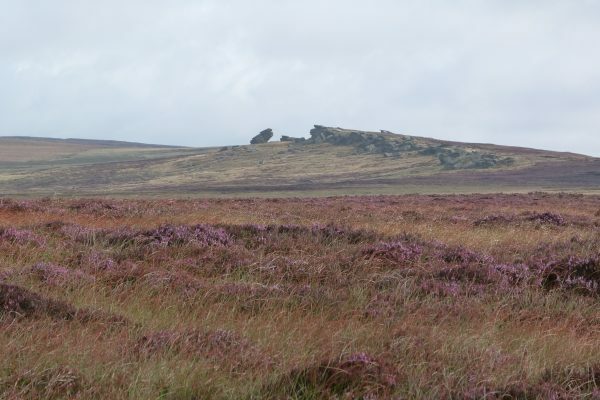 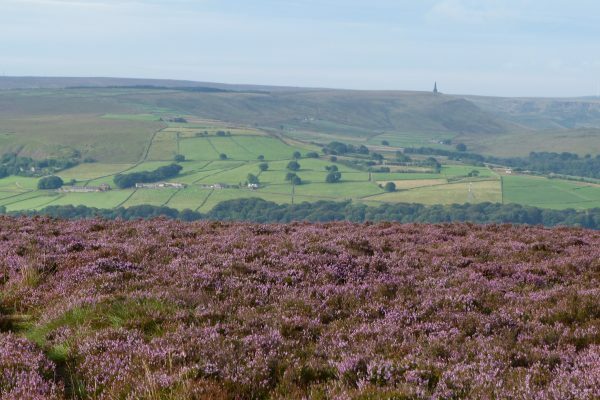 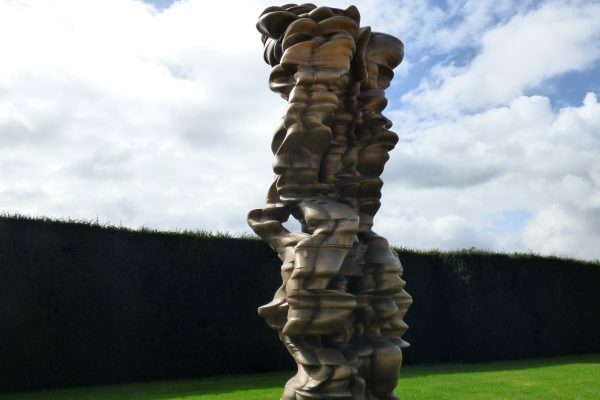 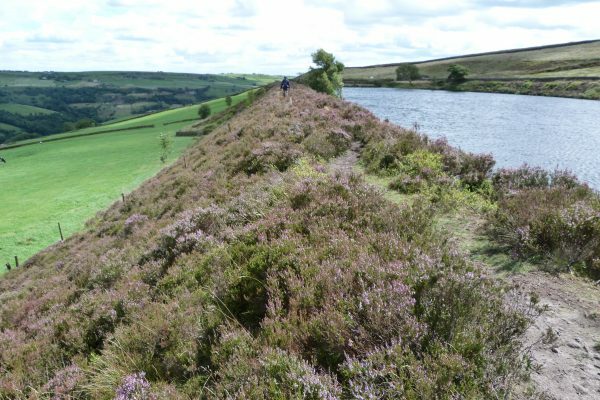 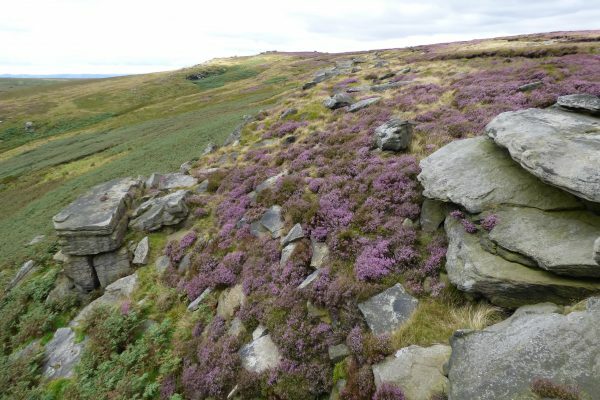 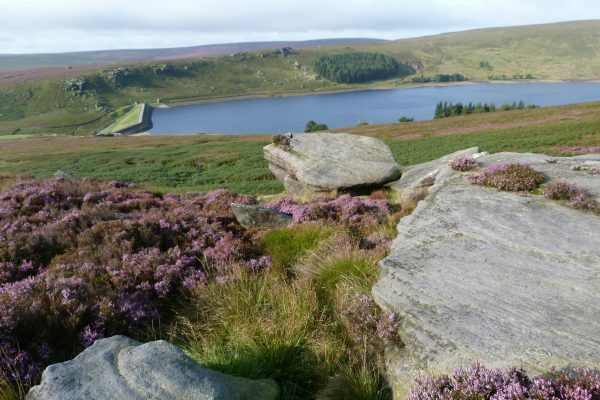 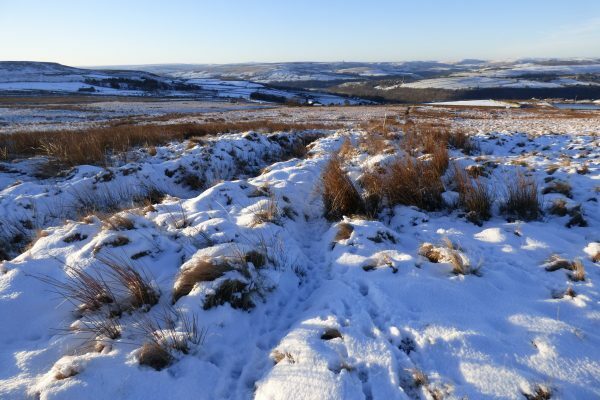 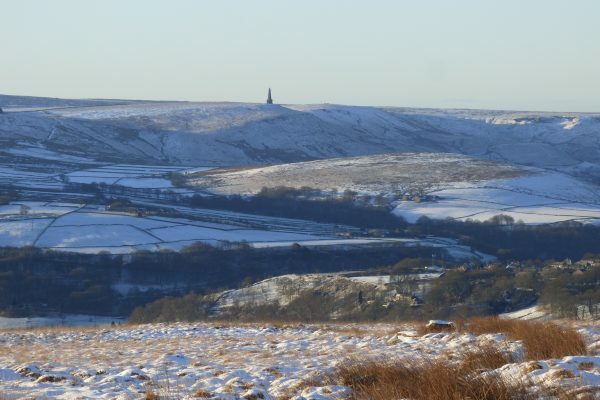 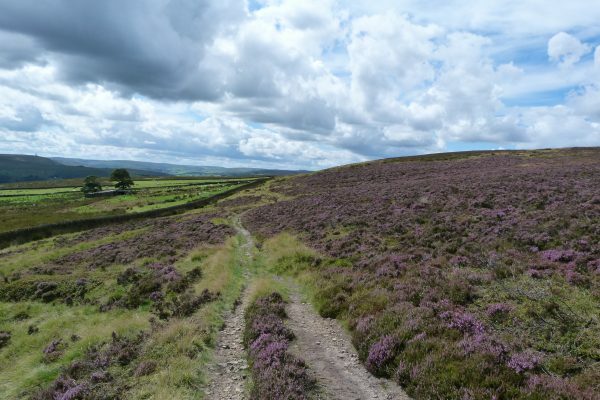 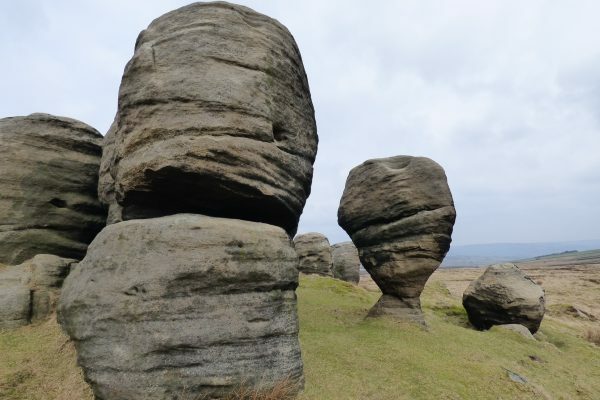 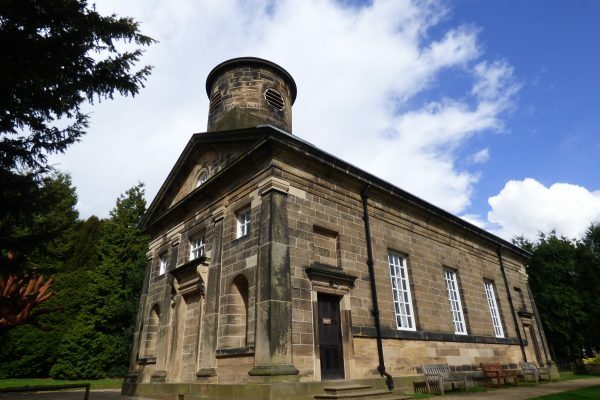 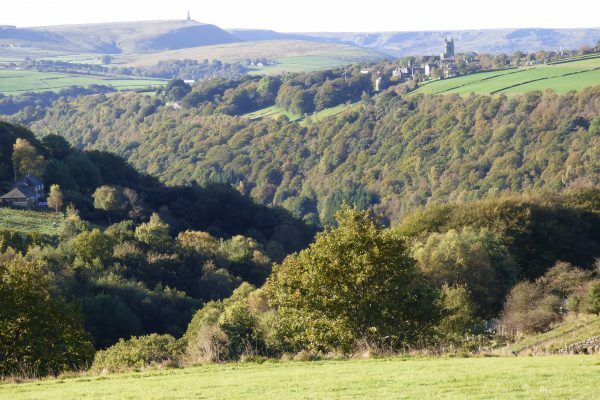 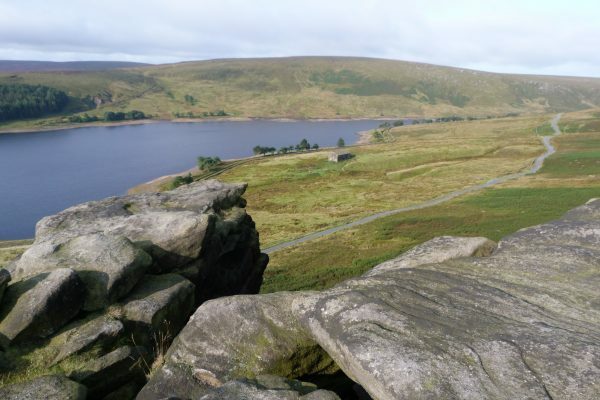 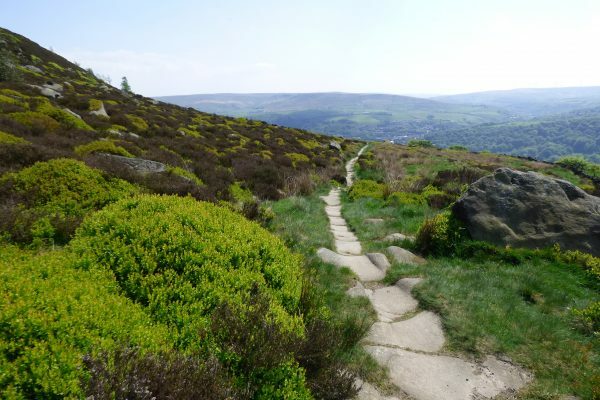 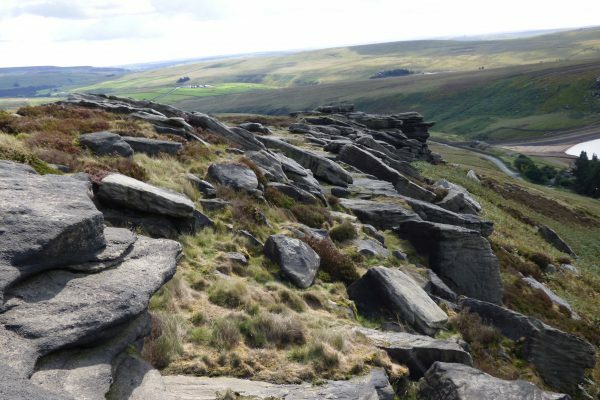 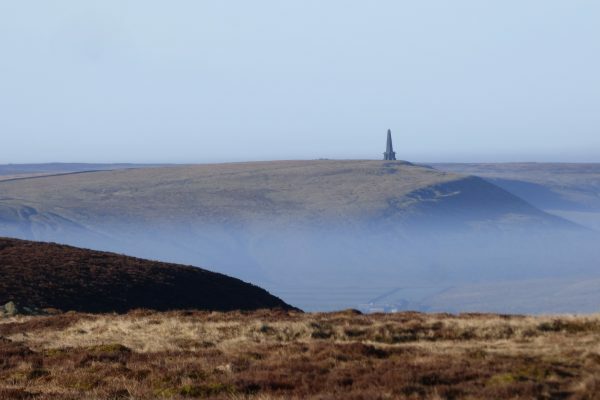 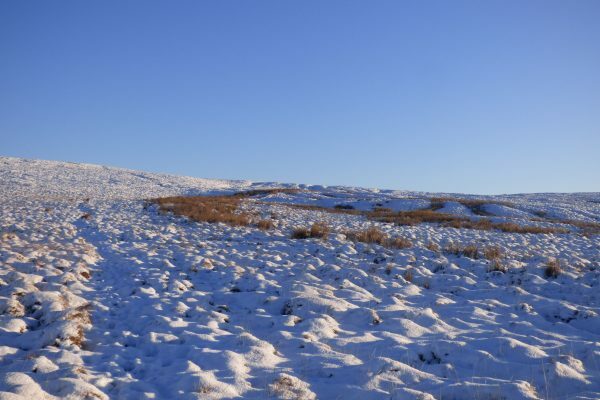 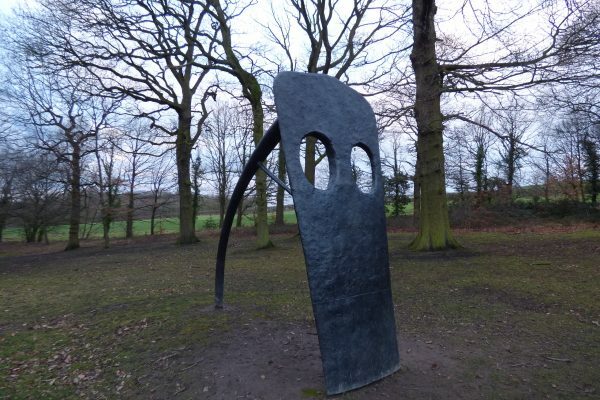 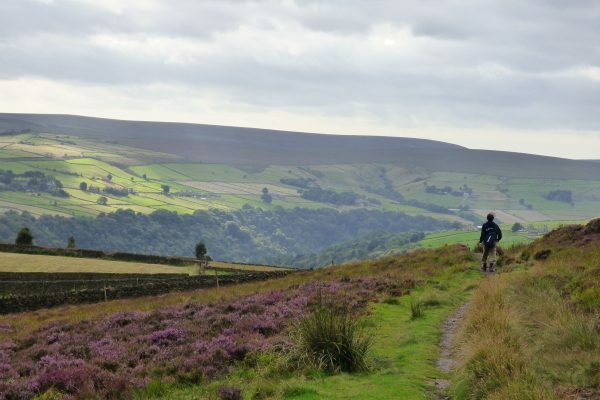 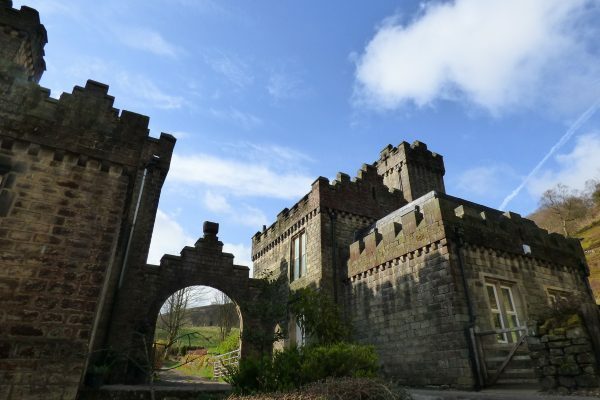 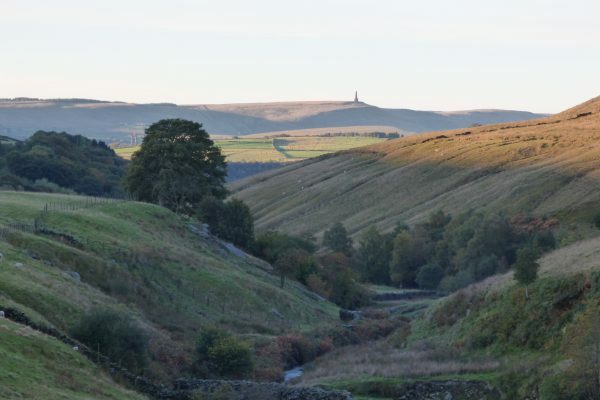 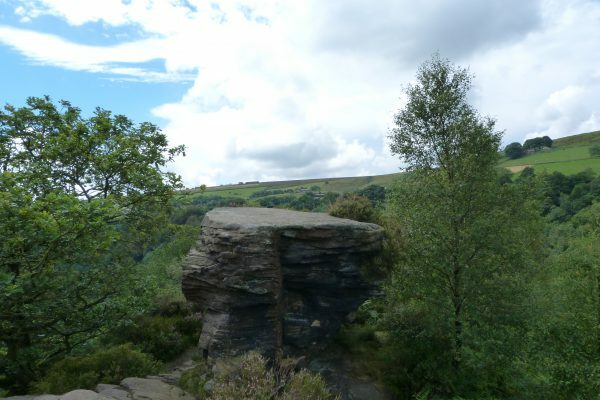 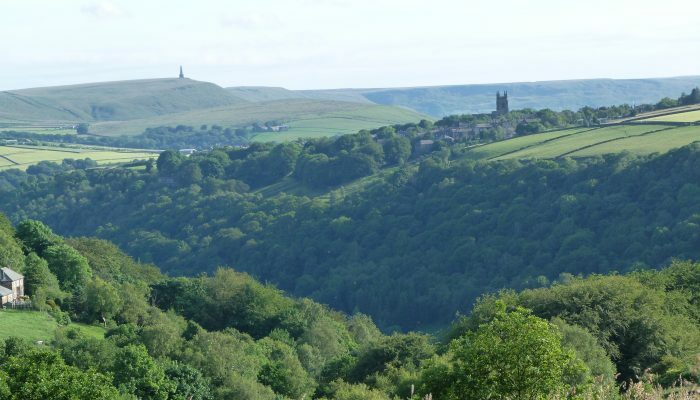 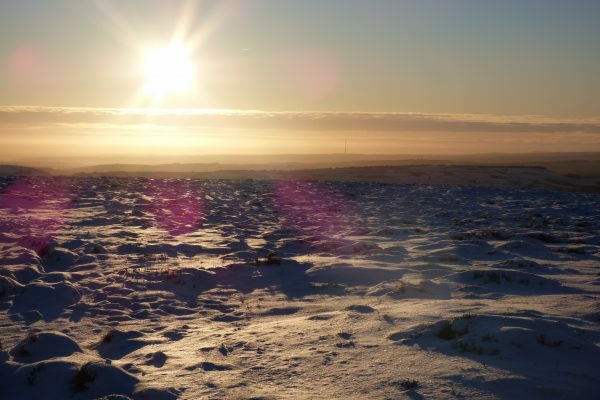 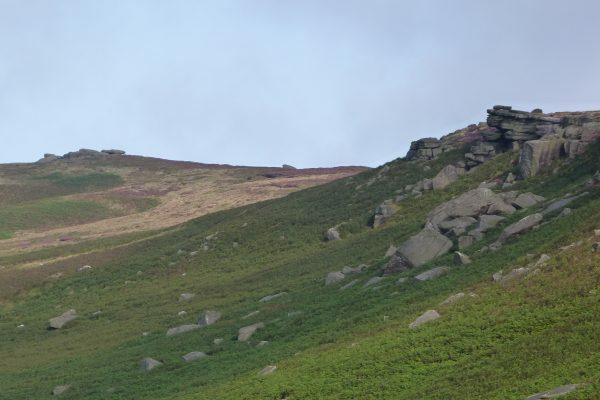 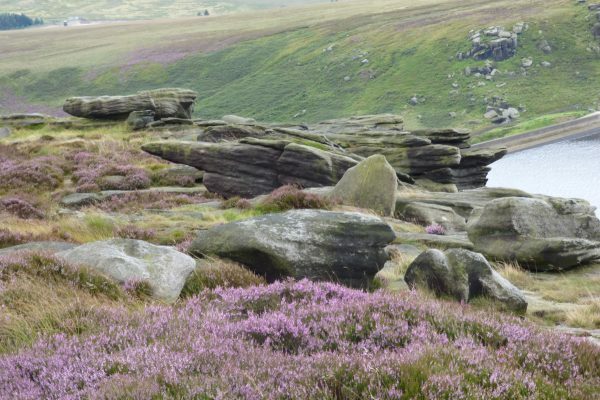 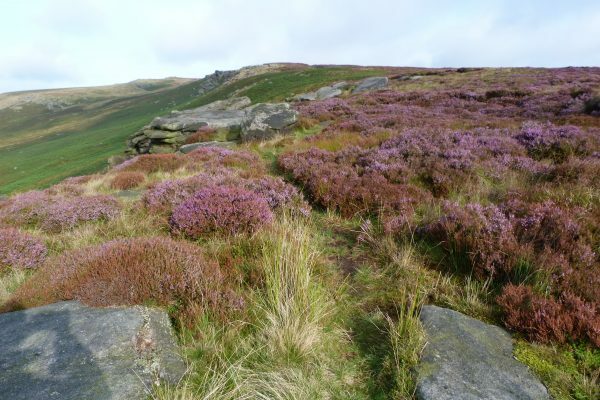 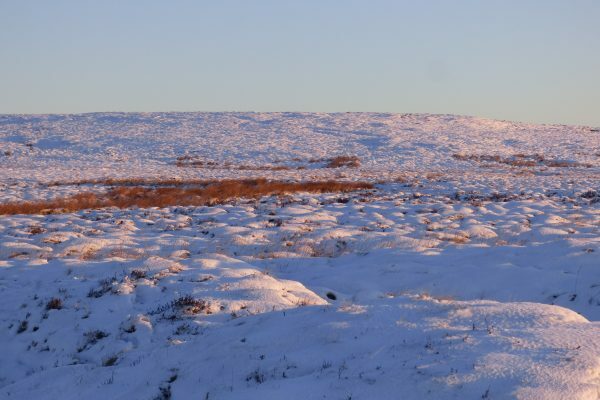 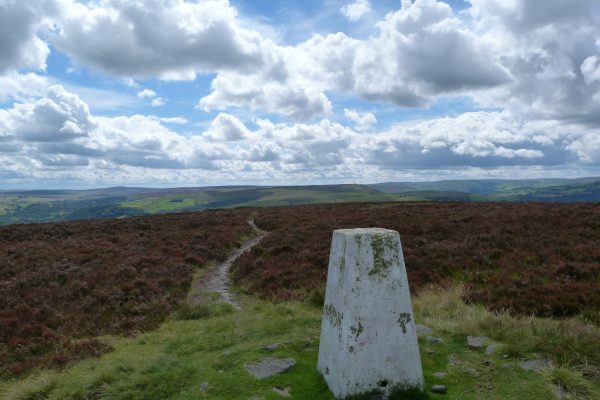 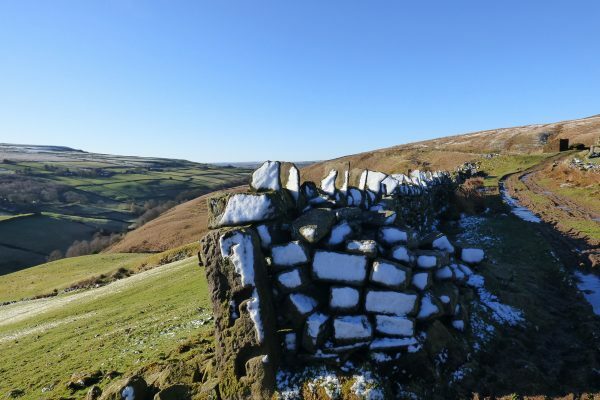 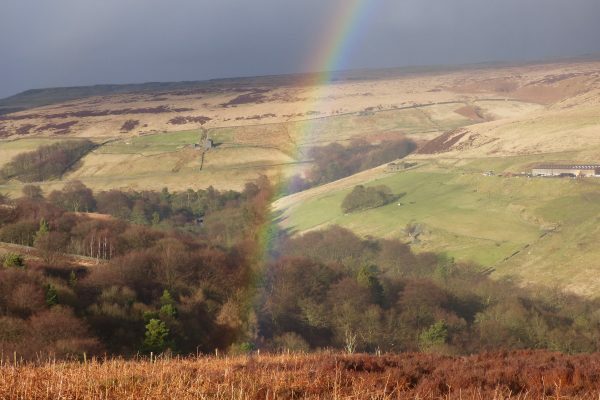 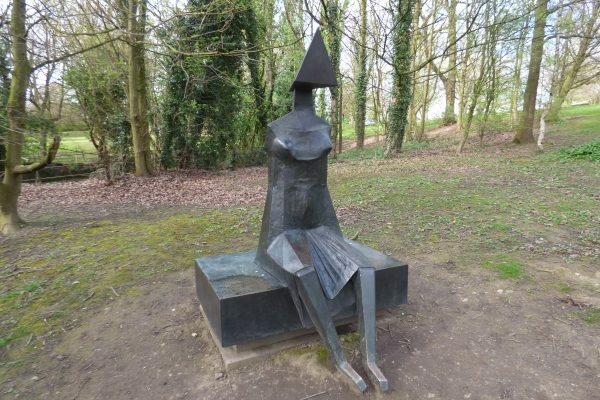 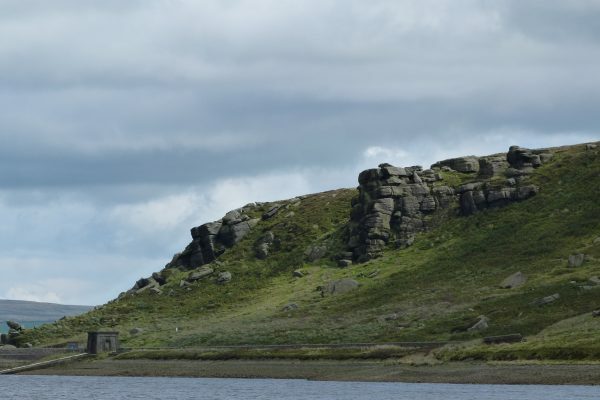 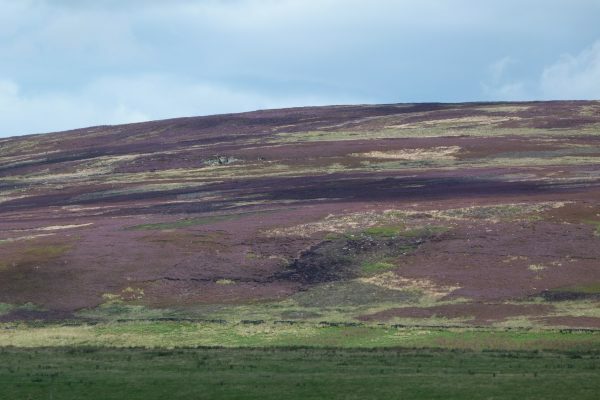 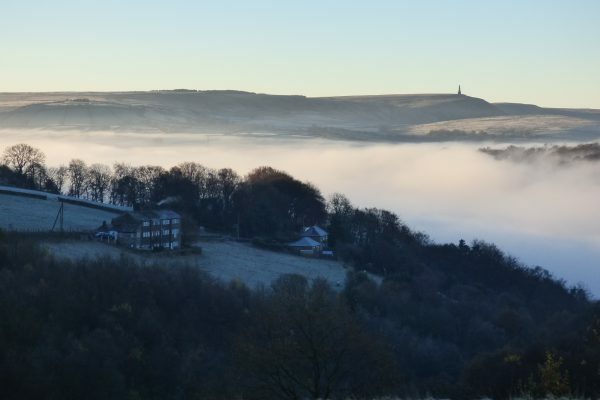 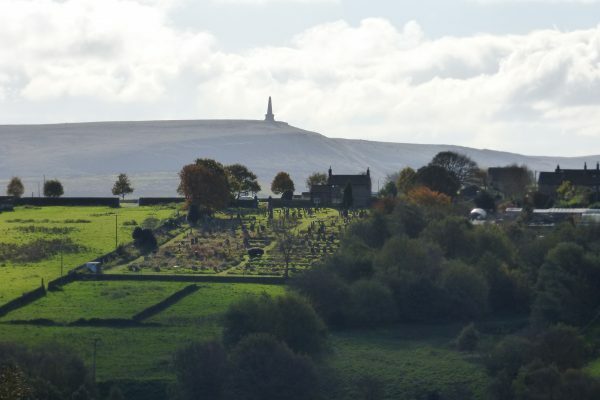 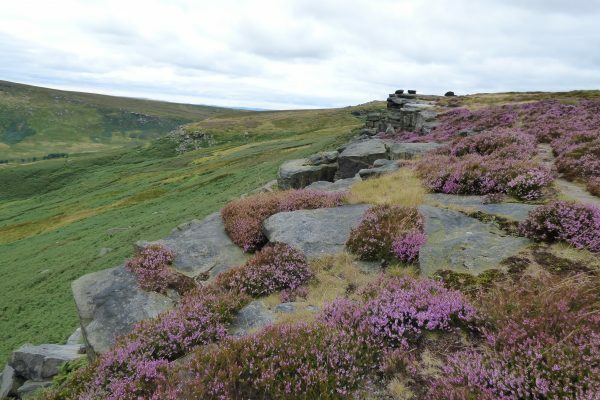 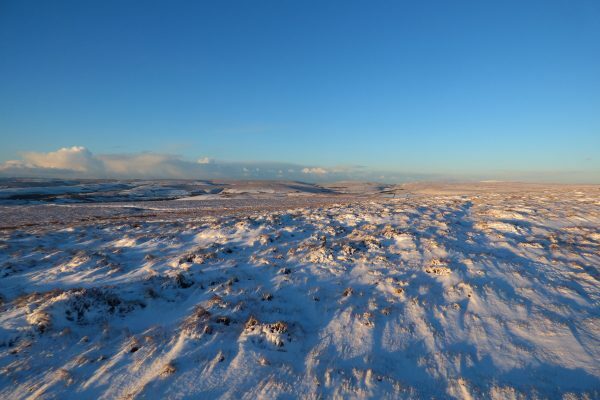 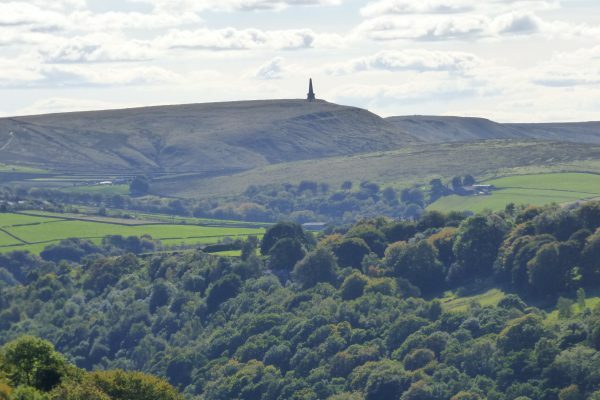 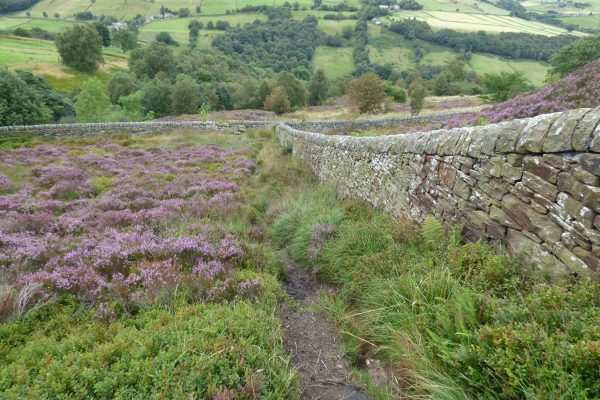 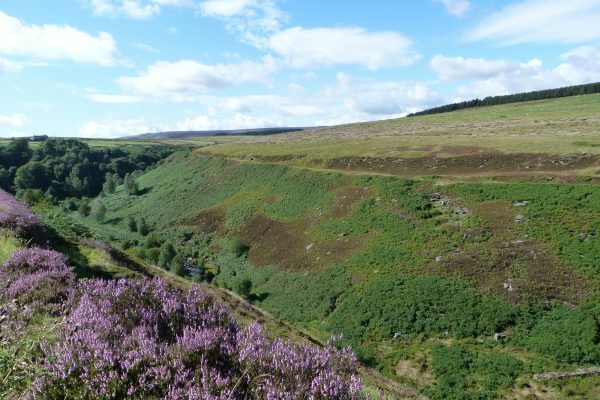 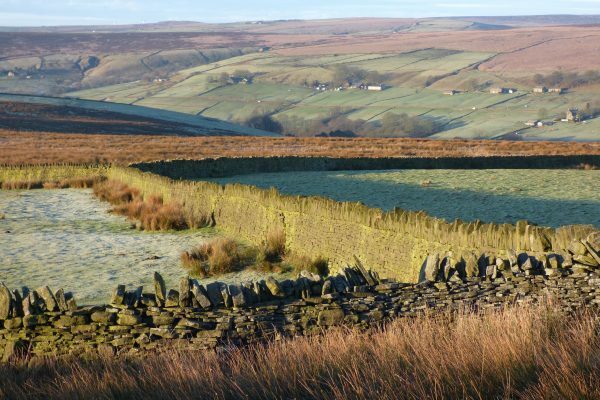 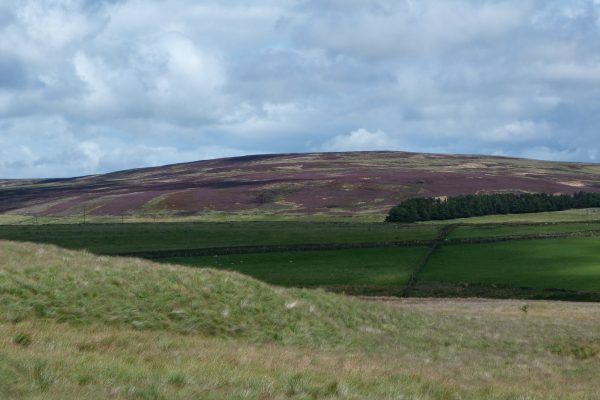 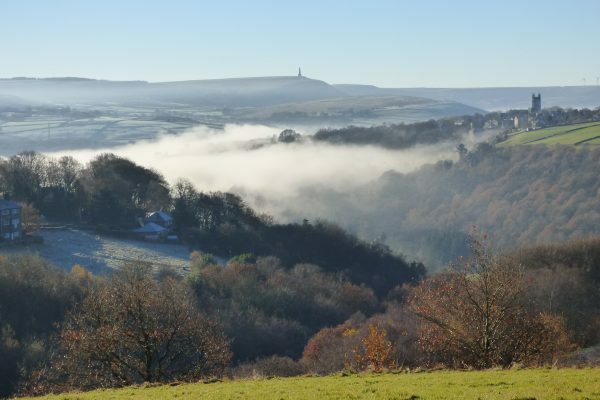 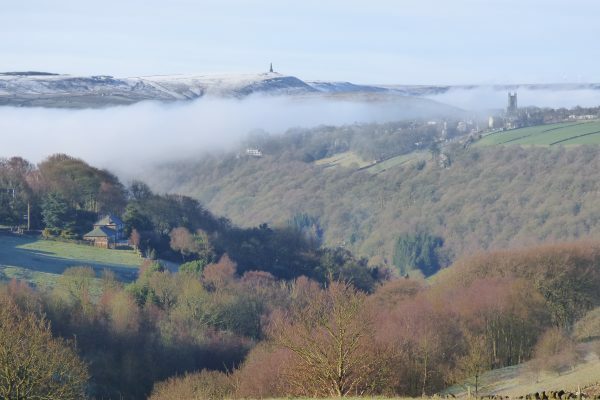 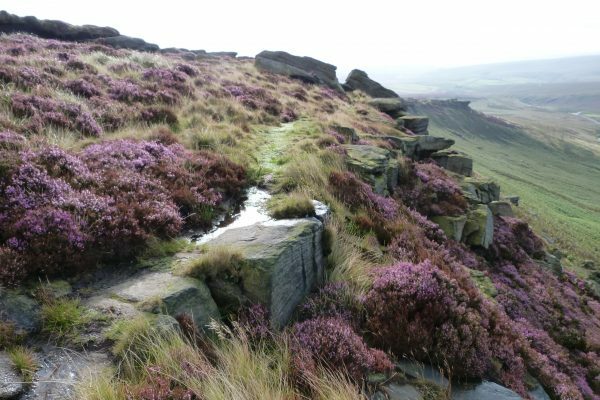 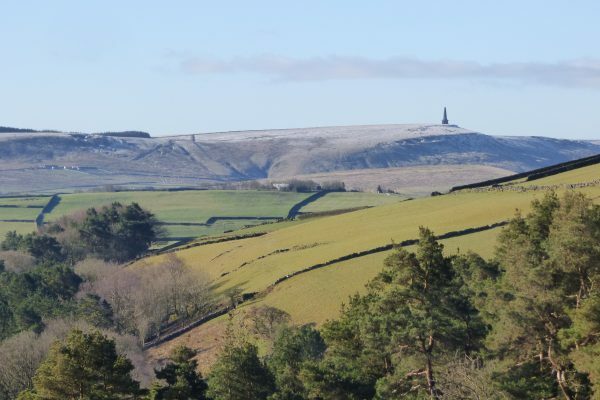 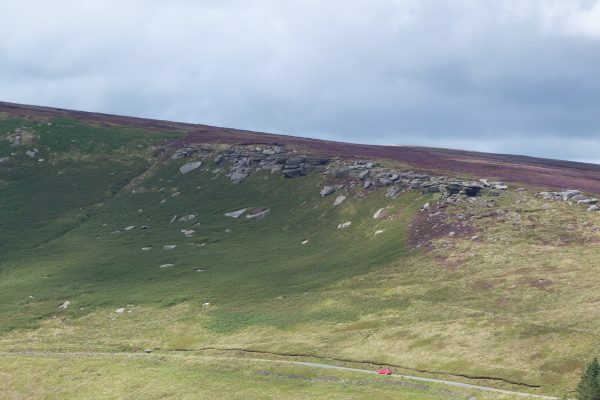 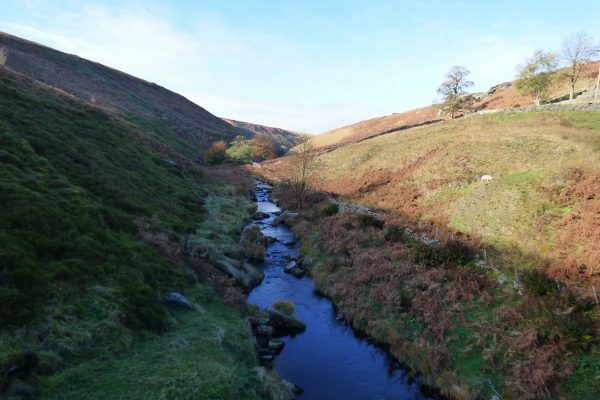 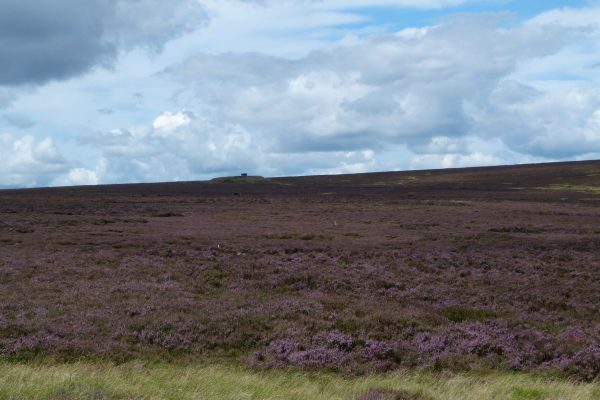 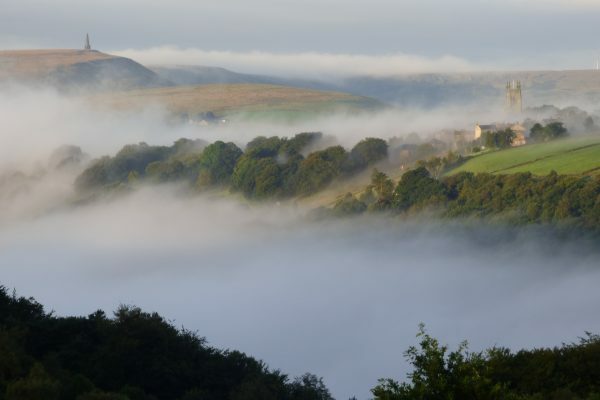 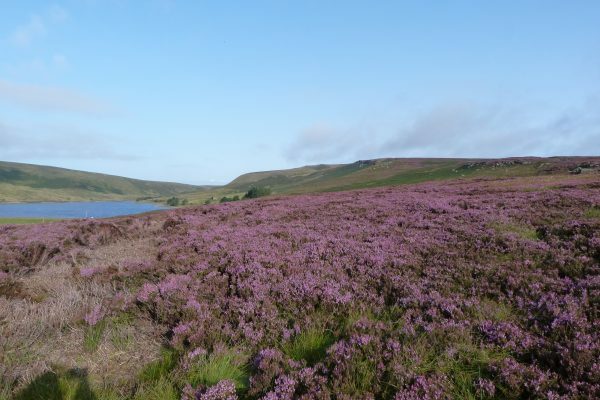 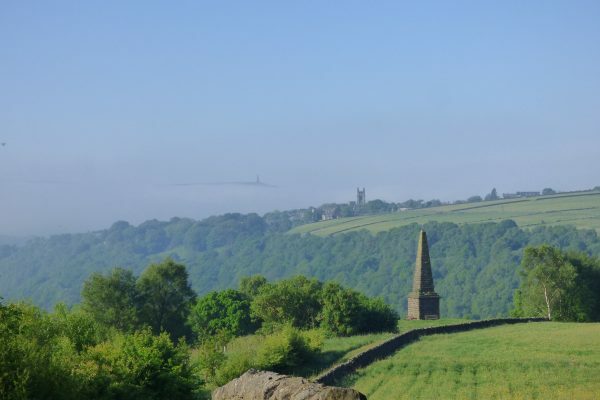 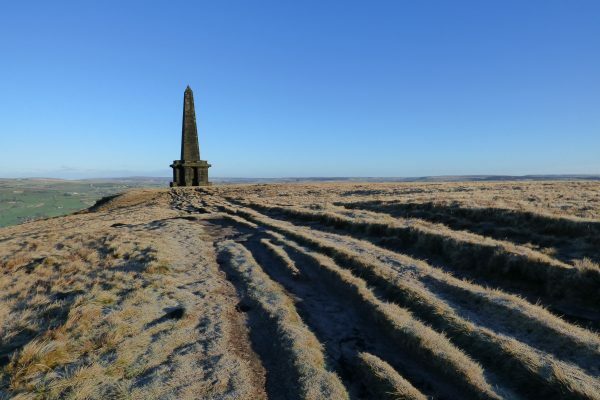 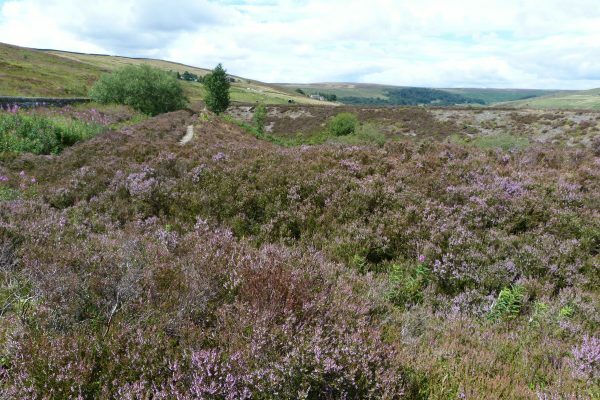 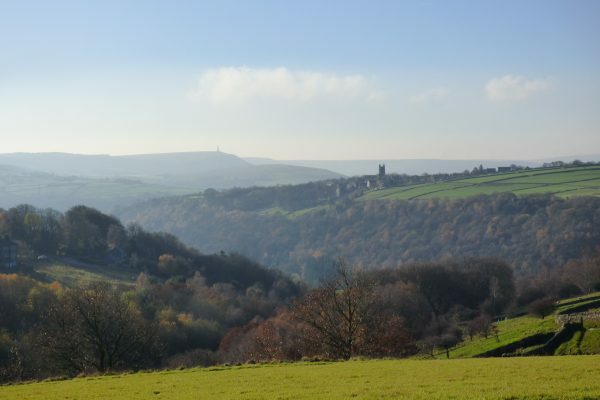 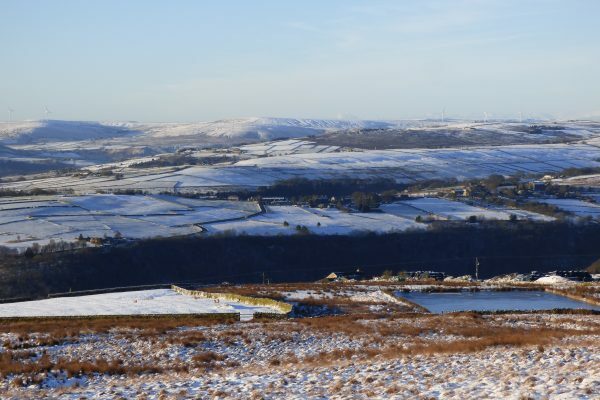 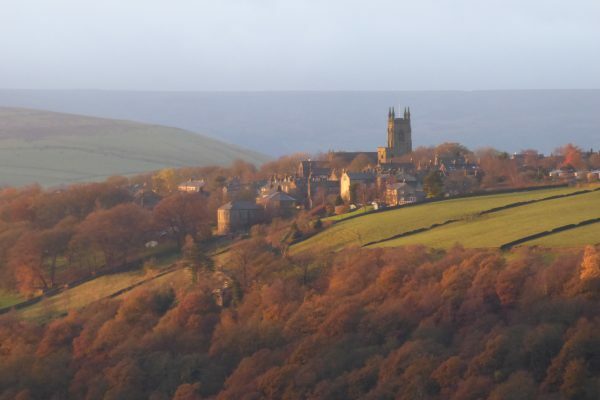 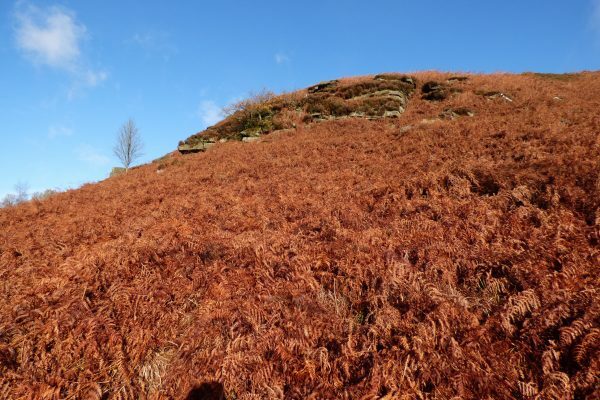 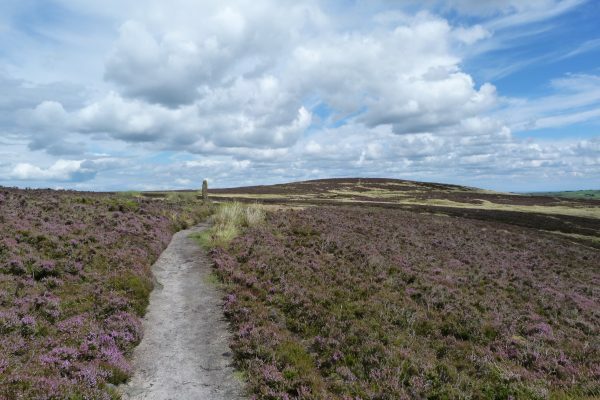 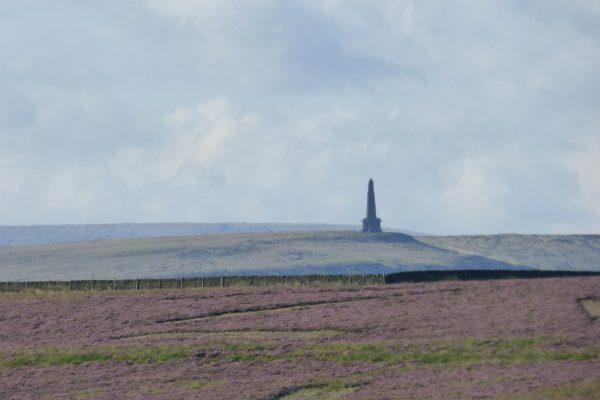 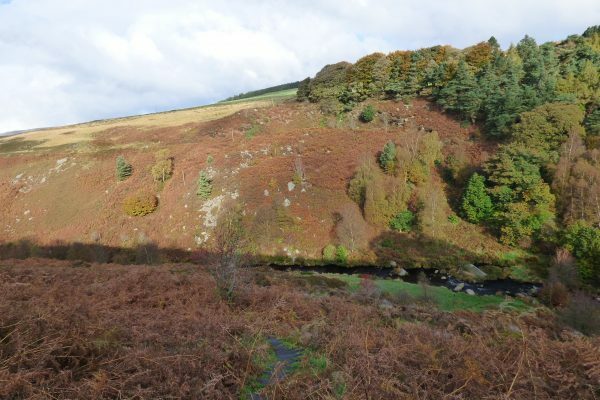 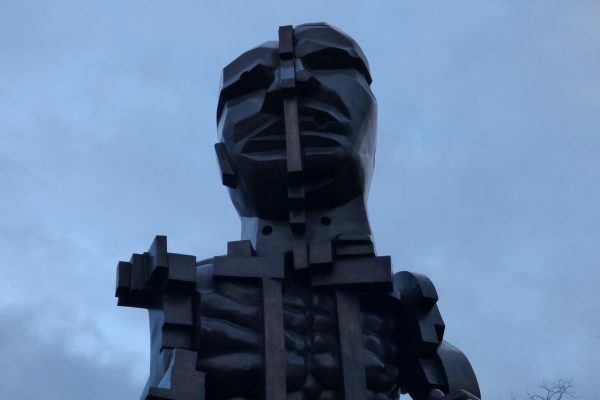 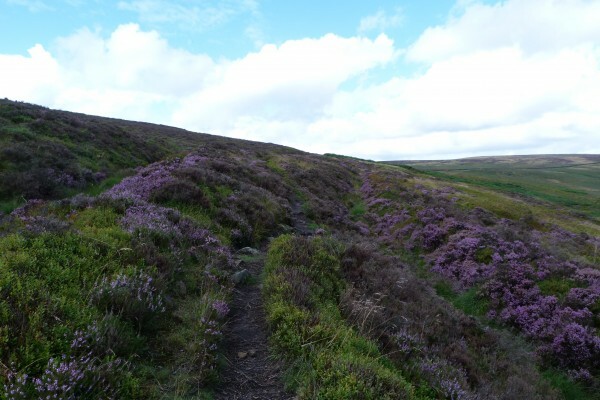 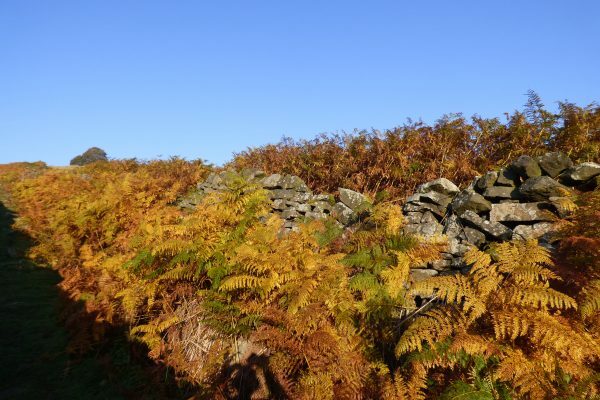 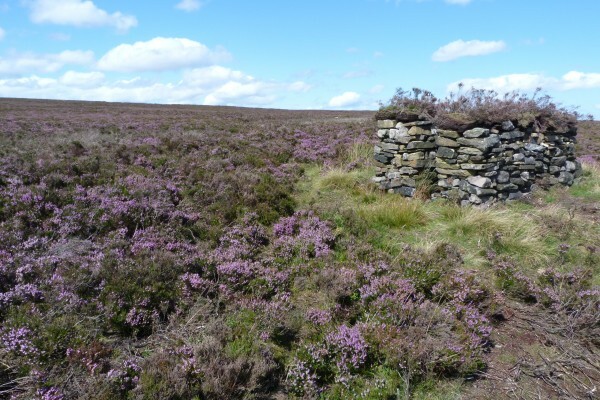 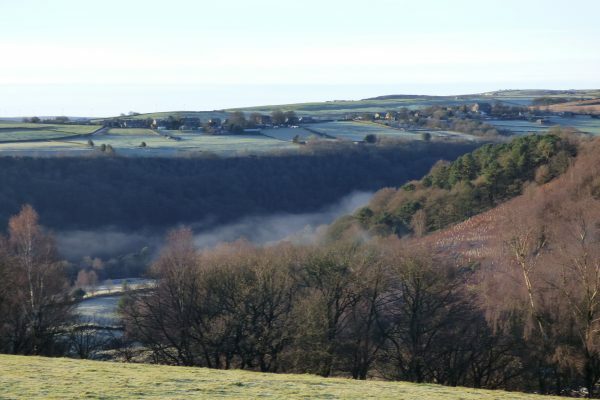 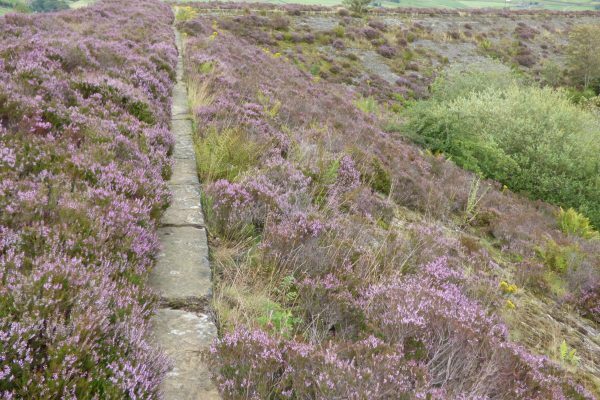 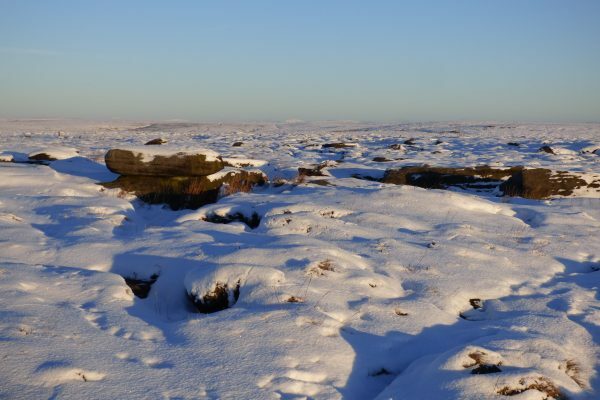 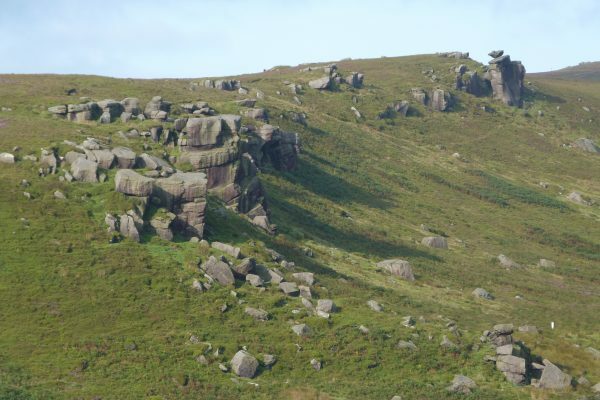 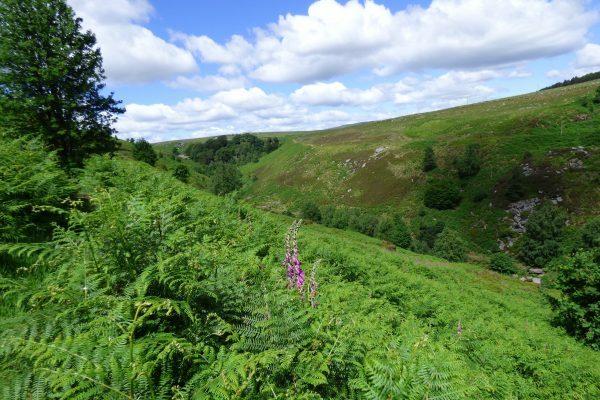 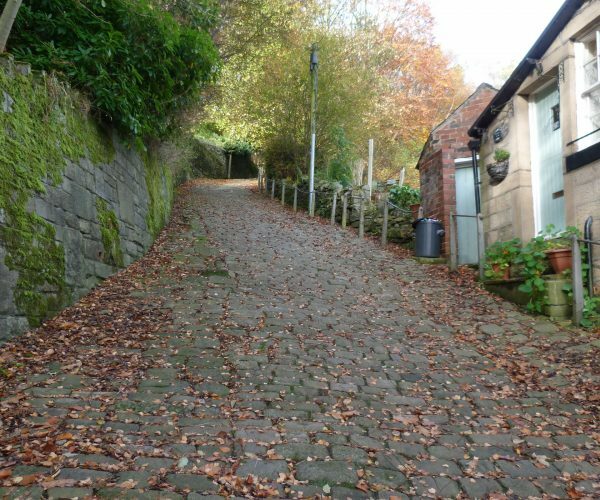 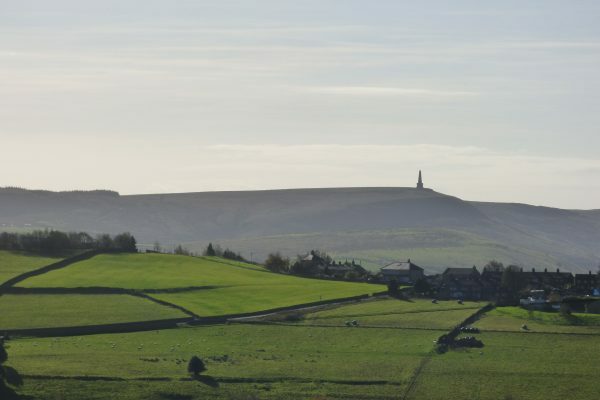 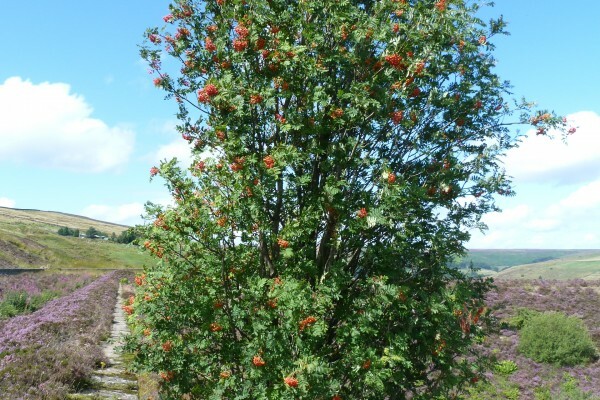 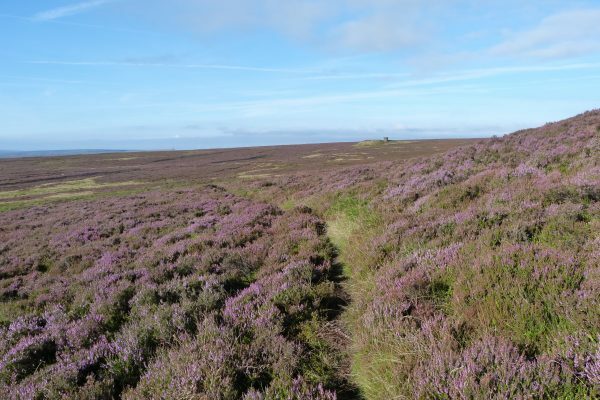 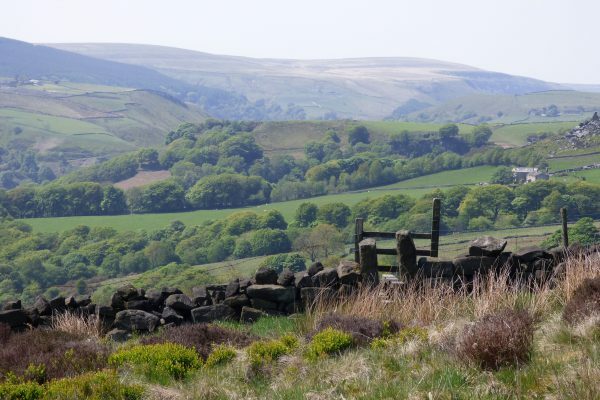 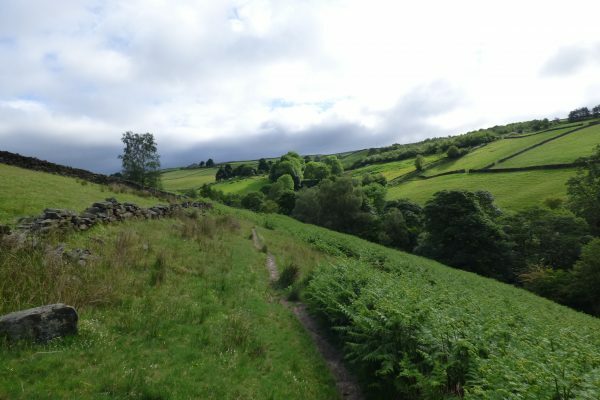 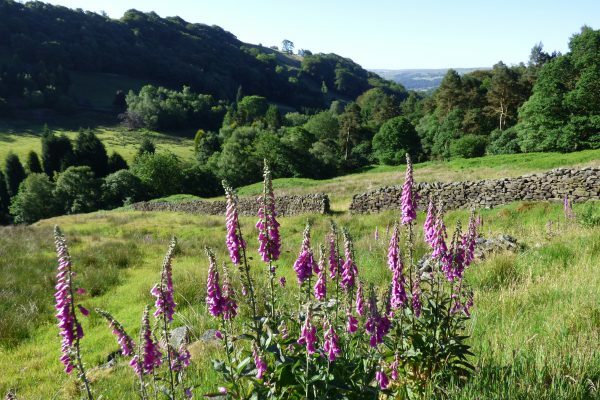 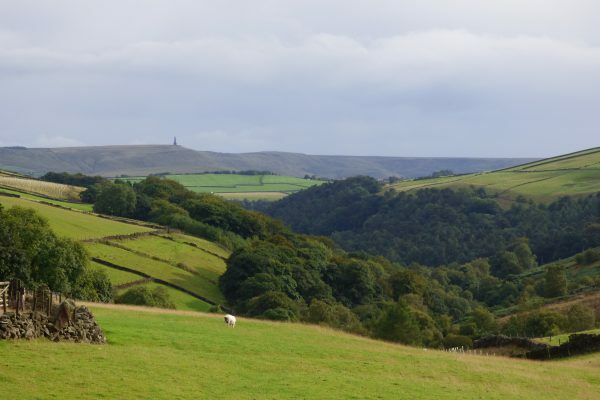 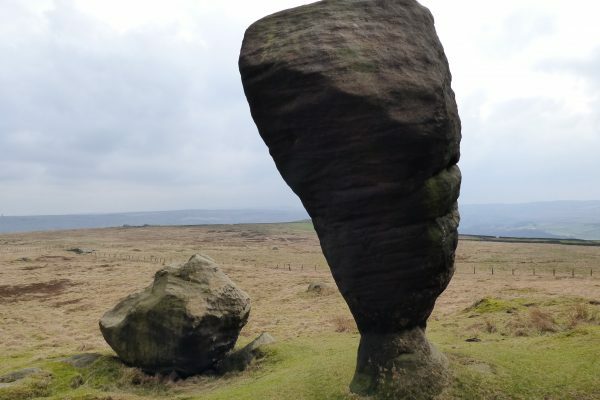 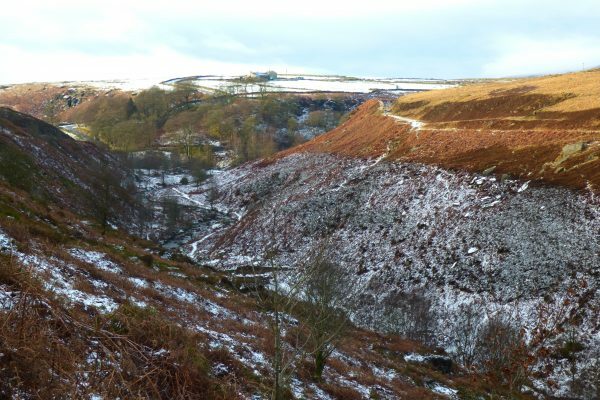 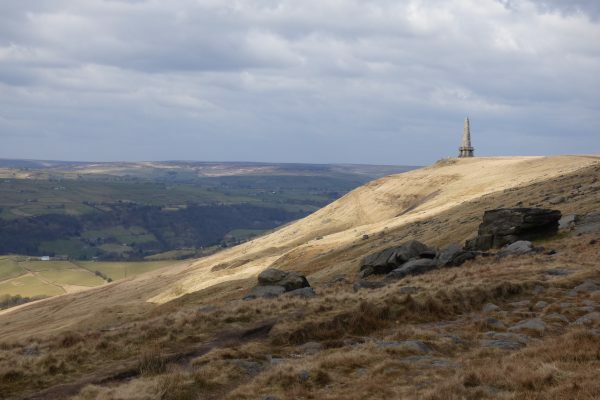 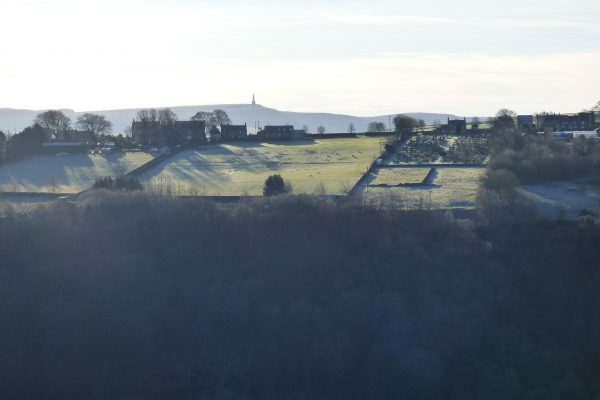 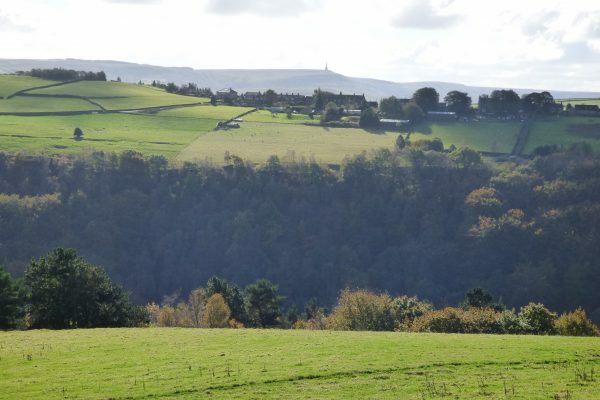 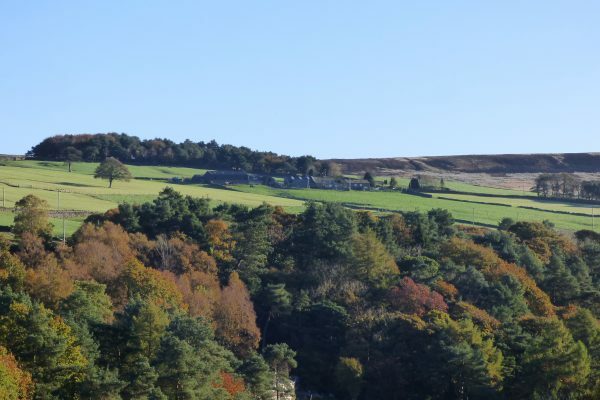 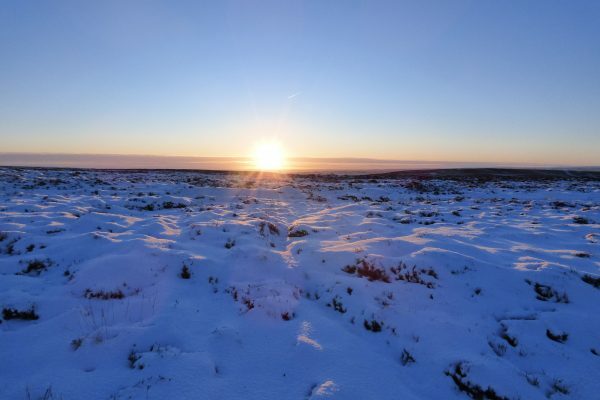 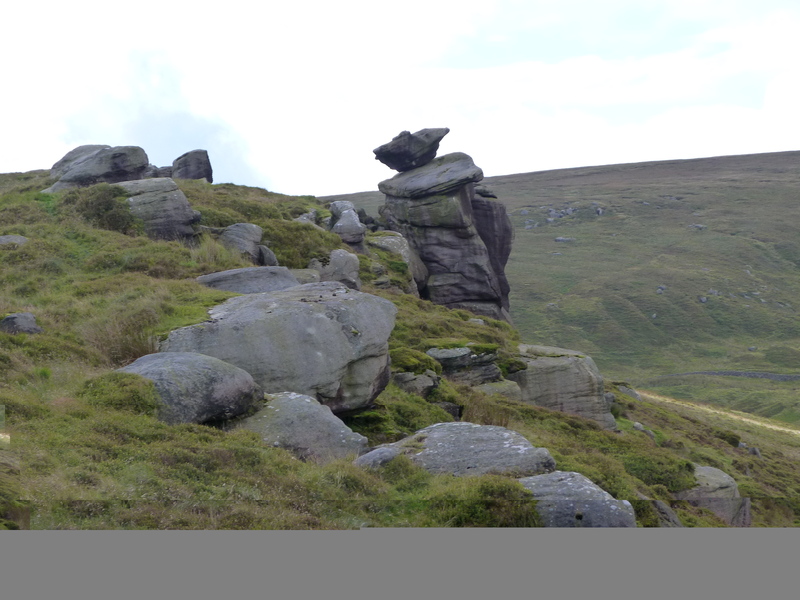 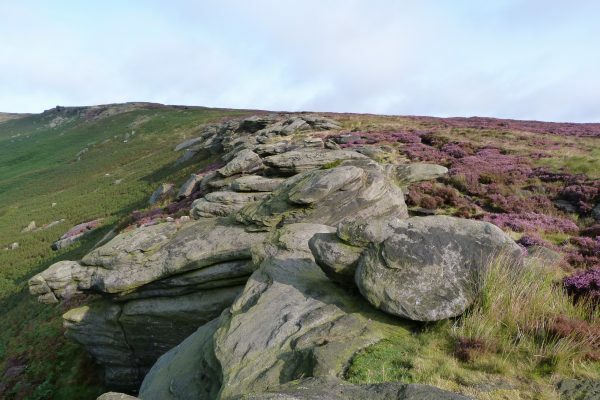 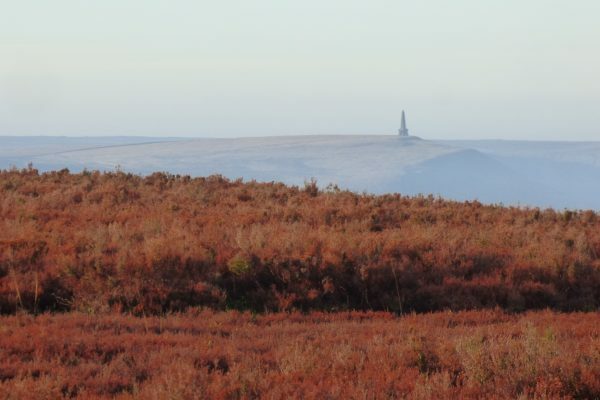 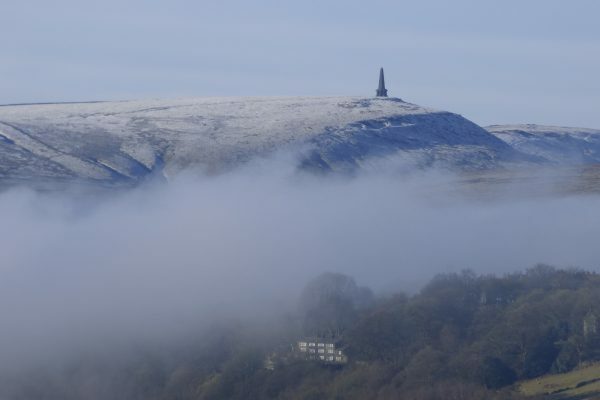 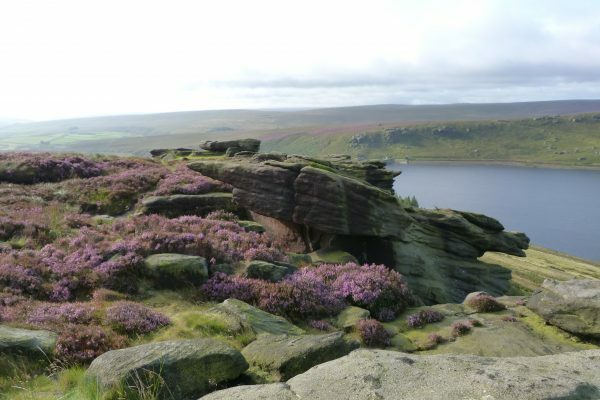 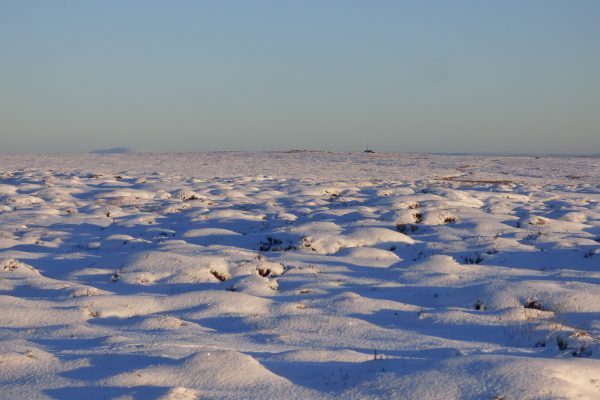 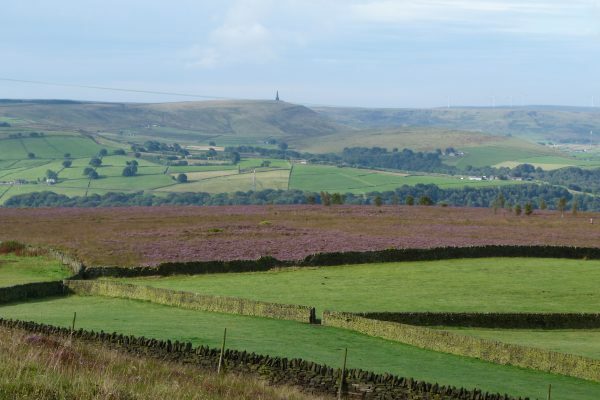 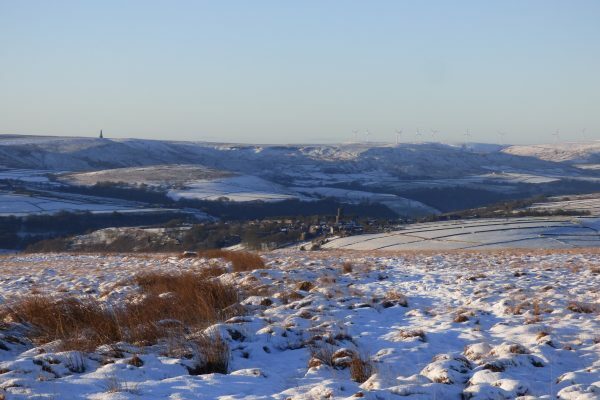 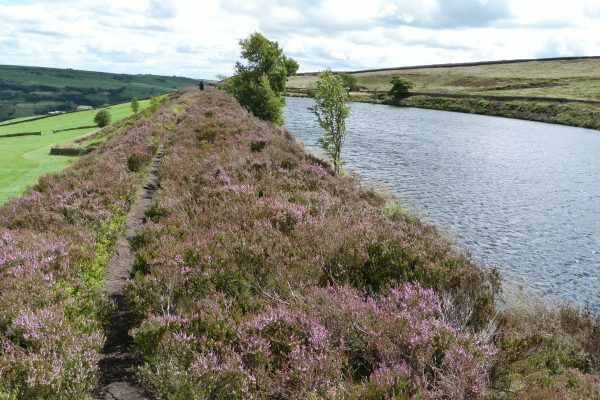 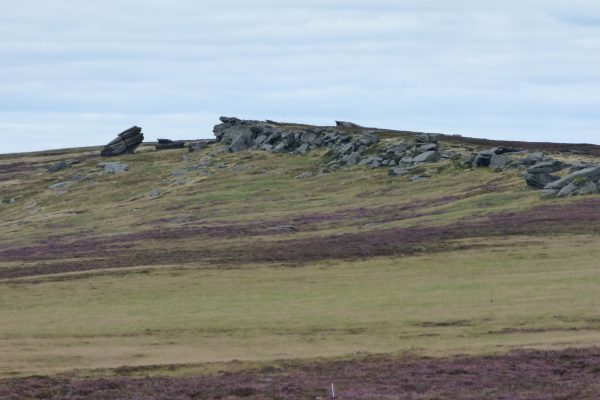 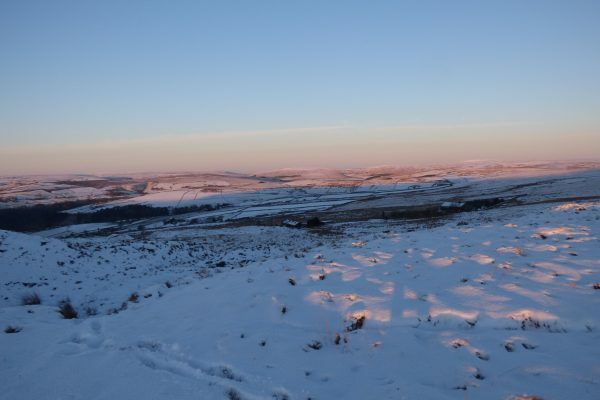 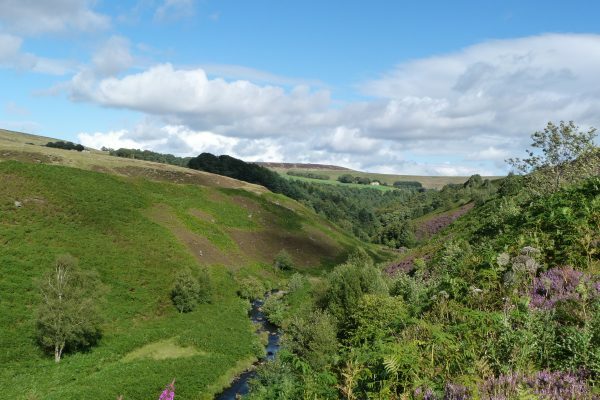 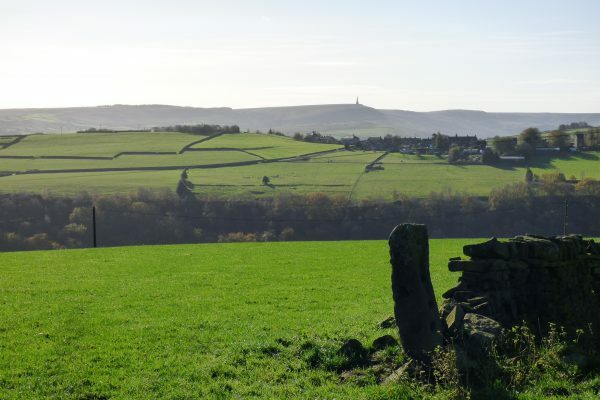 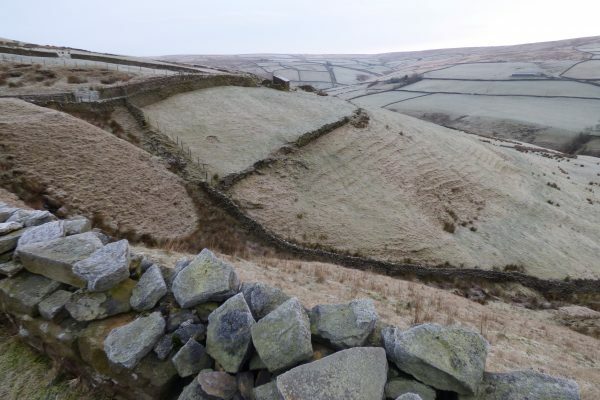 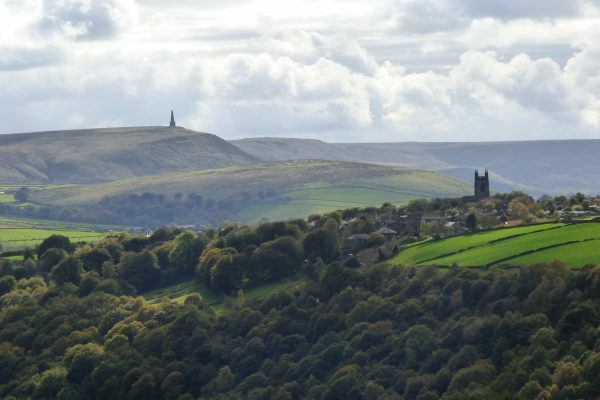 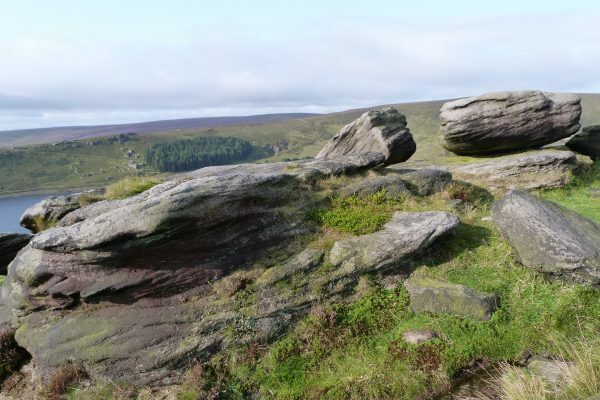 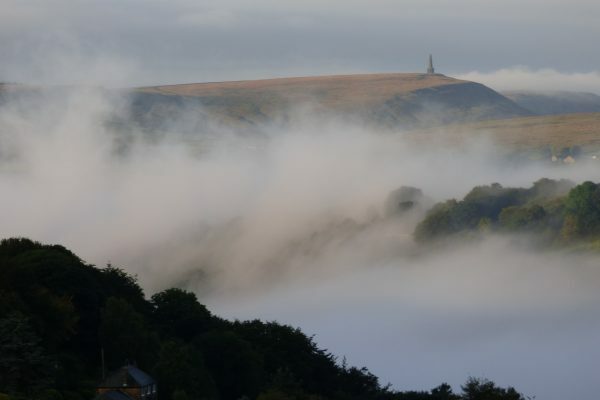 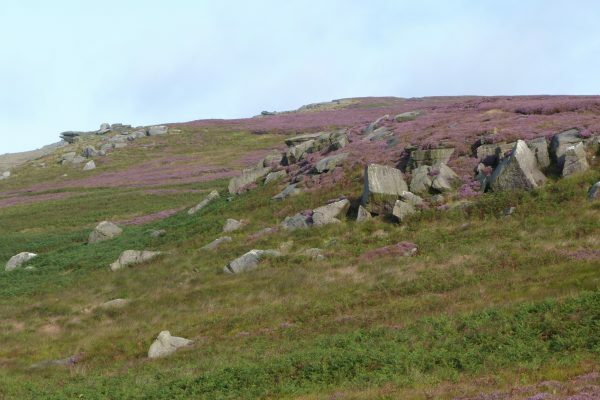 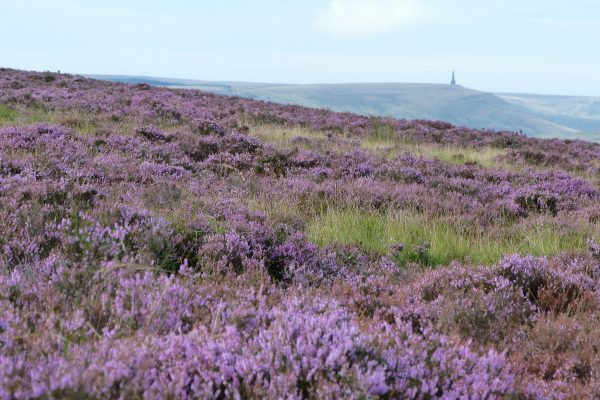 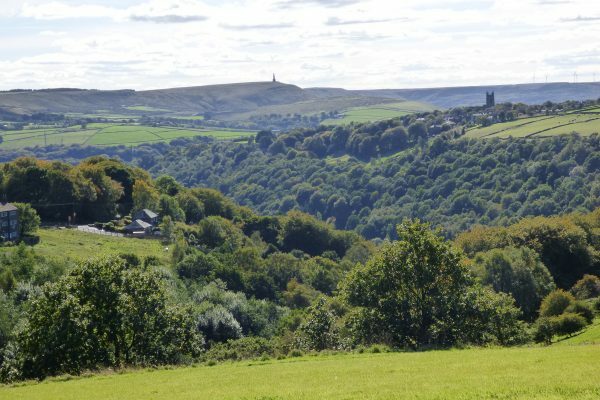 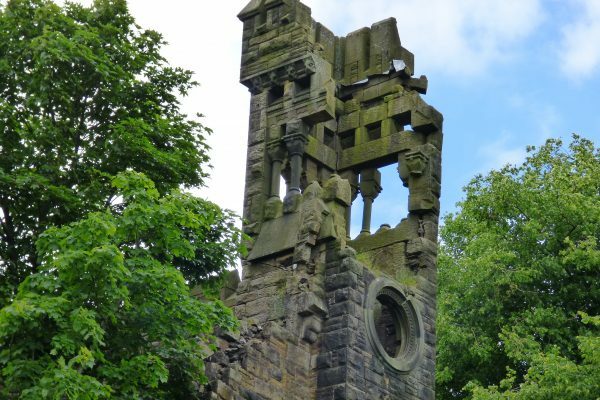 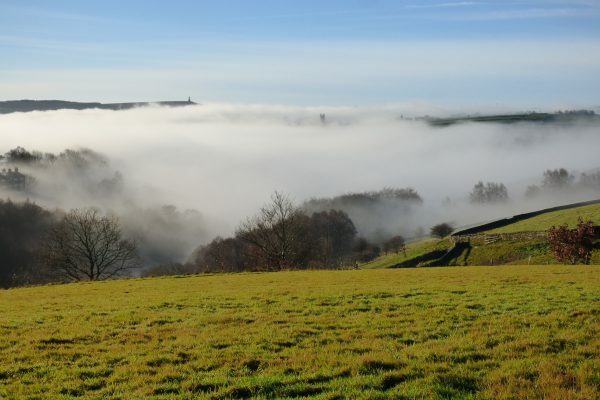 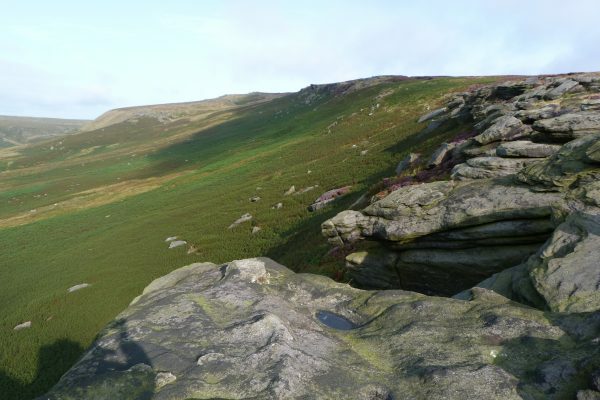 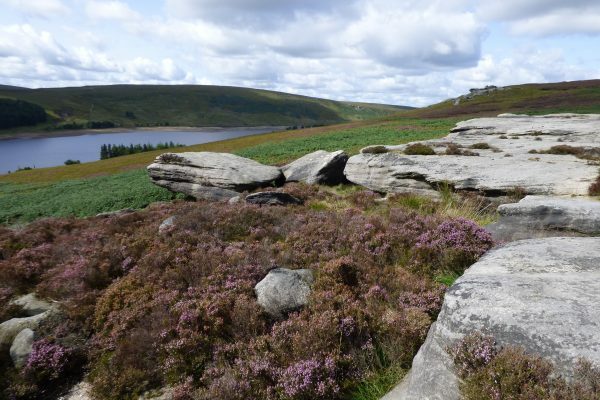 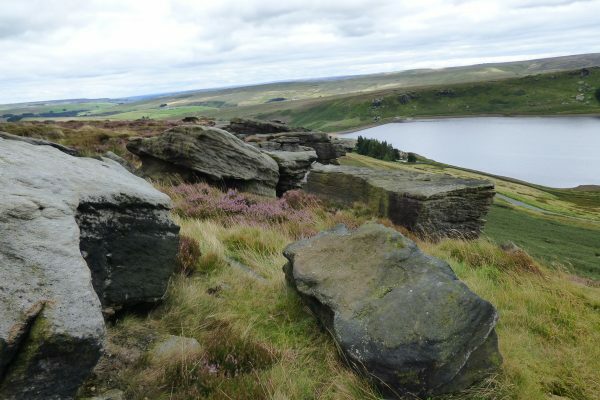 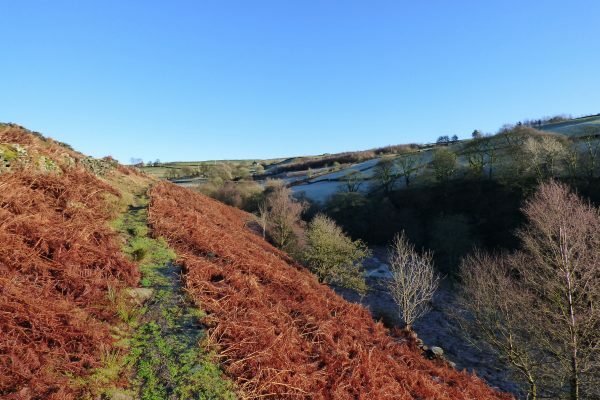 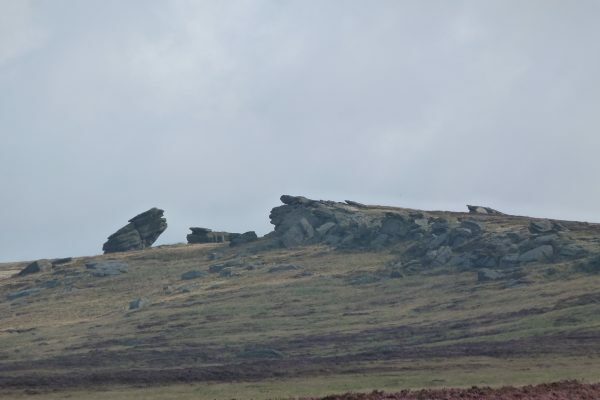 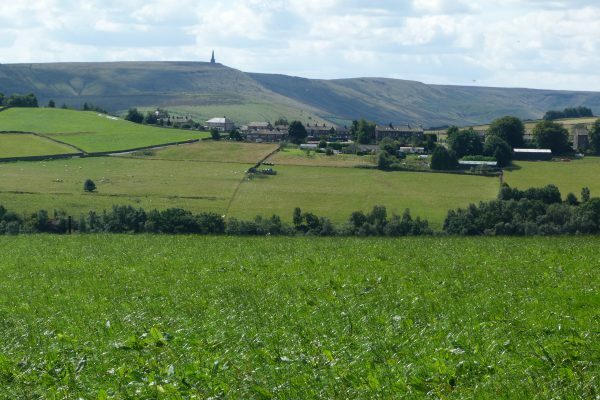 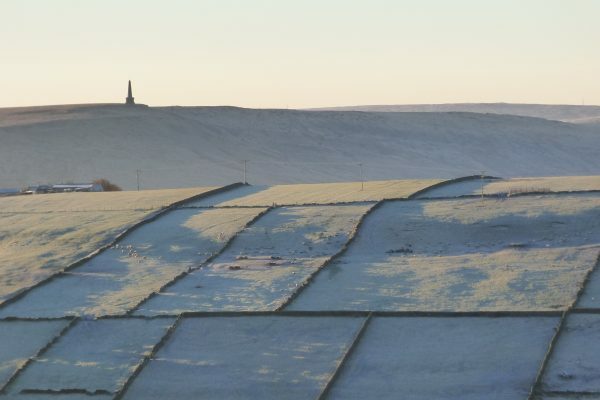 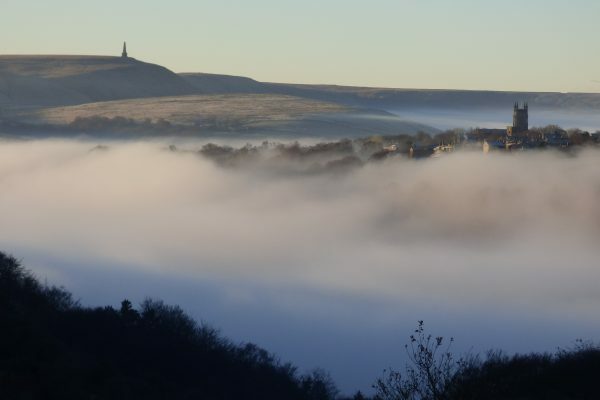 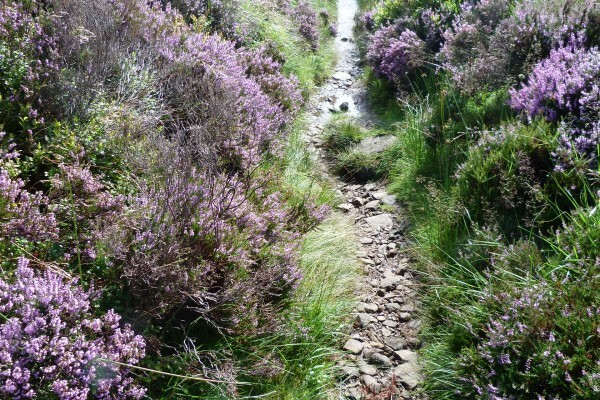 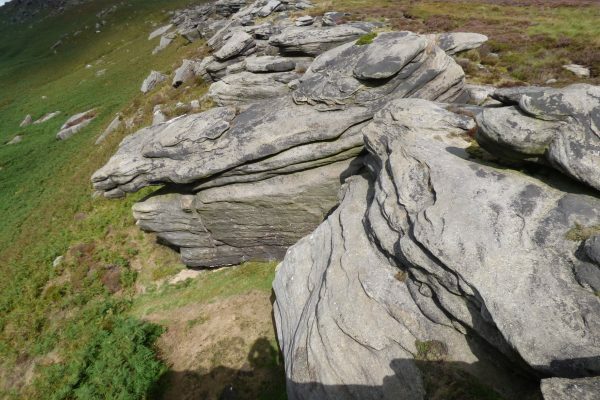 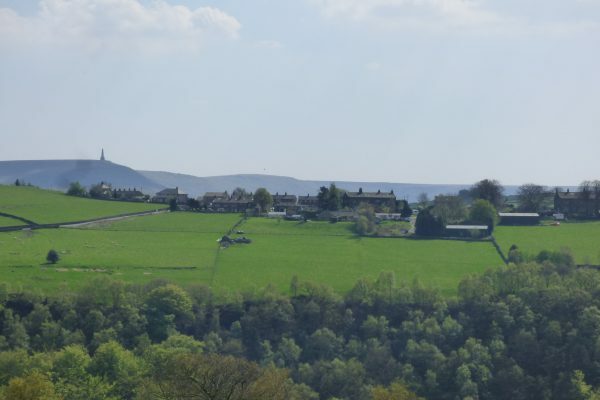 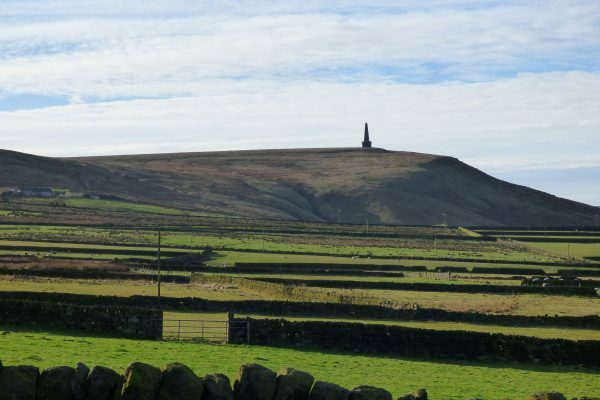 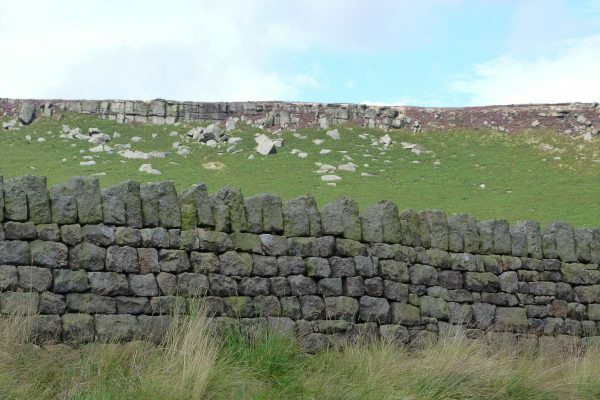 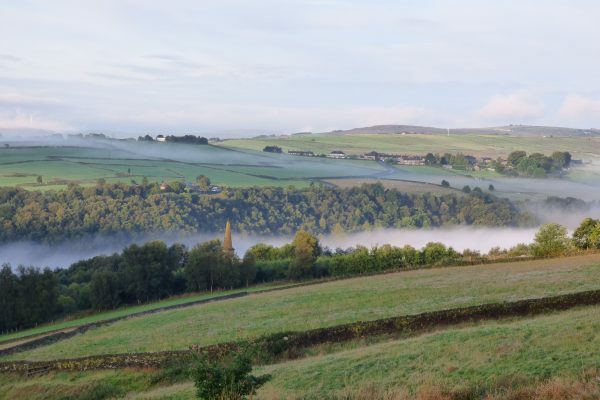 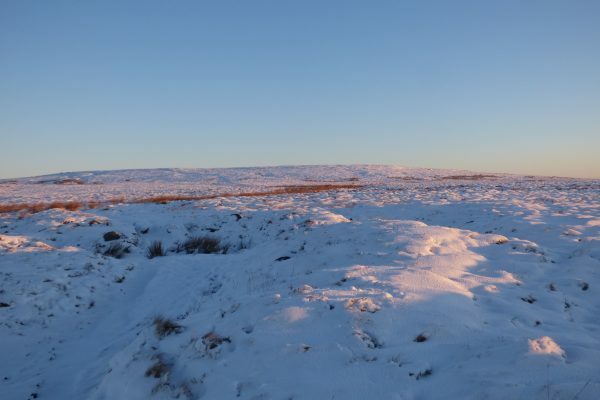 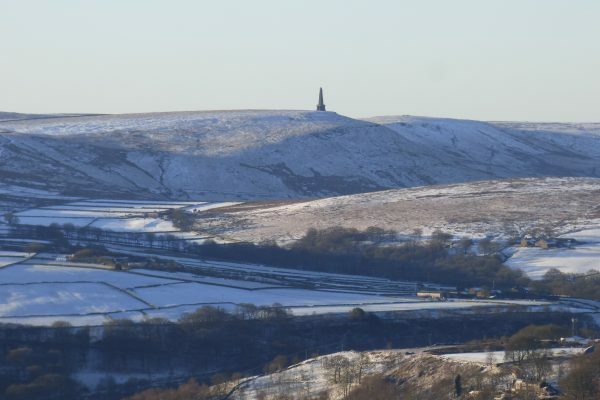 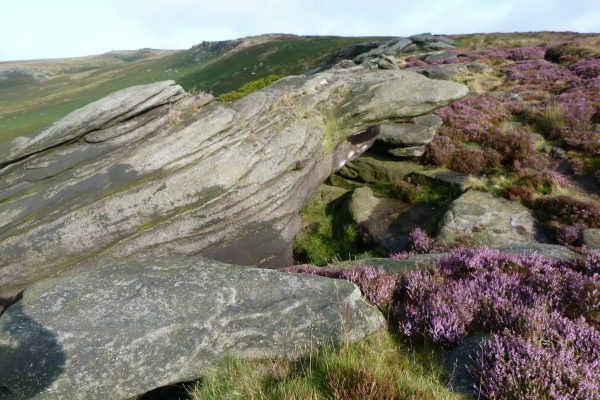 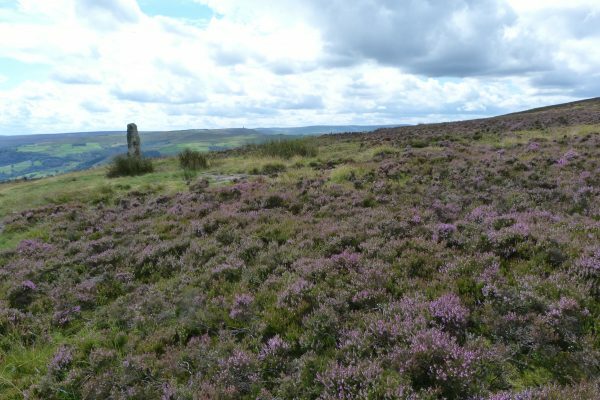 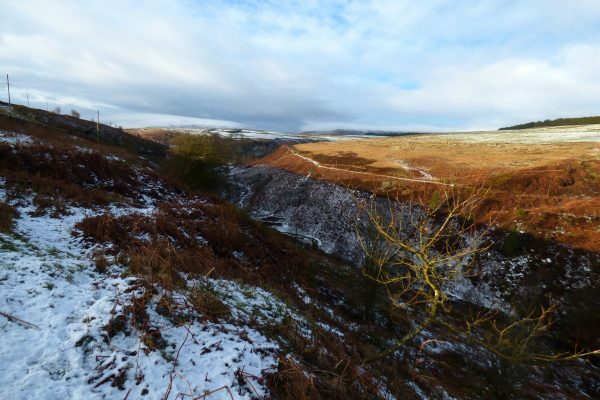 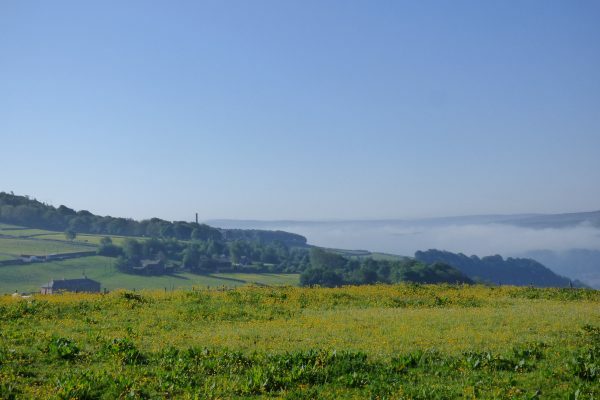 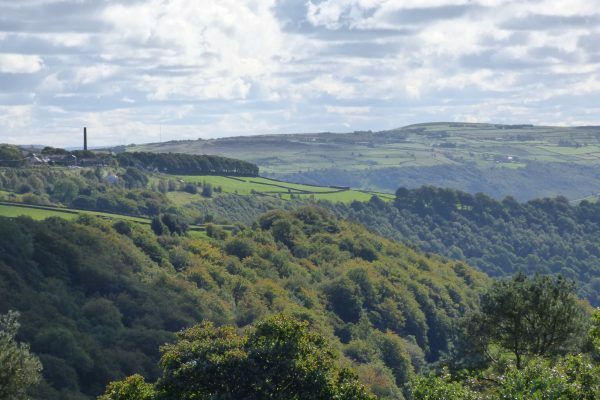 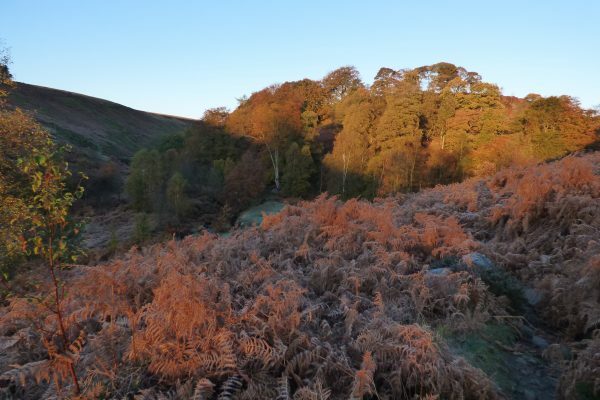 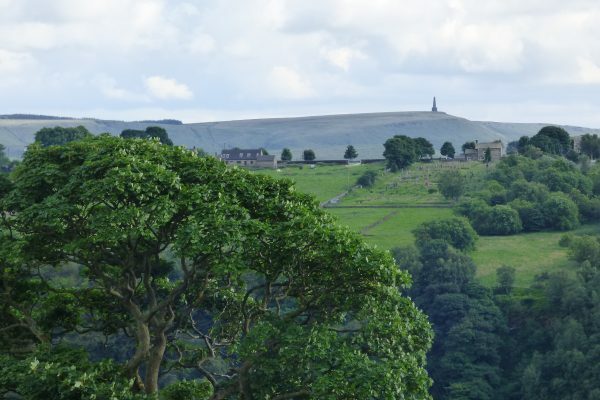 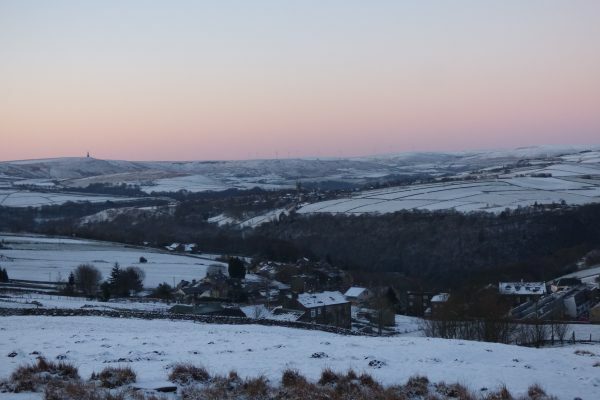 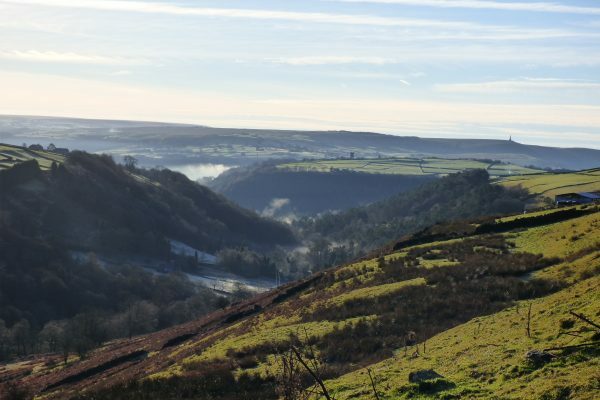 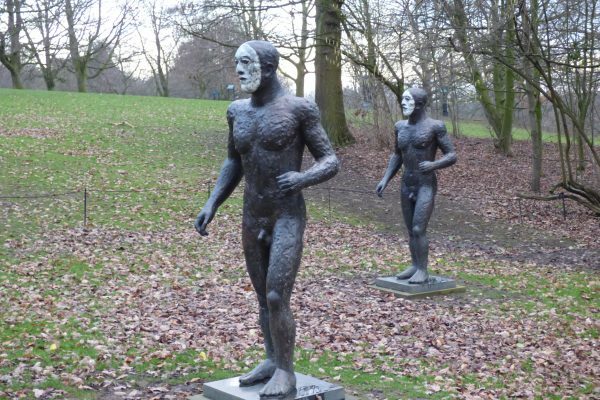 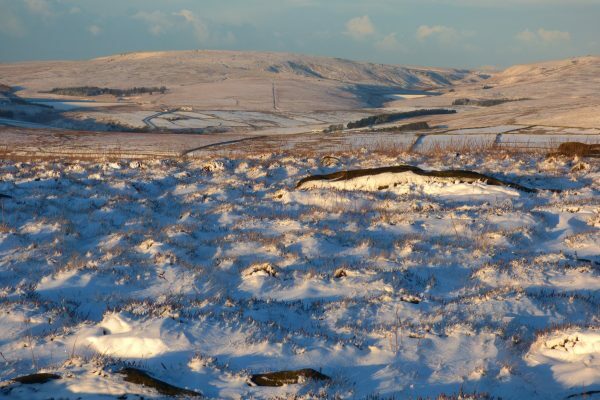 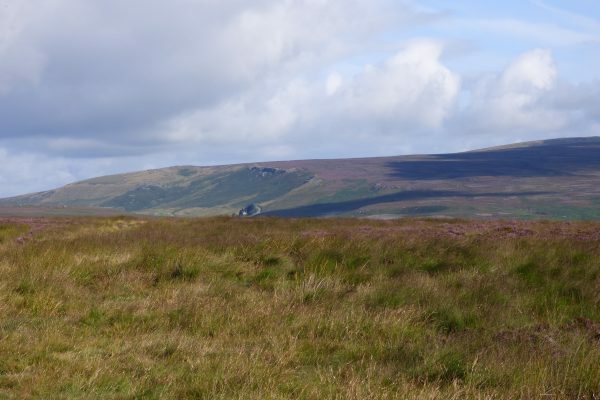 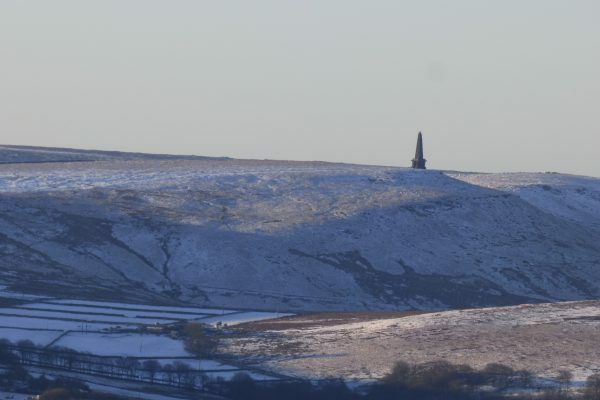 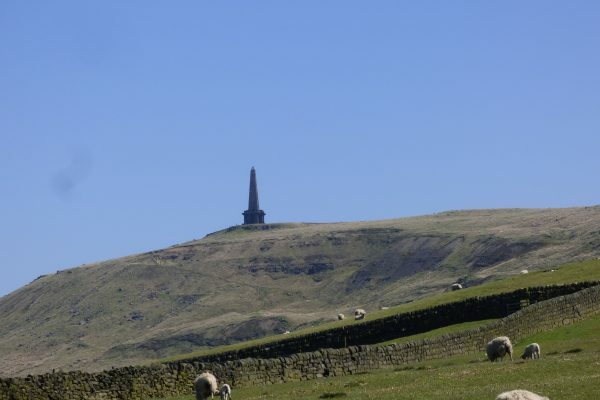 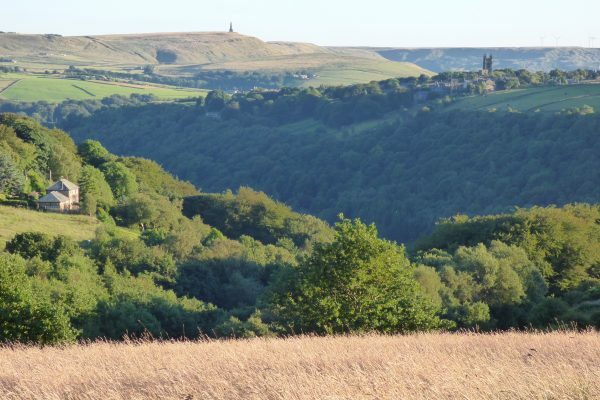 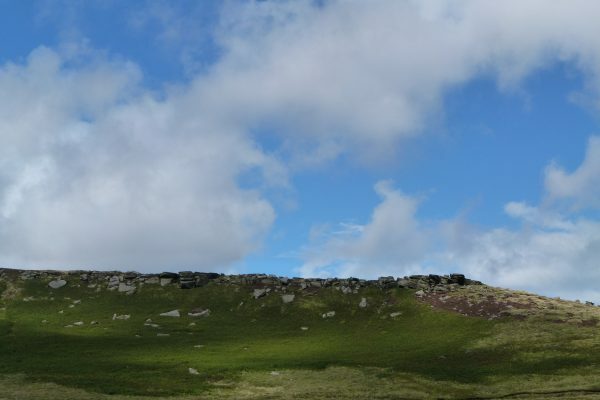 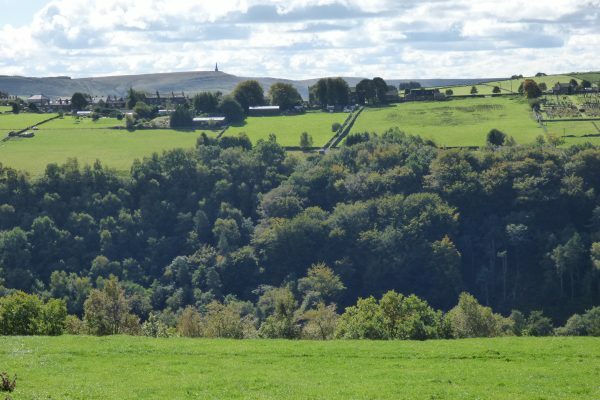 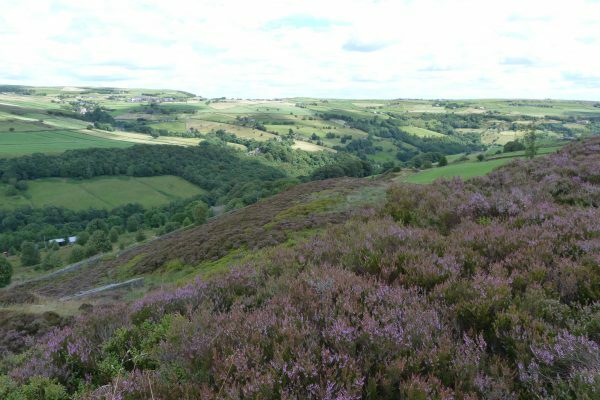 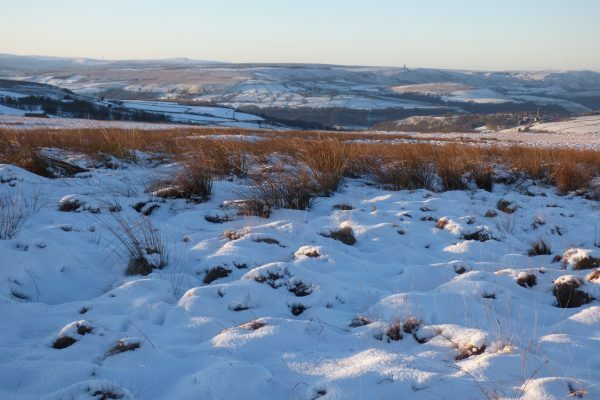 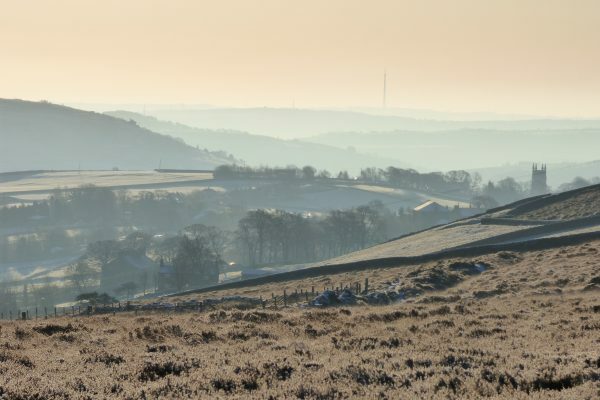 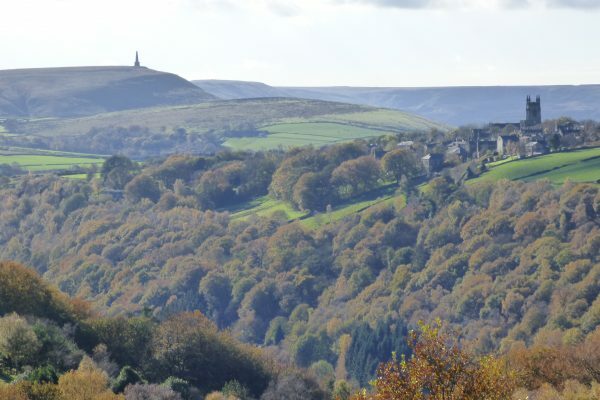 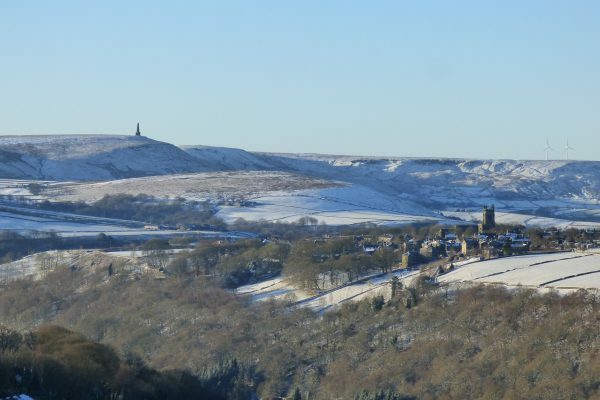 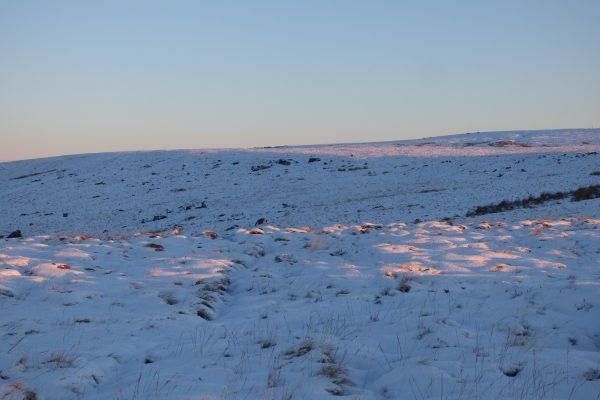 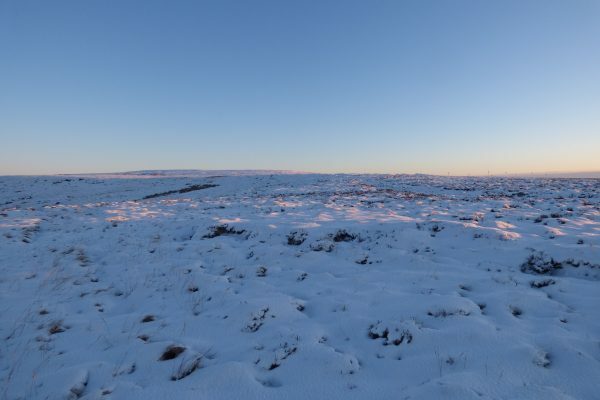 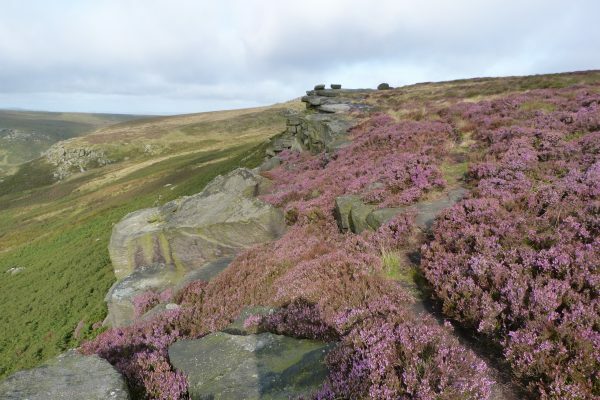 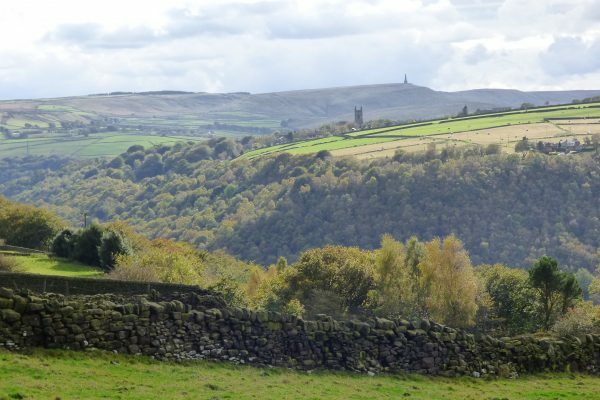 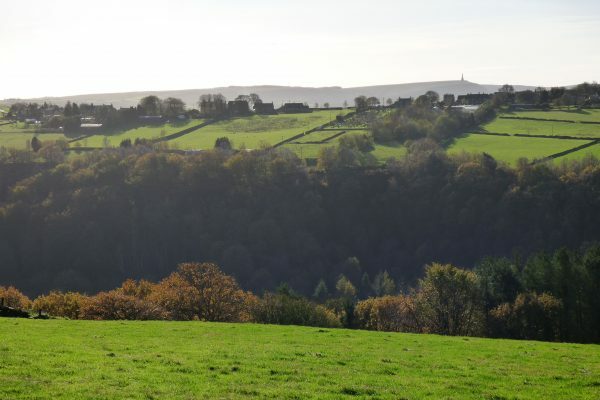 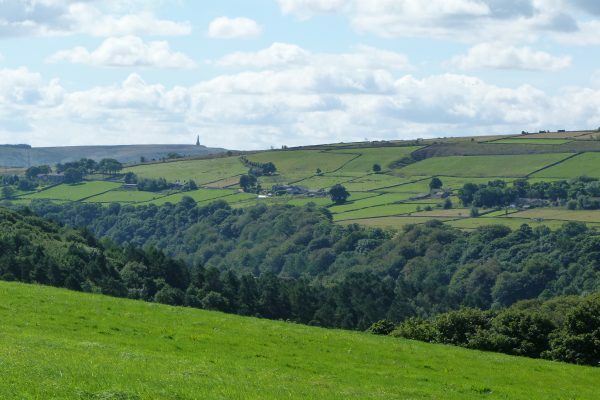 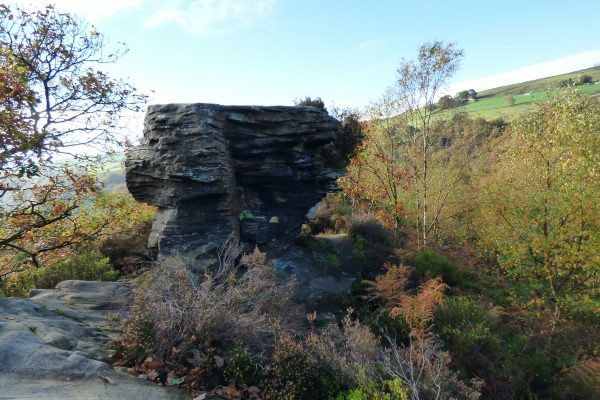 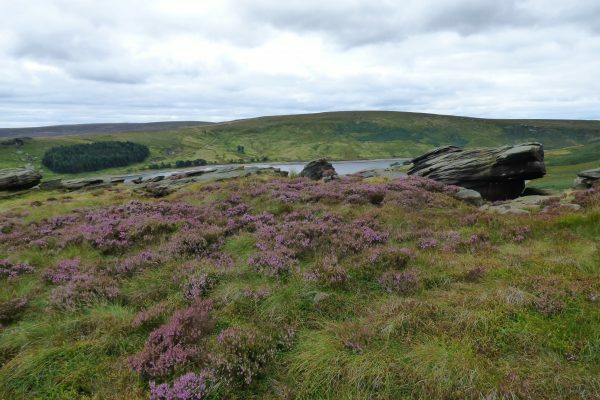 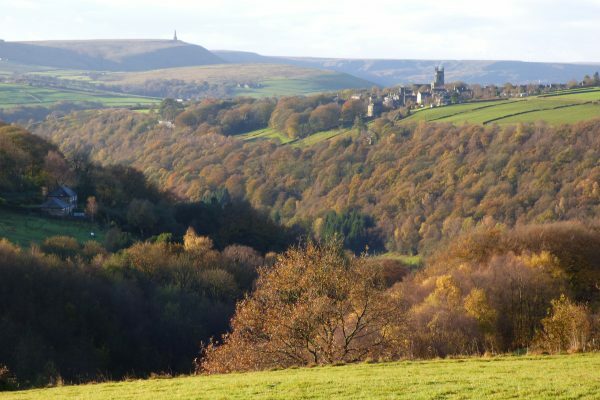 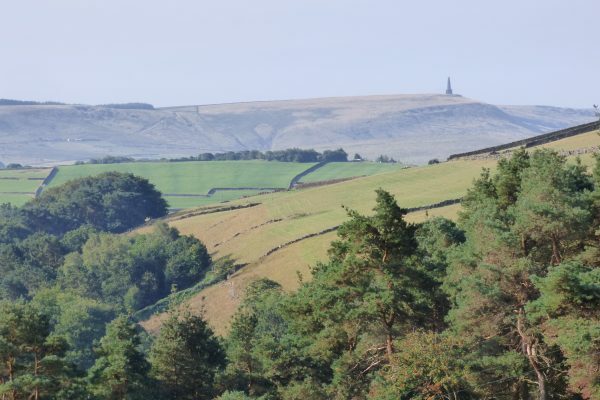 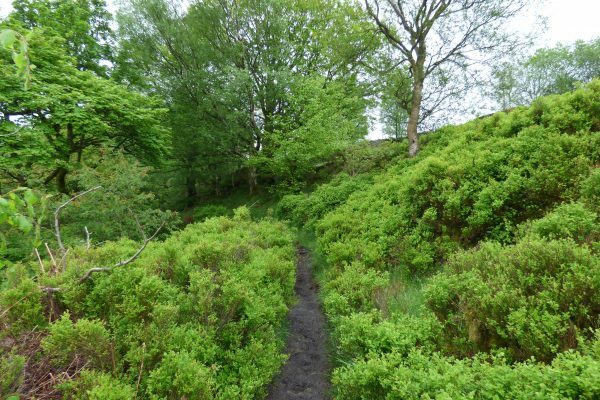 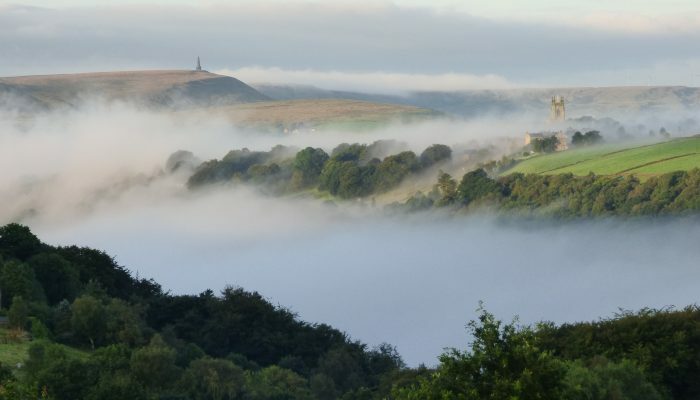 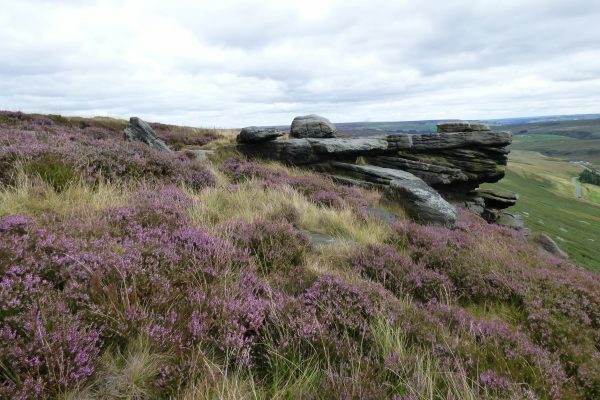 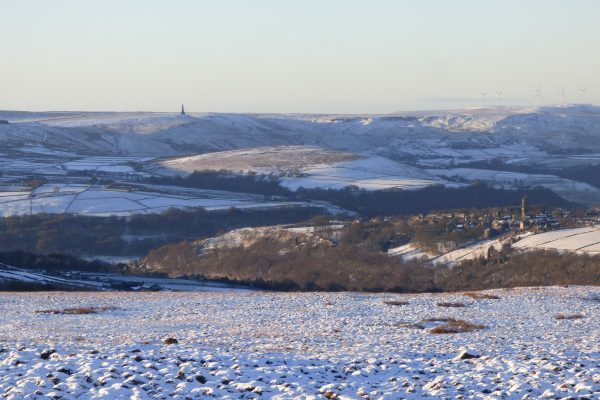 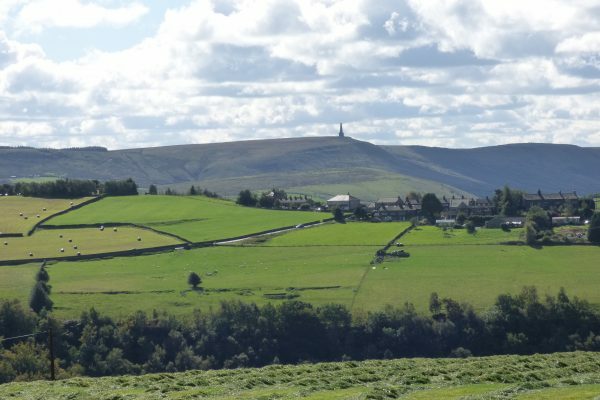 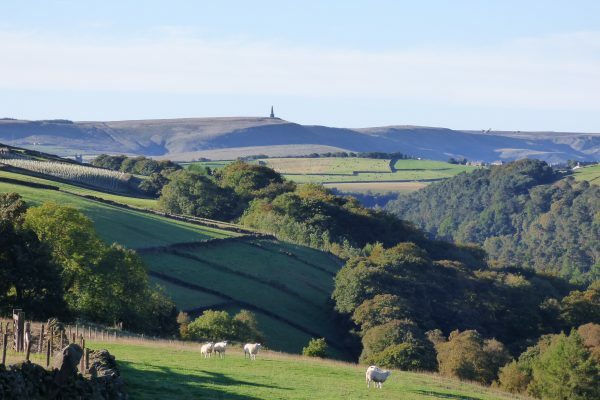 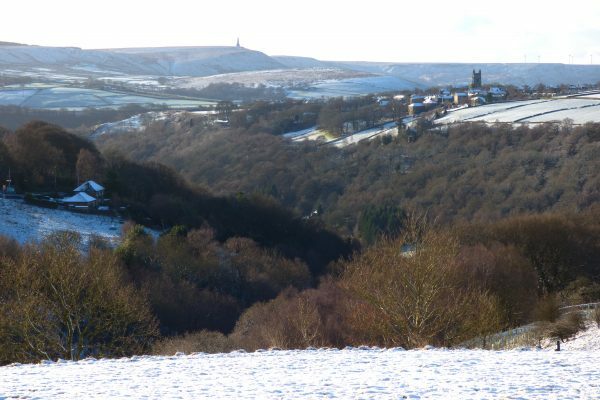 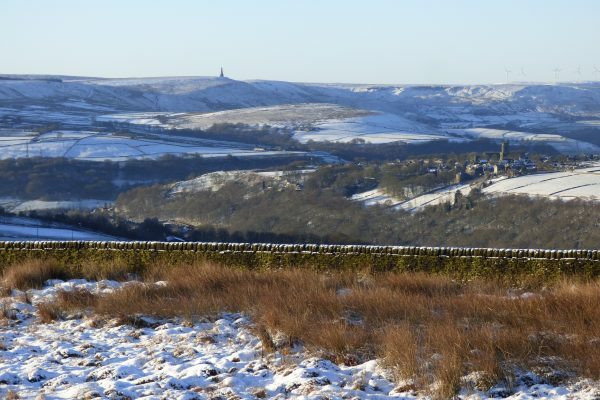 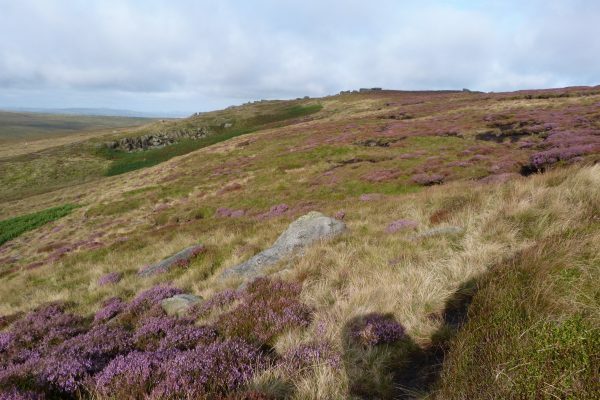 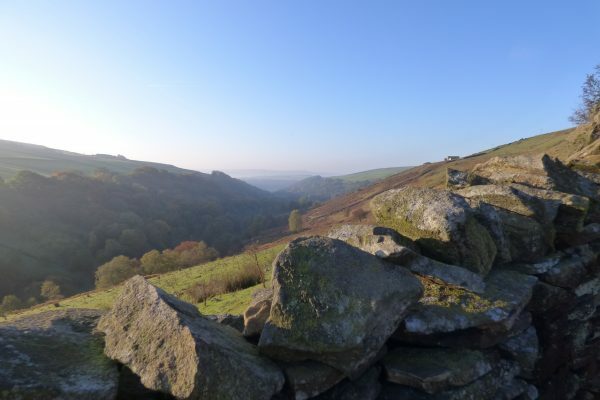 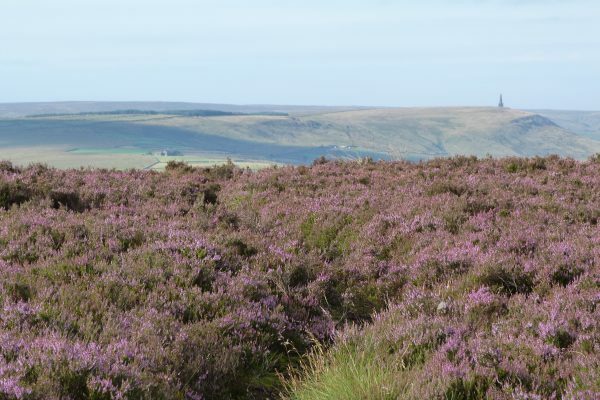 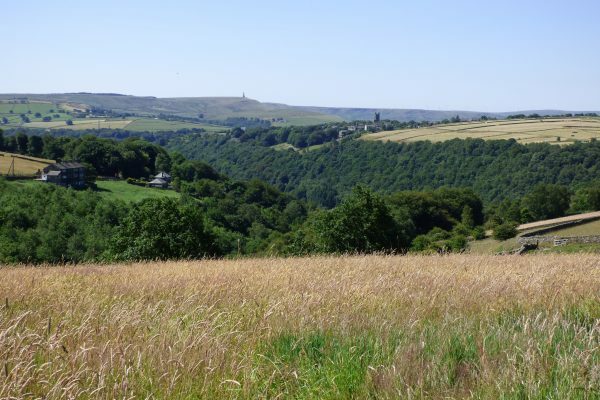 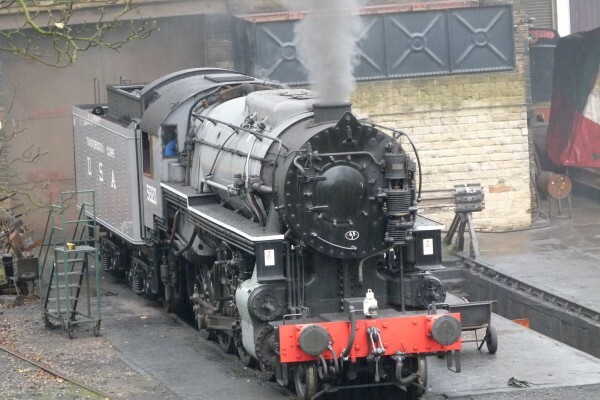 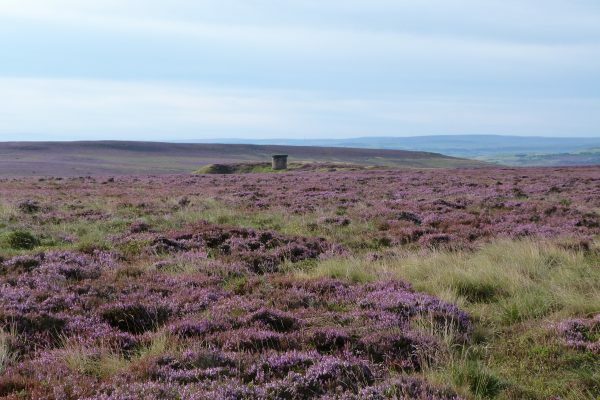 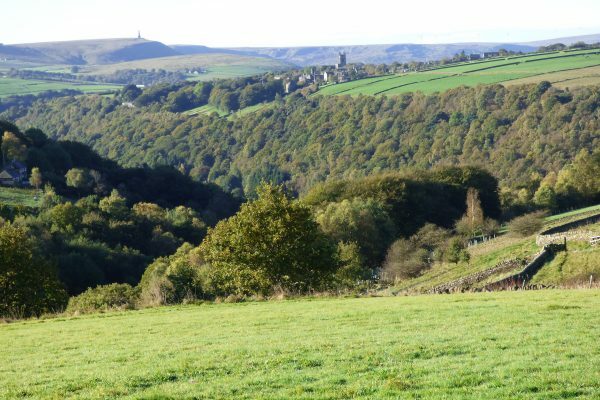 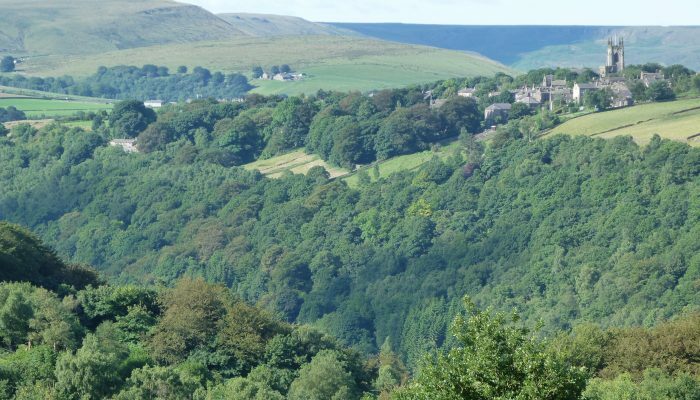 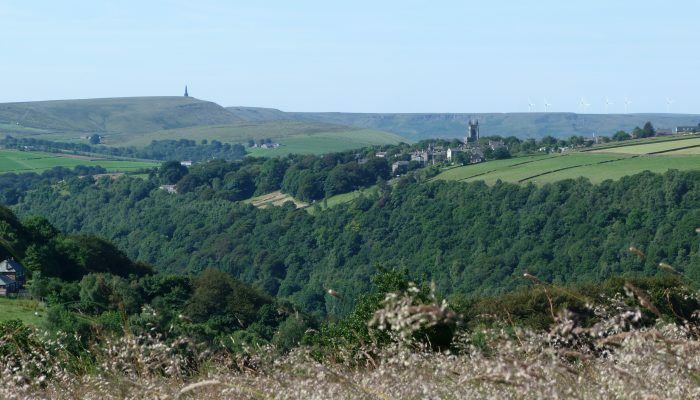 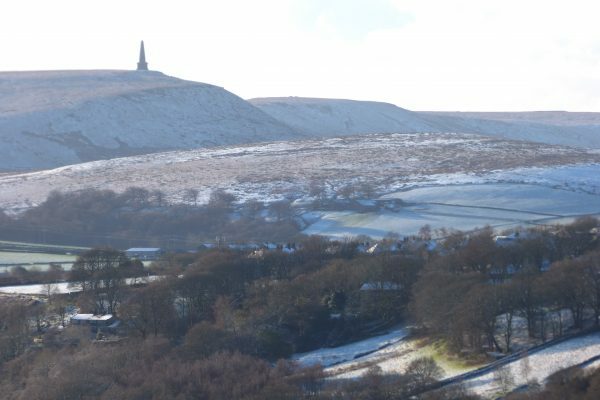 You can hike to Stoodley Pike or Top Withins (Wuthering Heights) or explore the intriguing hidden valleys of Crimsworth Dean and Luddenden Dean. 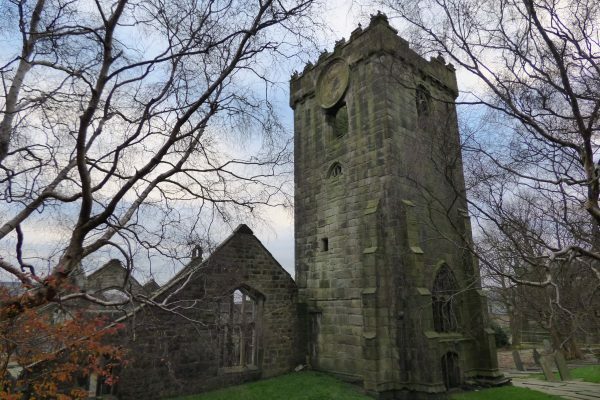 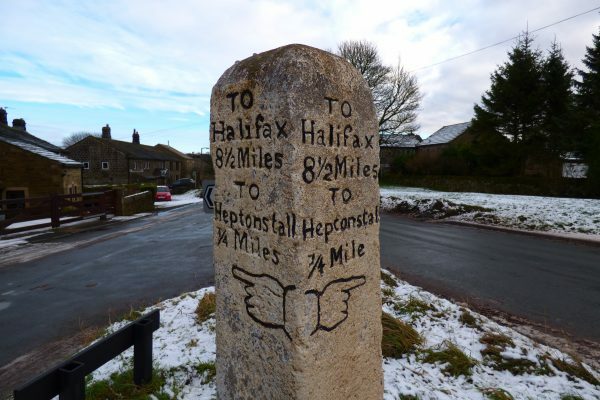 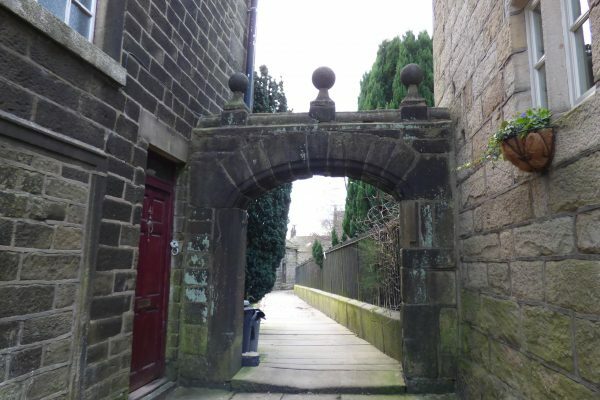 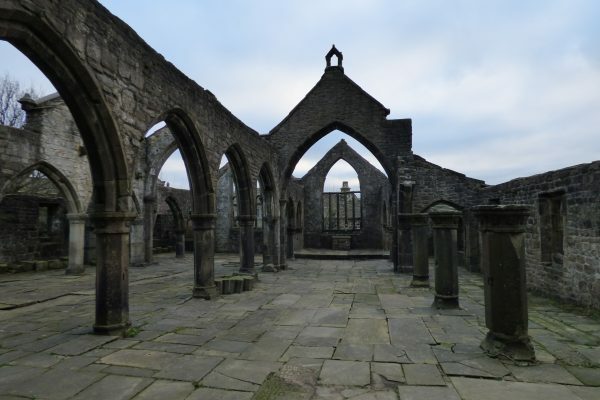 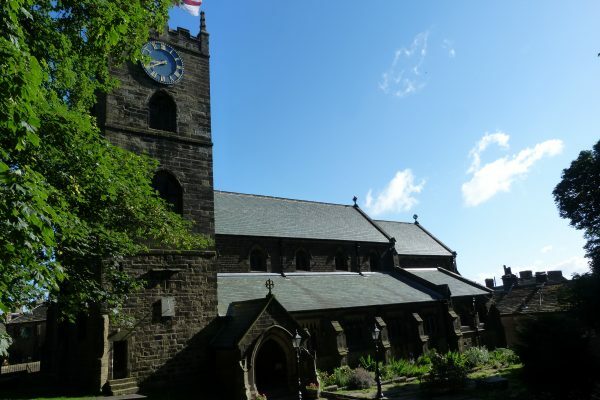 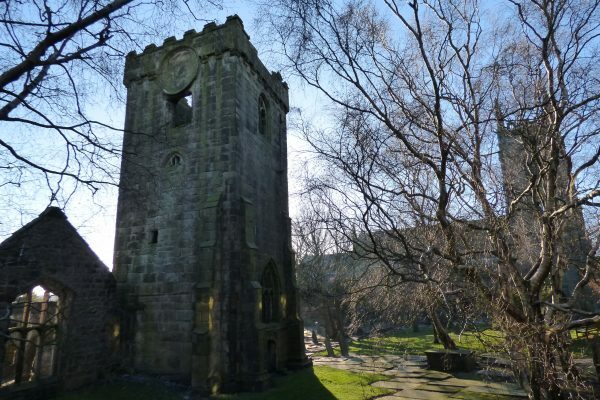 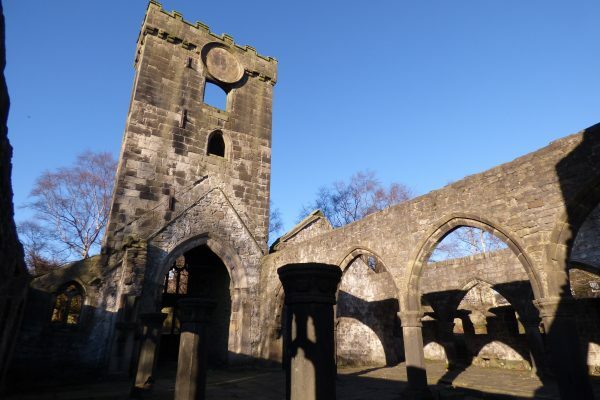 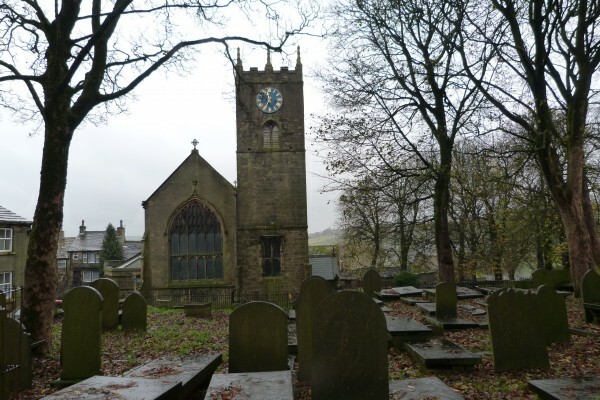 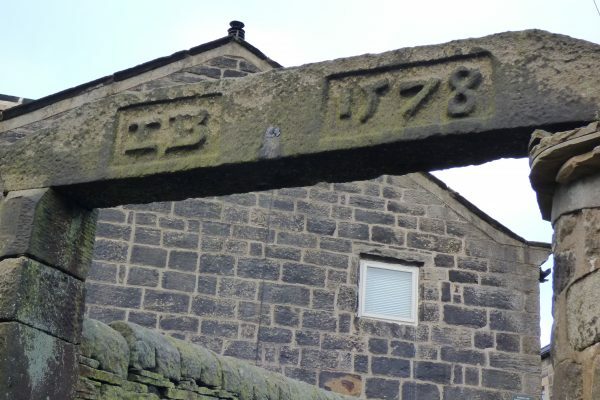 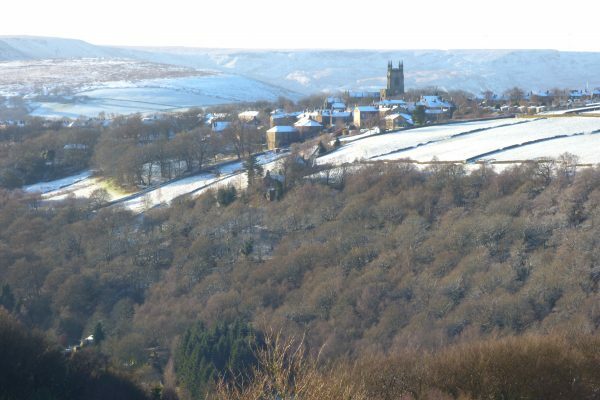 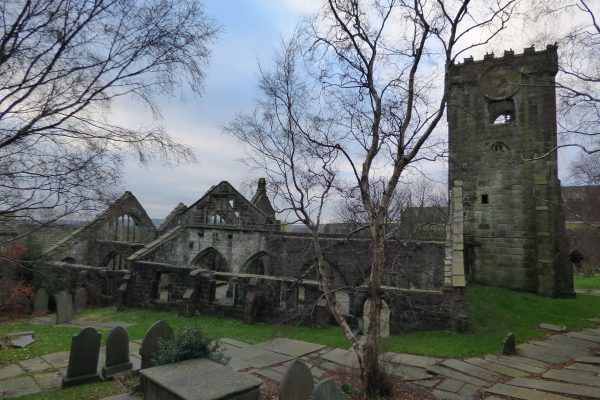 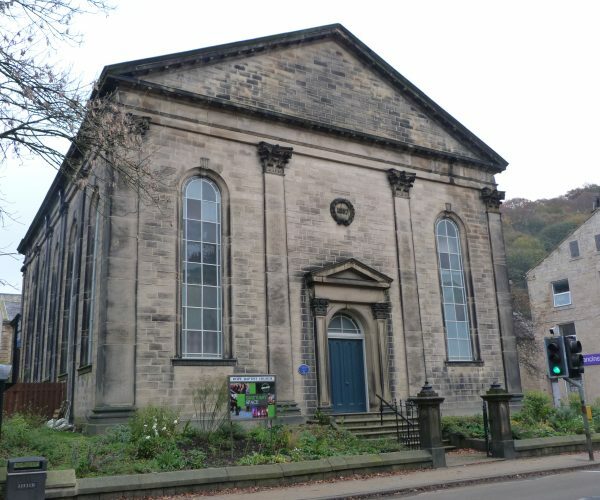 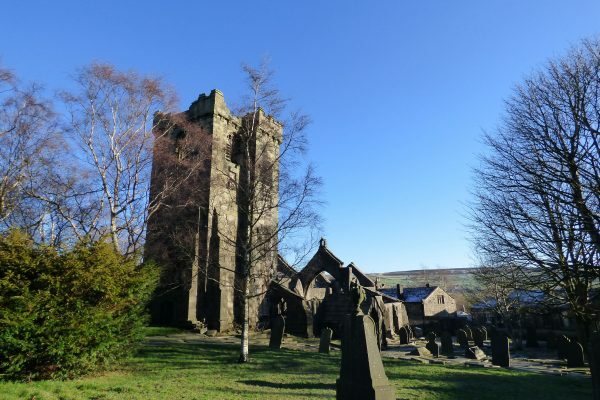 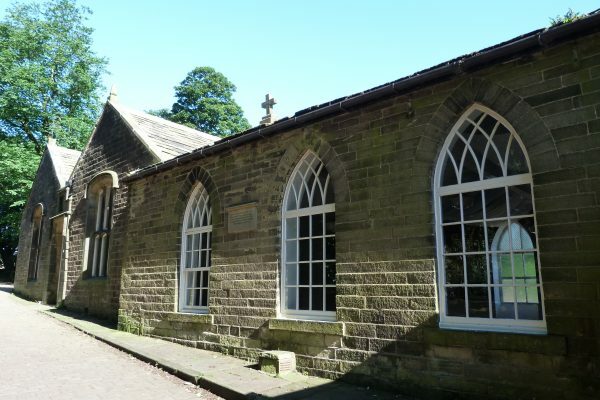 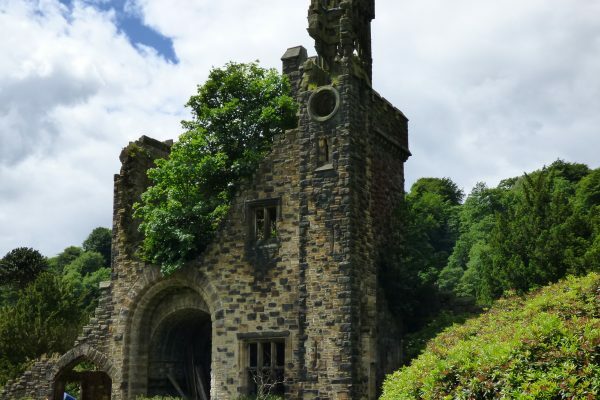 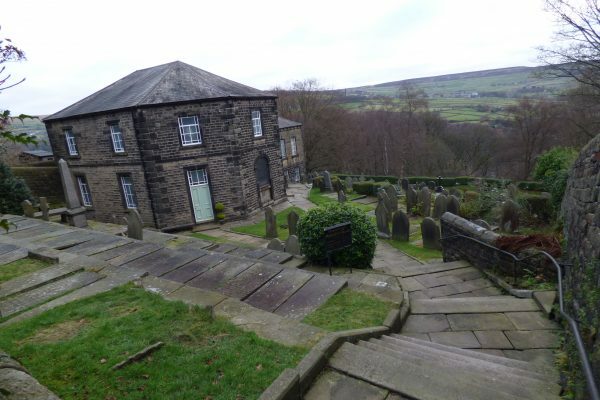 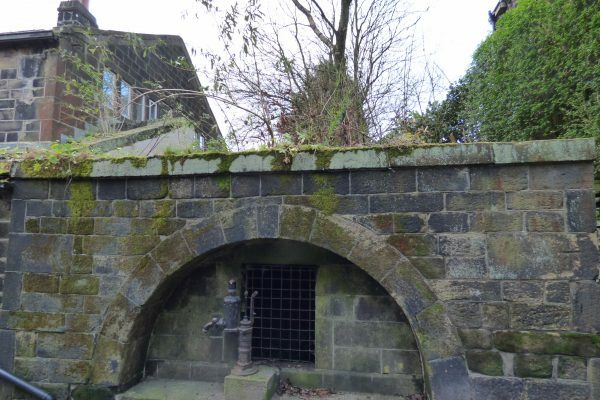 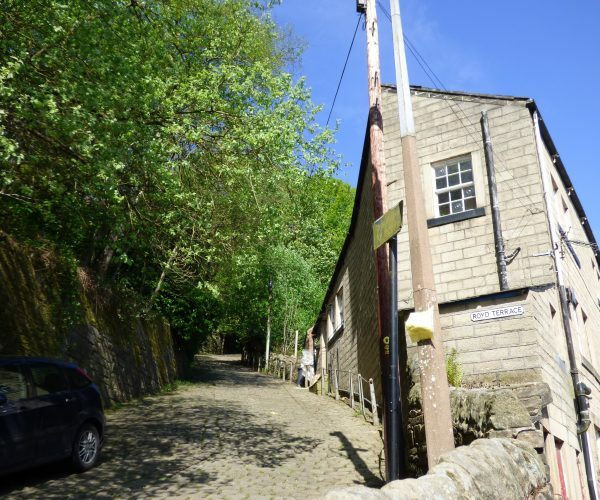 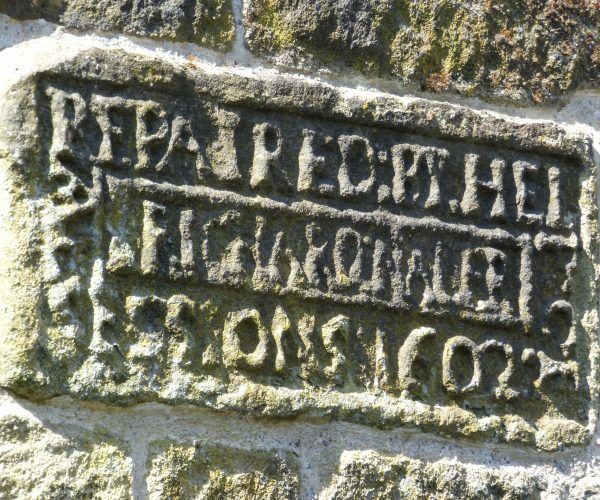 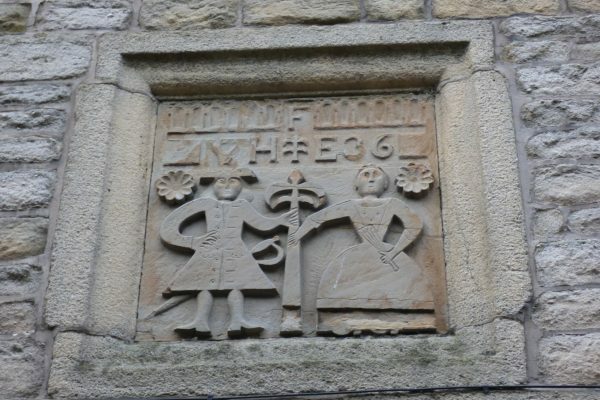 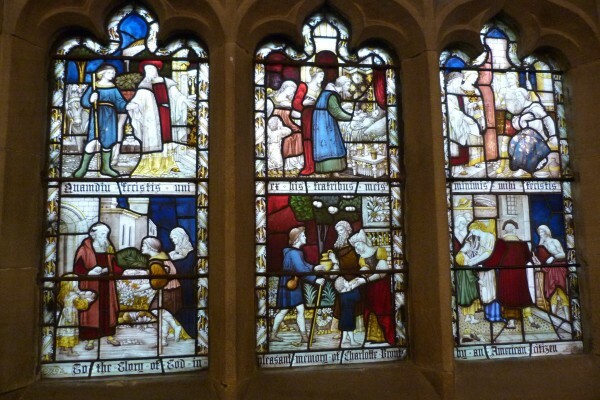 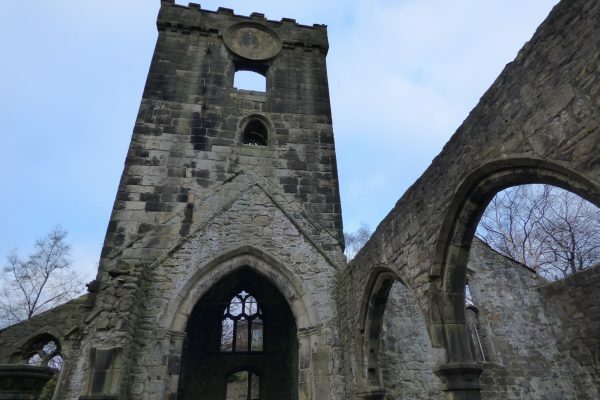 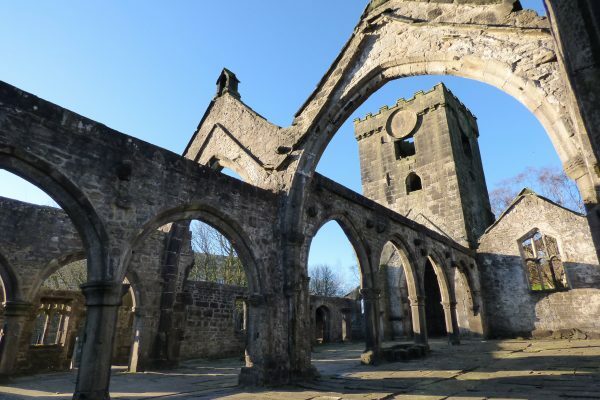 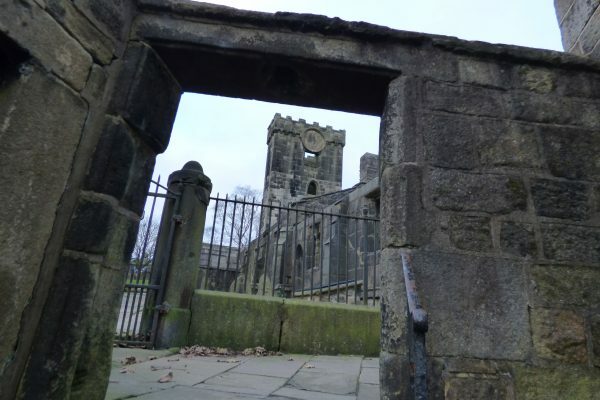 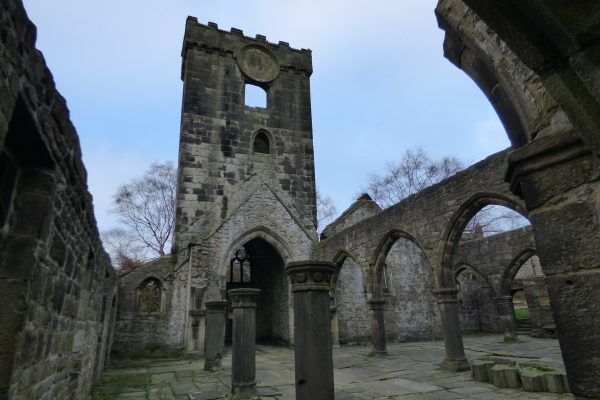 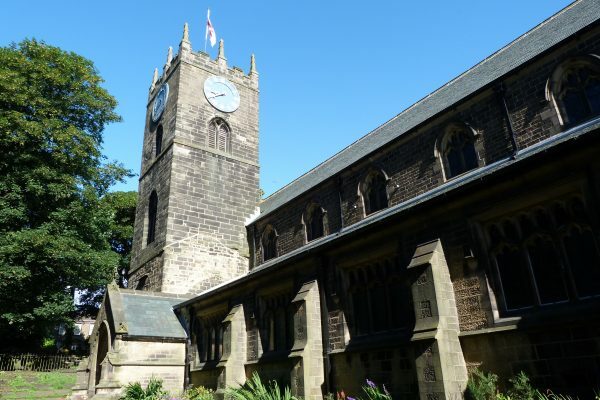 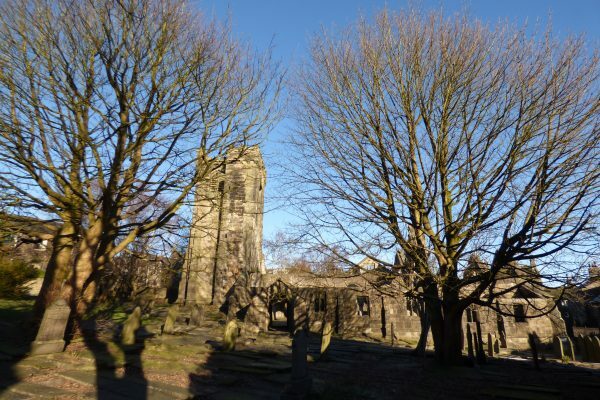 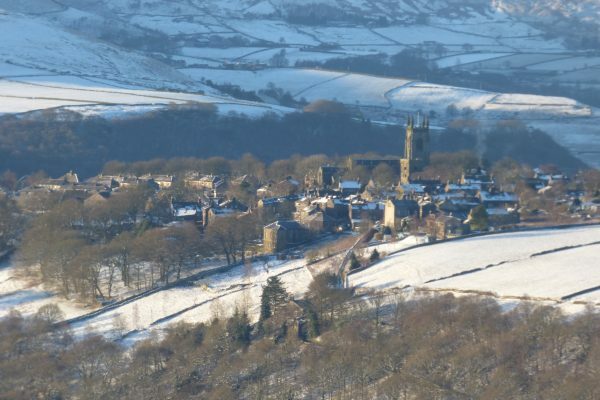 The nearby village of Heptonstall with its ruined 13th century church, handloom weavers’ cottages and octagonal Methodist chapel is another fascinating place to explore. 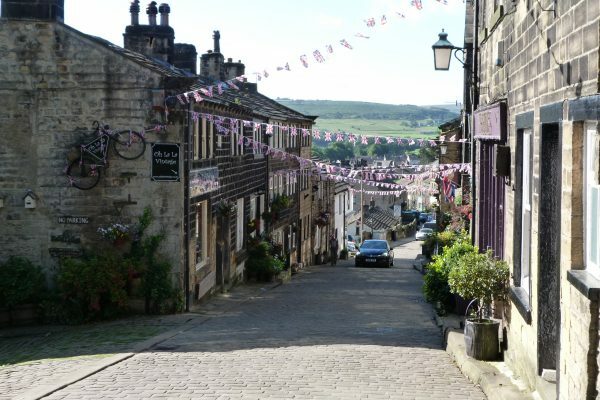 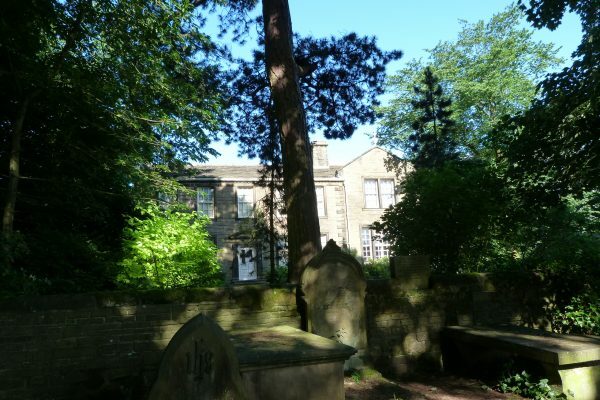 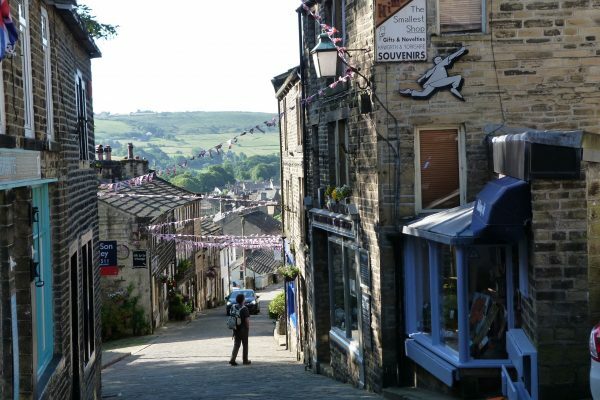 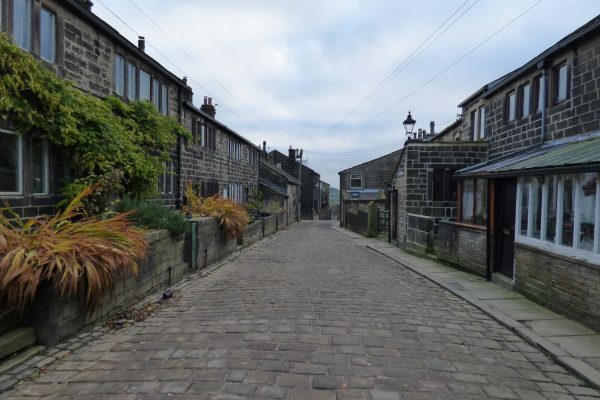 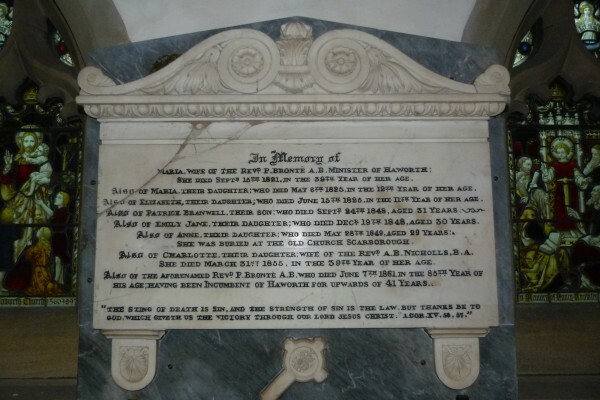 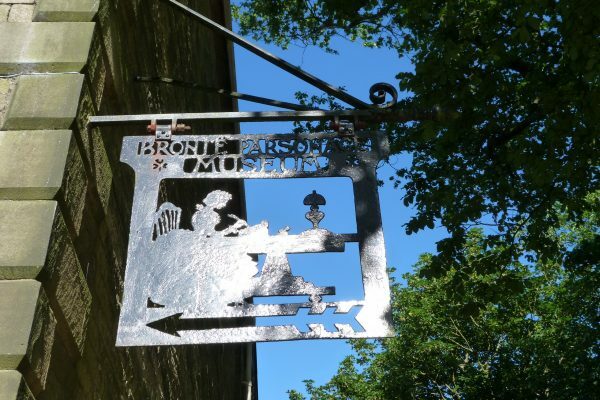 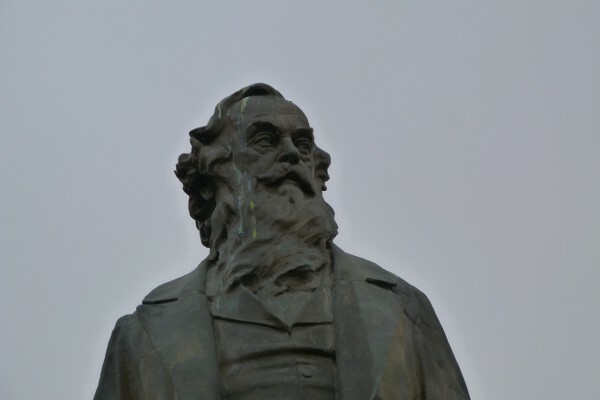 Haworth, where the Brontë sisters wrote their famous novels, is a short scenic drive or hike over the moor. 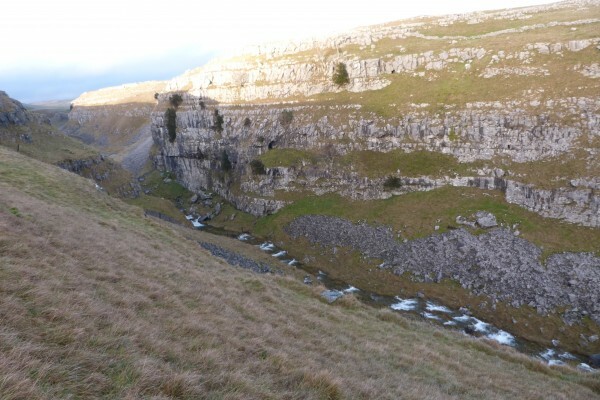 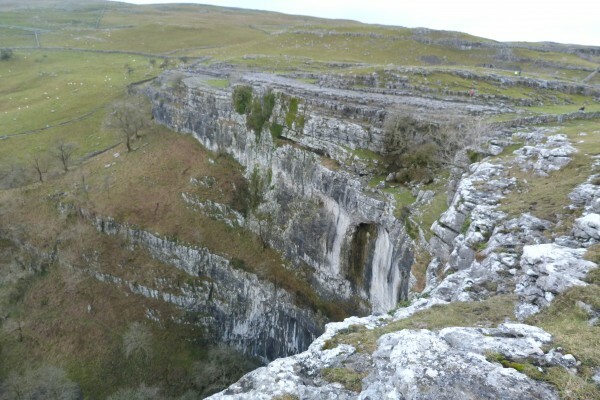 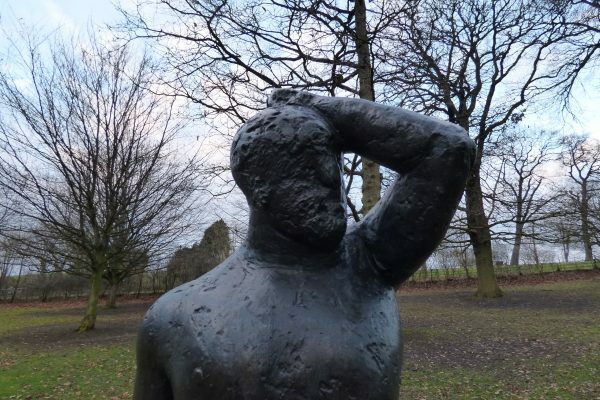 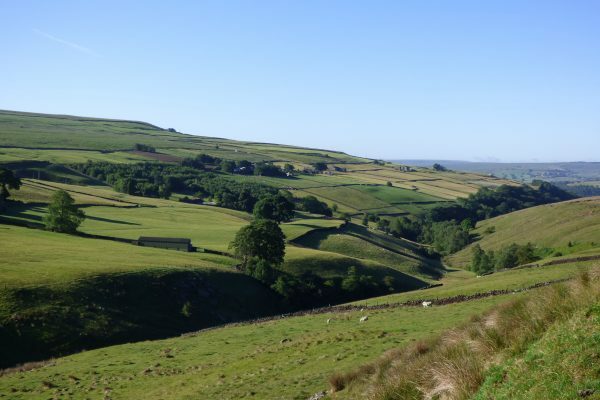 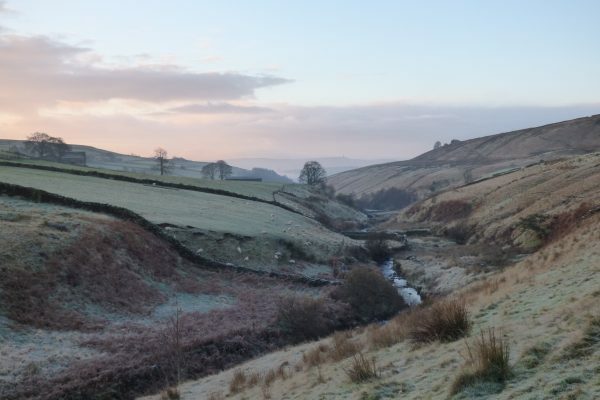 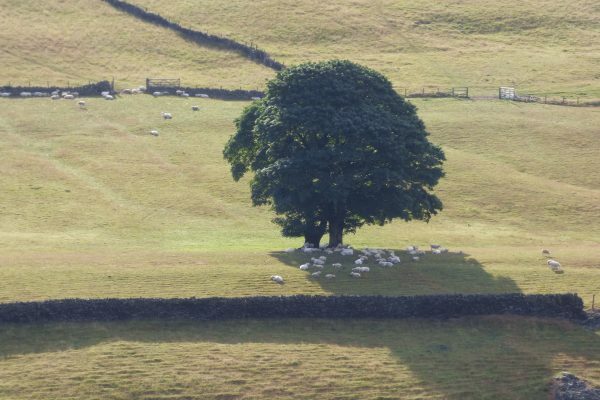 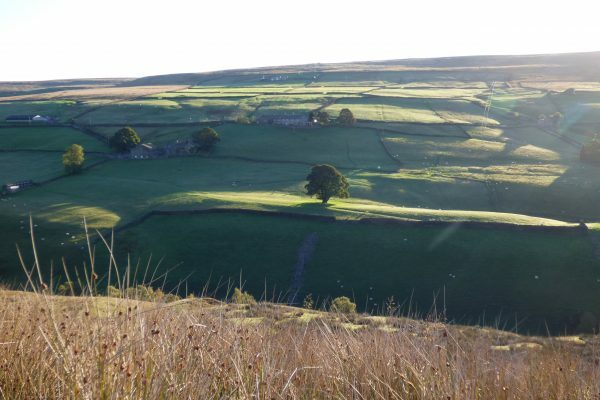 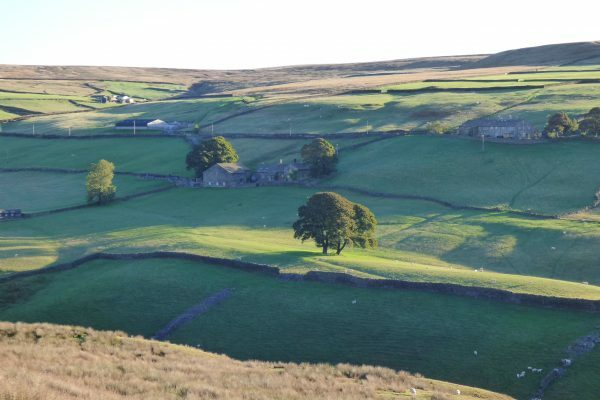 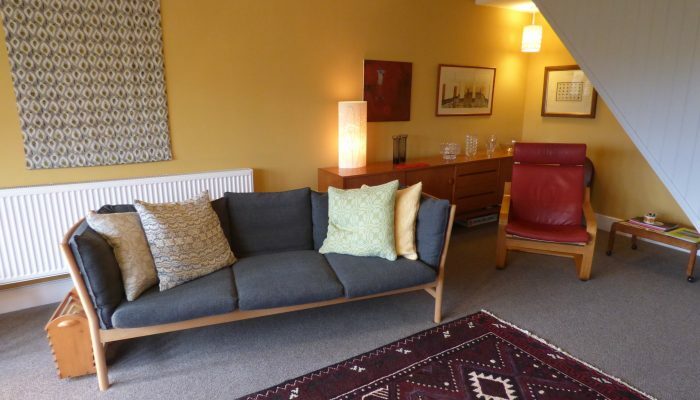 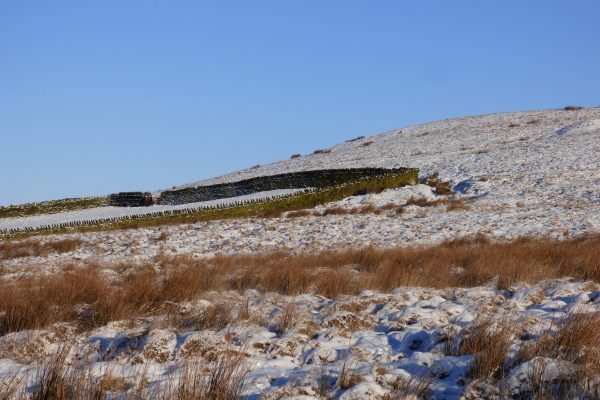 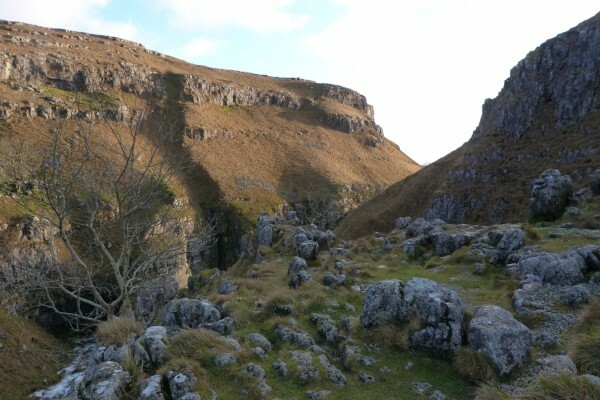 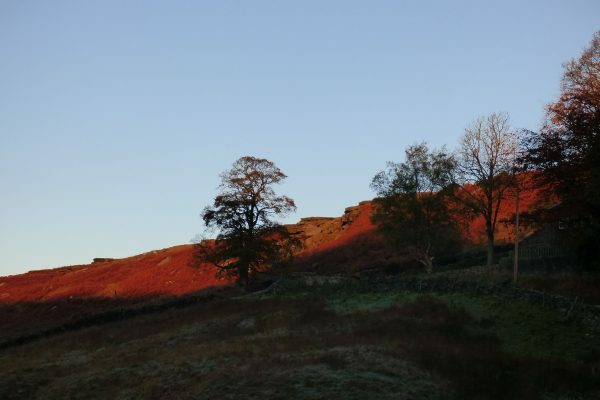 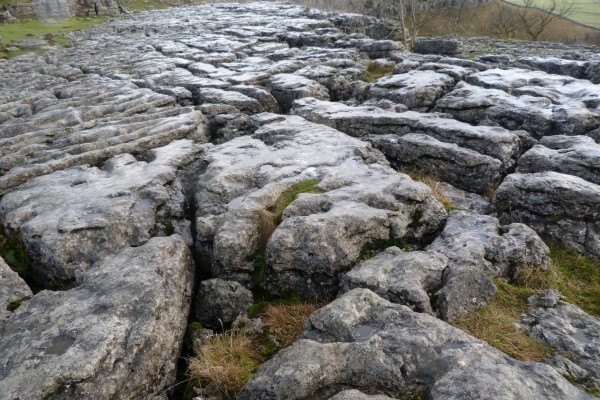 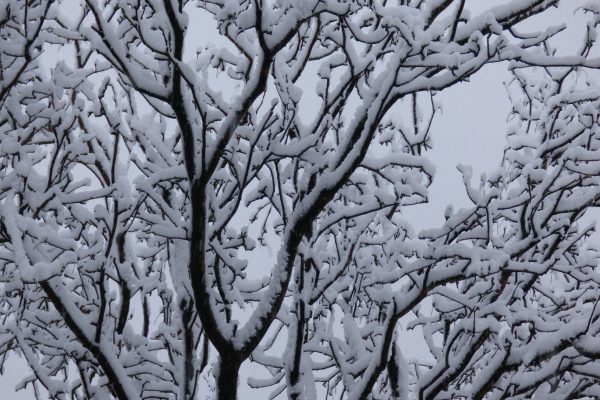 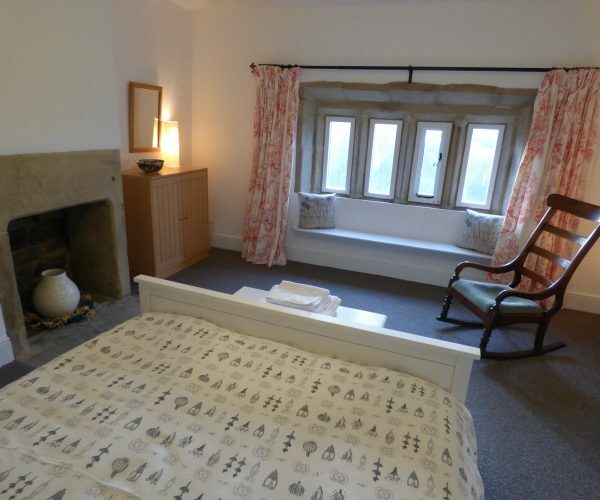 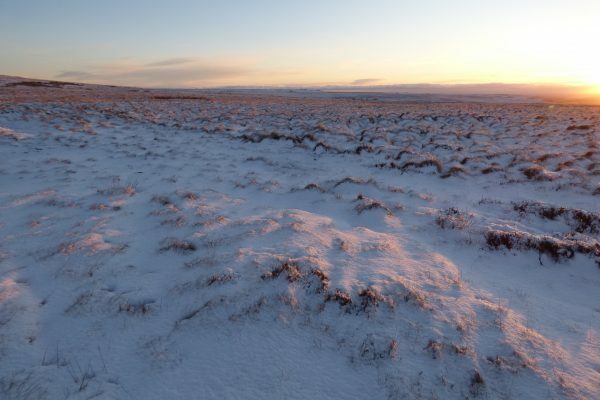 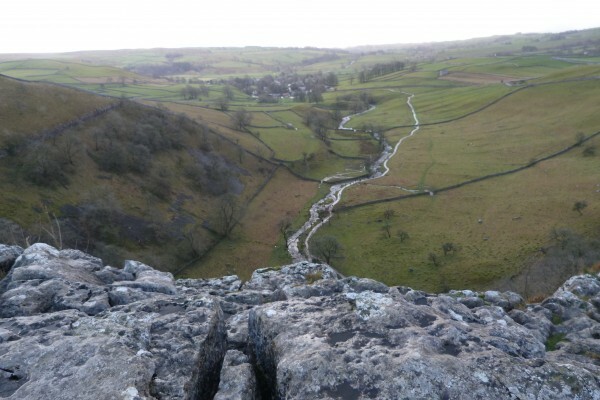 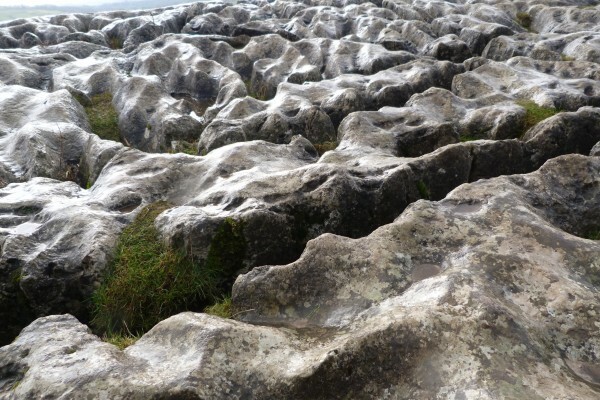 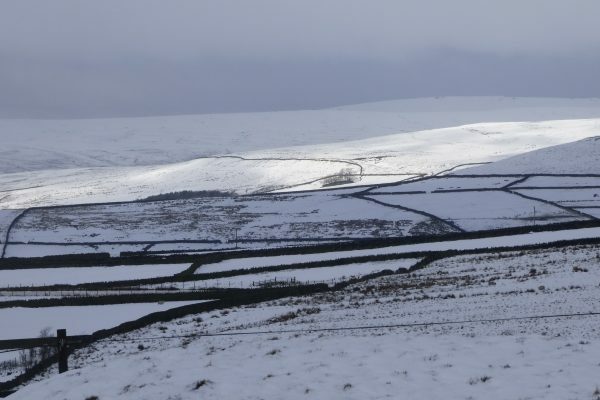 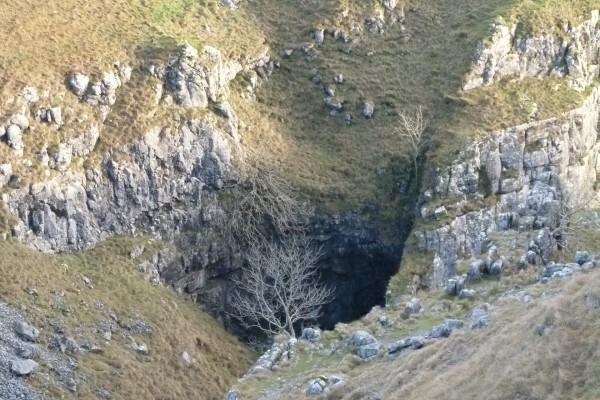 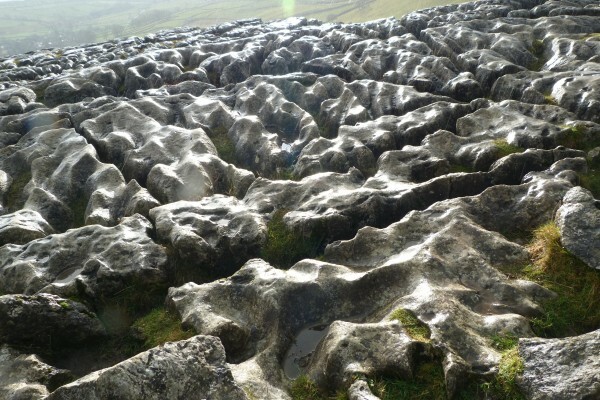 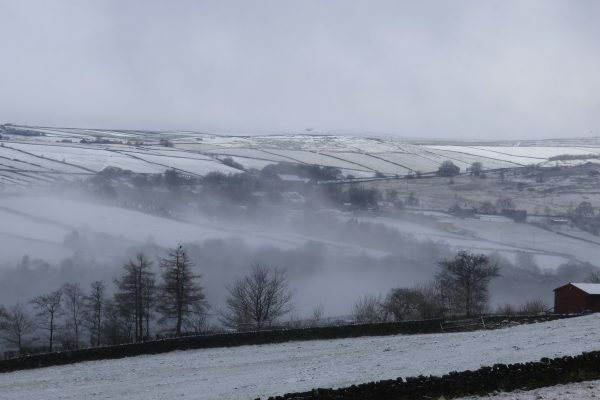 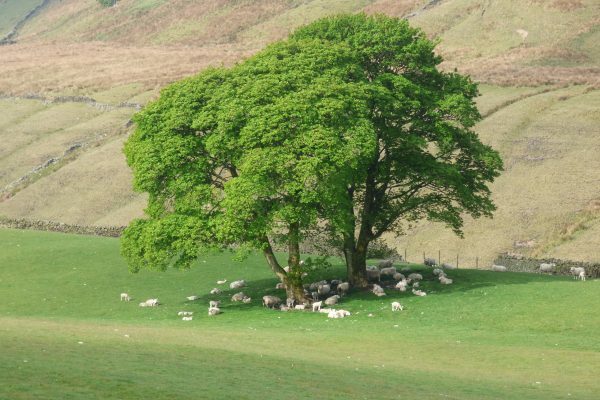 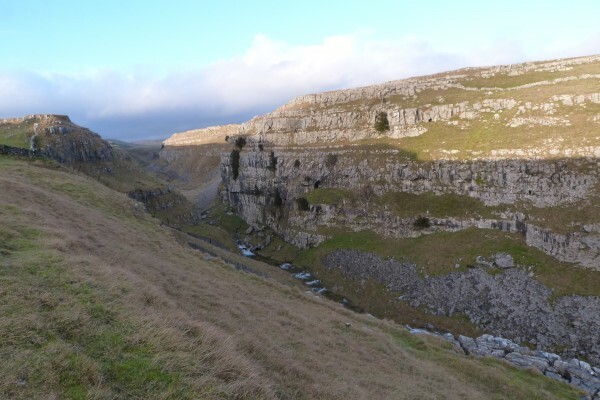 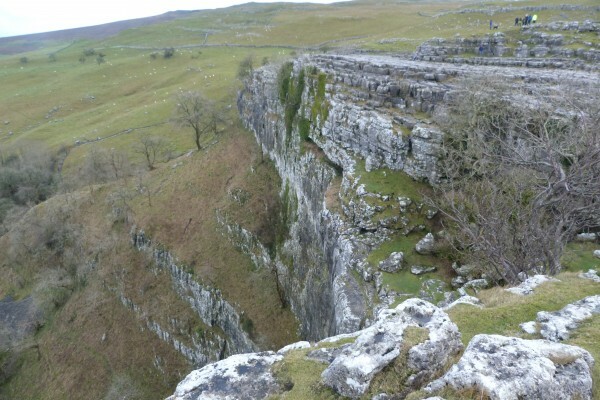 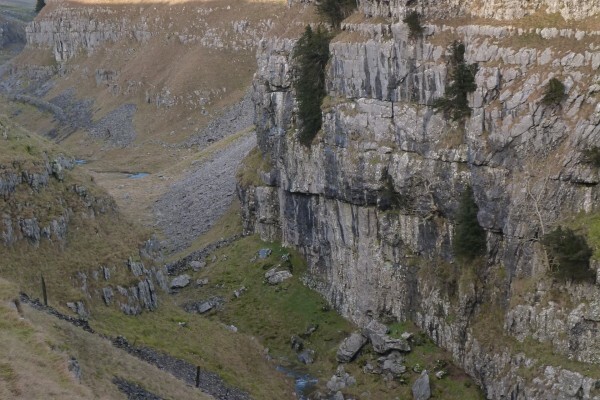 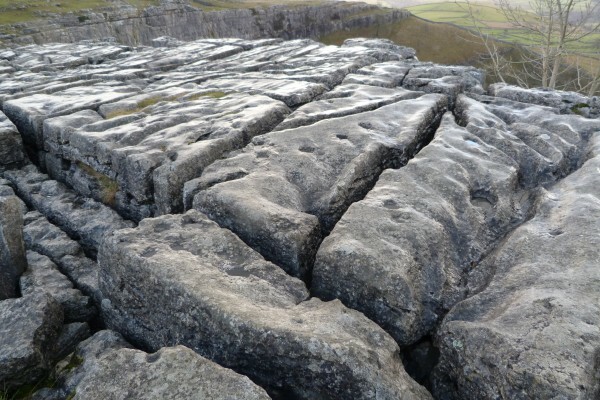 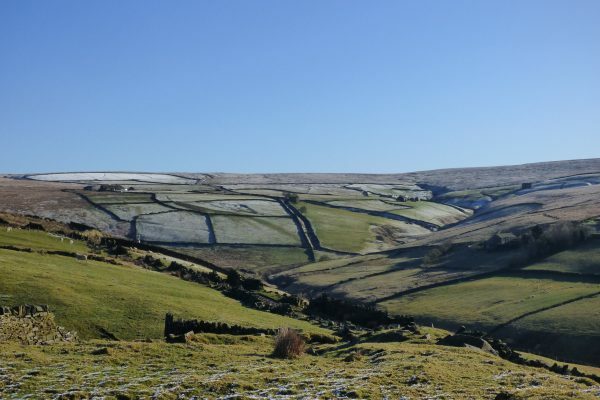 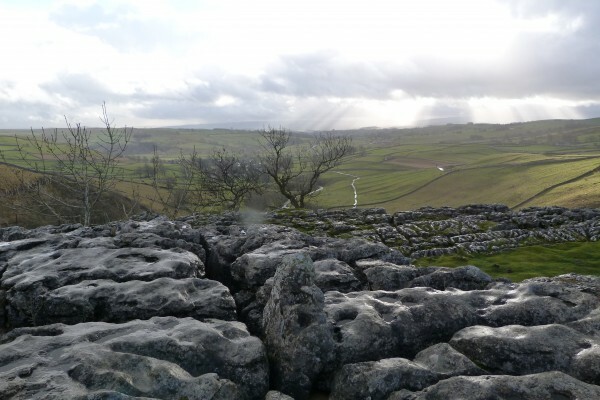 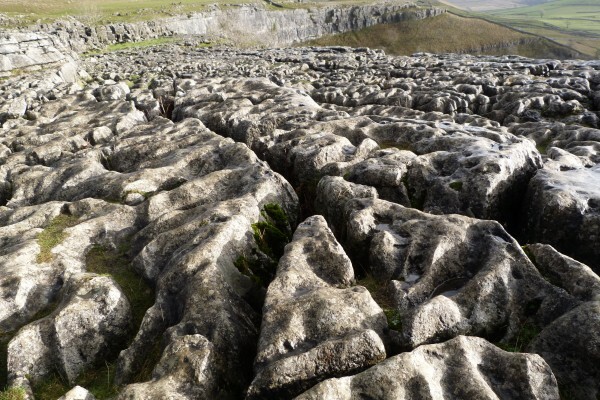 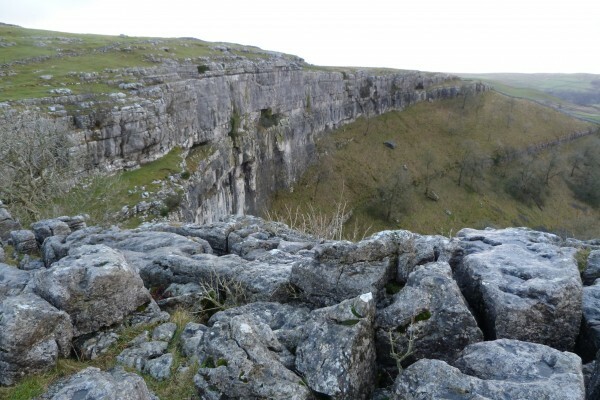 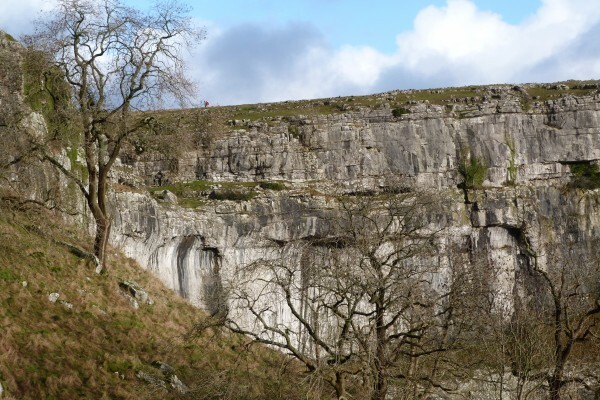 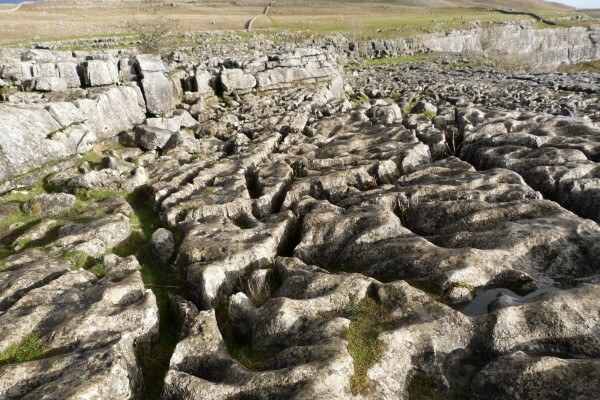 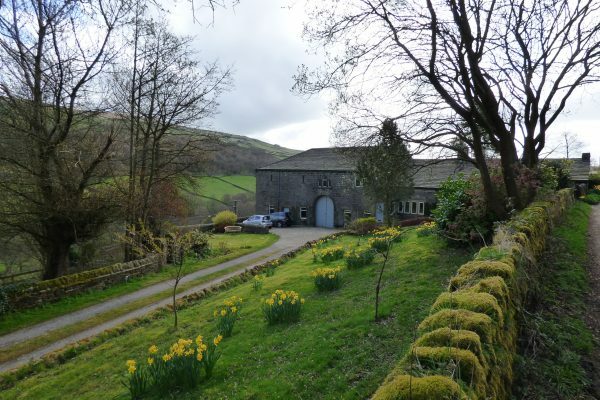 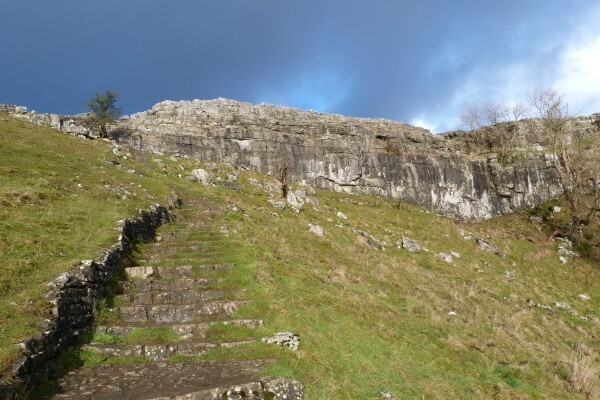 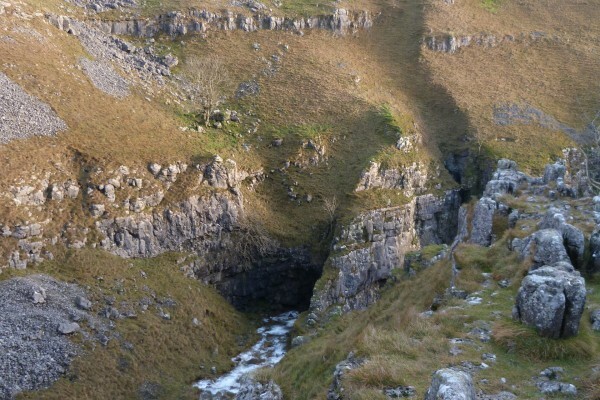 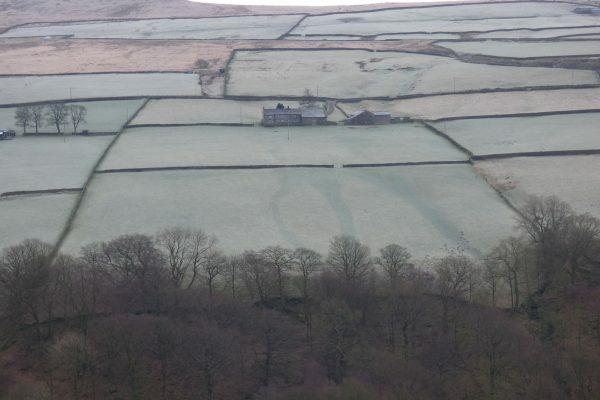 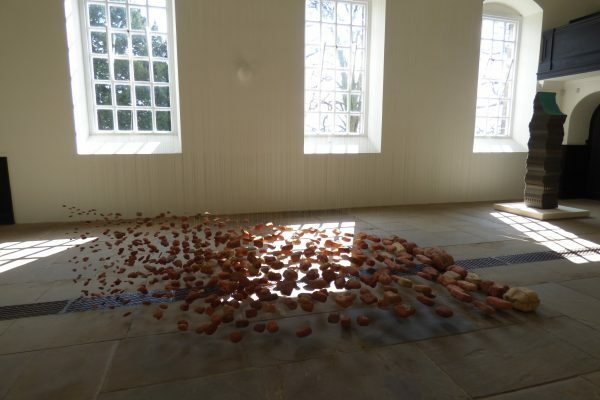 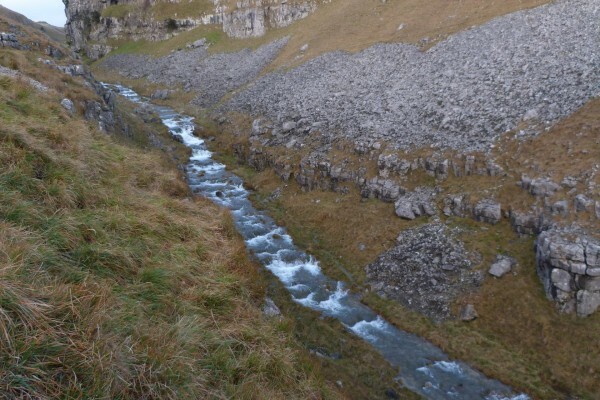 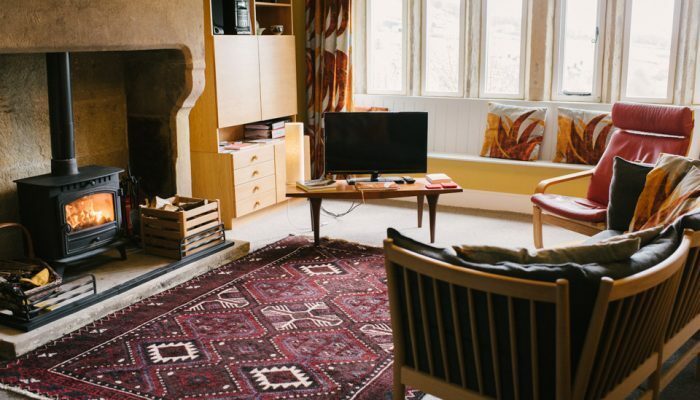 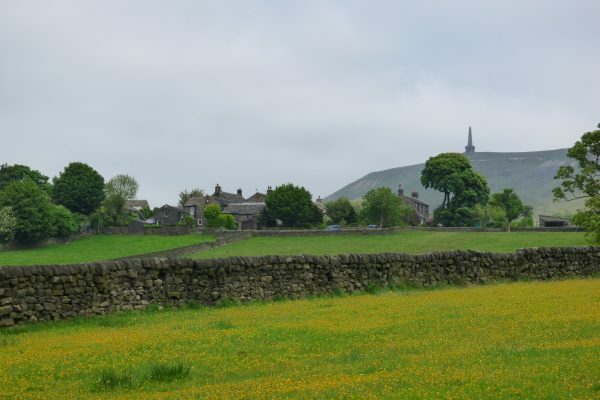 As well as being the perfect base for exploring Brontë Country, Elmet Farmhouse is within easy reach of the Yorkshire Dales National Park, including Wharfedale, Bolton Abbey, Gordale Scar and Malham Cove. 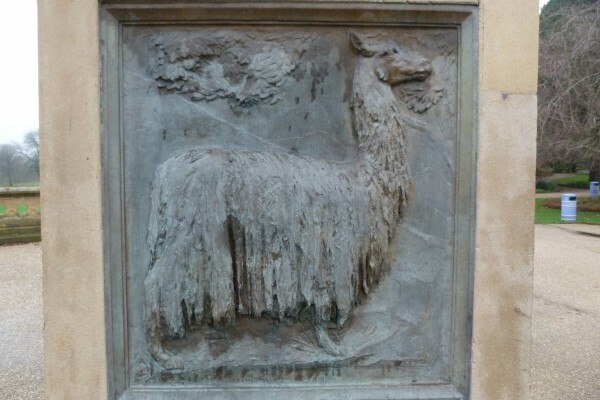 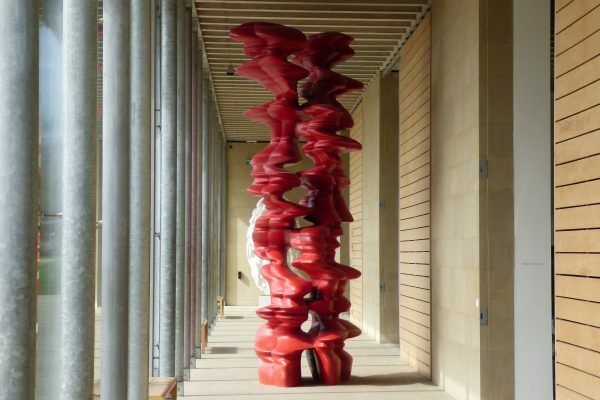 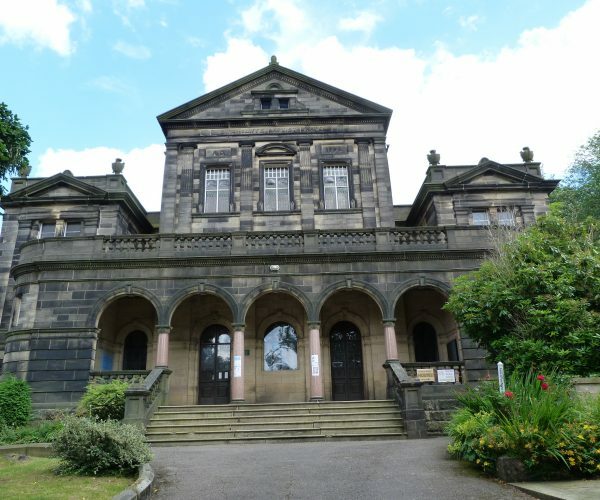 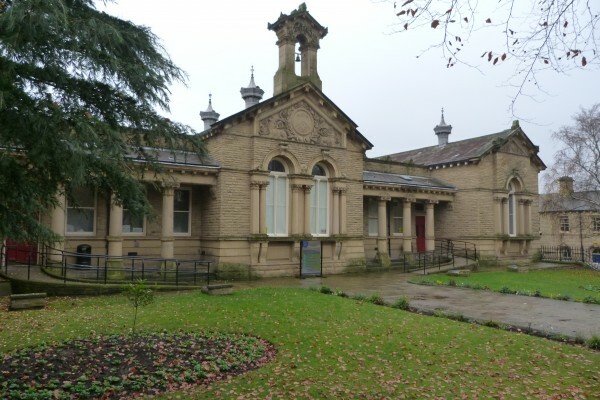 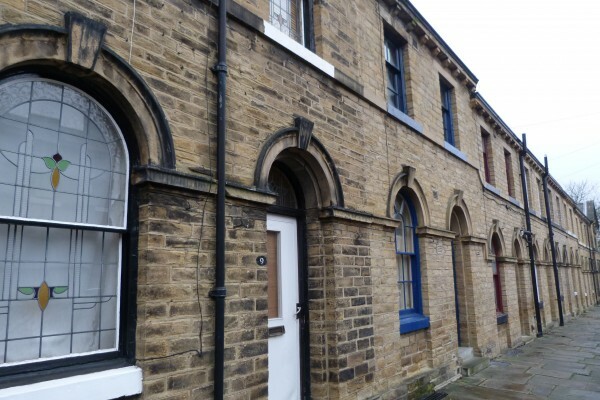 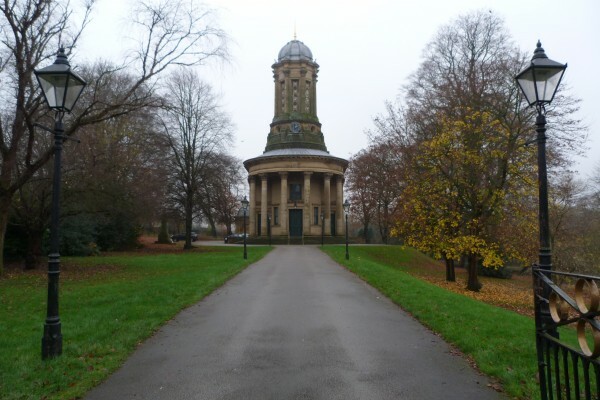 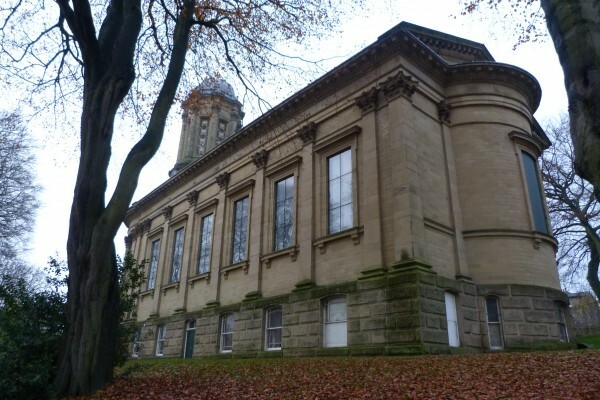 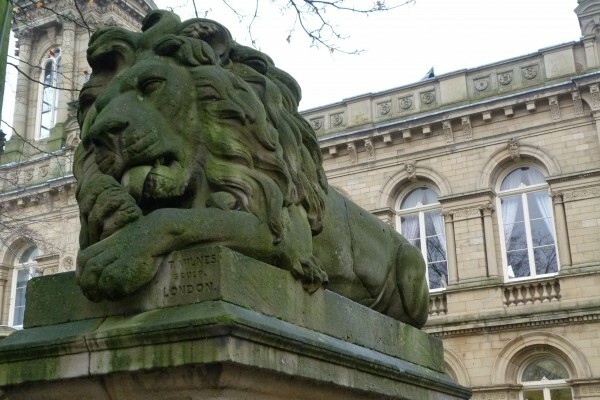 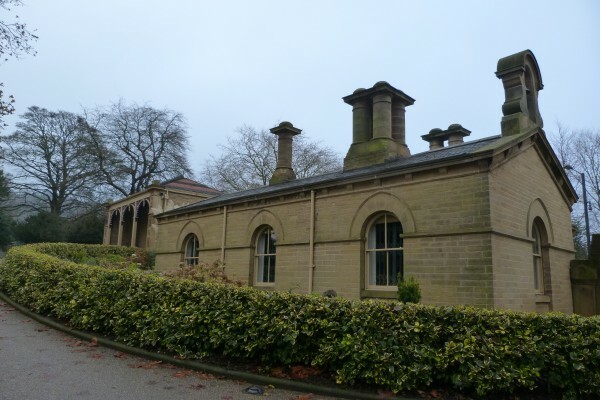 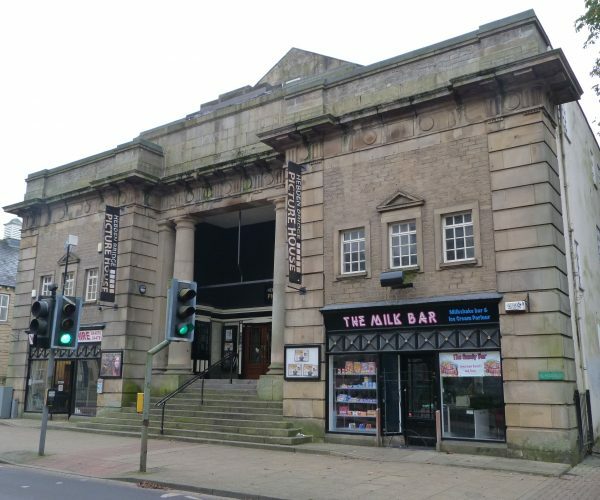 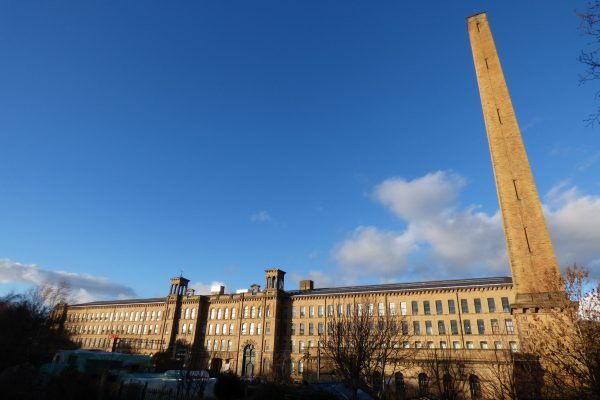 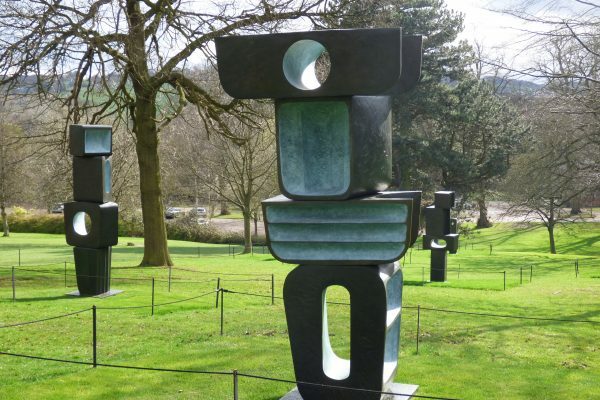 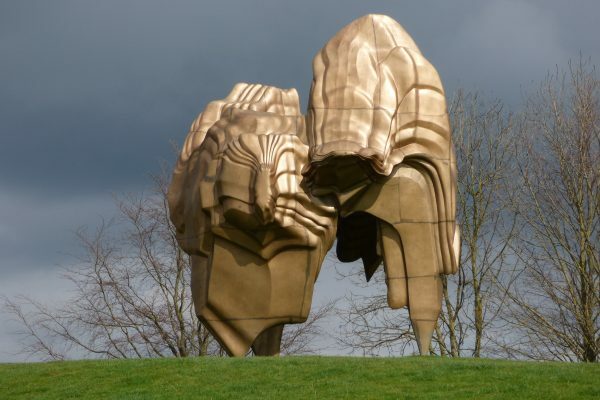 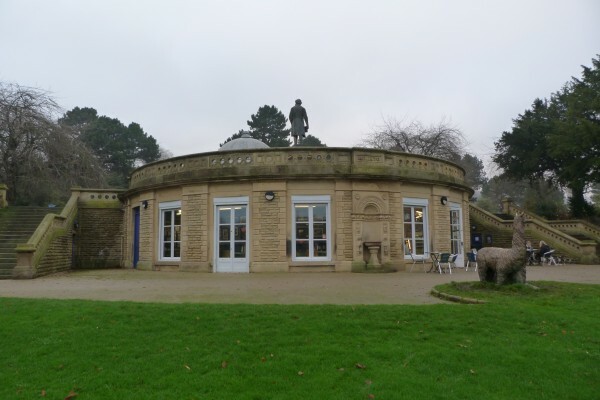 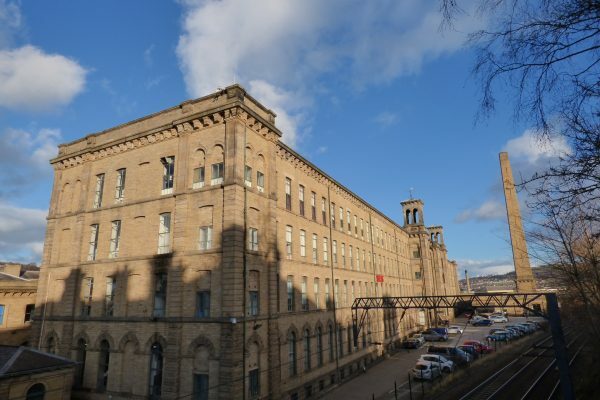 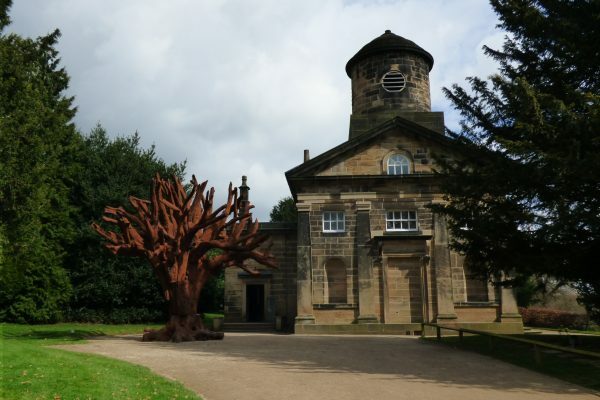 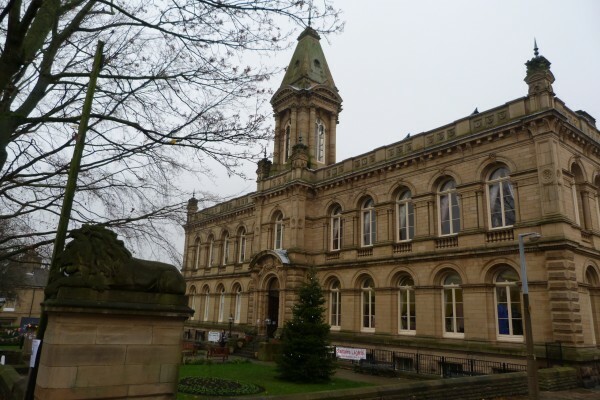 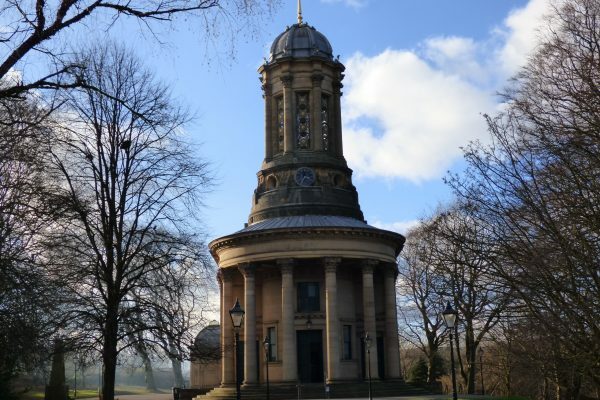 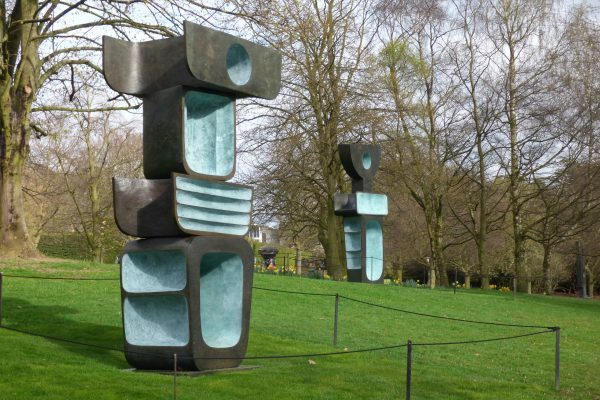 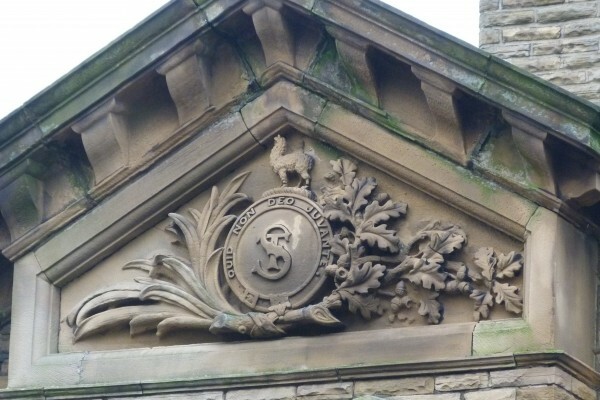 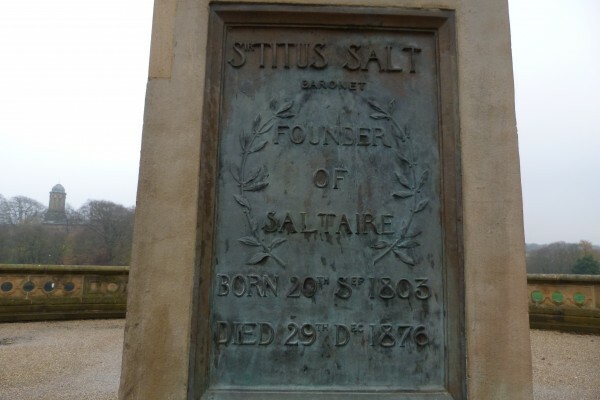 The UNESCO World Heritage Site of Saltaire, the magnificent newly-restored Piece Hall in Halifax, the elegant spa towns of Ilkley and Harrogate, the award-winning Hepworth Museum and Yorkshire Sculpture Park and the vibrant cities of Leeds and York are all within range so there are lots of interesting things to do.